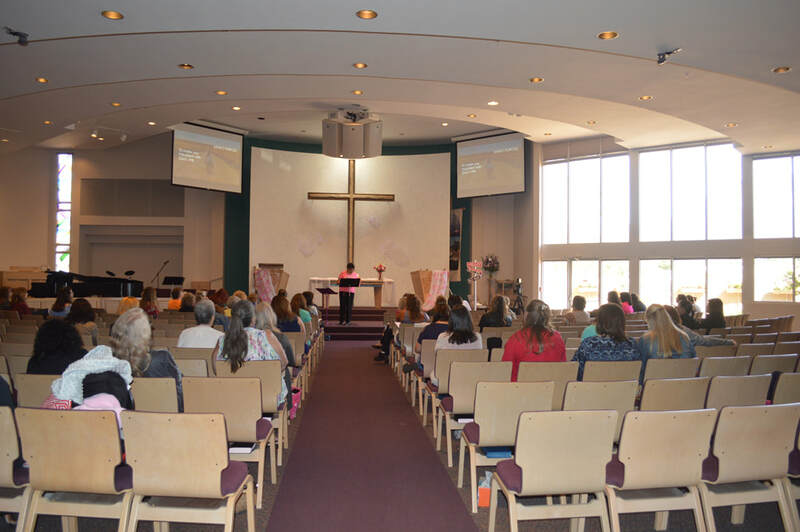 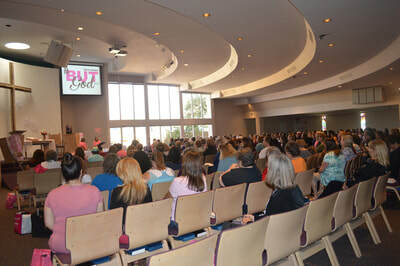 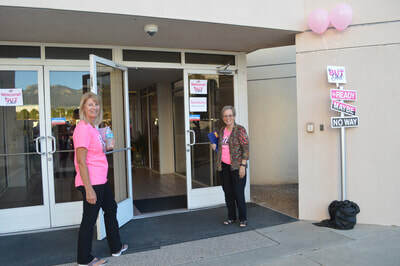 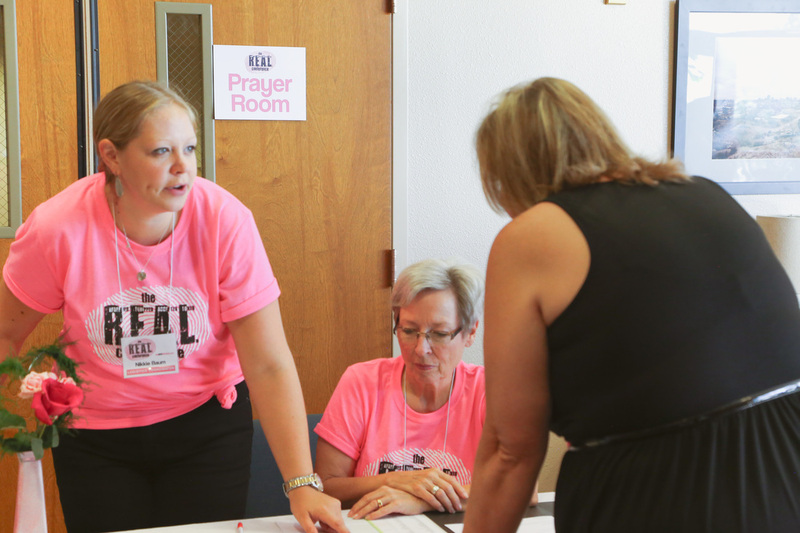 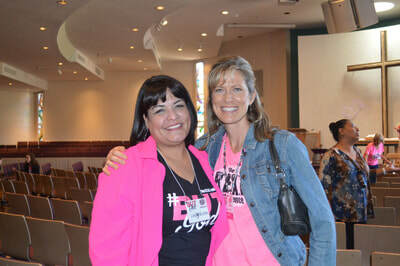 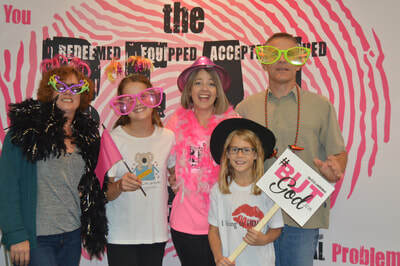 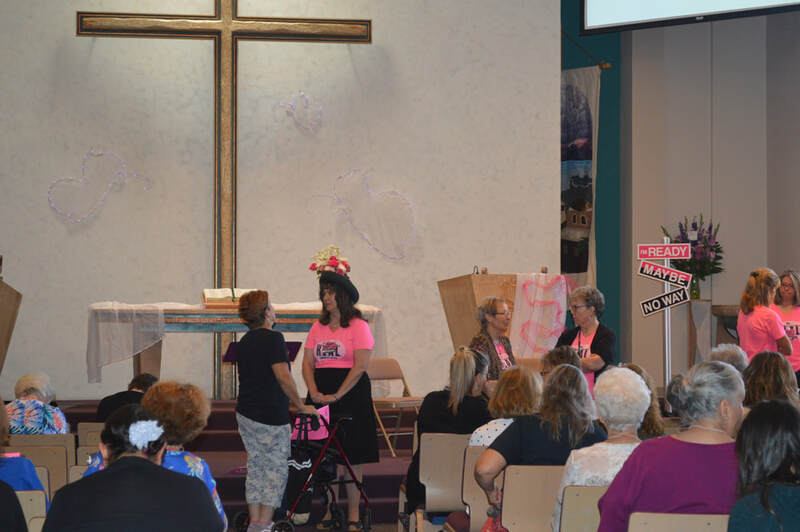 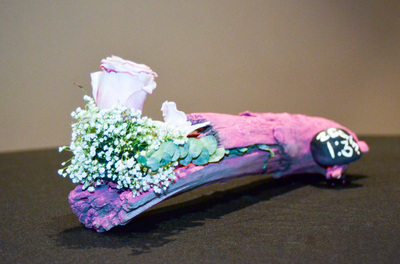 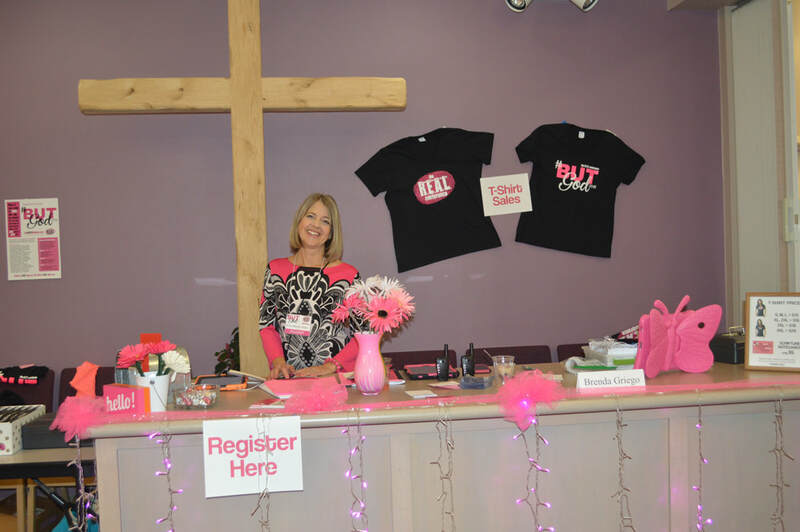 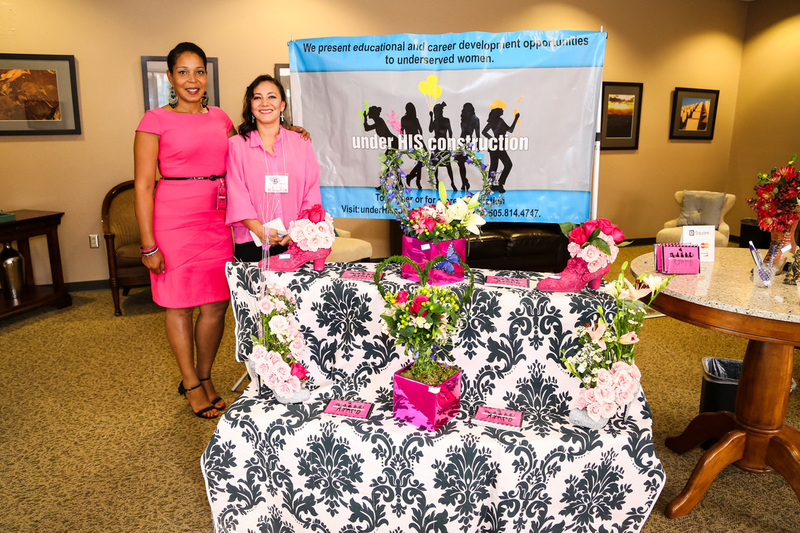 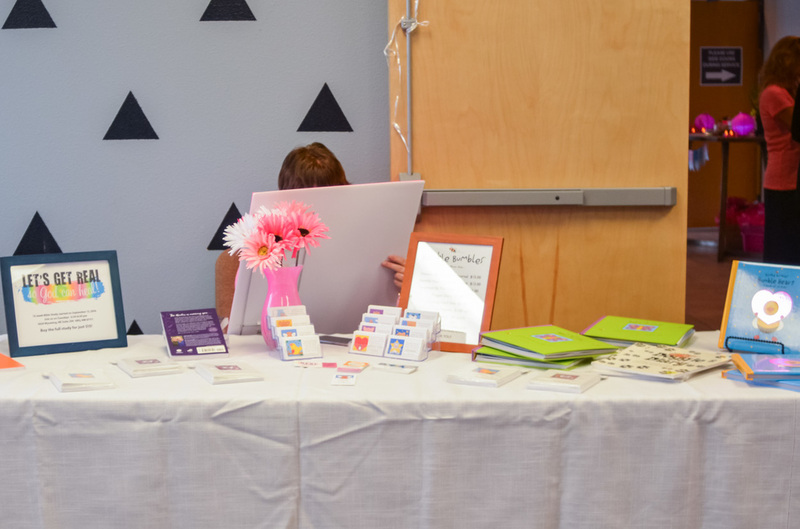 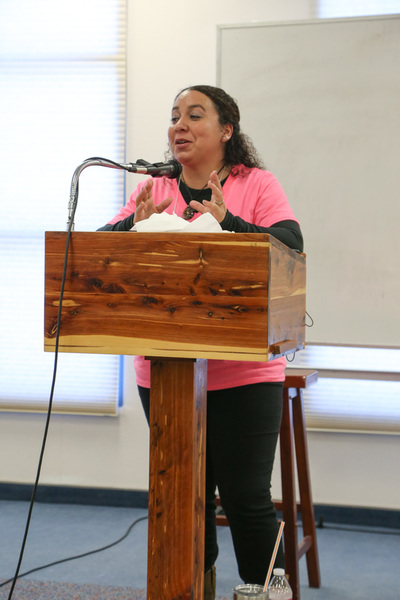 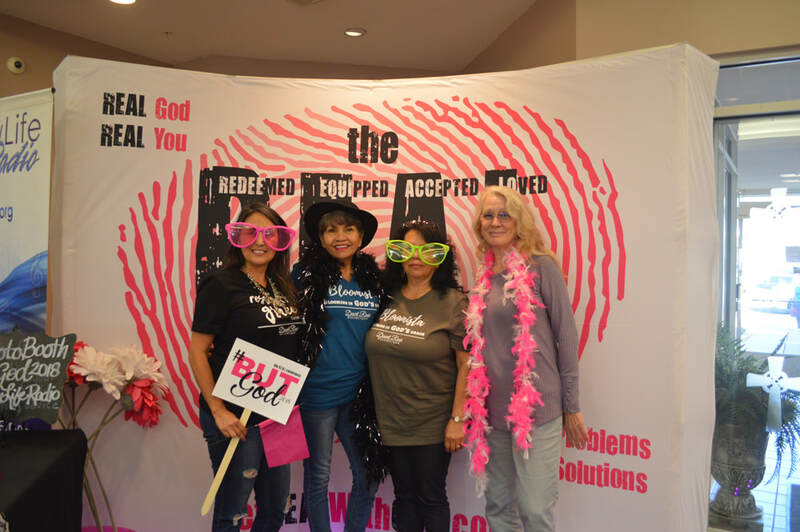 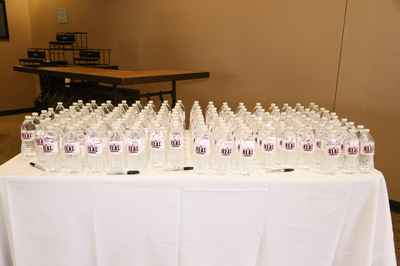 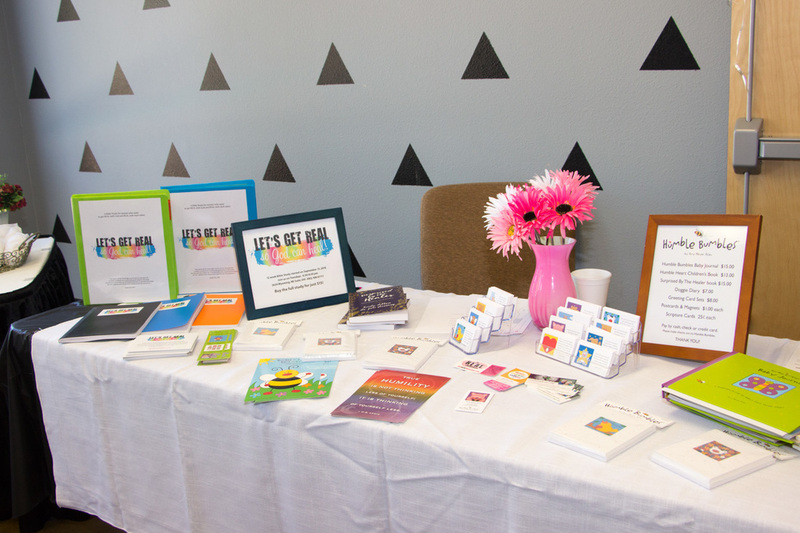 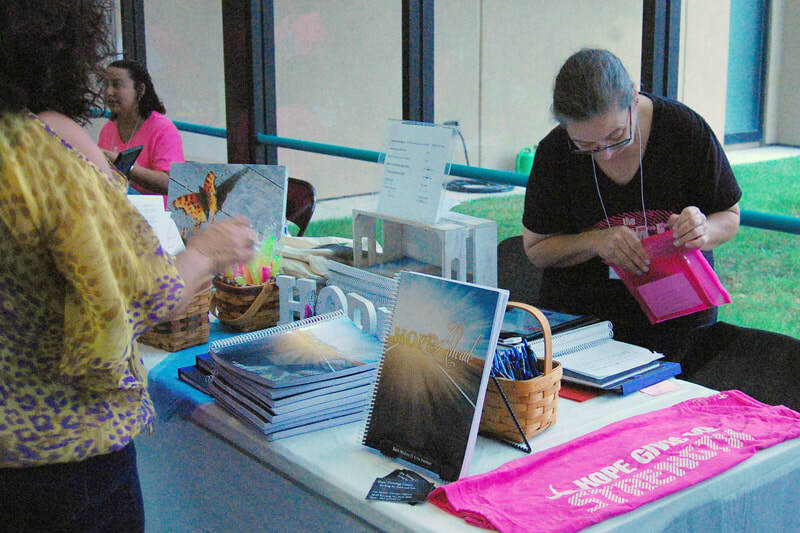 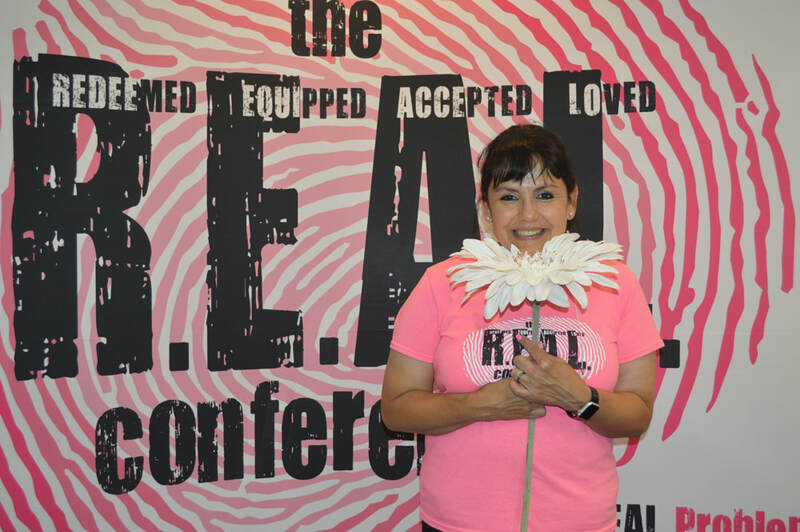 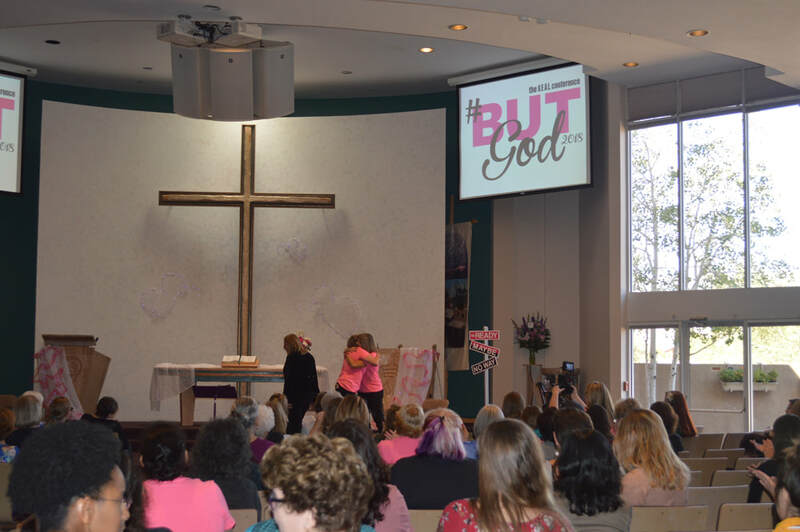 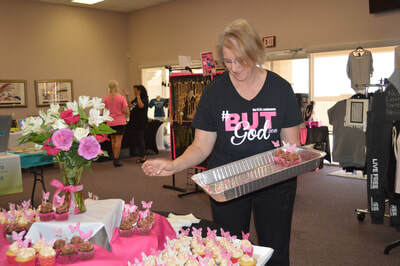 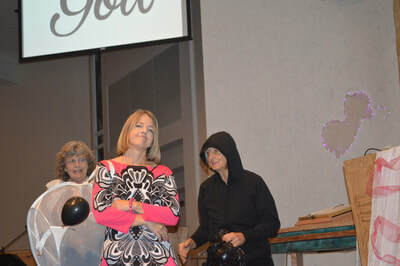 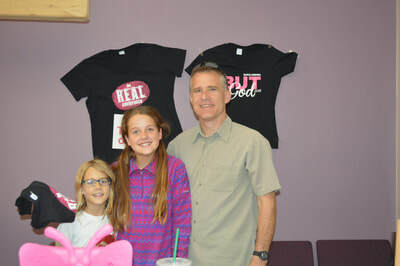 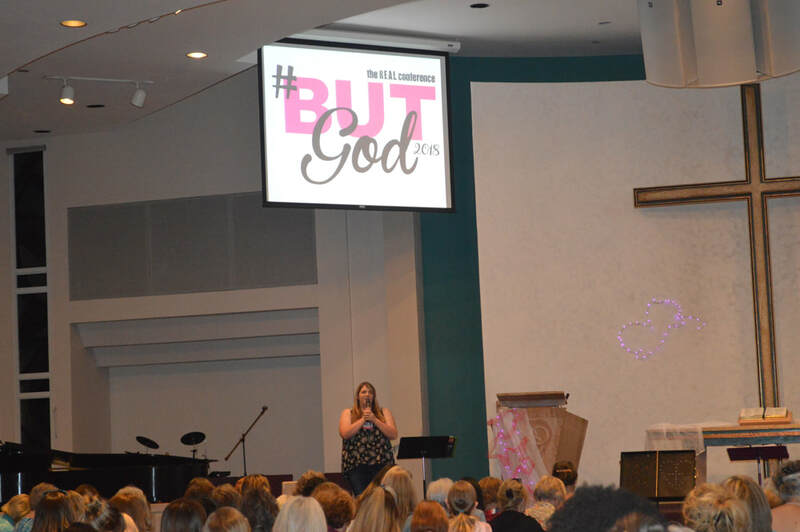 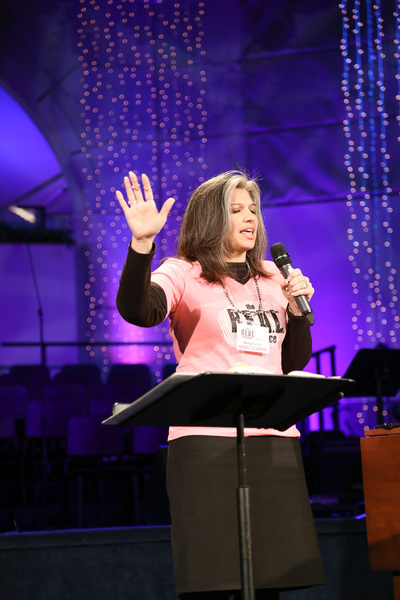 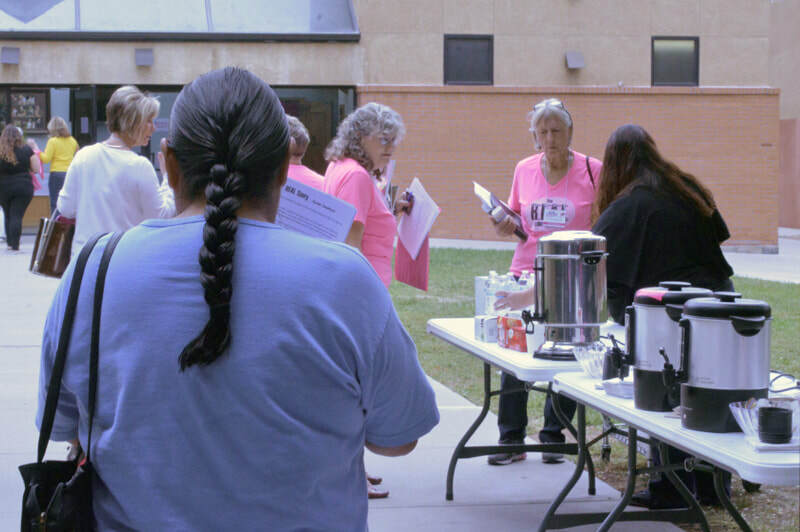 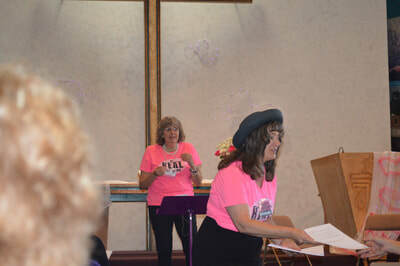 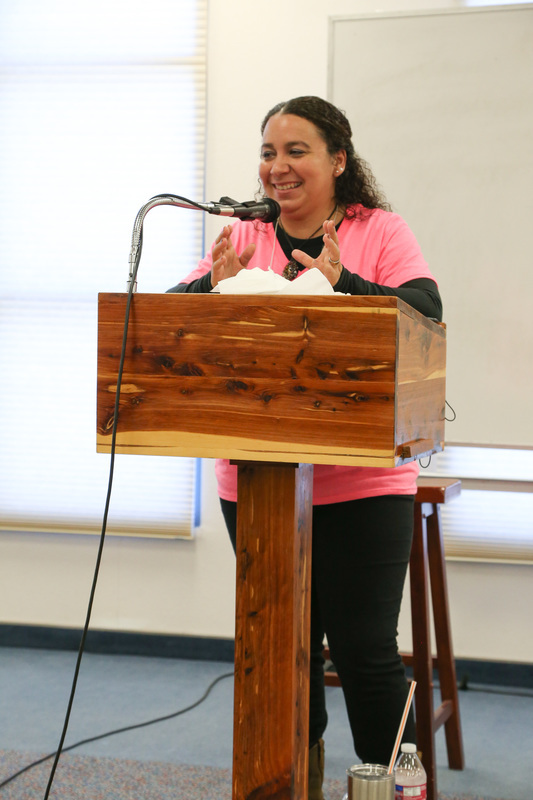 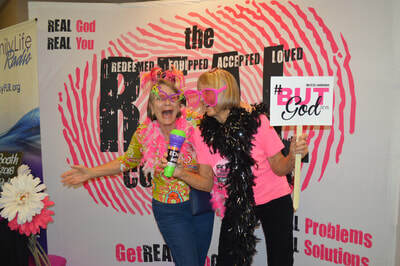 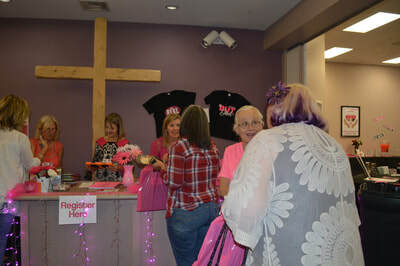 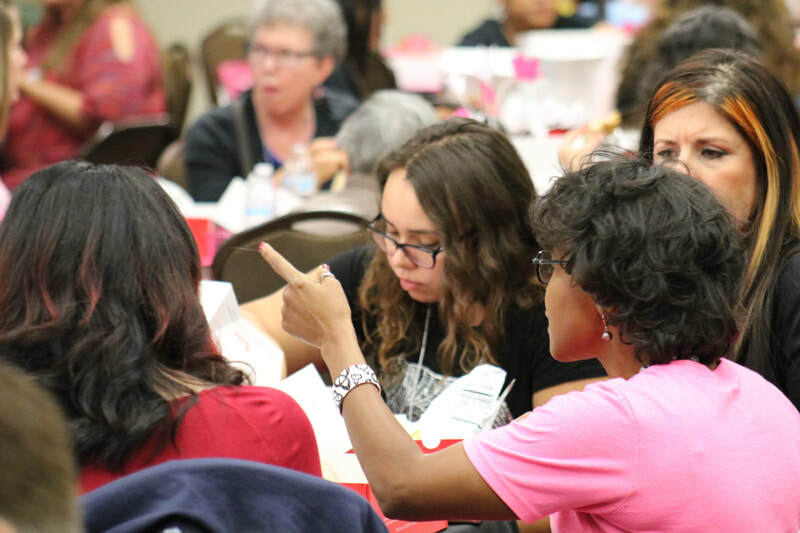 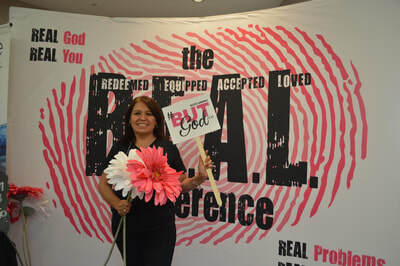 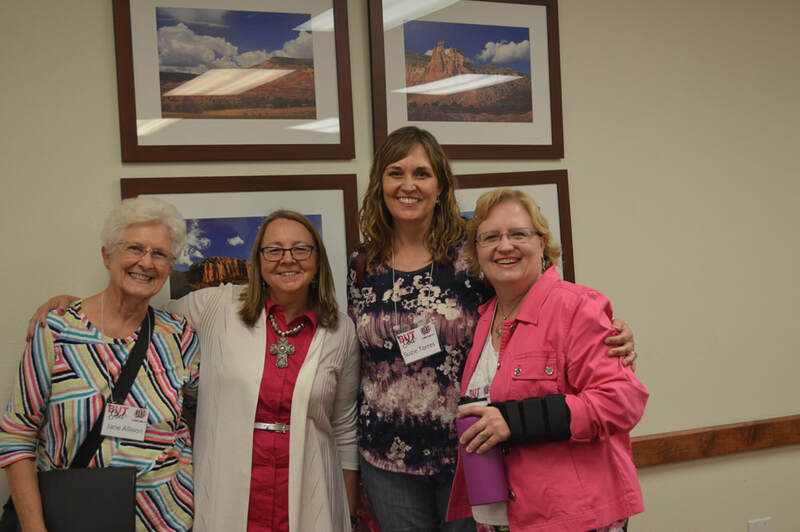 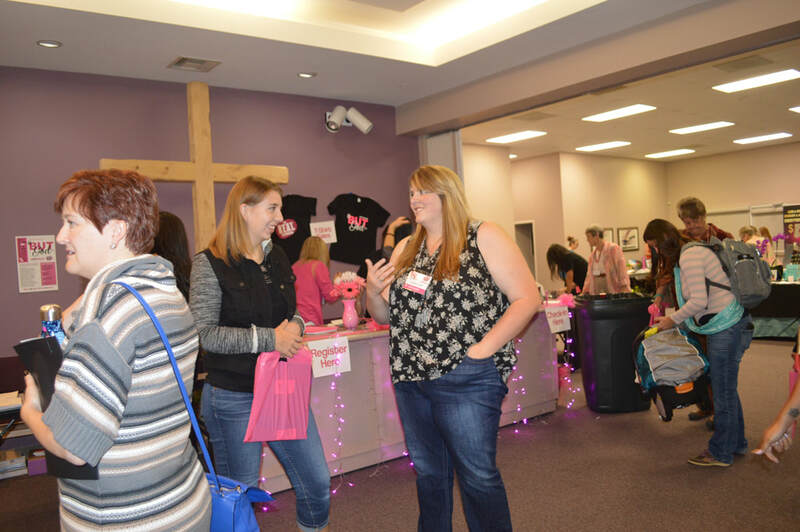 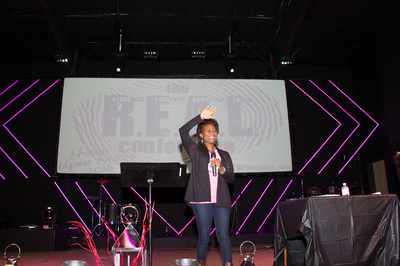 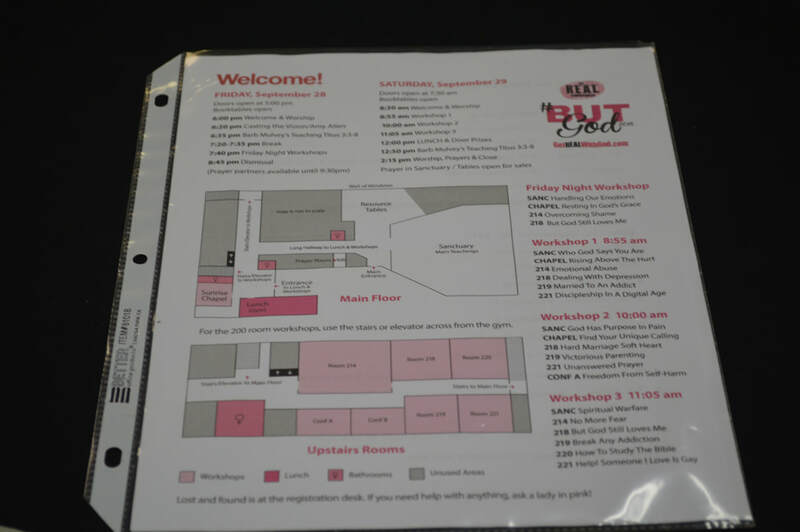 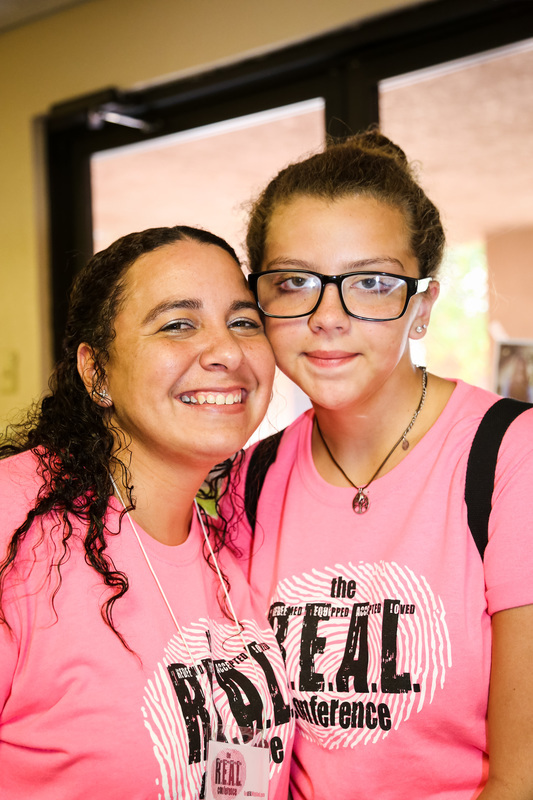 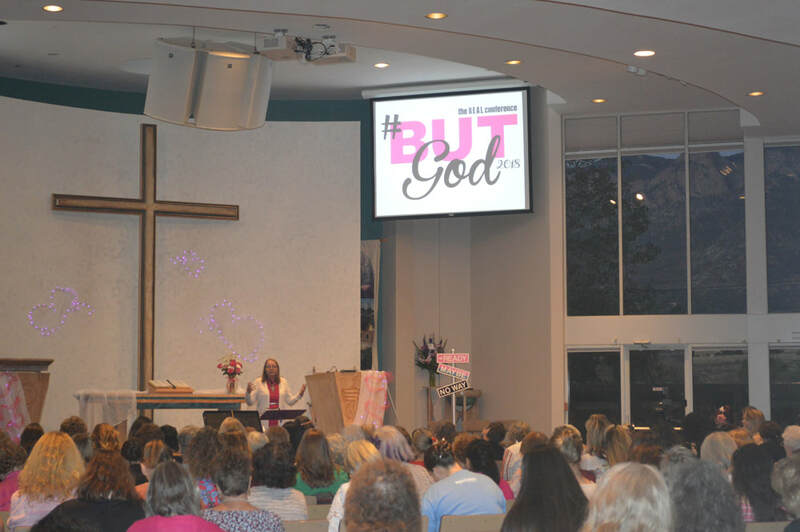 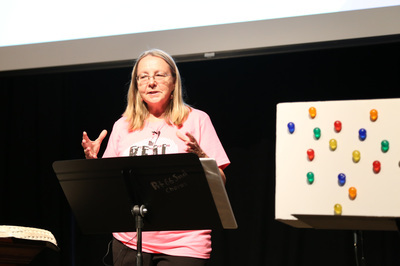 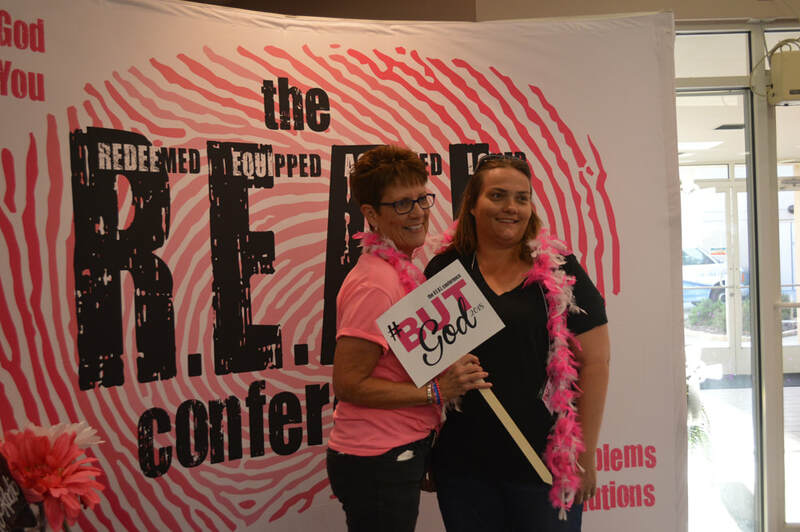 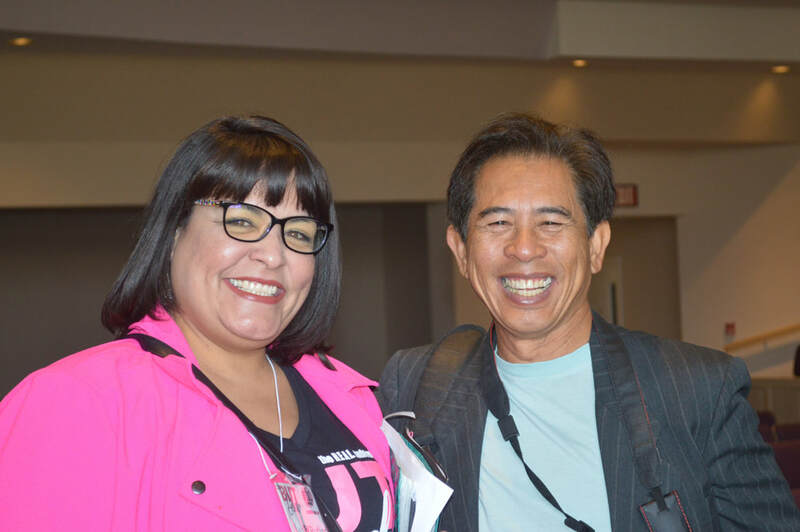 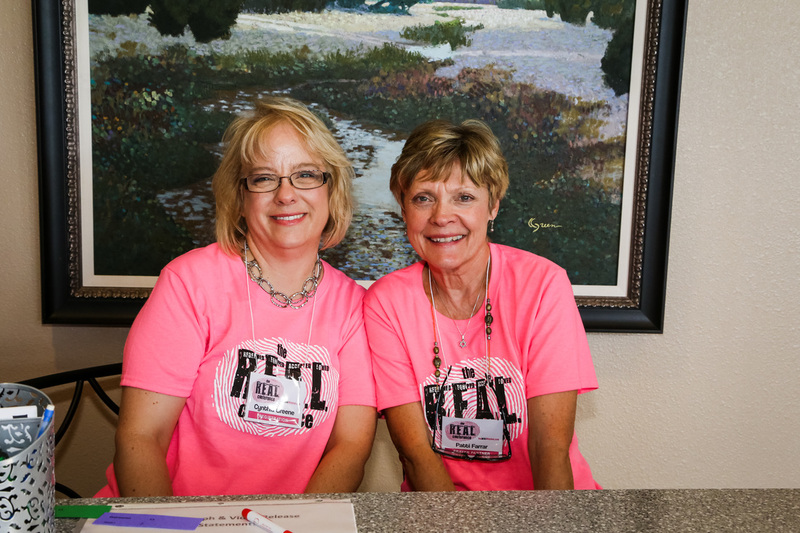 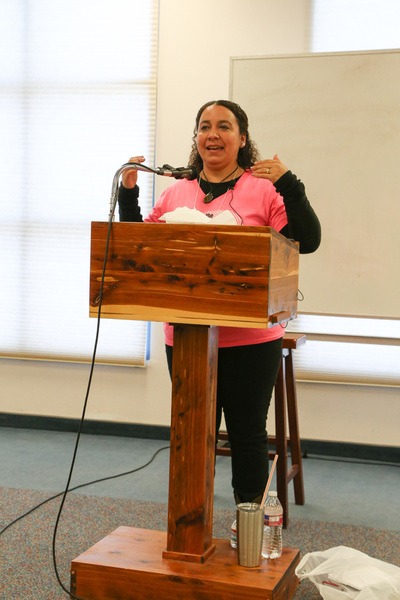 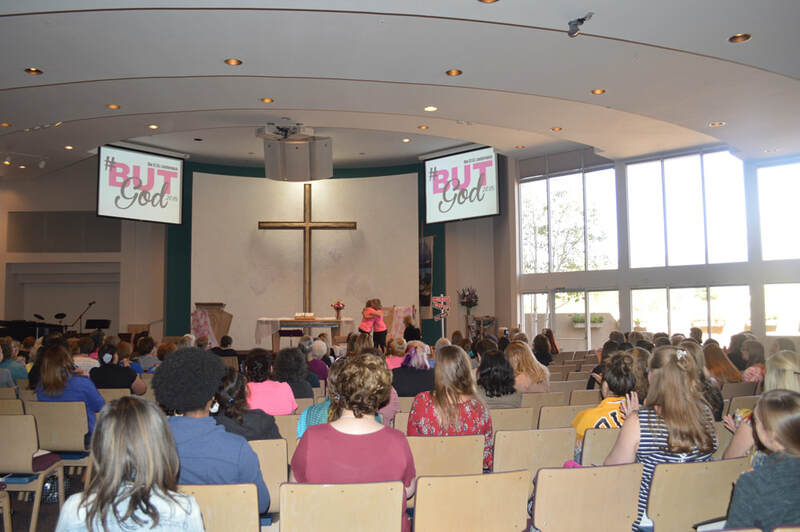 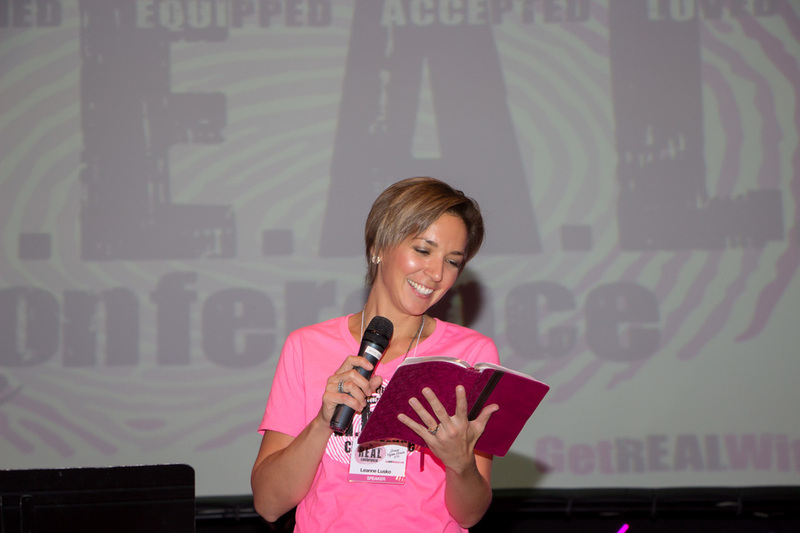 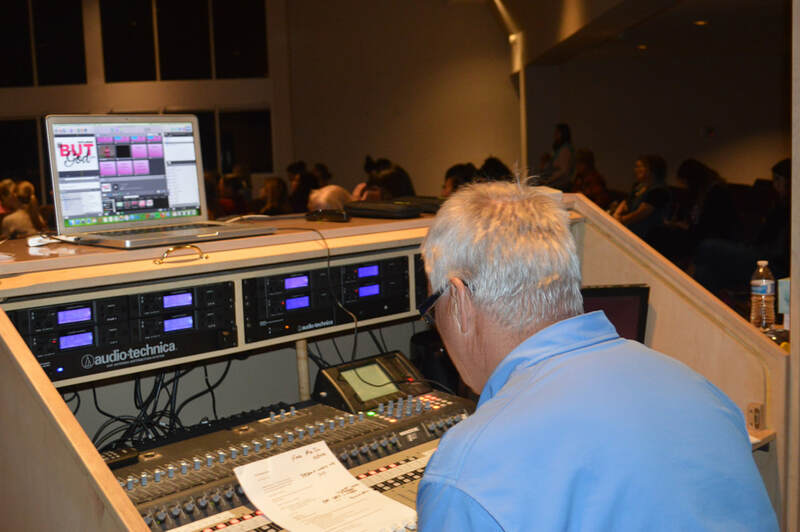 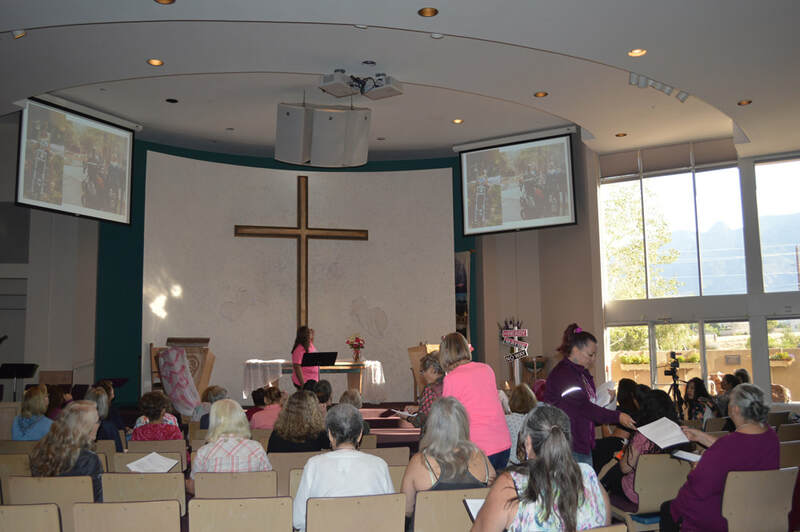 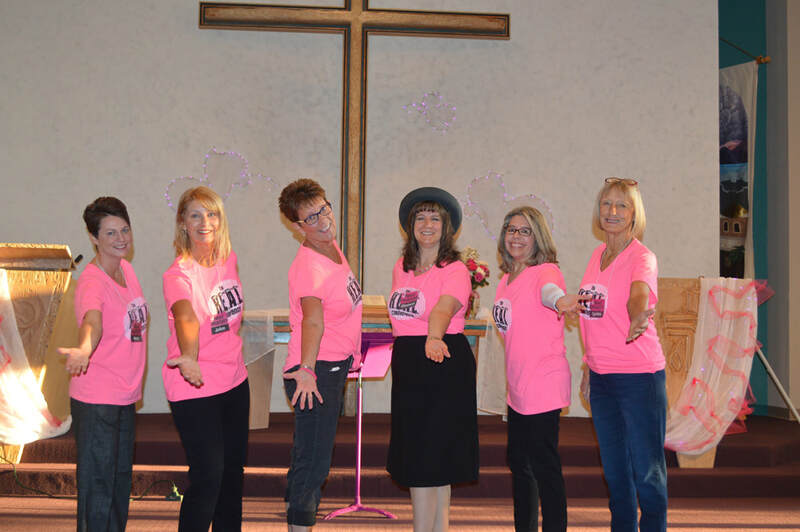 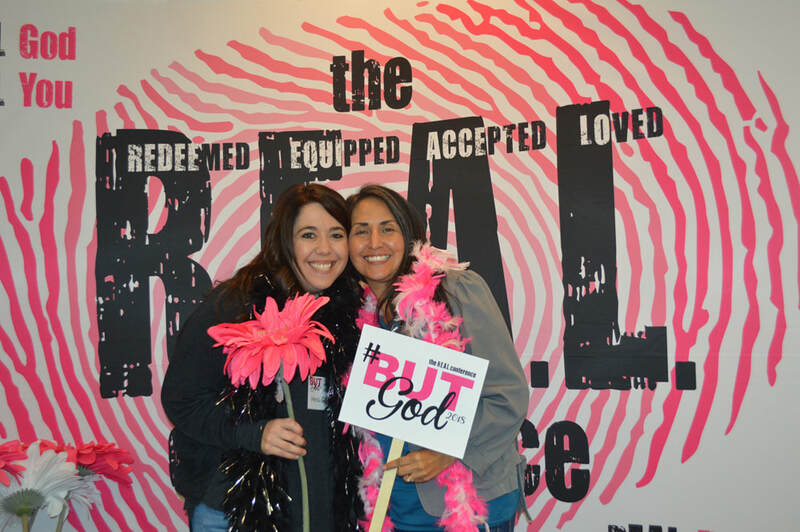 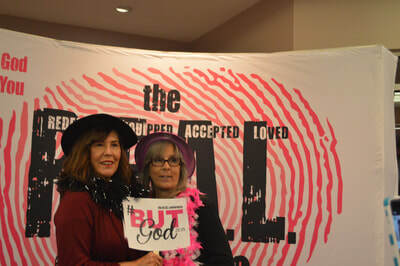 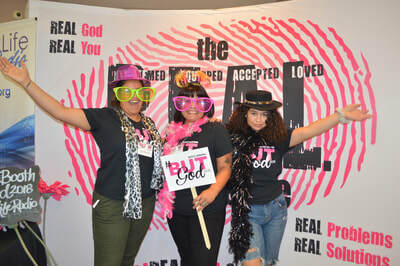 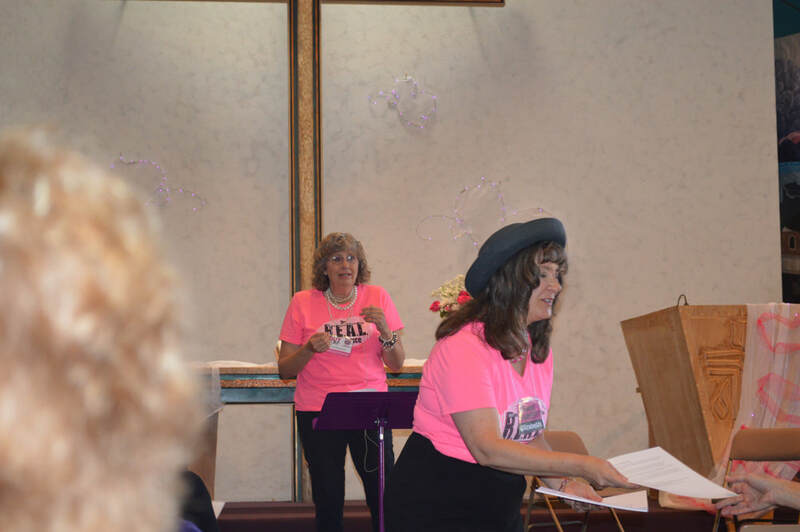 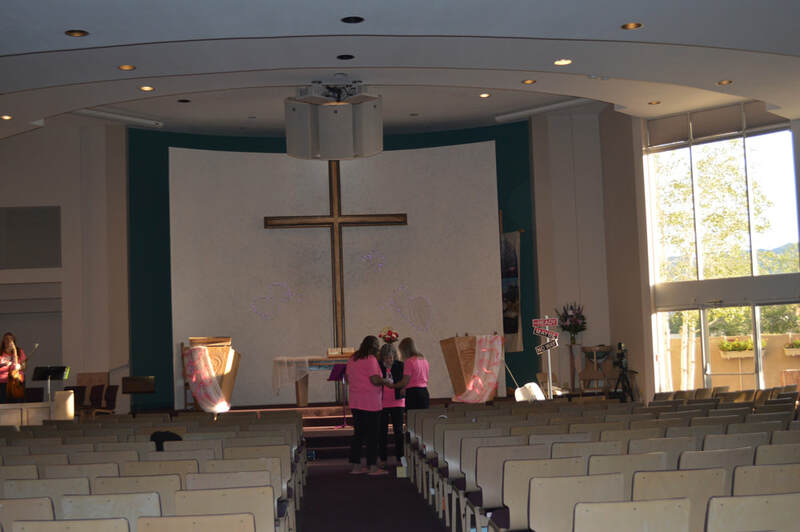 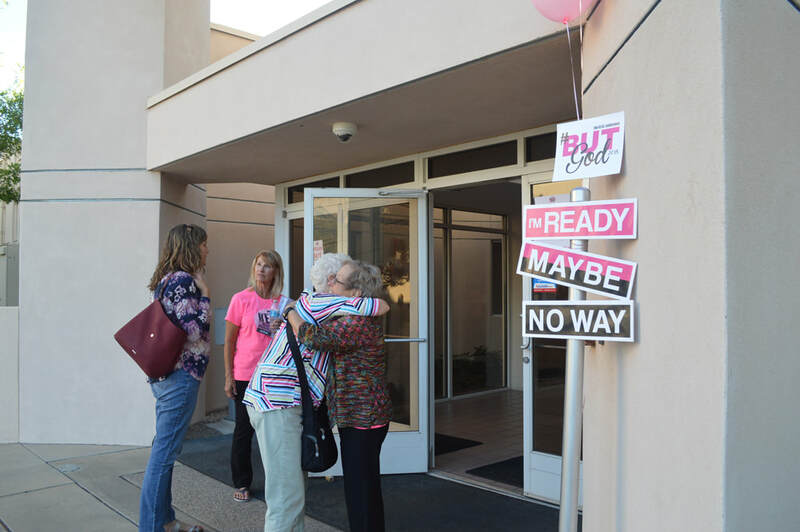 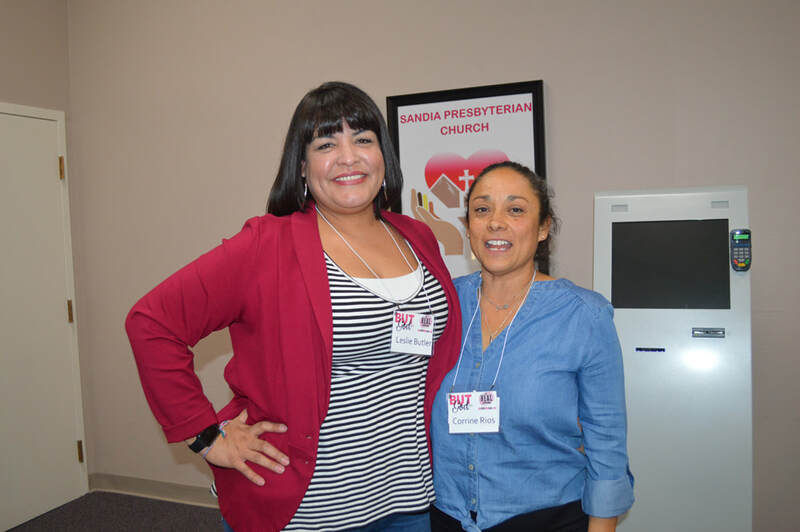 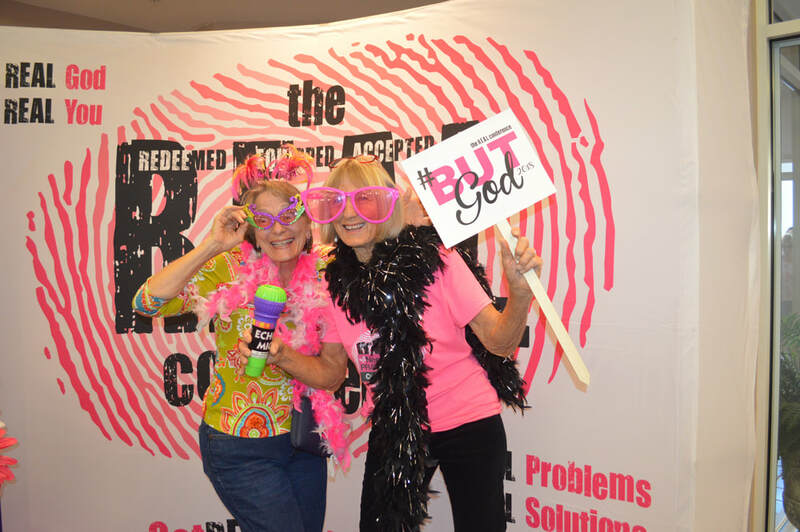 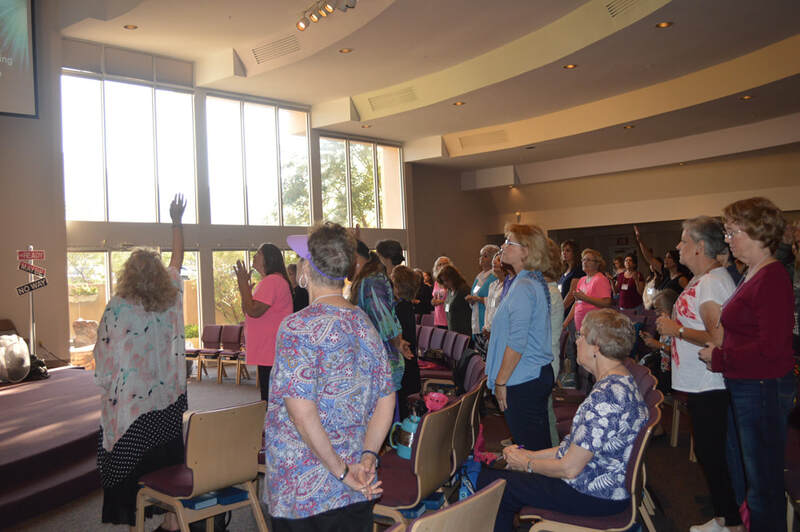 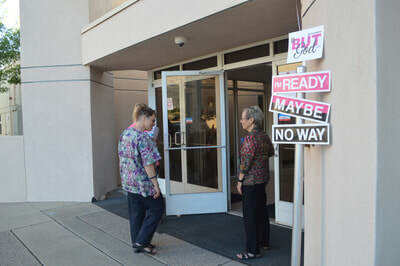 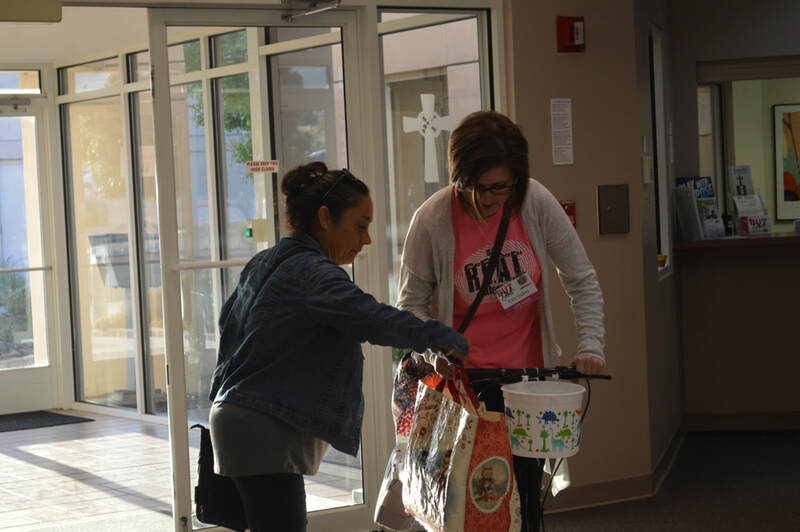 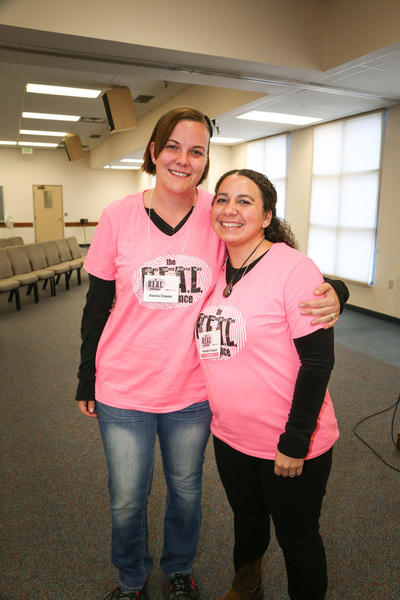 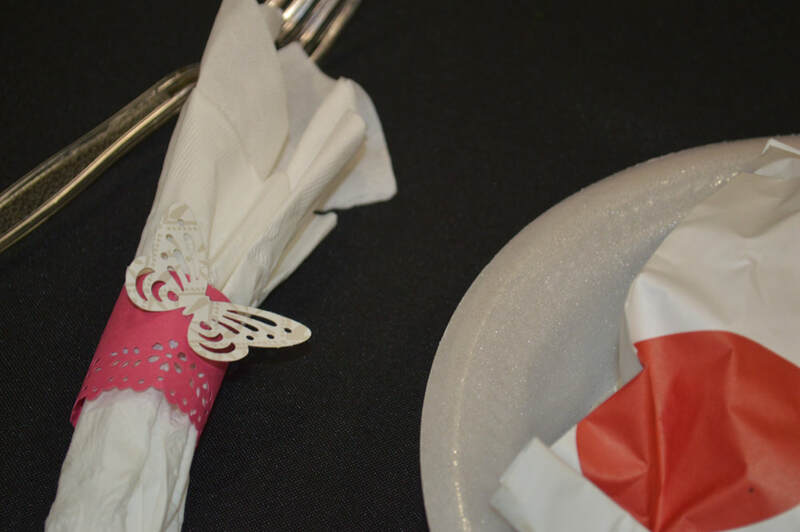 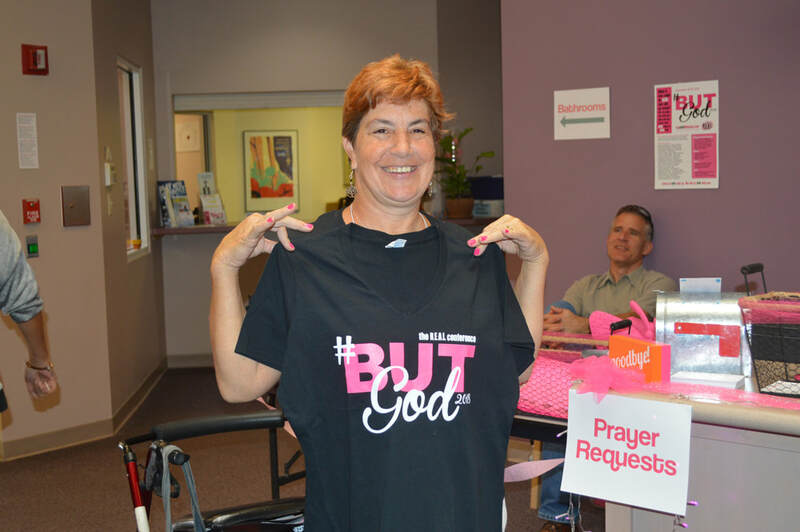 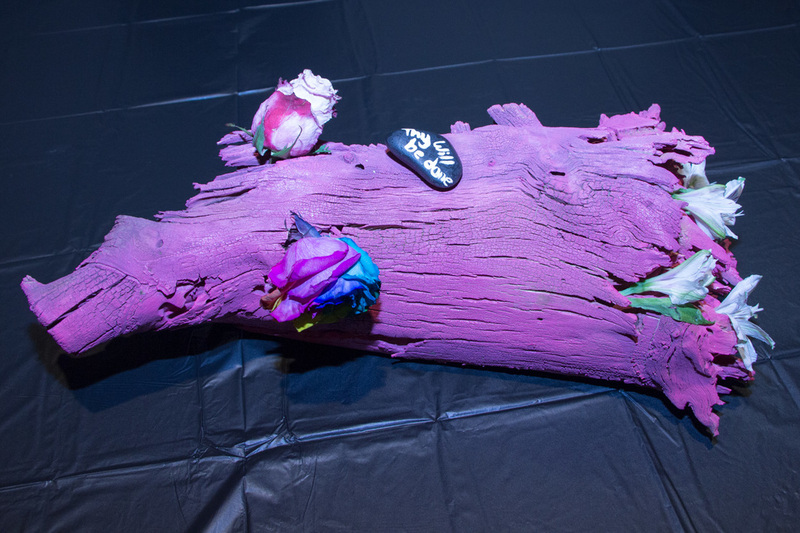 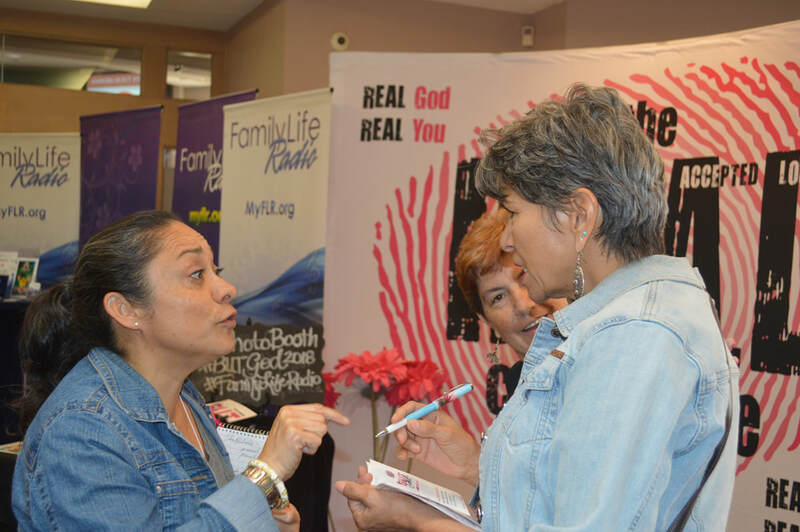 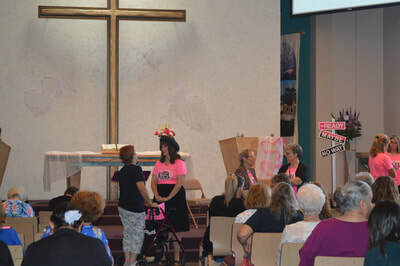 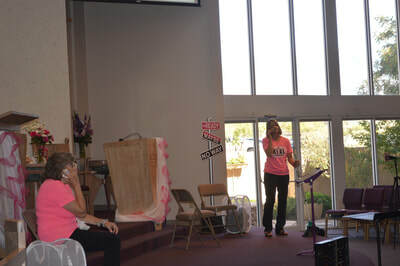 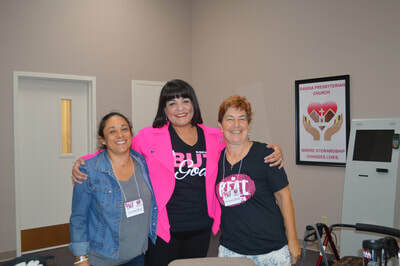 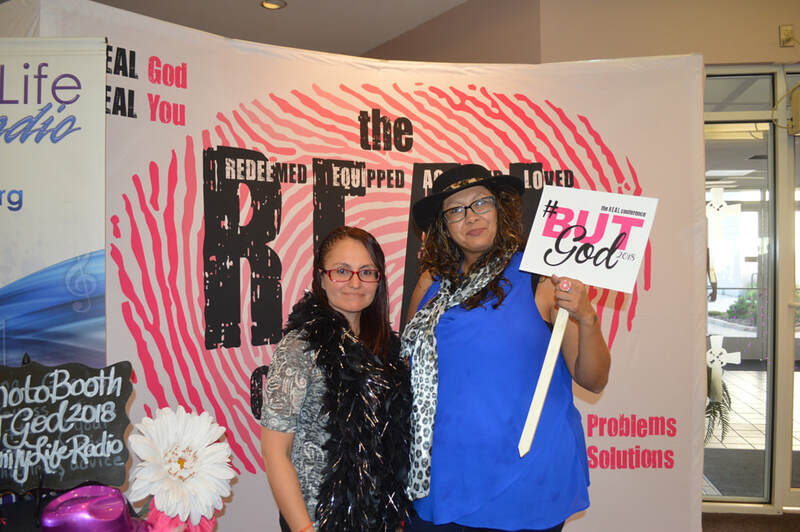 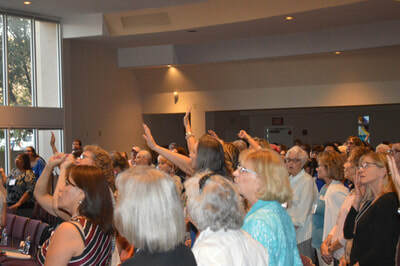 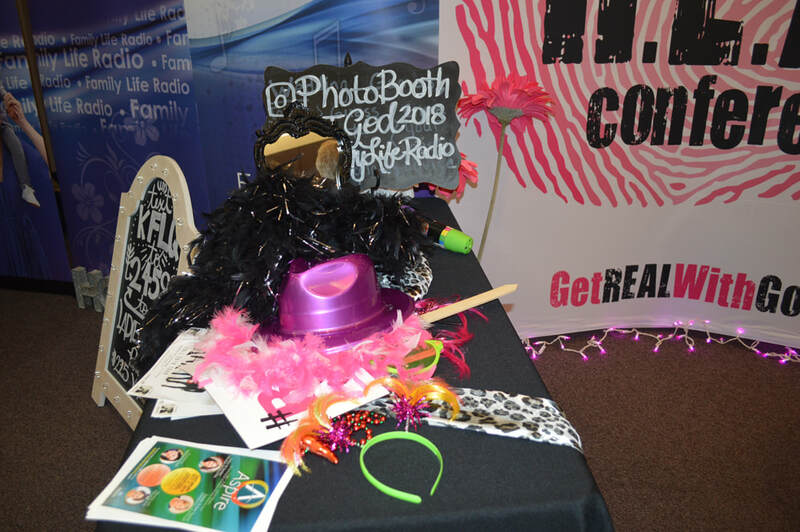 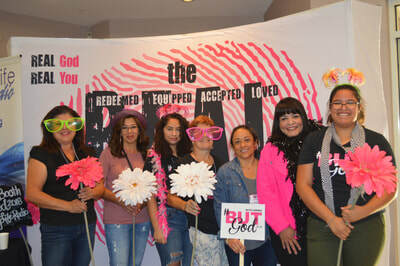 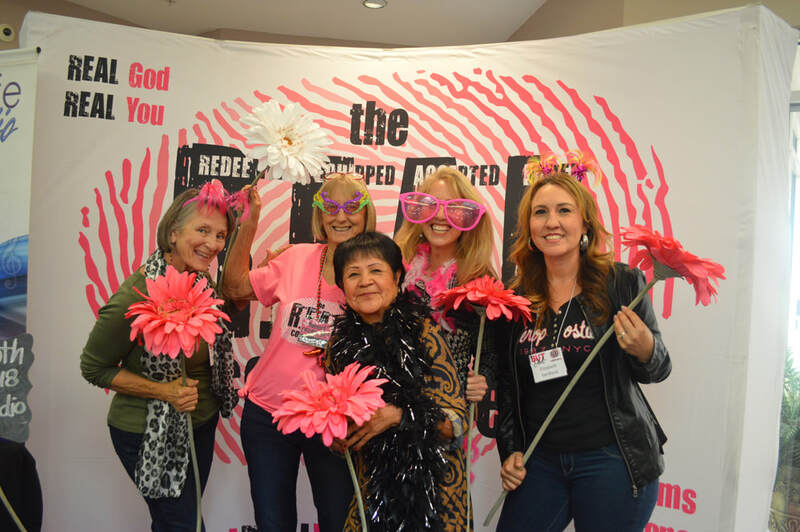 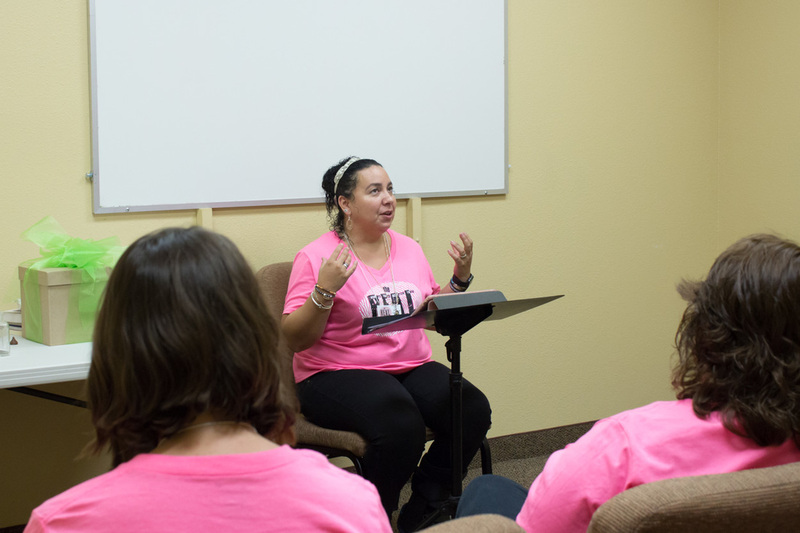 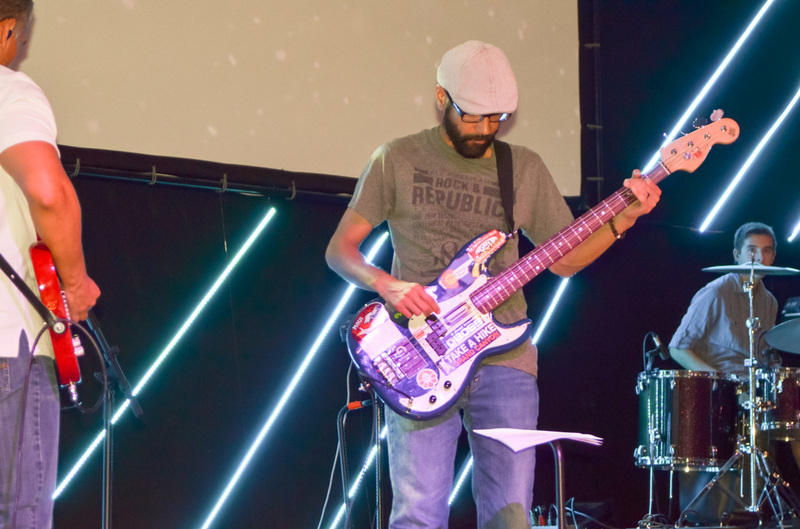 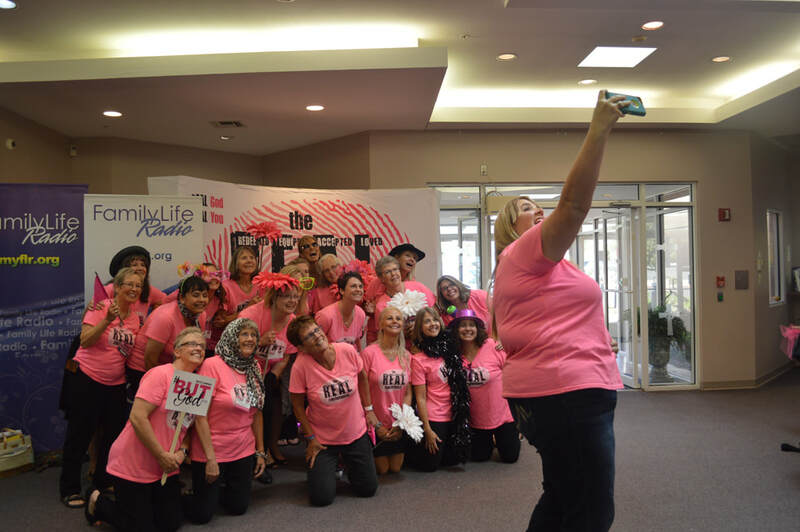 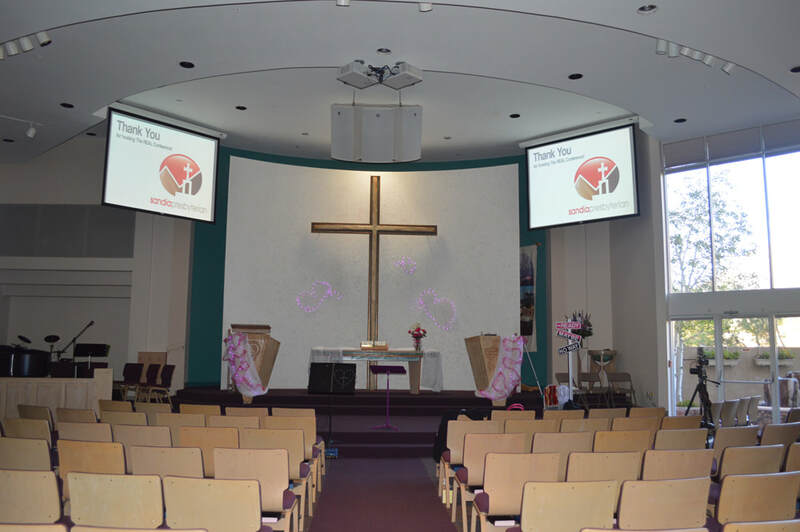 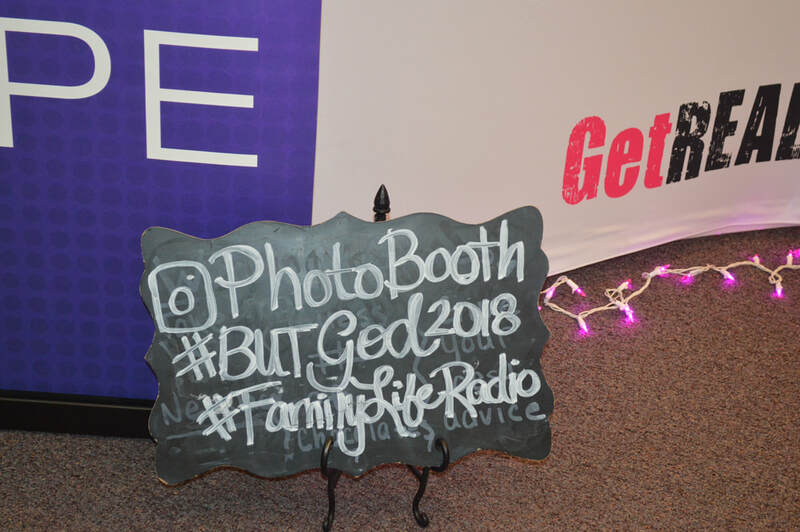 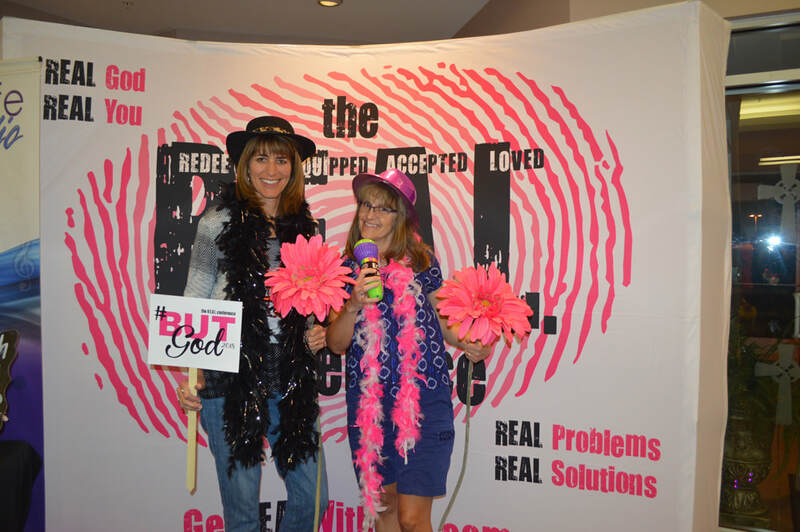 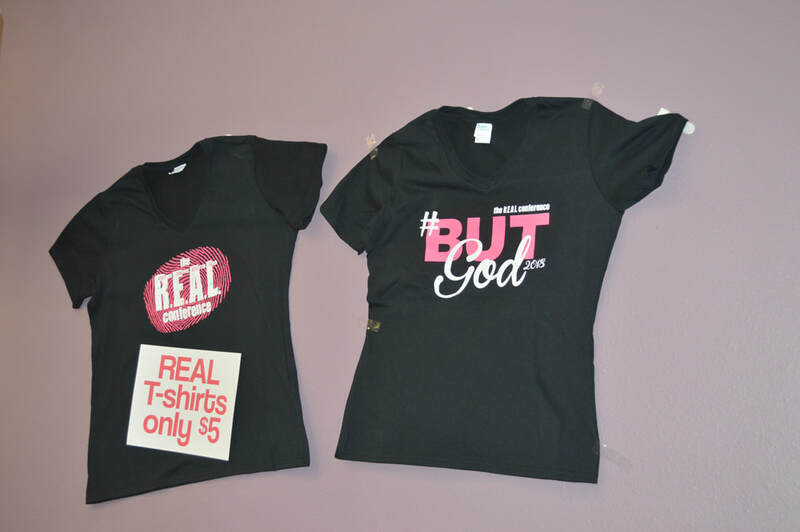 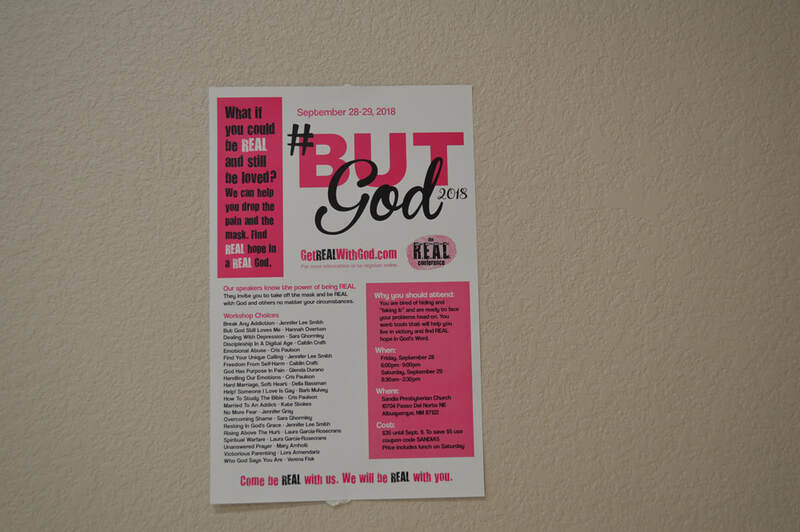 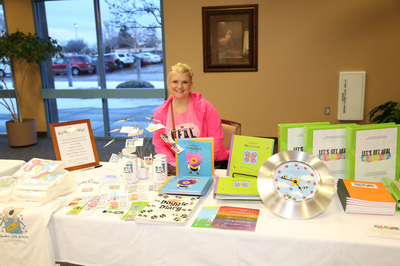 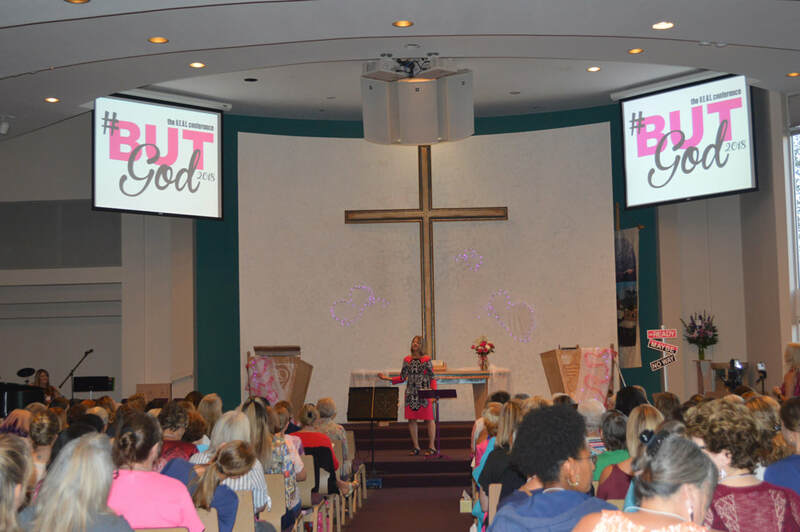 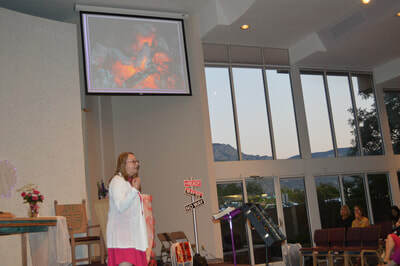 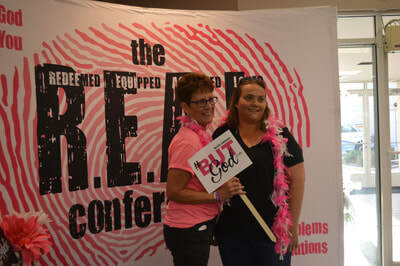 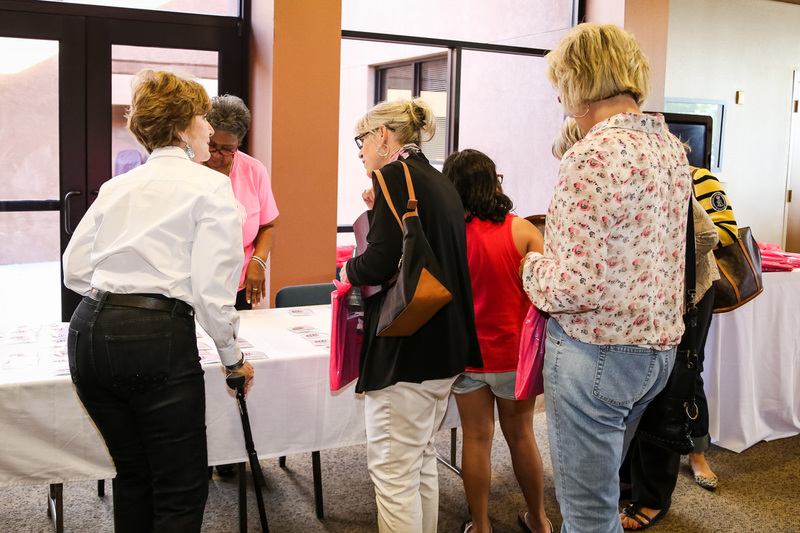 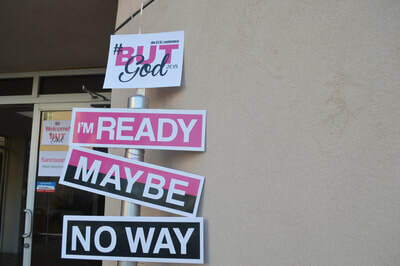 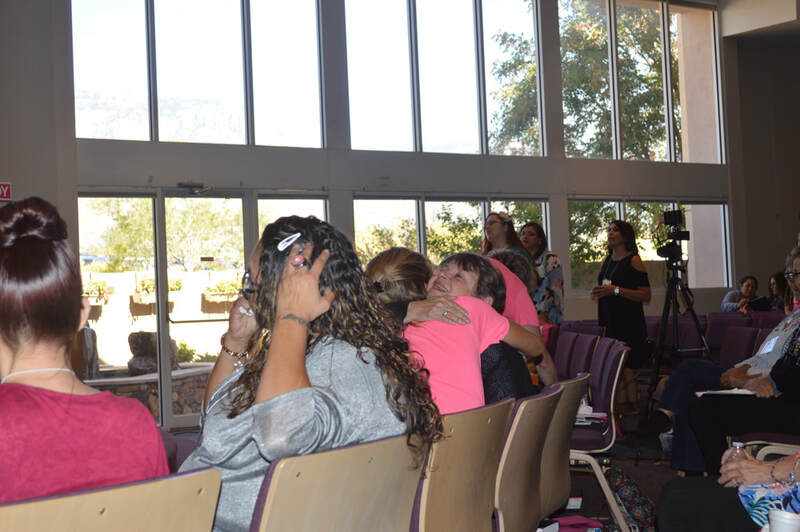 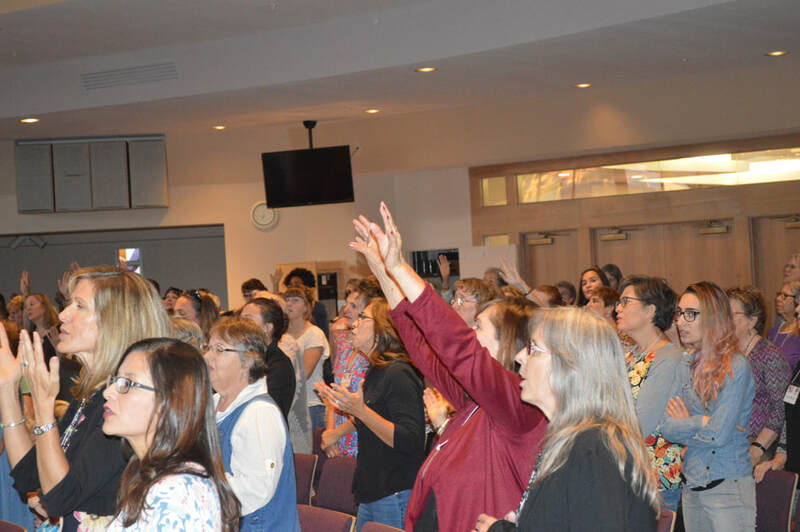 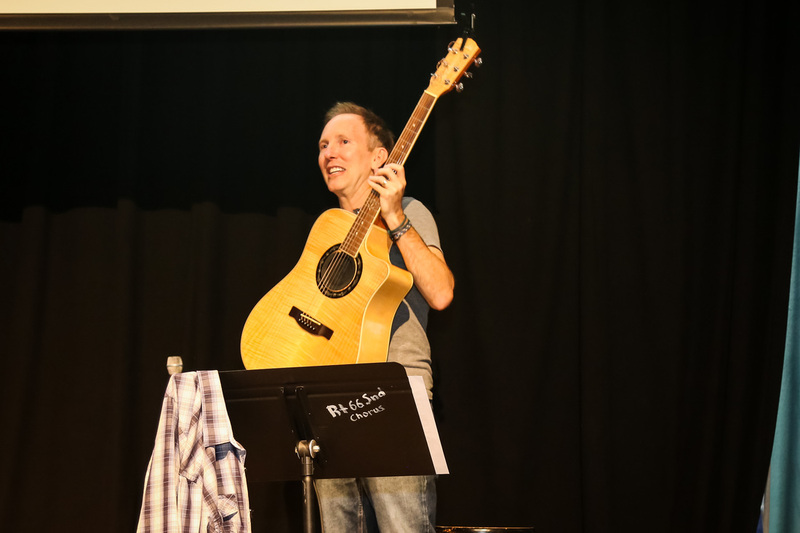 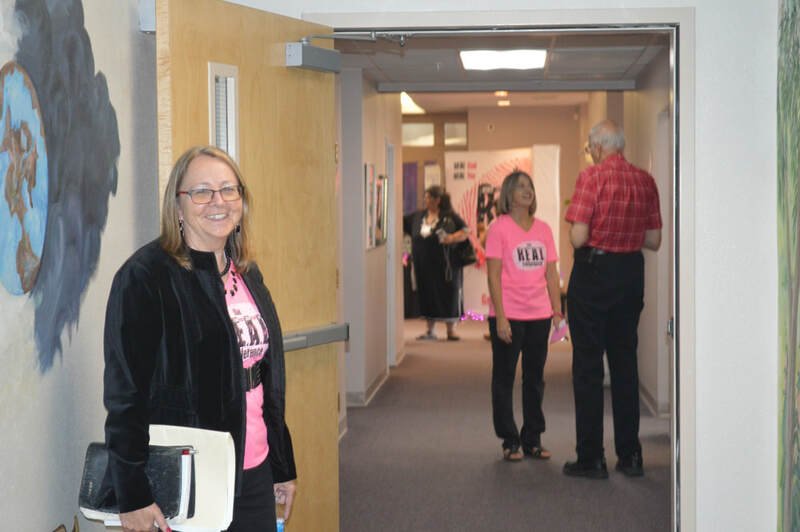 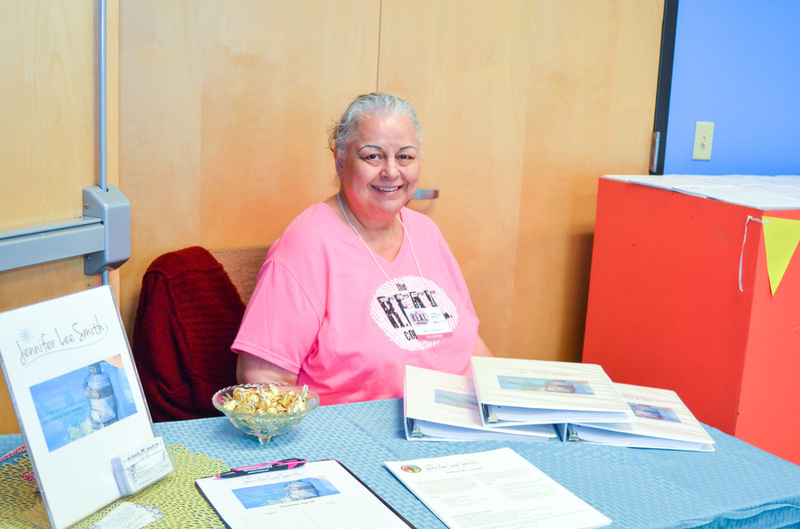 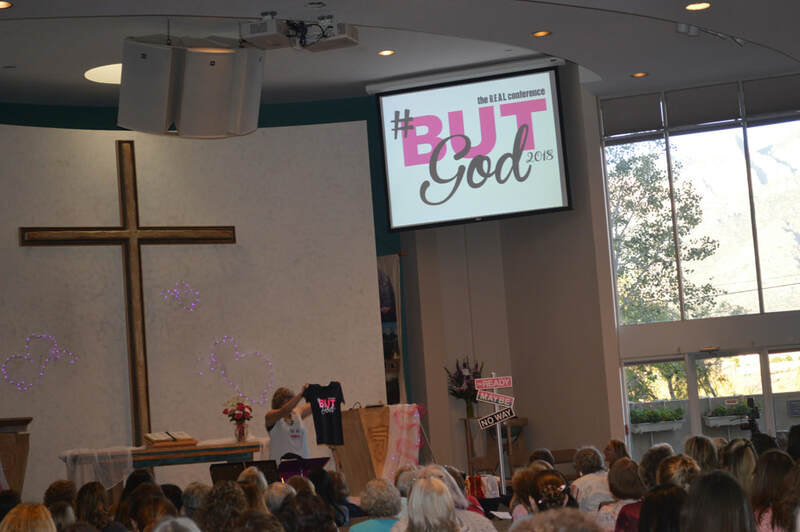 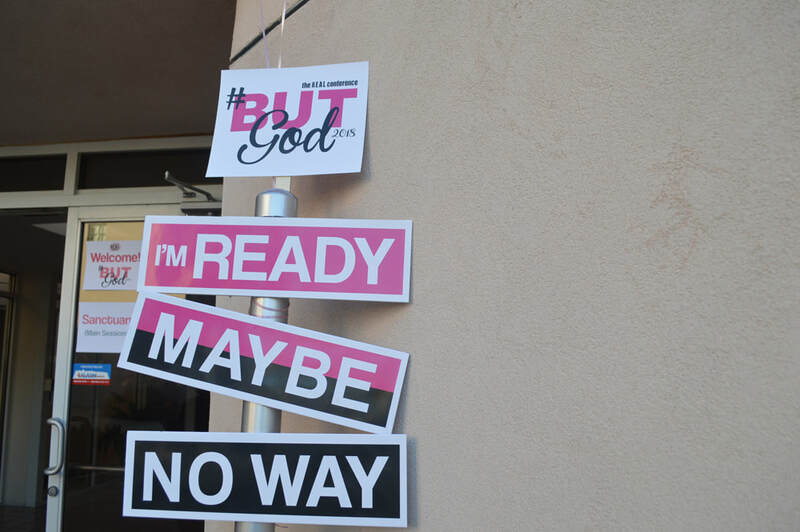 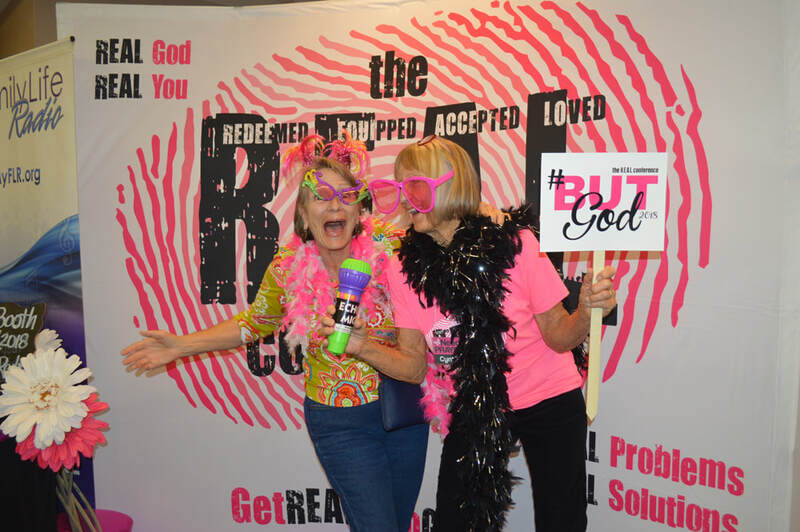 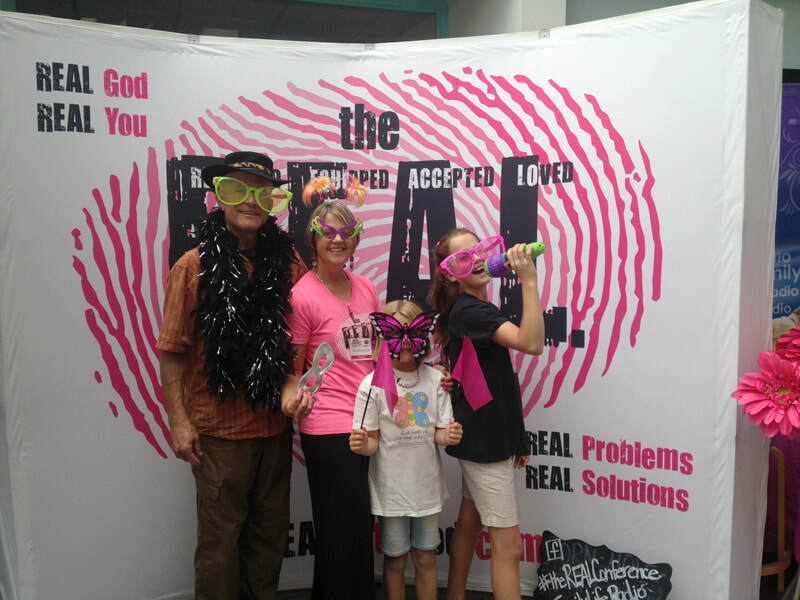 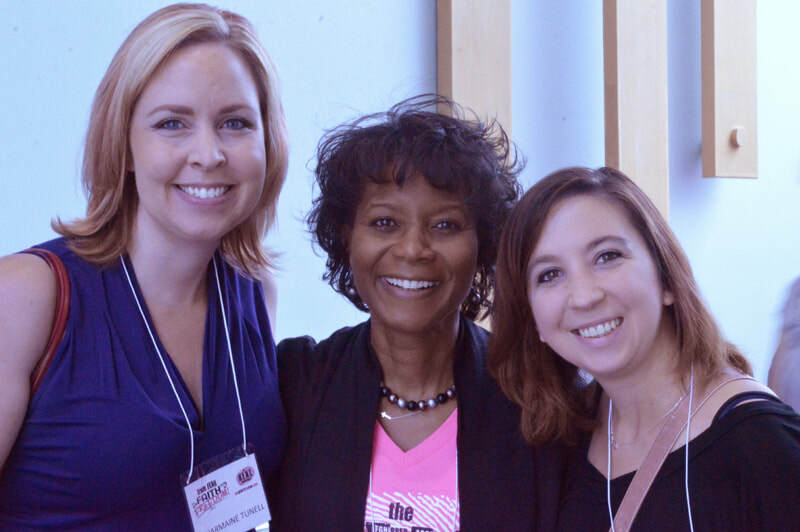 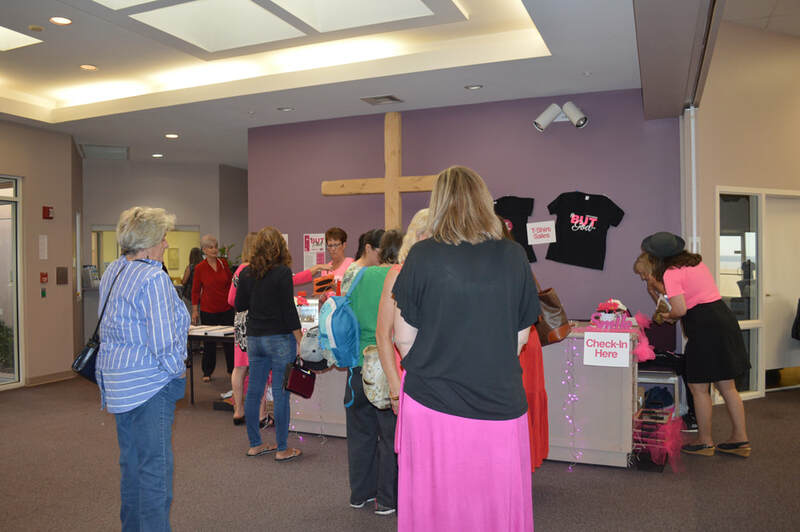 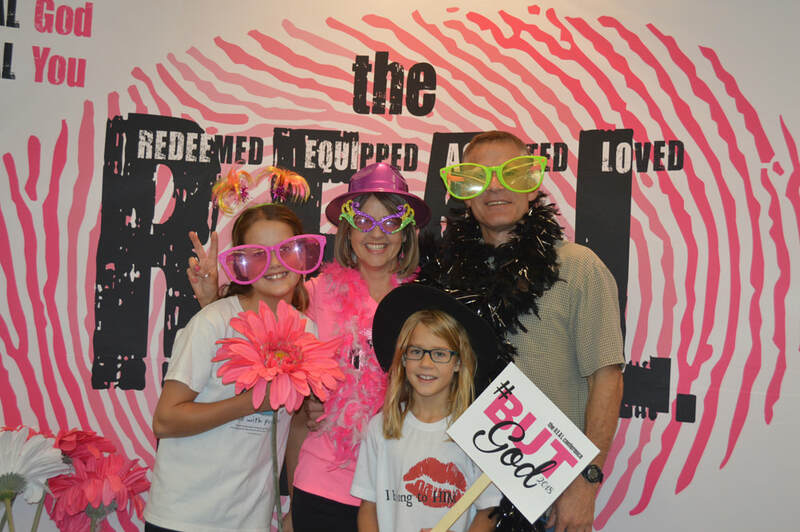 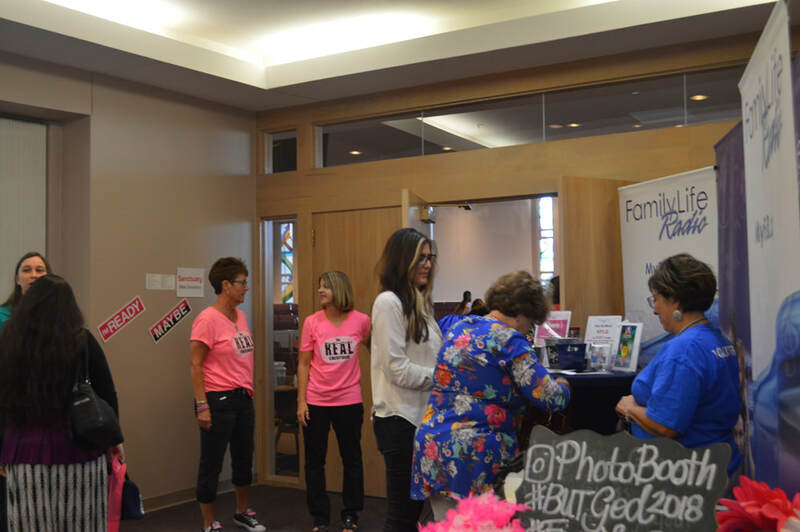 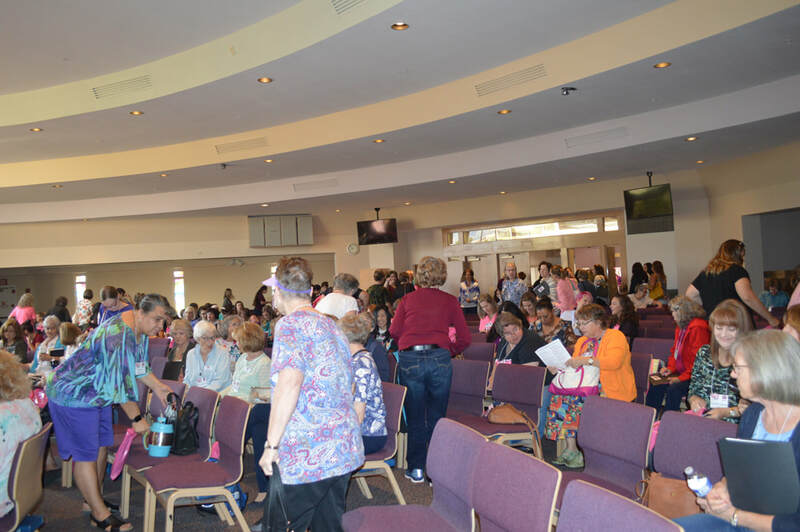 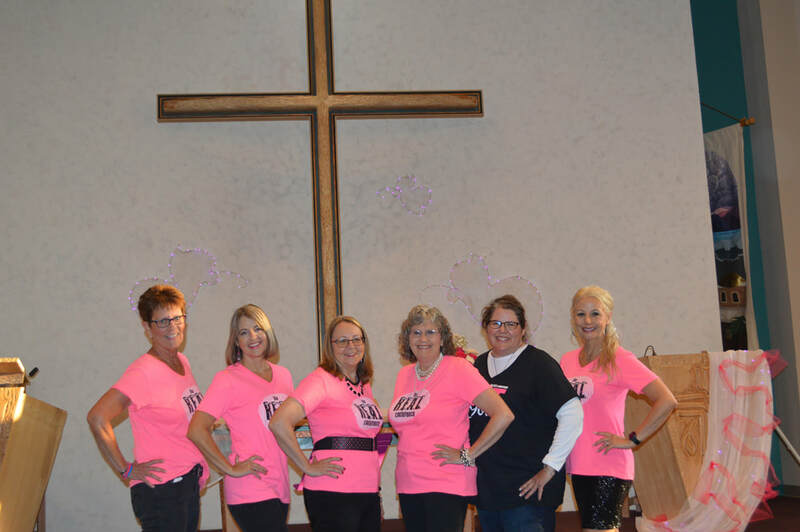 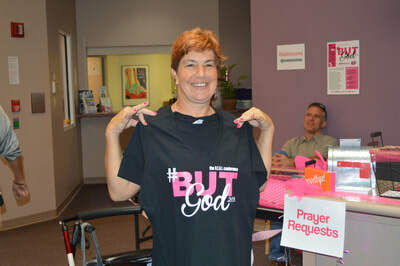 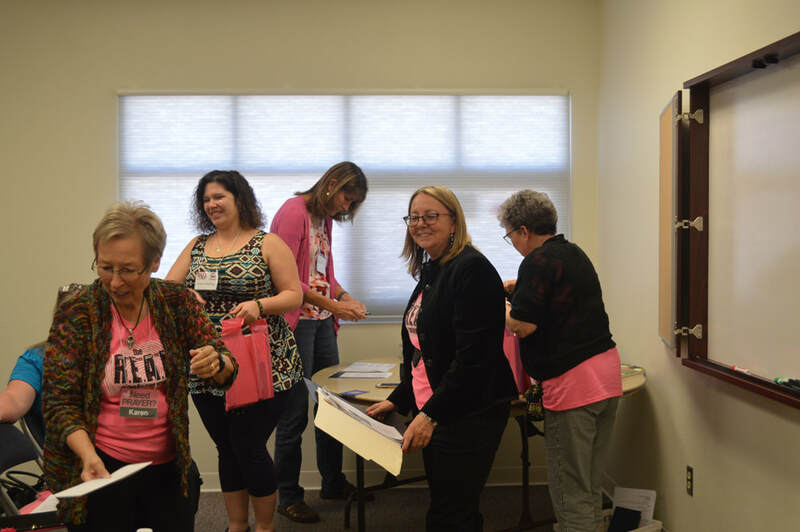 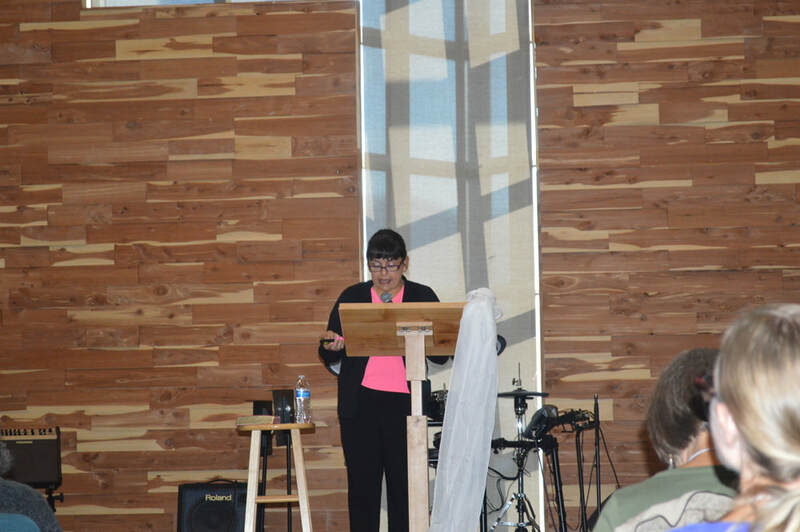 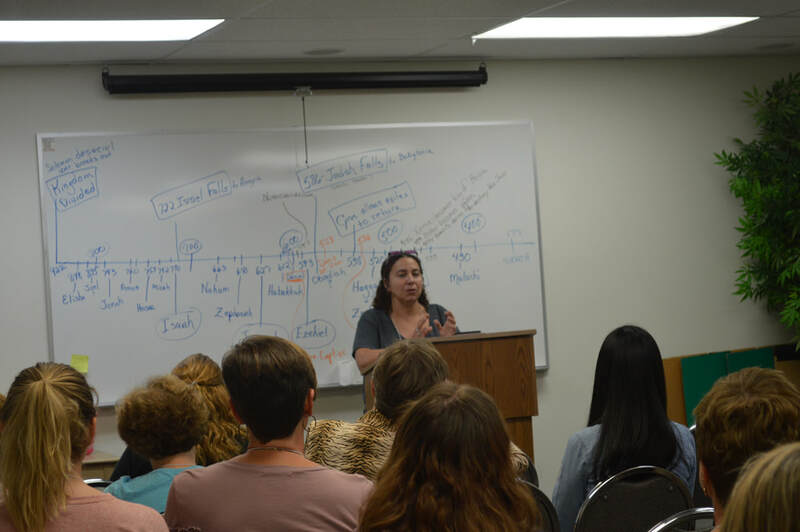 Our fifth conference, with the theme #ButGod, was held at Sandia Presbyterian Church in Albuquerque, New Mexico on September 28th and 29th and was amazing! 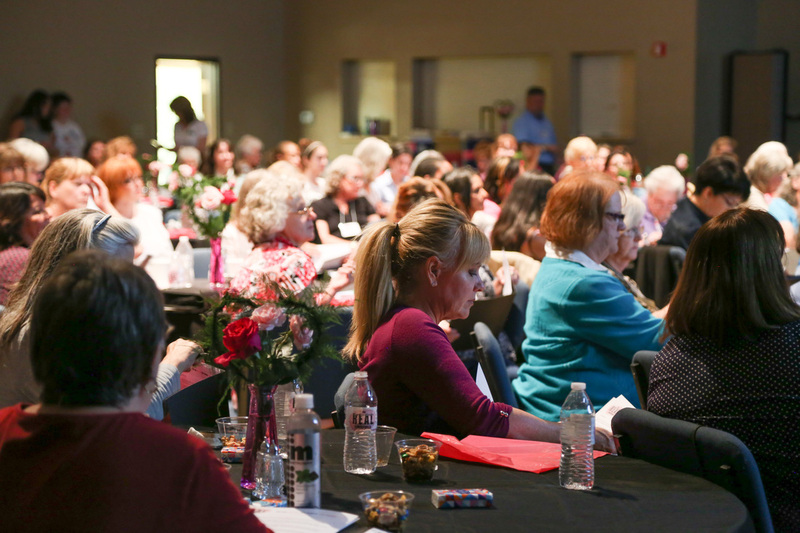 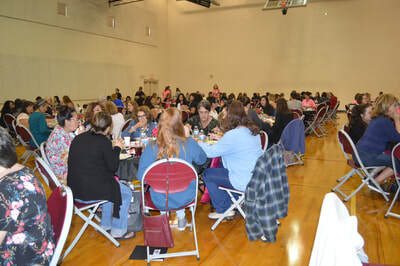 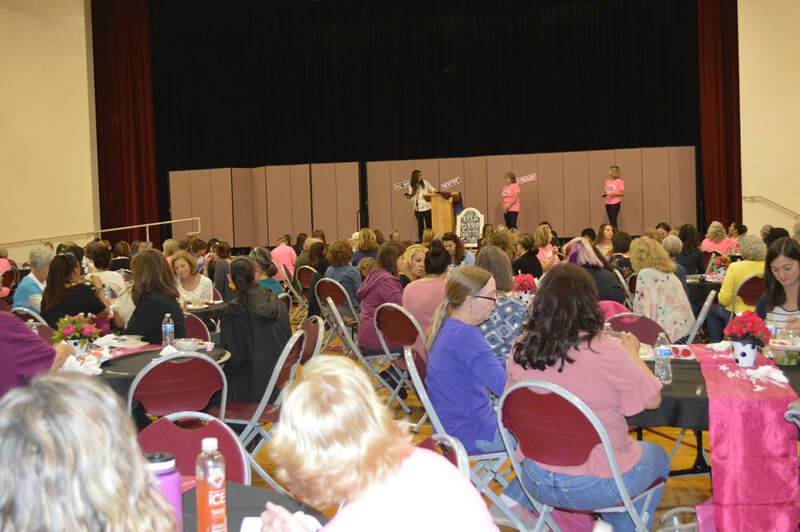 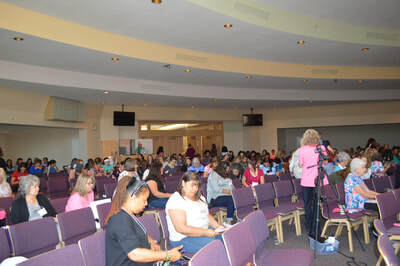 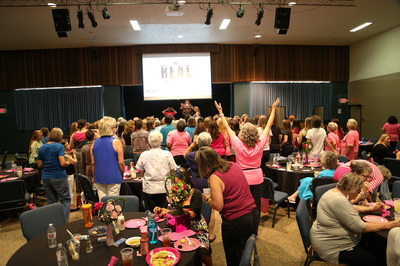 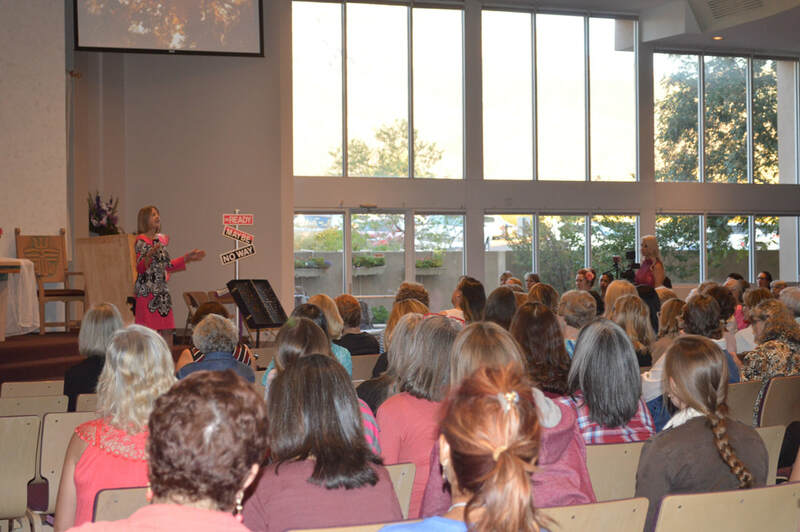 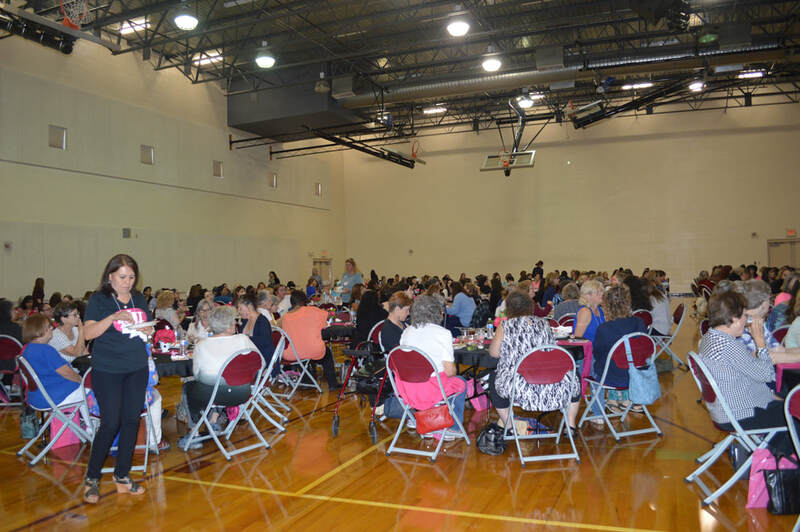 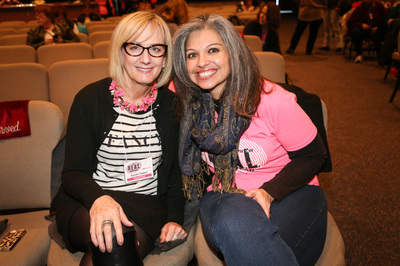 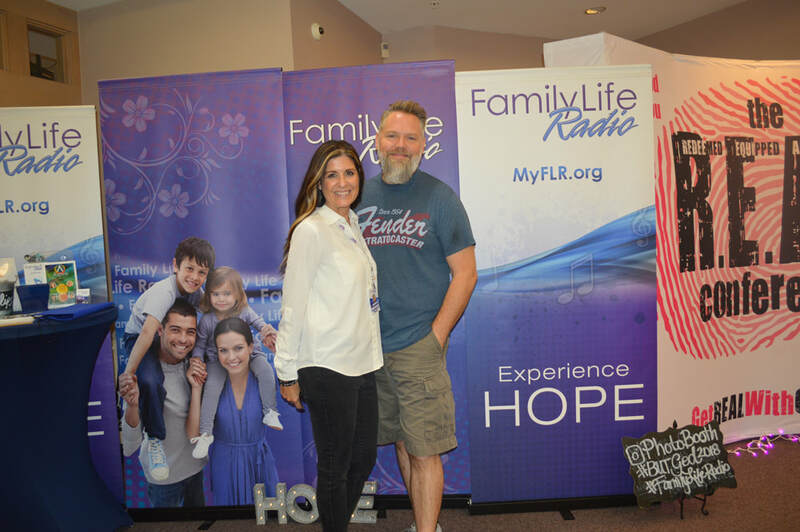 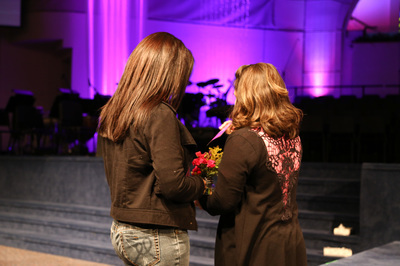 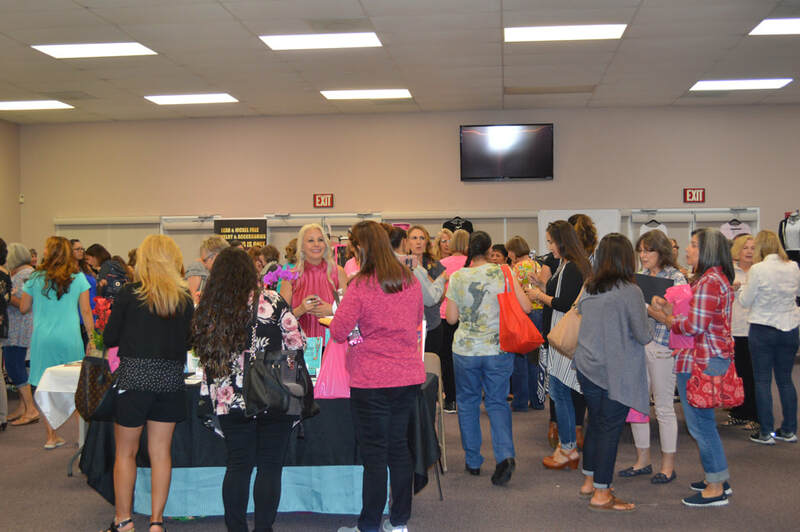 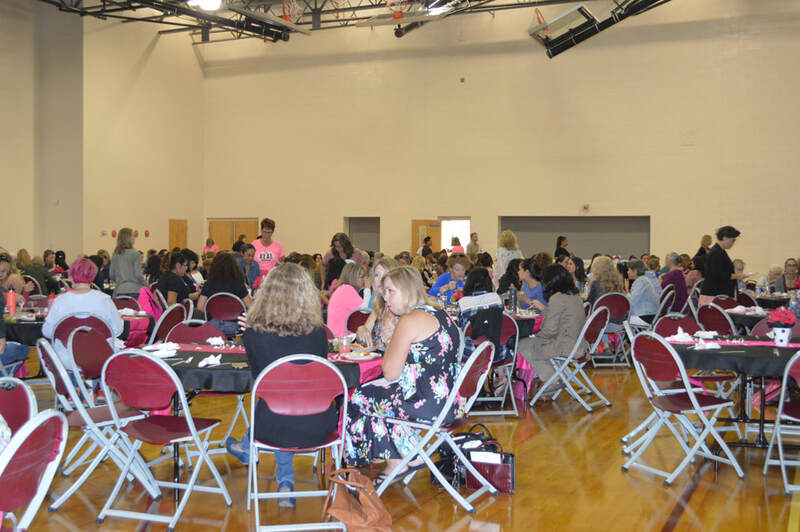 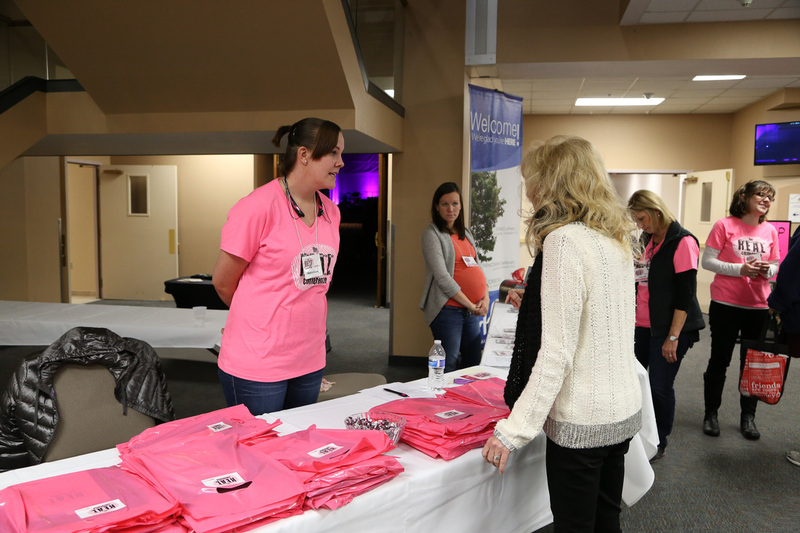 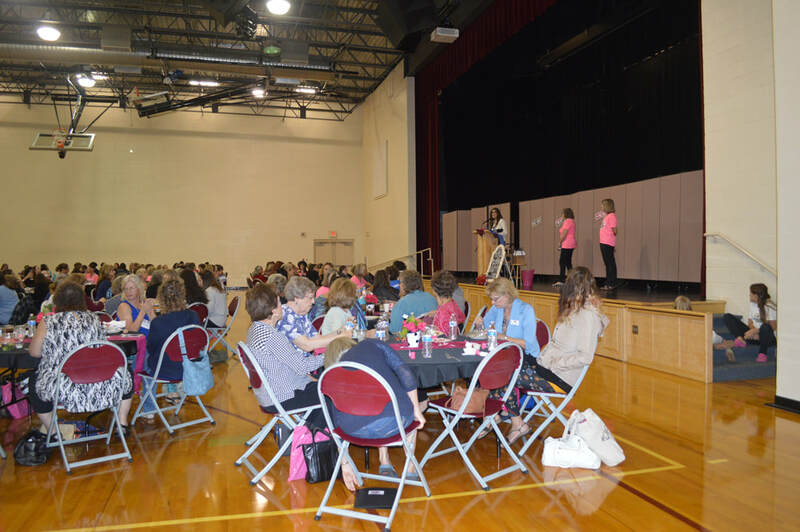 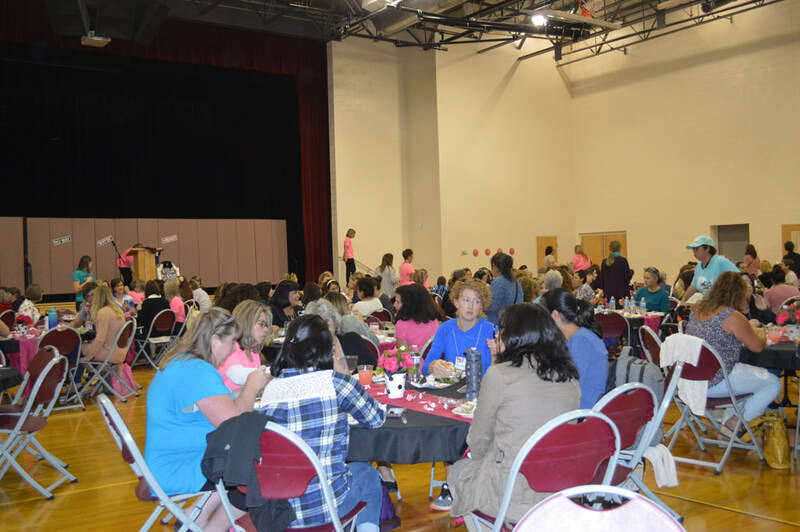 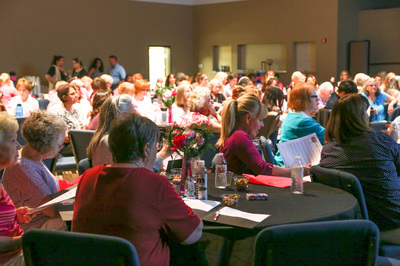 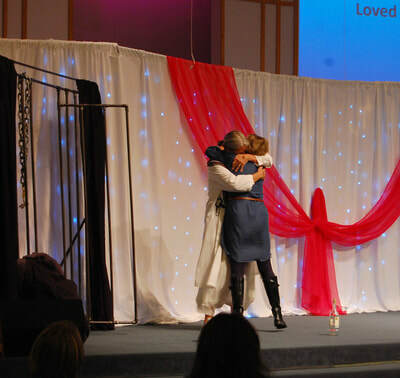 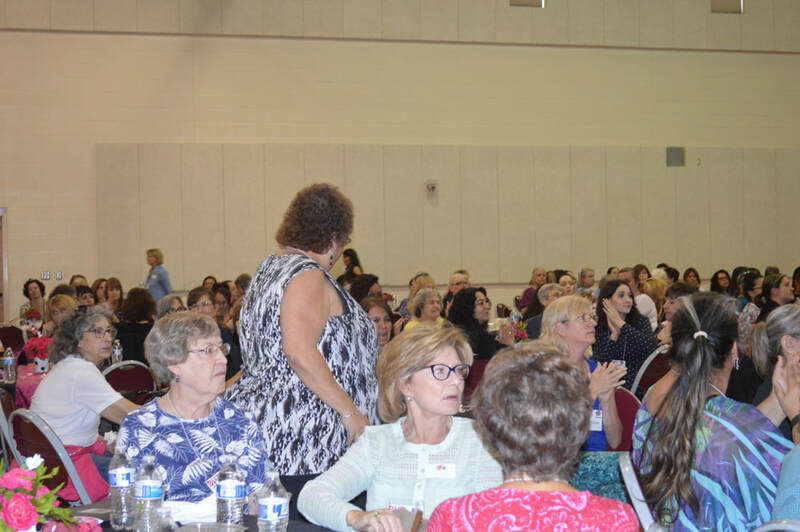 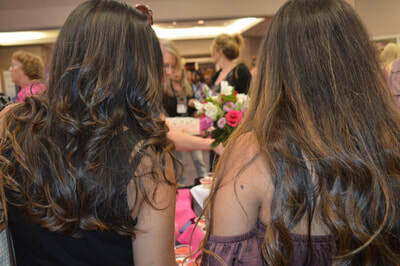 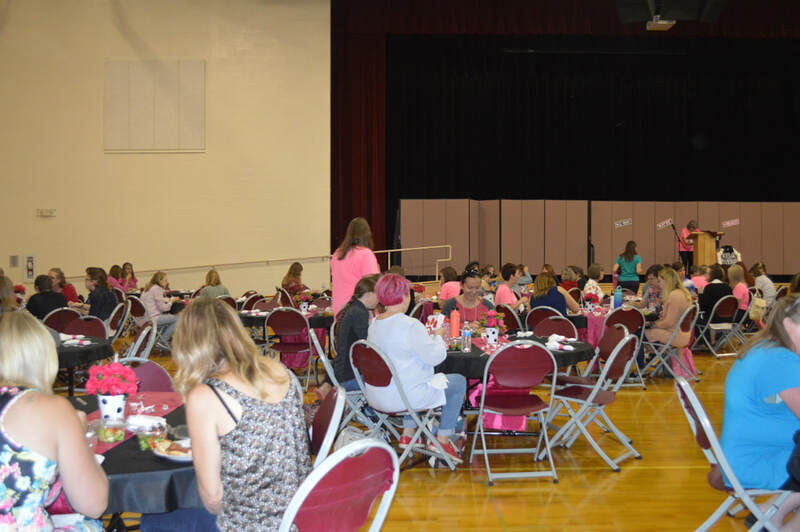 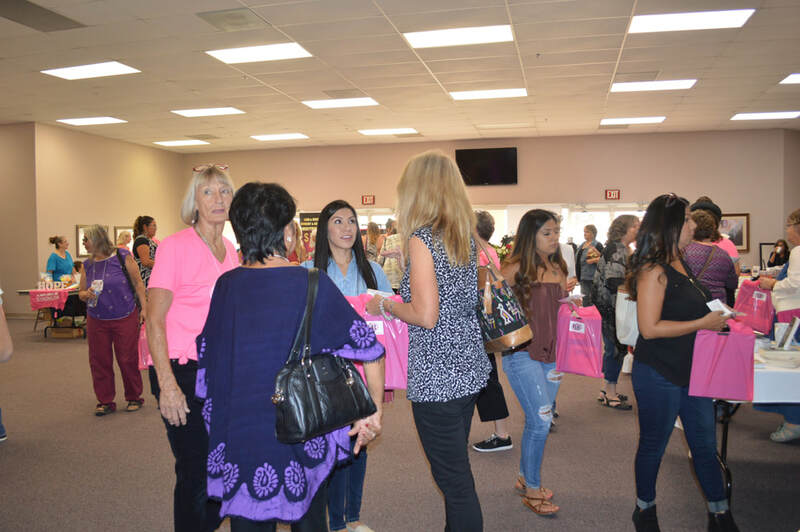 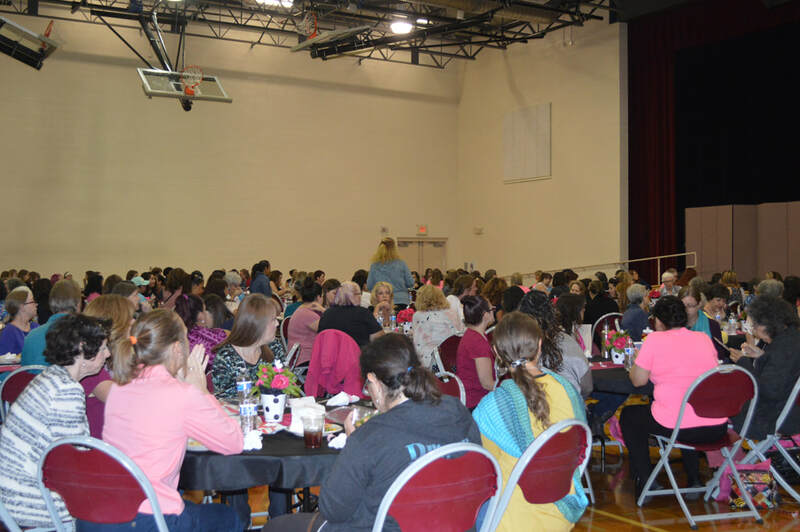 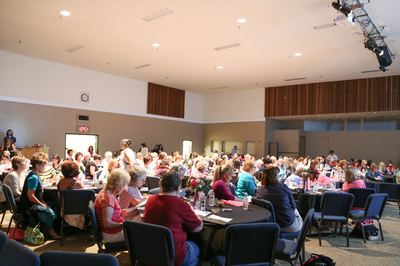 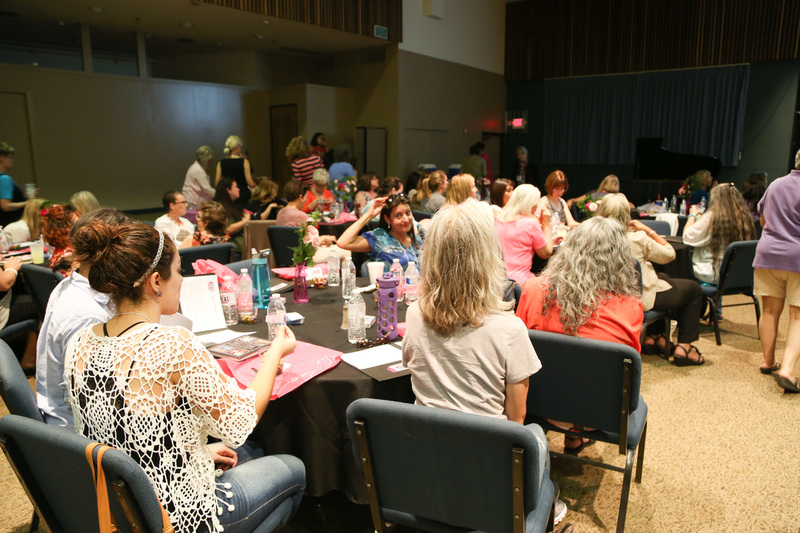 Over 250 women attended, plus there were 14 incredible speakers and as always our fantastic volunteers and prayer partners. 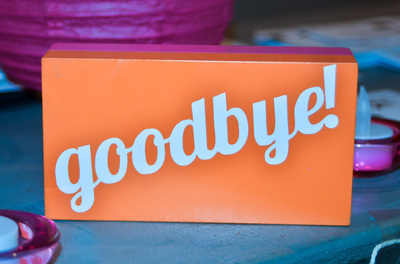 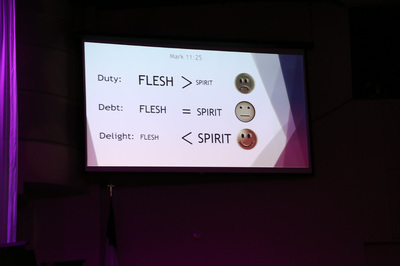 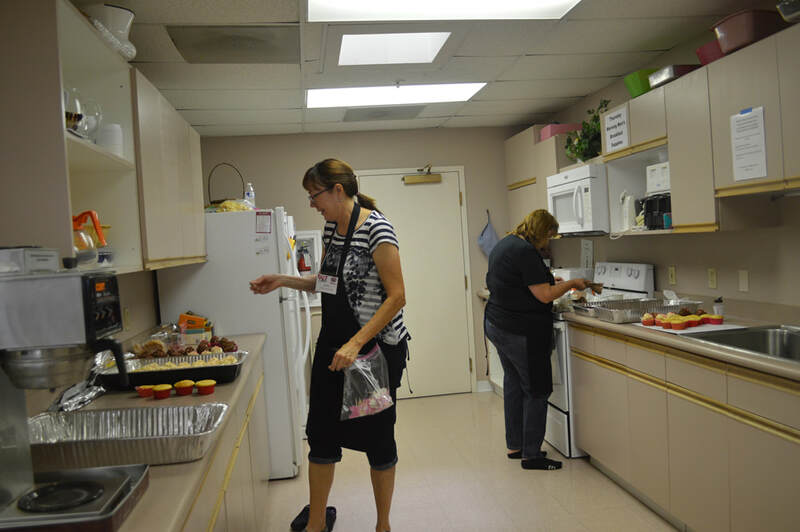 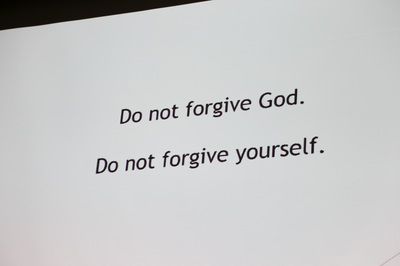 Women got REAL with God and REAL with each other and were reminded through Barb Mulvey's teaching from Titus 3:3-8 about God's grace in the midst of our mess. 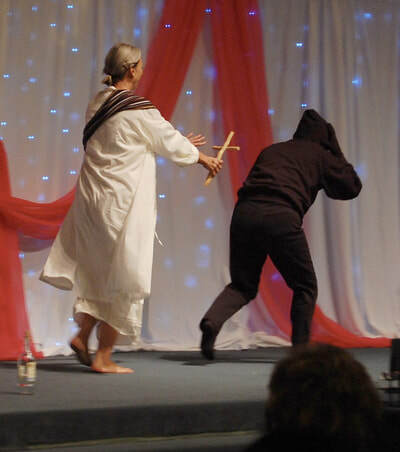 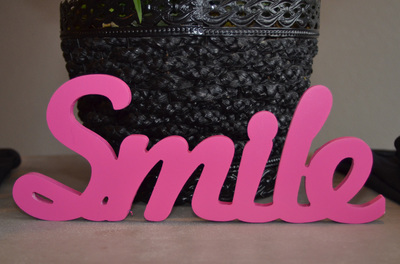 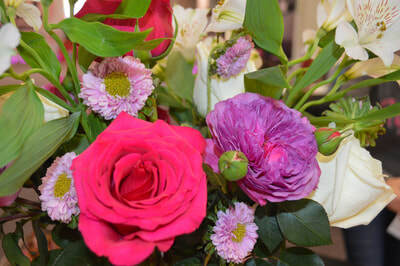 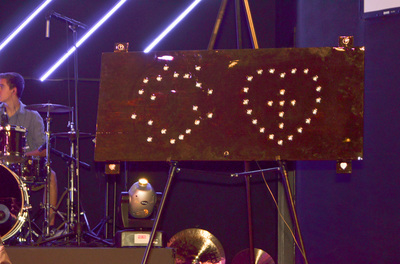 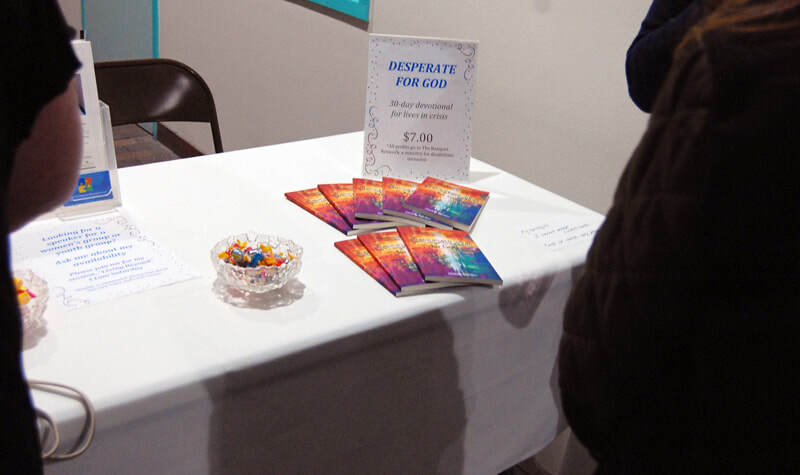 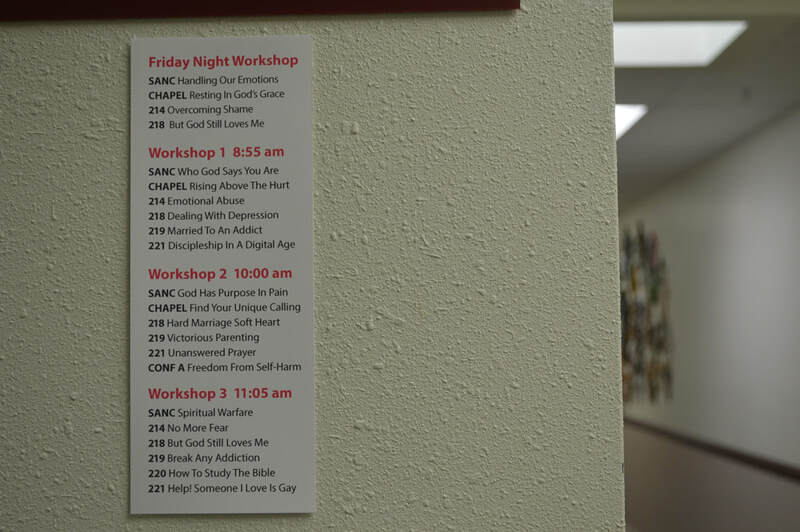 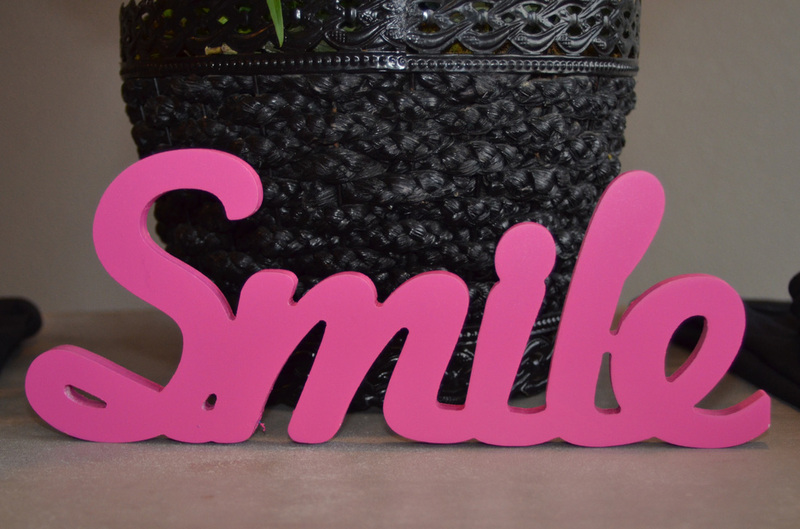 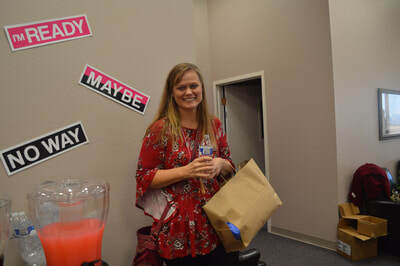 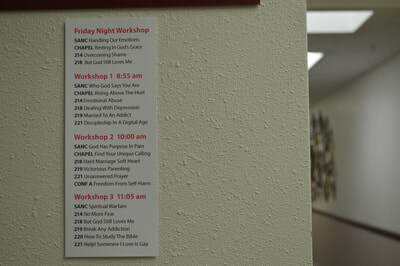 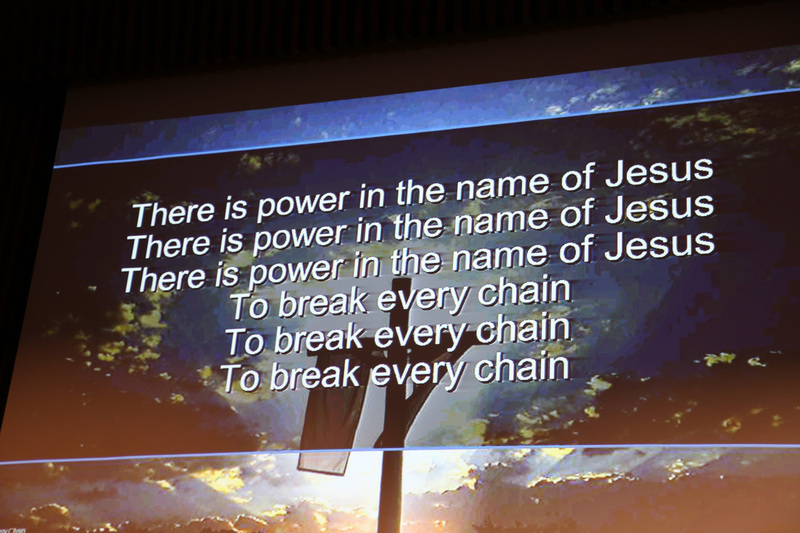 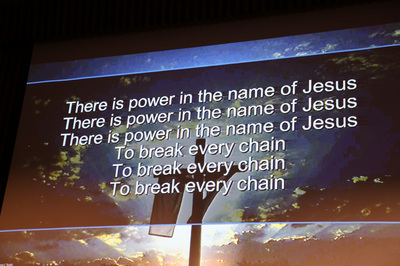 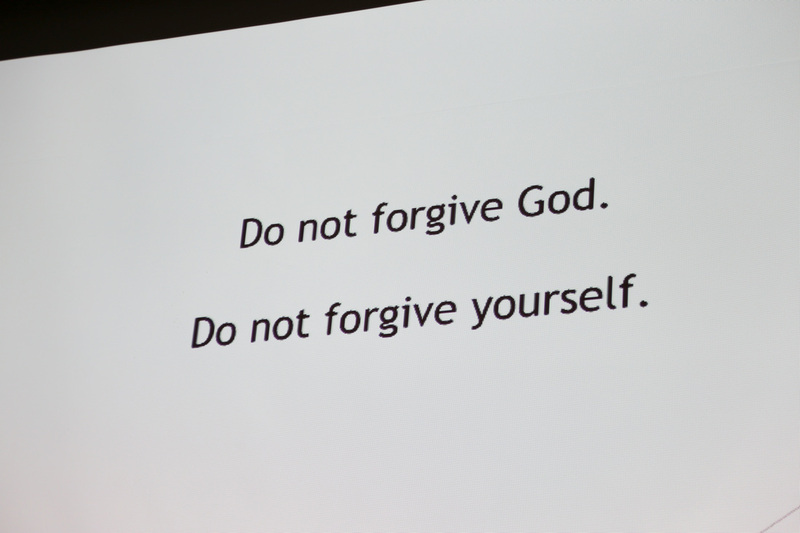 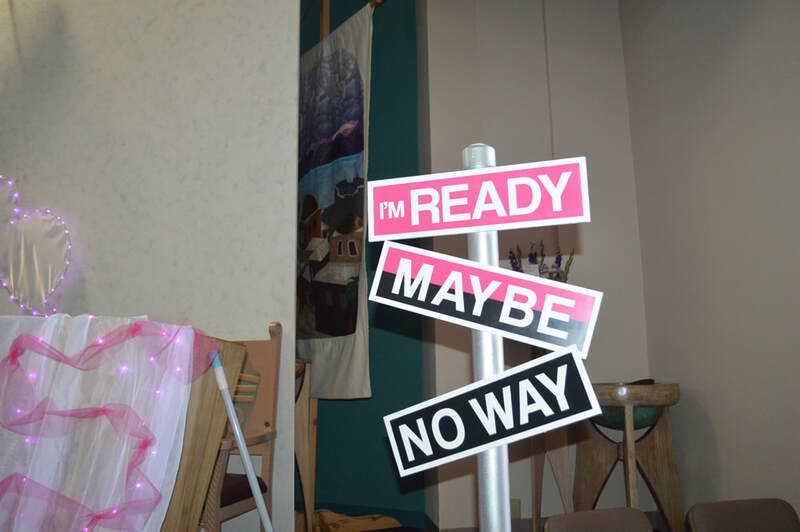 The 18 workshop choices on Saturday and 4 on Friday night further solidified the reality of God's incredible grace. 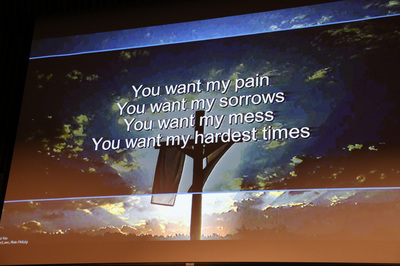 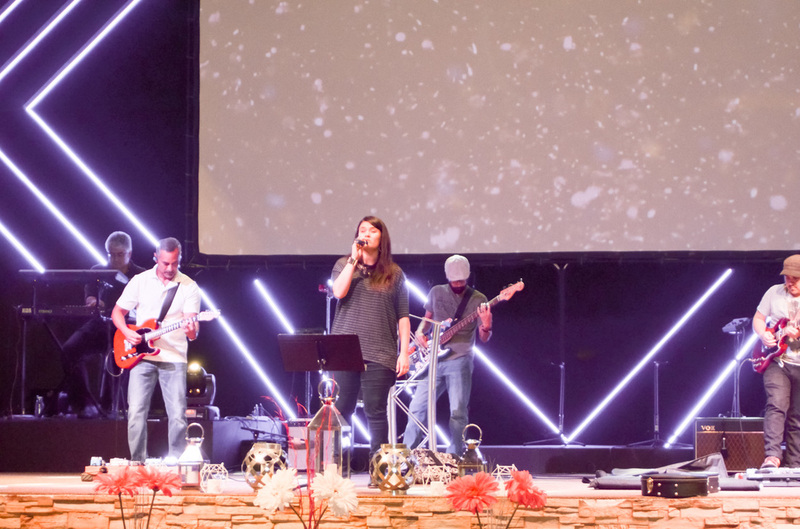 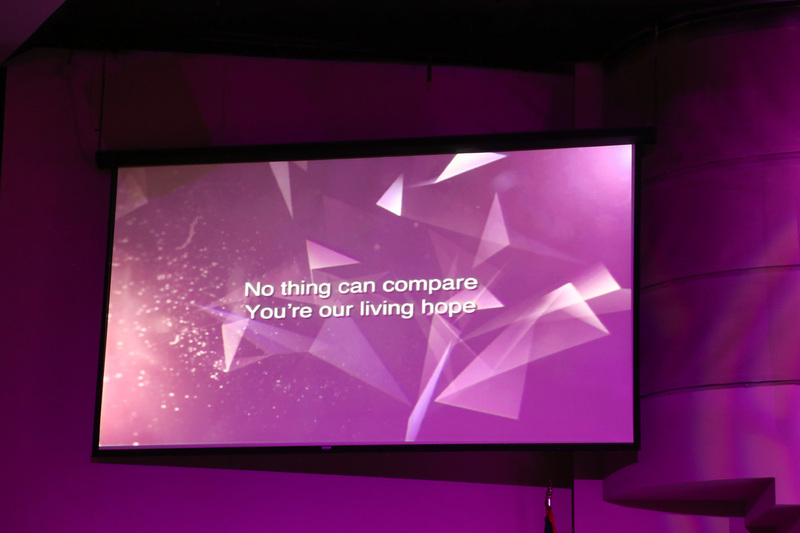 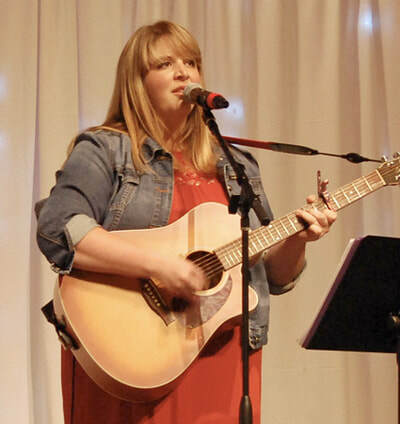 The worship by Caitlin Craft brought us into God's presence and reminded us of who Jesus is and what He has done for each of us. 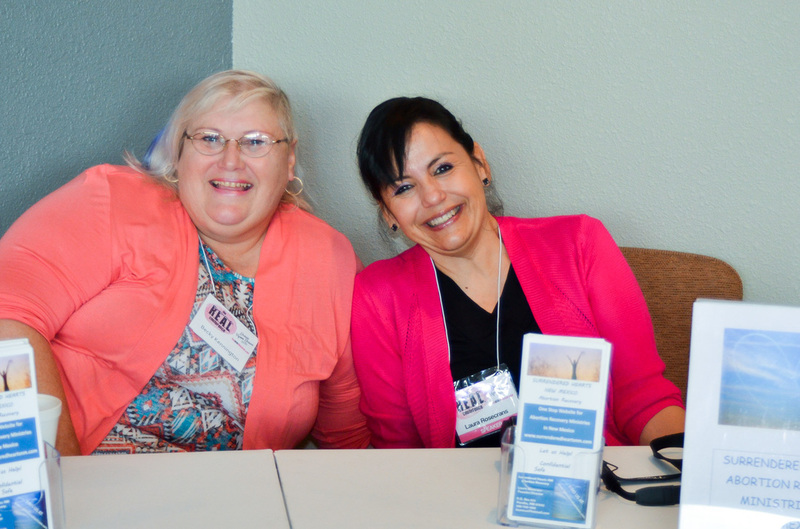 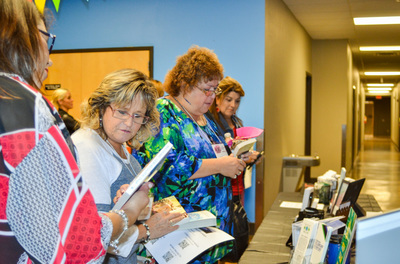 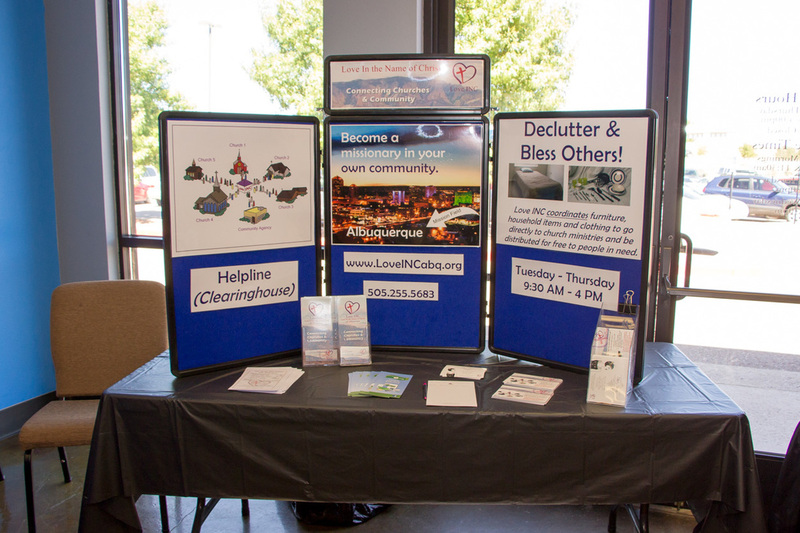 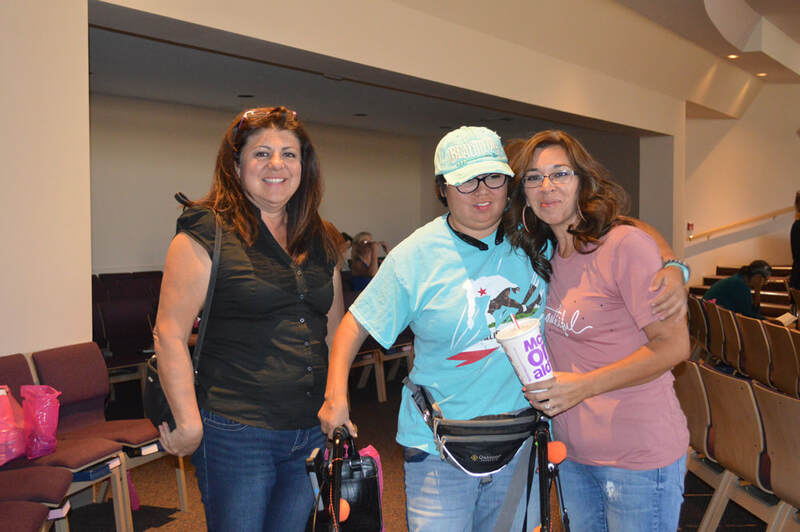 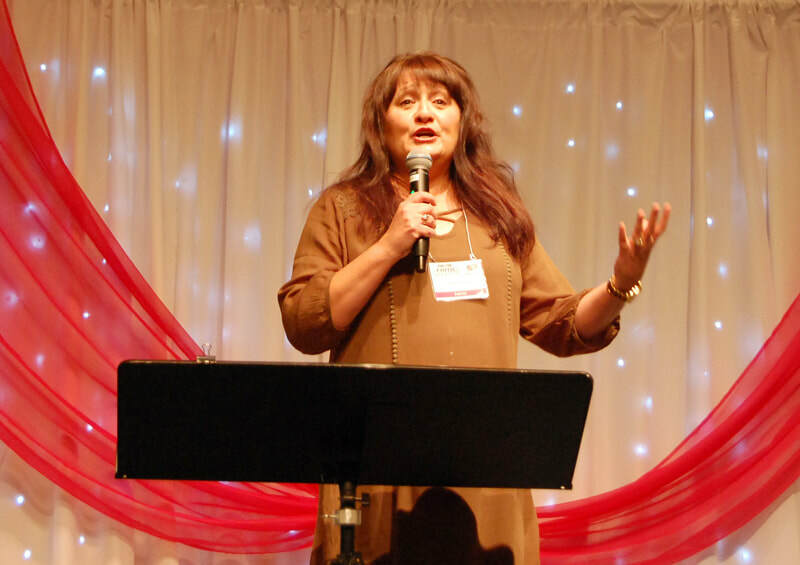 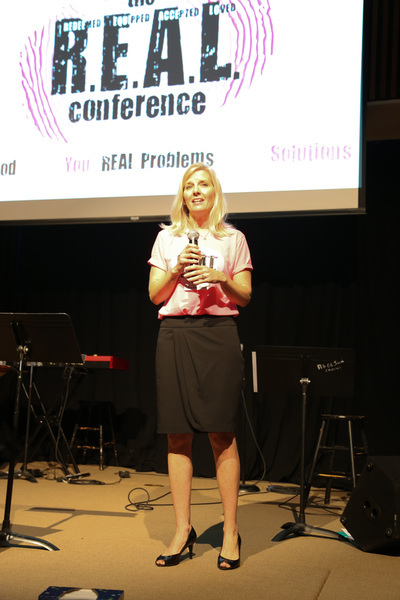 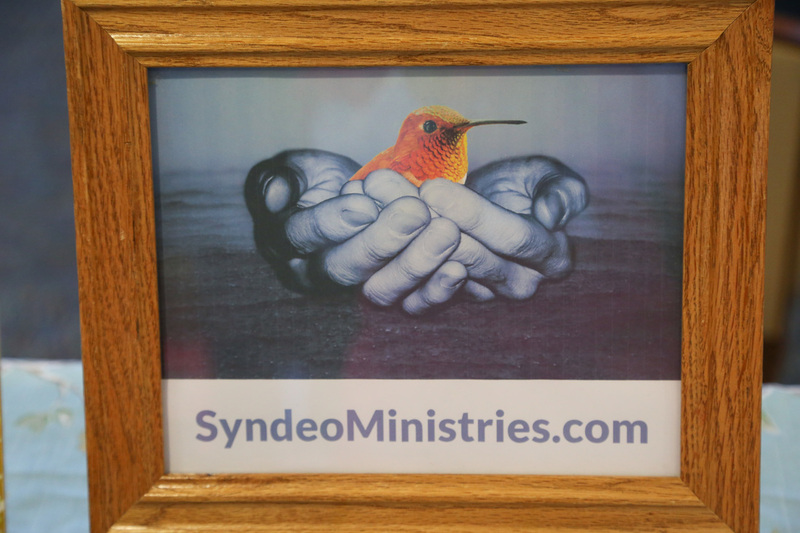 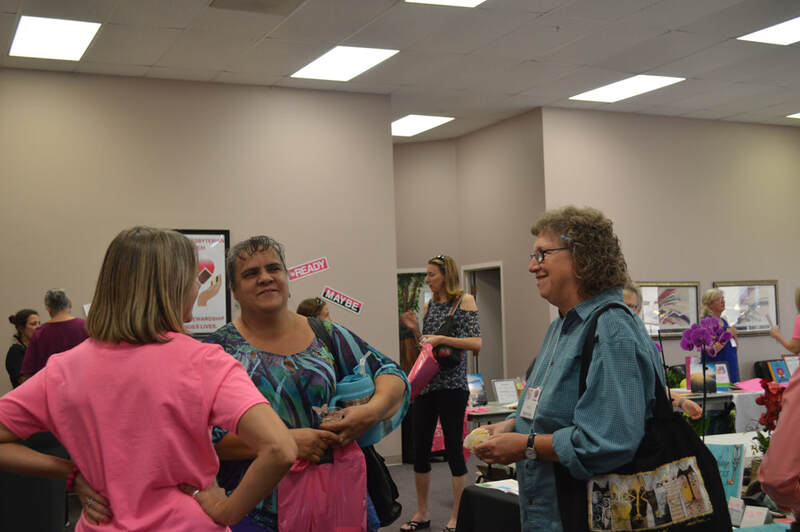 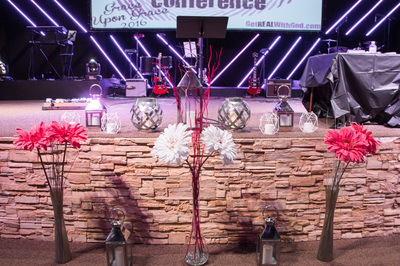 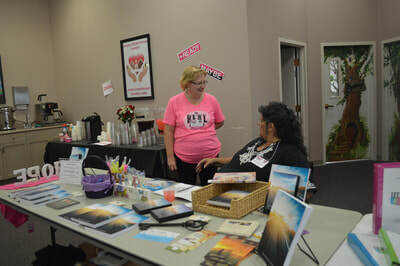 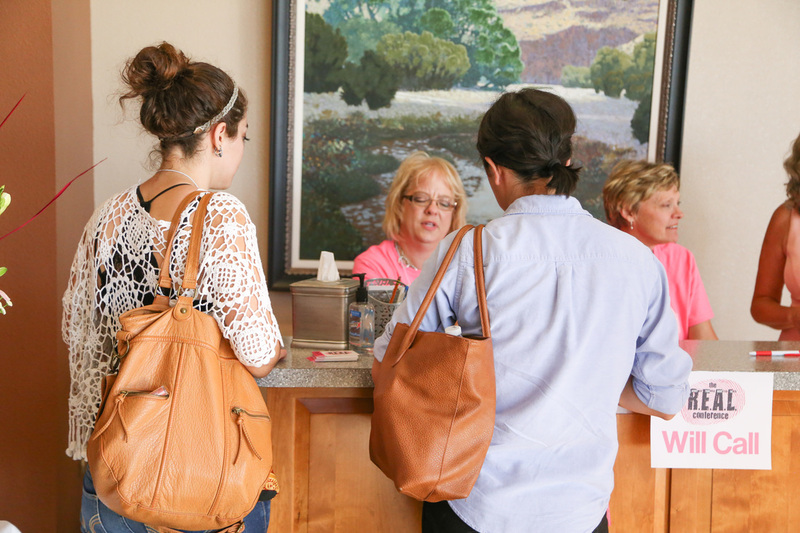 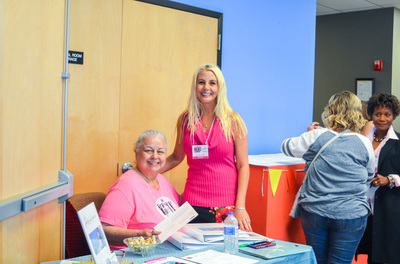 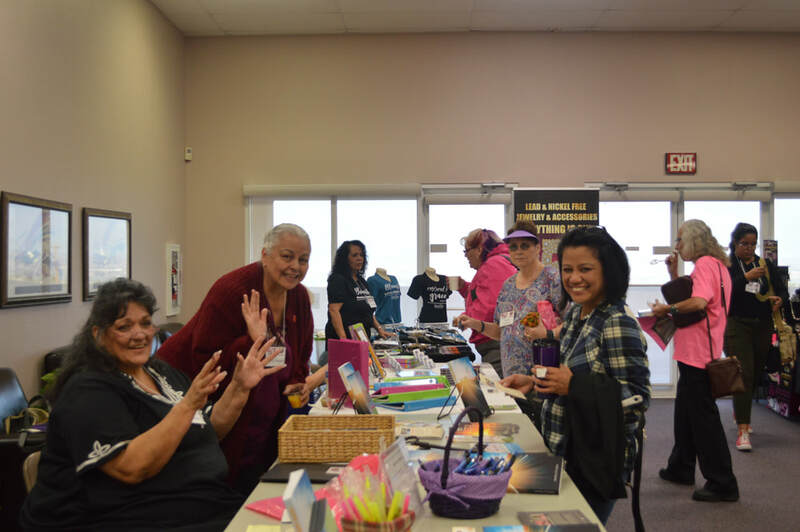 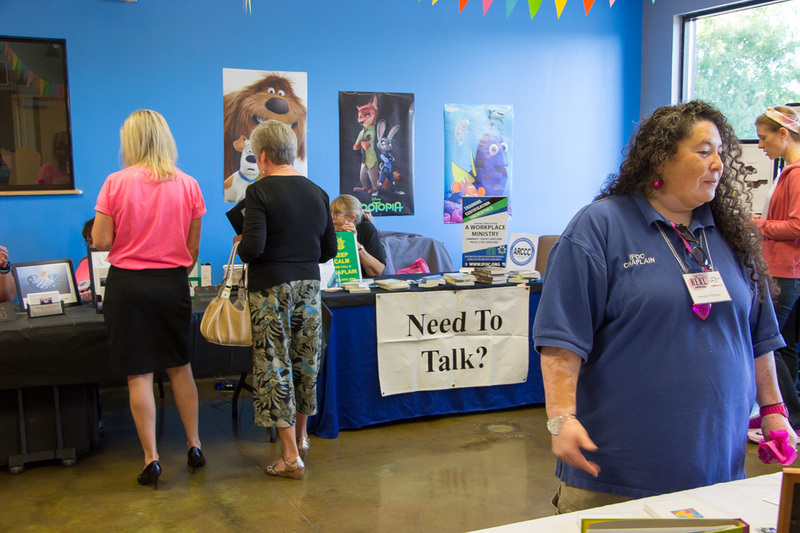 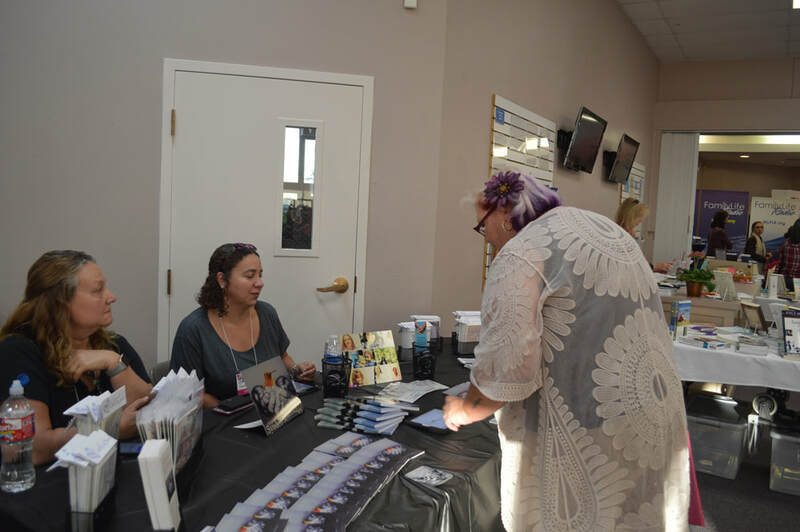 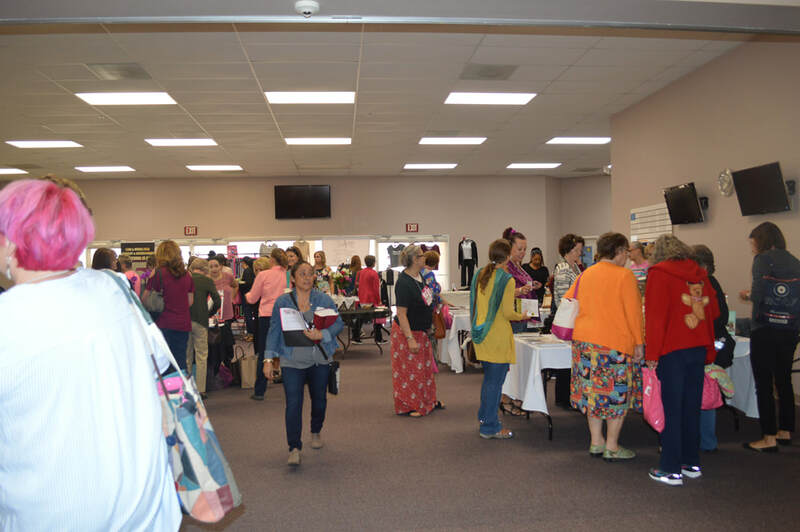 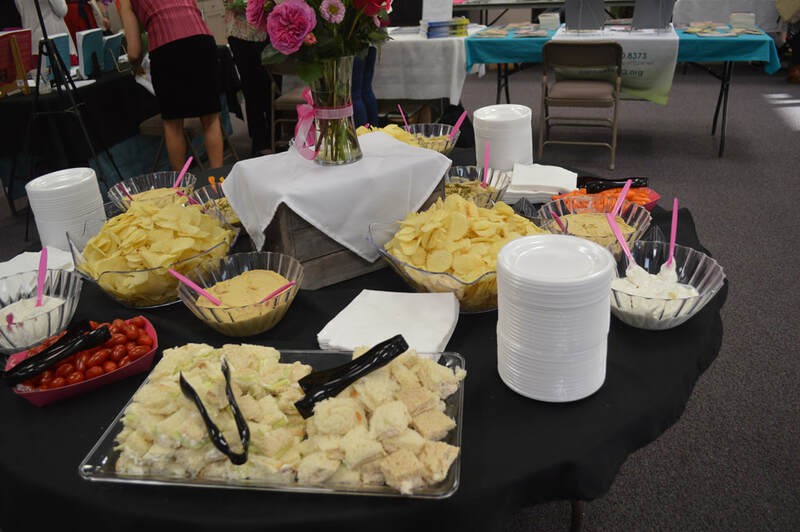 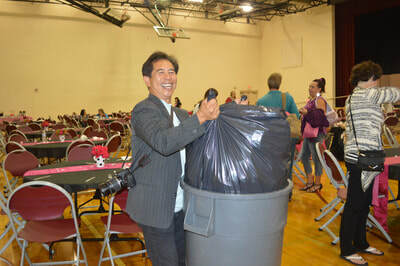 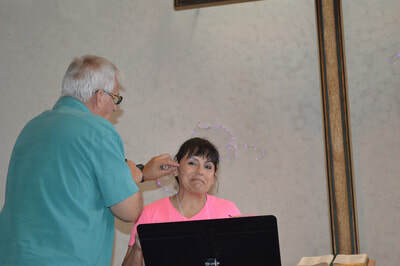 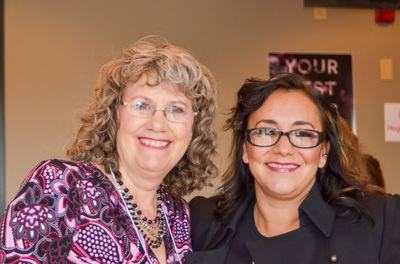 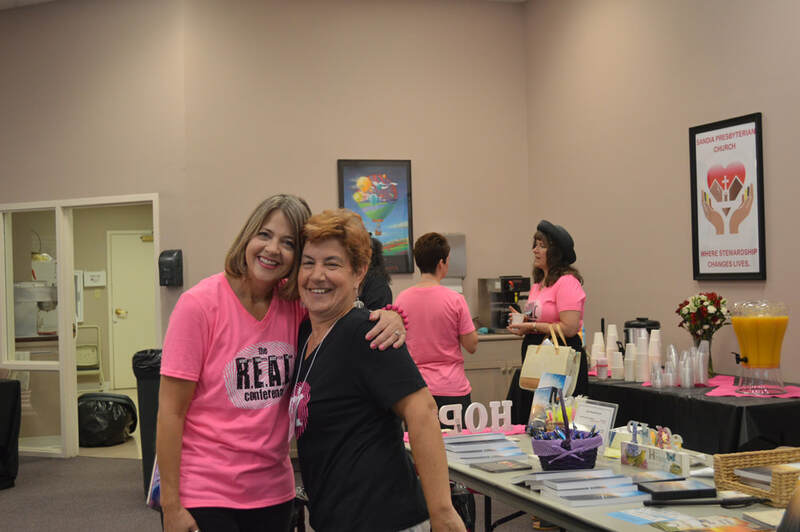 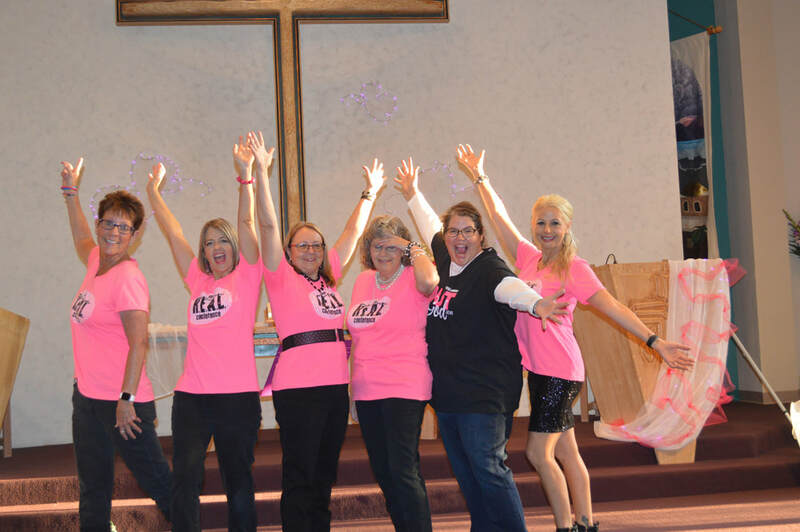 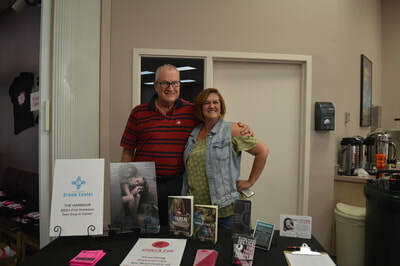 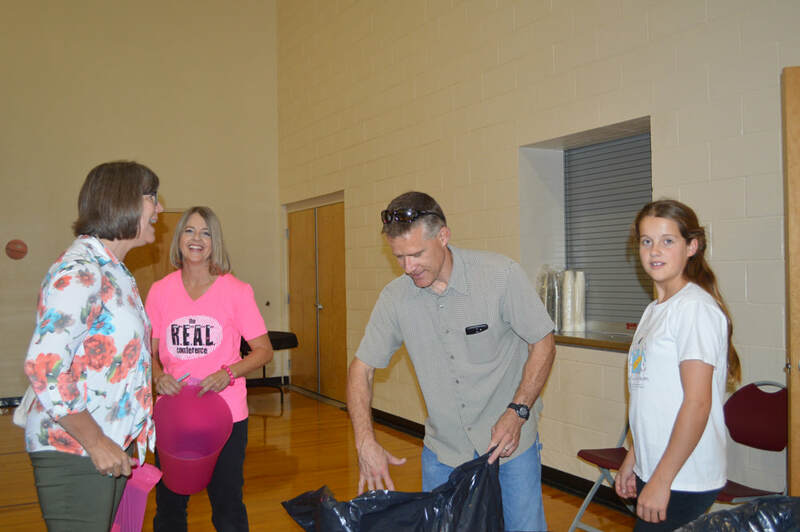 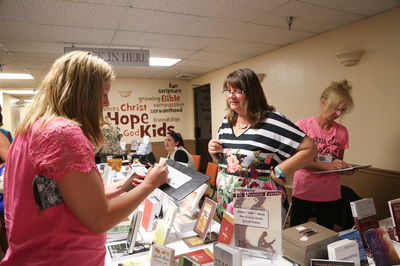 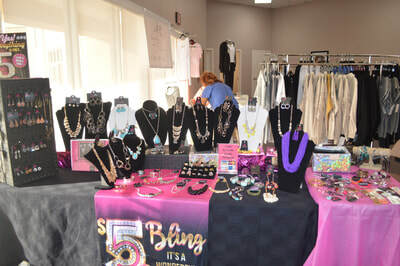 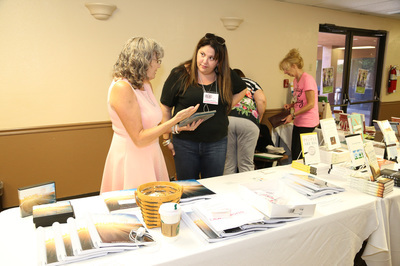 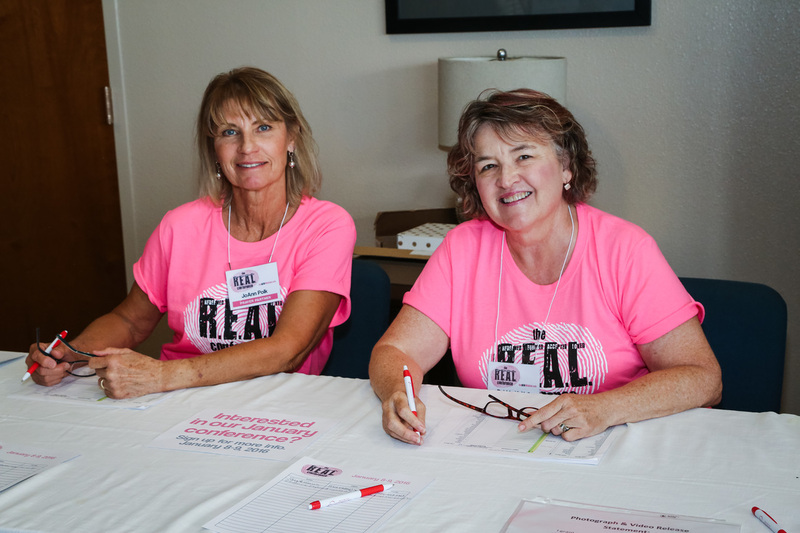 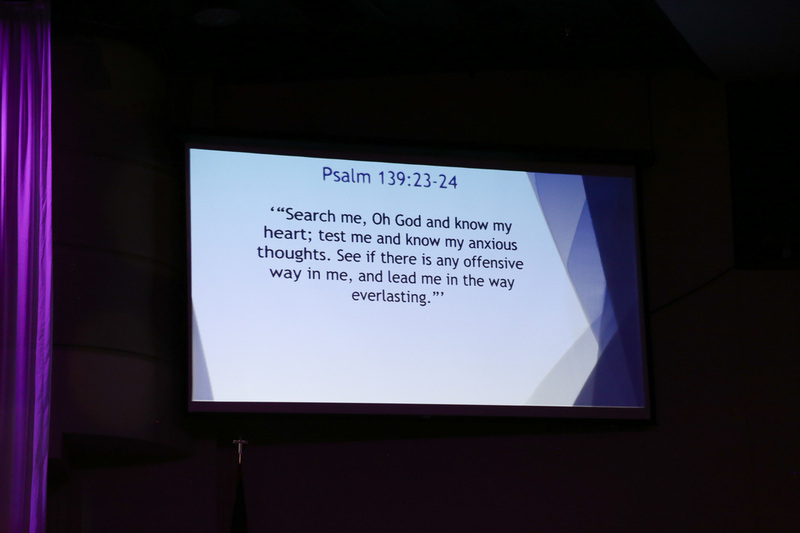 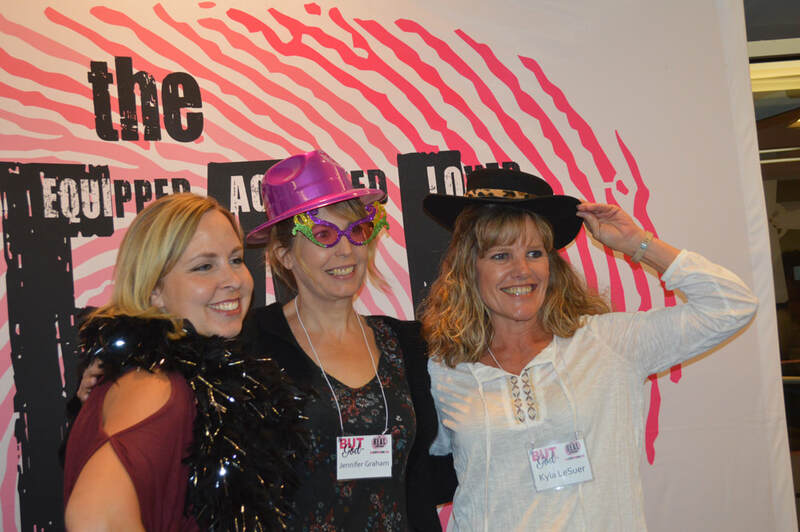 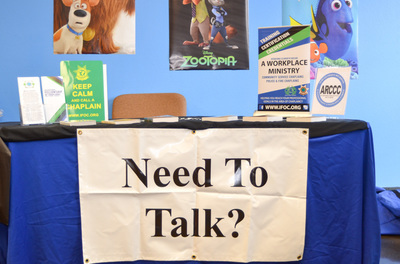 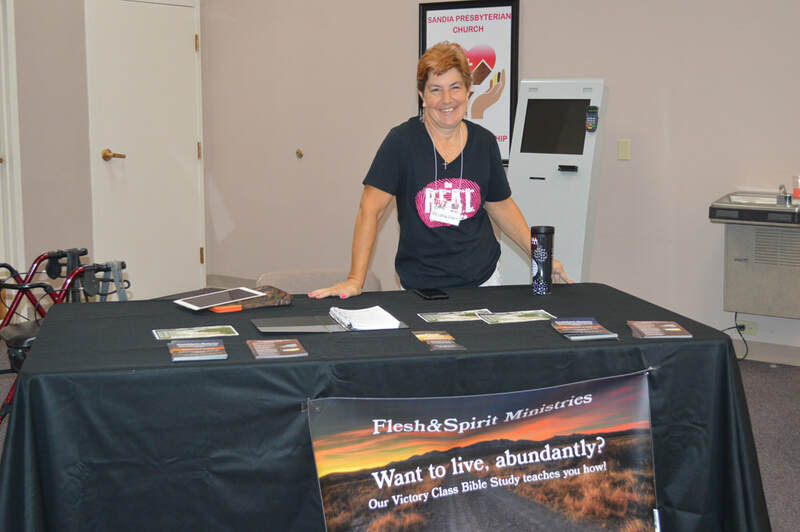 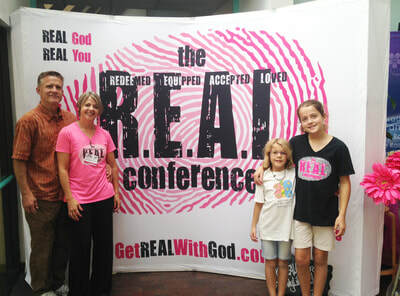 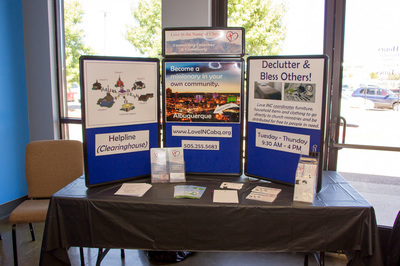 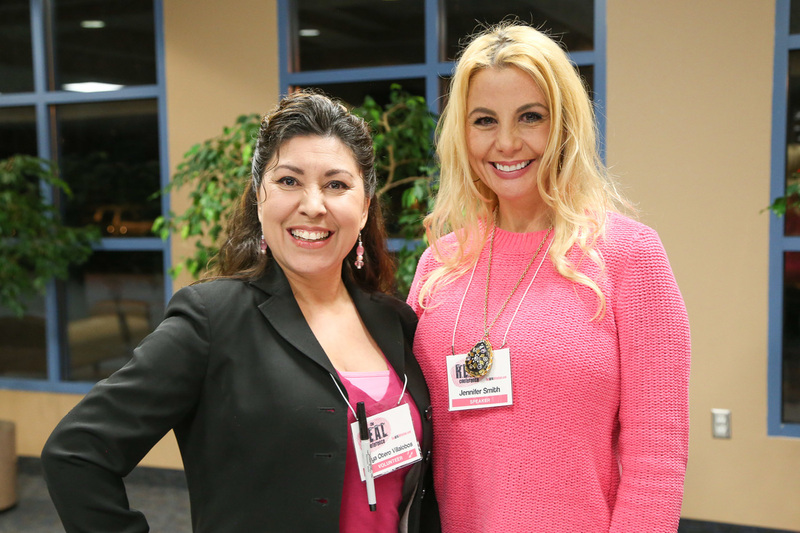 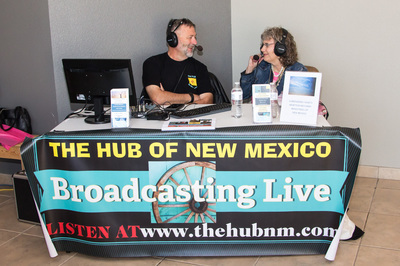 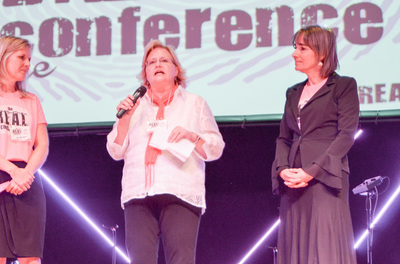 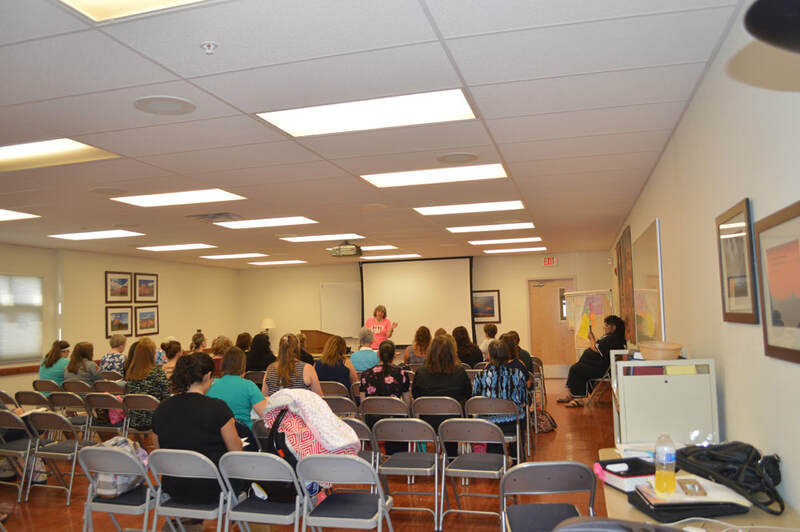 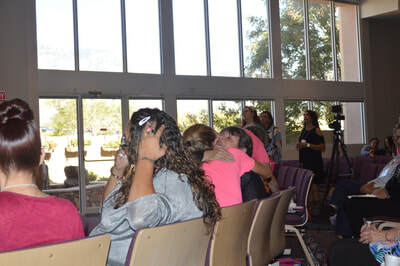 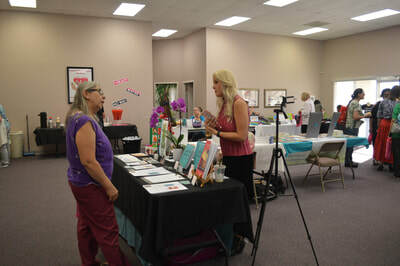 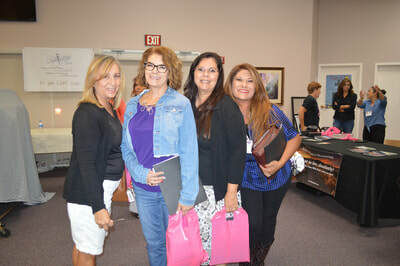 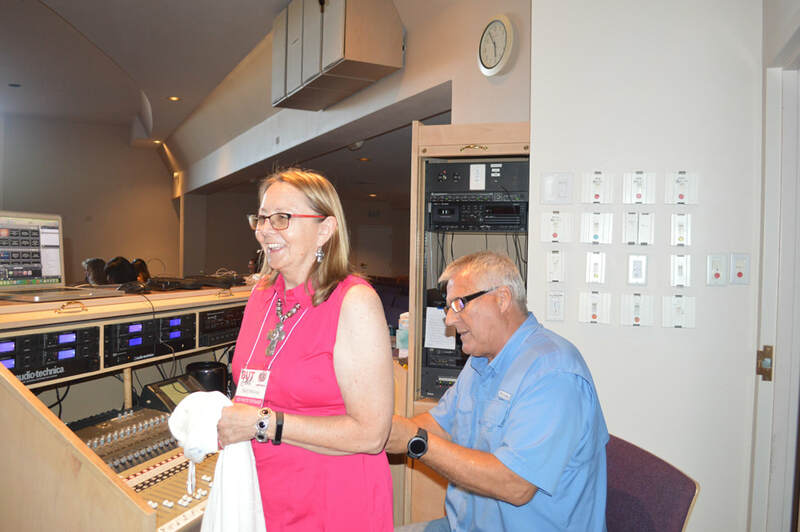 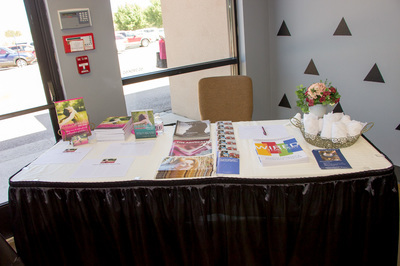 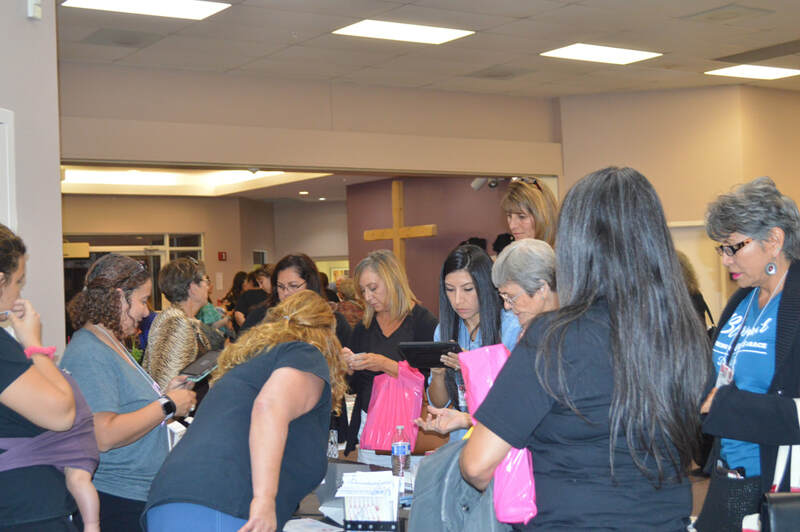 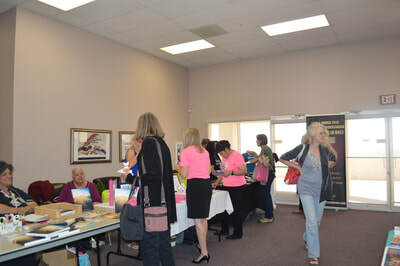 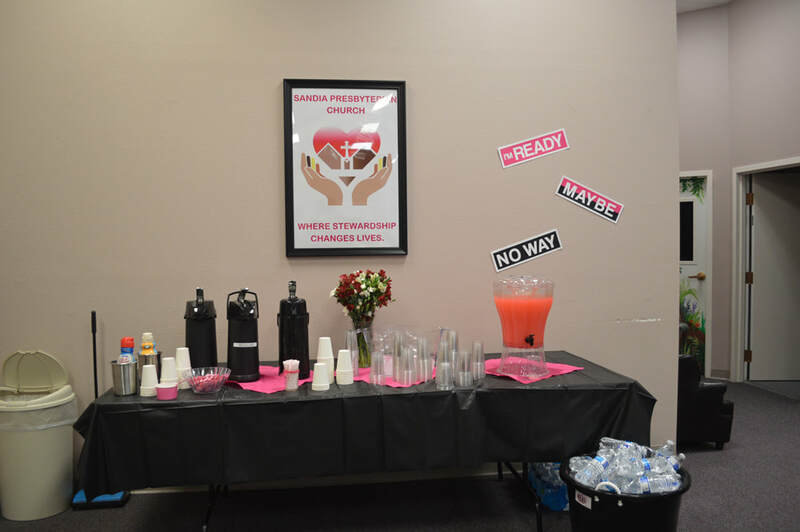 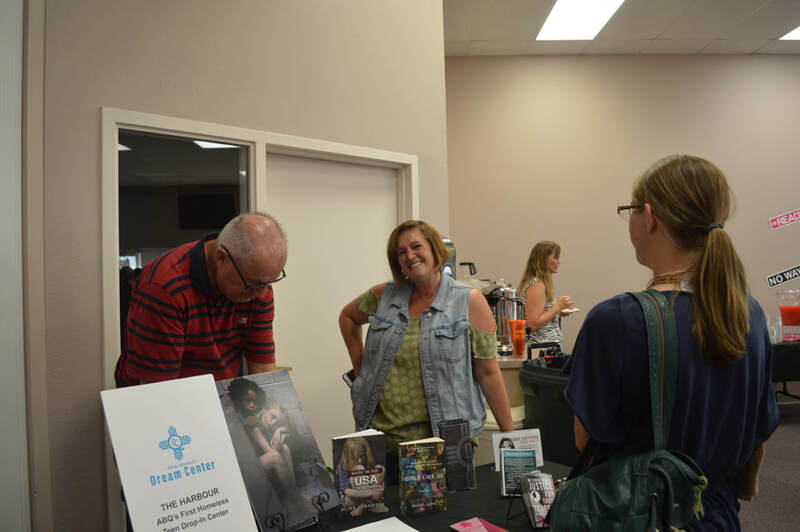 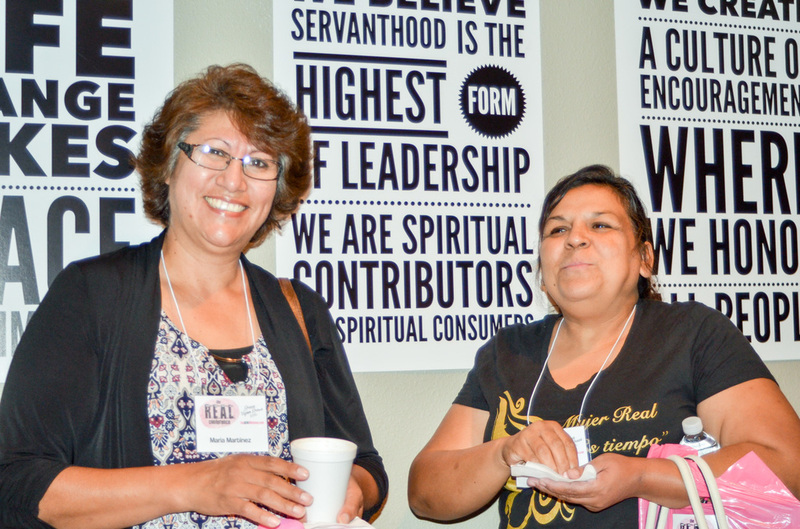 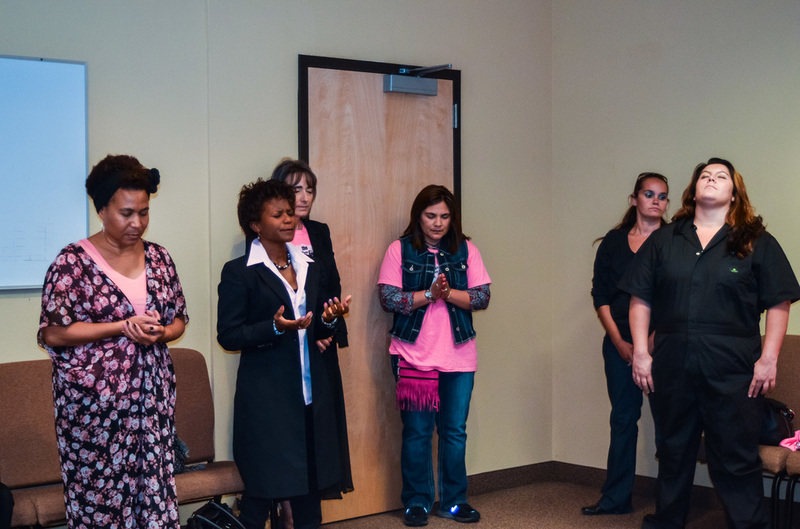 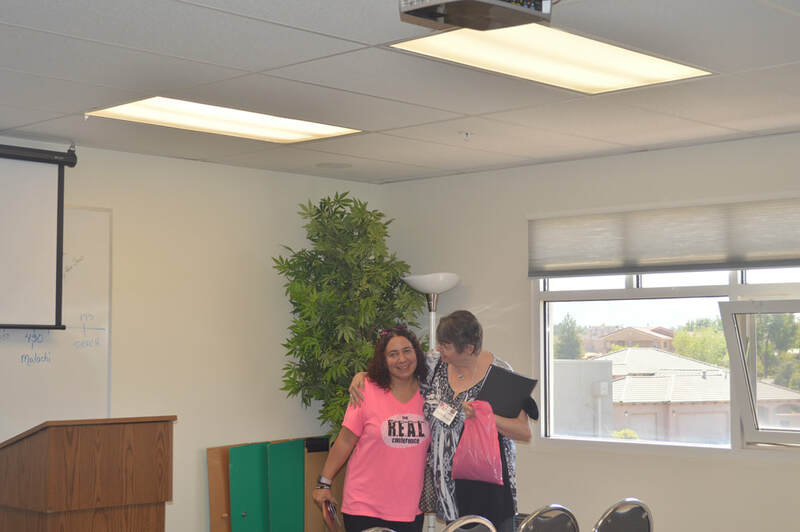 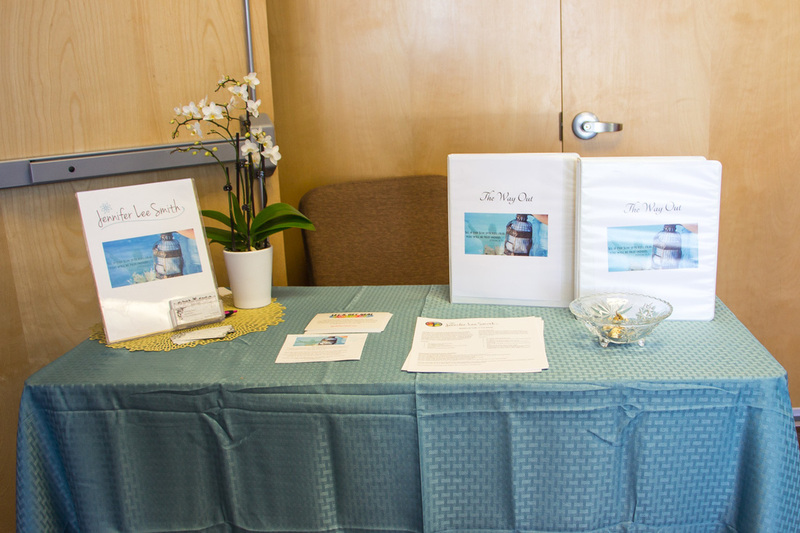 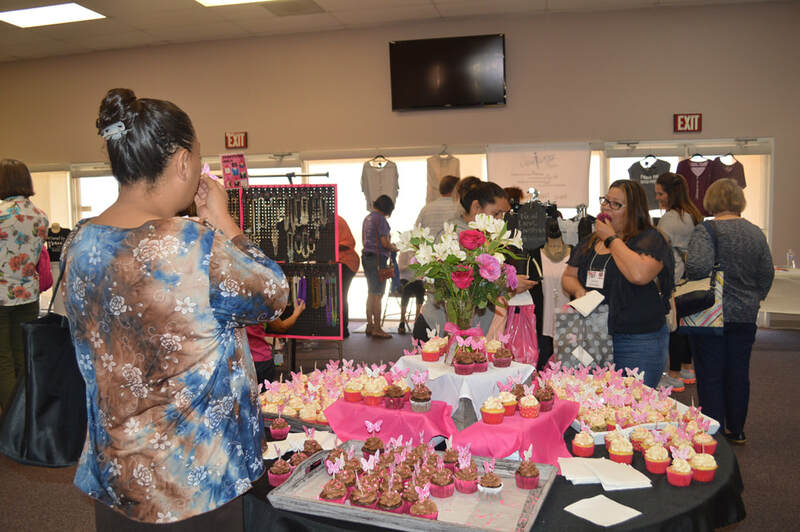 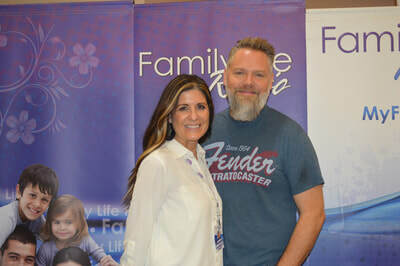 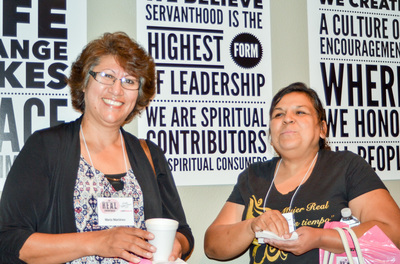 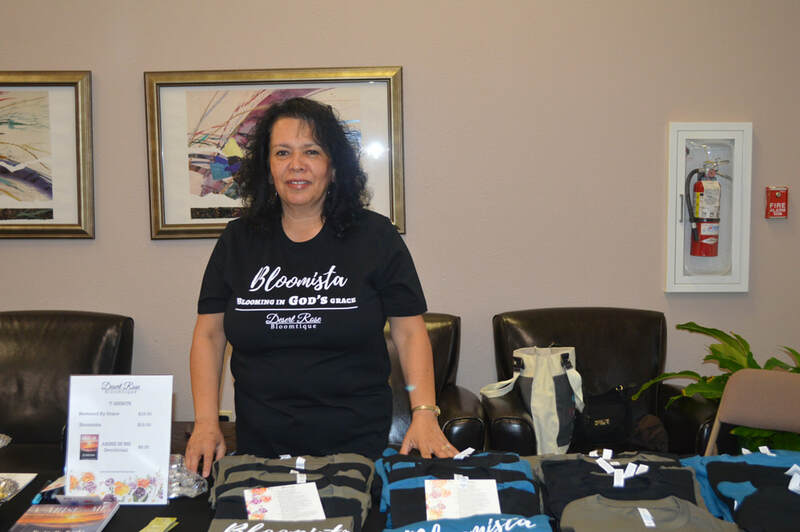 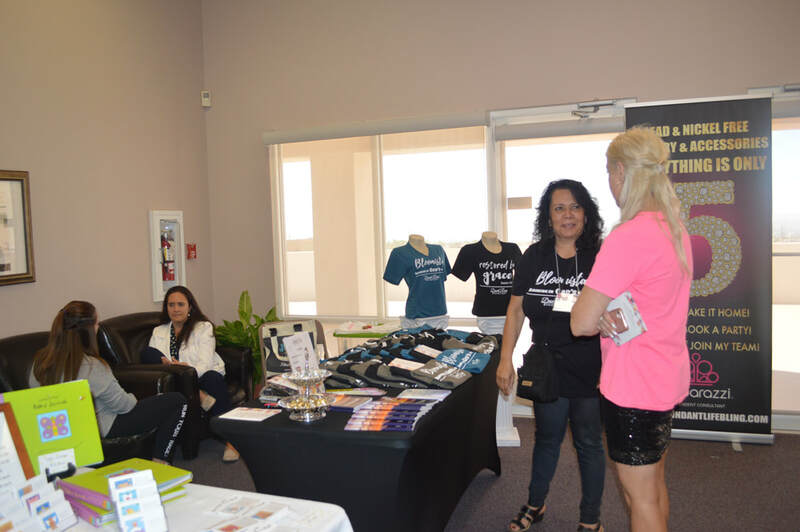 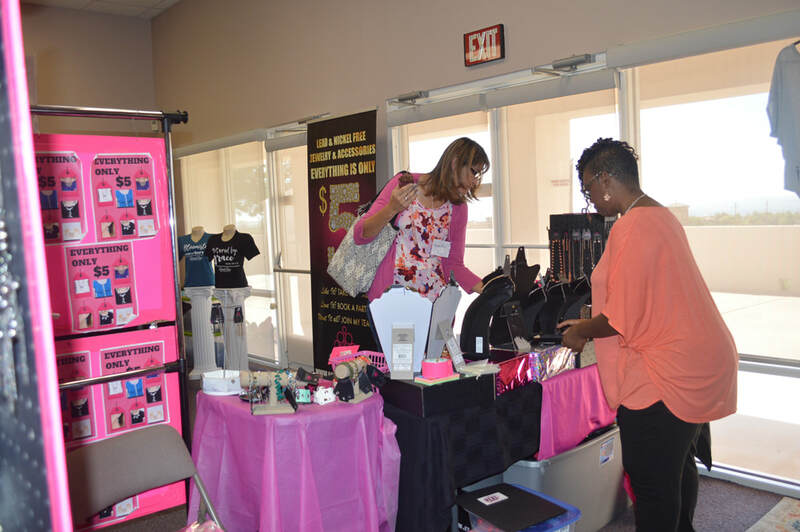 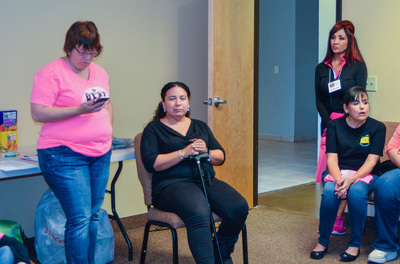 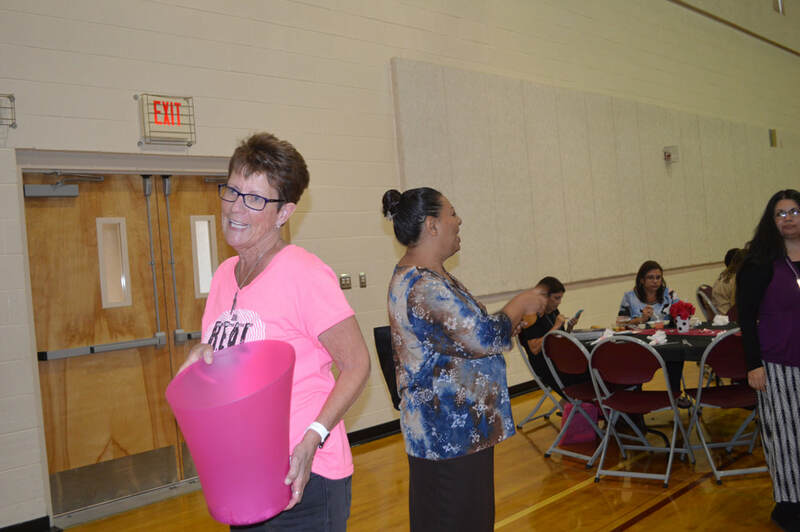 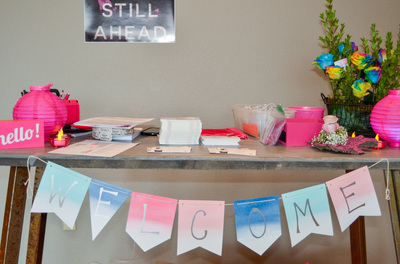 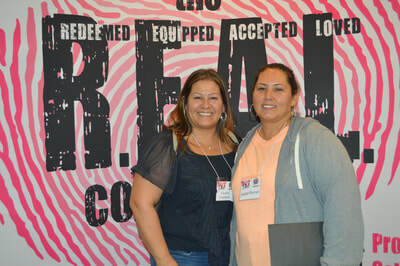 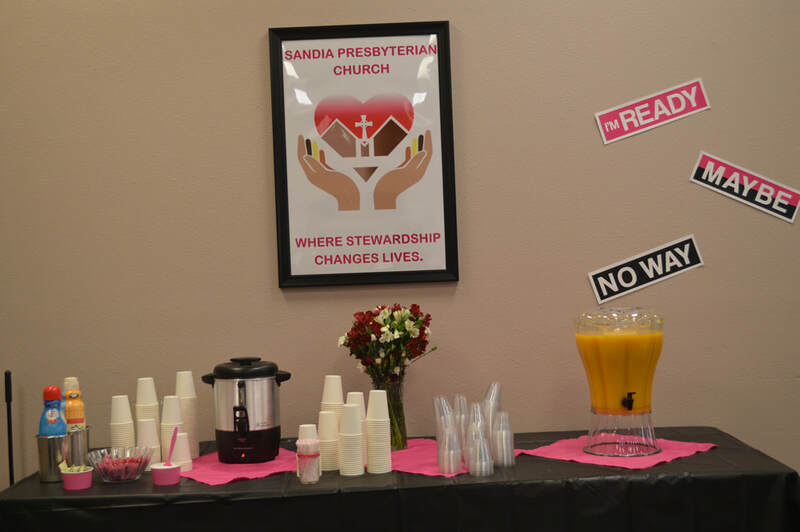 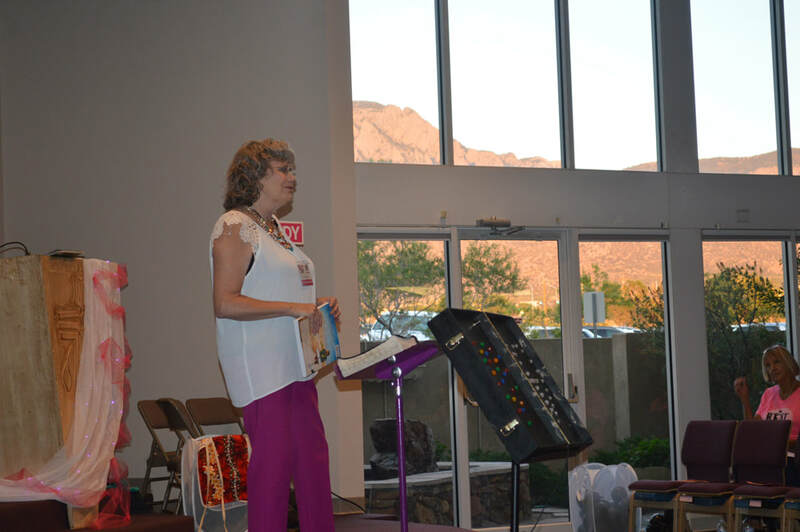 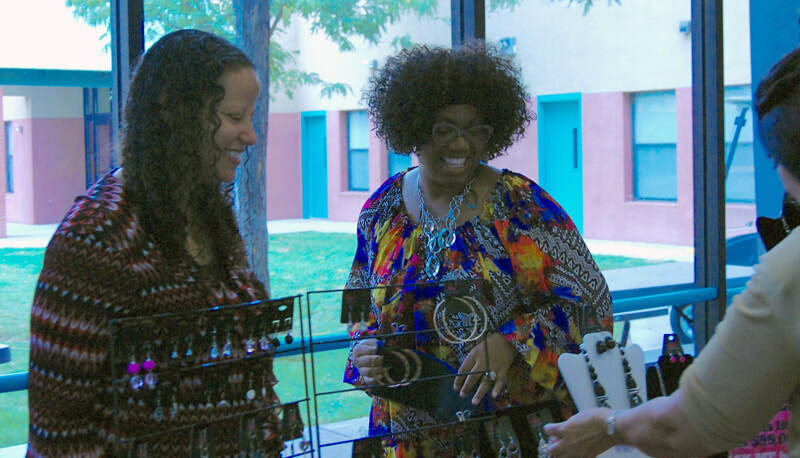 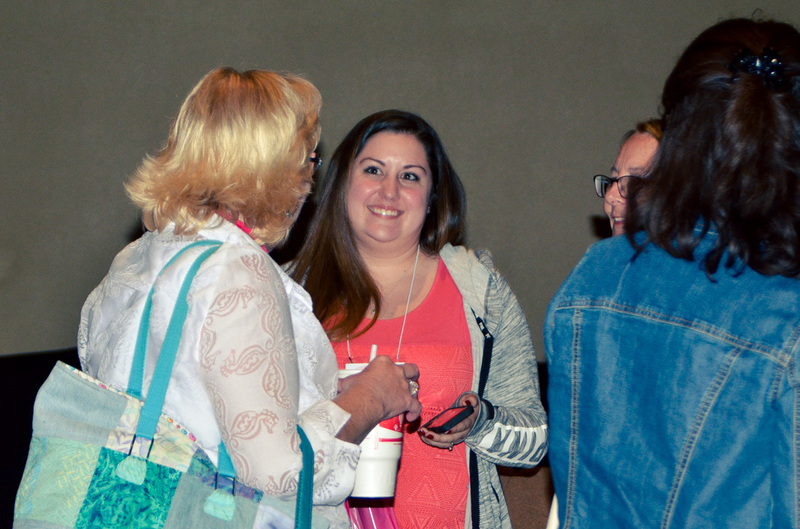 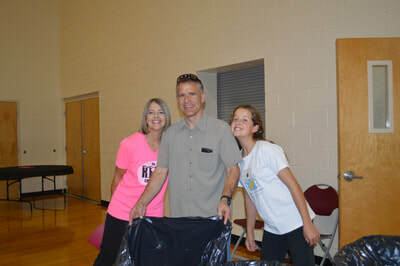 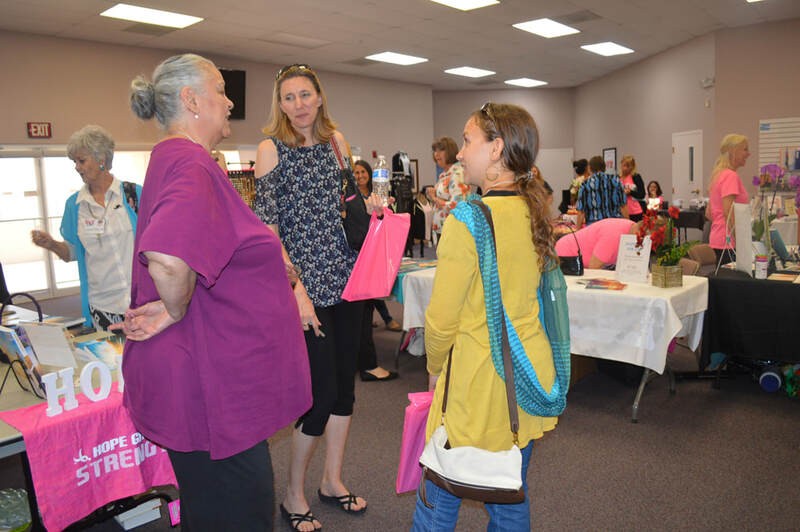 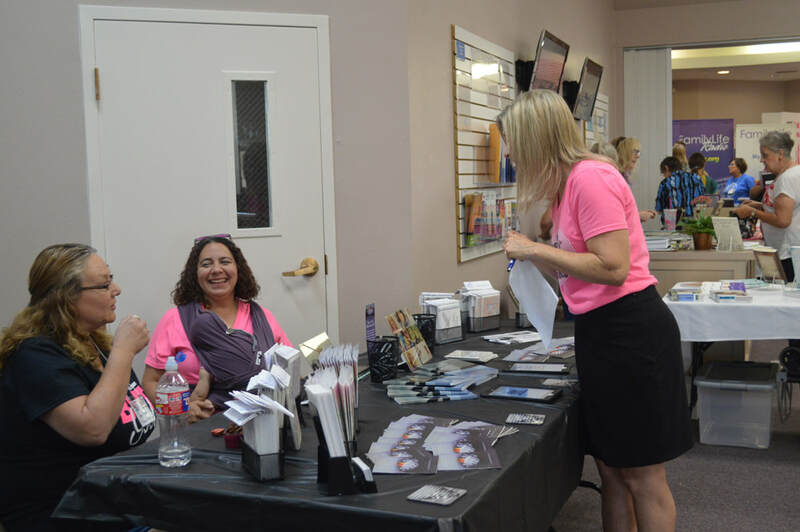 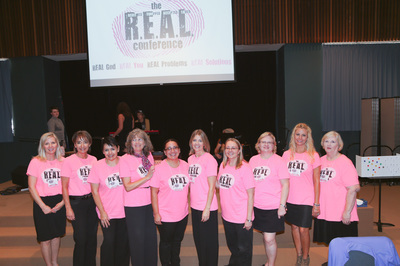 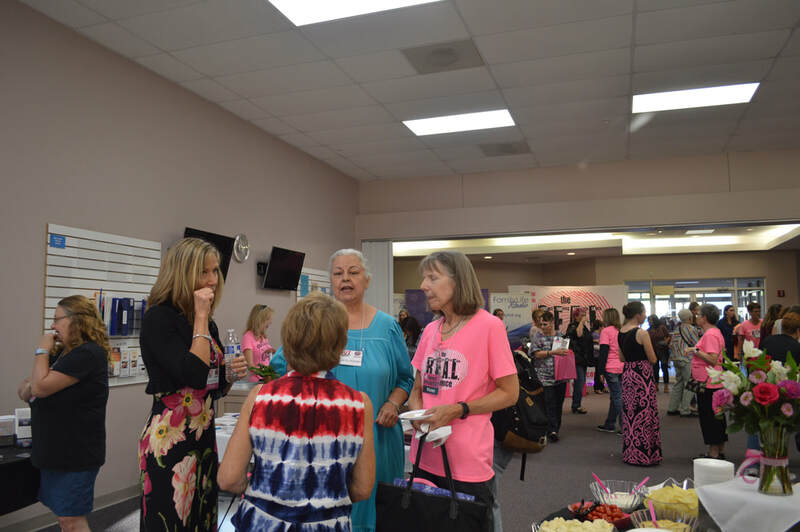 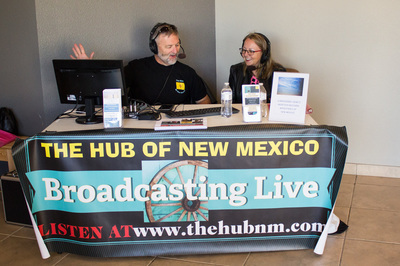 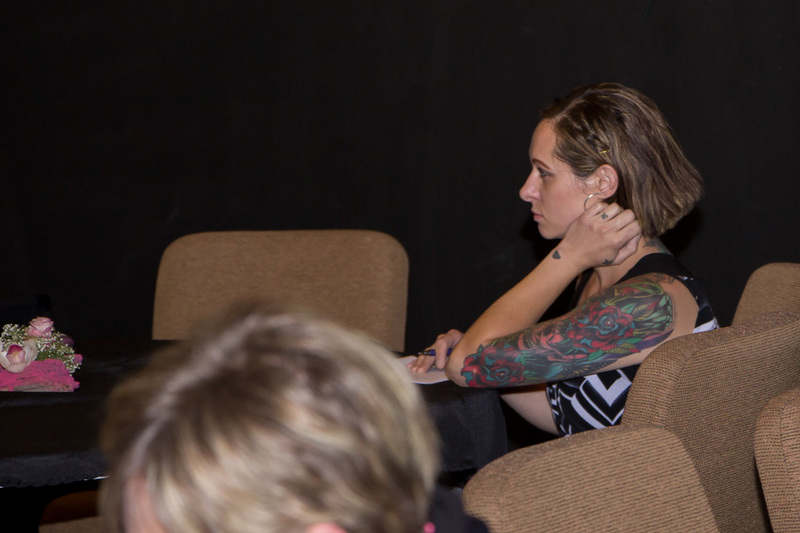 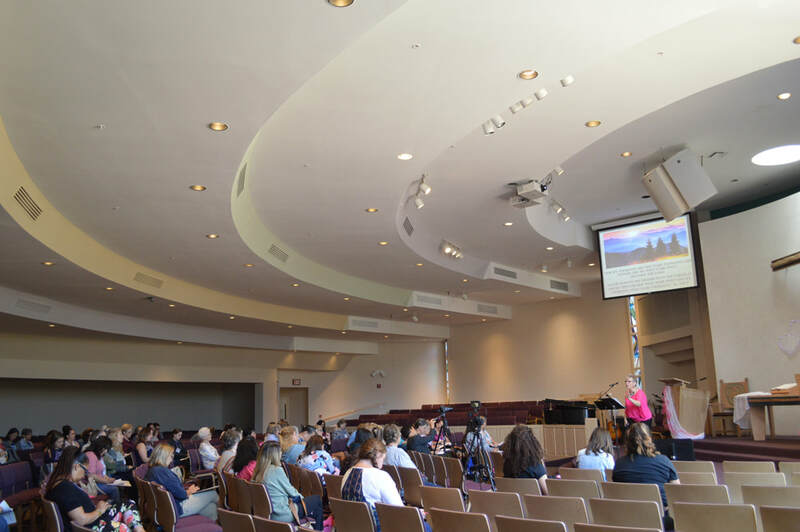 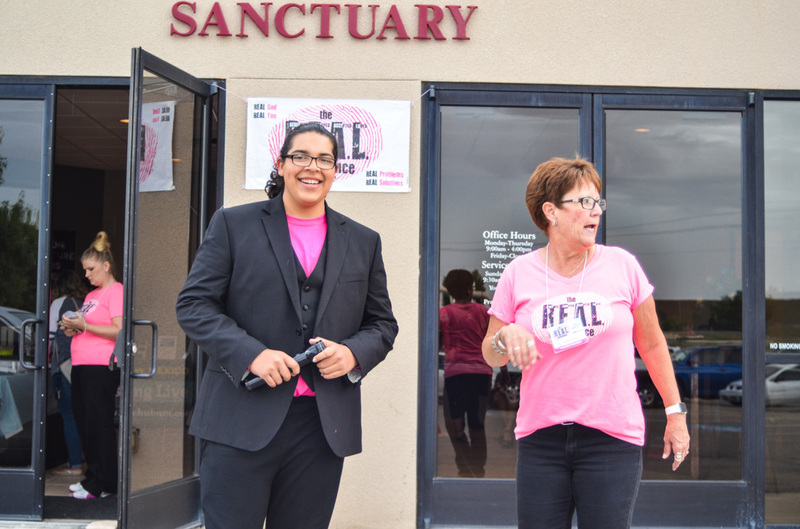 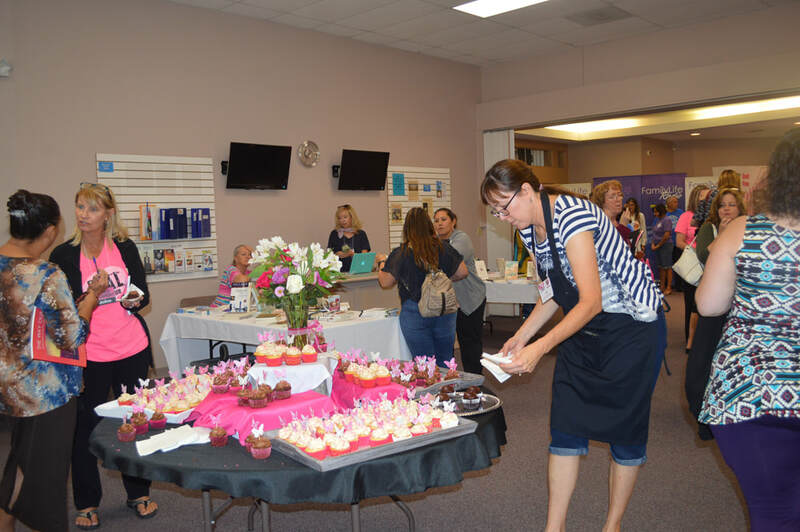 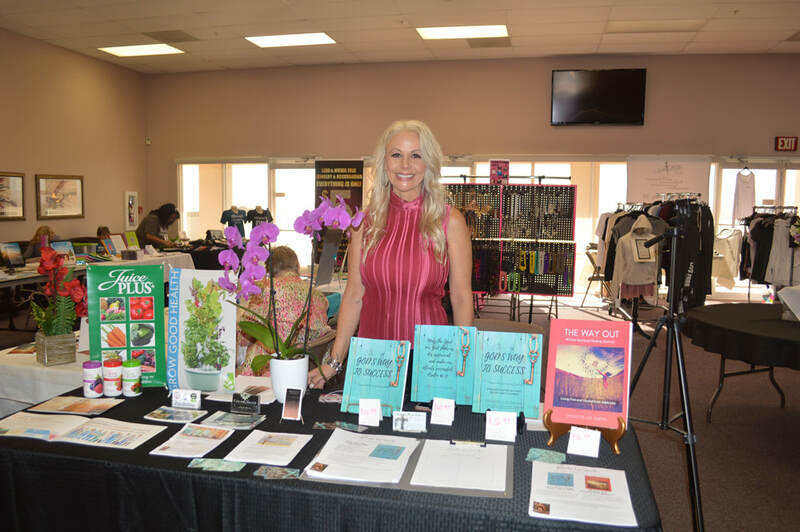 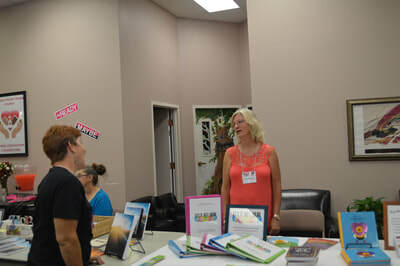 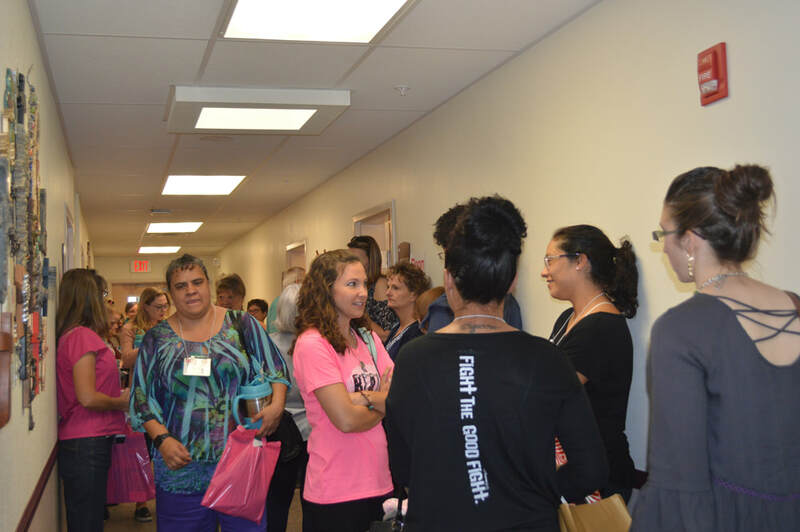 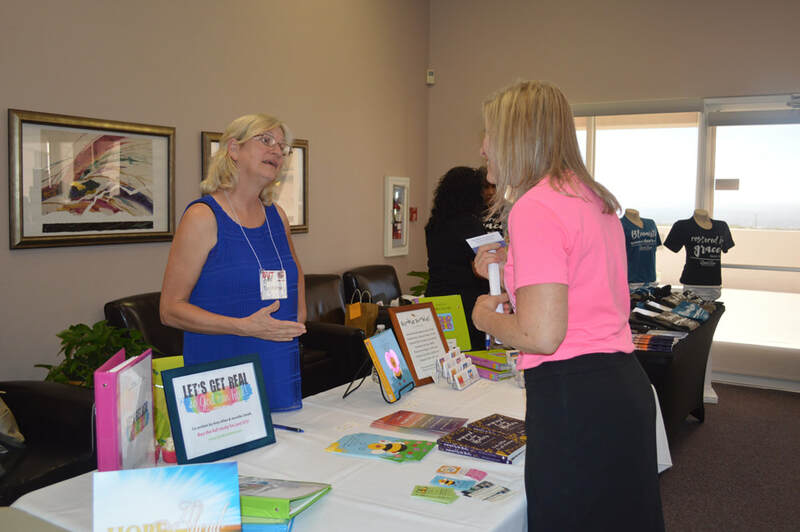 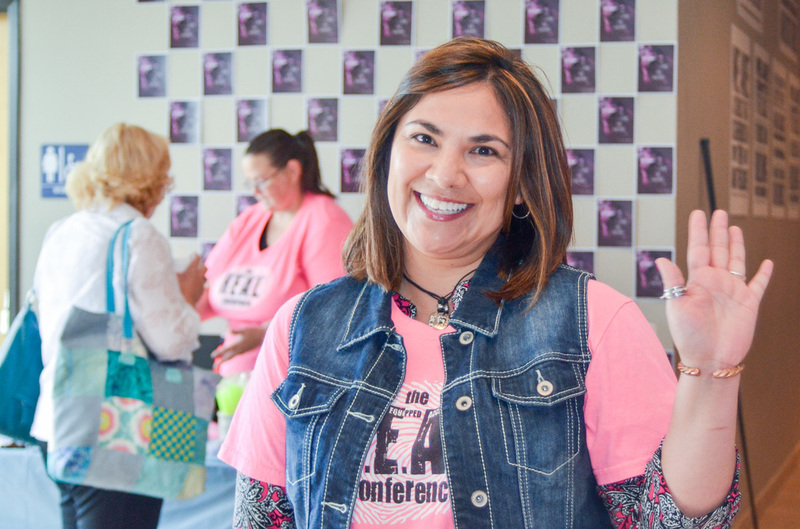 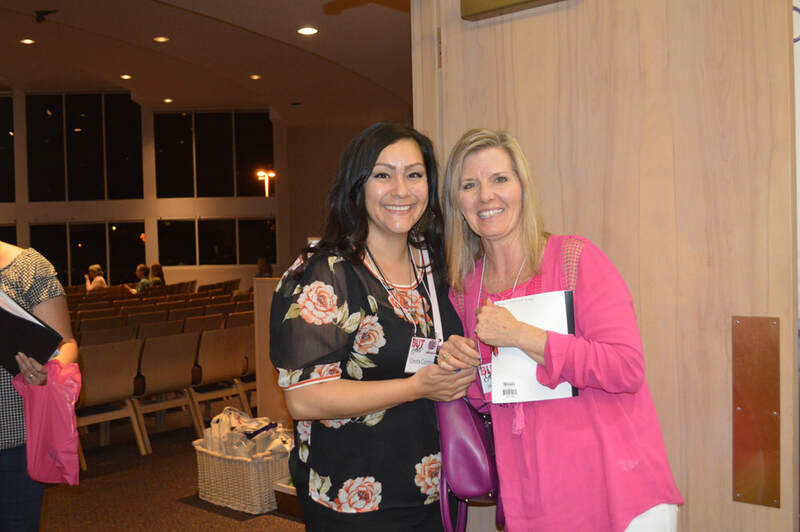 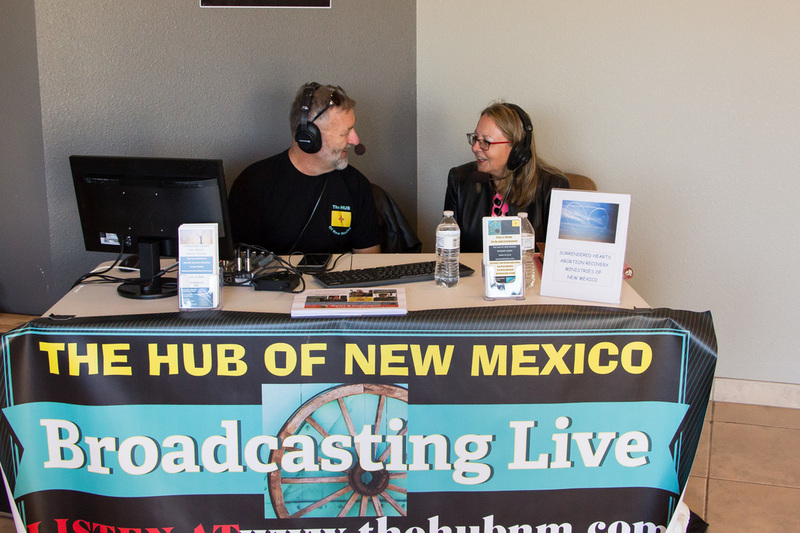 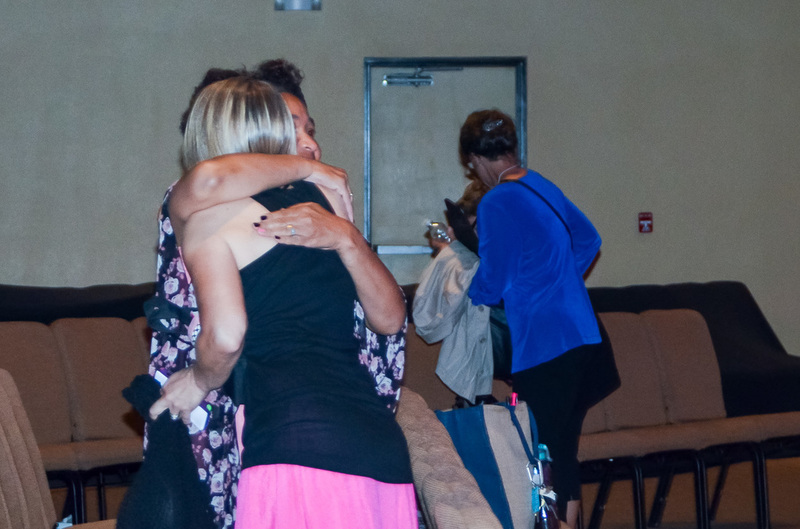 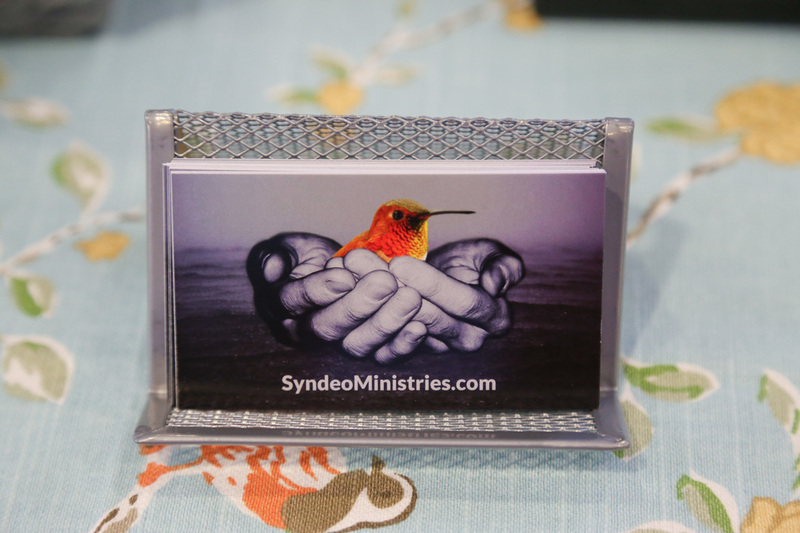 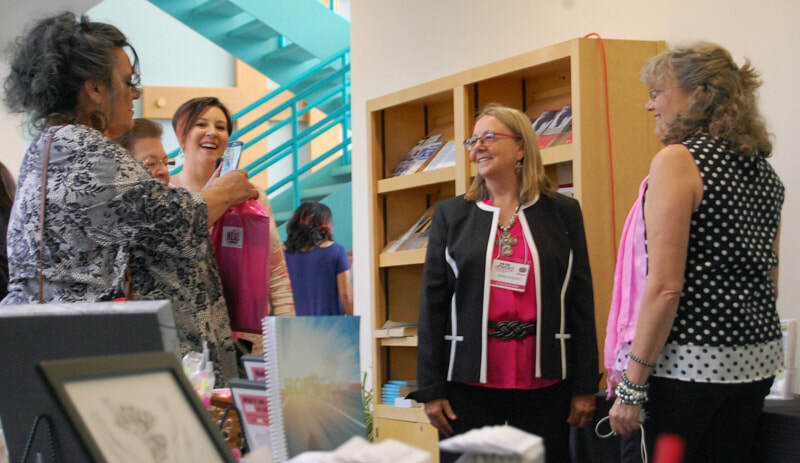 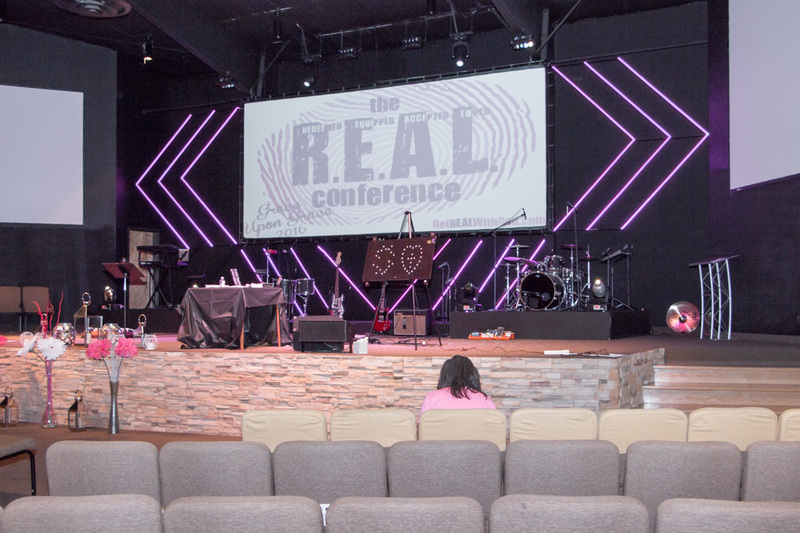 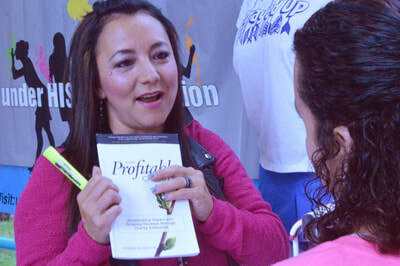 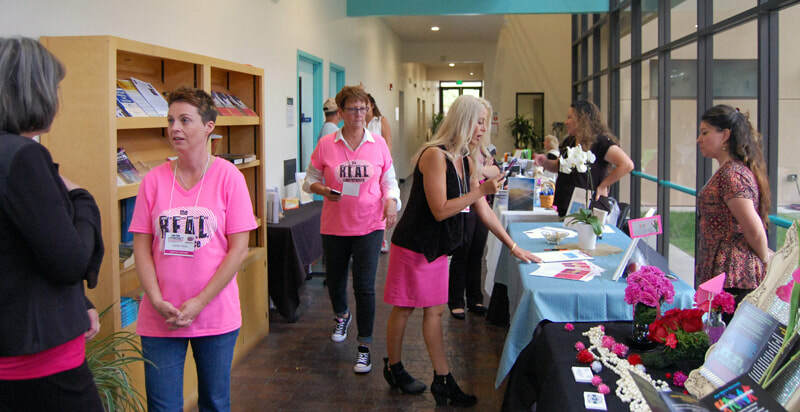 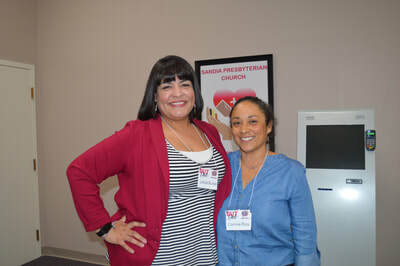 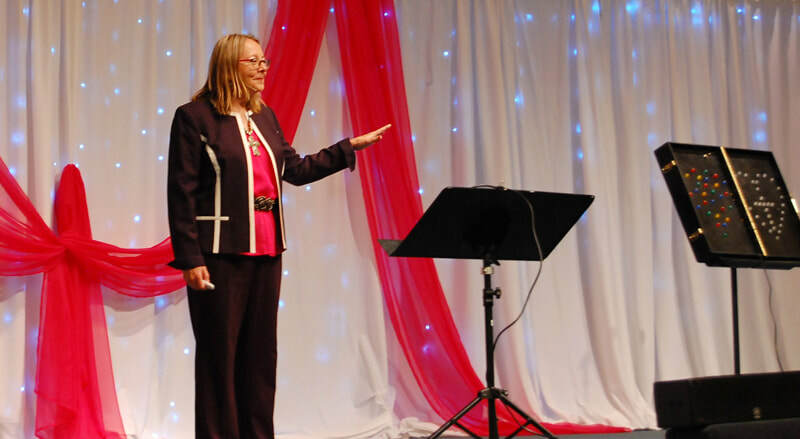 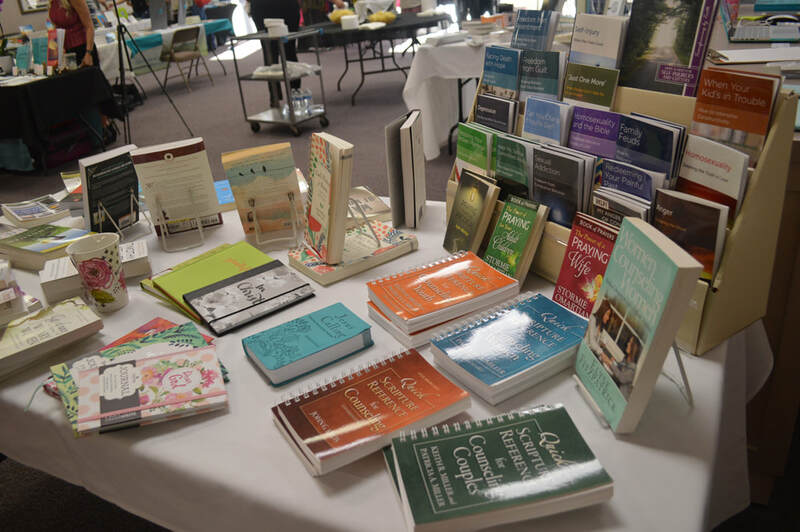 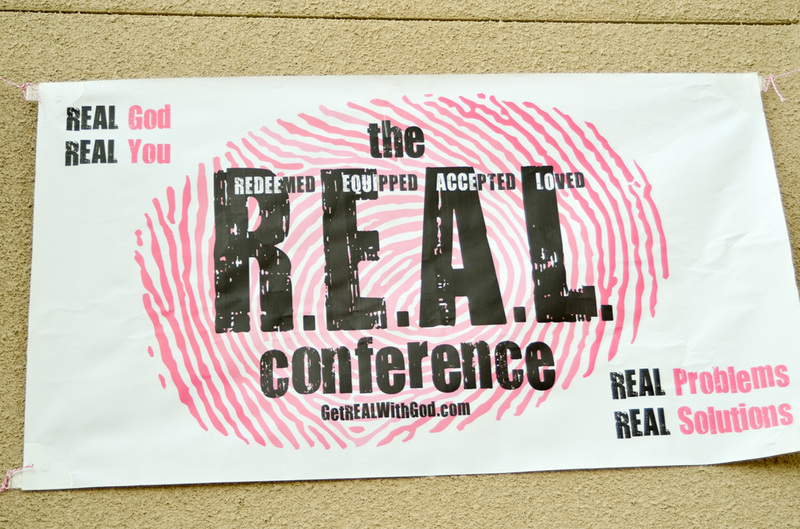 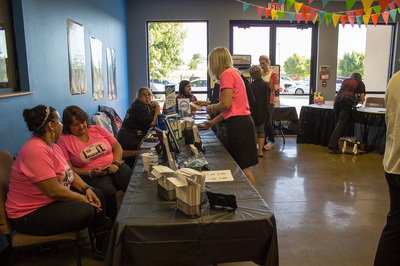 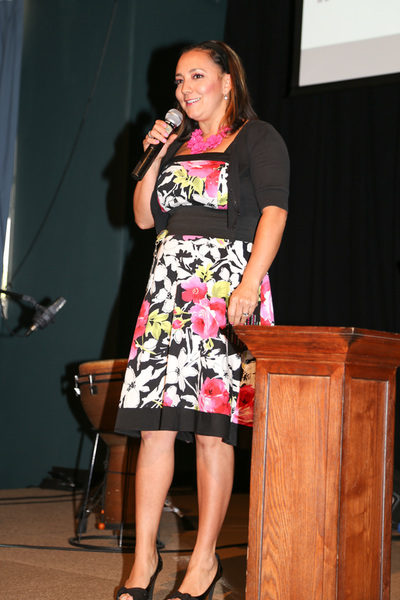 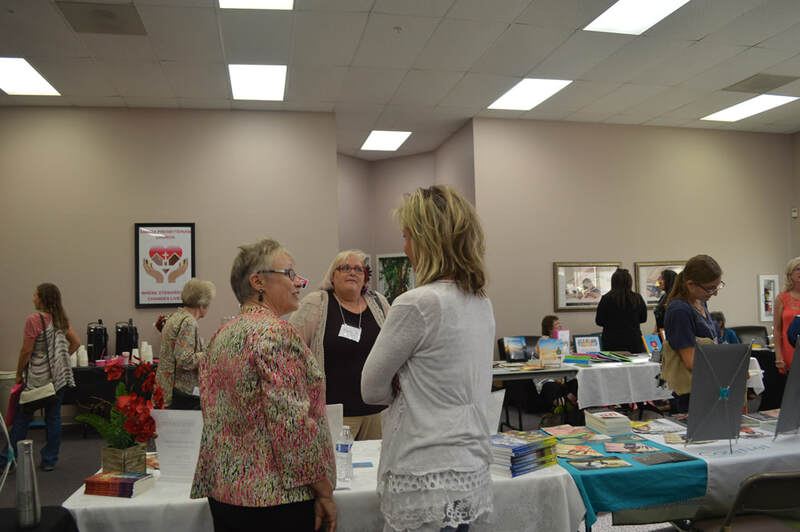 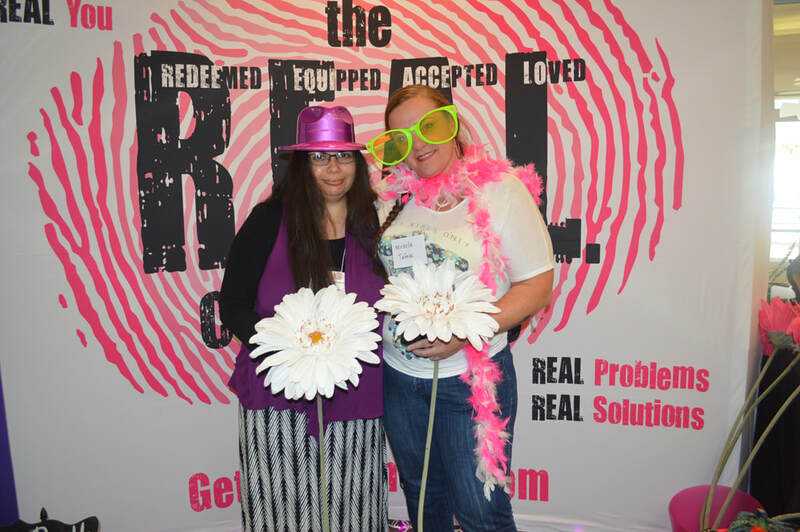 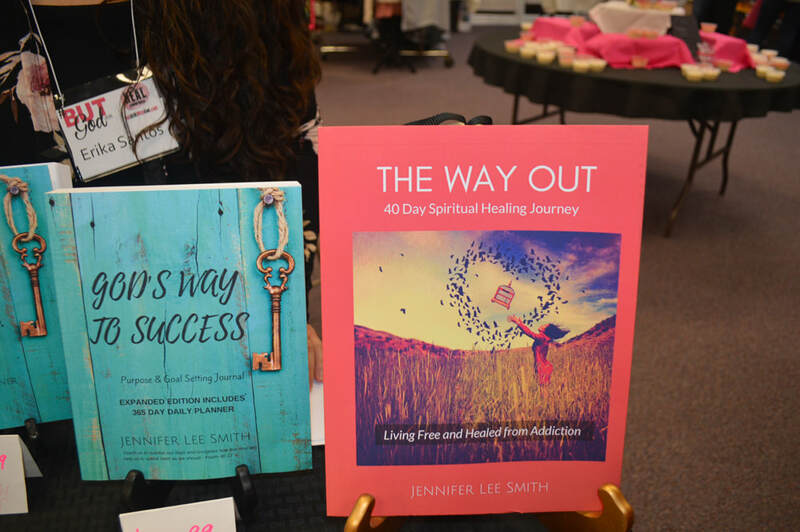 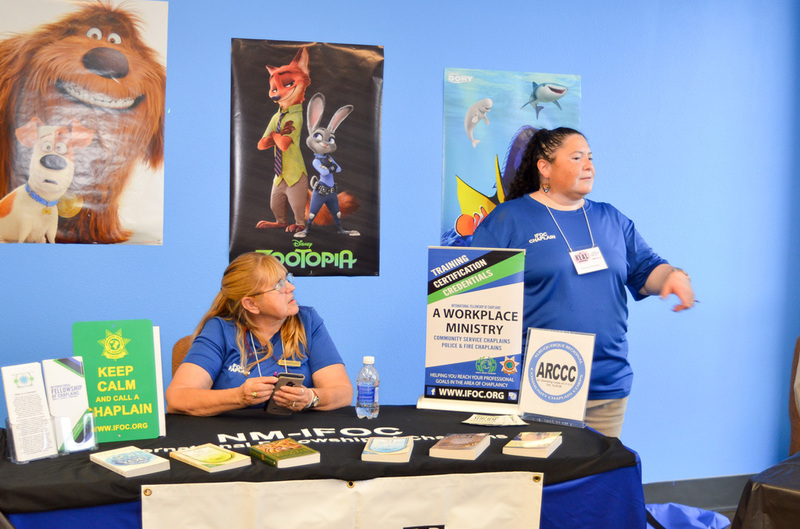 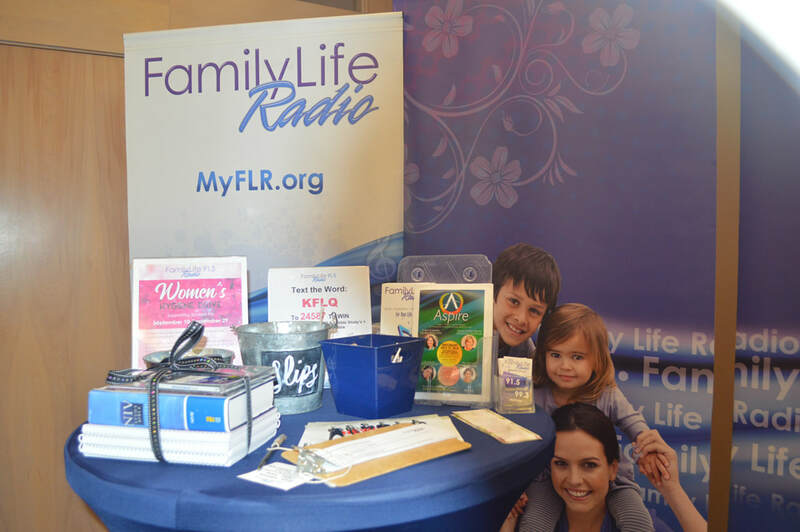 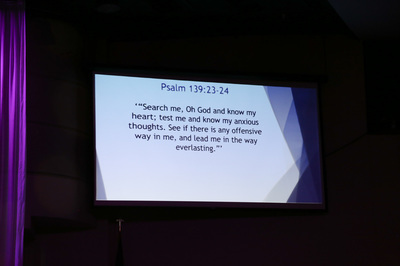 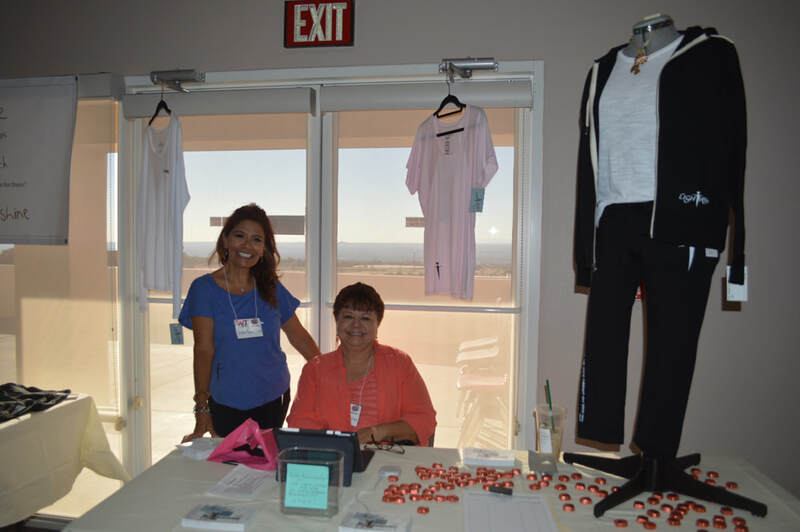 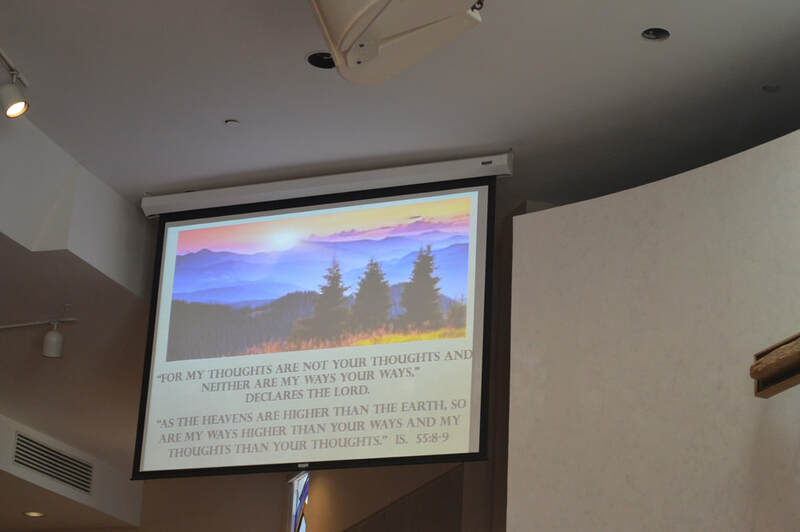 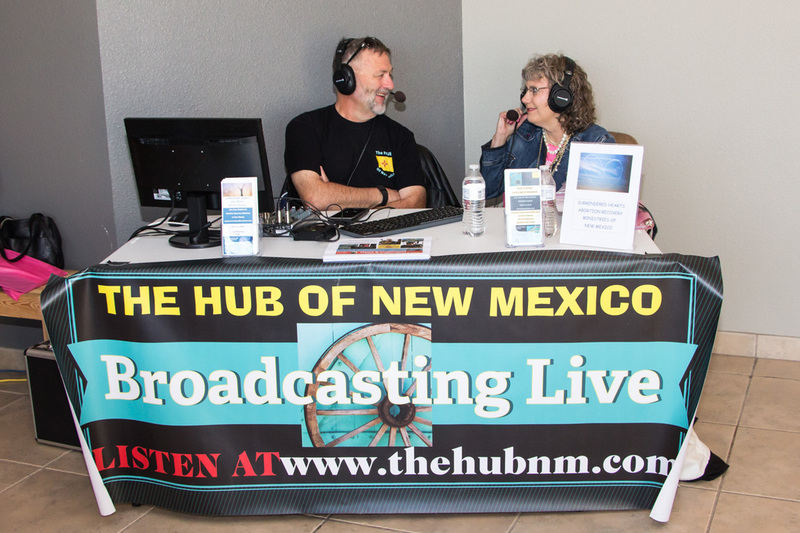 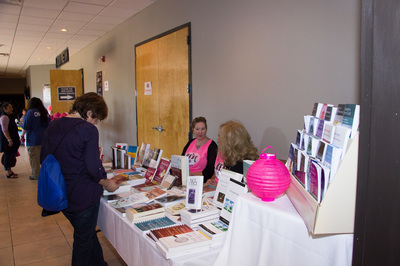 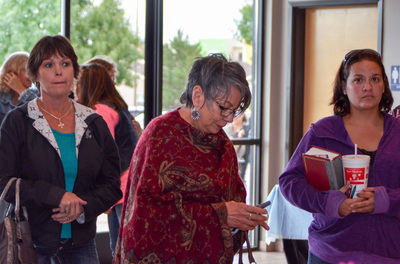 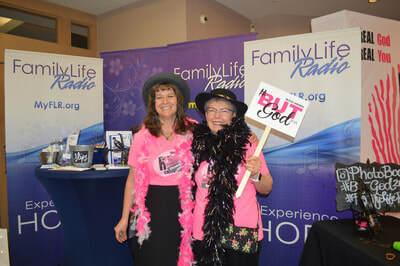 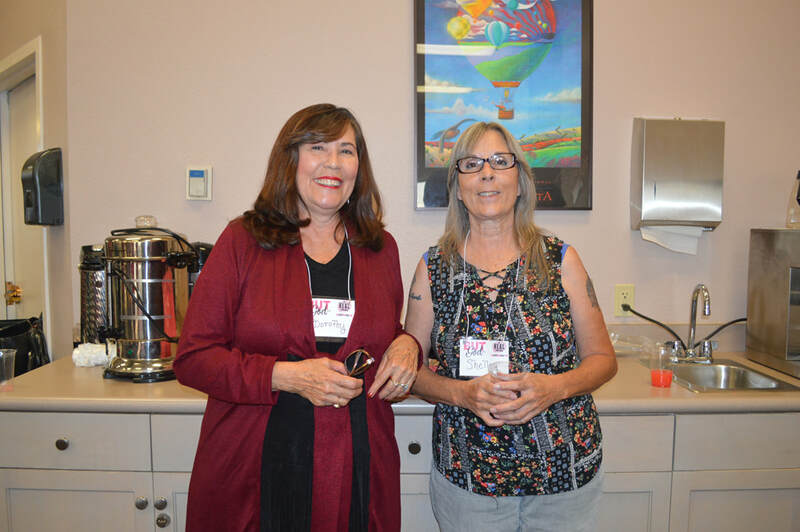 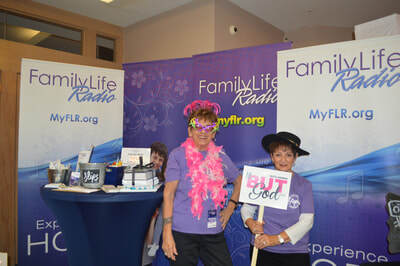 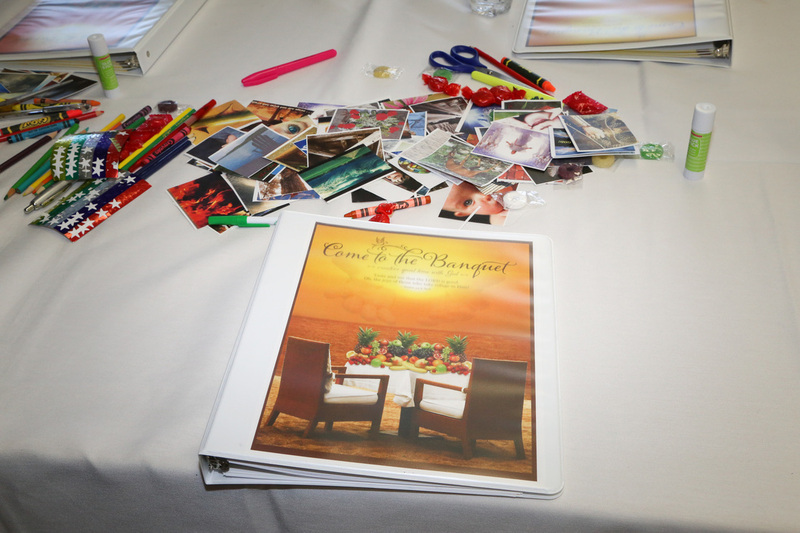 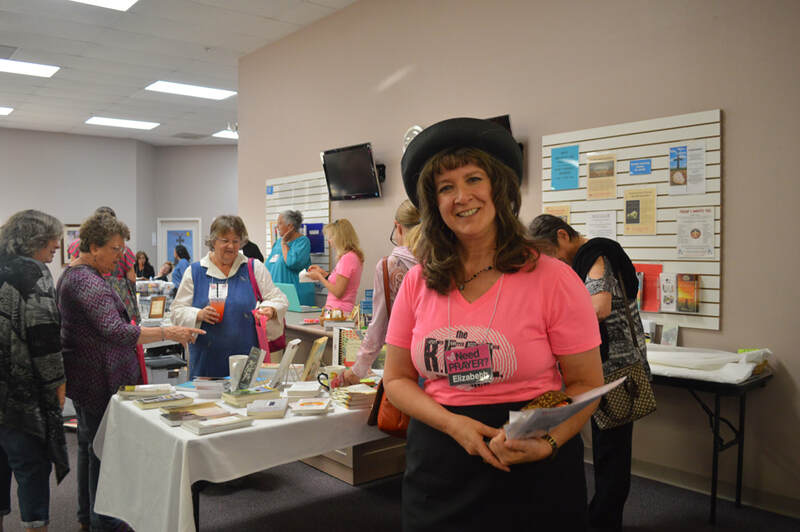 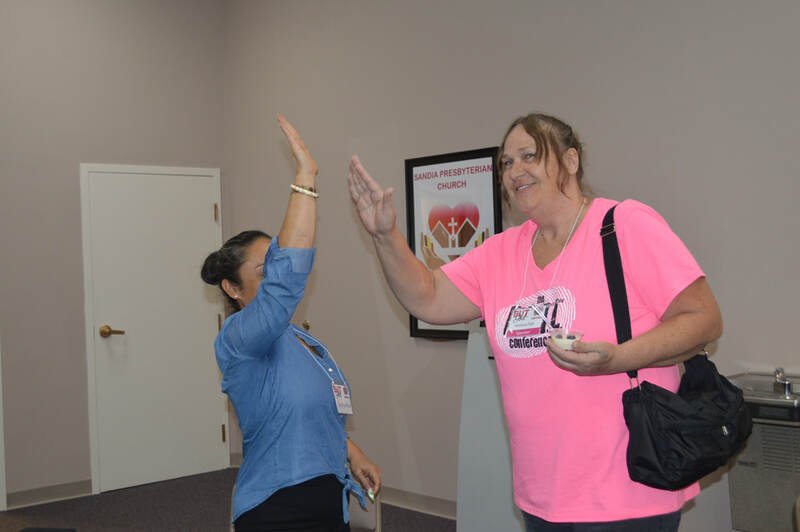 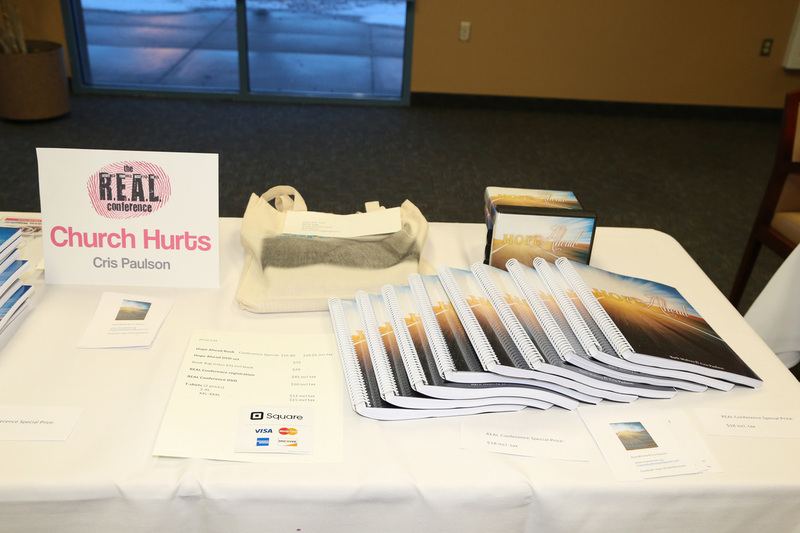 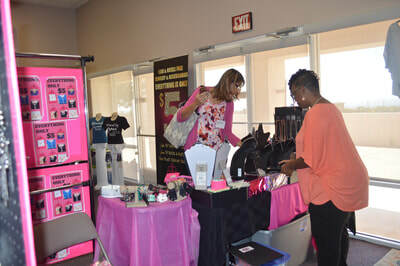 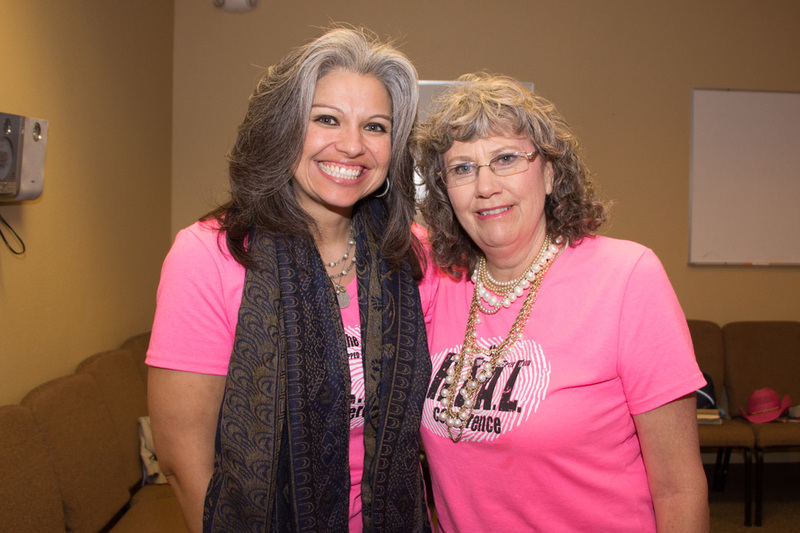 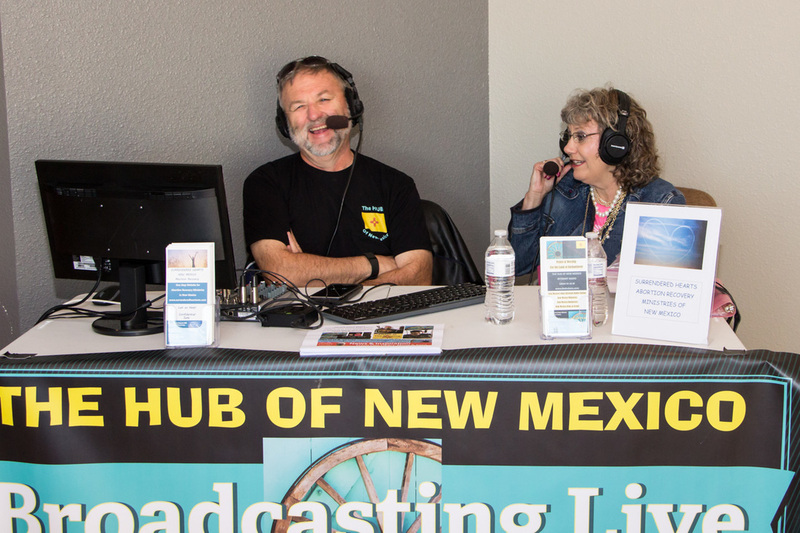 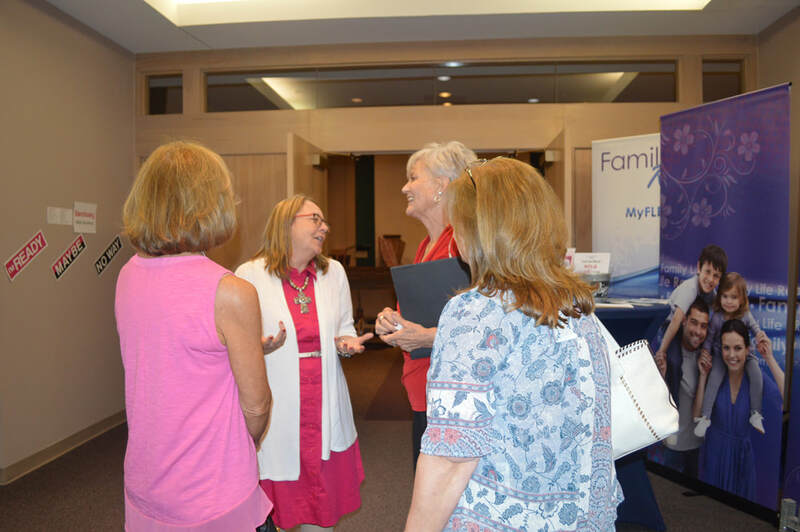 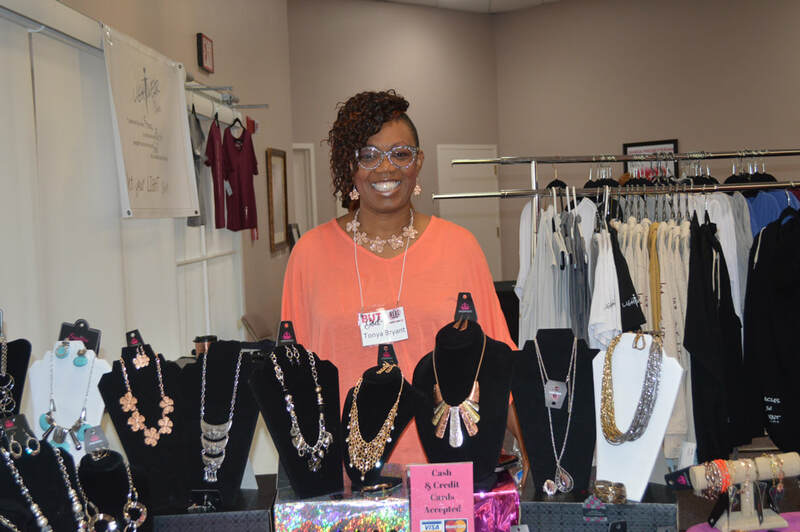 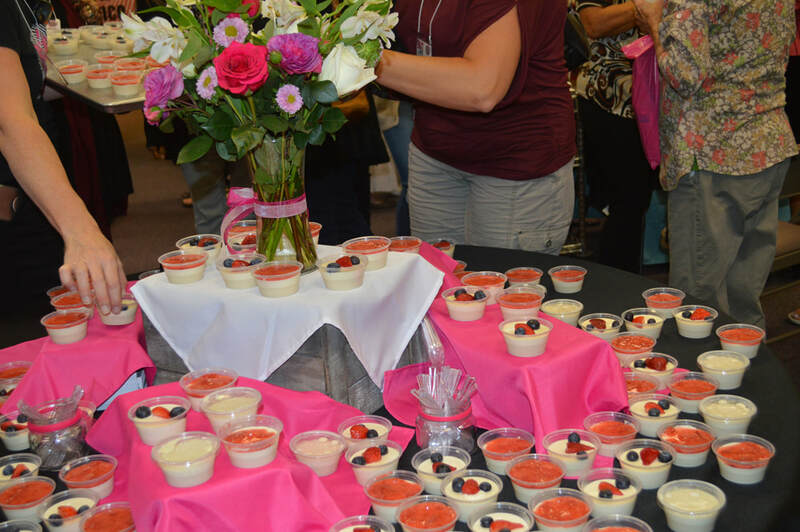 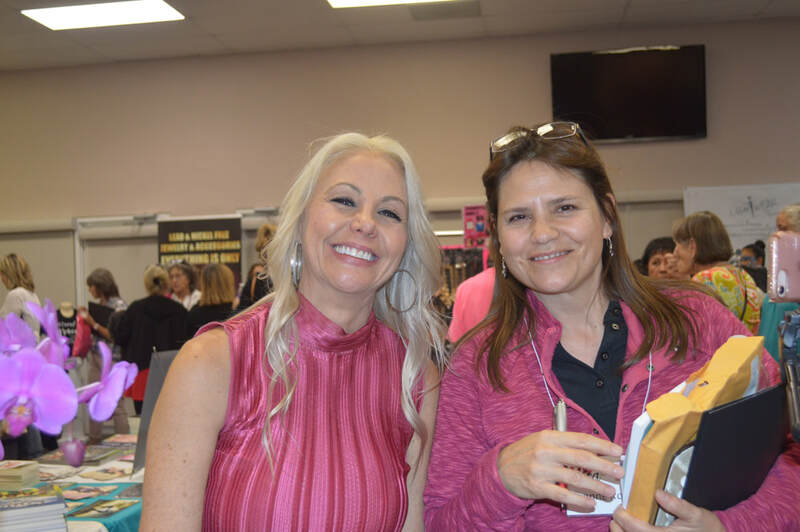 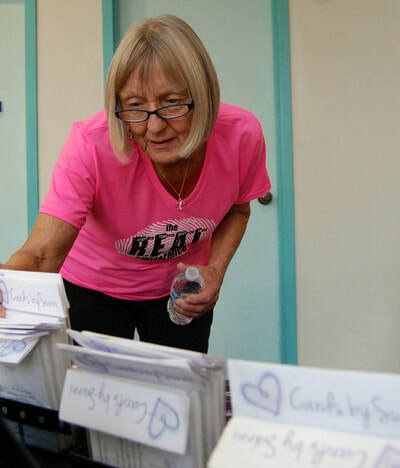 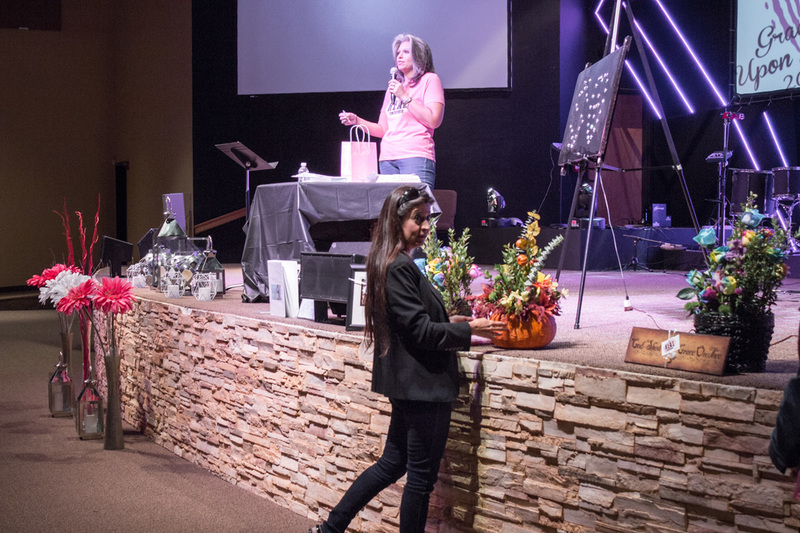 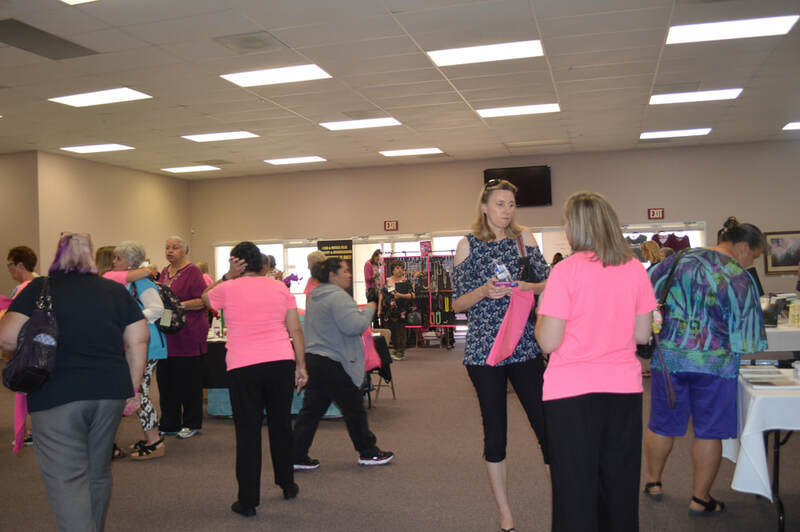 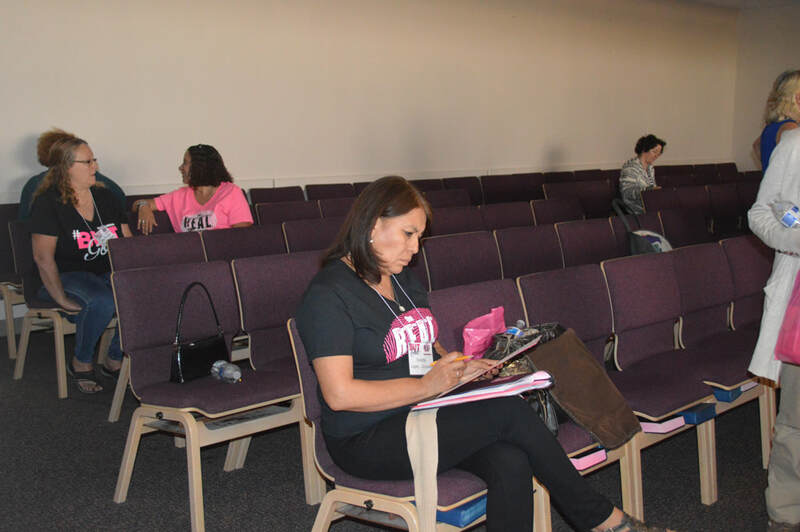 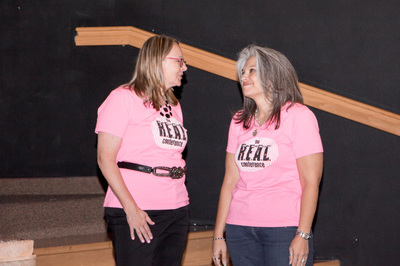 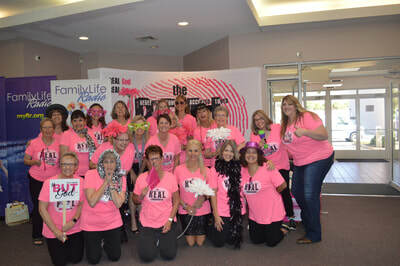 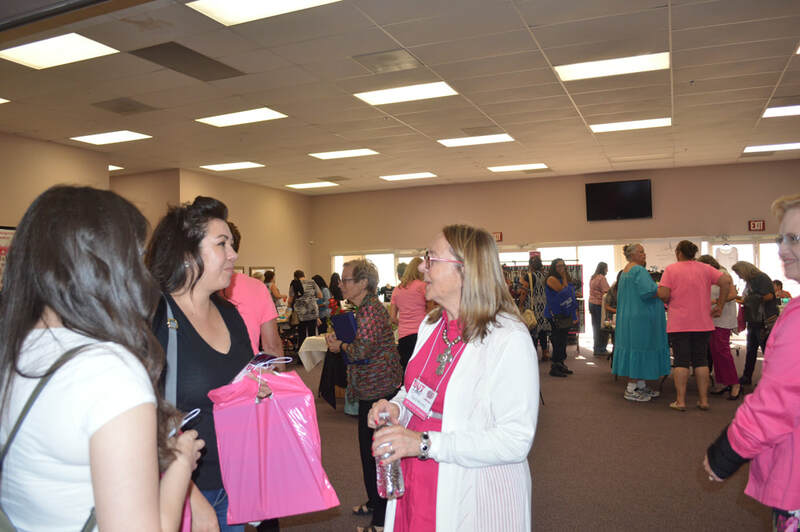 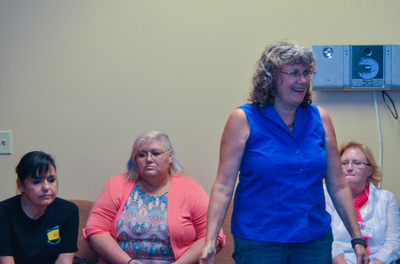 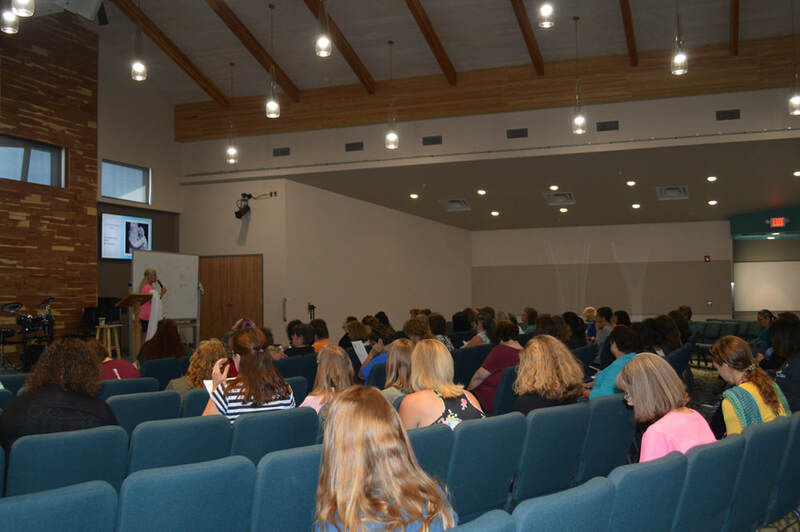 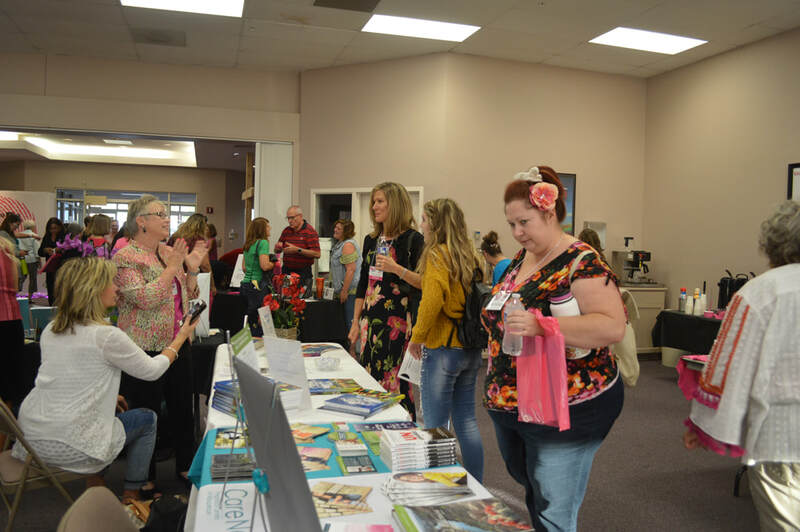 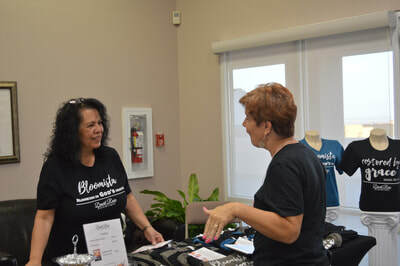 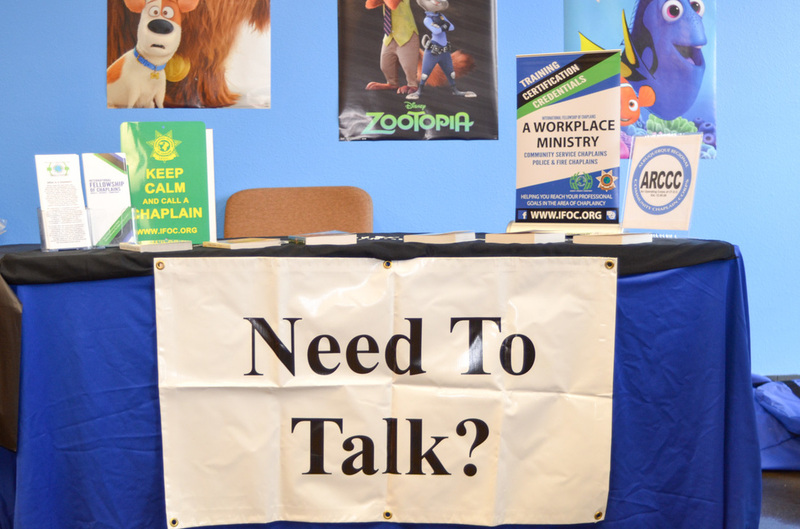 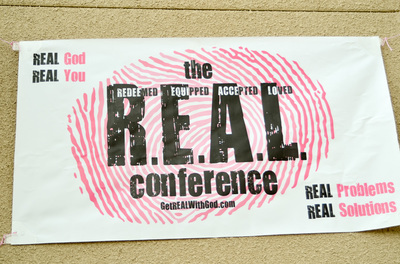 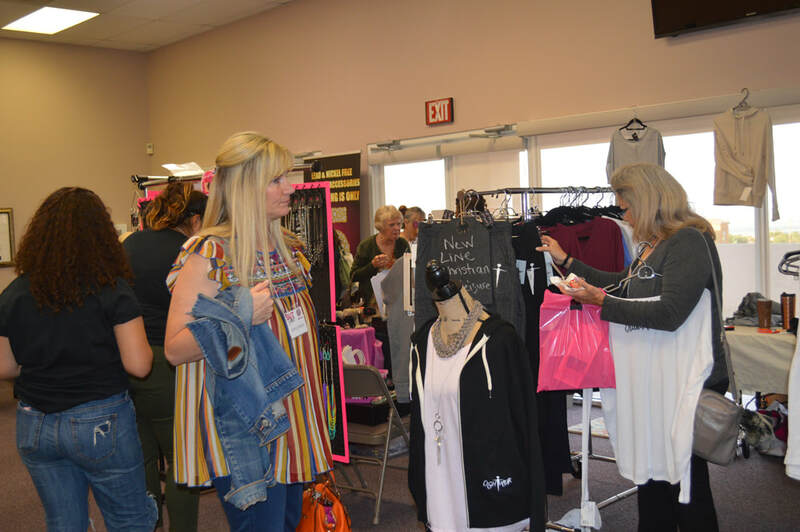 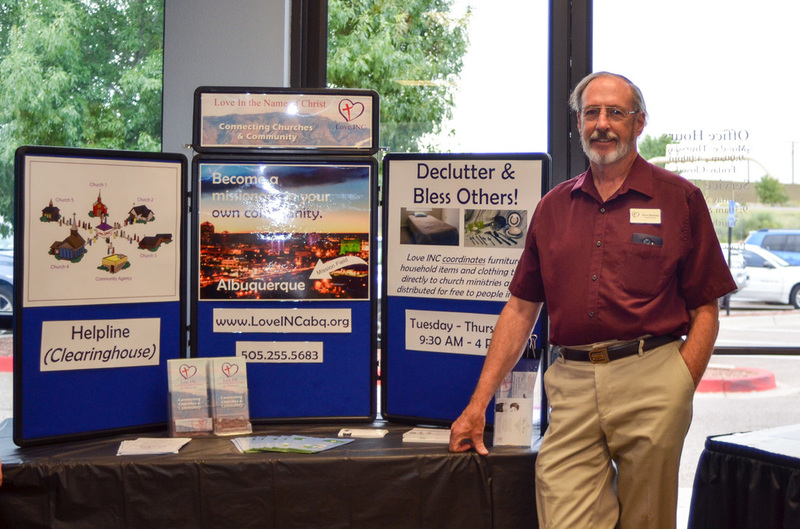 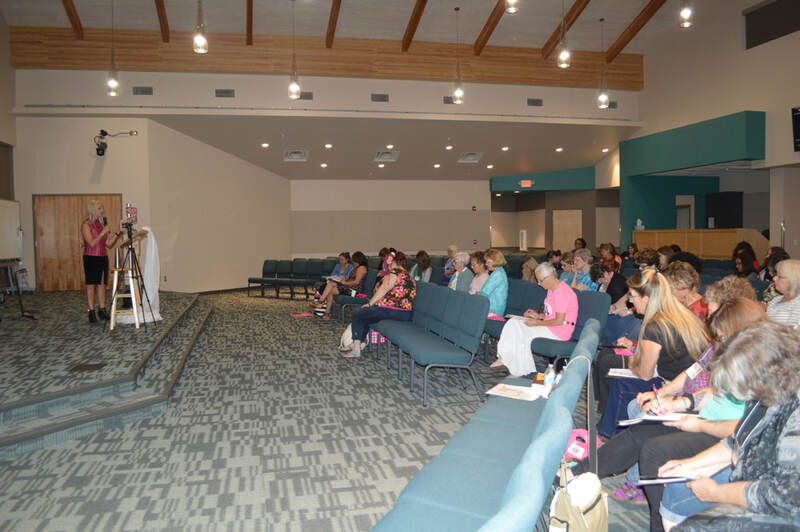 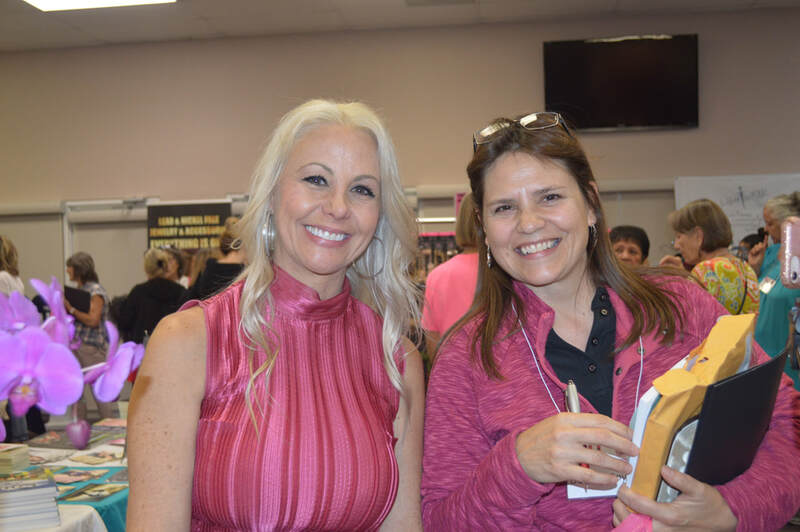 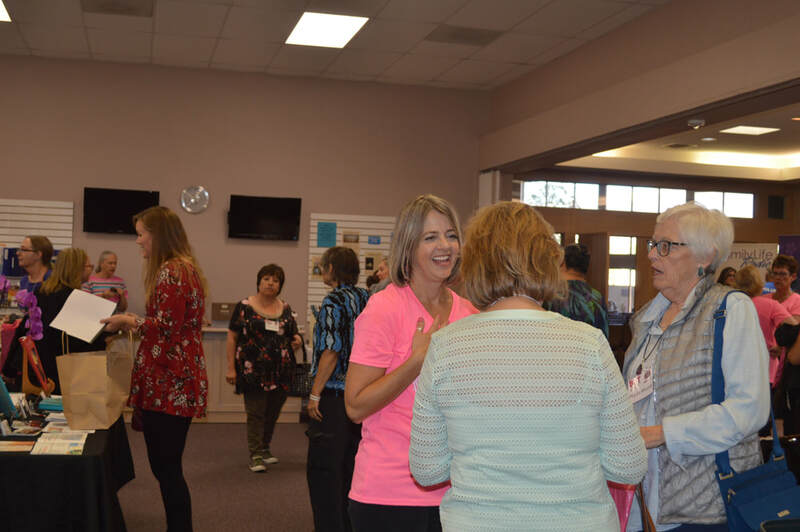 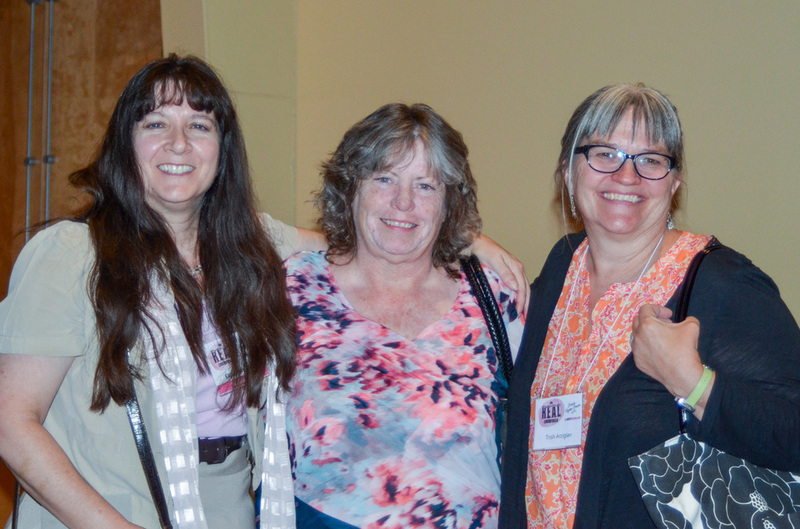 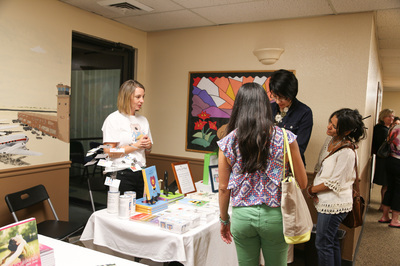 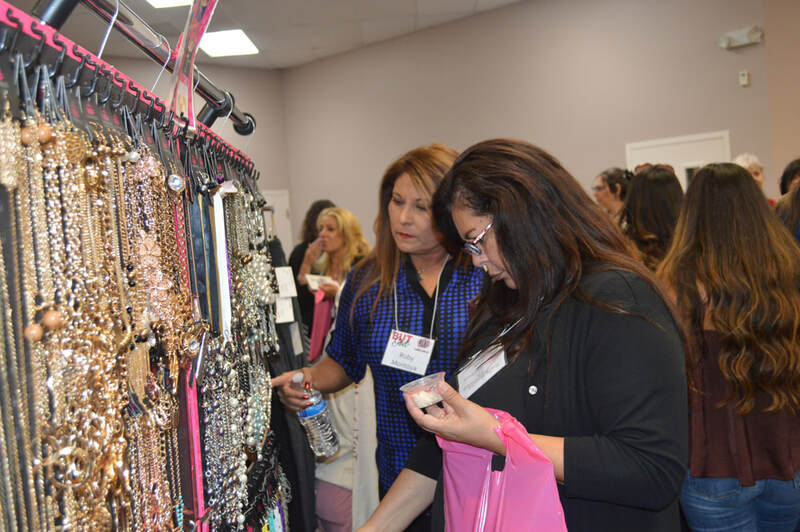 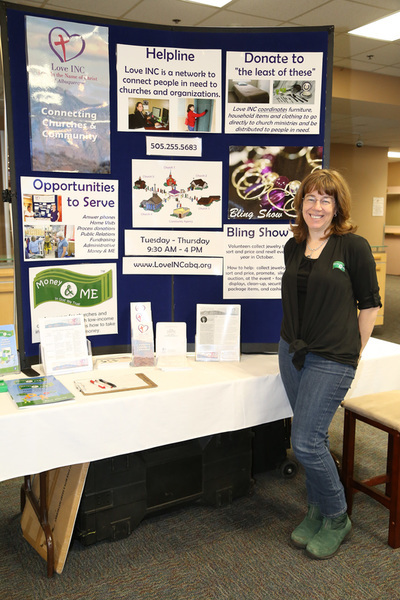 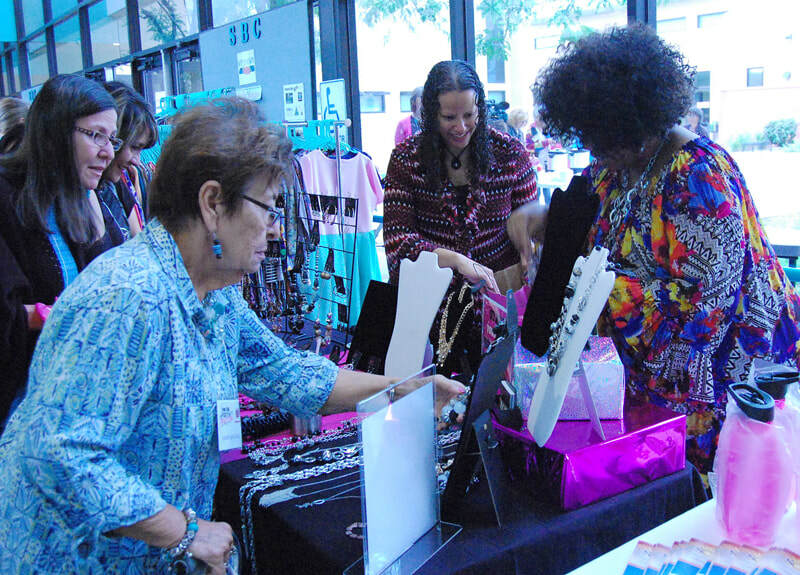 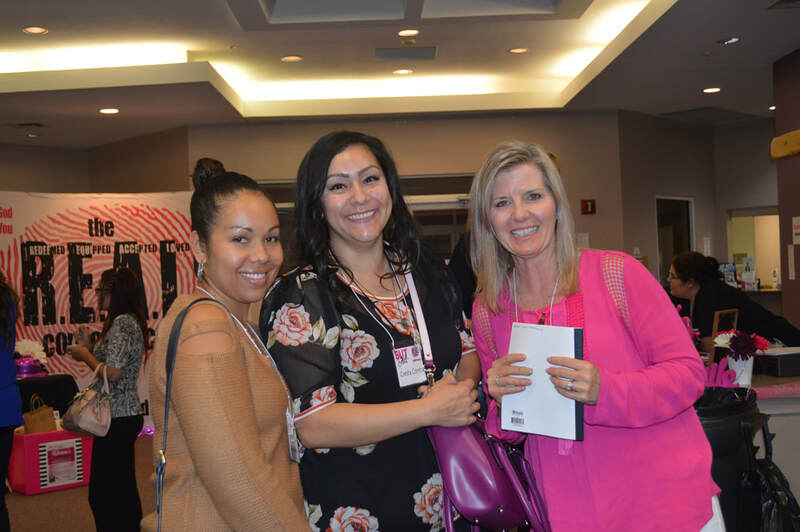 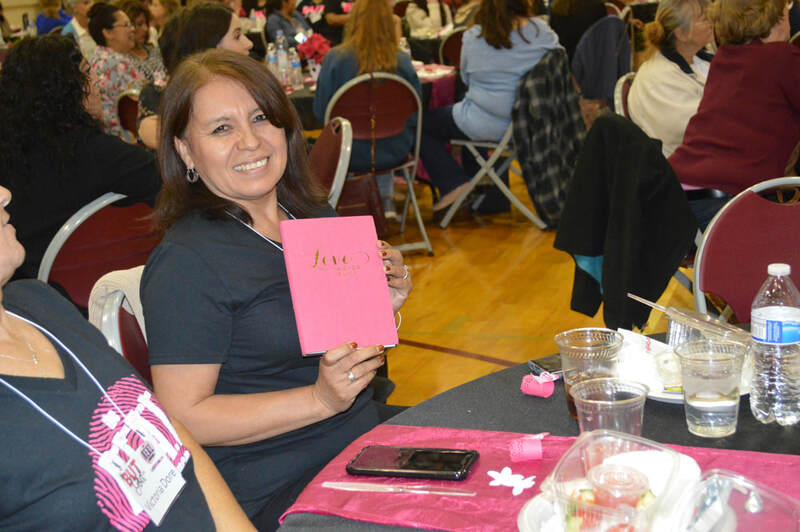 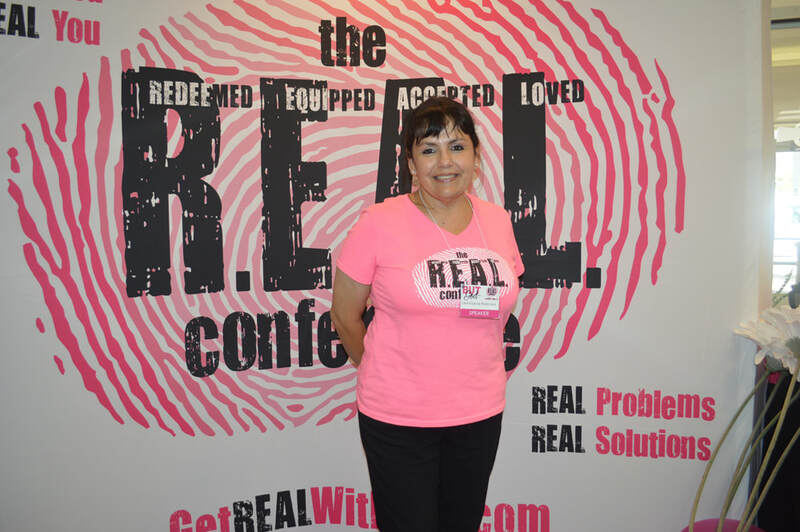 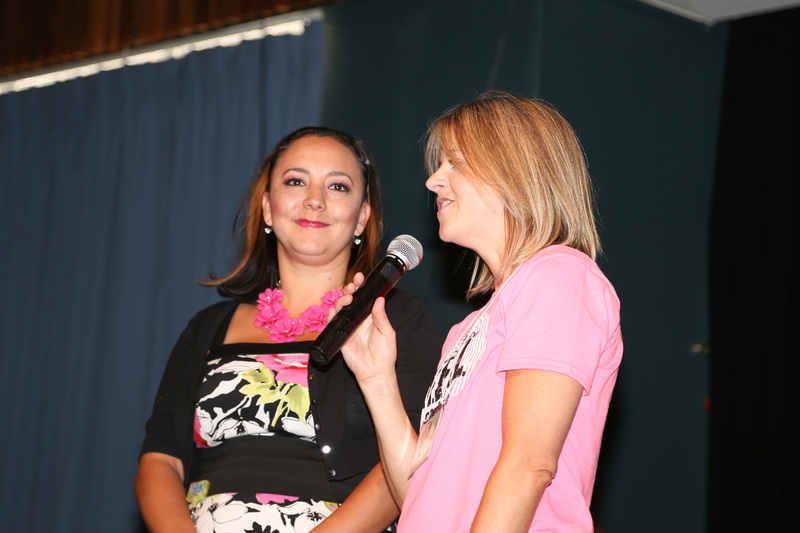 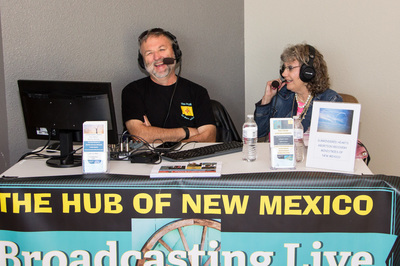 Our fourth conference was held at Sandia Baptist Church in Albuquerque, New Mexico on September 22nd and 23rd and was we felt the most spiritually successful to date! 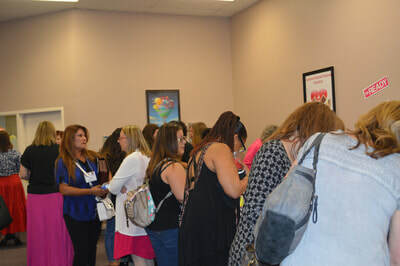 Over 200 women attended, plus there were 12 incredible speakers and as always our fantastic volunteers and prayer partners. 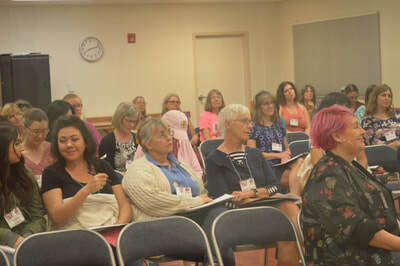 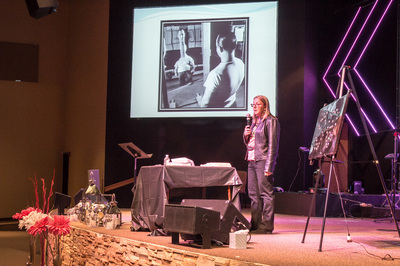 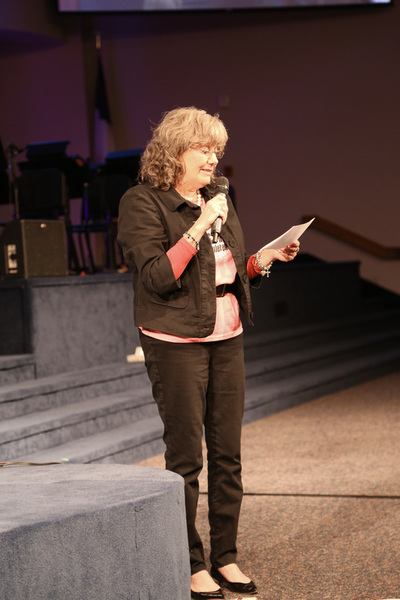 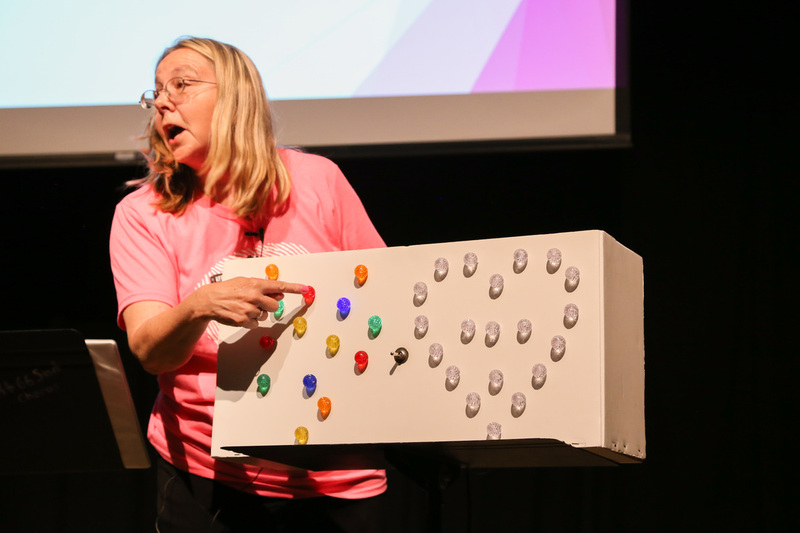 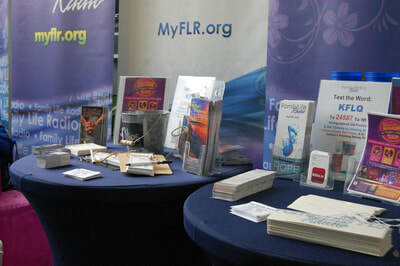 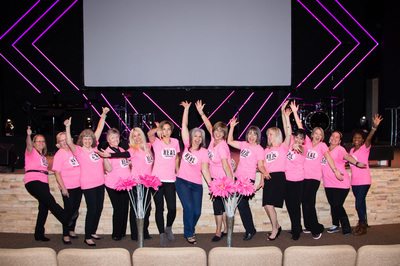 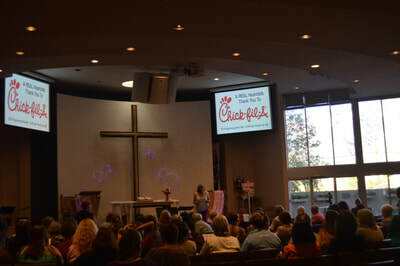 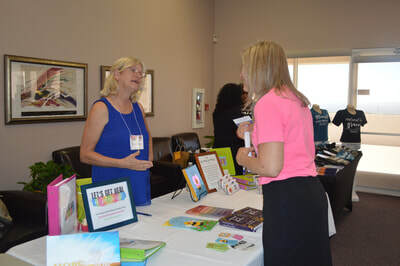 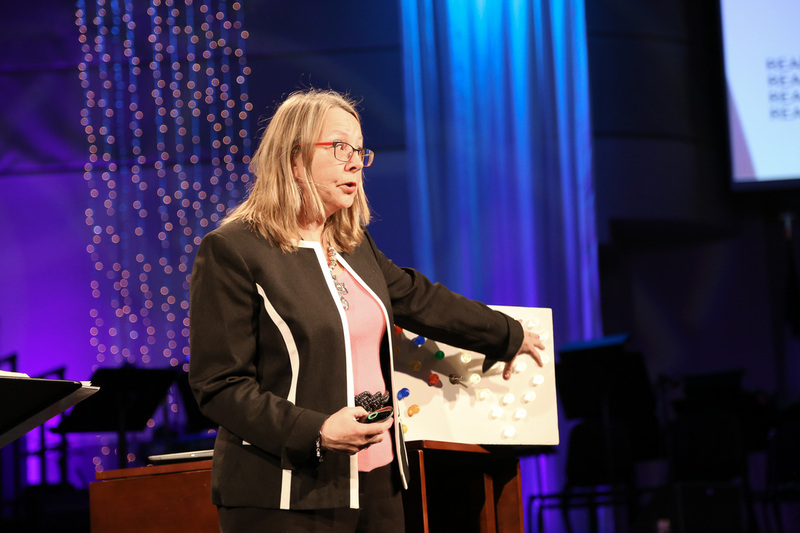 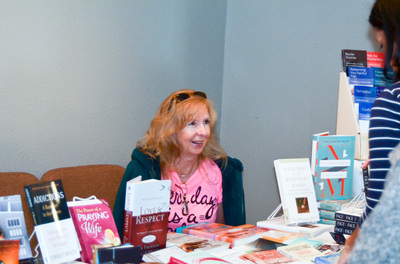 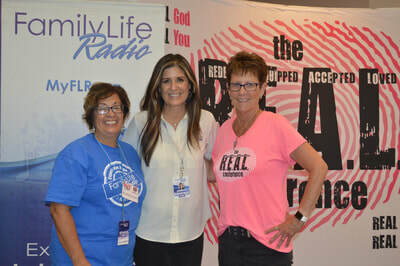 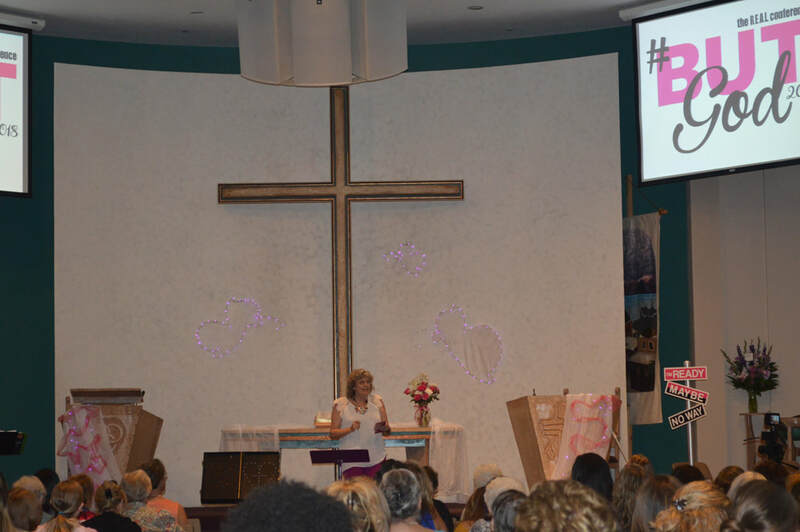 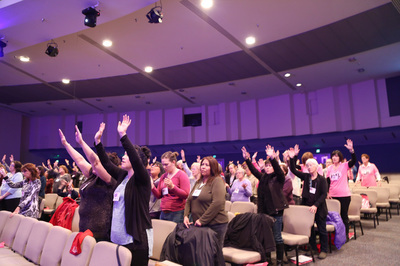 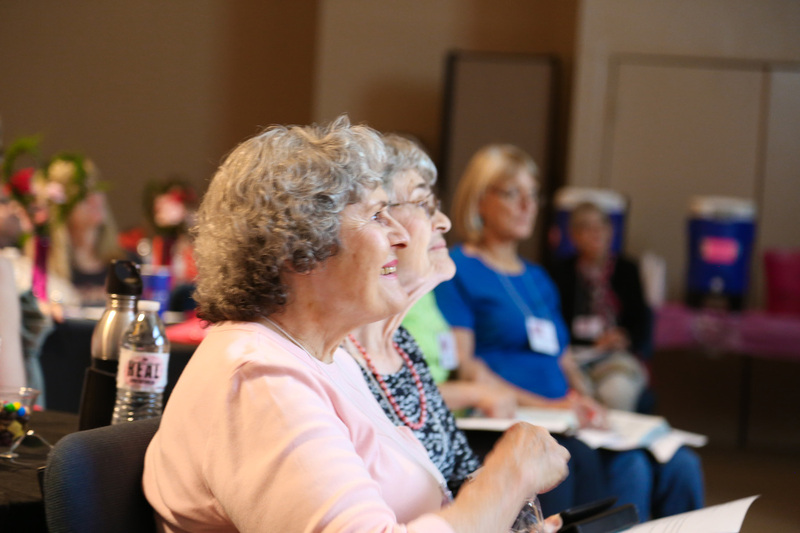 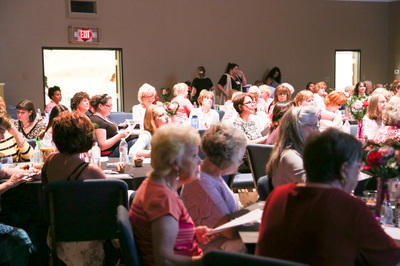 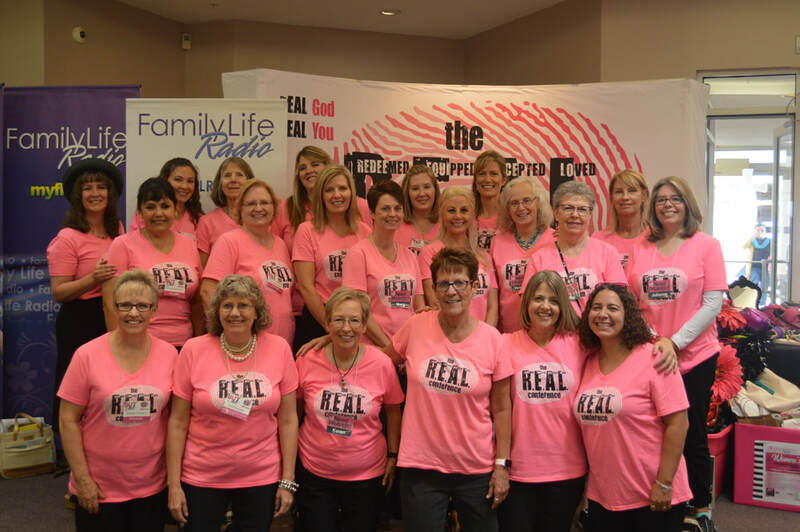 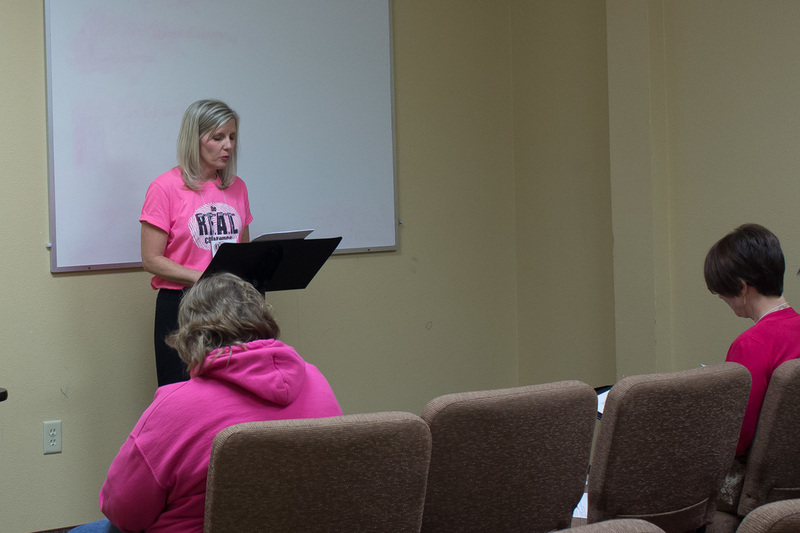 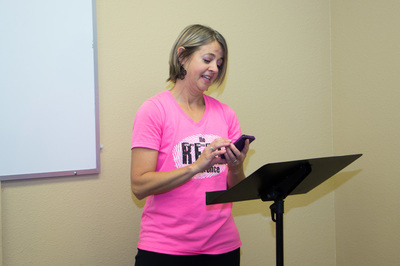 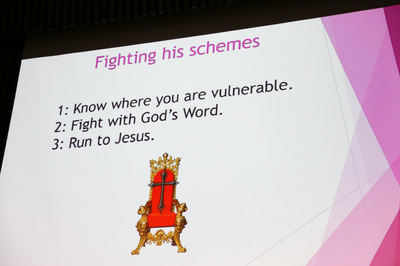 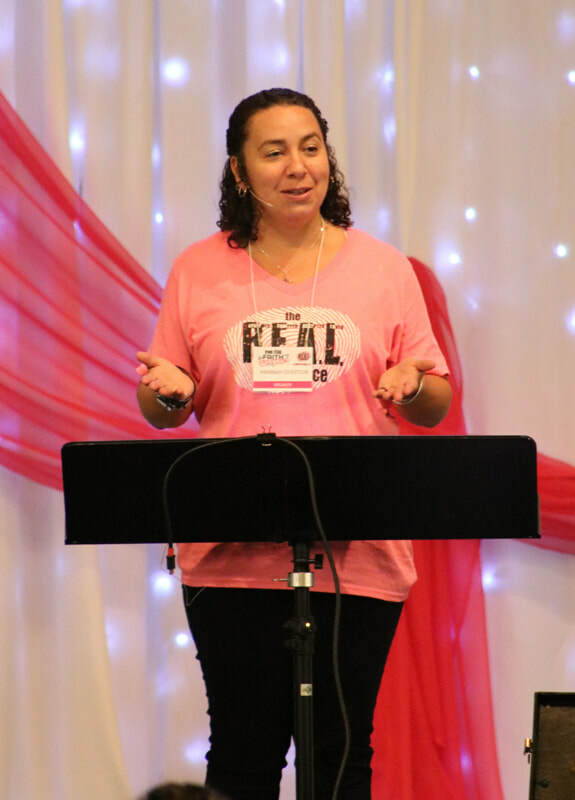 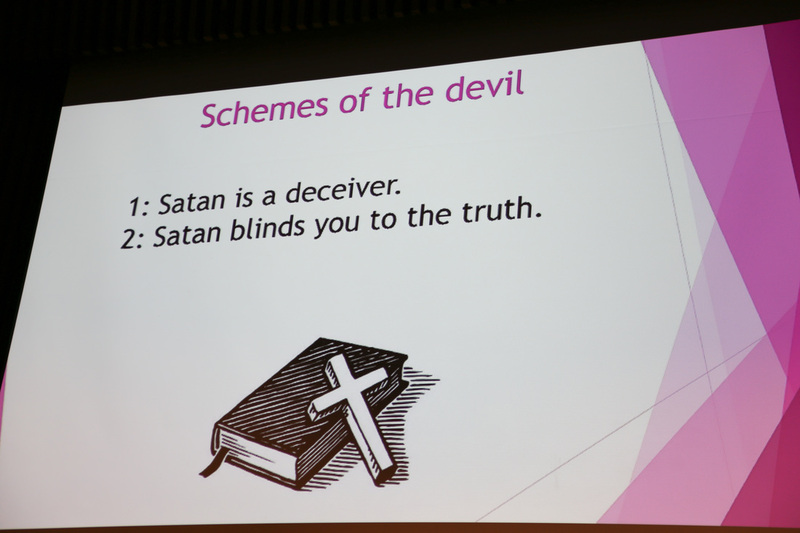 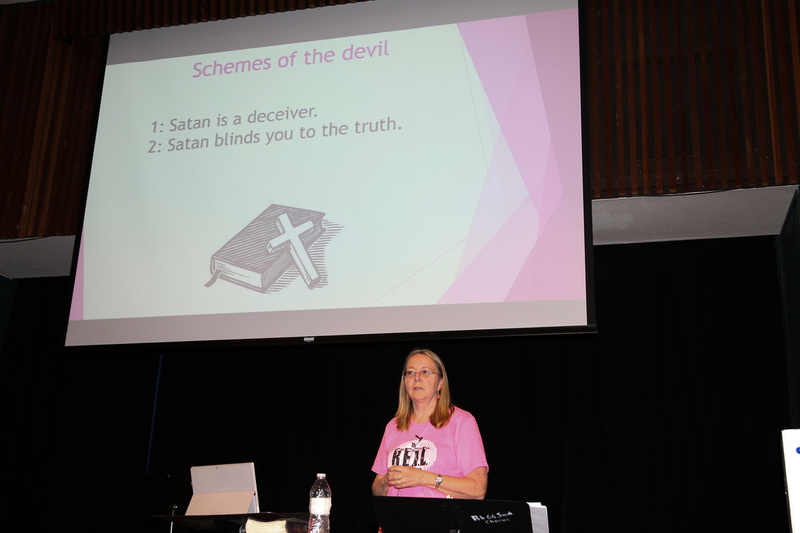 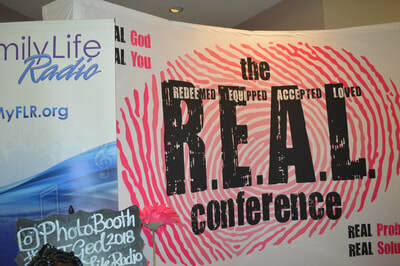 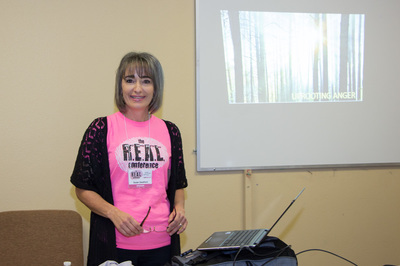 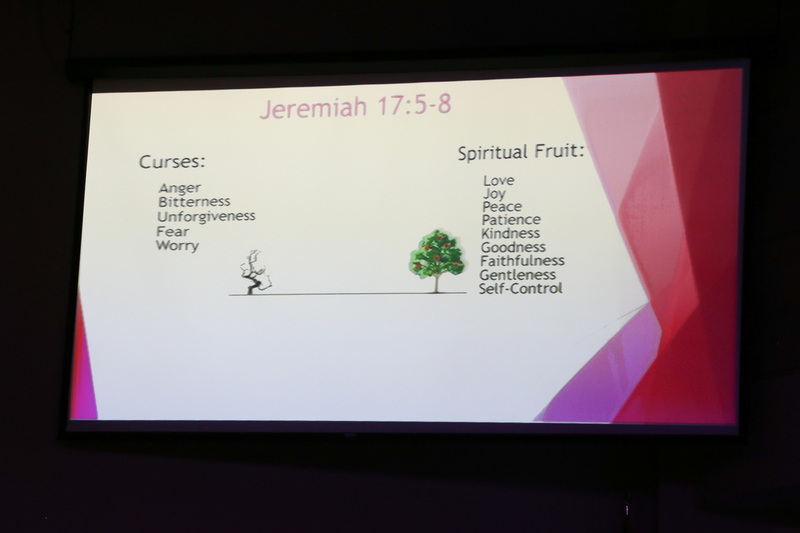 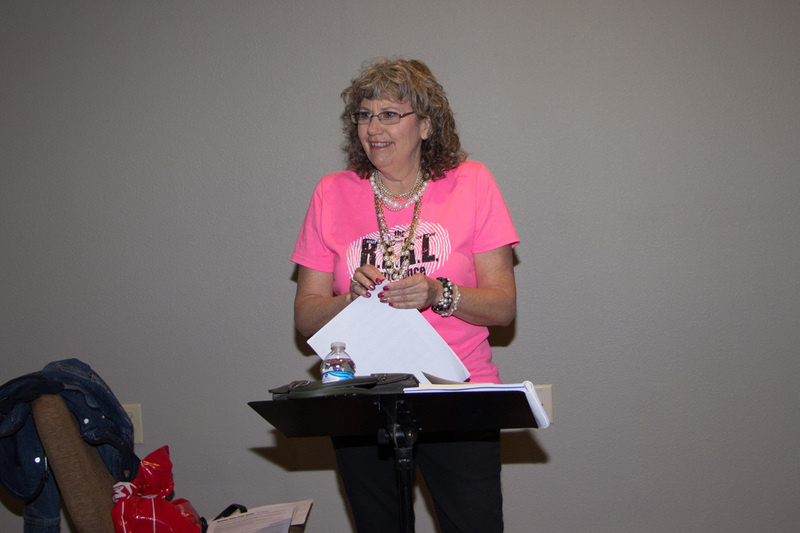 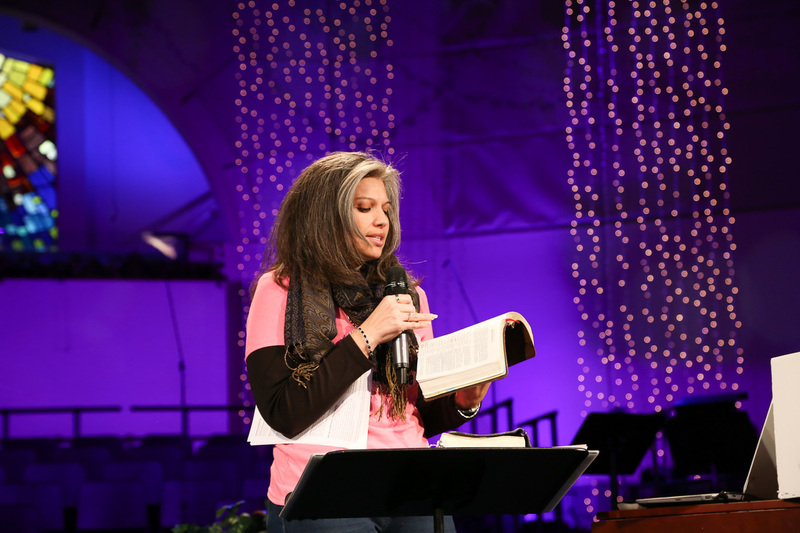 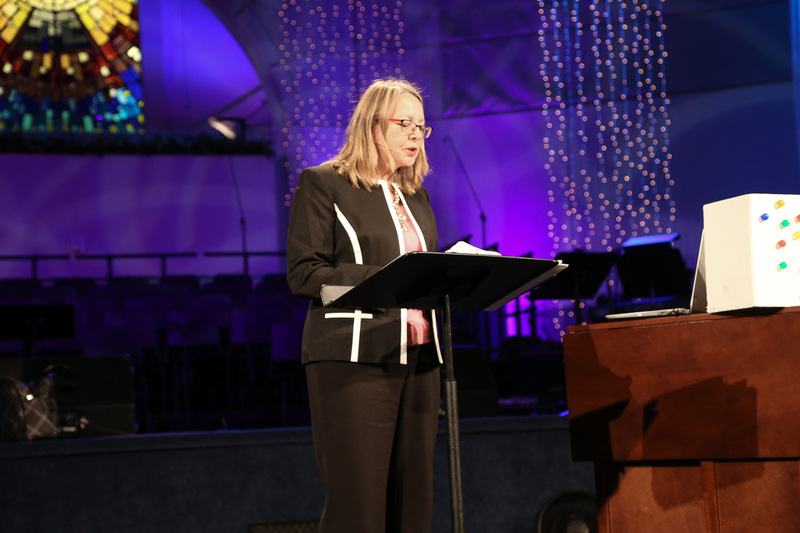 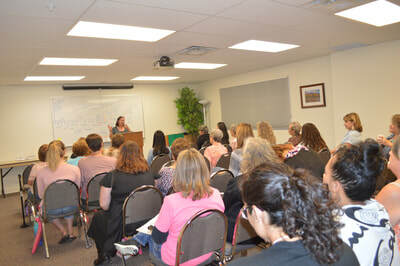 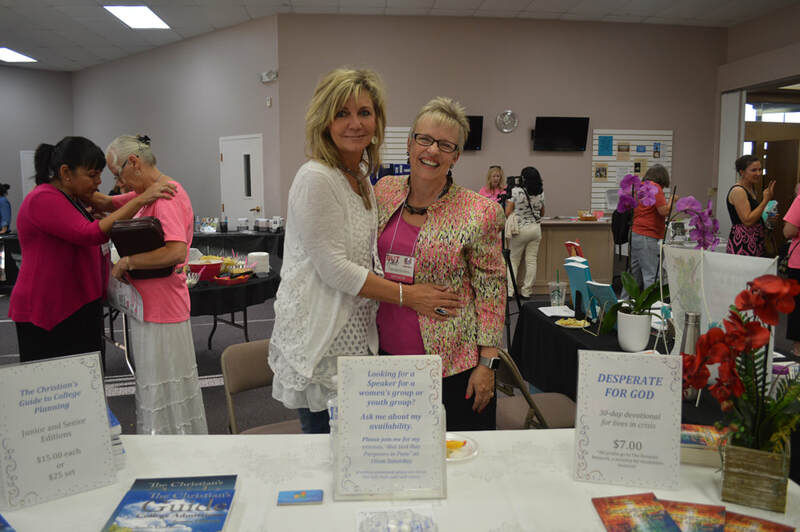 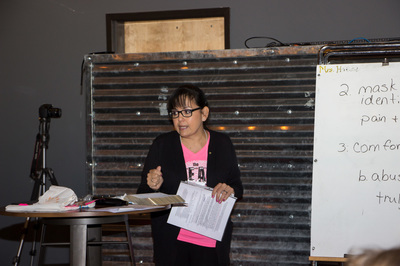 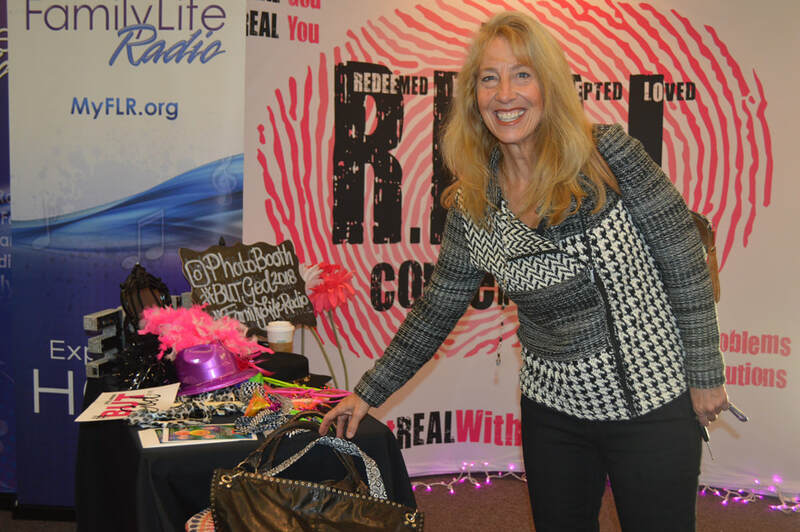 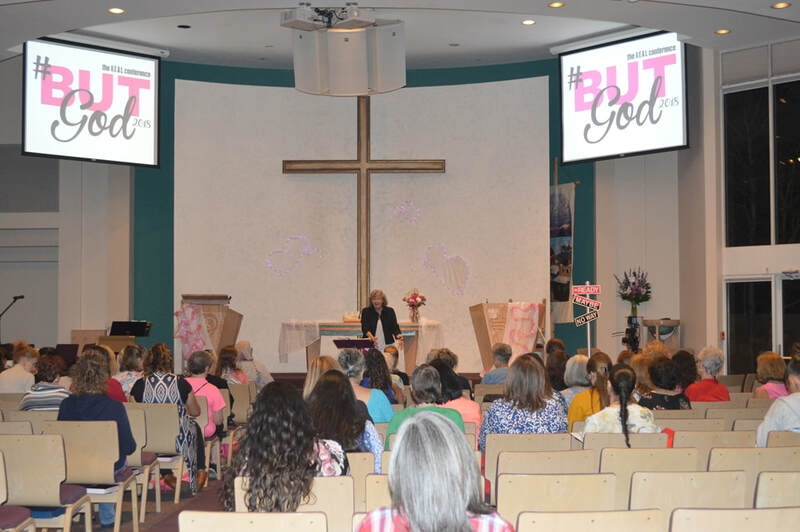 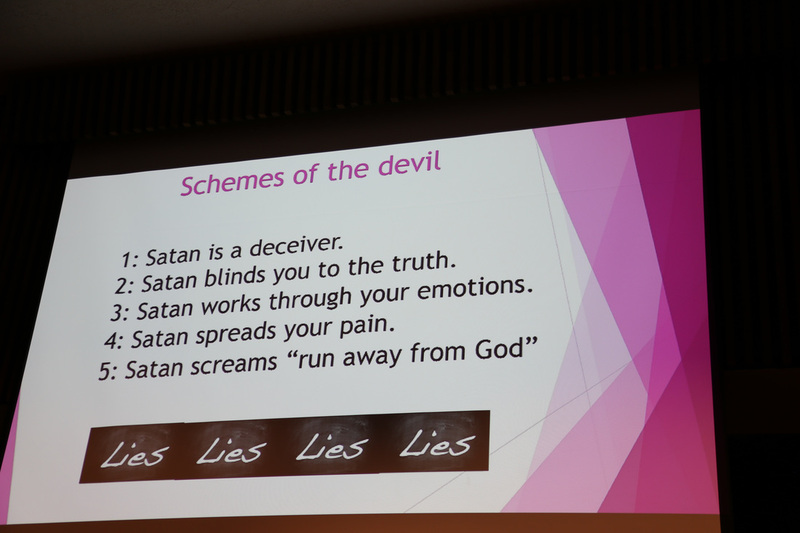 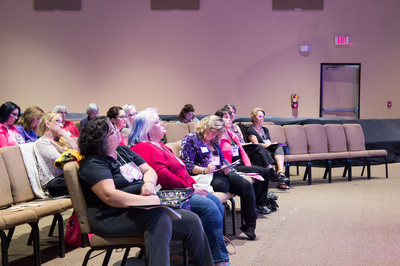 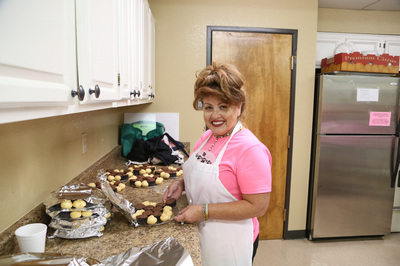 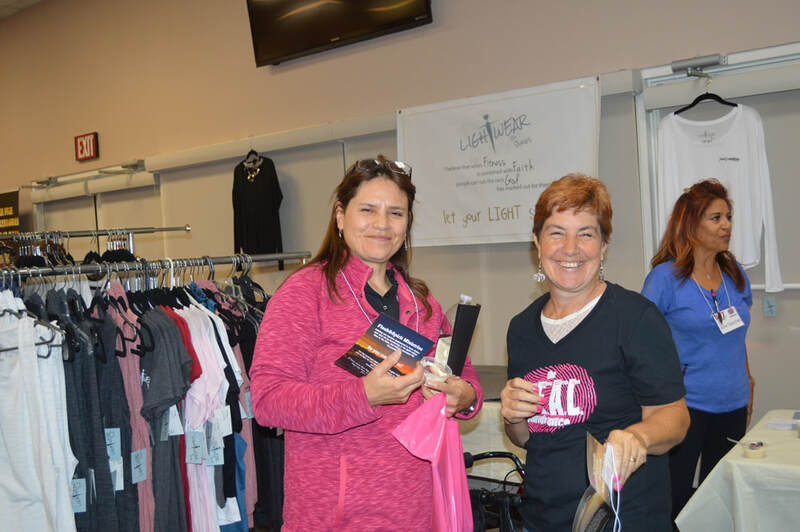 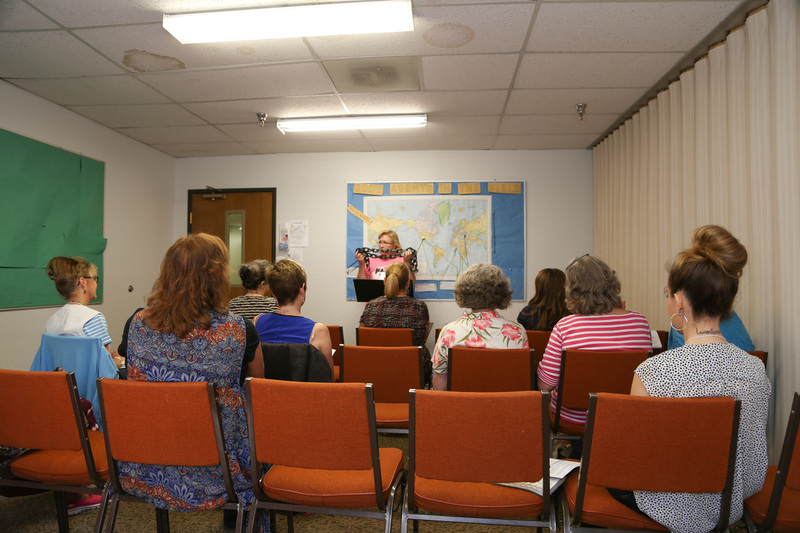 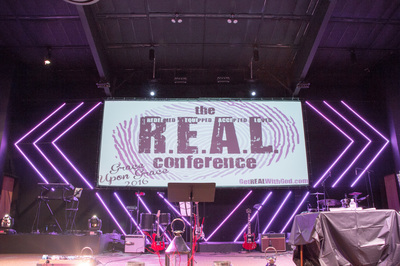 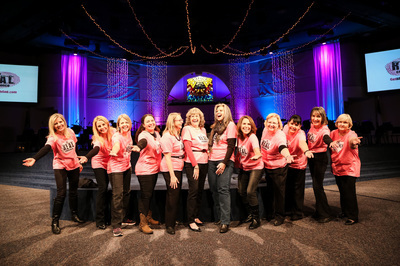 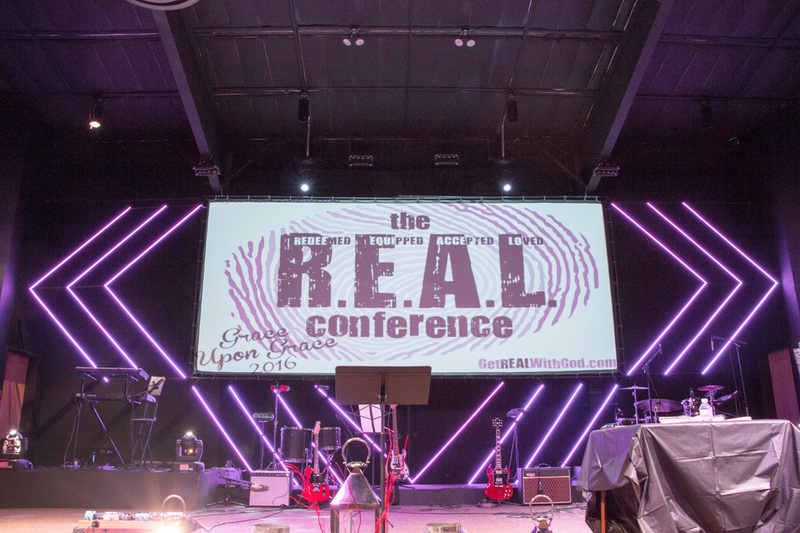 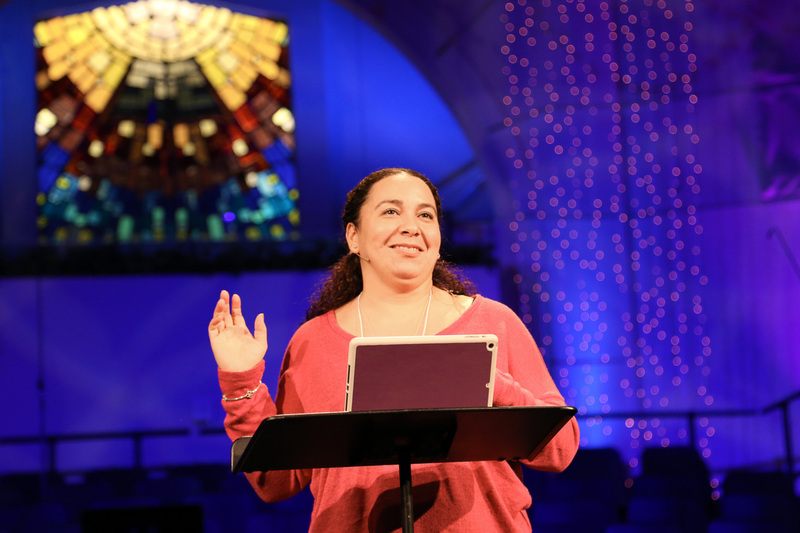 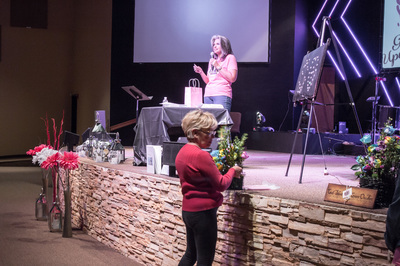 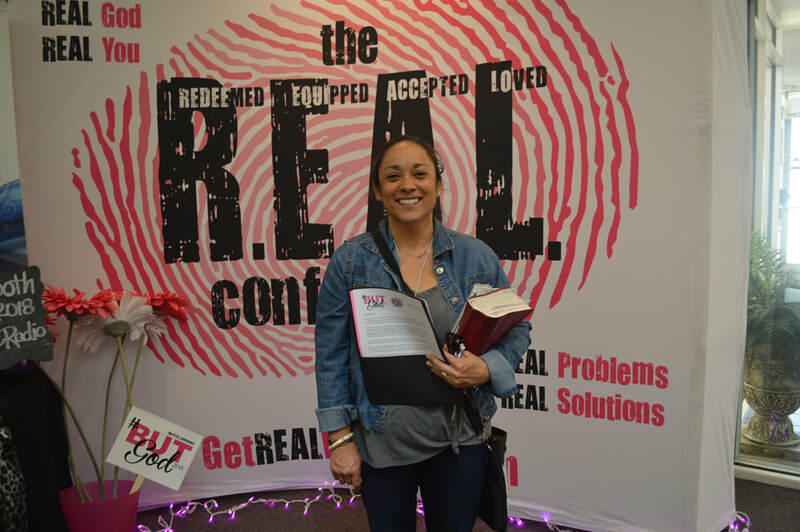 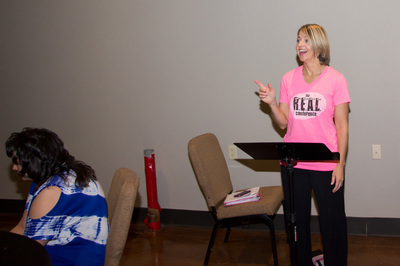 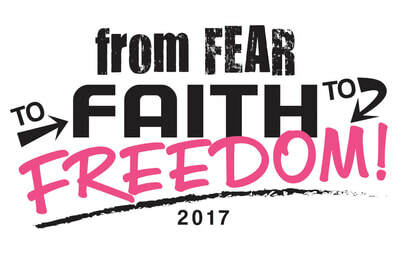 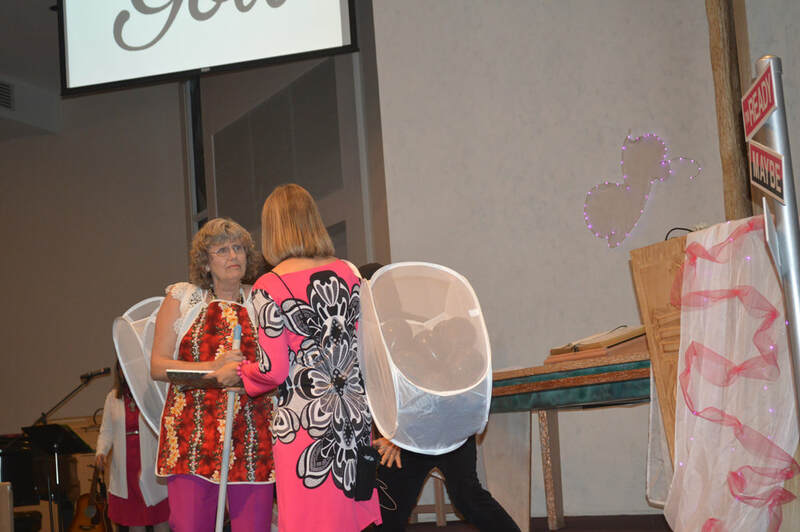 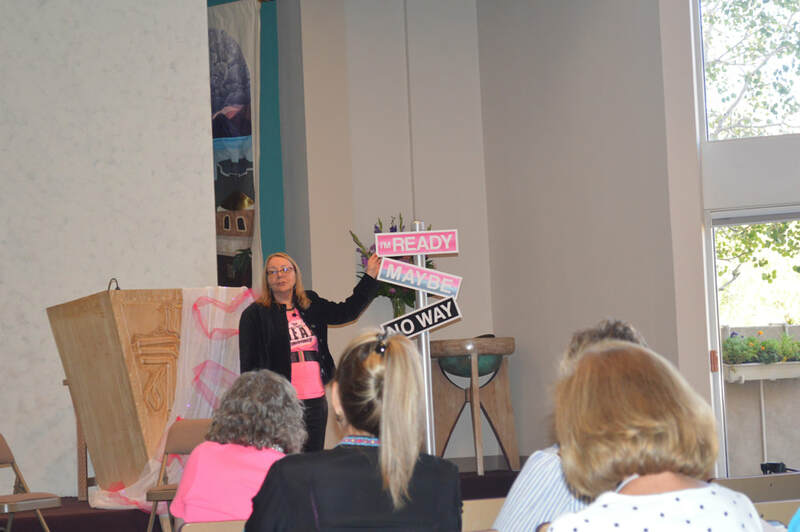 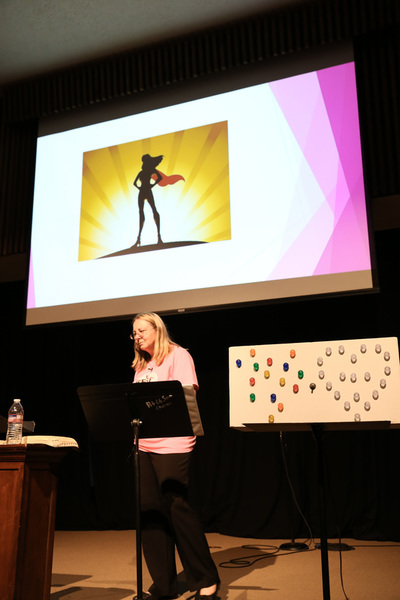 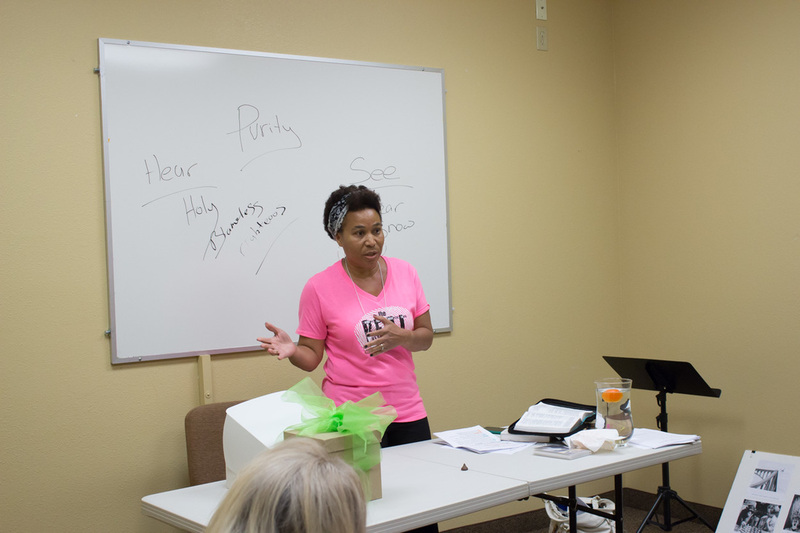 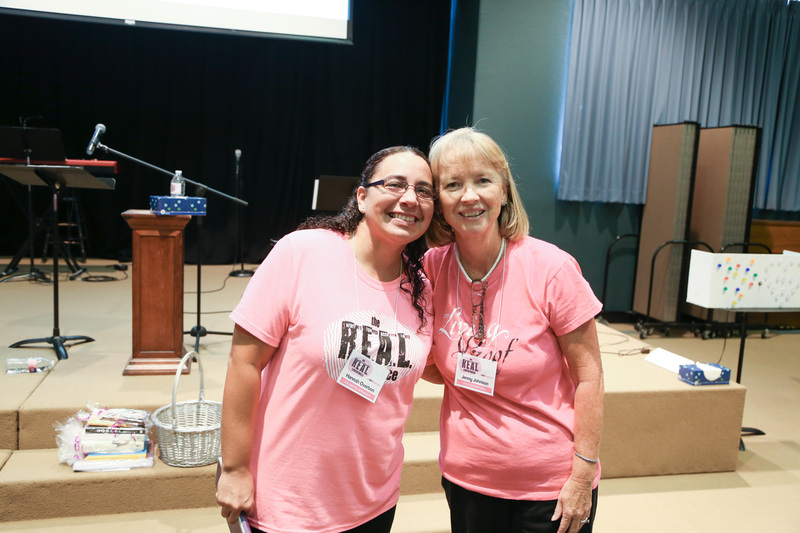 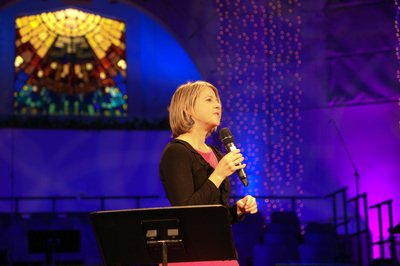 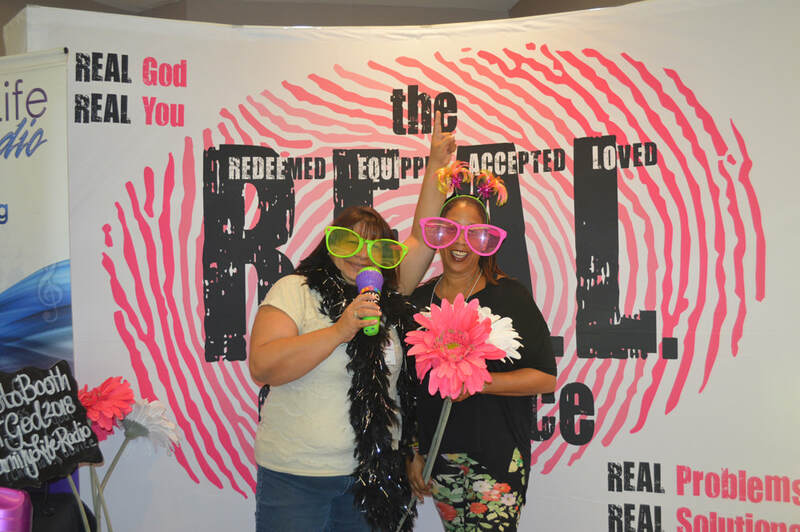 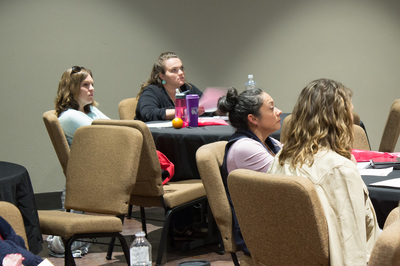 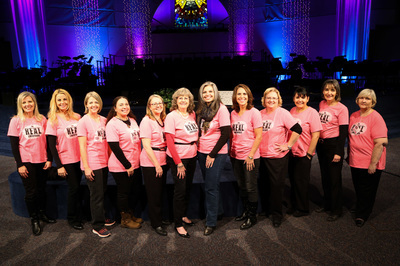 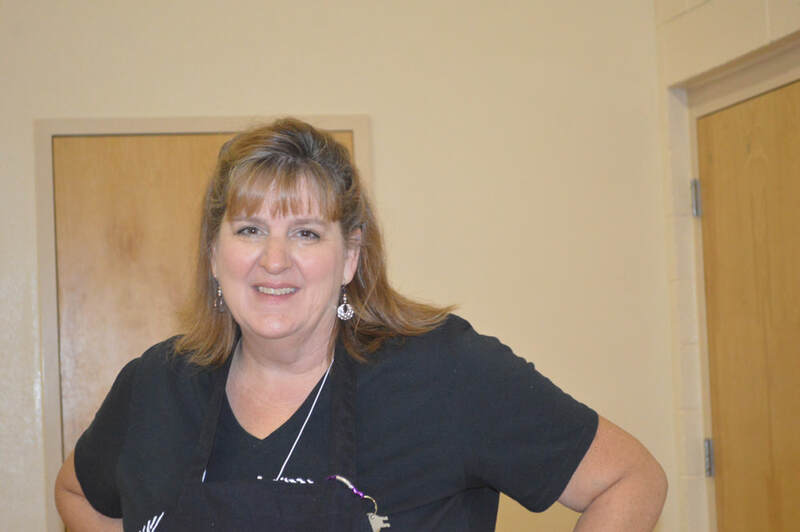 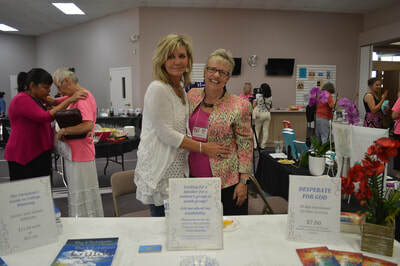 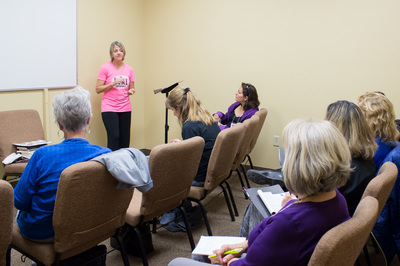 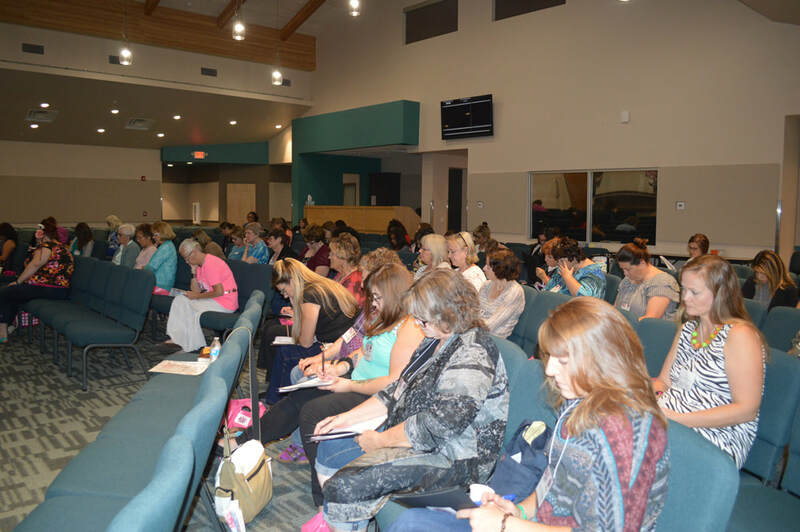 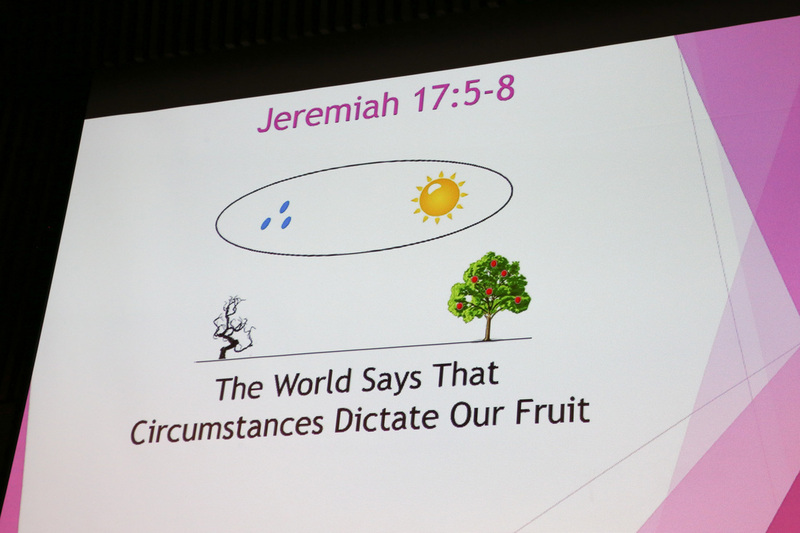 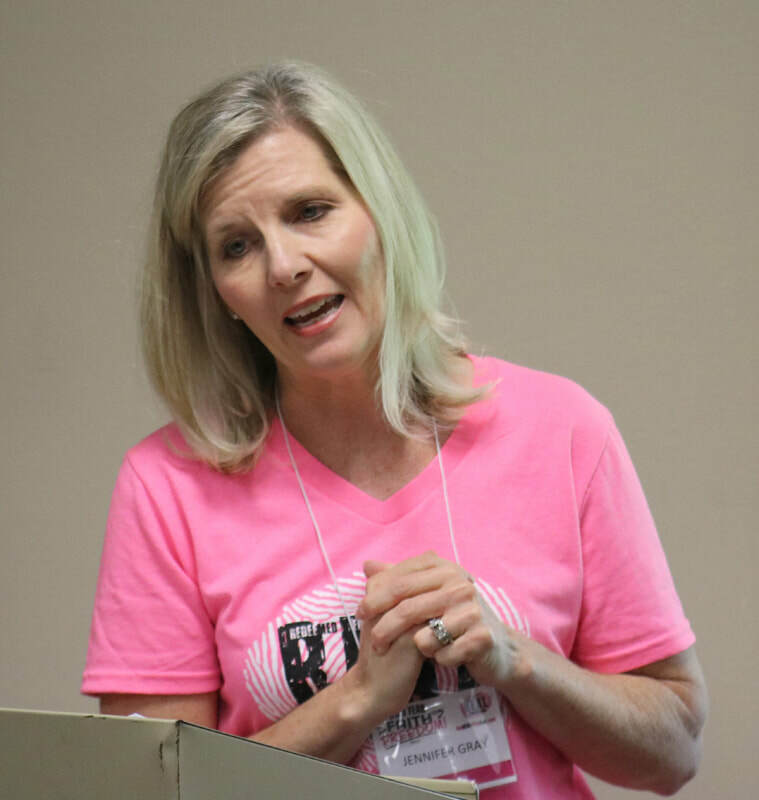 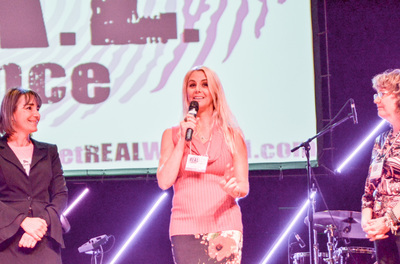 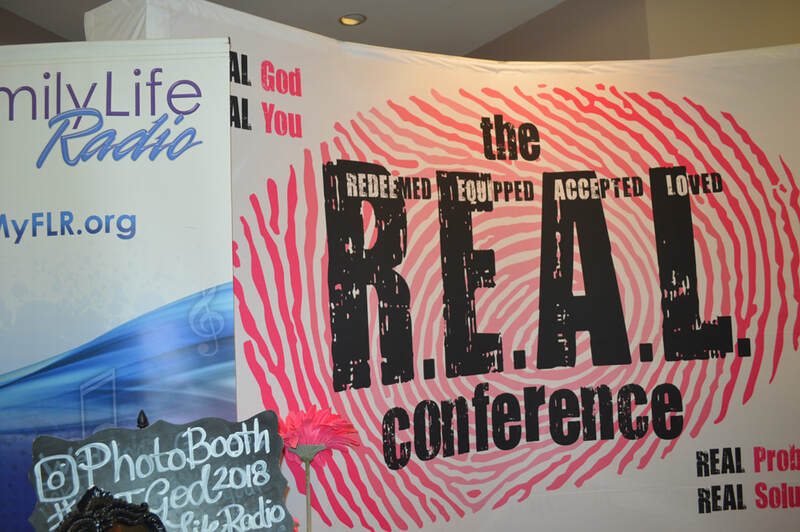 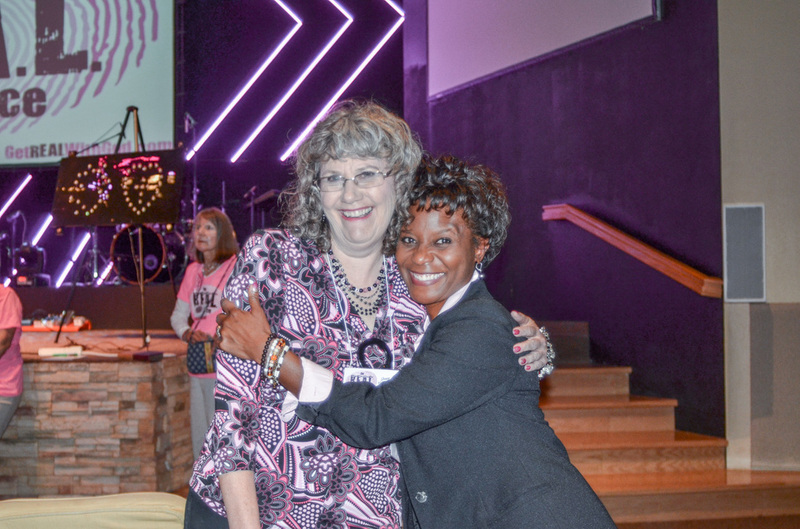 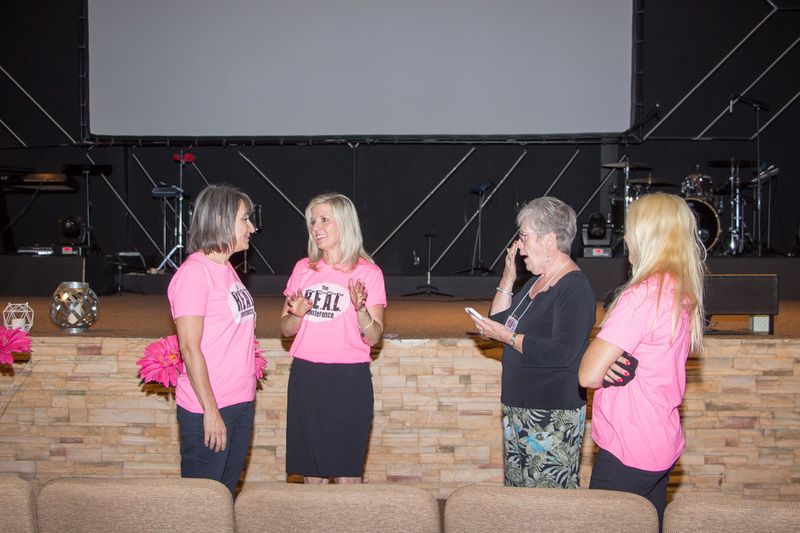 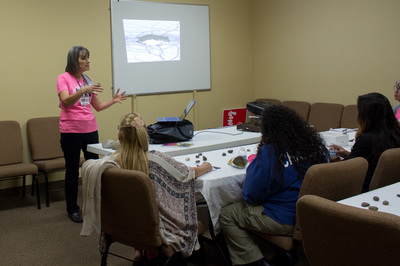 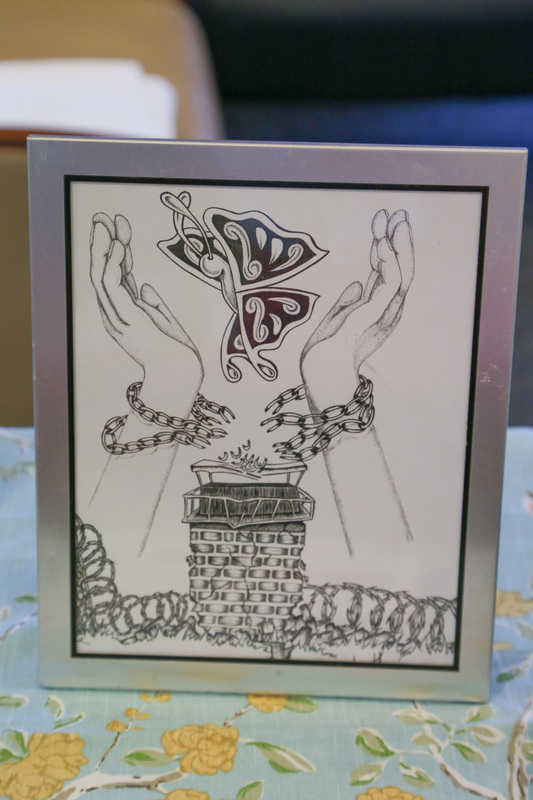 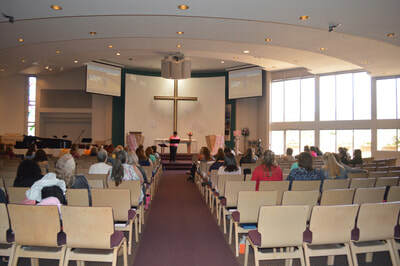 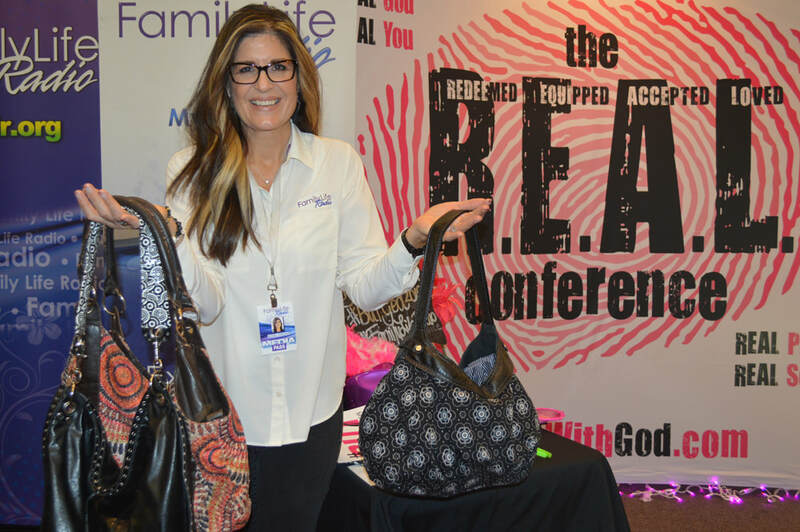 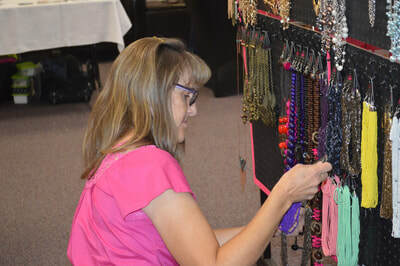 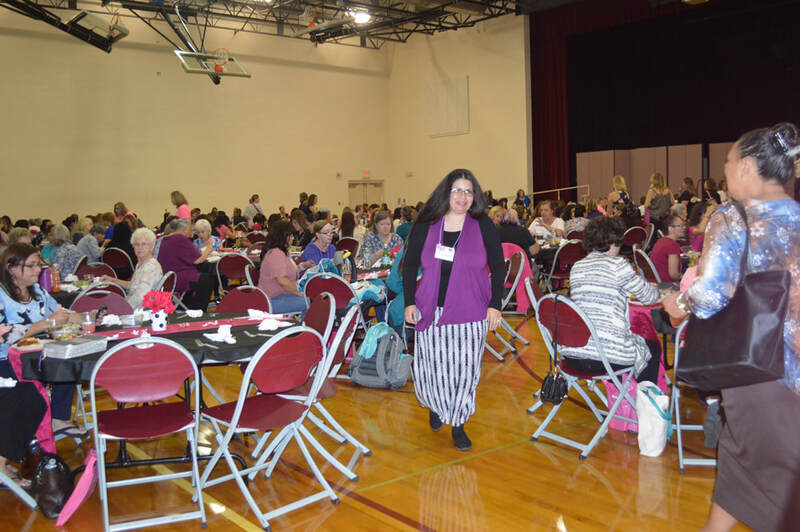 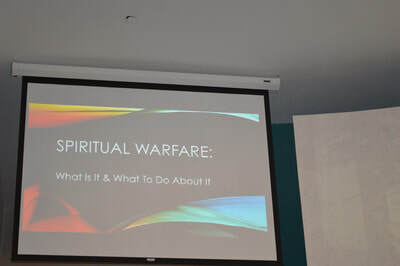 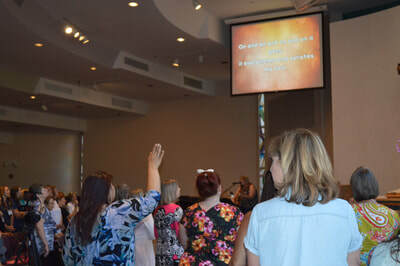 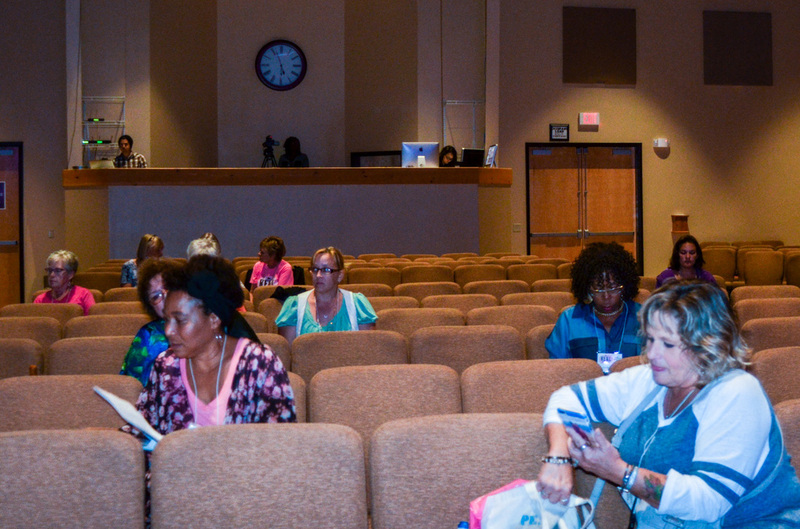 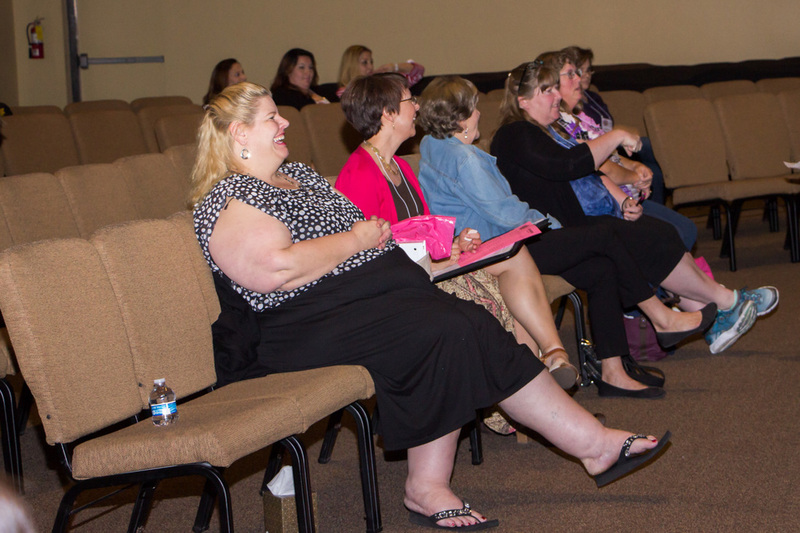 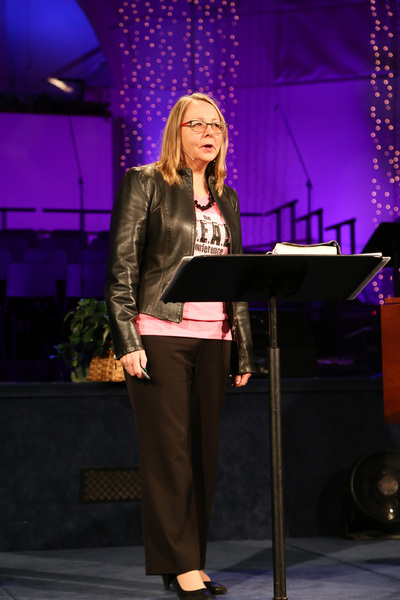 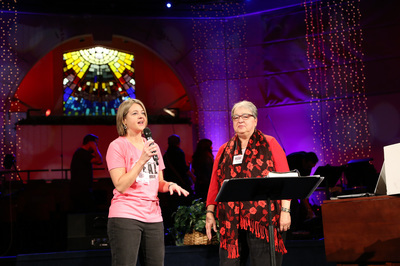 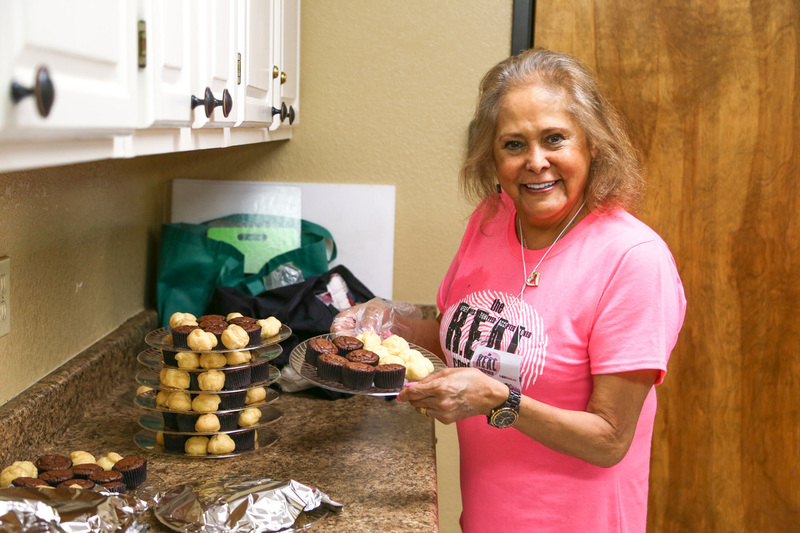 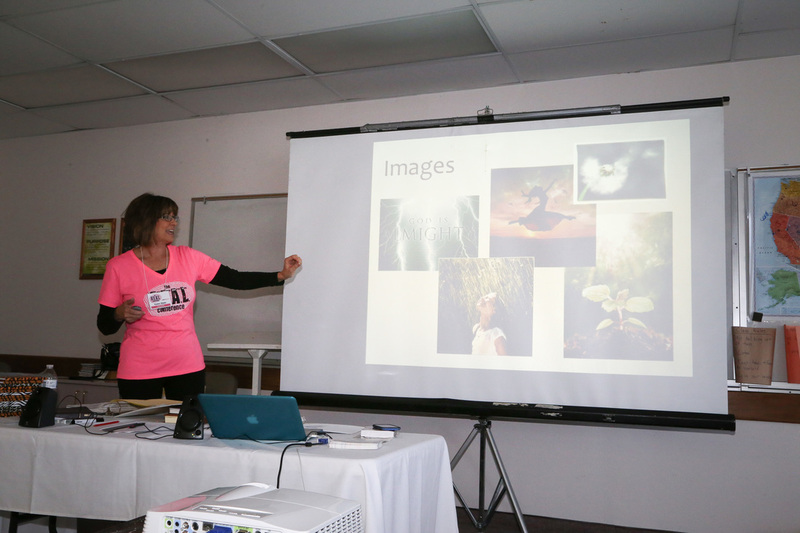 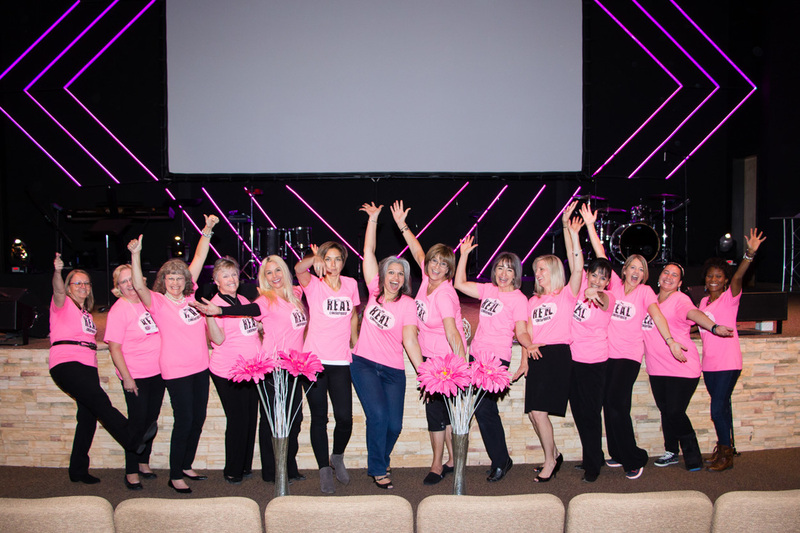 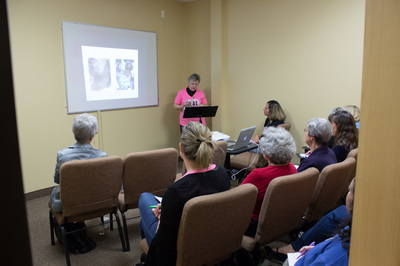 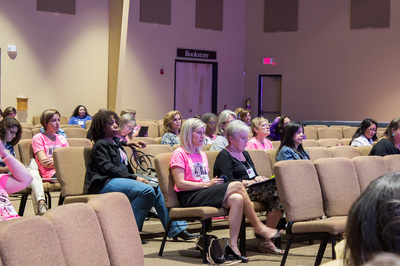 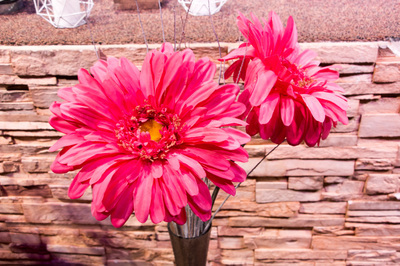 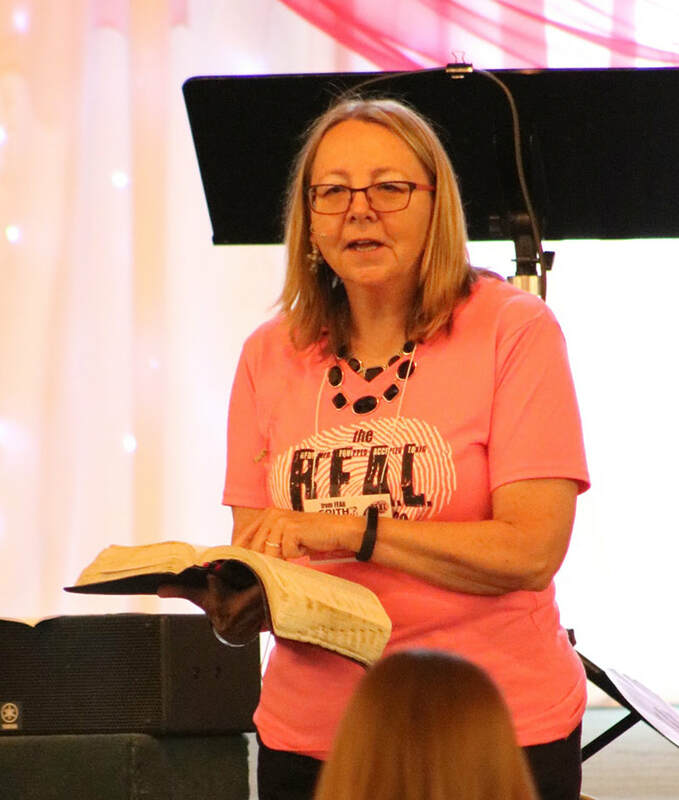 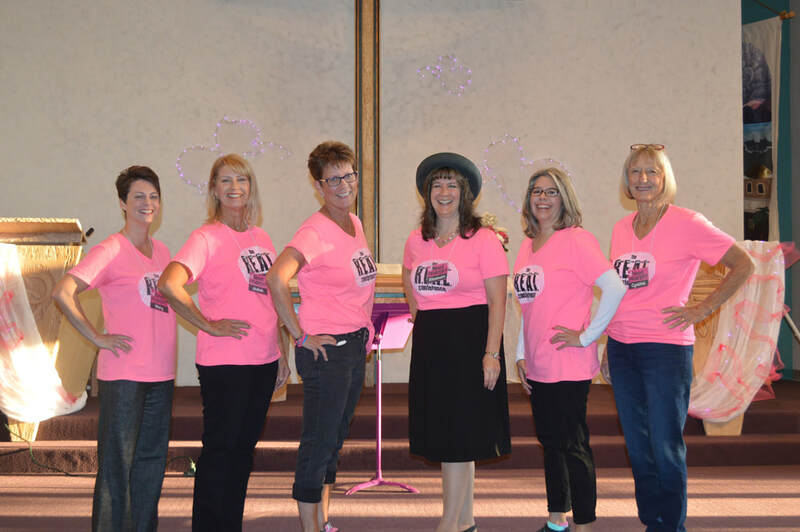 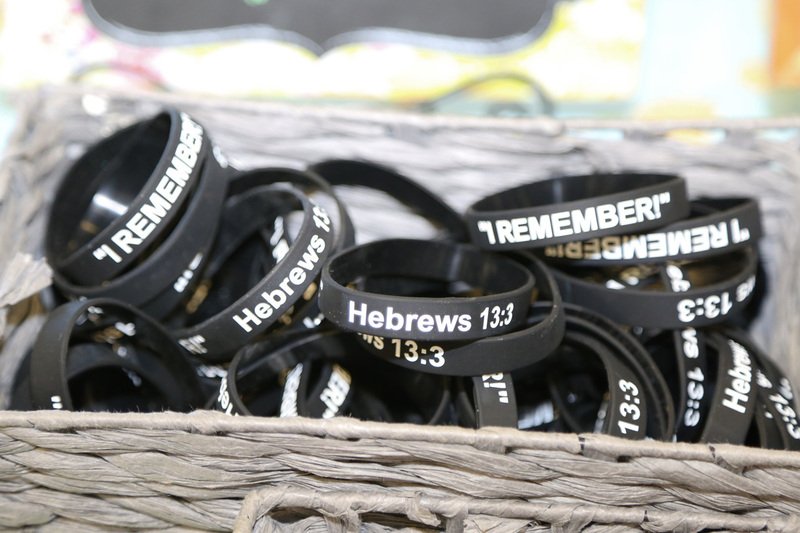 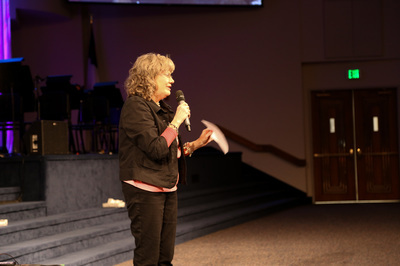 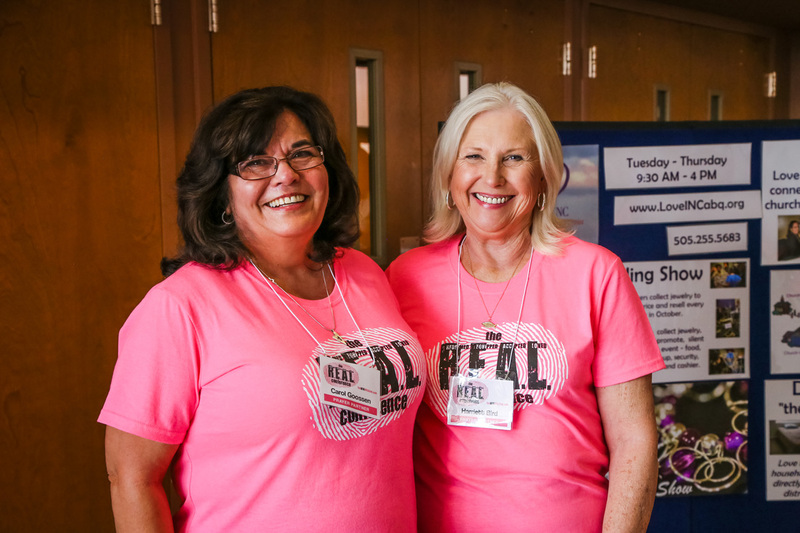 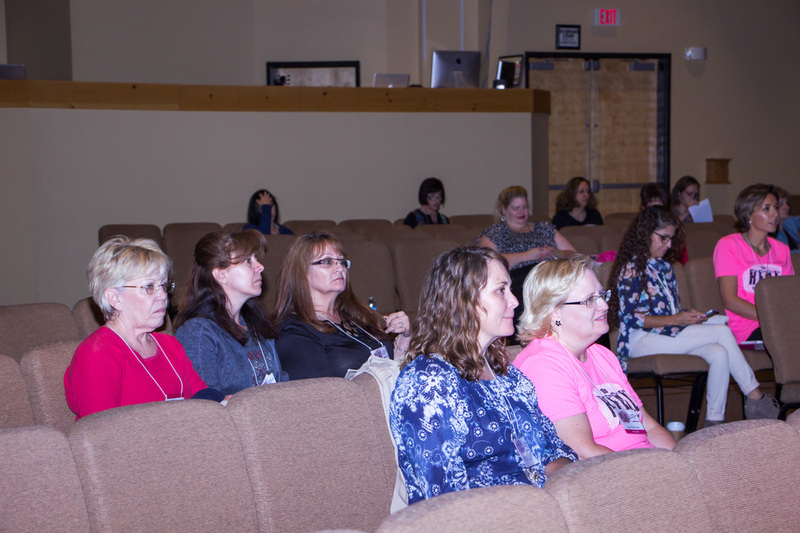 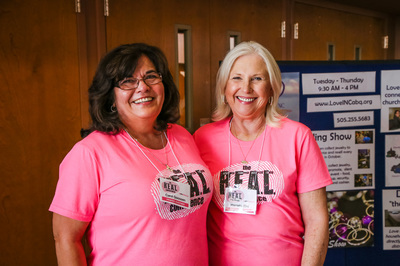 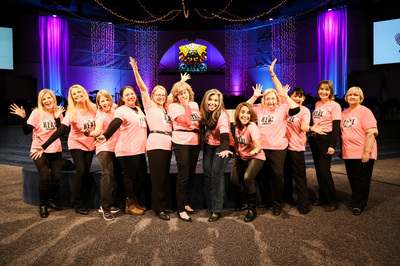 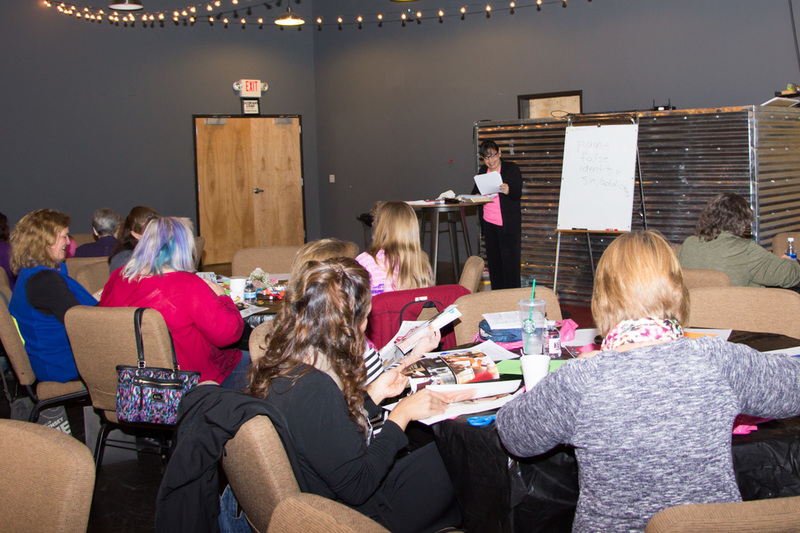 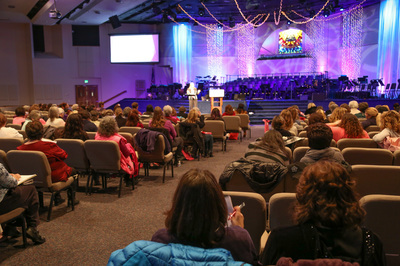 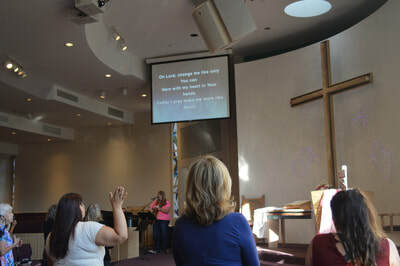 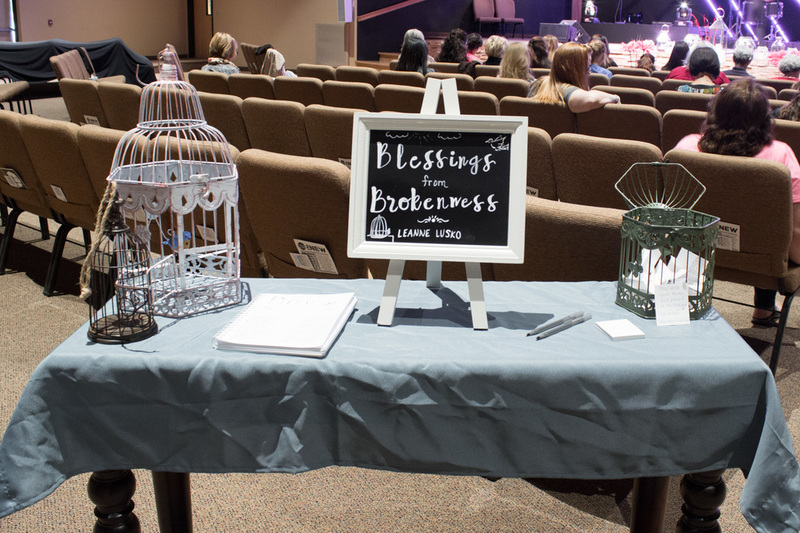 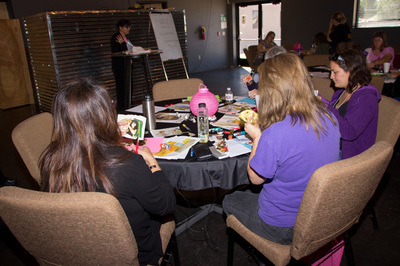 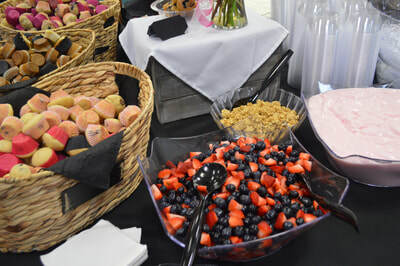 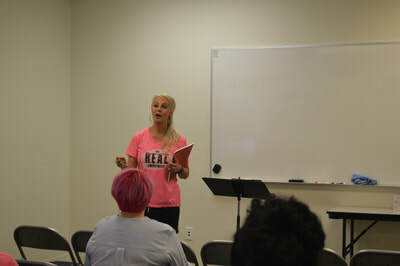 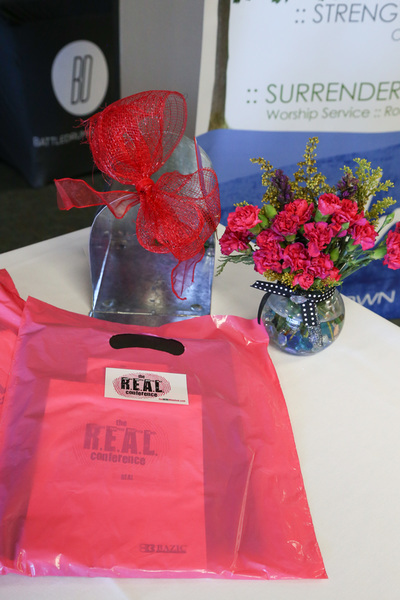 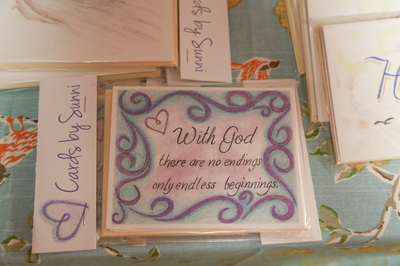 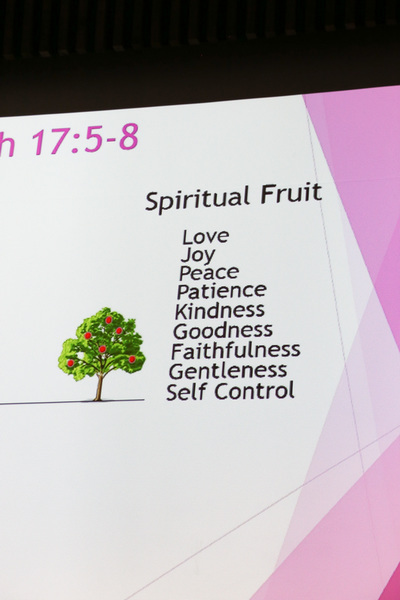 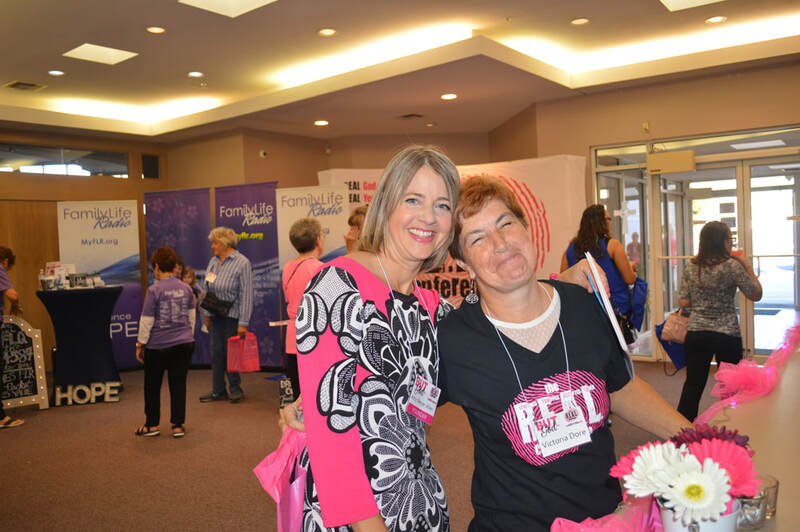 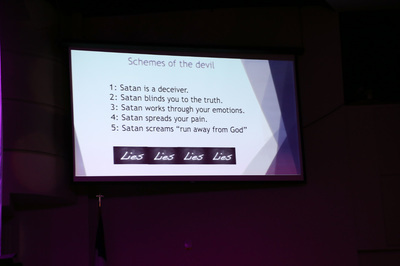 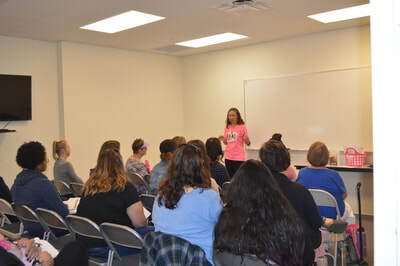 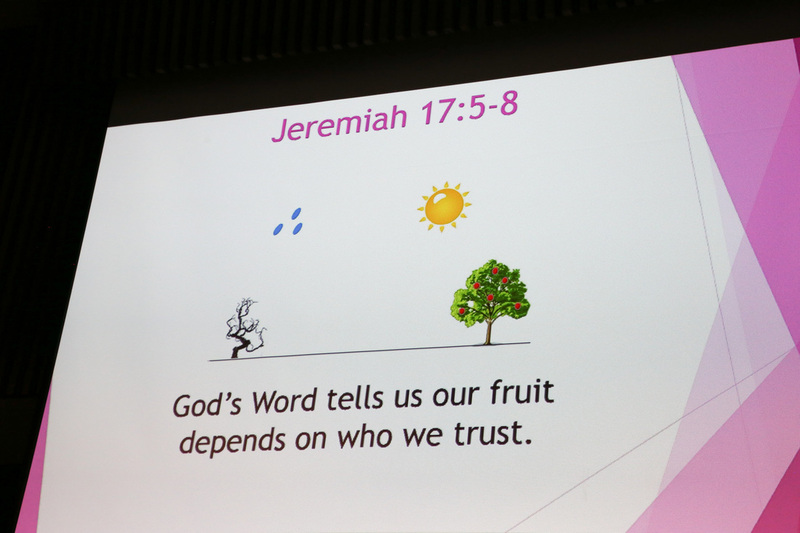 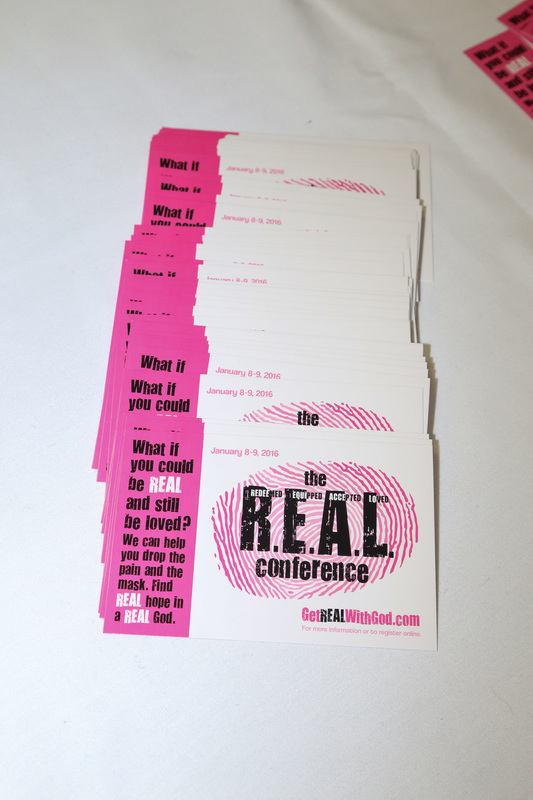 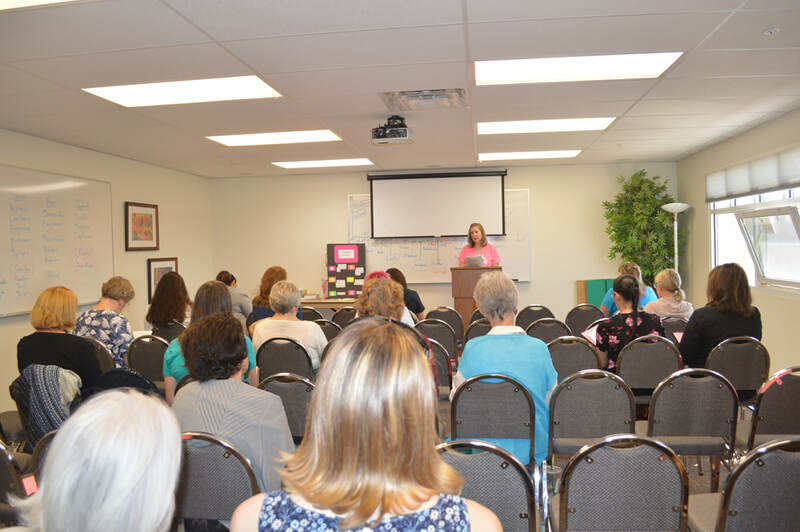 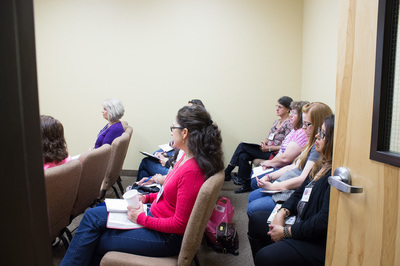 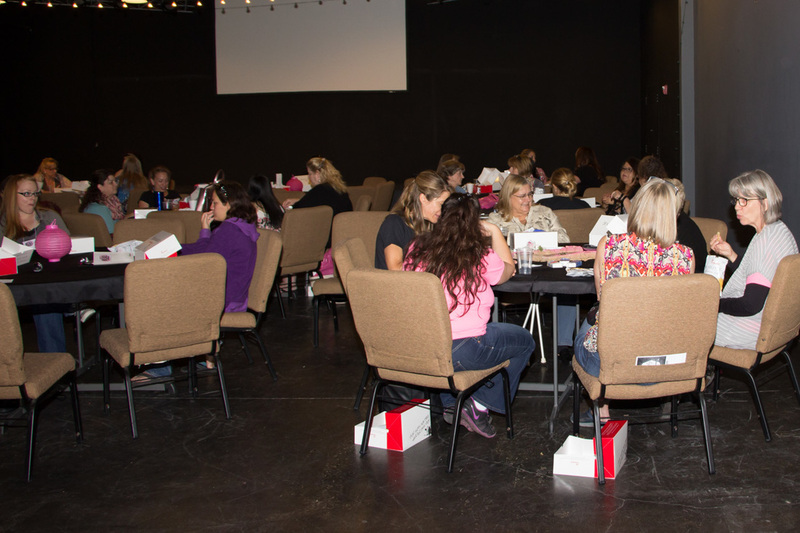 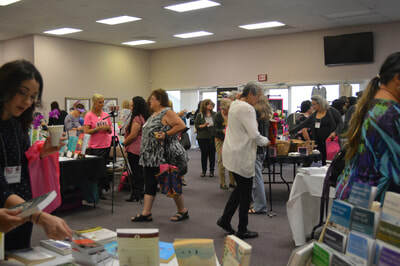 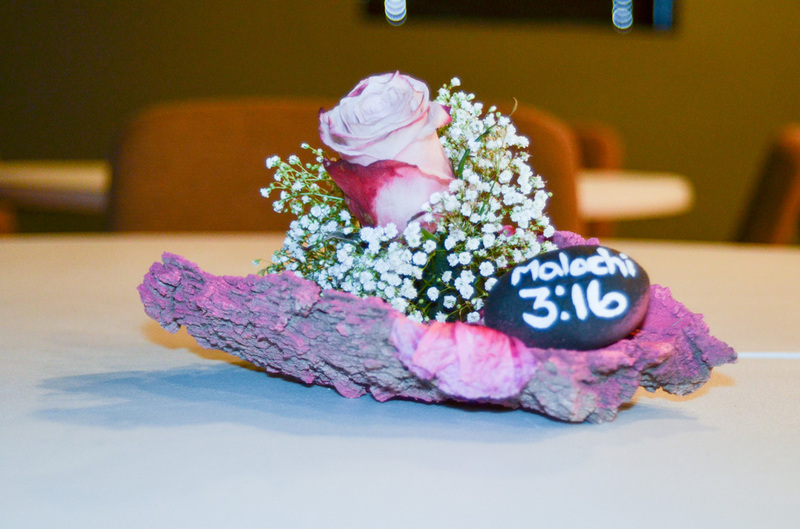 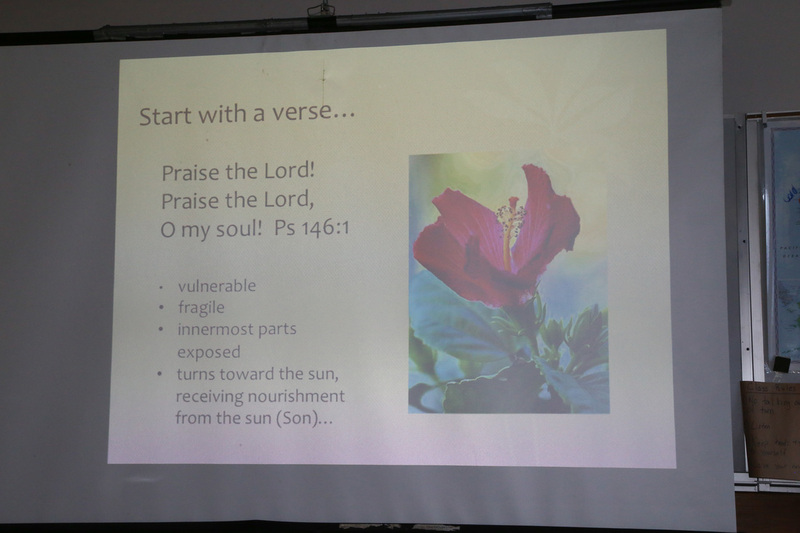 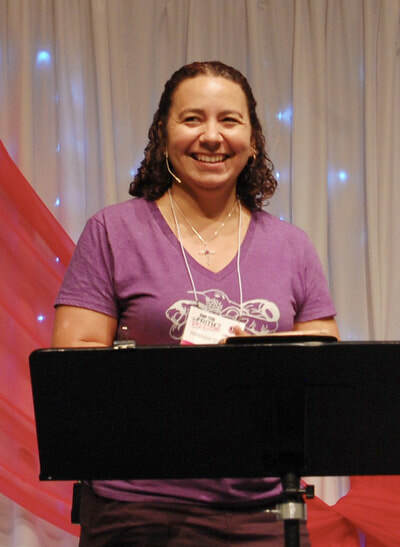 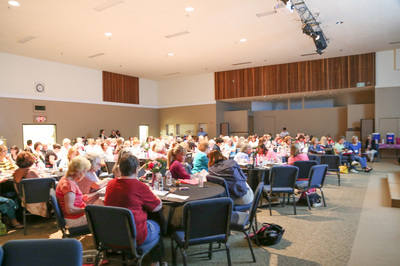 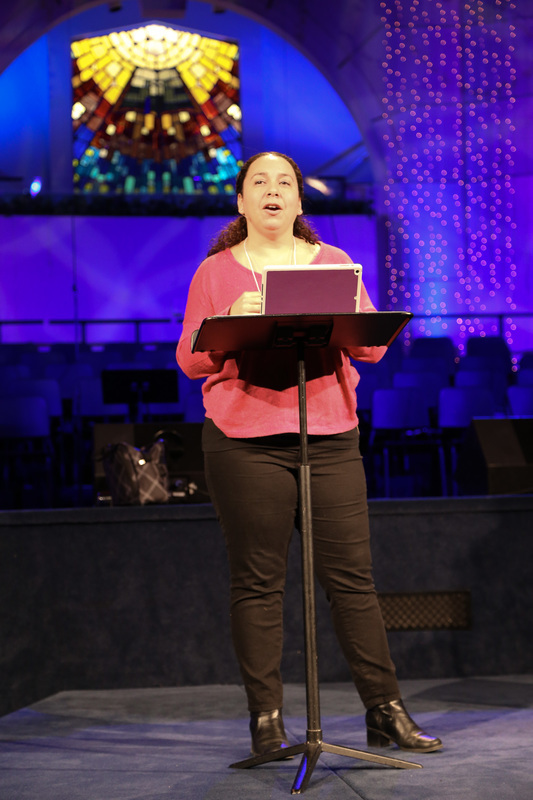 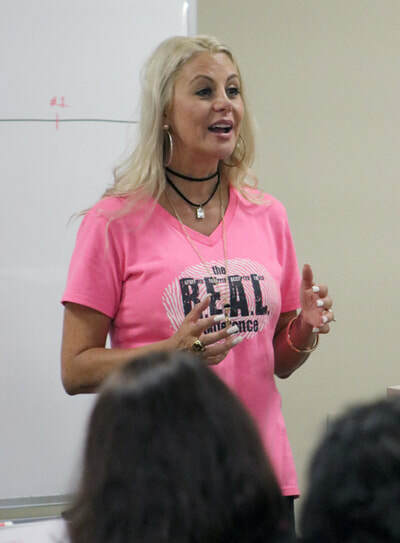 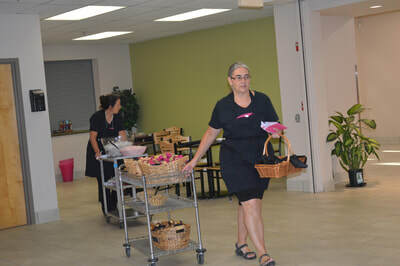 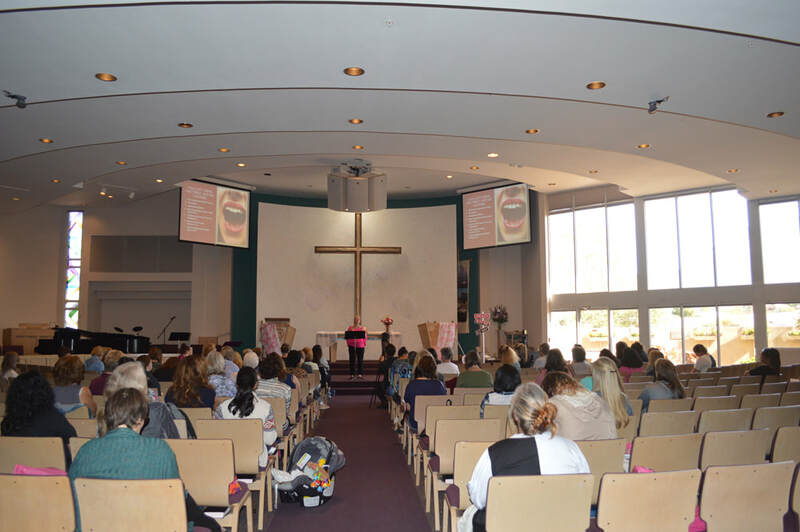 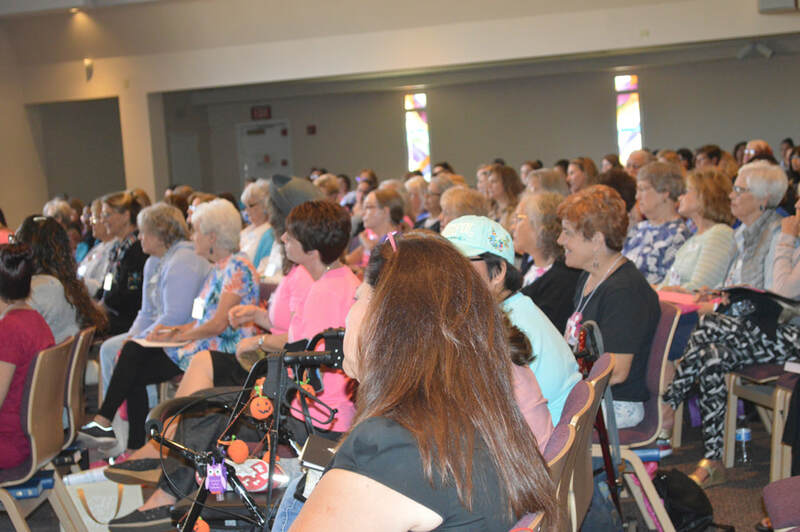 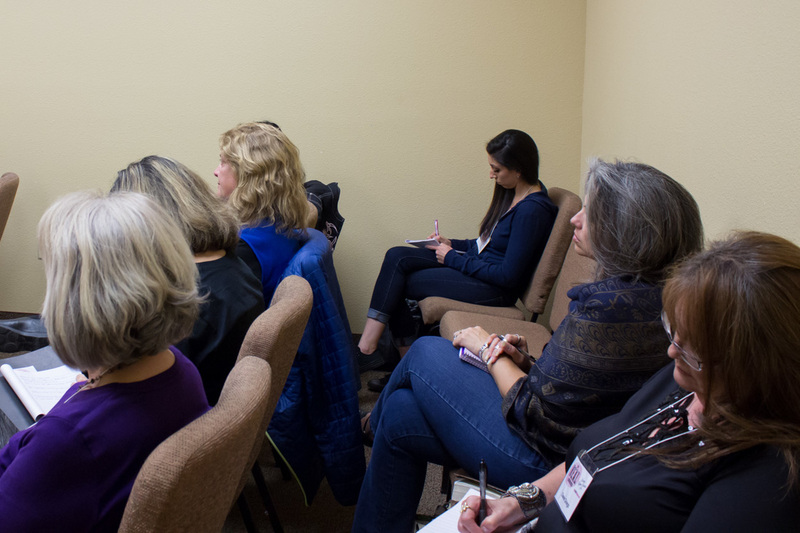 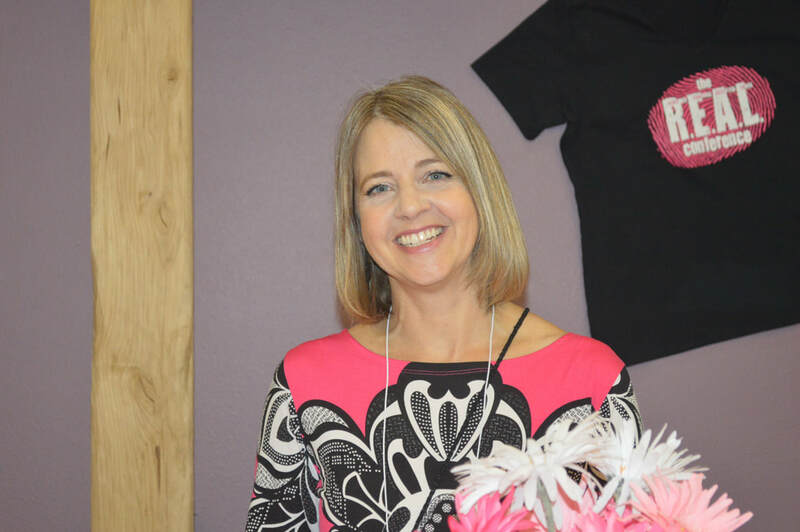 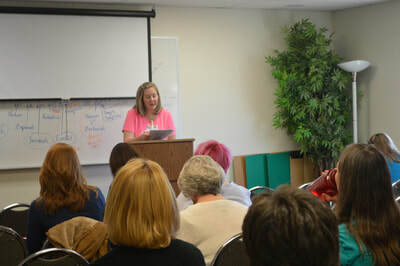 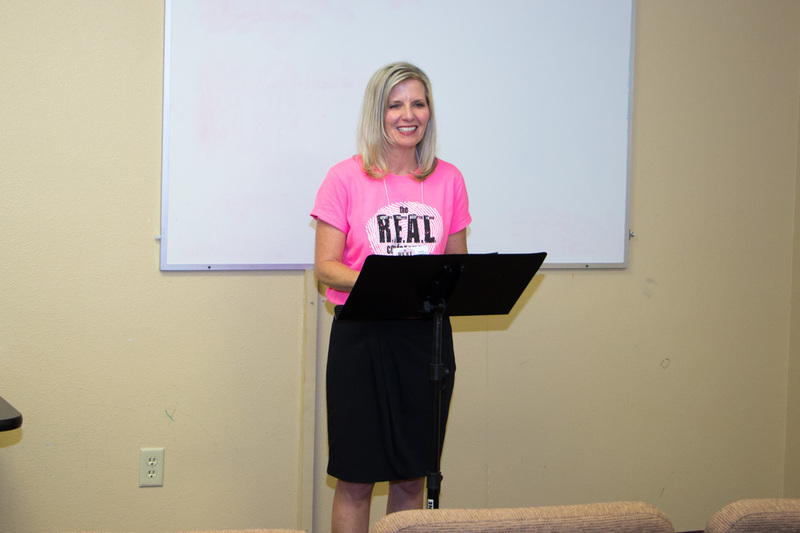 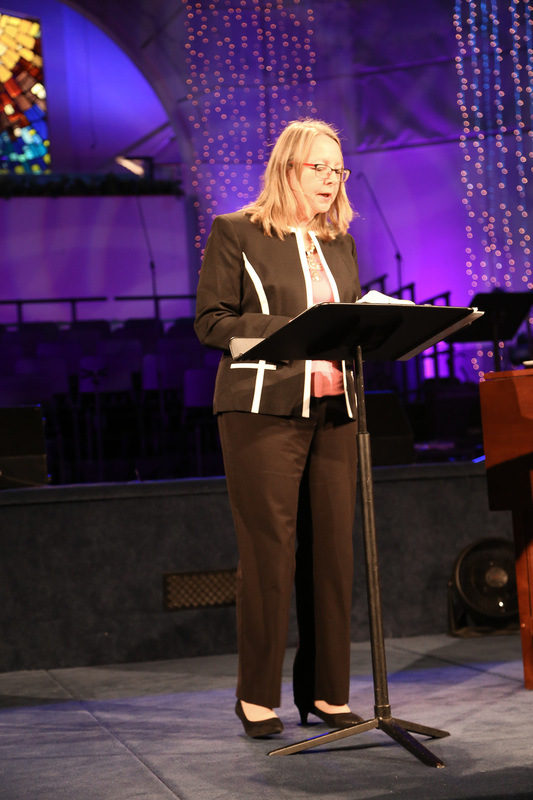 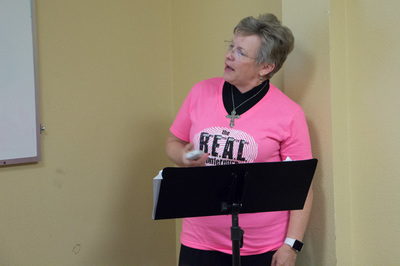 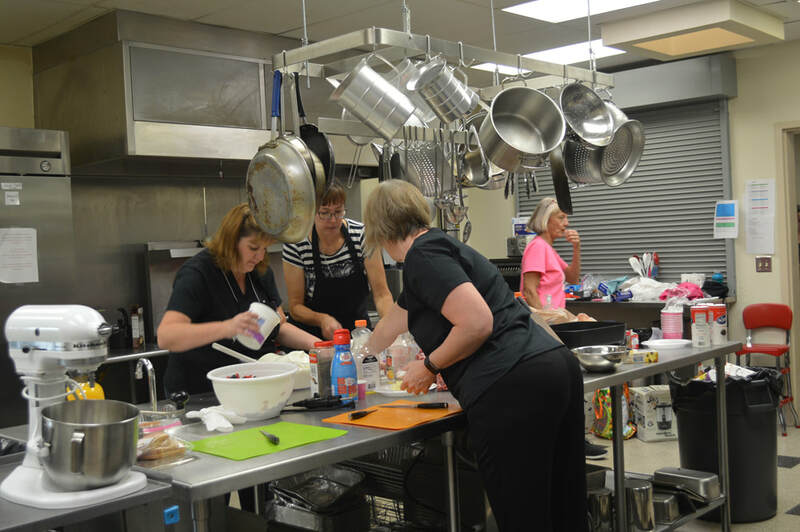 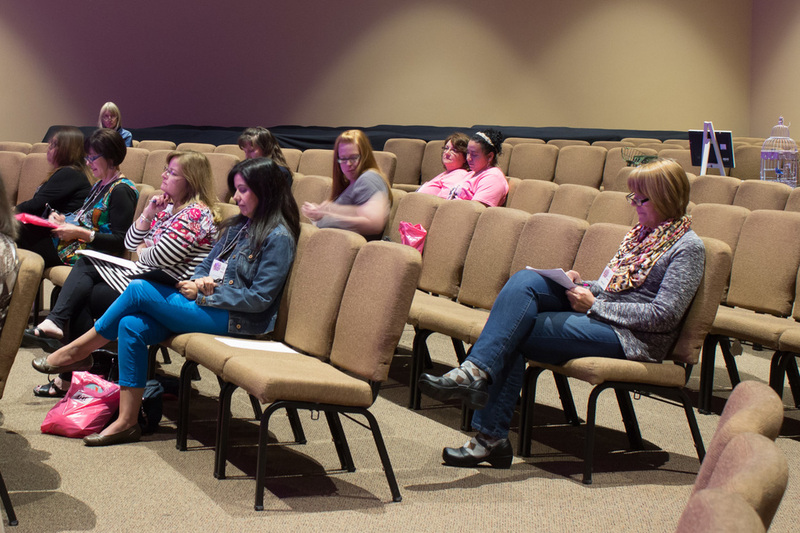 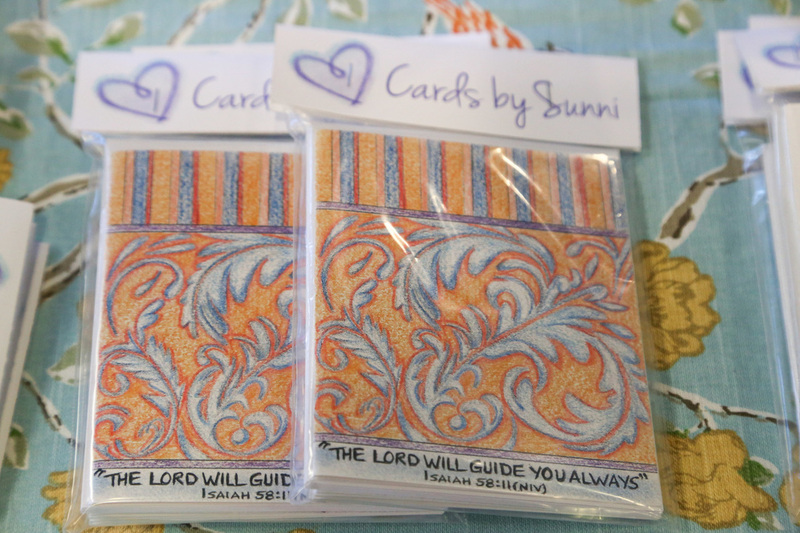 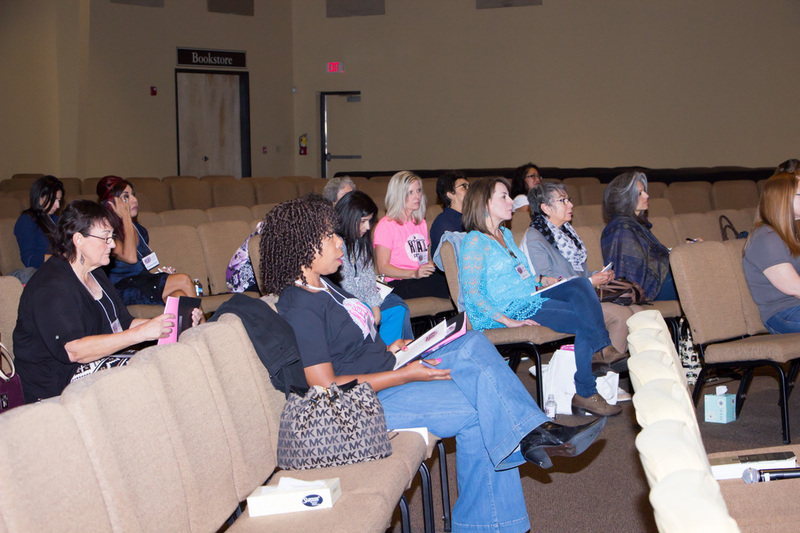 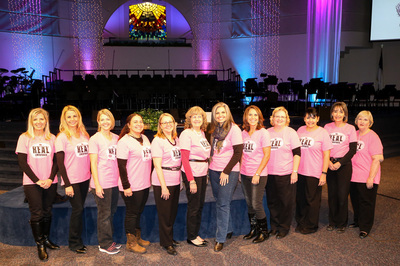 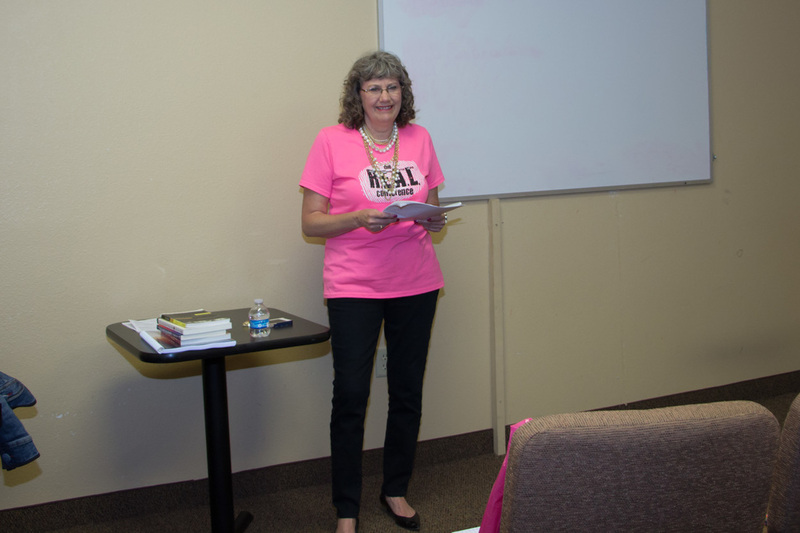 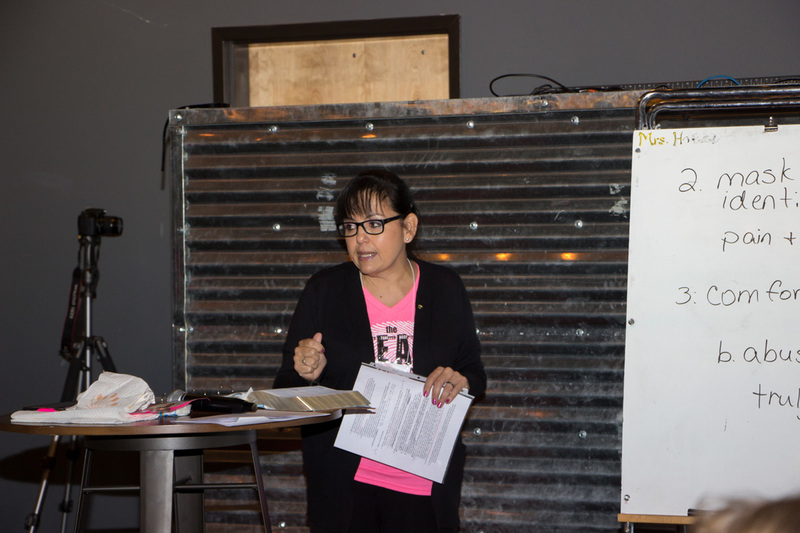 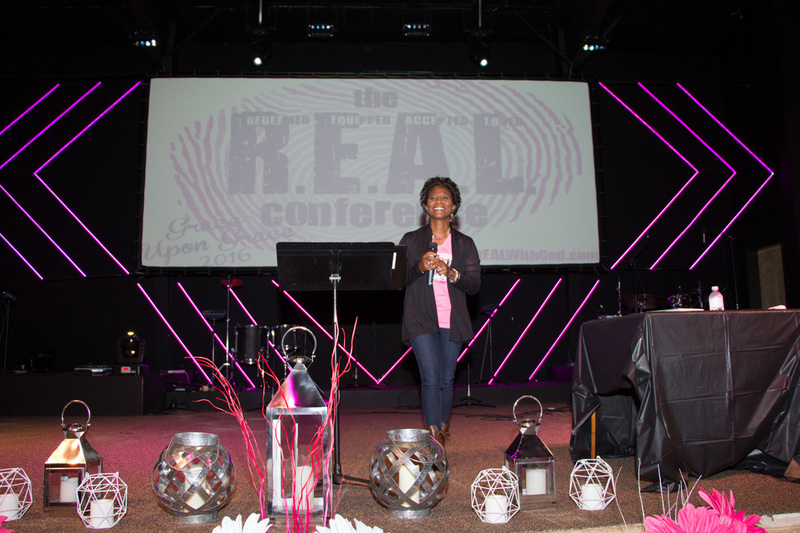 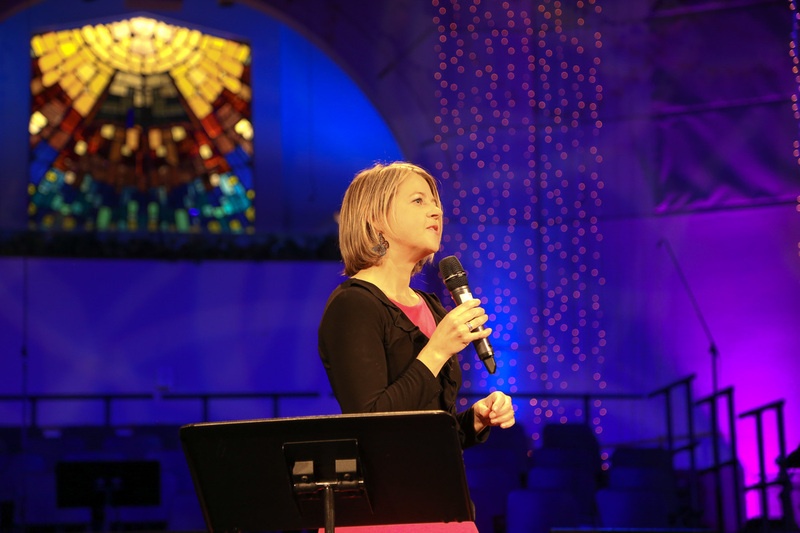 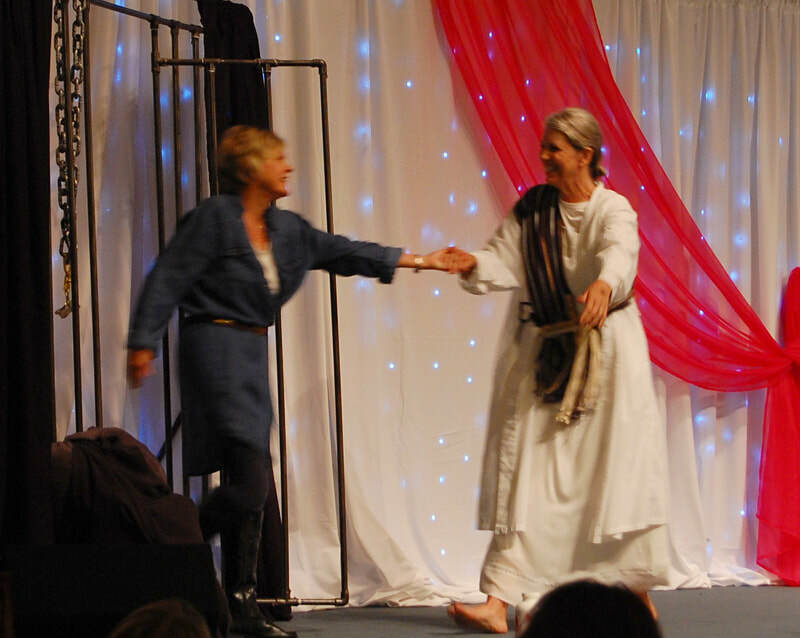 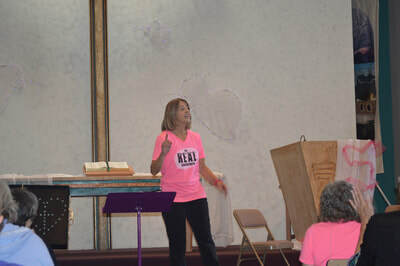 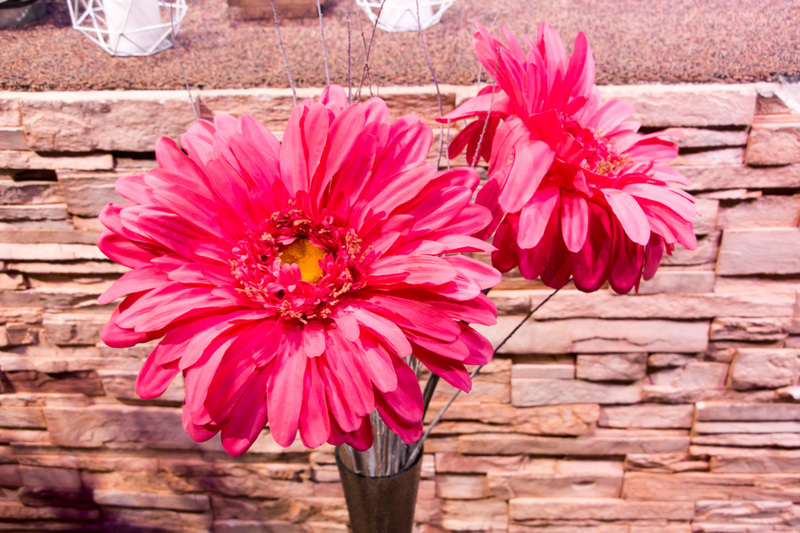 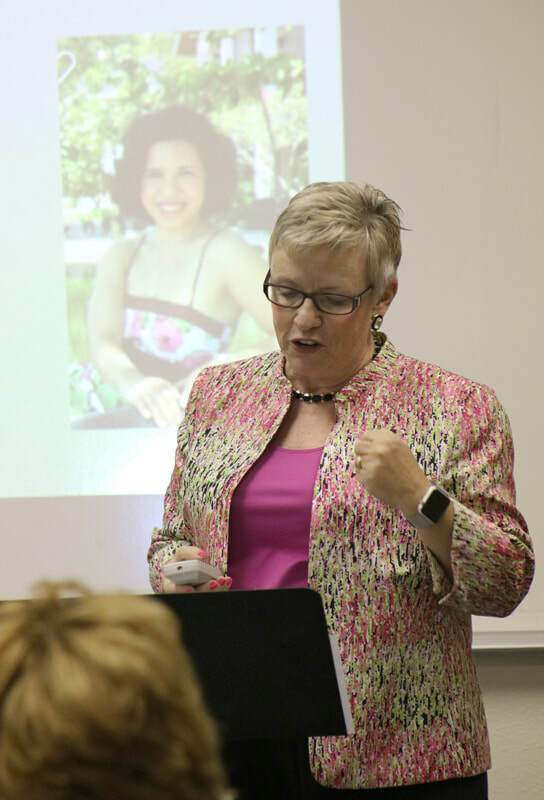 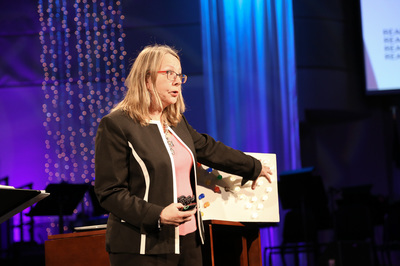 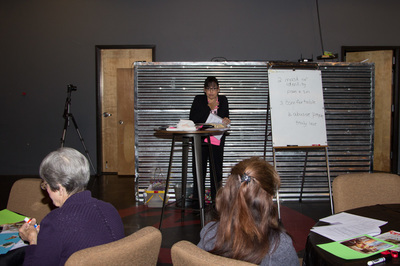 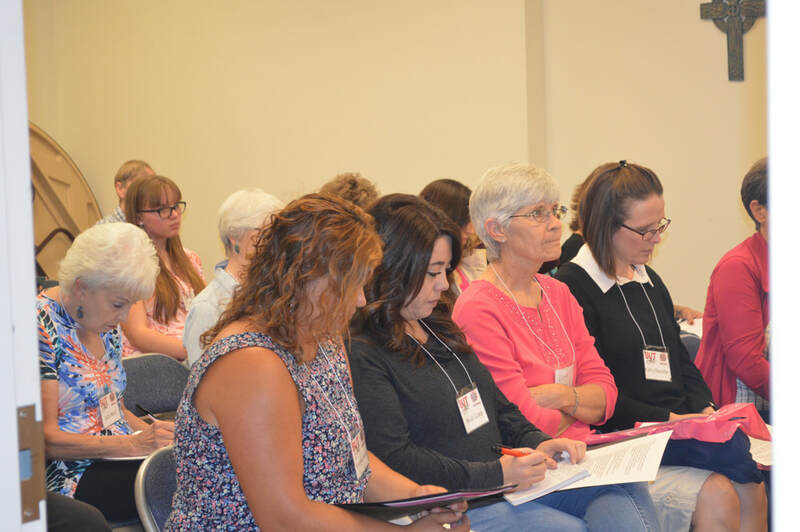 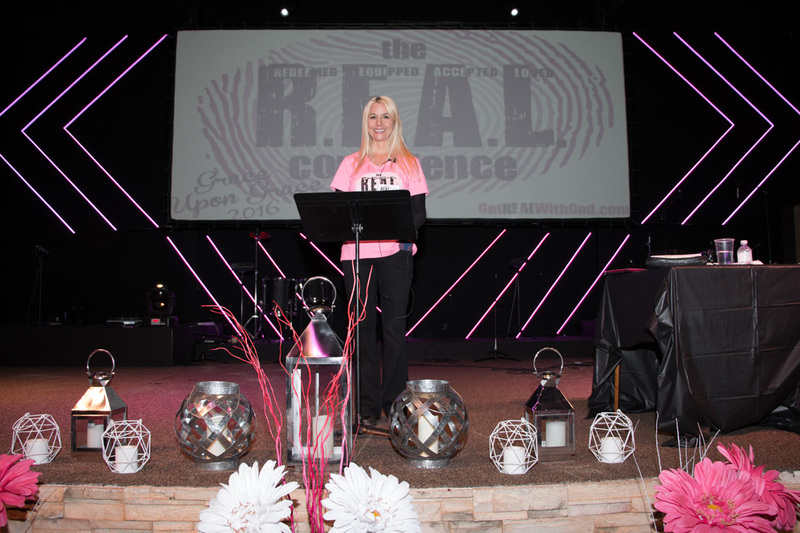 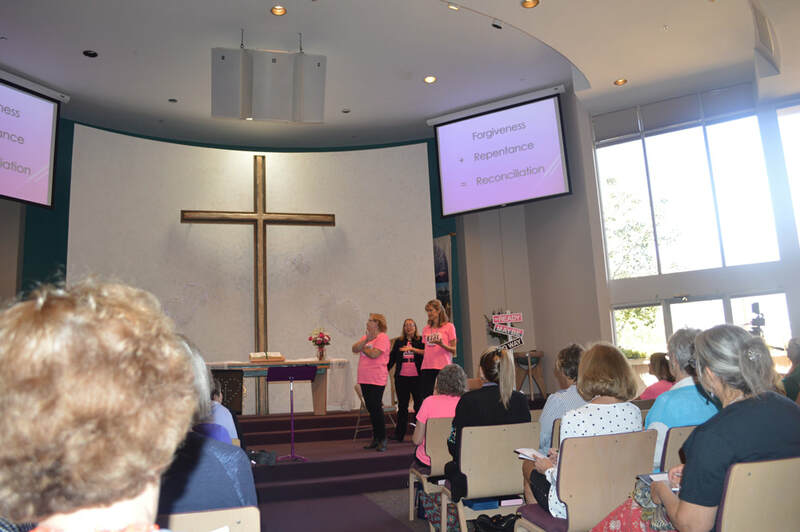 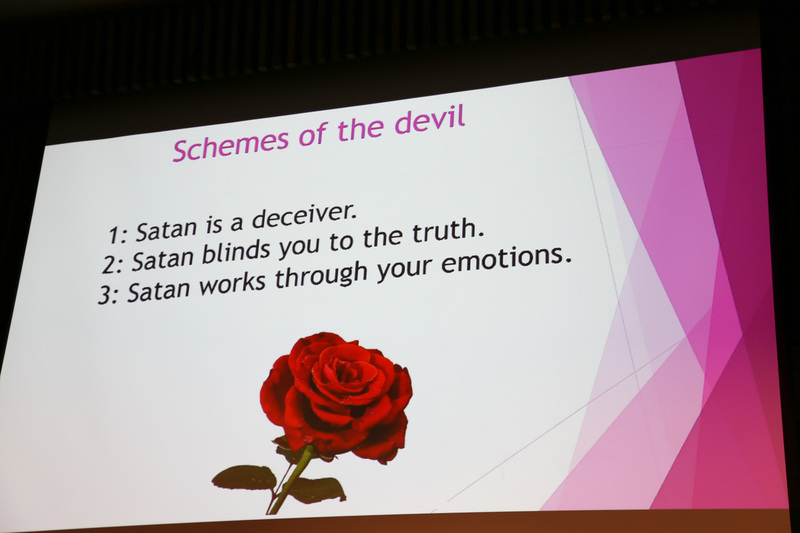 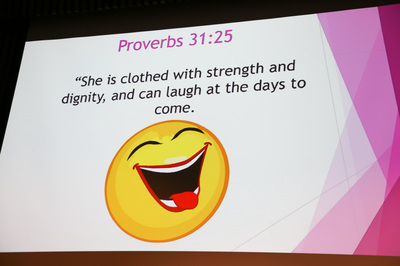 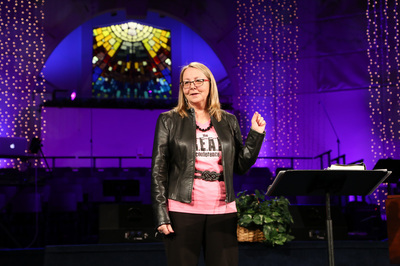 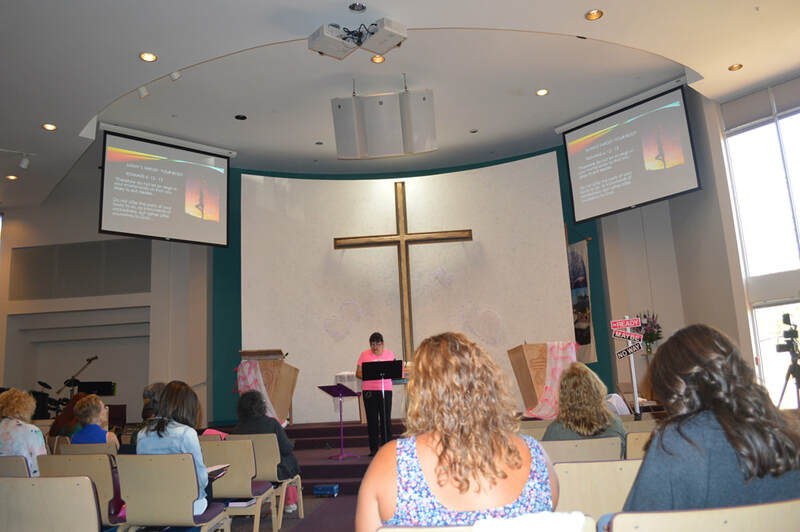 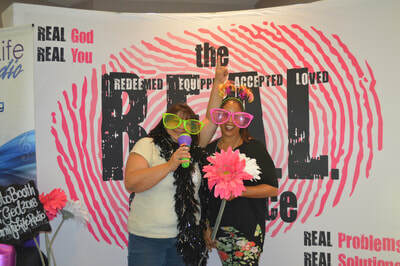 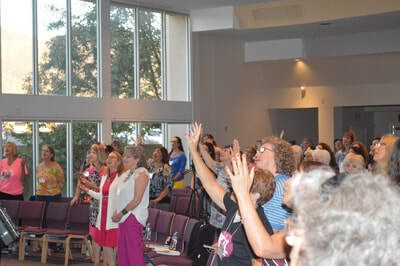 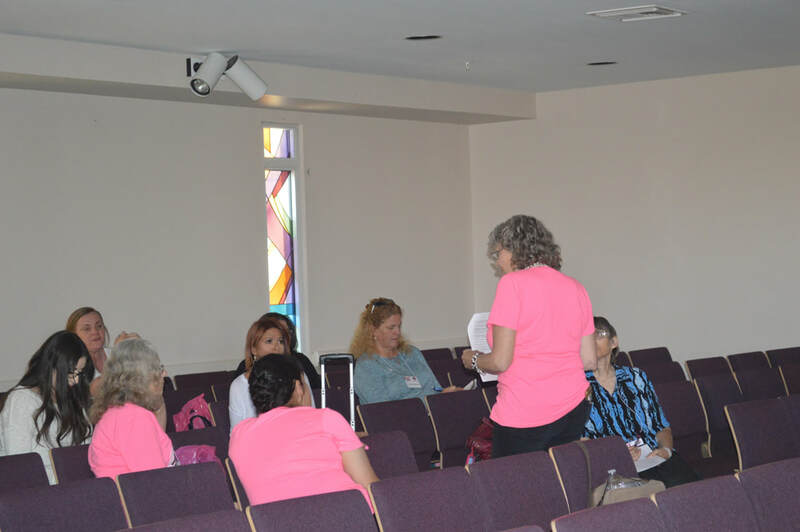 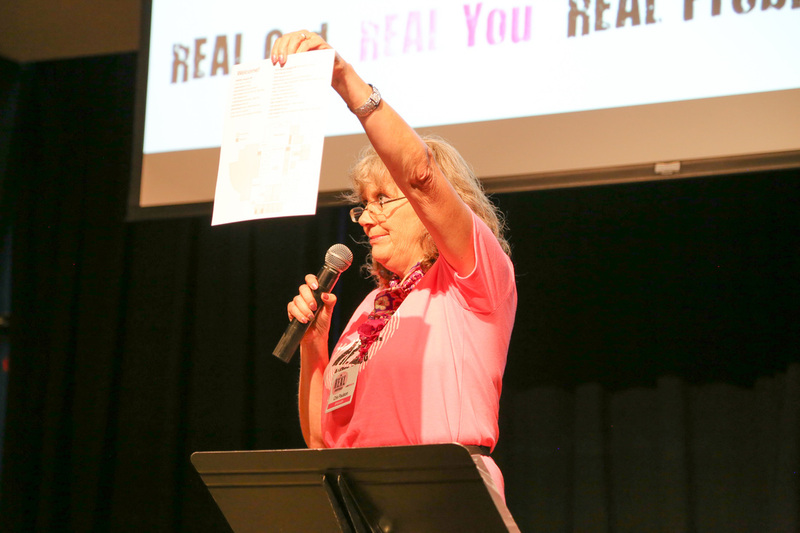 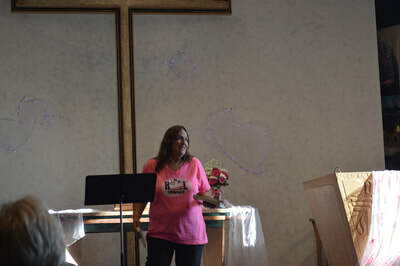 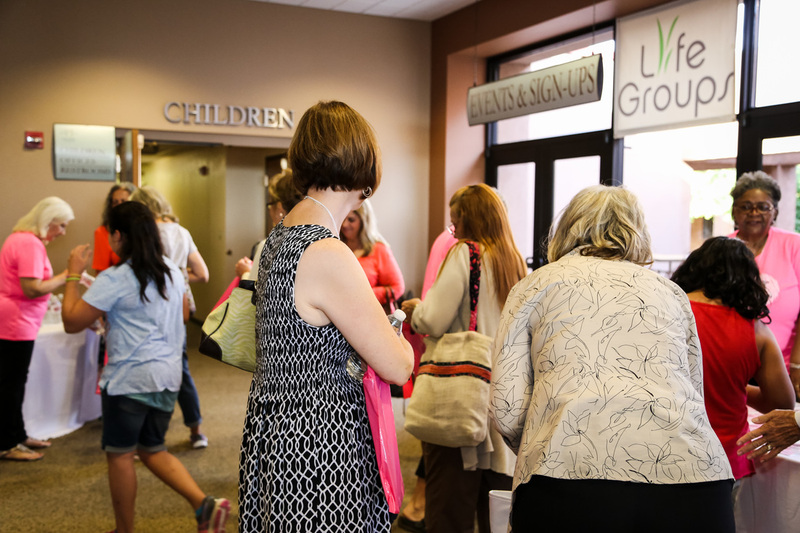 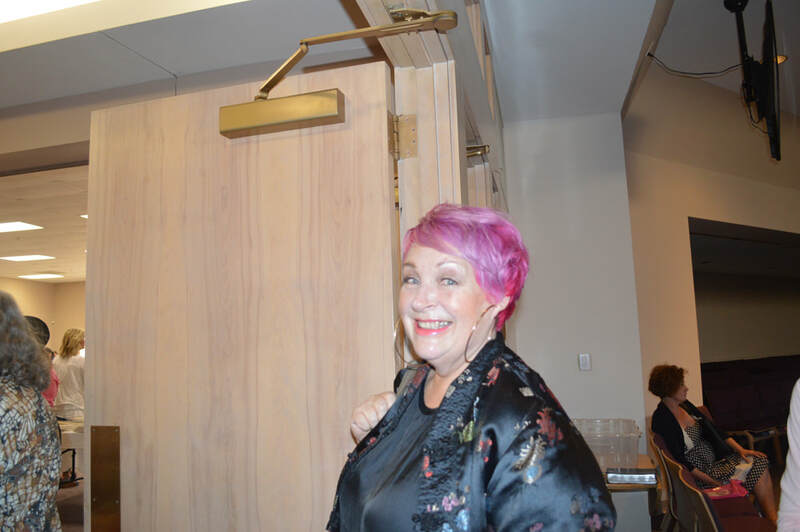 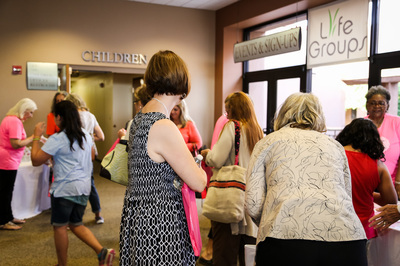 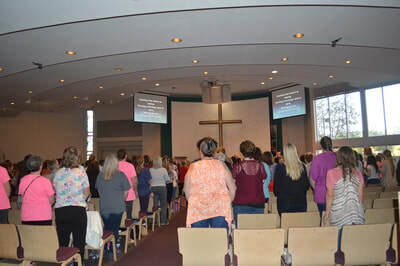 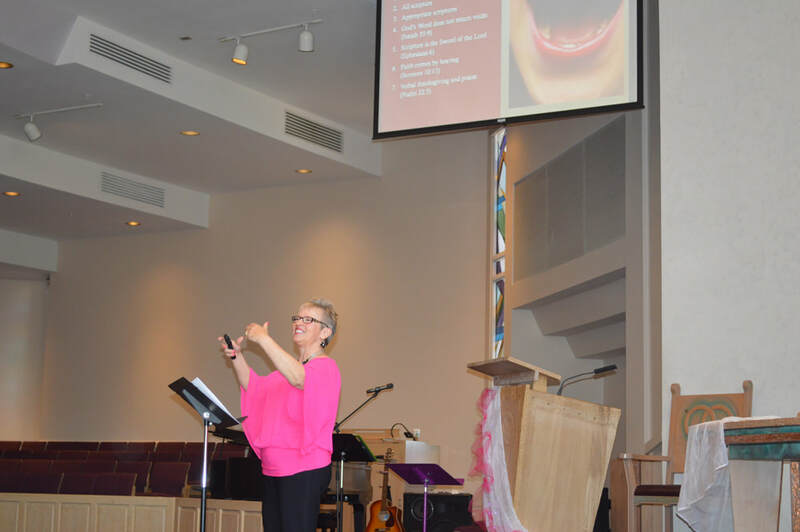 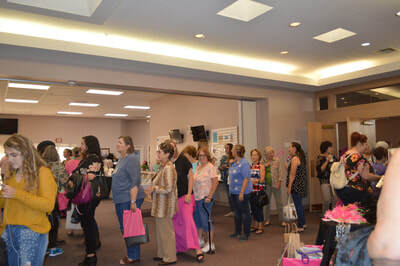 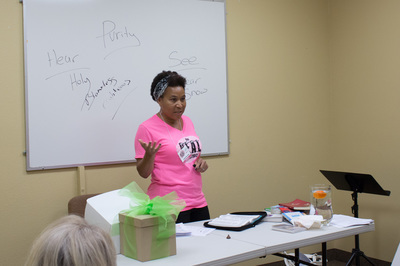 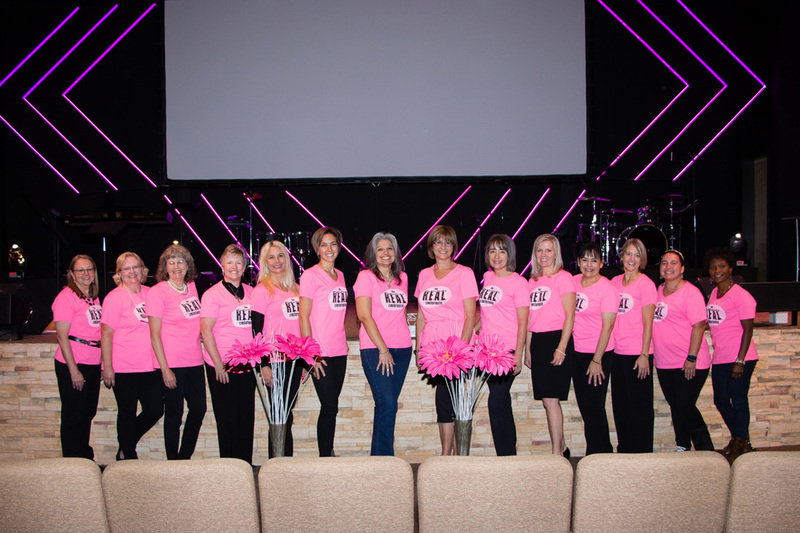 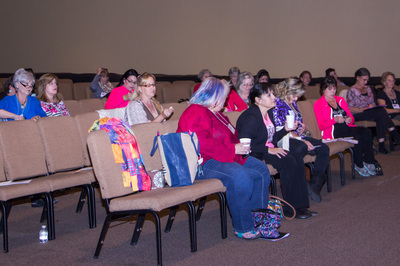 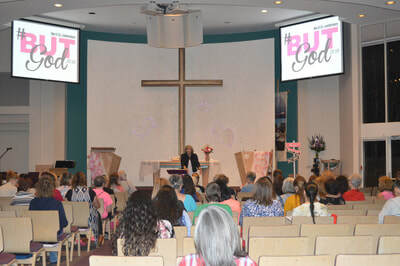 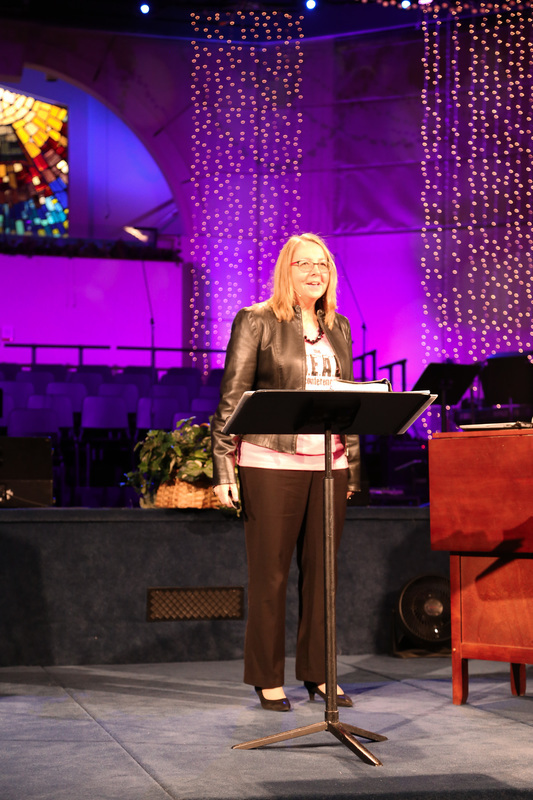 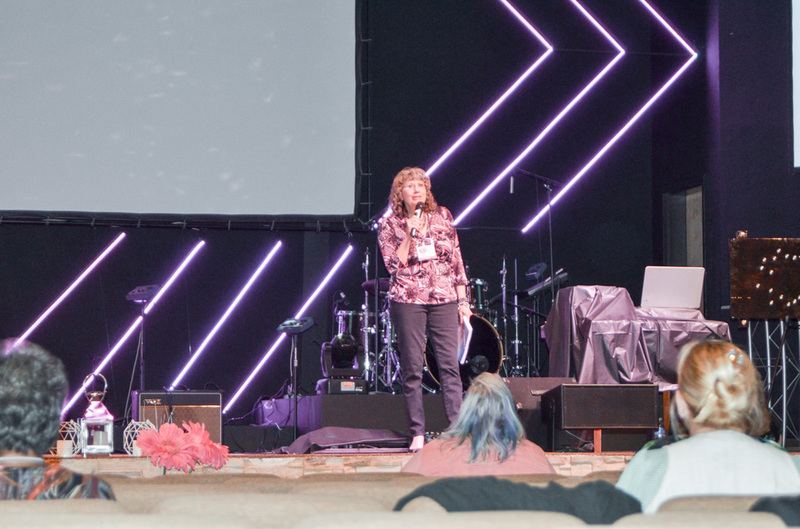 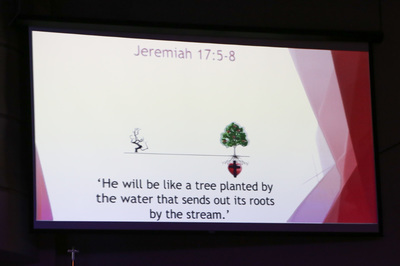 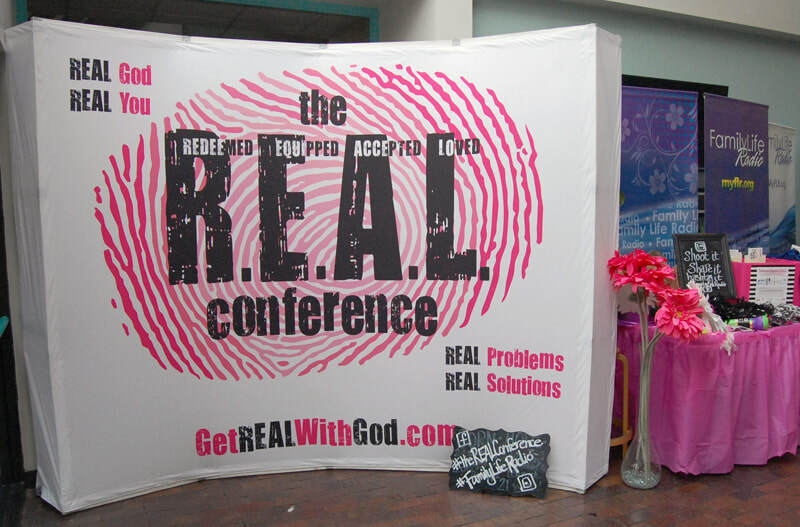 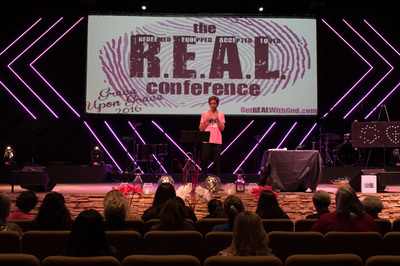 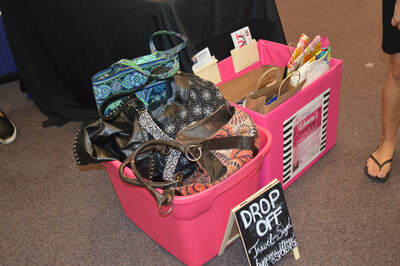 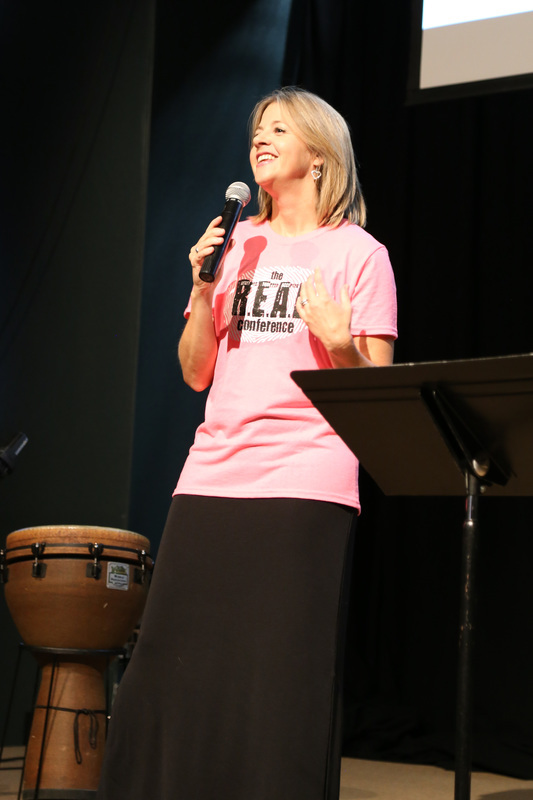 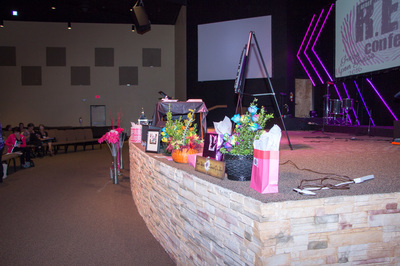 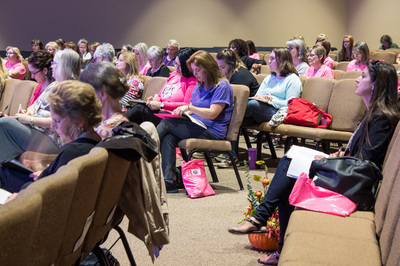 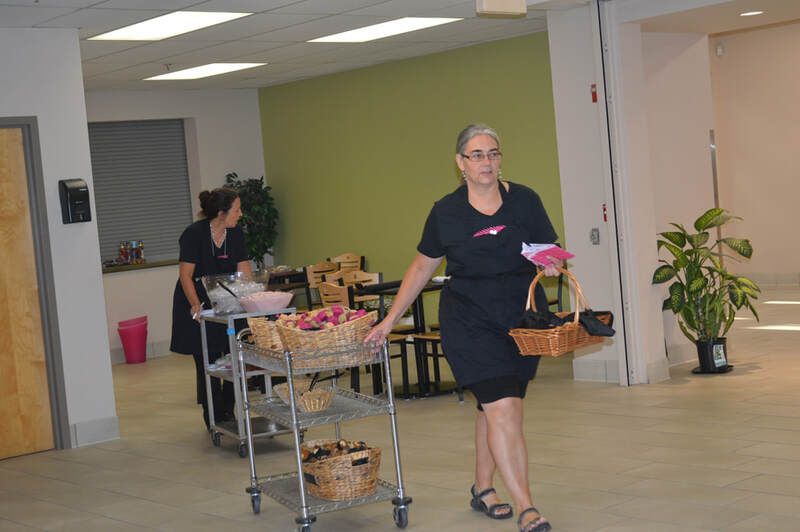 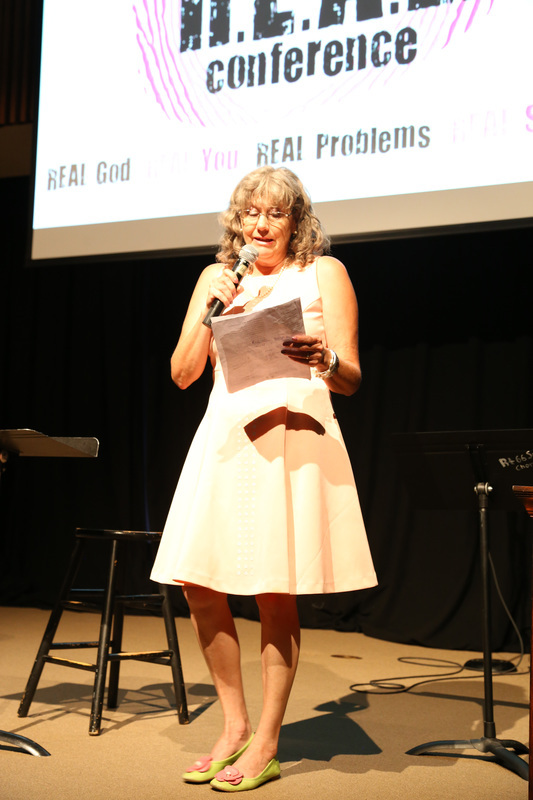 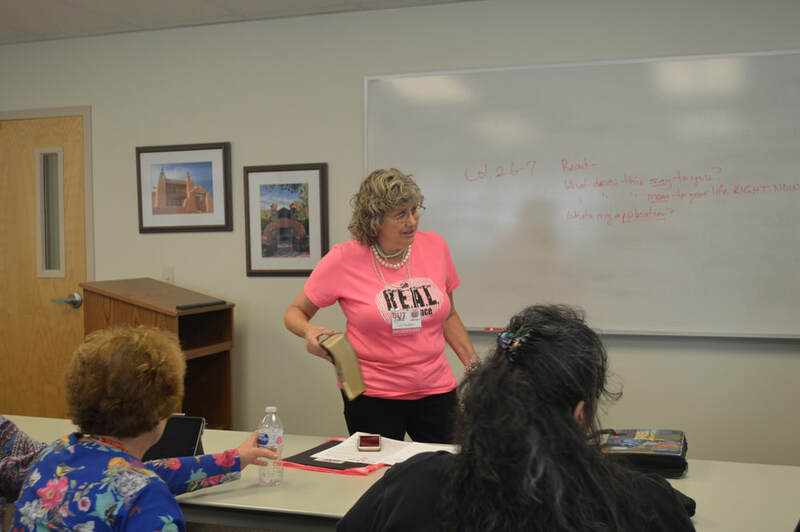 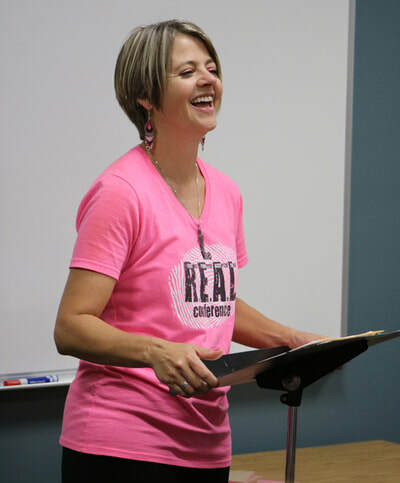 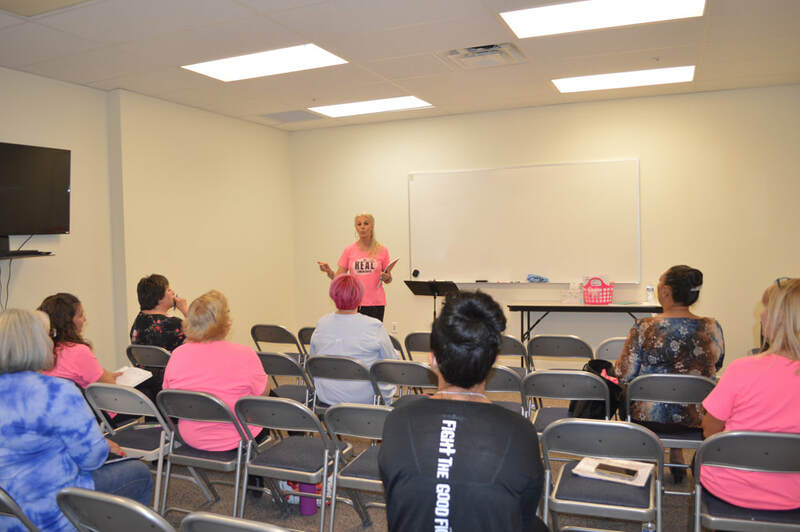 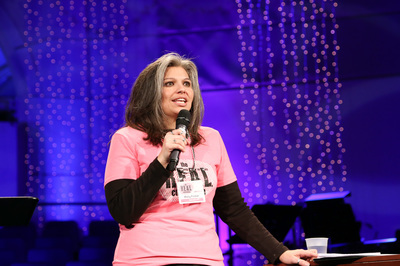 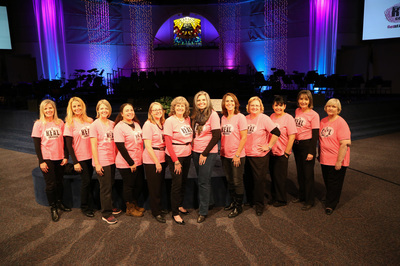 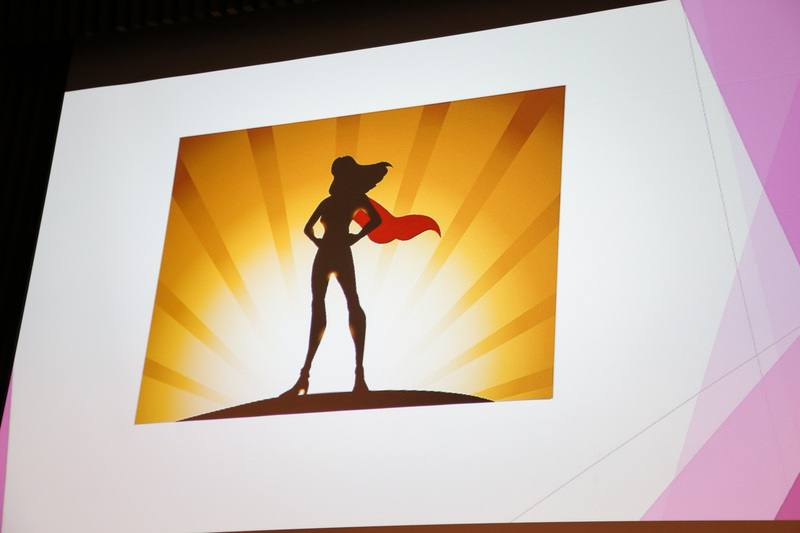 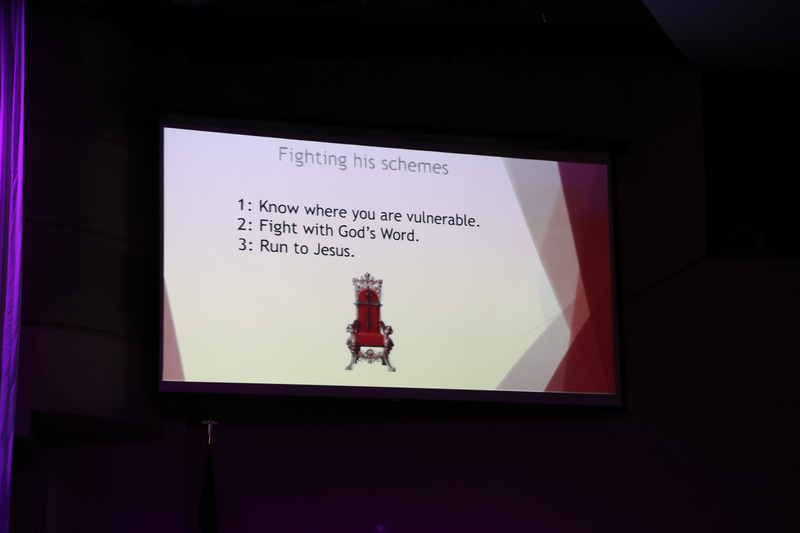 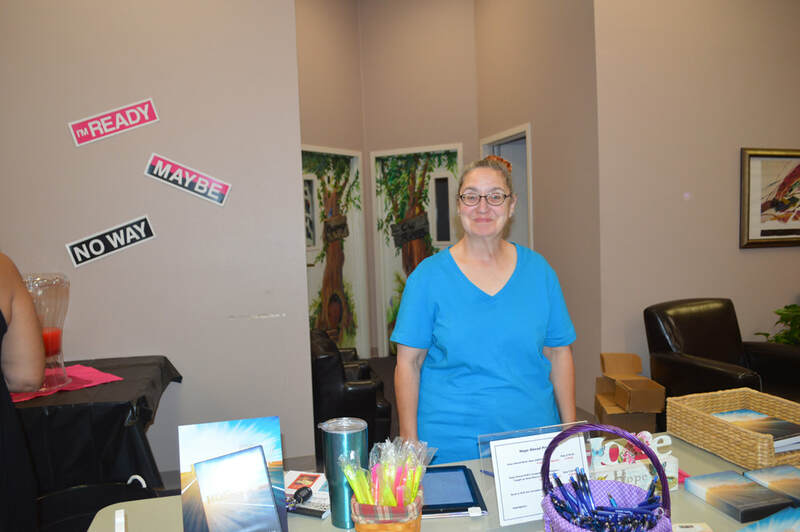 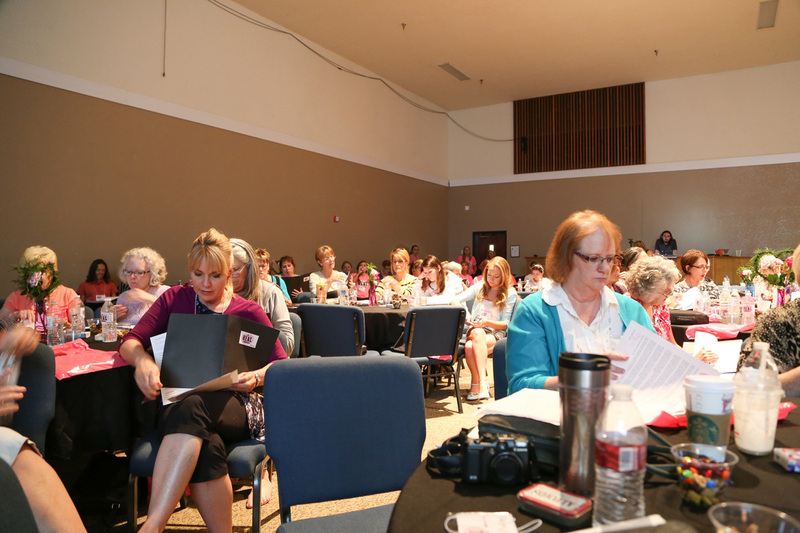 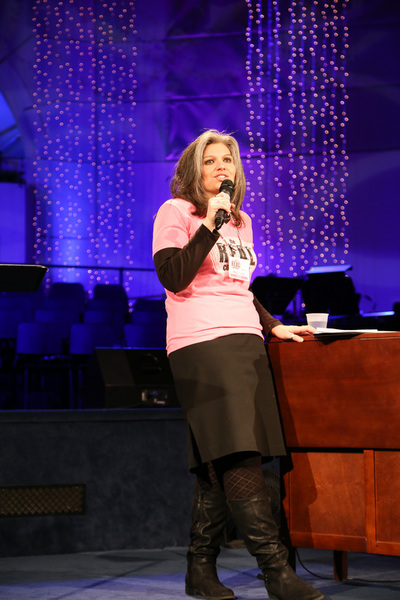 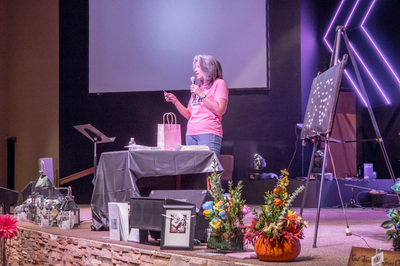 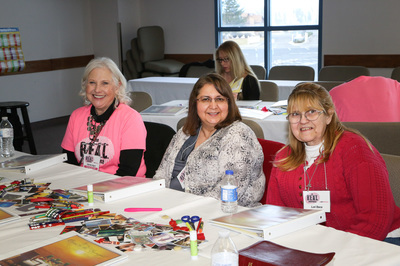 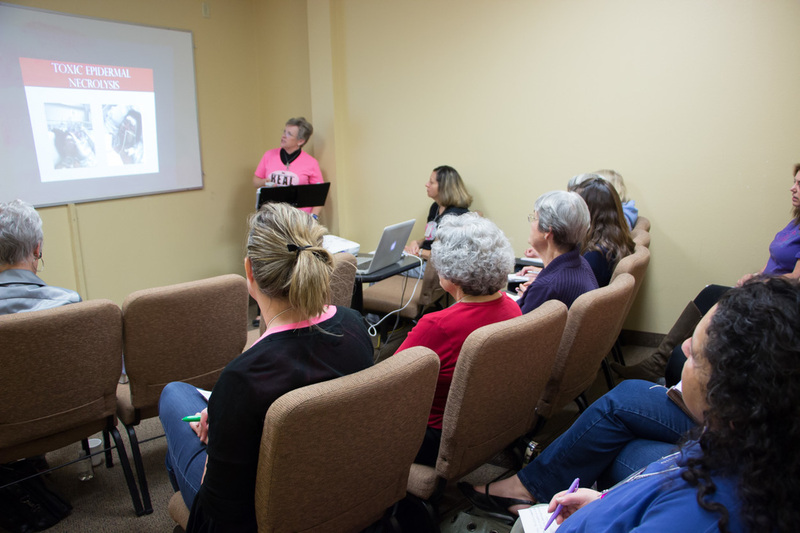 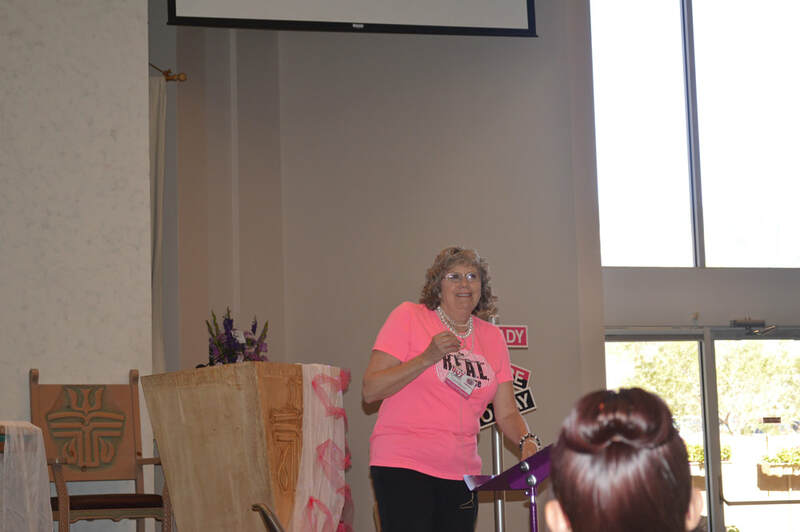 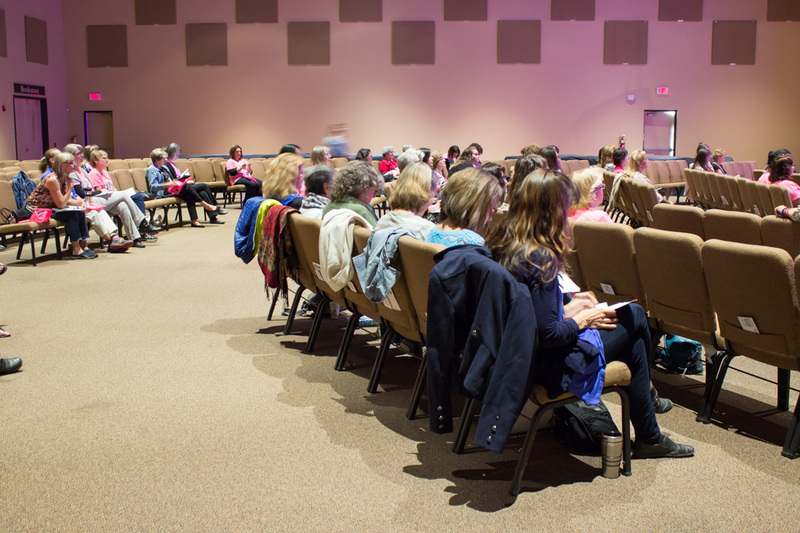 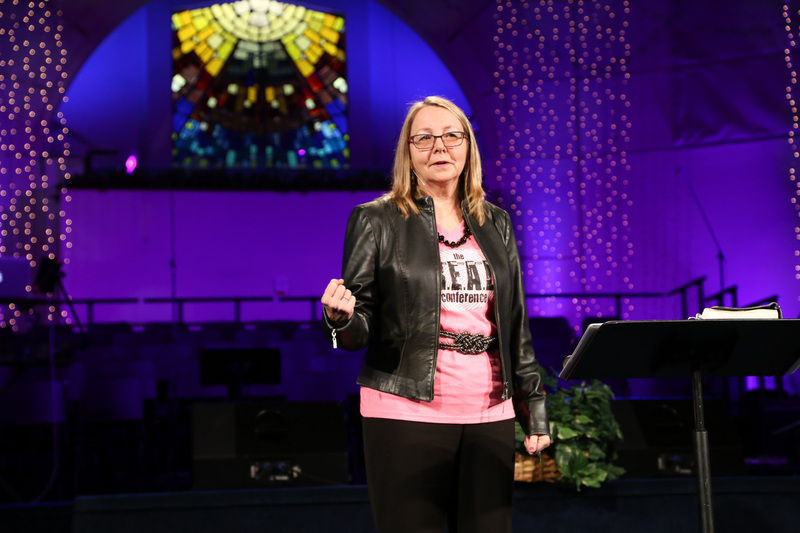 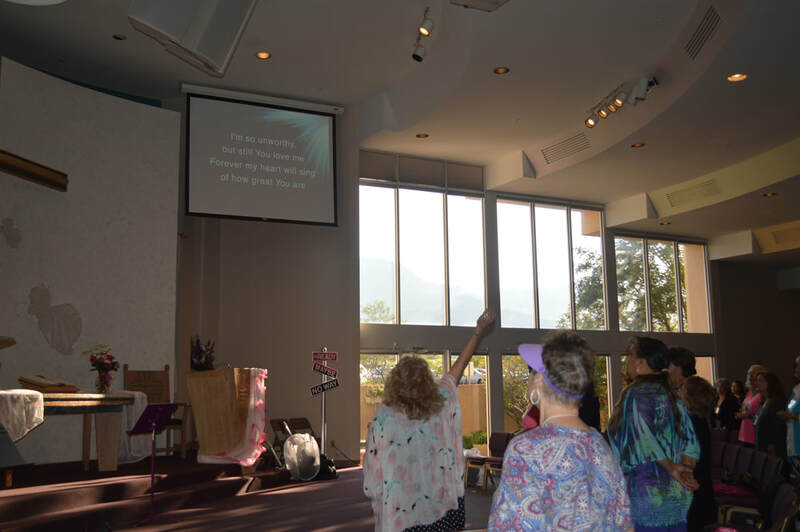 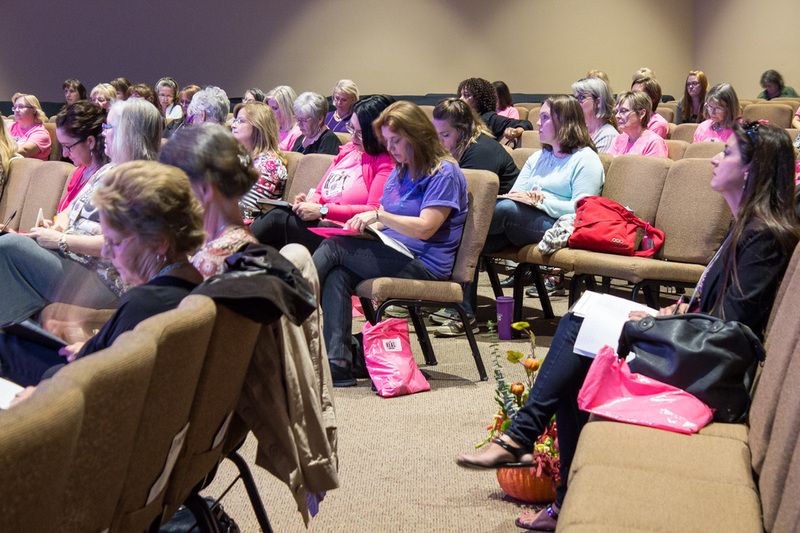 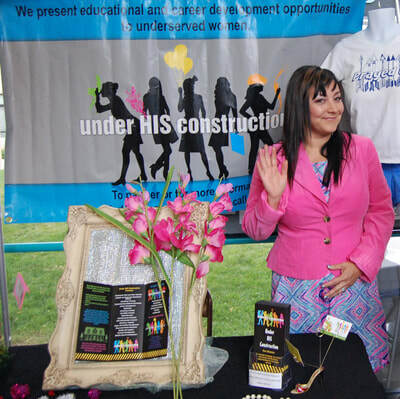 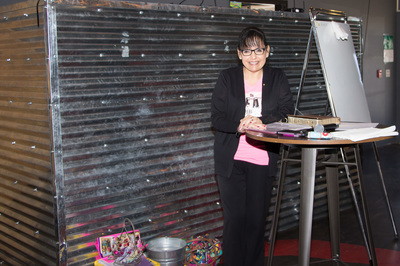 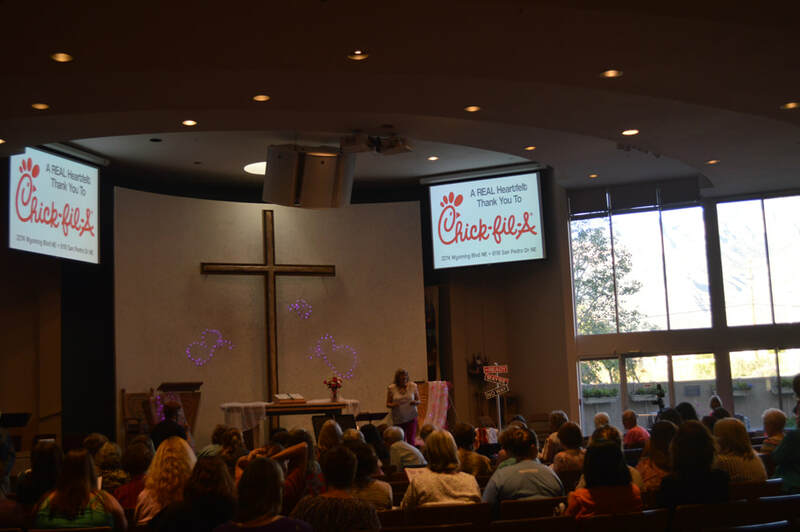 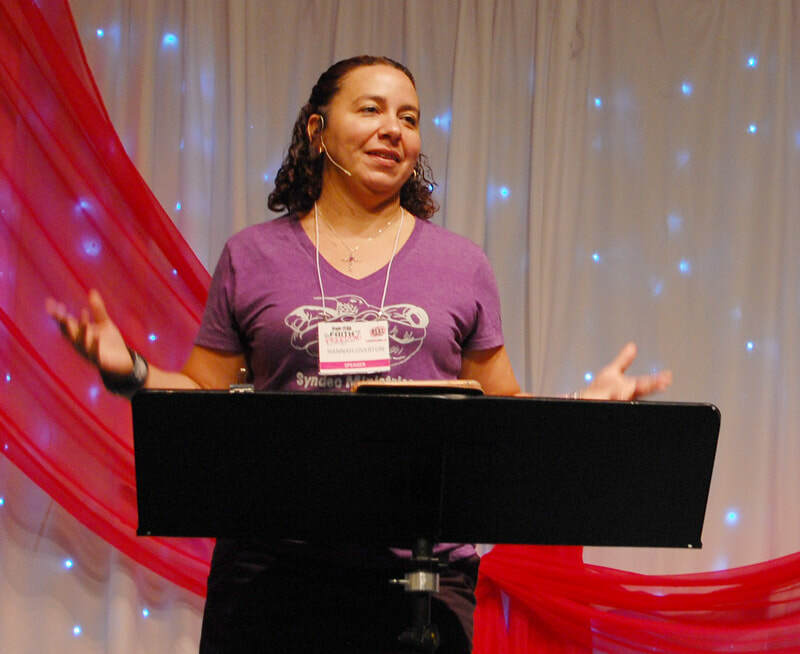 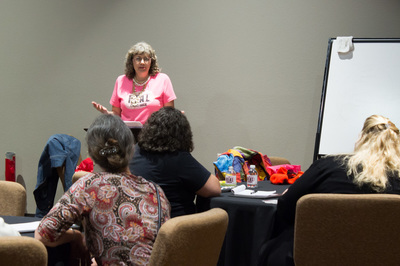 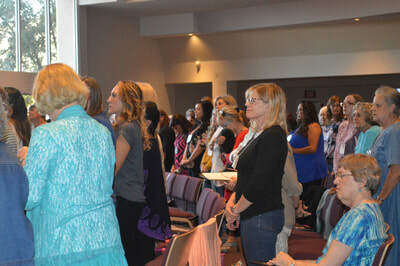 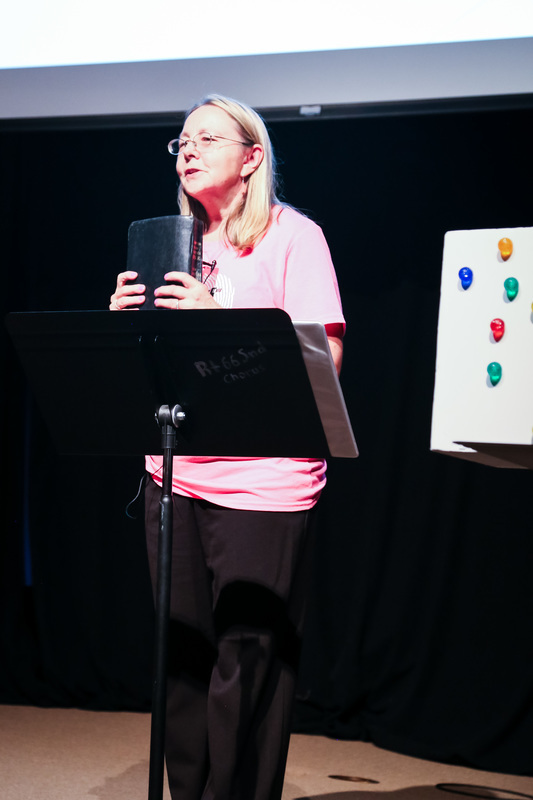 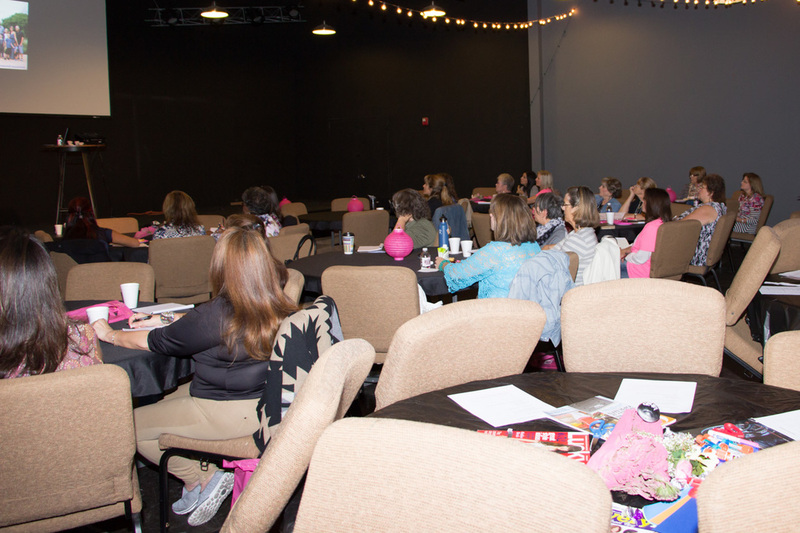 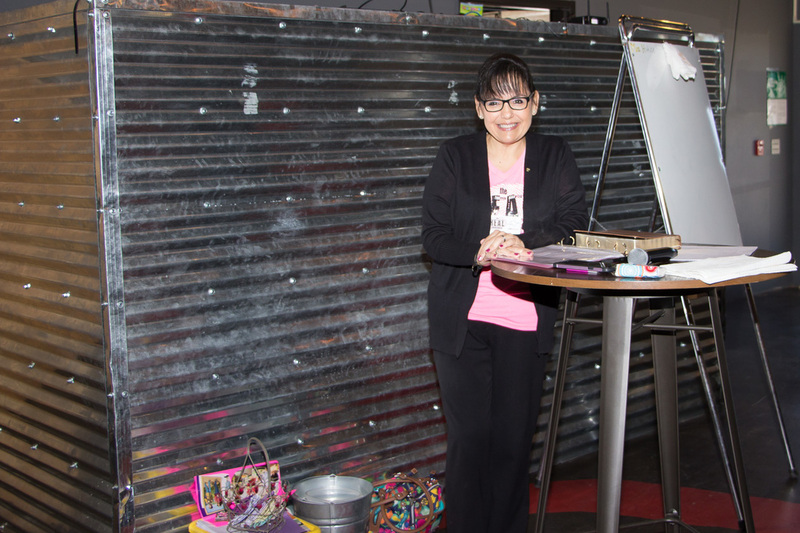 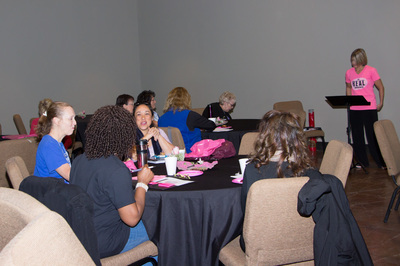 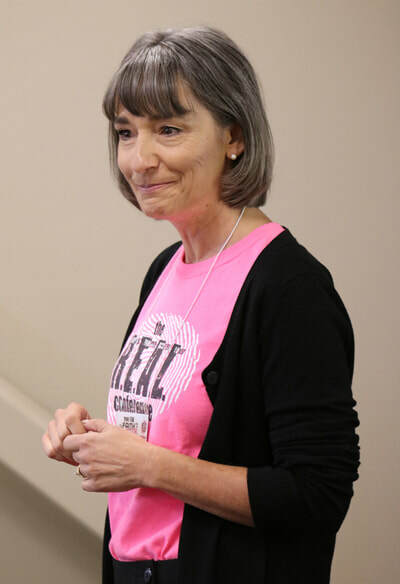 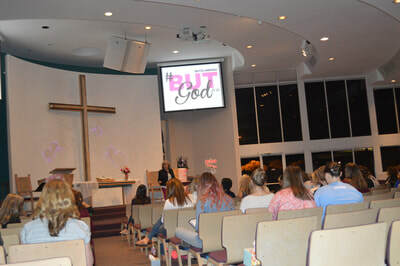 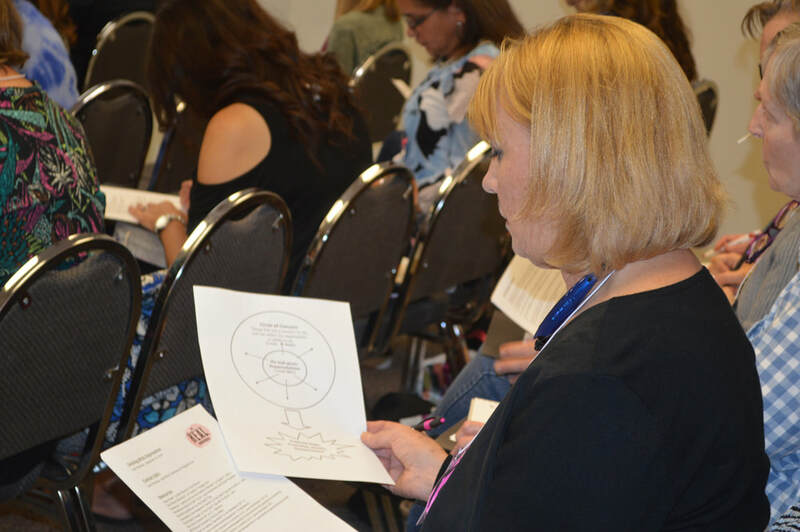 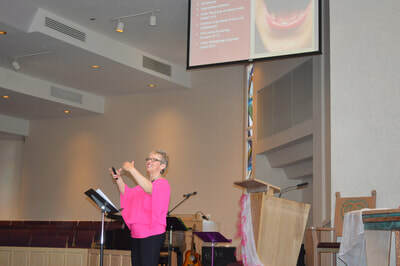 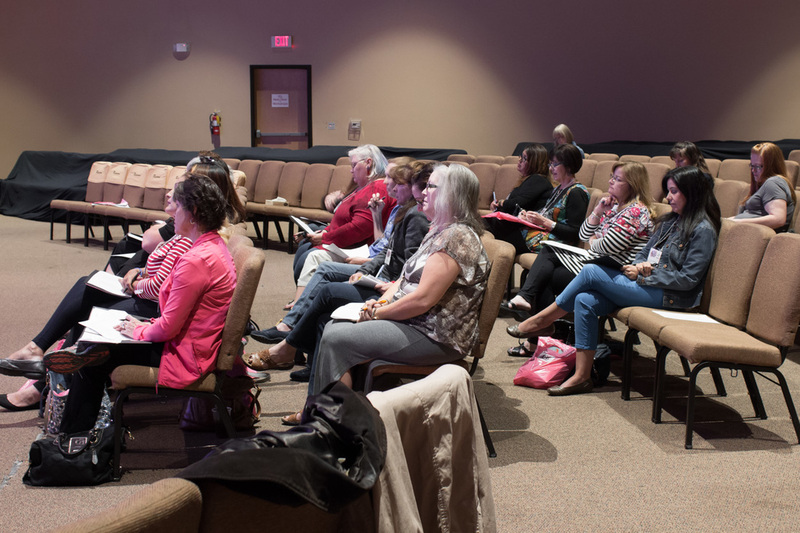 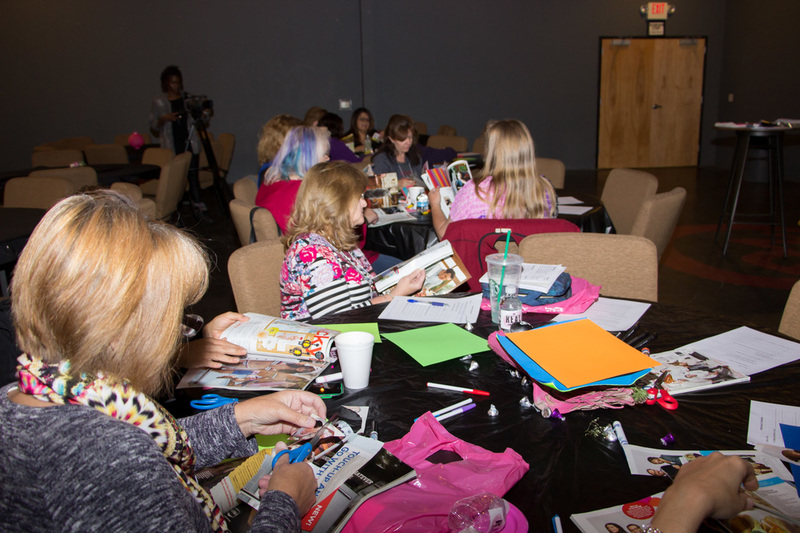 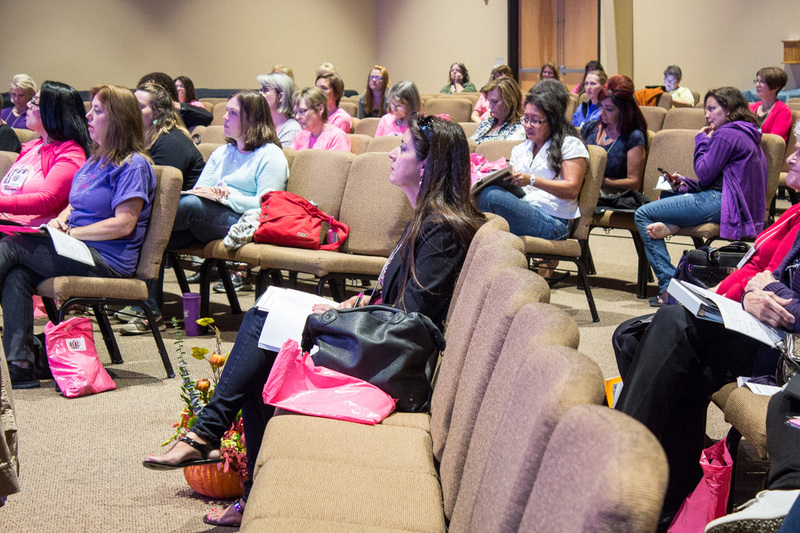 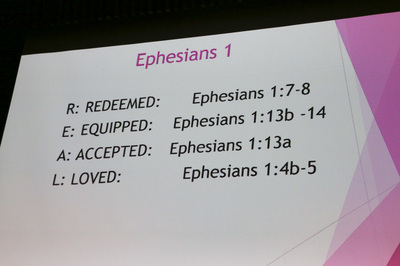 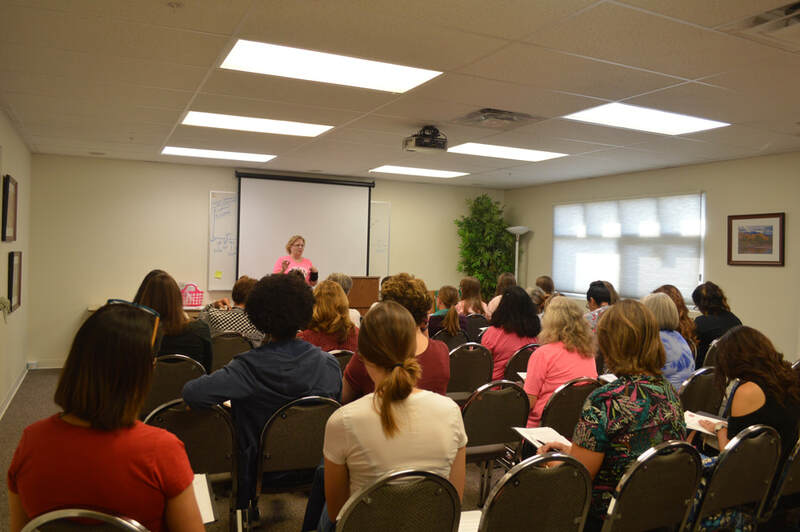 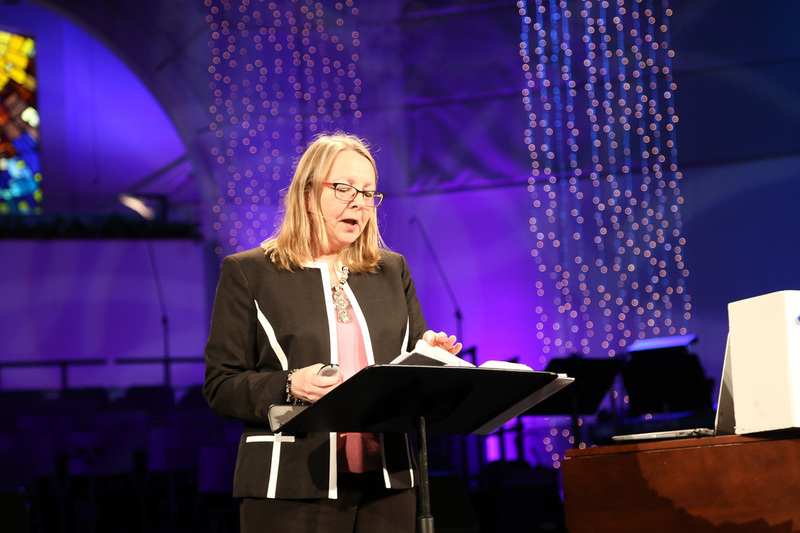 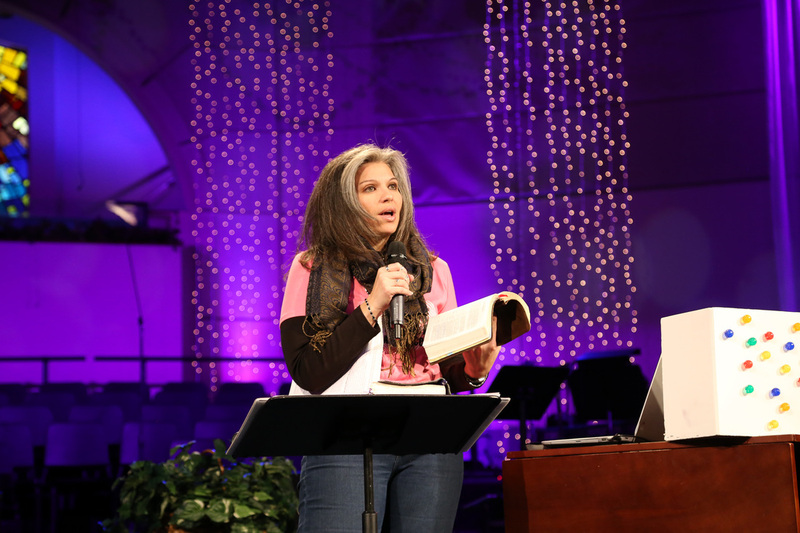 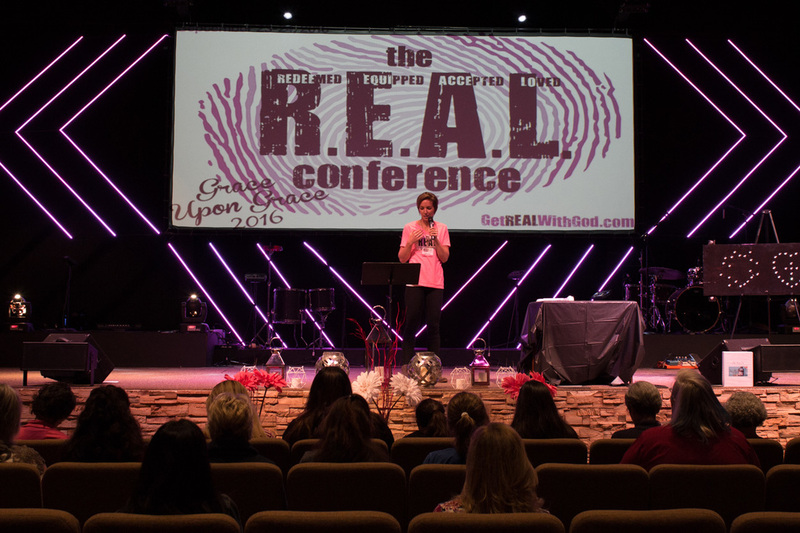 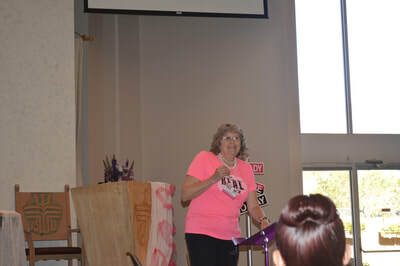 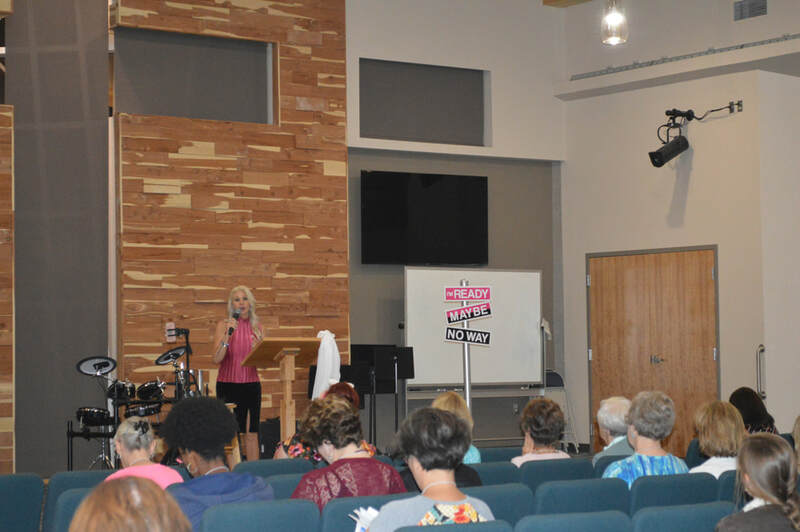 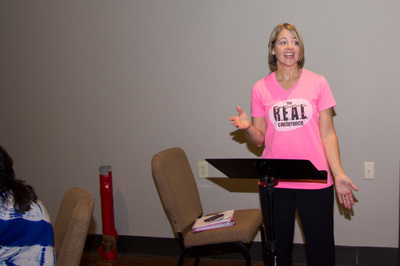 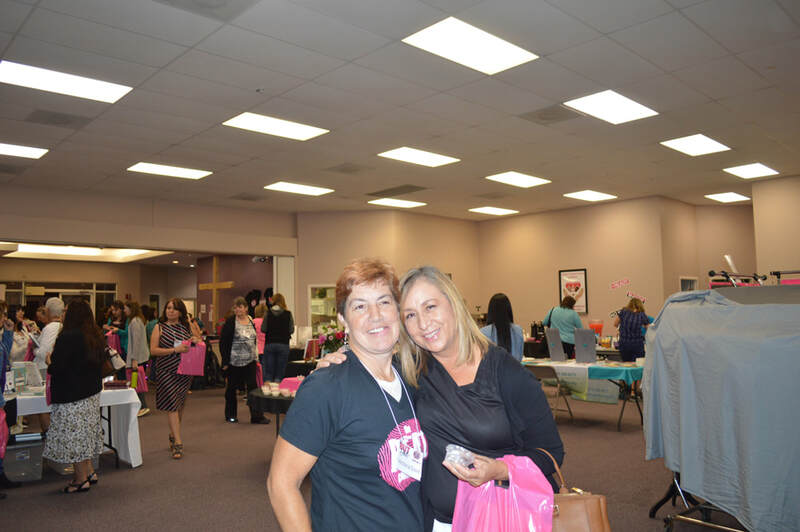 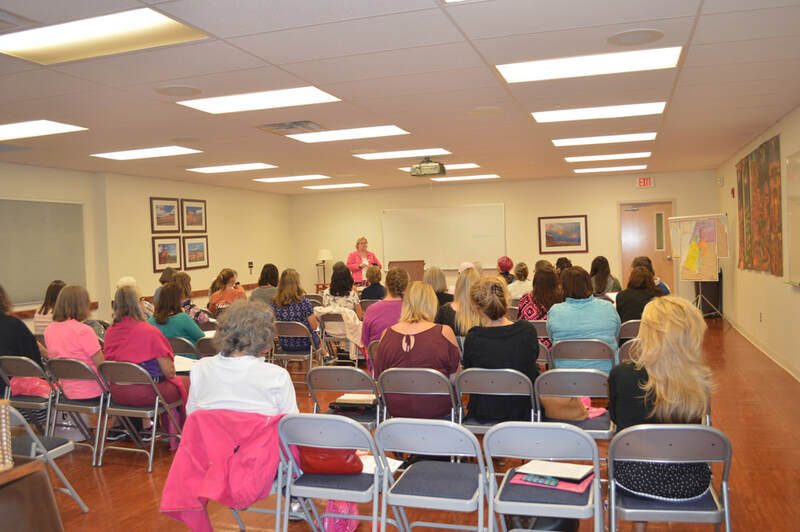 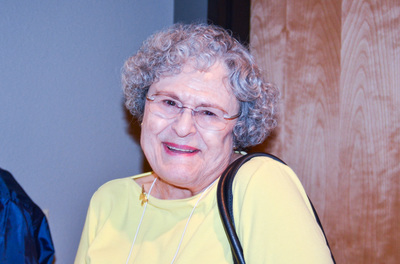 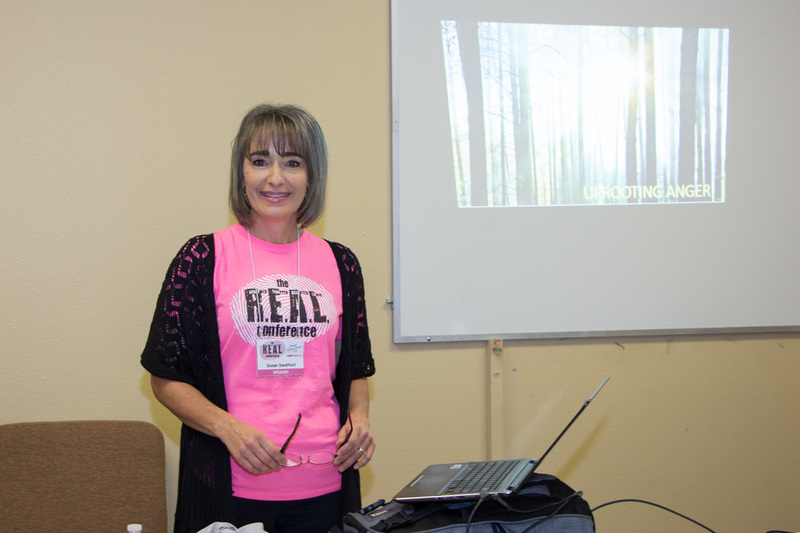 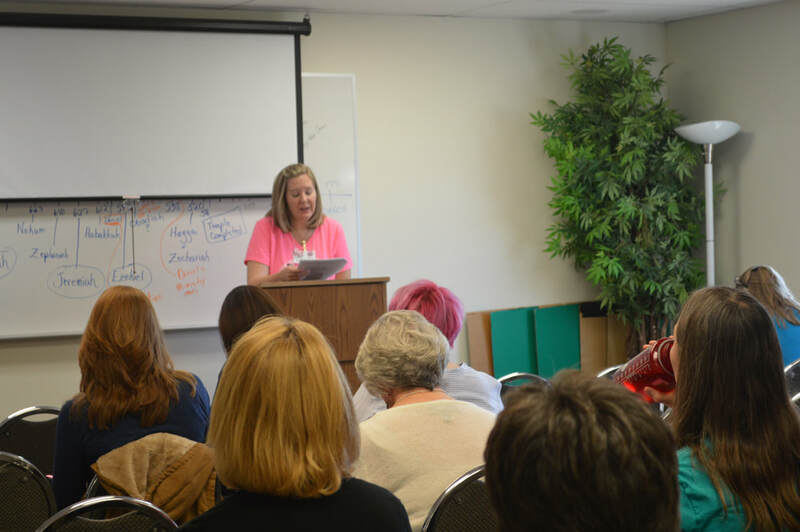 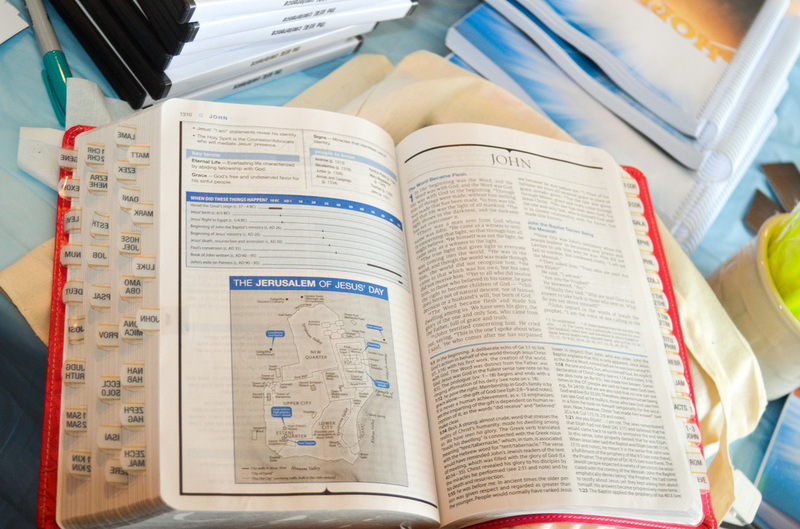 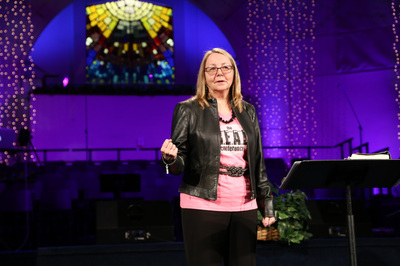 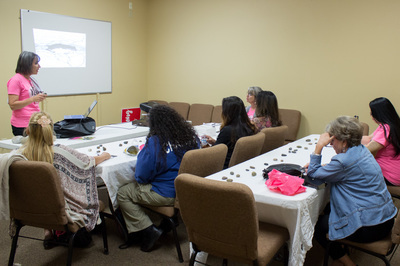 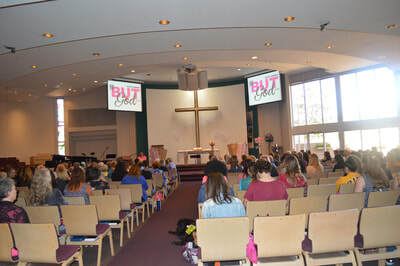 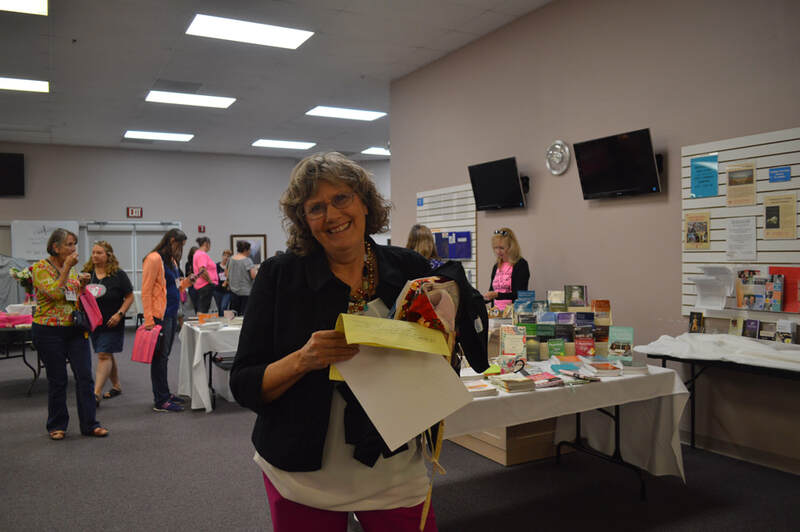 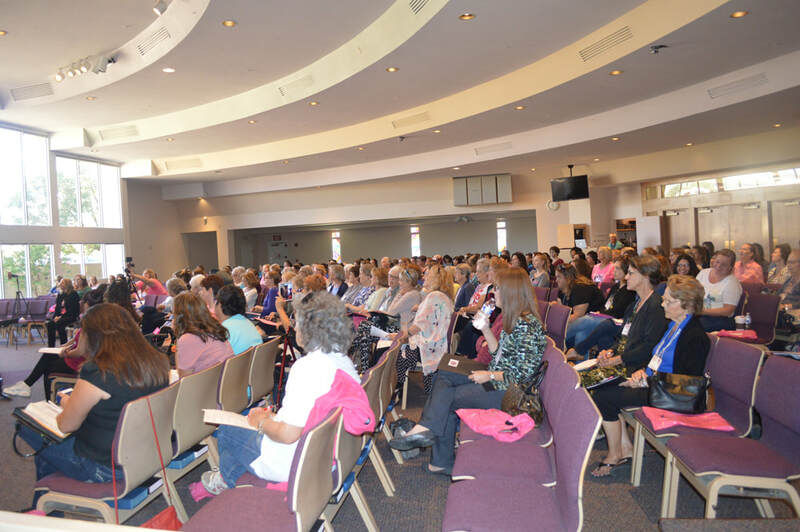 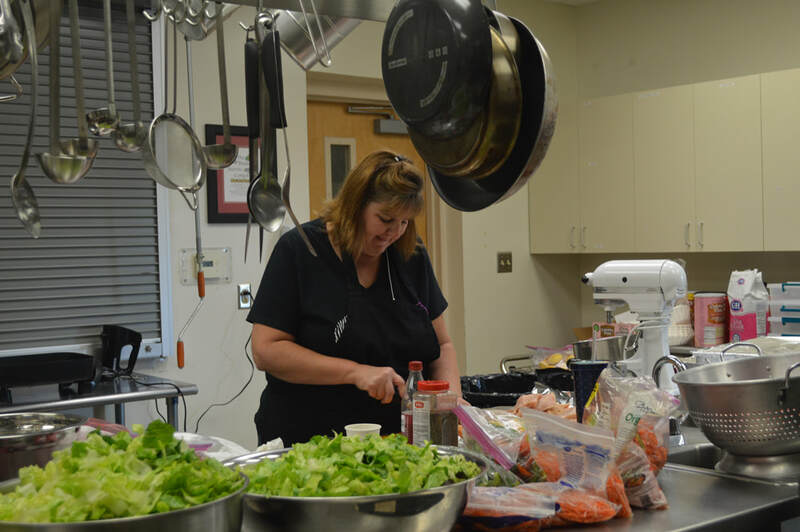 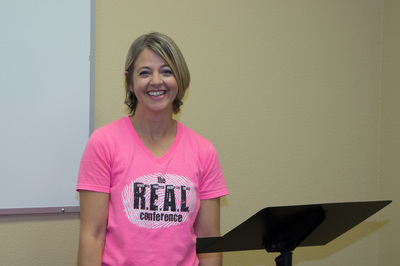 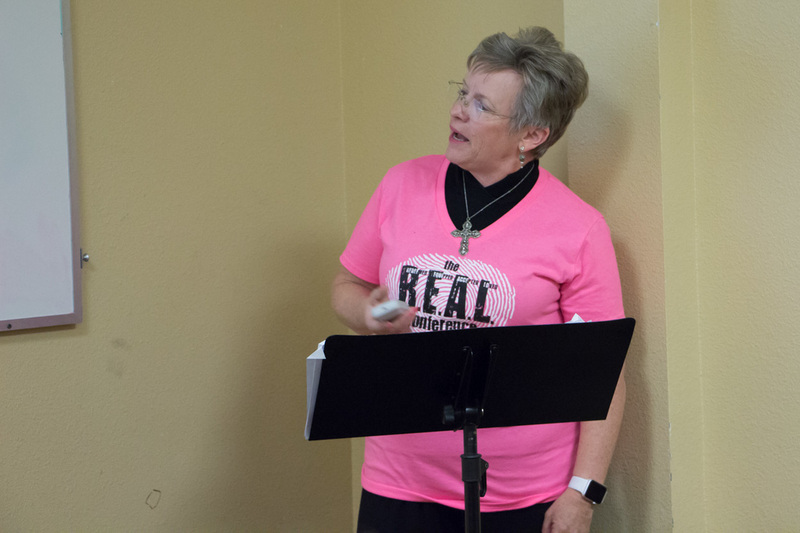 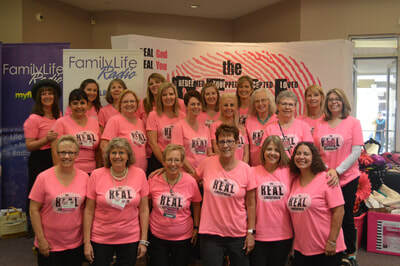 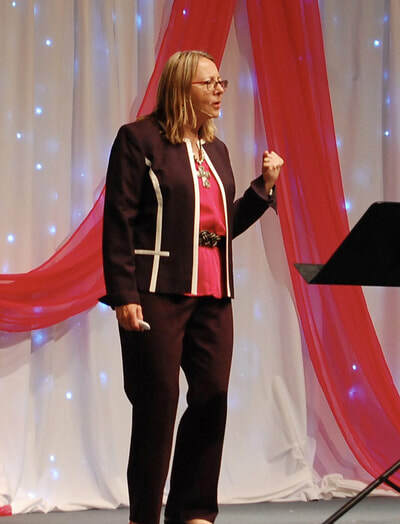 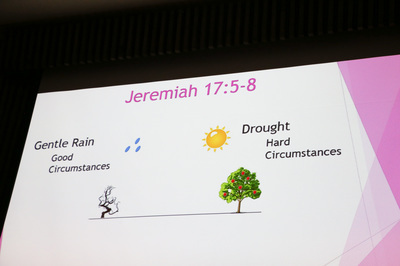 Women got REAL with God, REAL with each other and were led from Fear to Faith to Freedom with Barb Mulvey's teaching on the book of Joshua, Hannah Overton's testimony, the Word of God and 18 workshop choices. 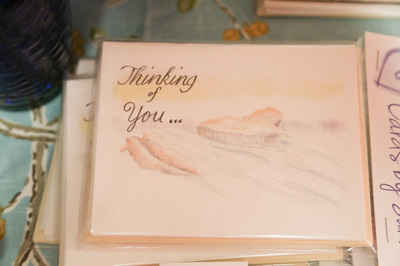 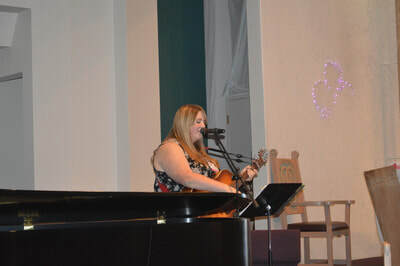 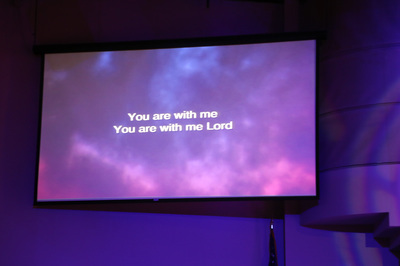 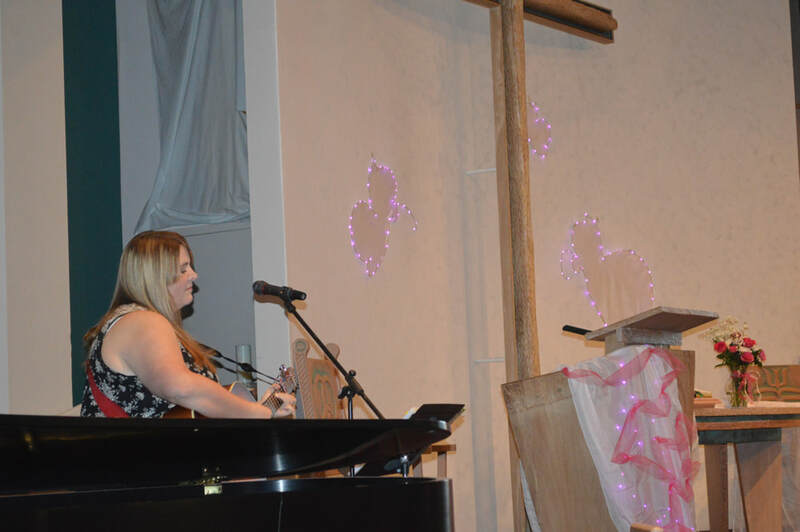 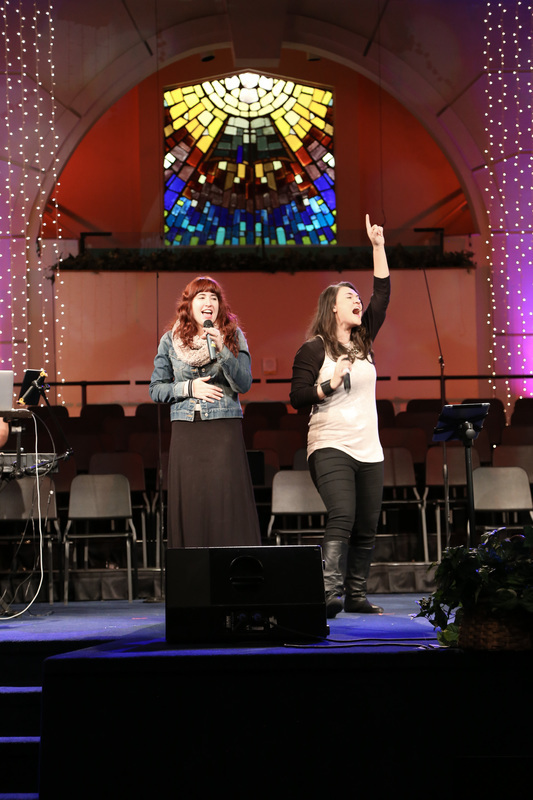 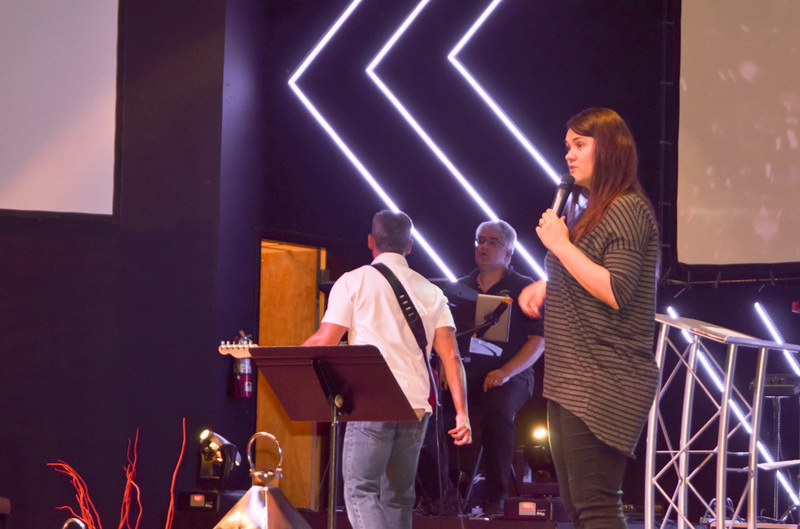 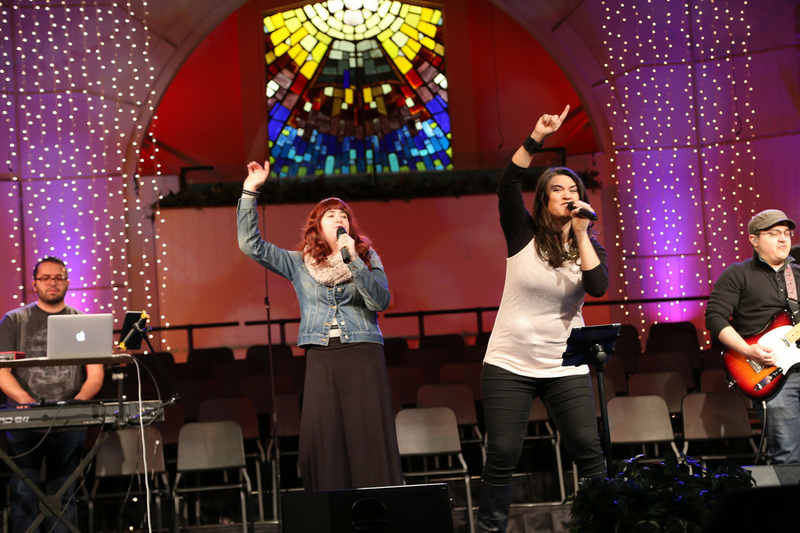 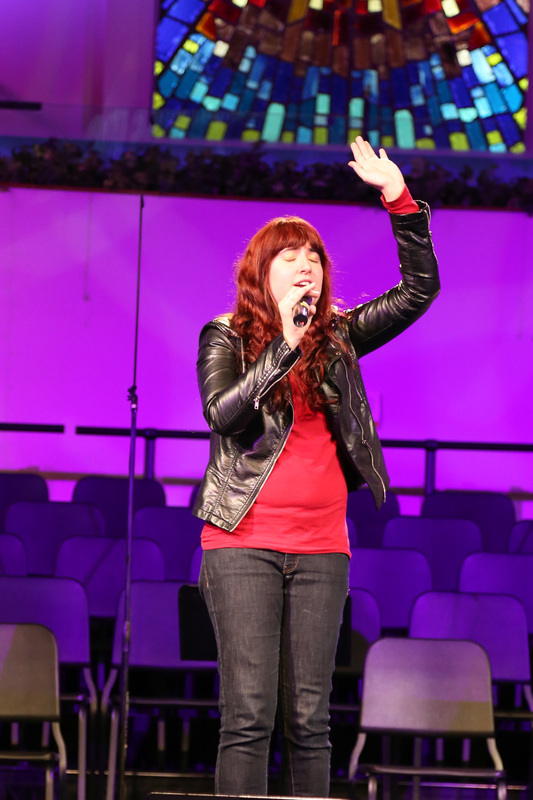 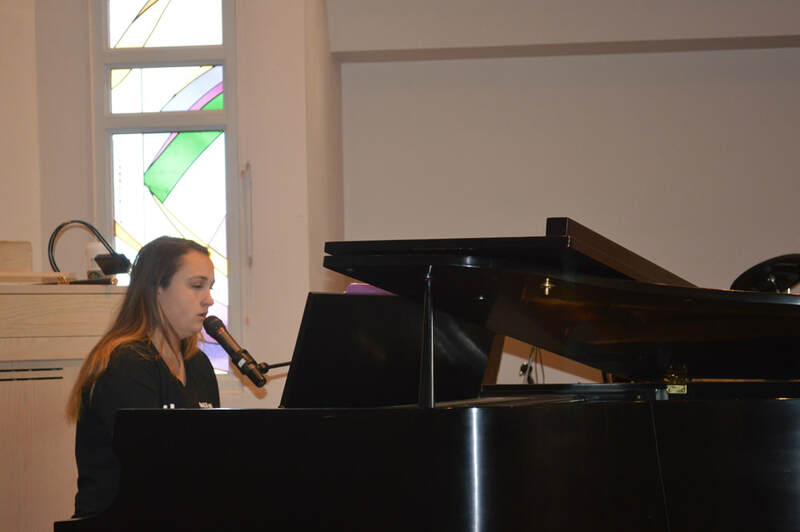 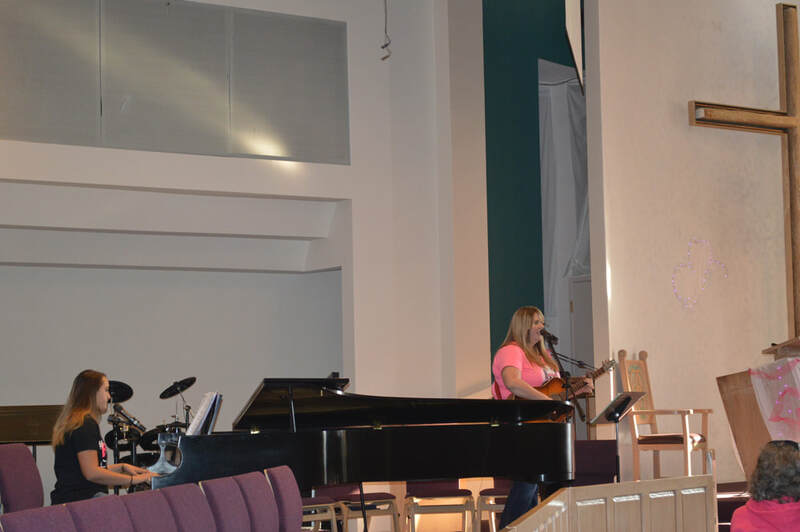 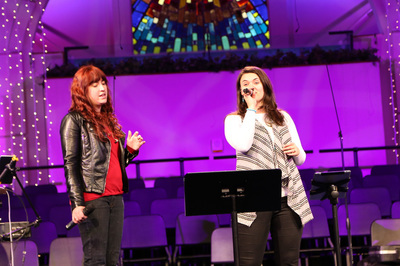 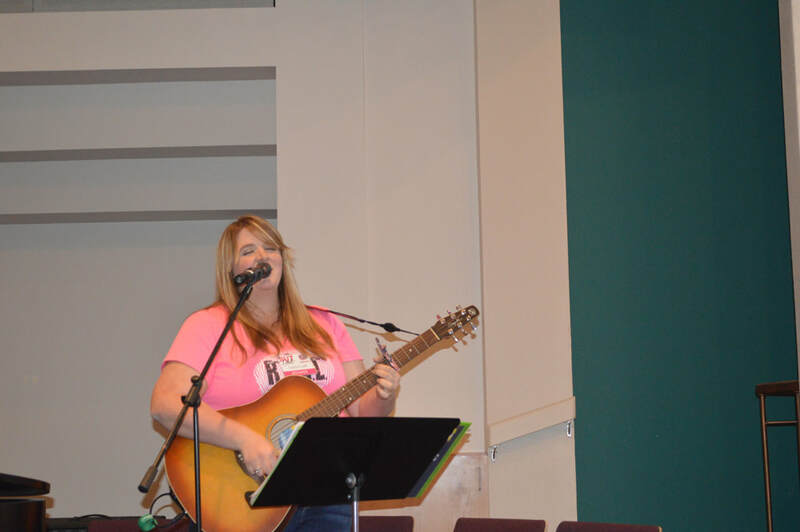 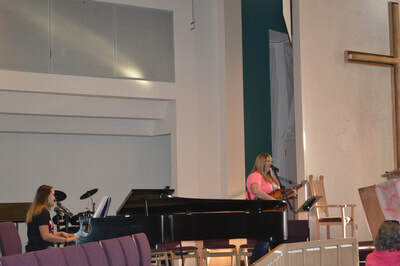 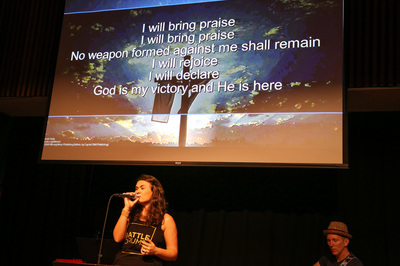 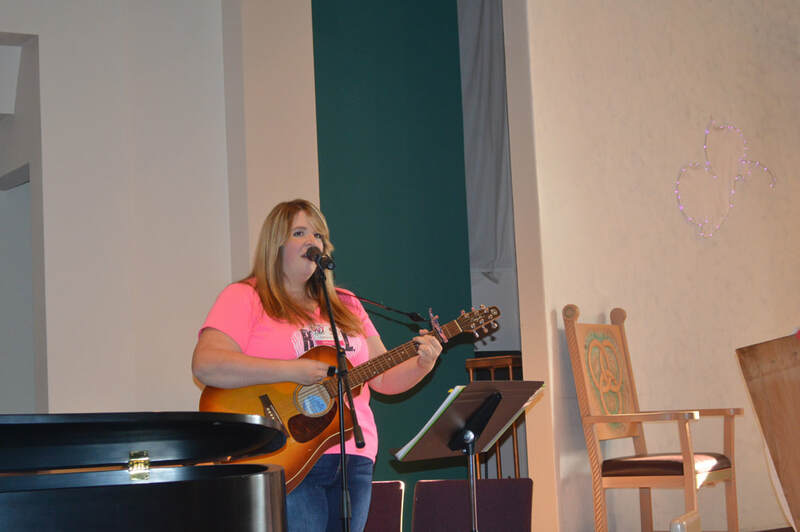 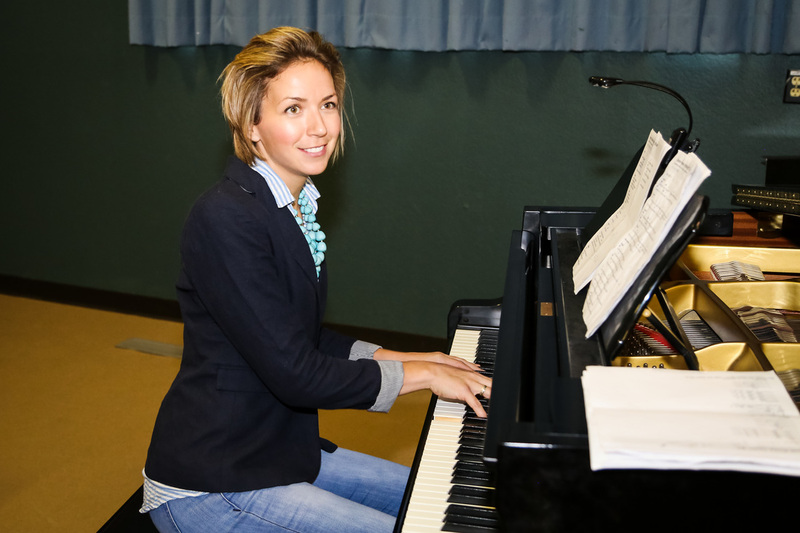 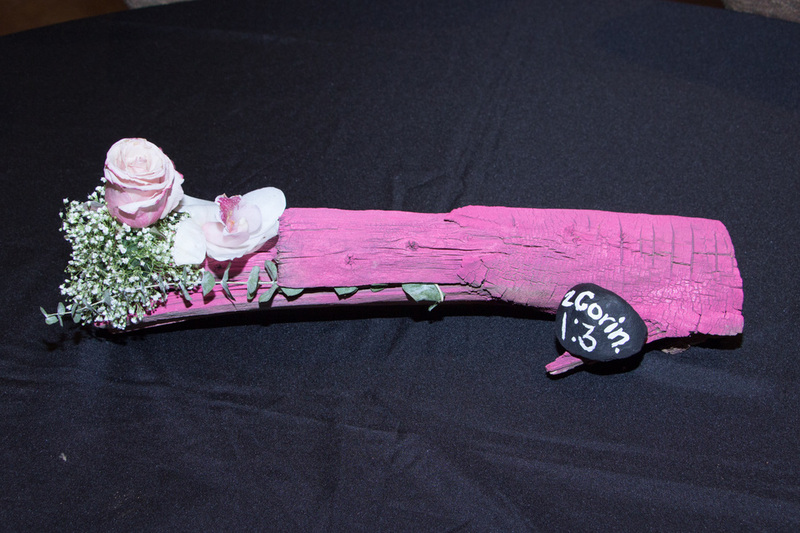 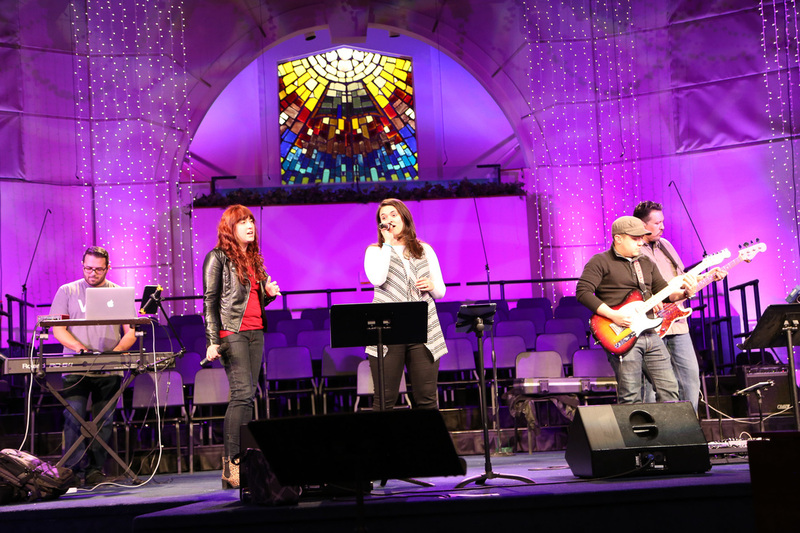 The worship by Caitlin Craft brought us into God's presence. 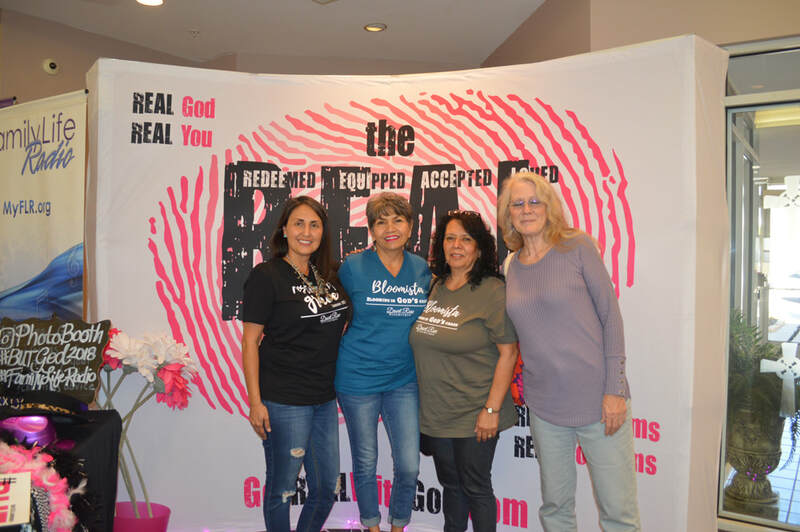 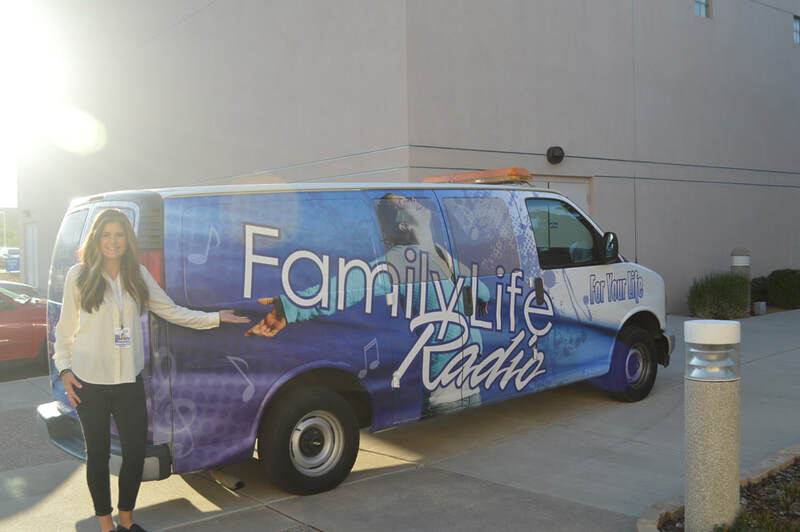 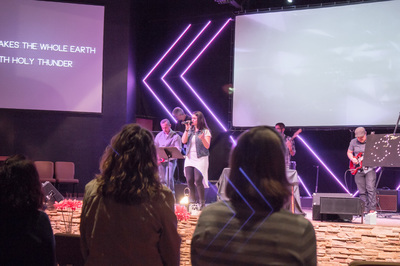 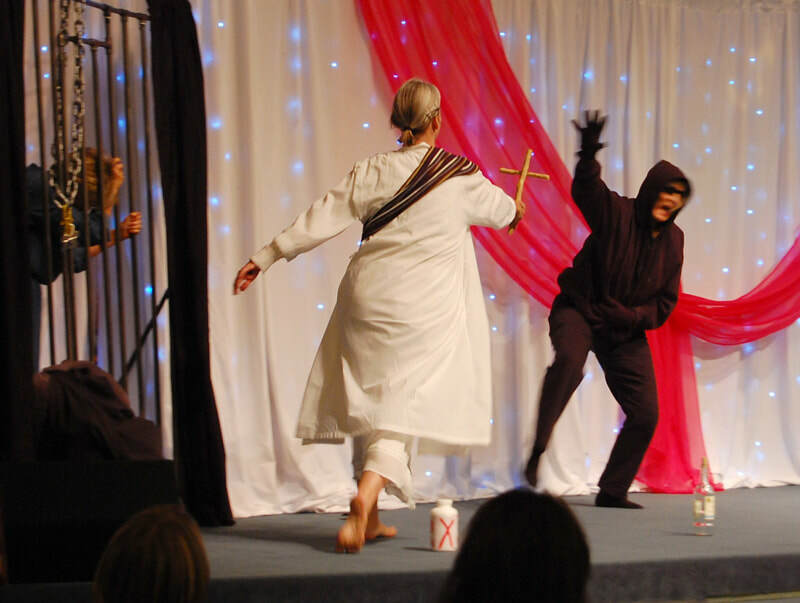 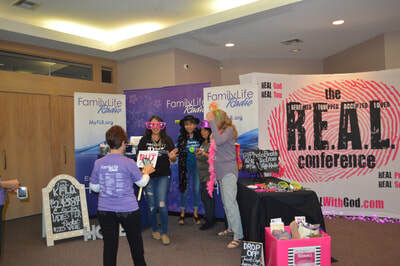 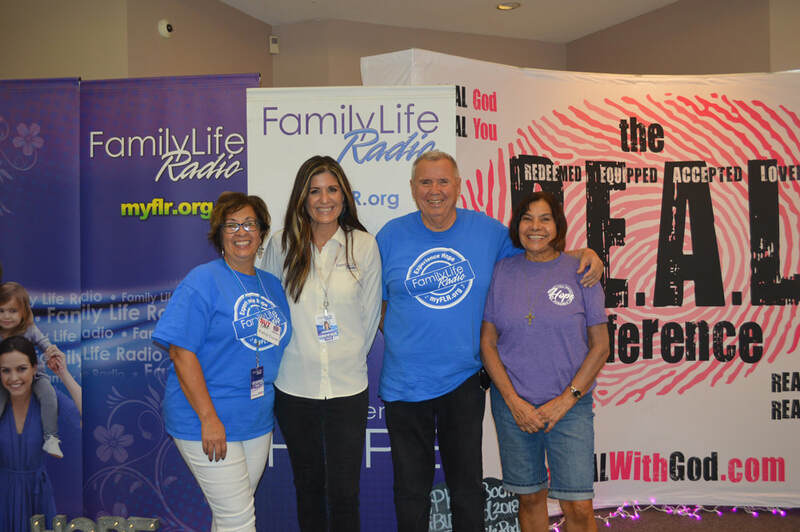 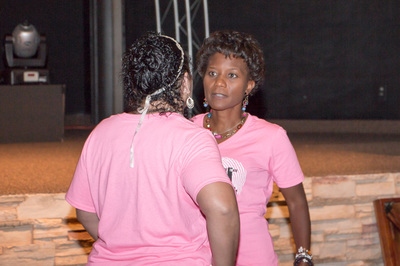 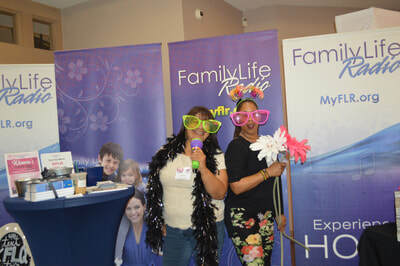 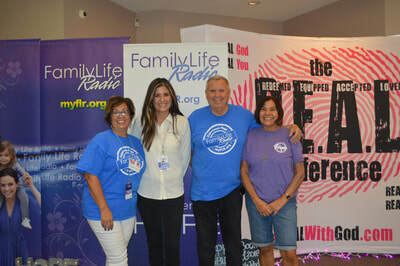 Our third conference was held at Family Worship Center on the westside in Albuquerque, New Mexico on September 23rd and 24th. 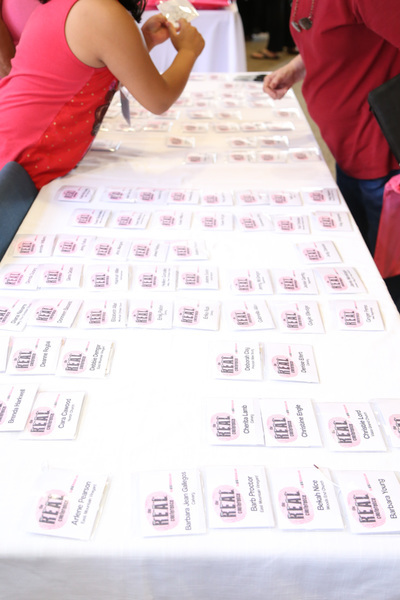 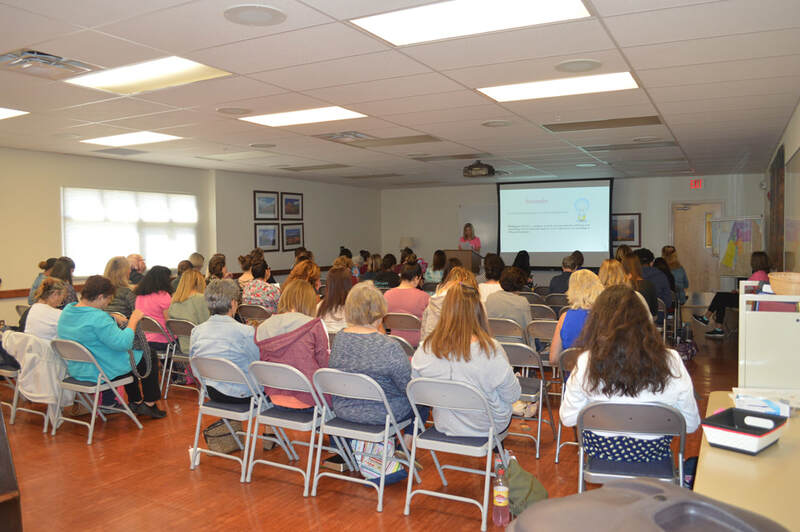 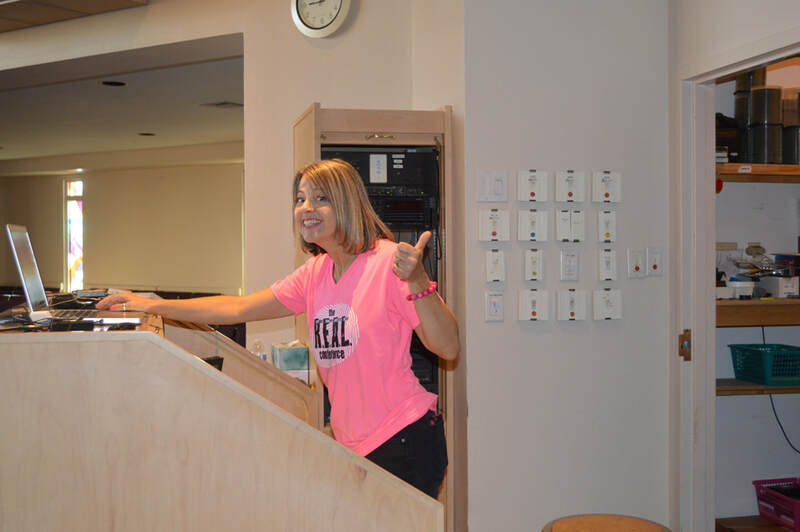 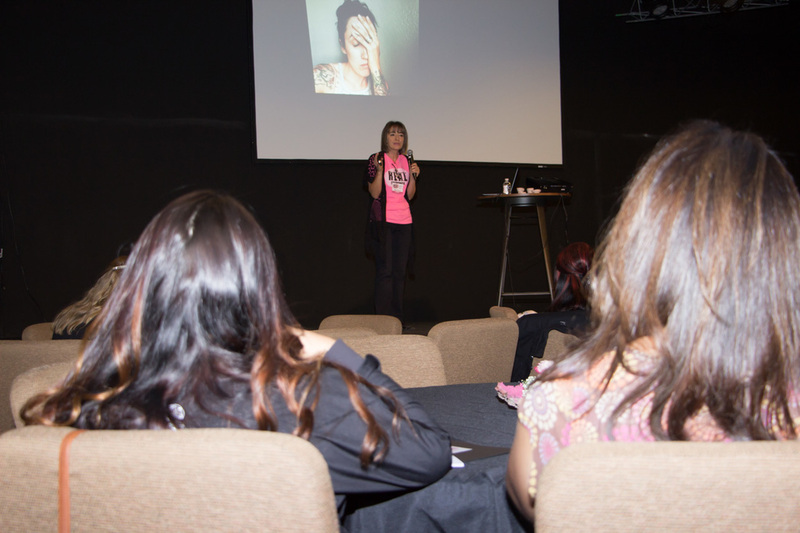 Over 100 women attended and this time we had 14 incredible speakers and as always our fantastic volunteers. 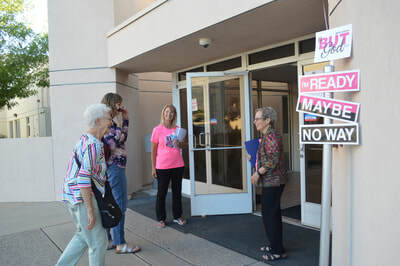 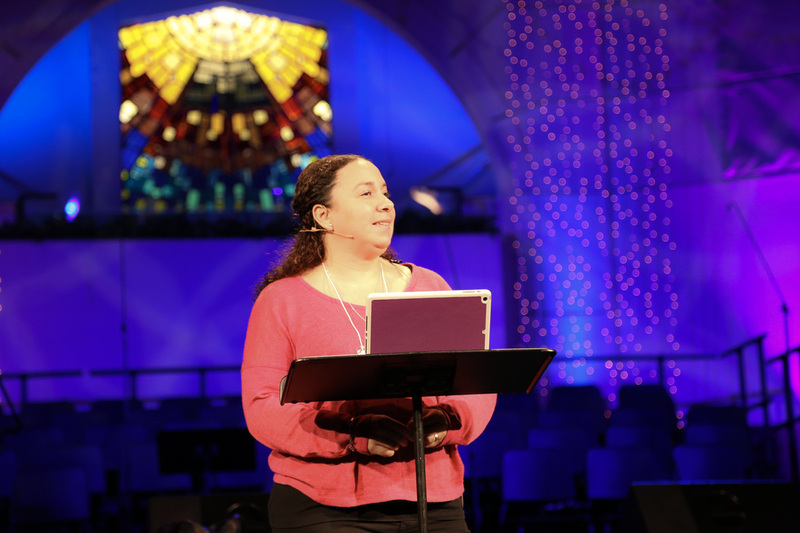 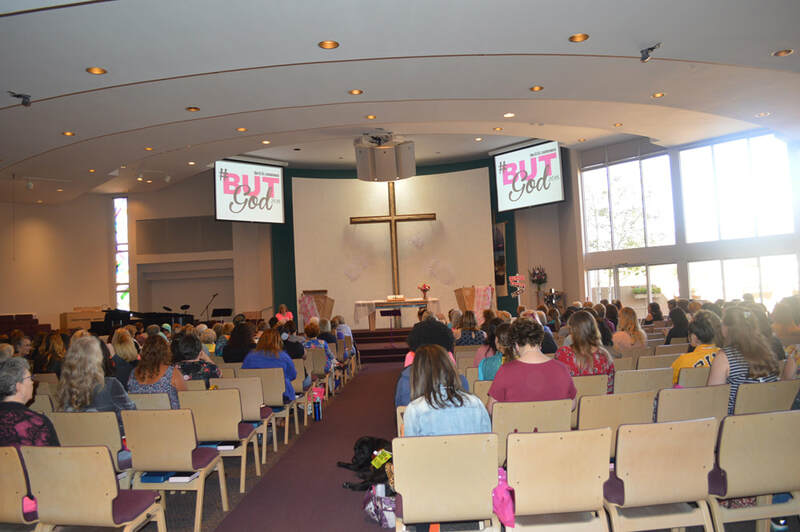 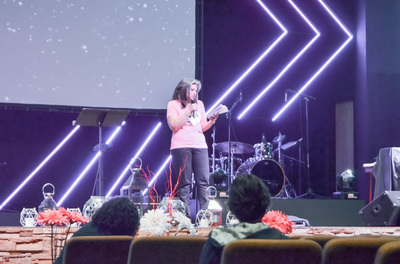 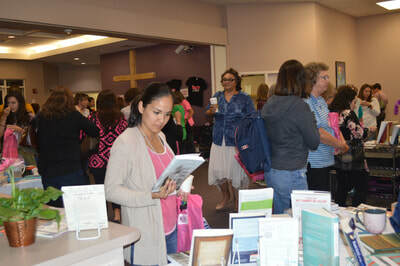 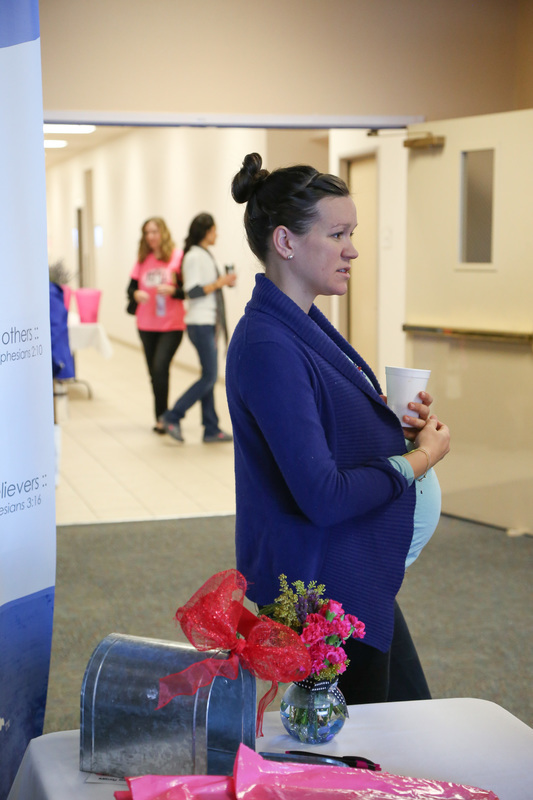 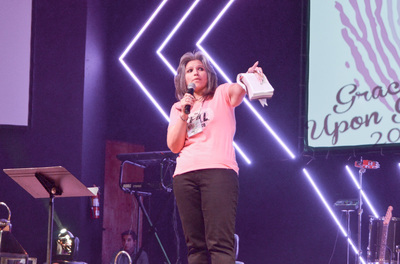 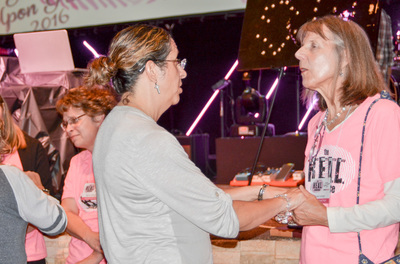 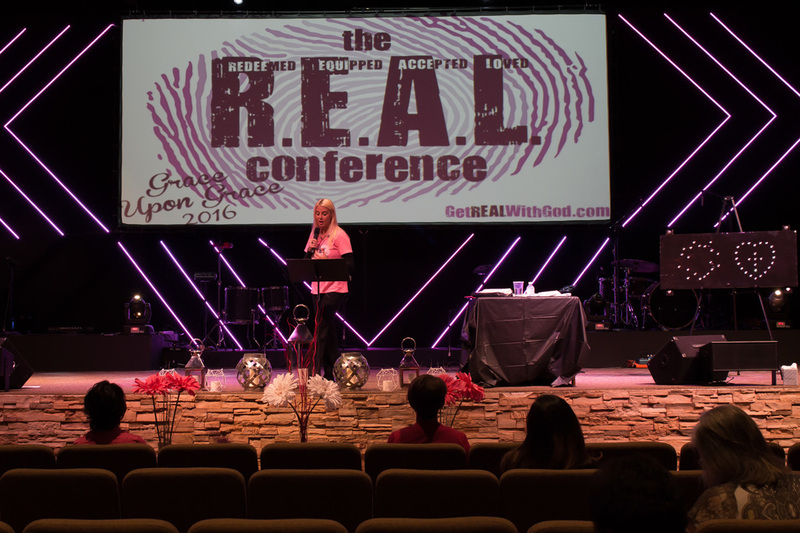 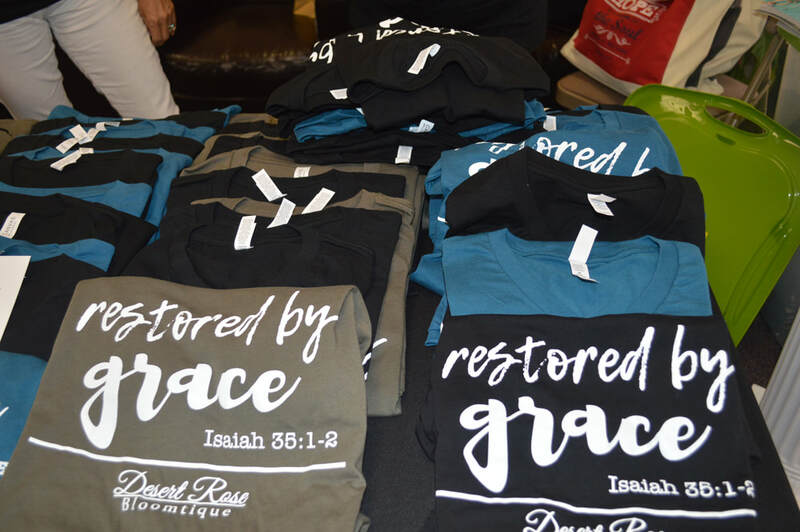 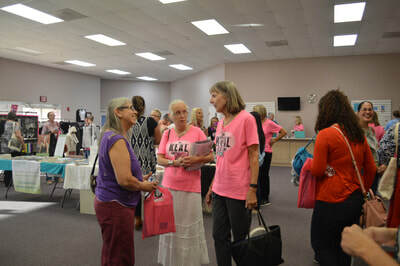 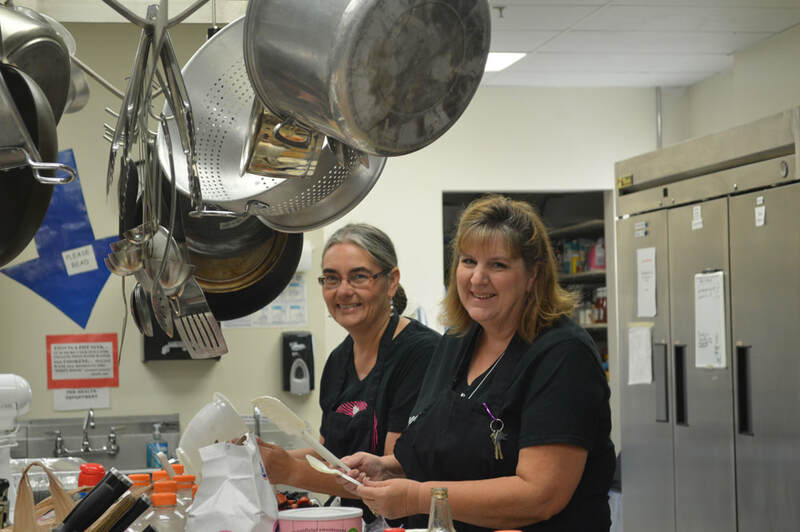 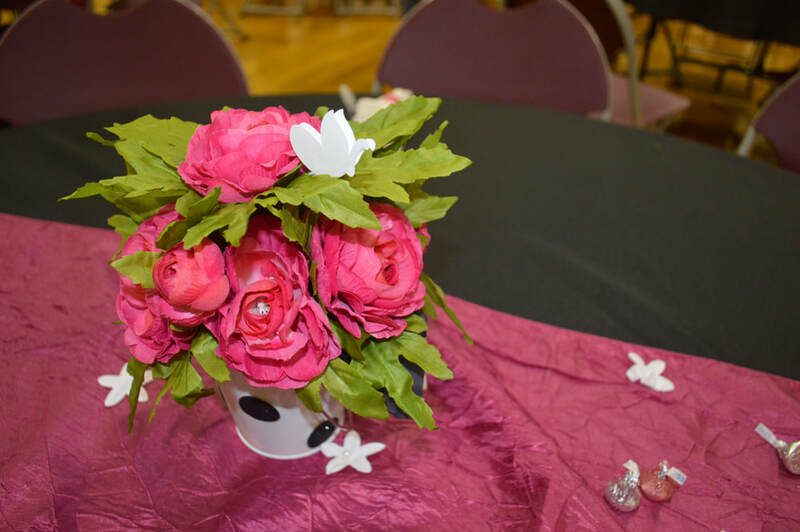 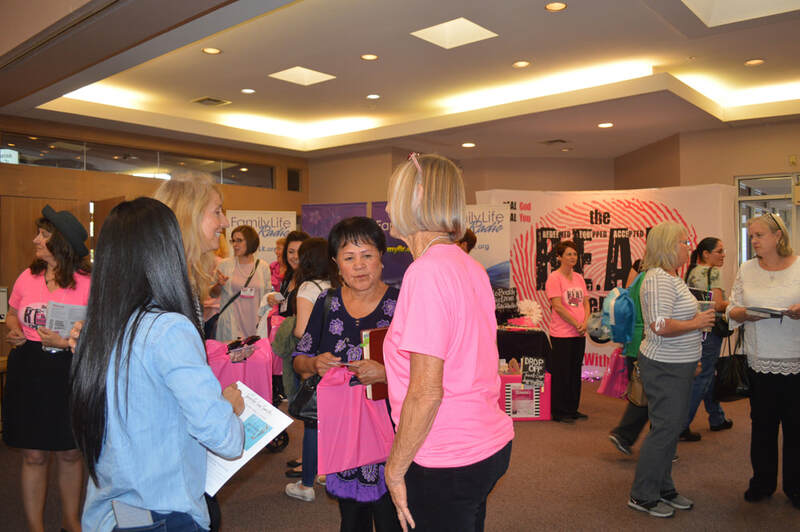 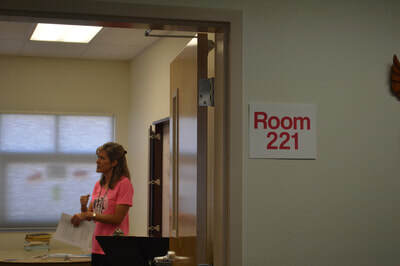 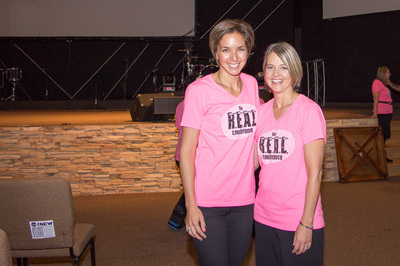 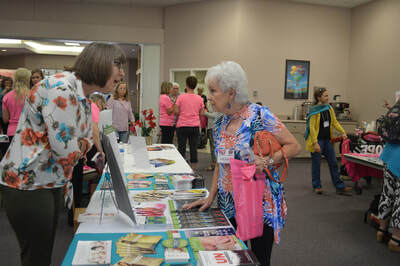 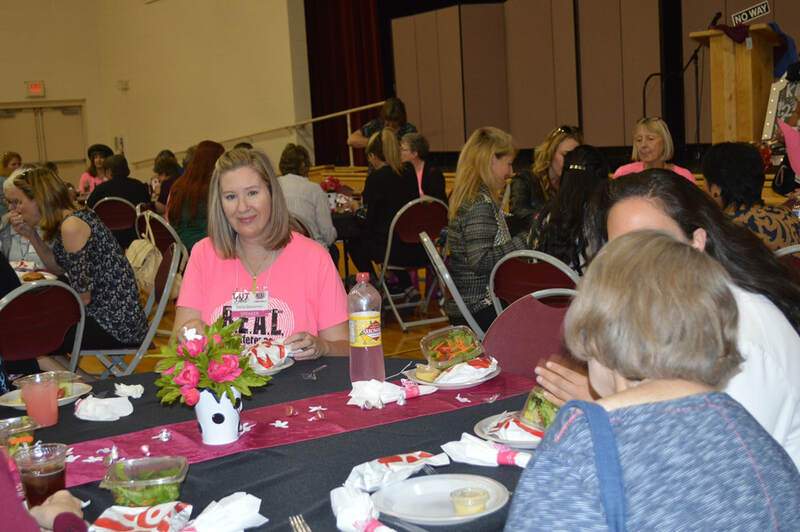 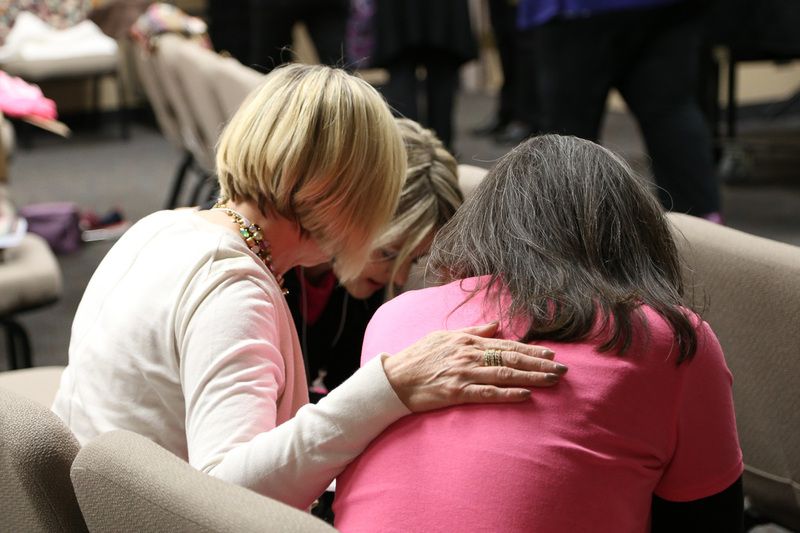 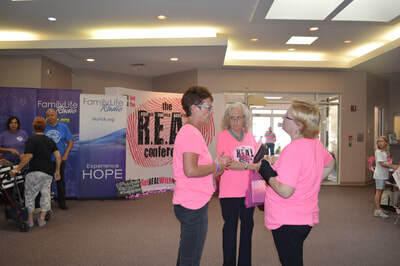 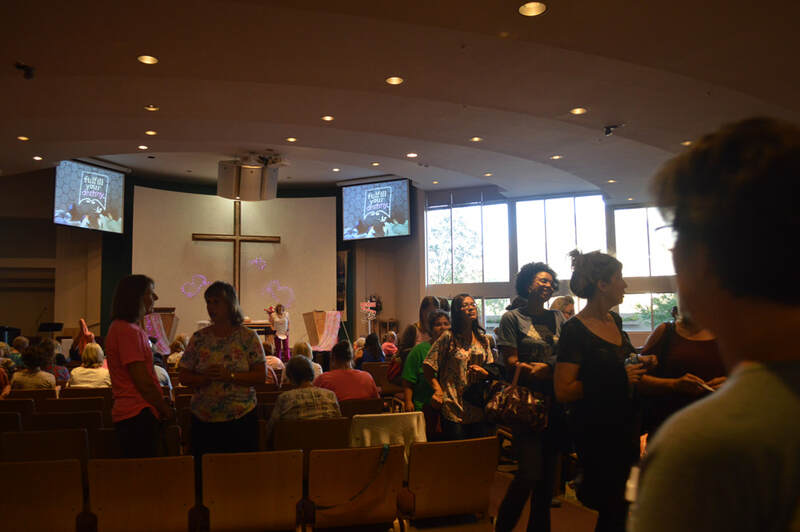 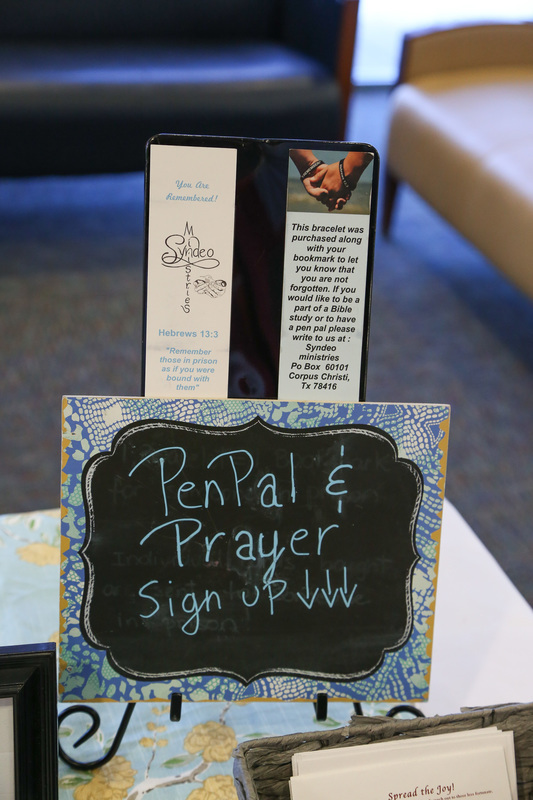 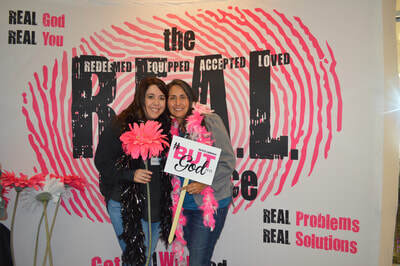 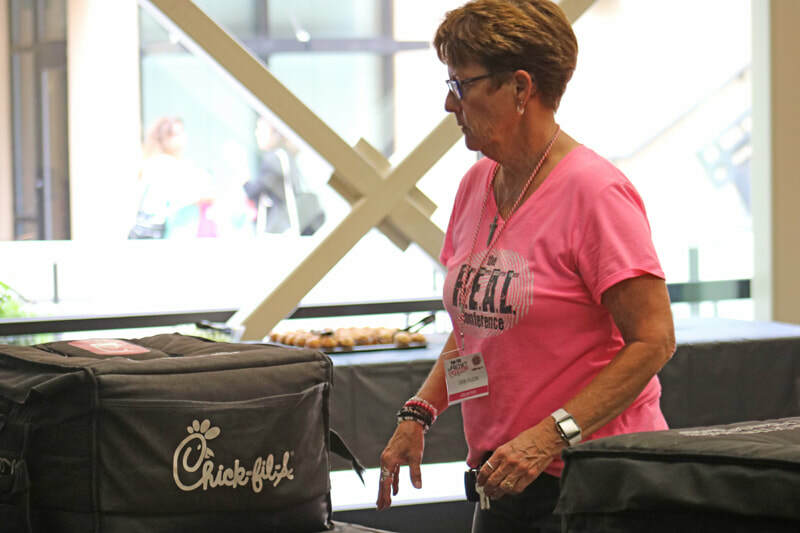 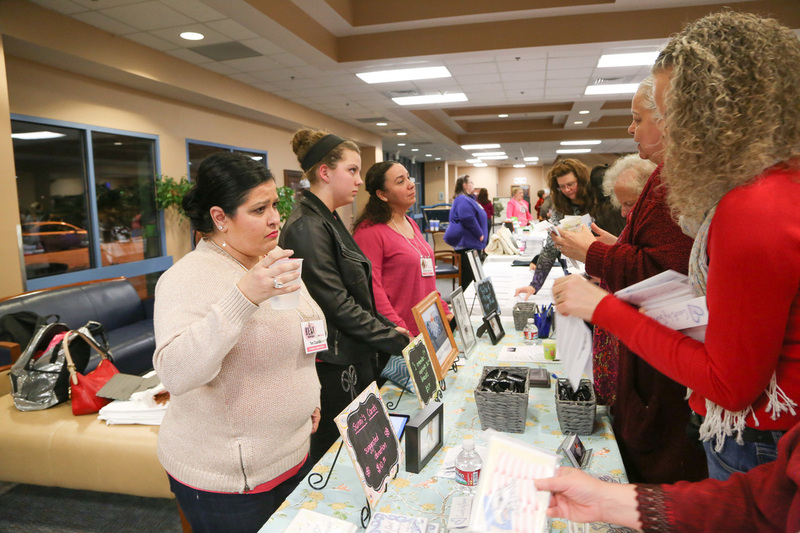 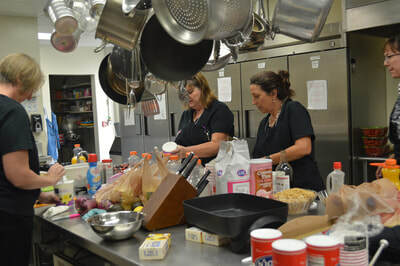 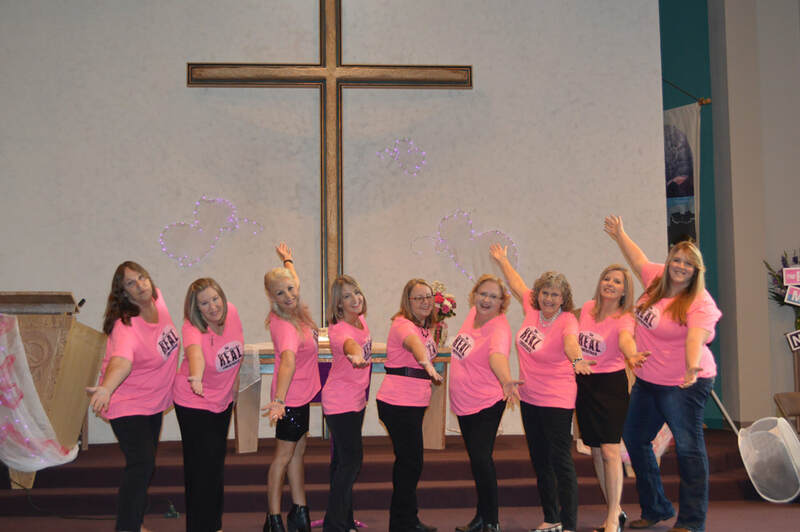 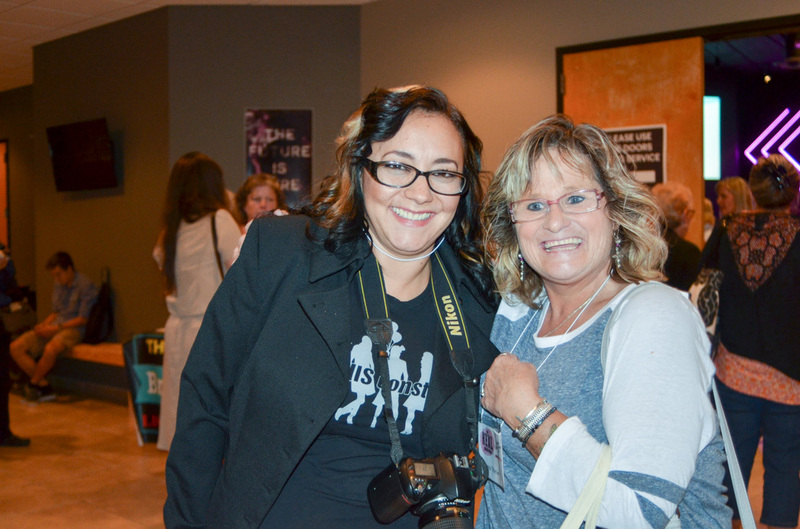 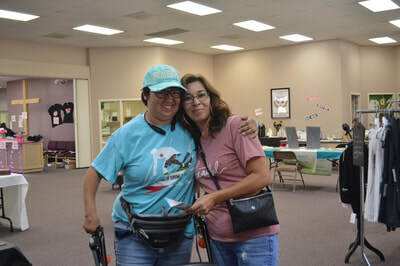 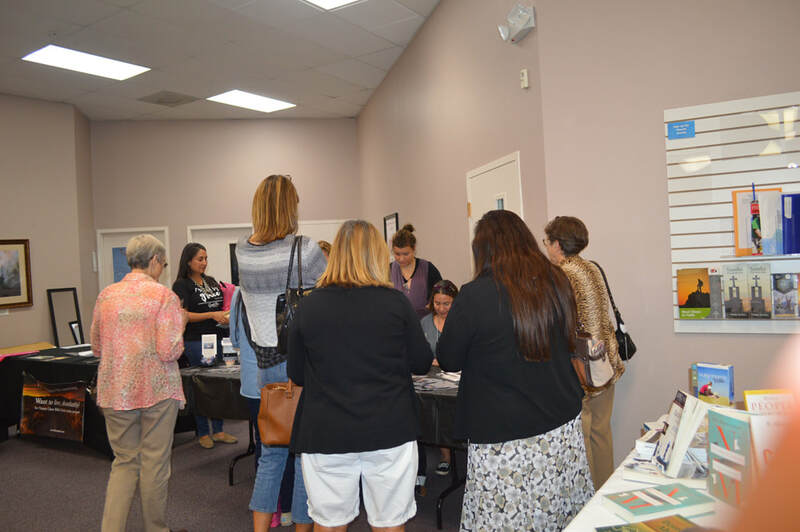 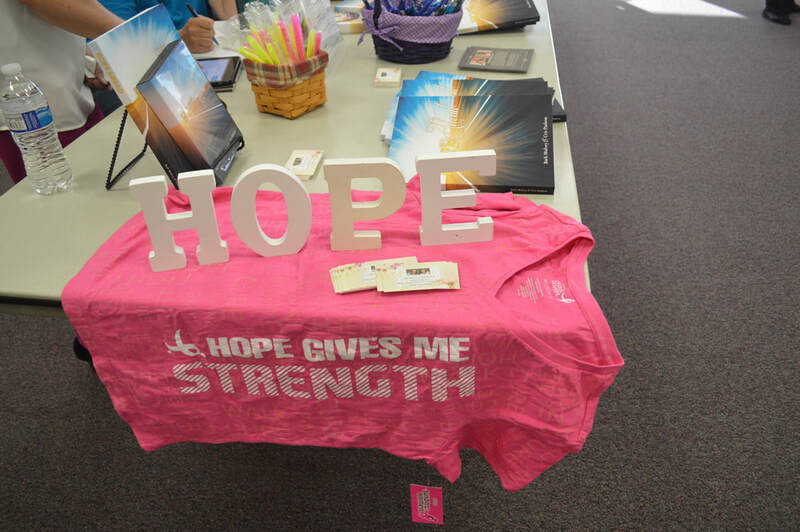 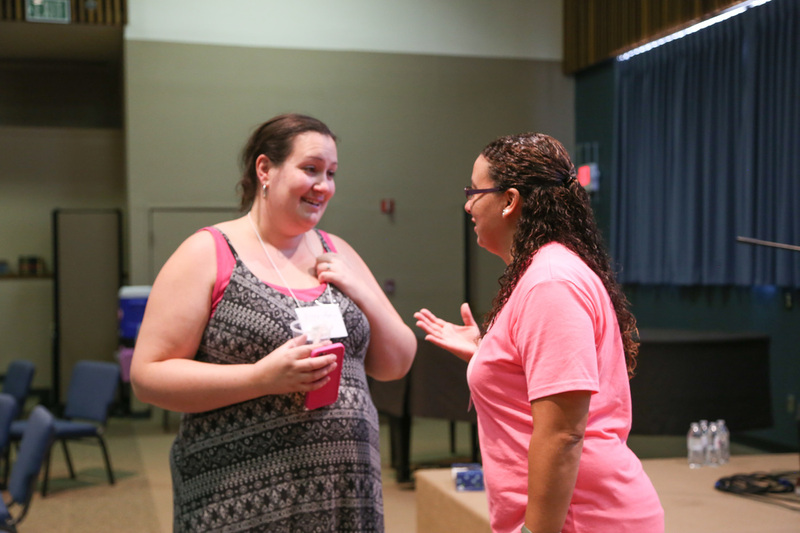 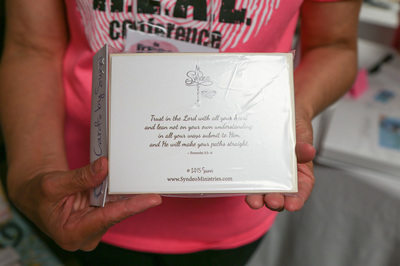 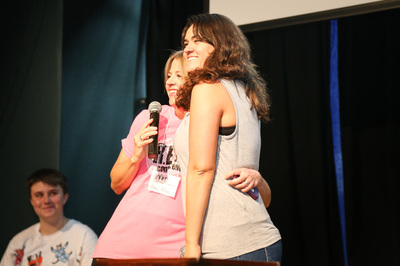 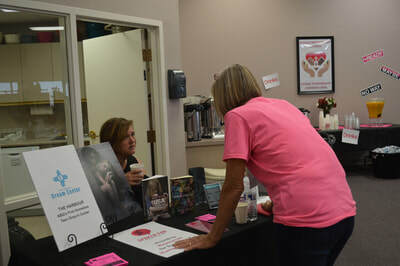 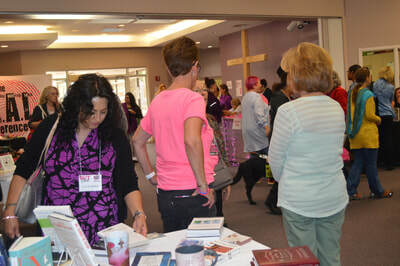 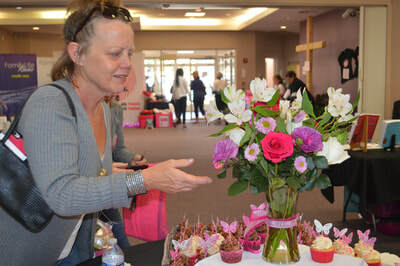 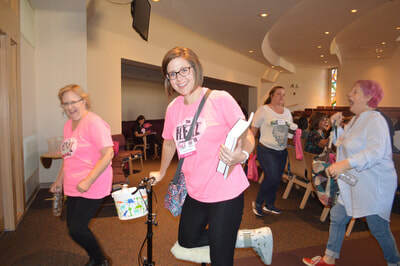 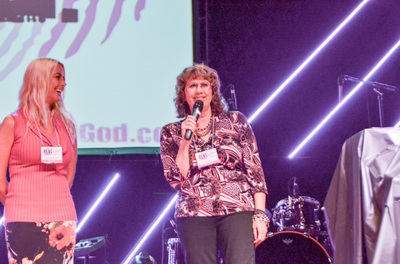 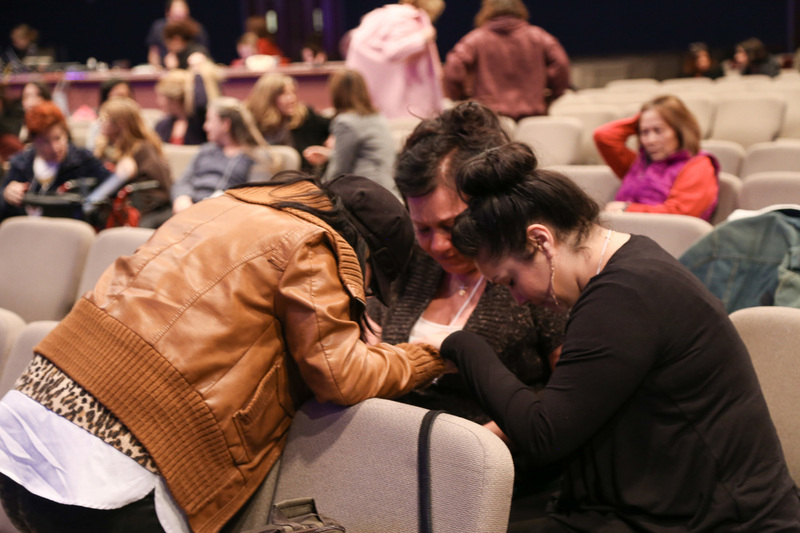 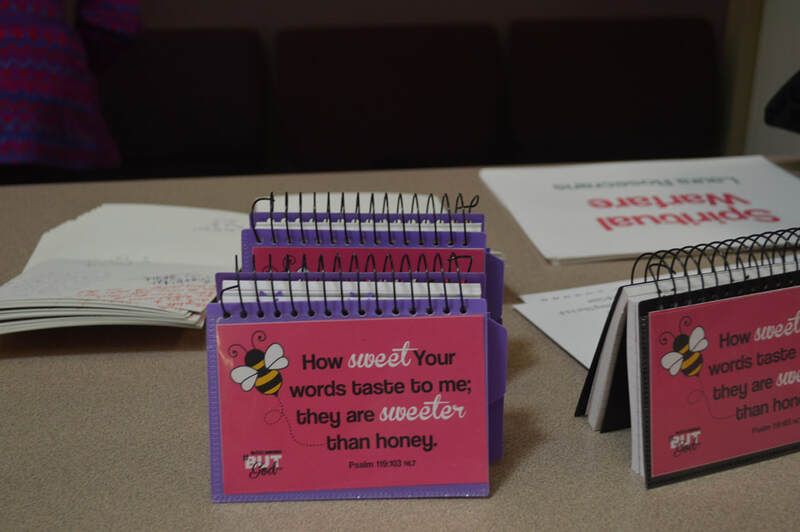 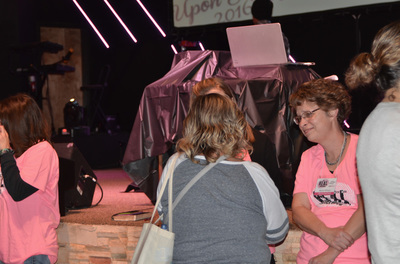 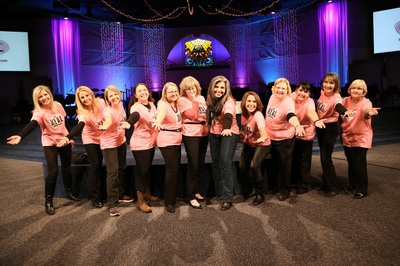 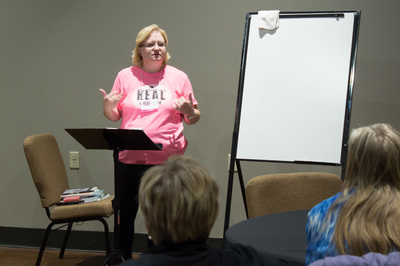 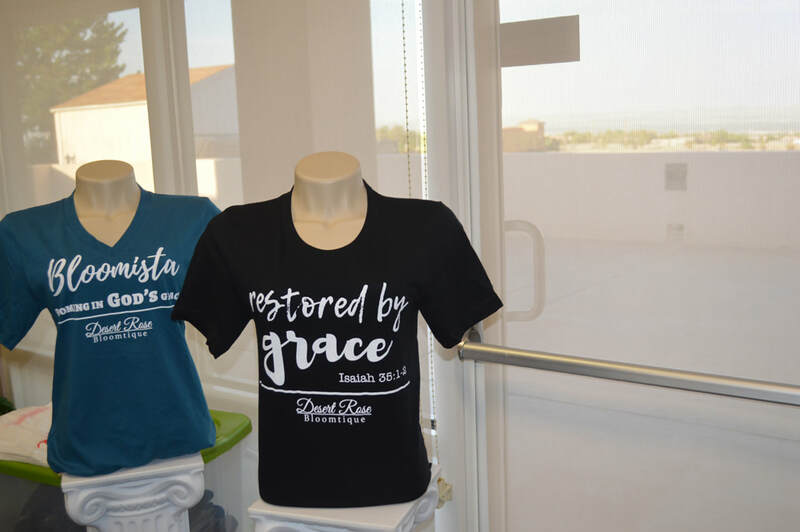 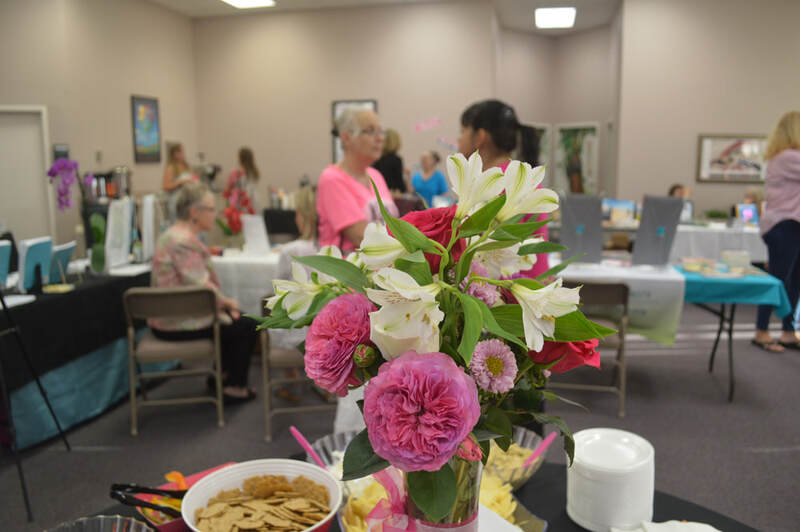 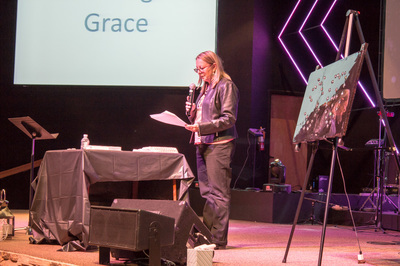 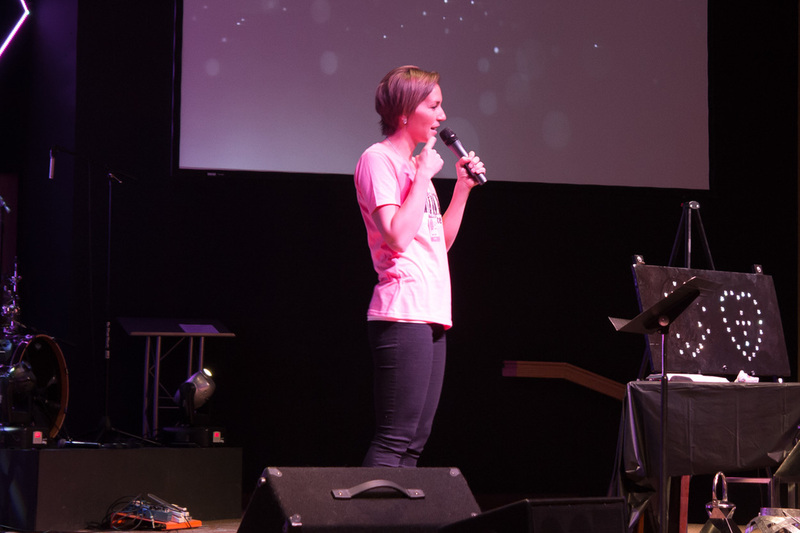 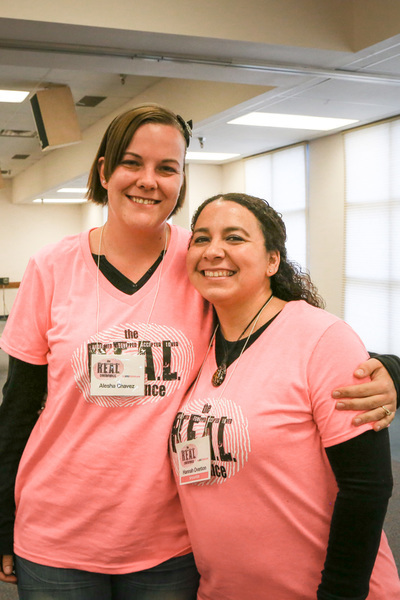 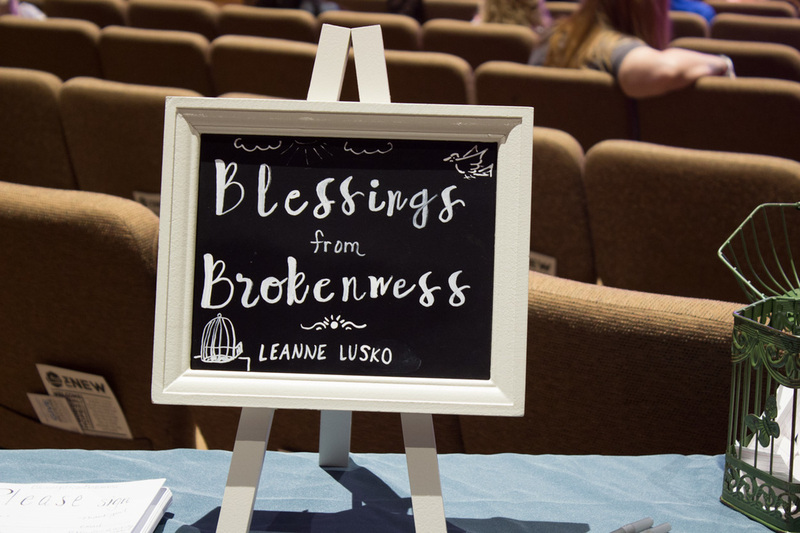 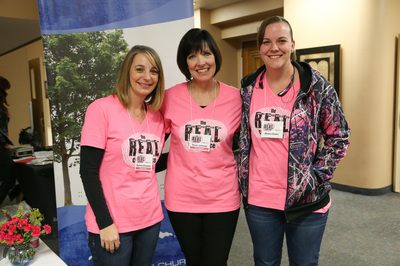 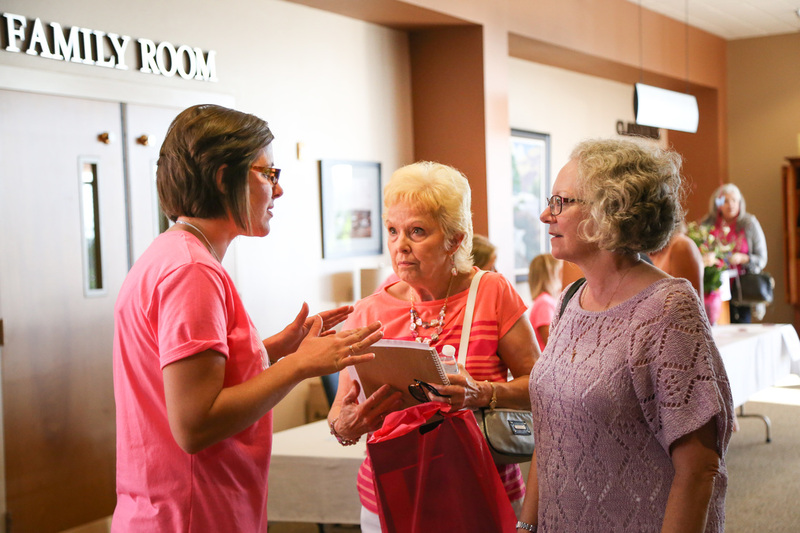 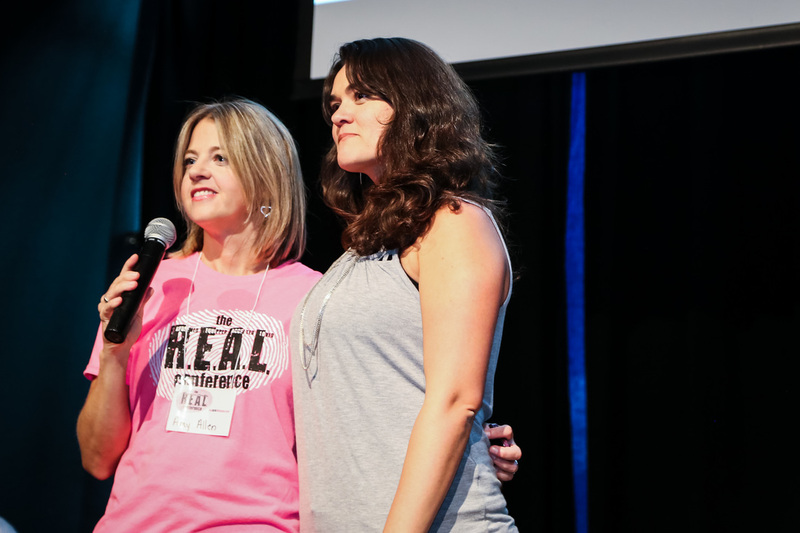 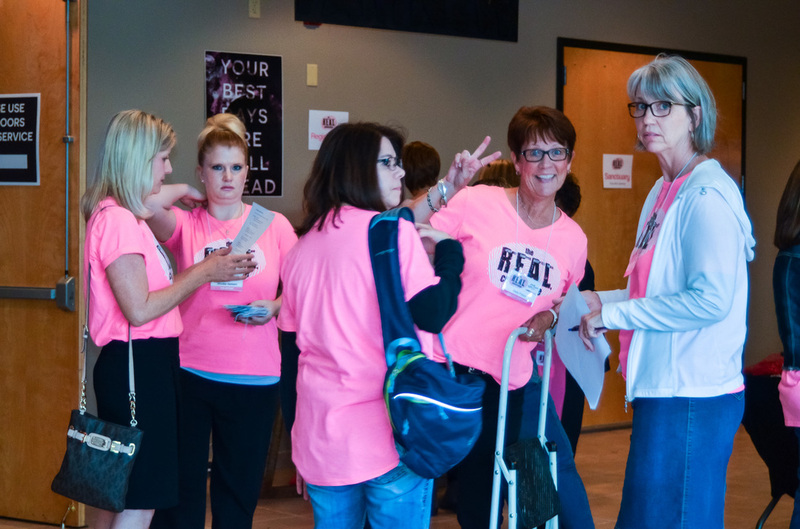 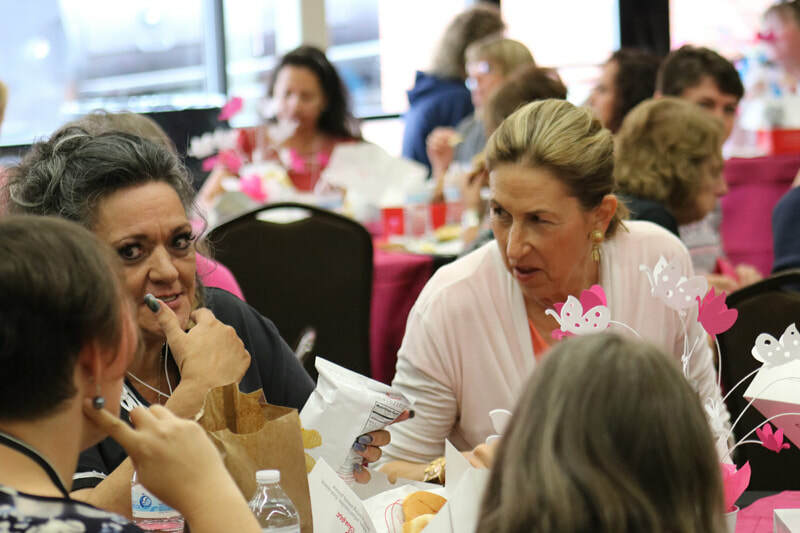 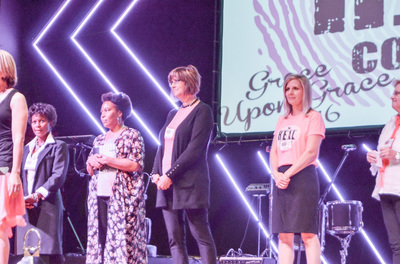 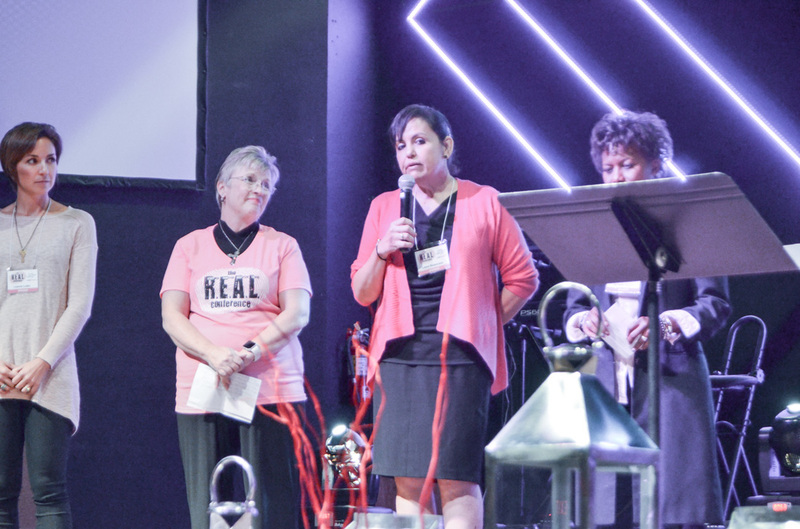 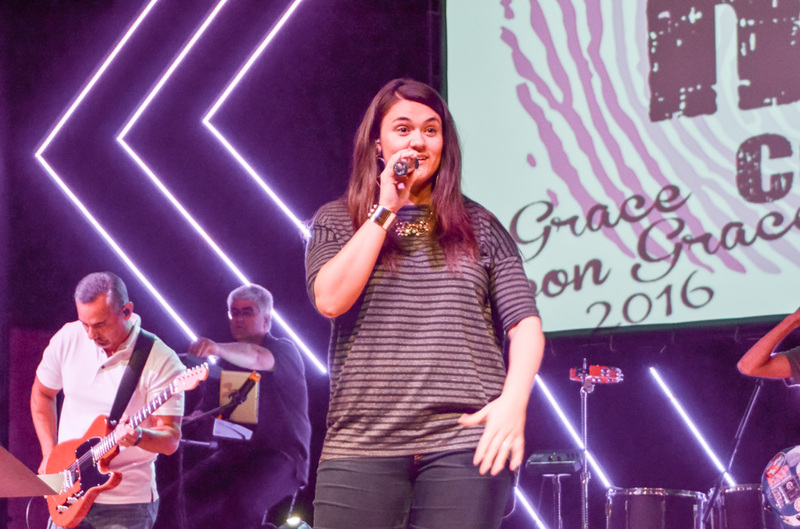 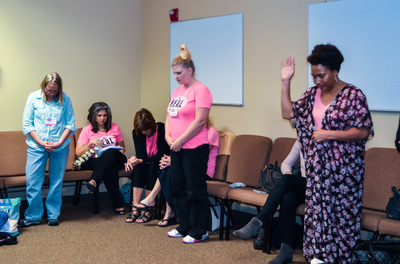 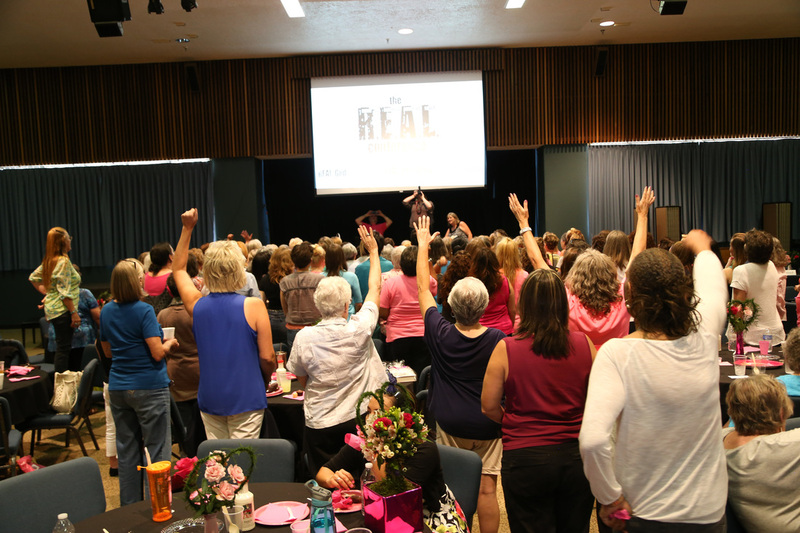 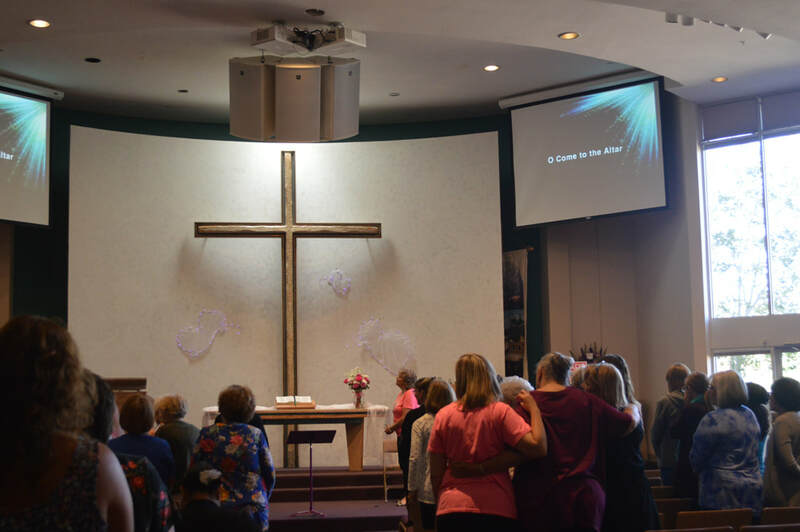 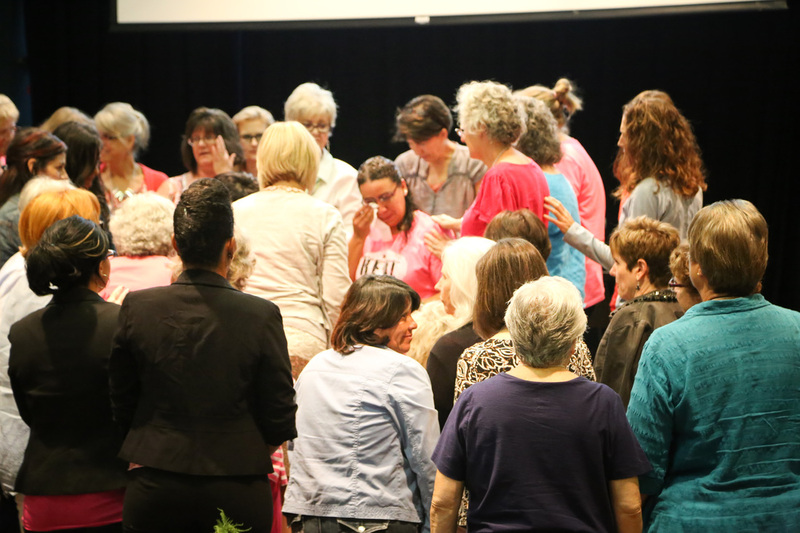 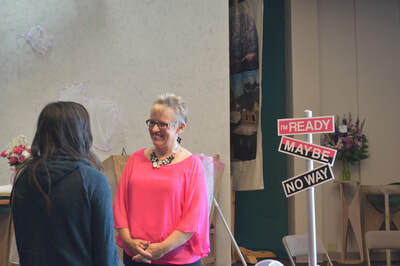 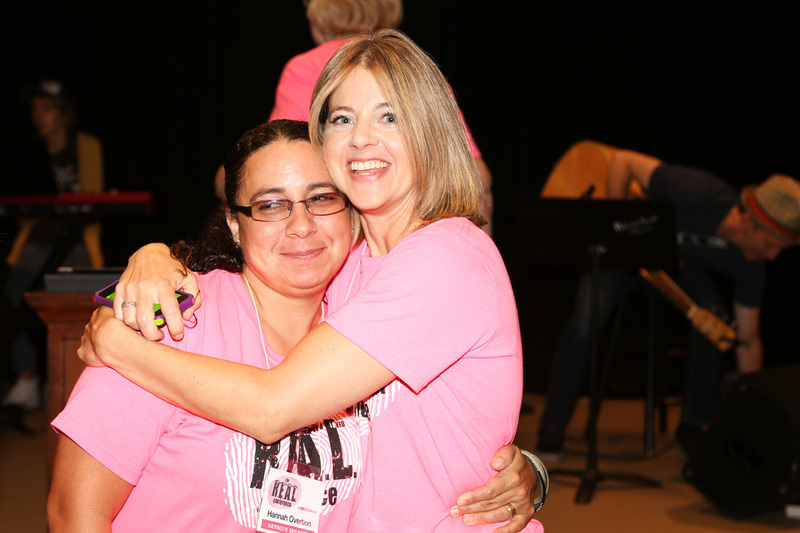 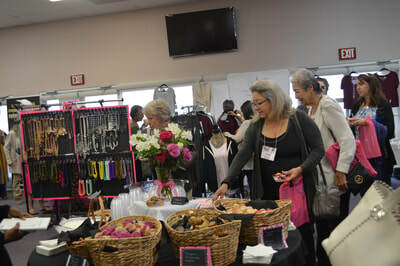 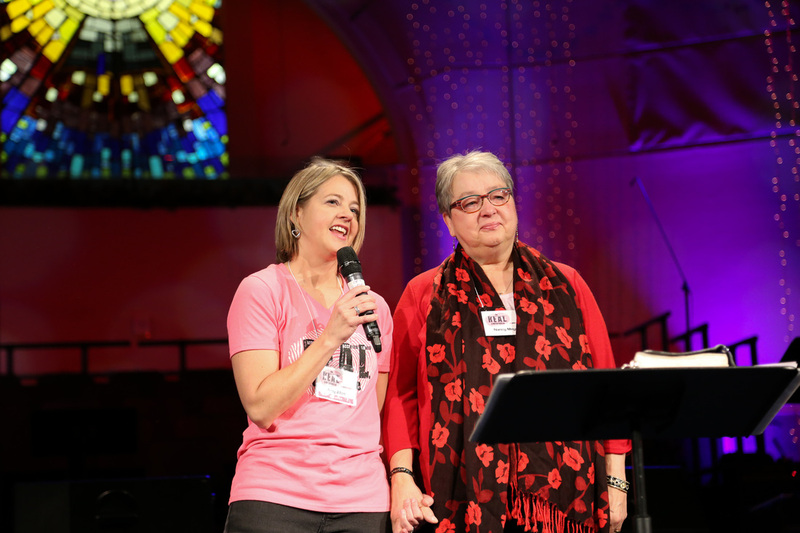 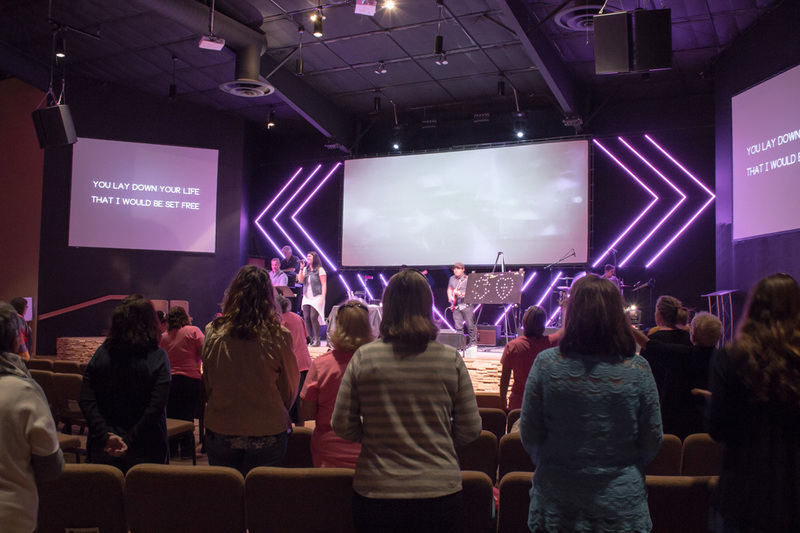 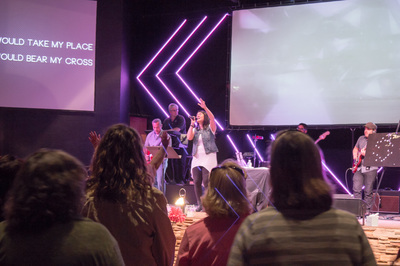 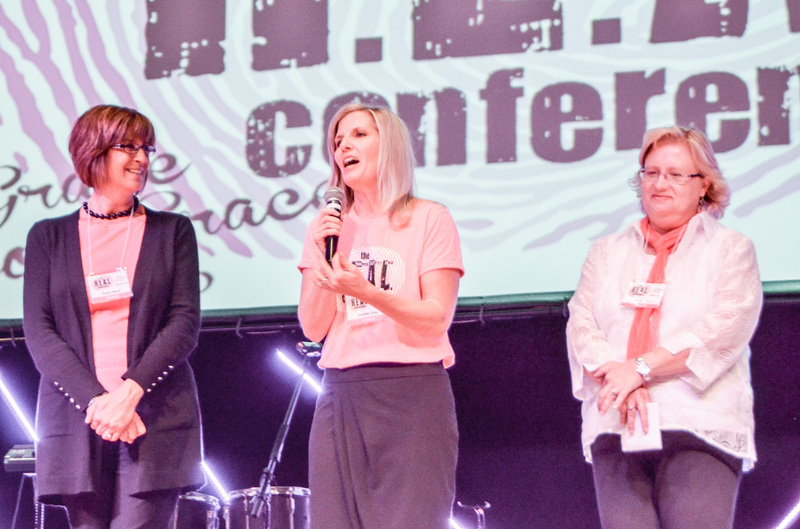 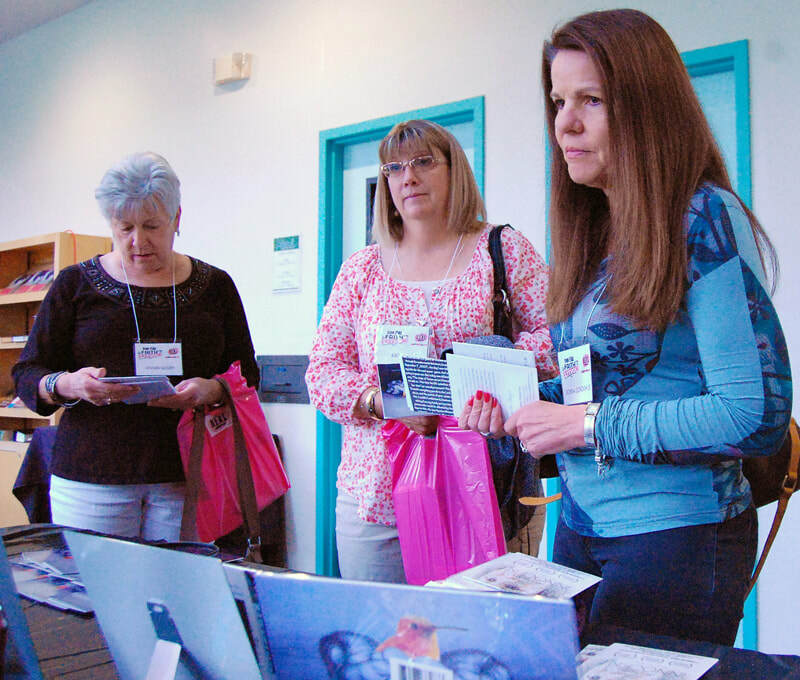 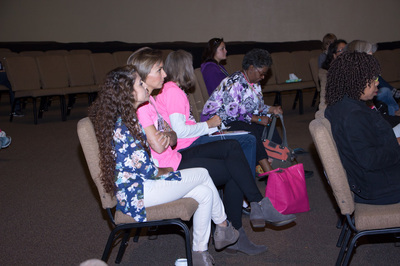 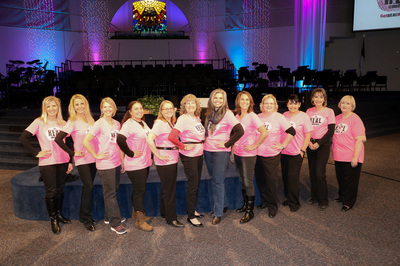 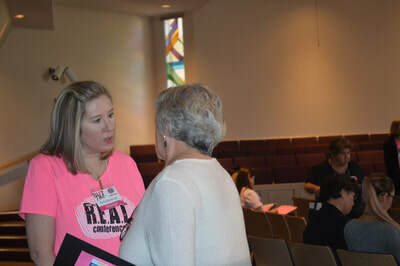 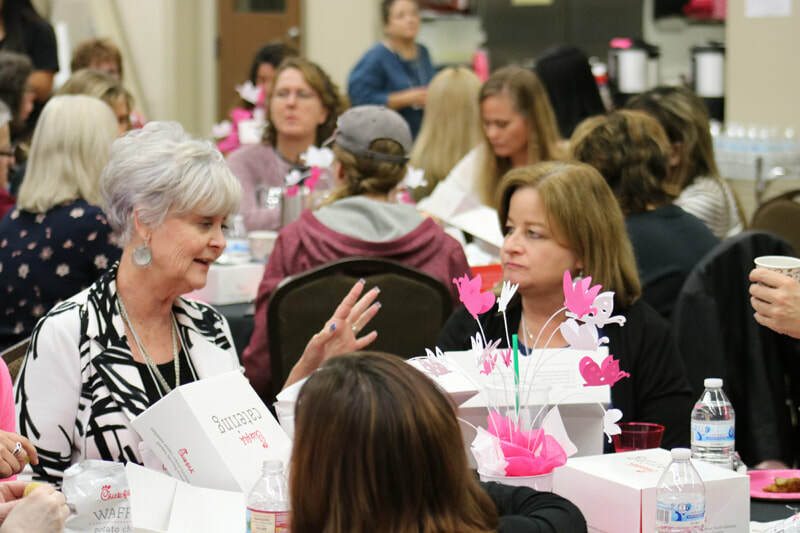 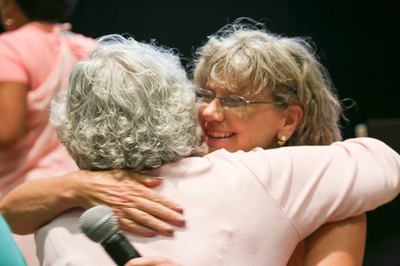 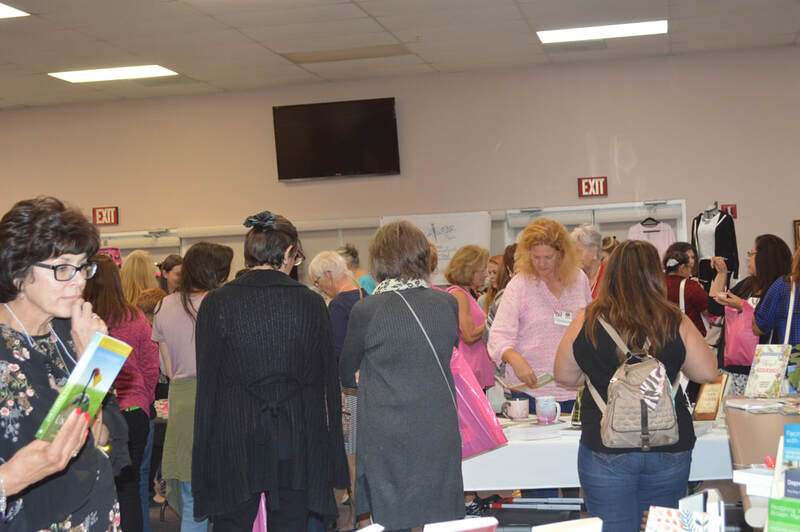 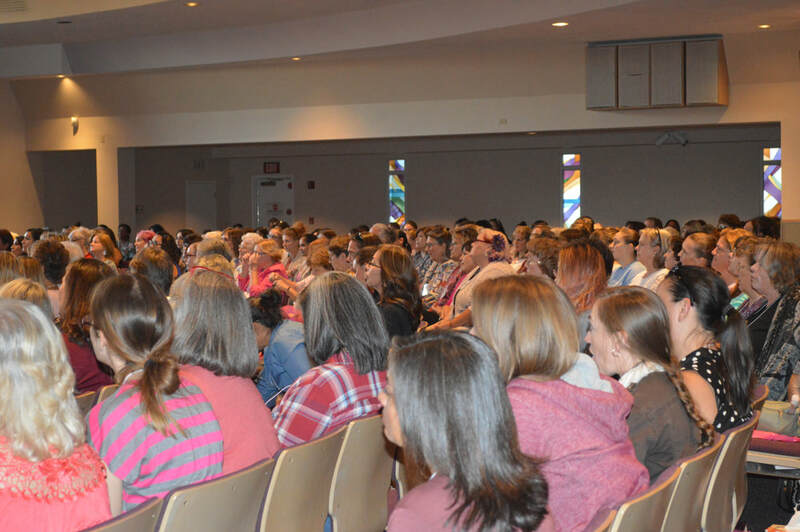 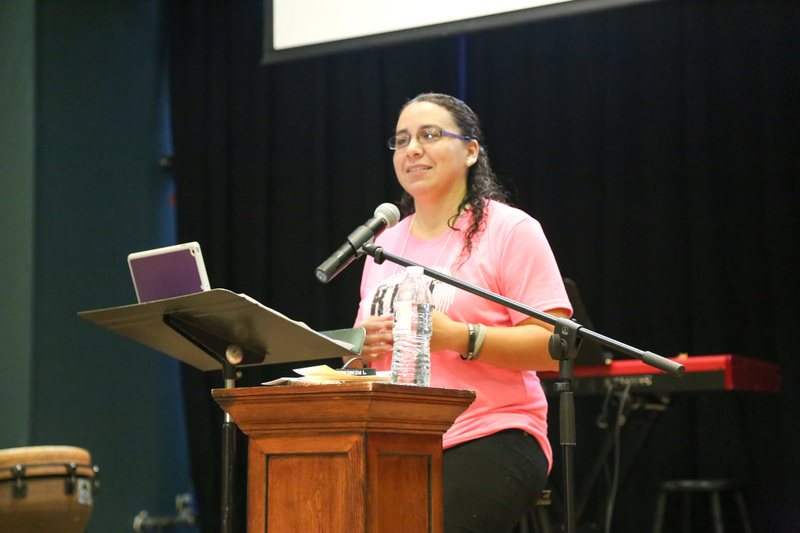 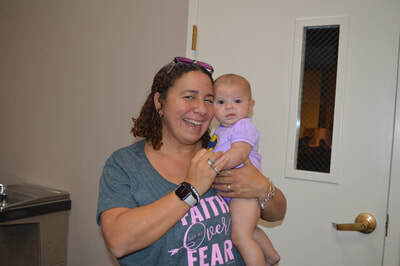 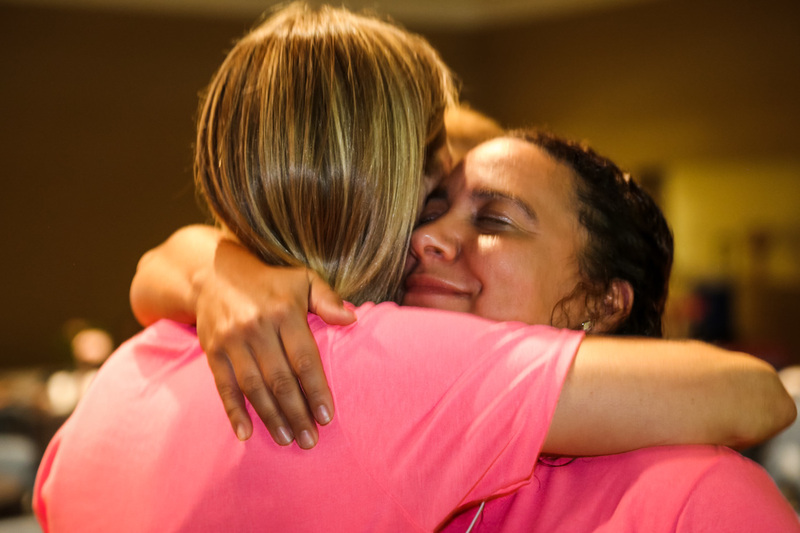 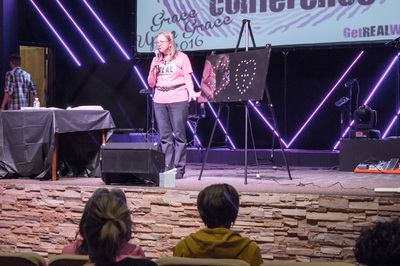 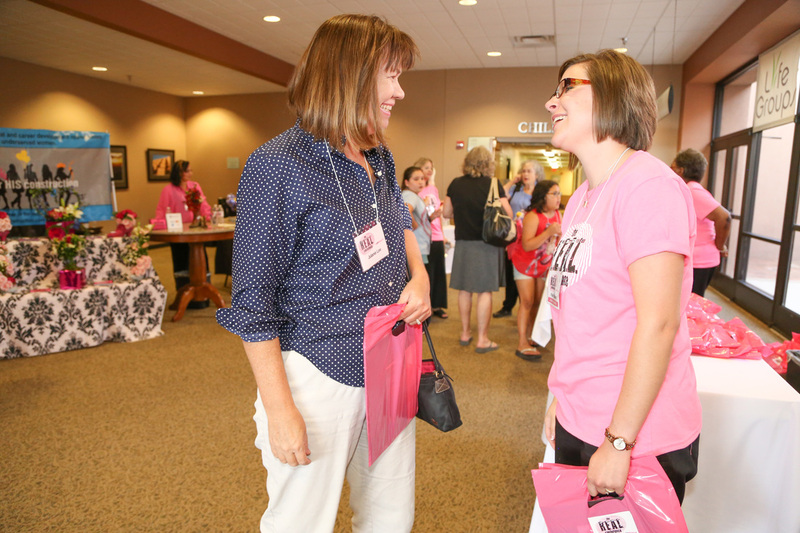 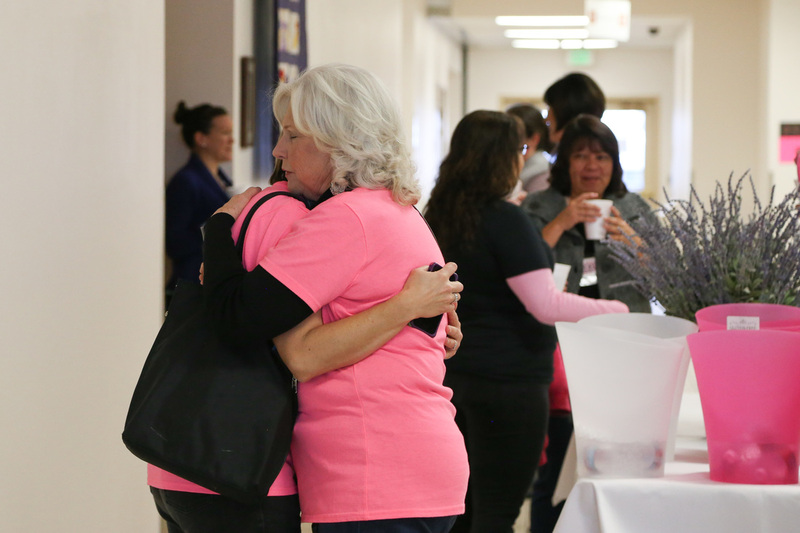 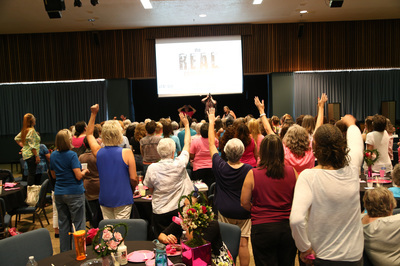 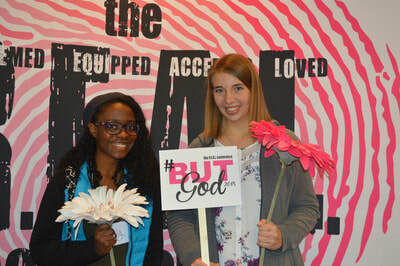 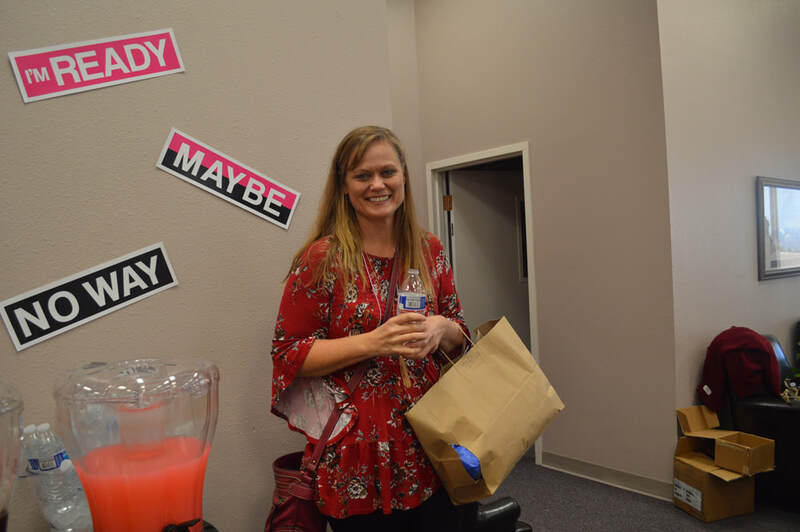 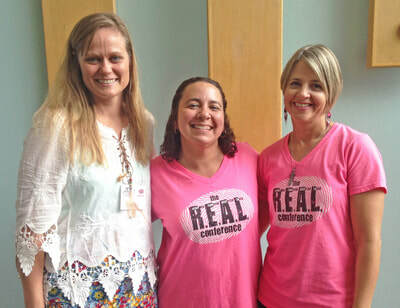 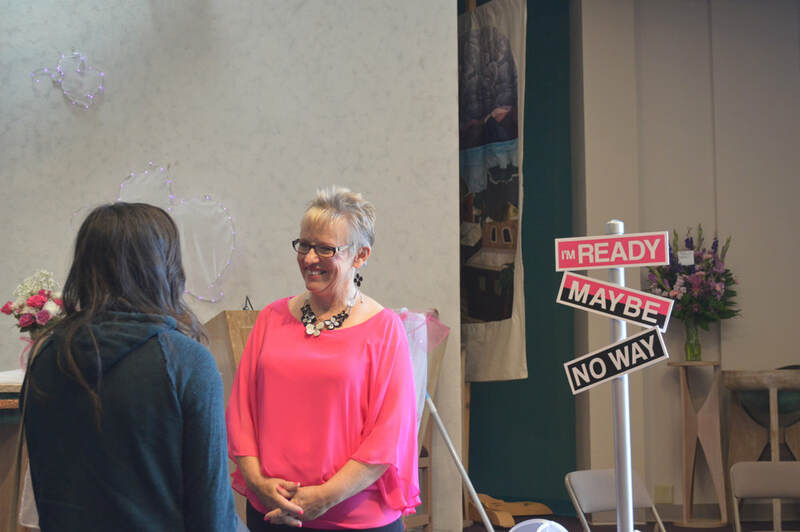 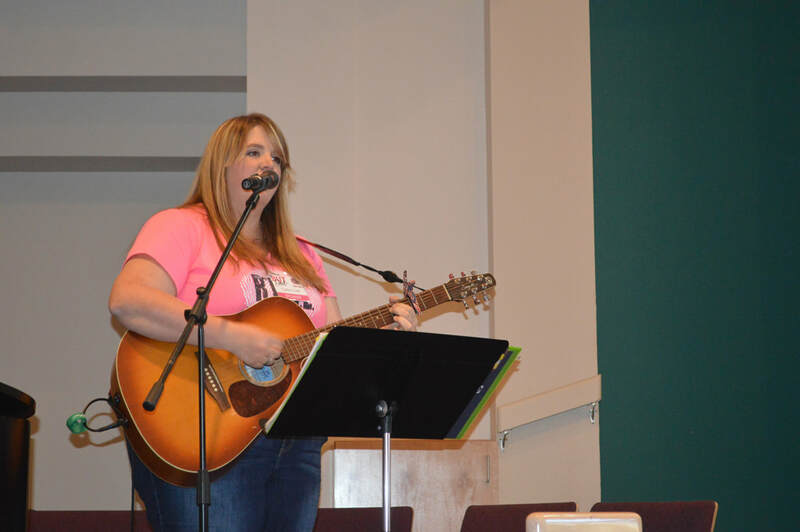 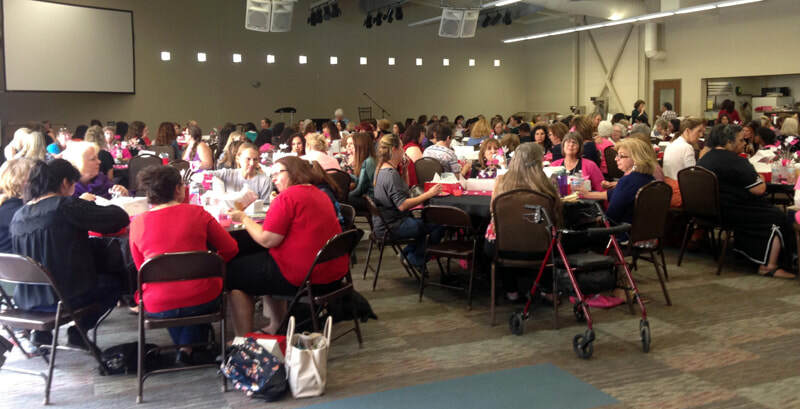 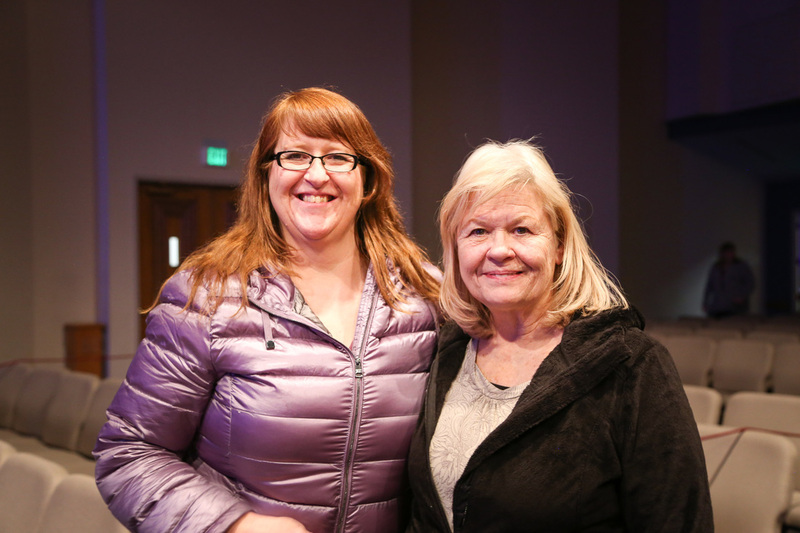 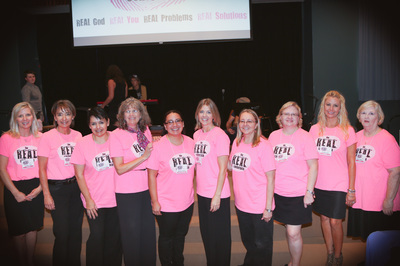 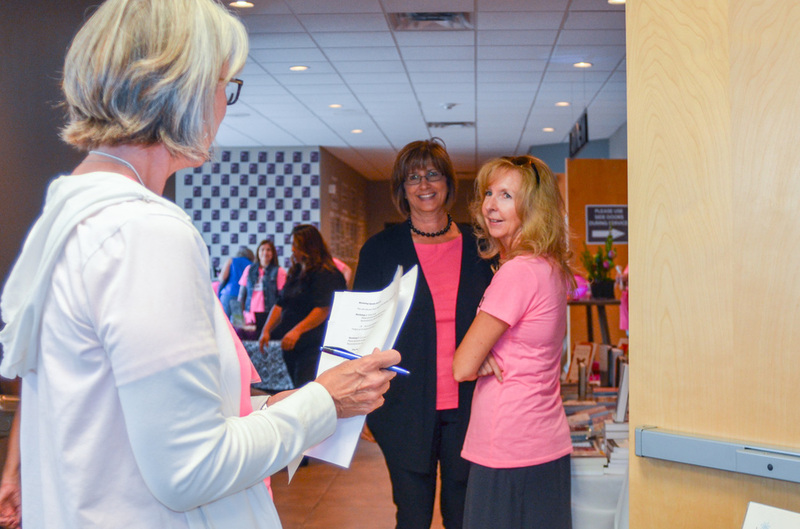 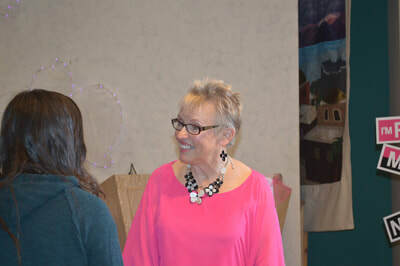 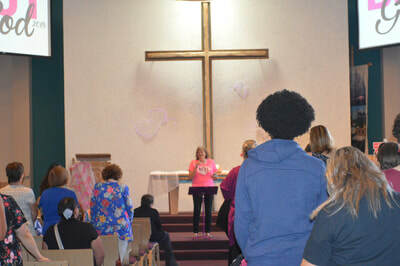 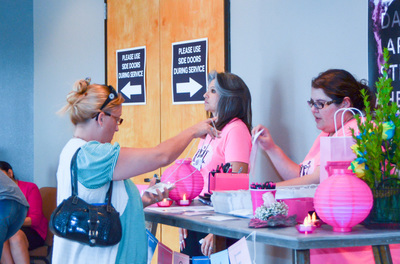 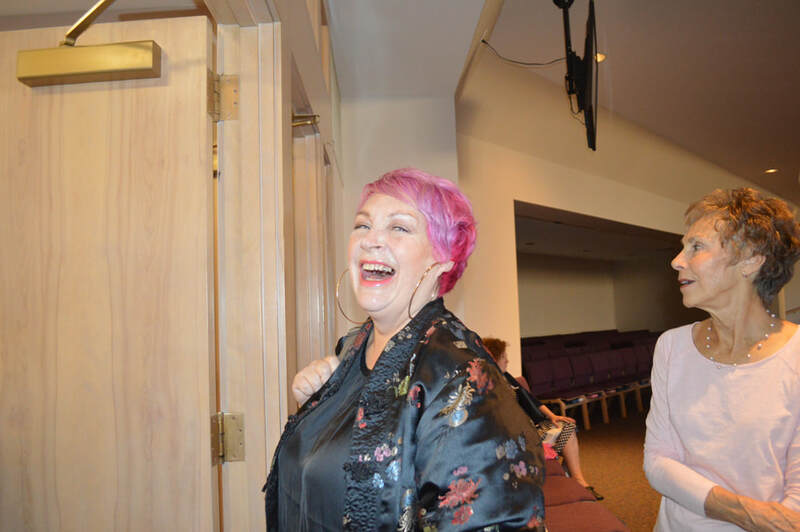 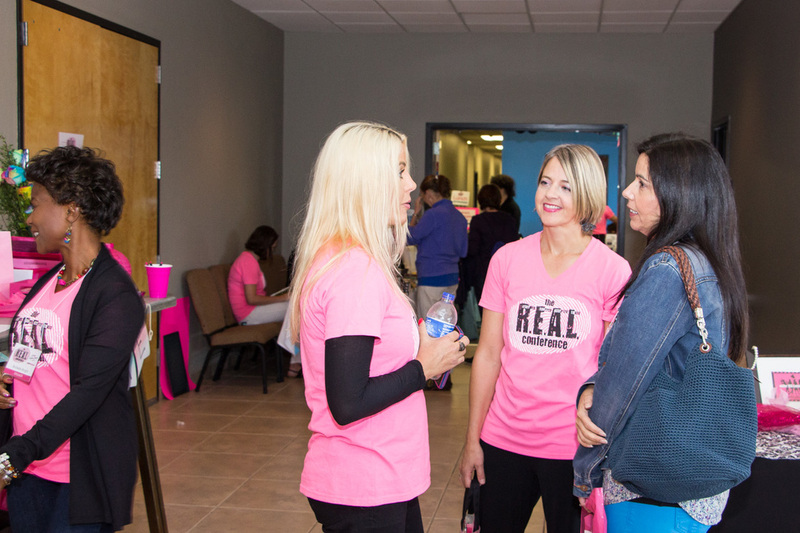 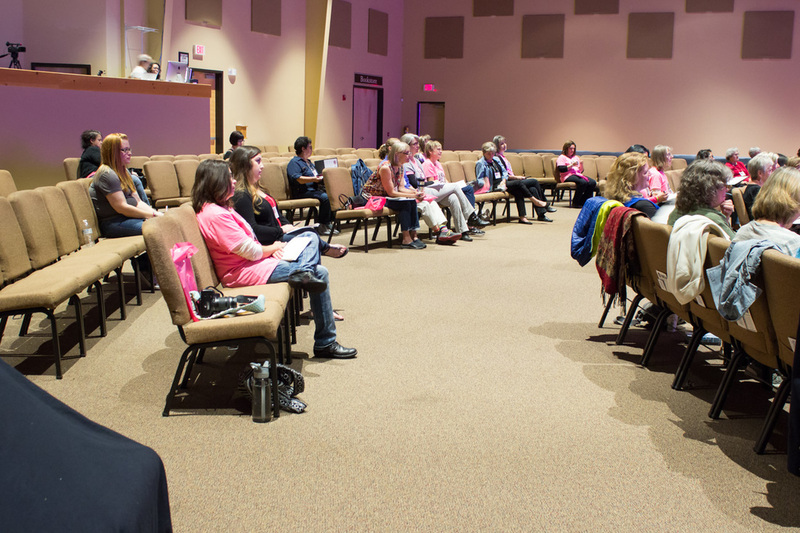 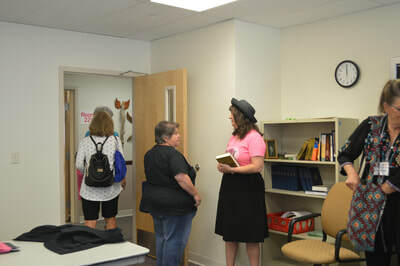 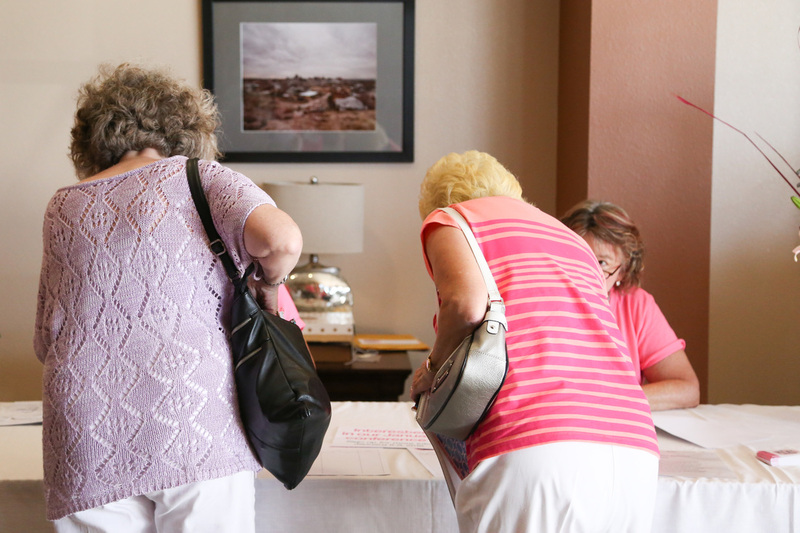 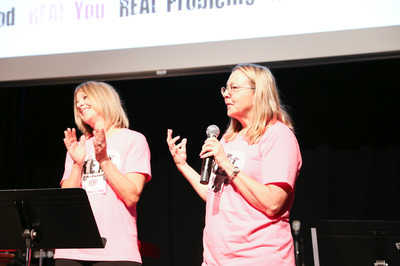 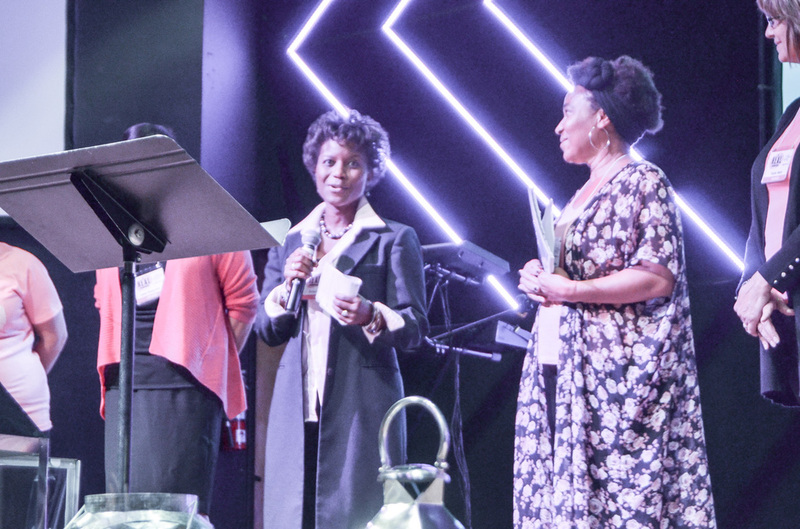 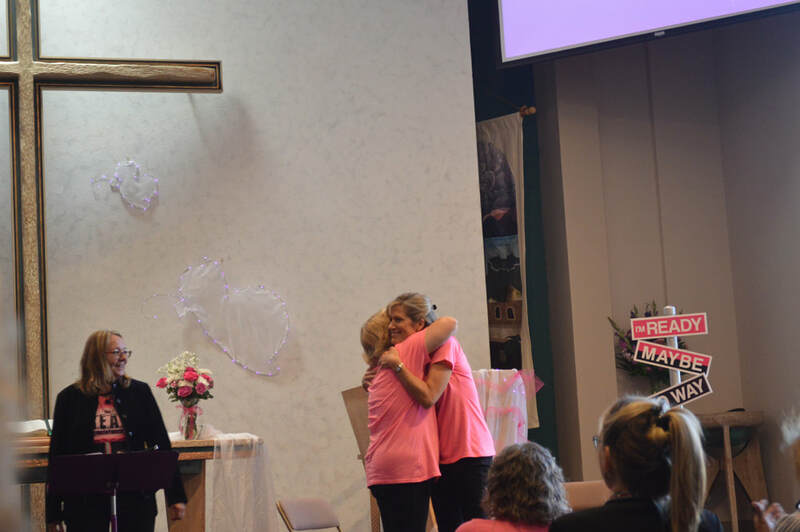 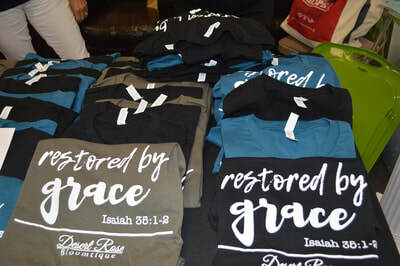 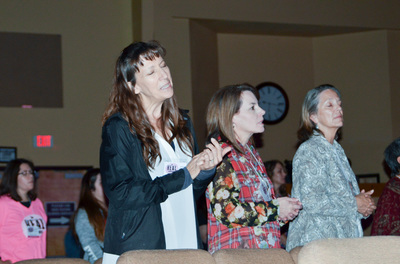 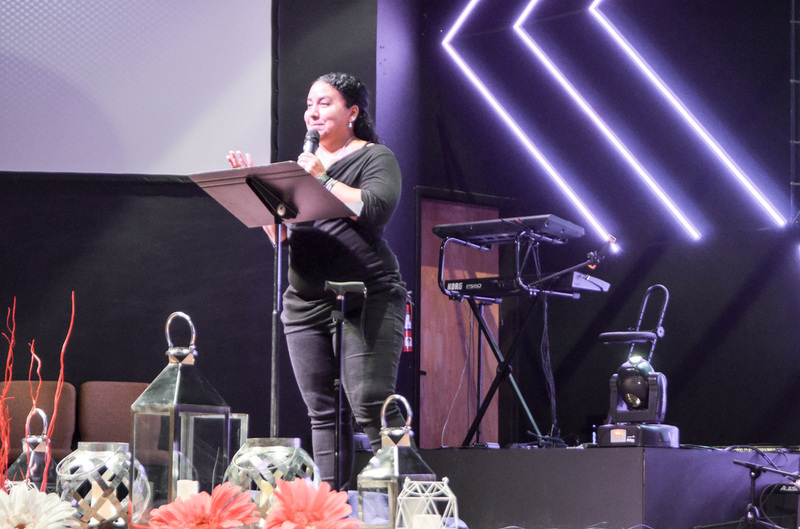 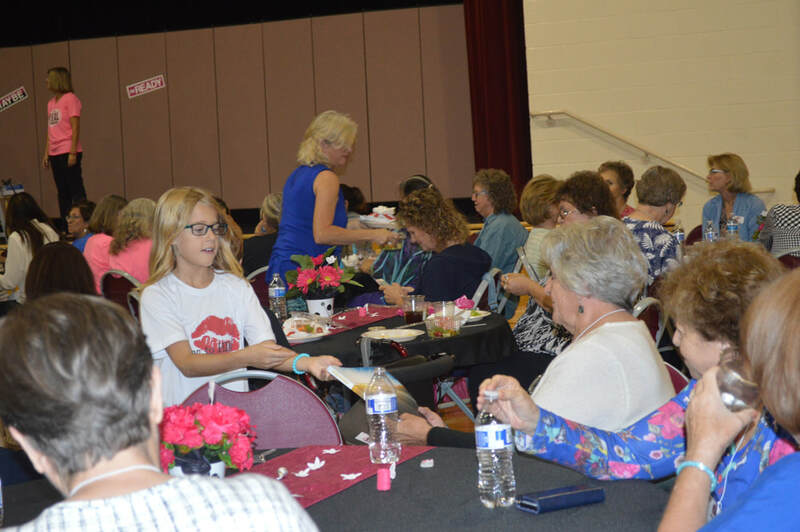 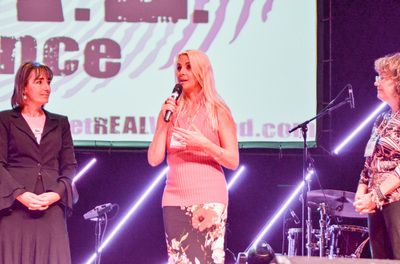 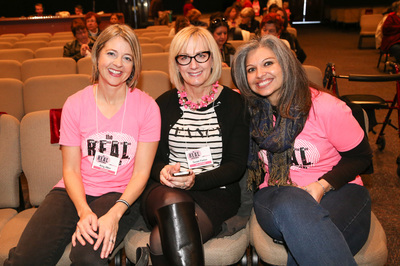 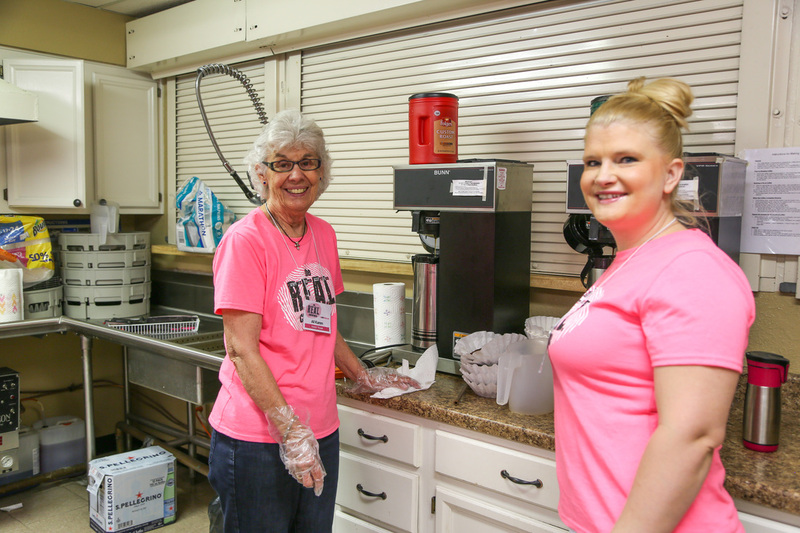 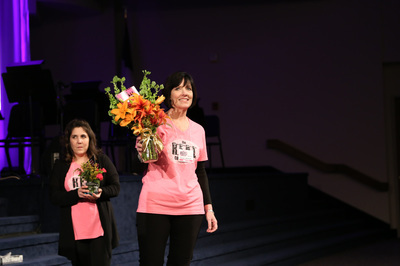 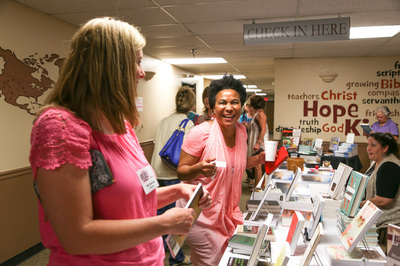 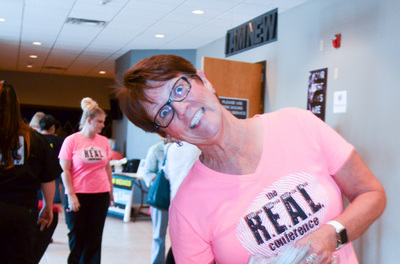 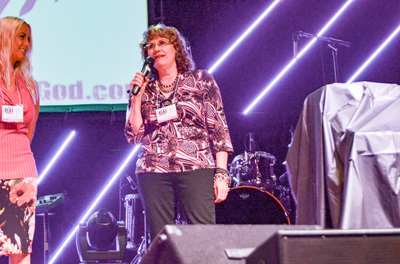 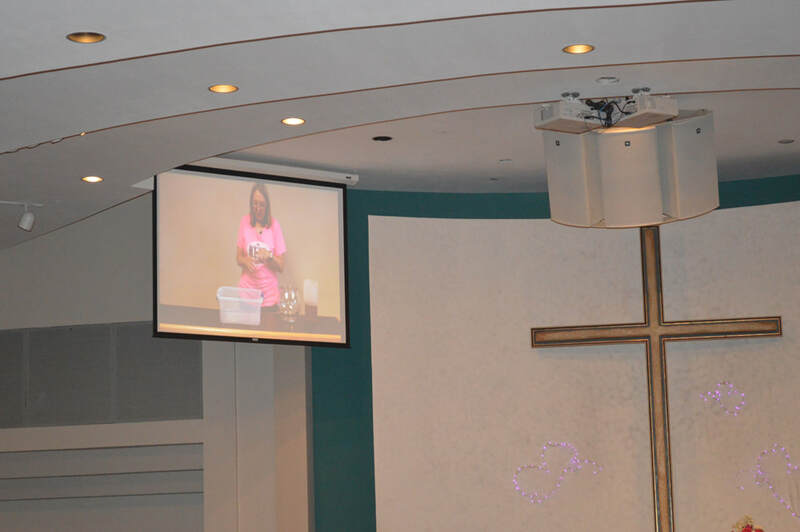 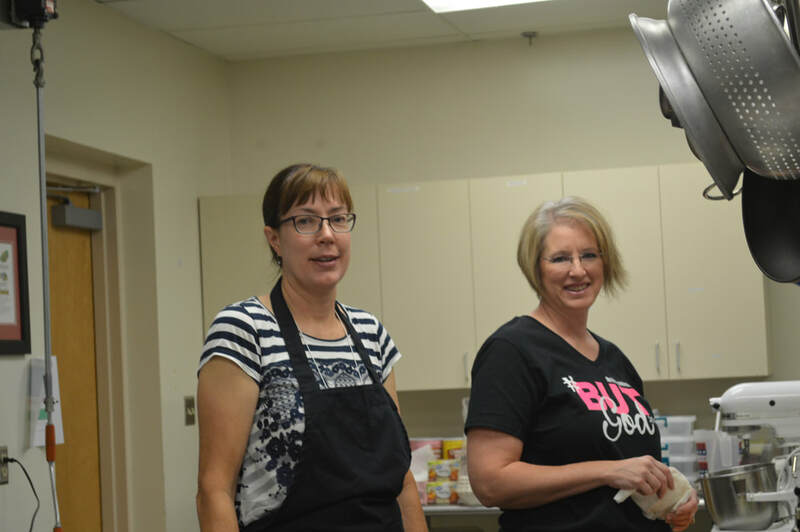 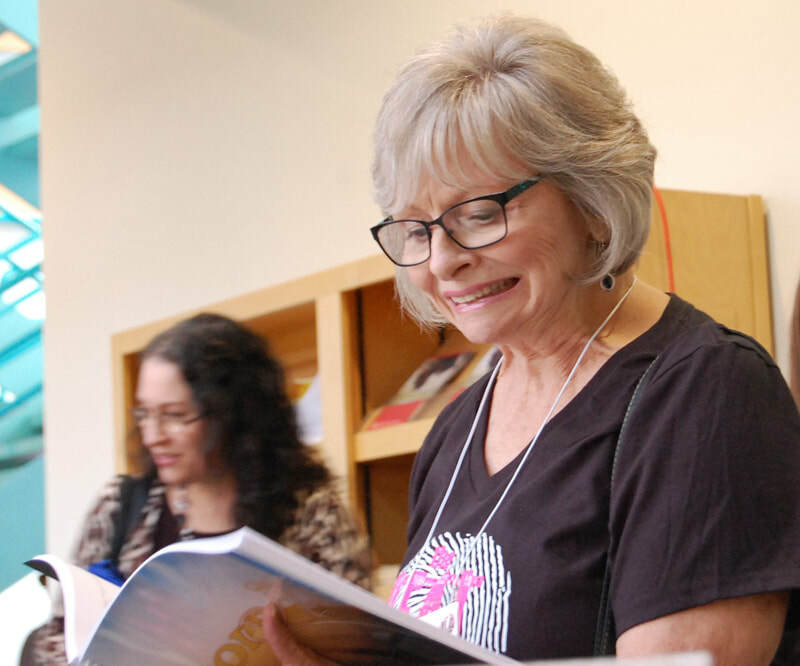 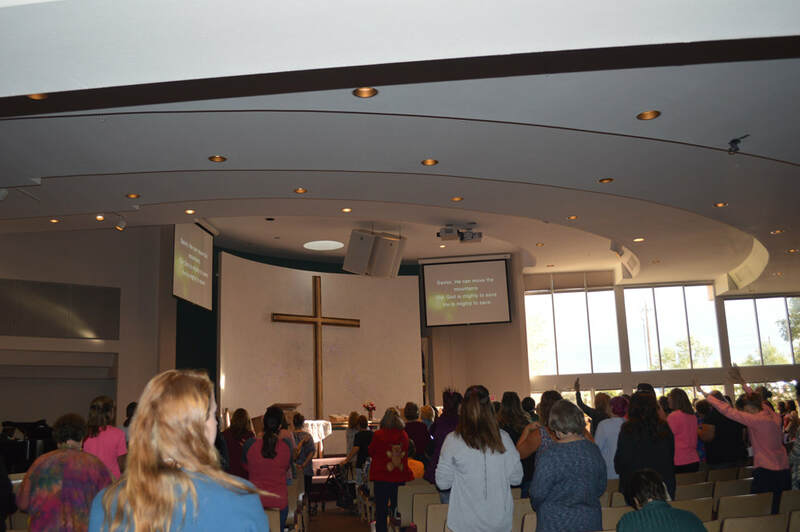 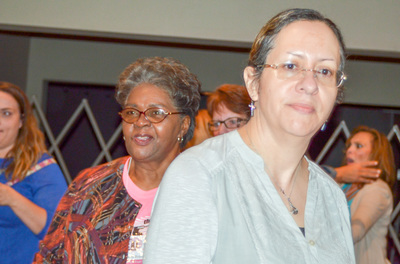 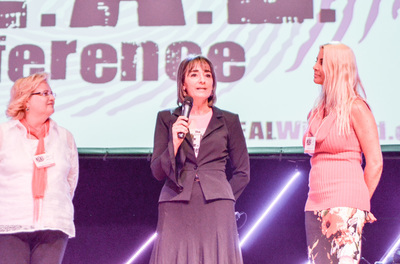 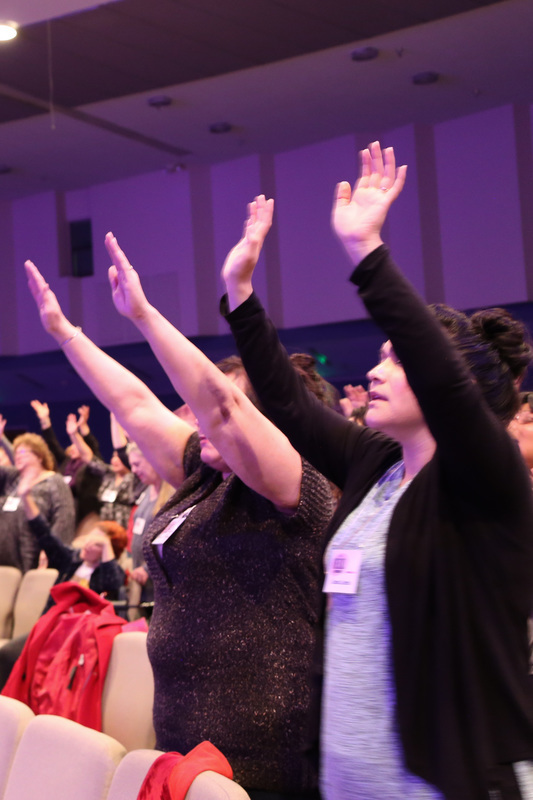 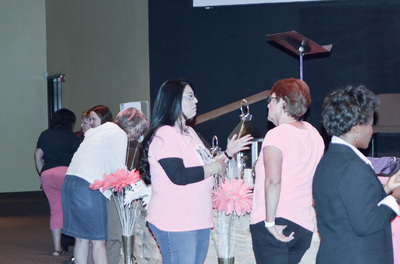 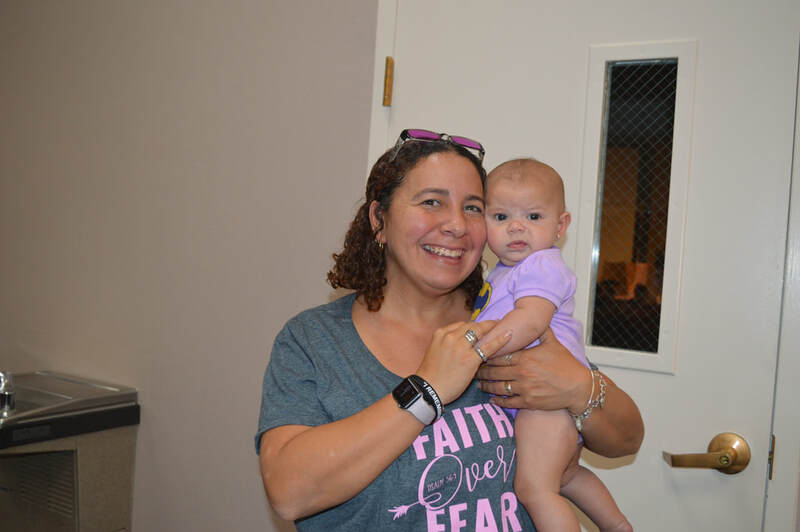 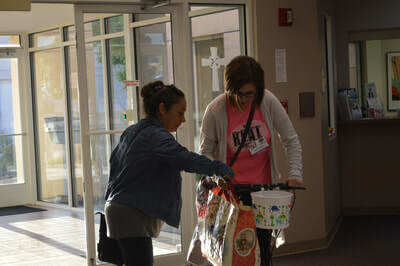 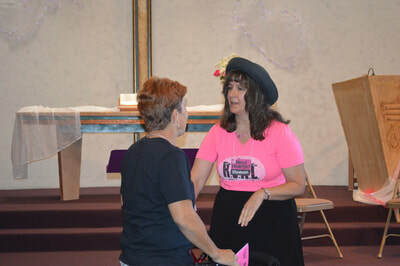 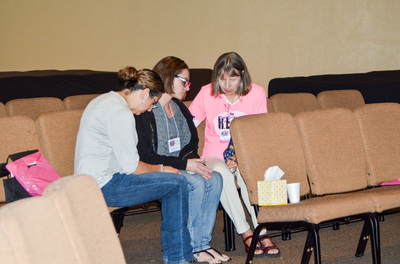 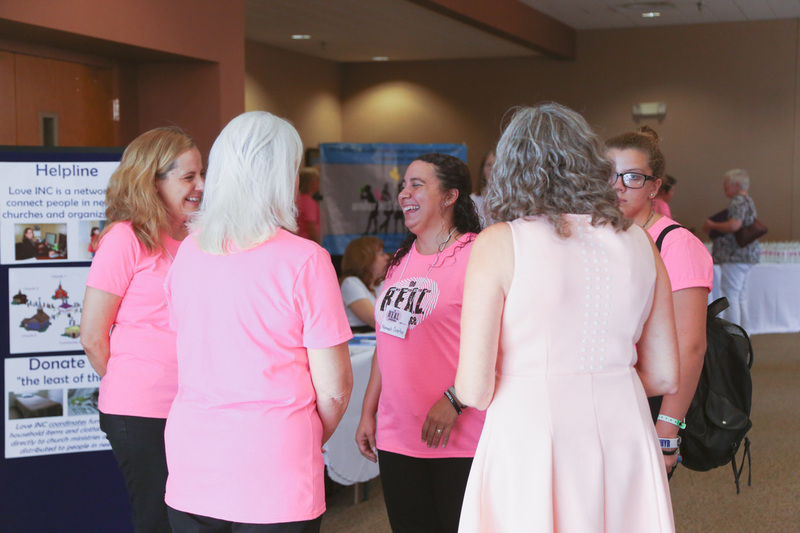 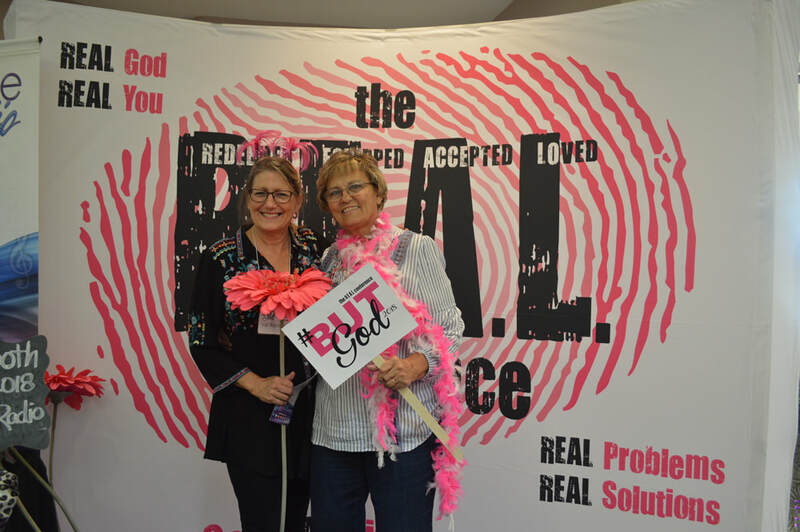 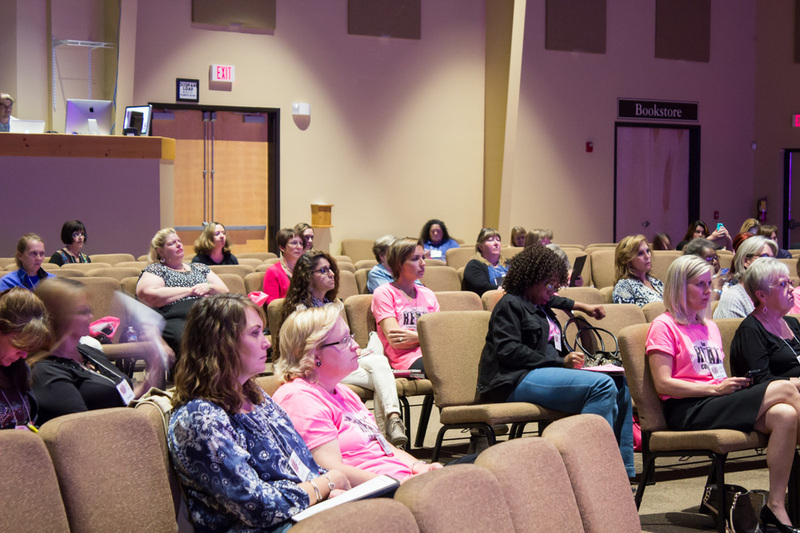 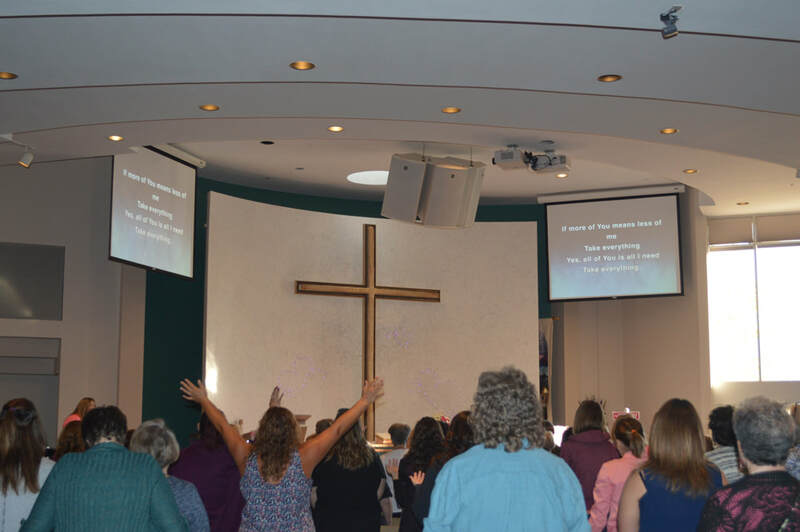 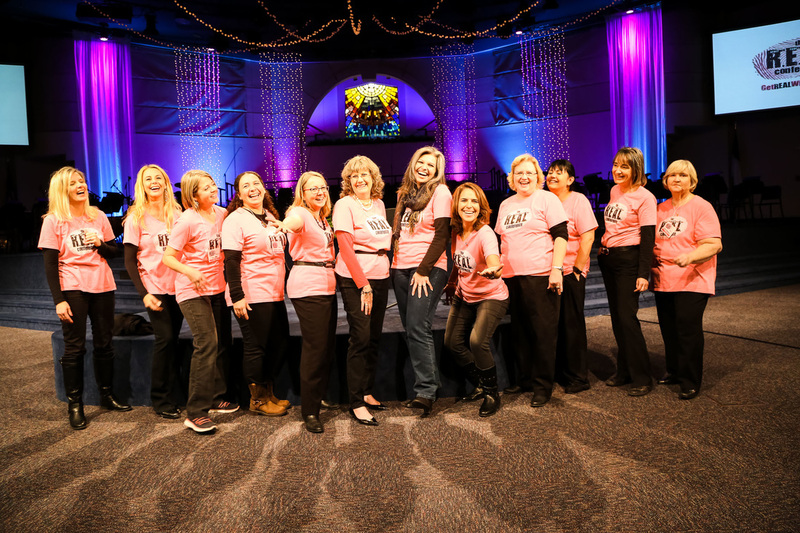 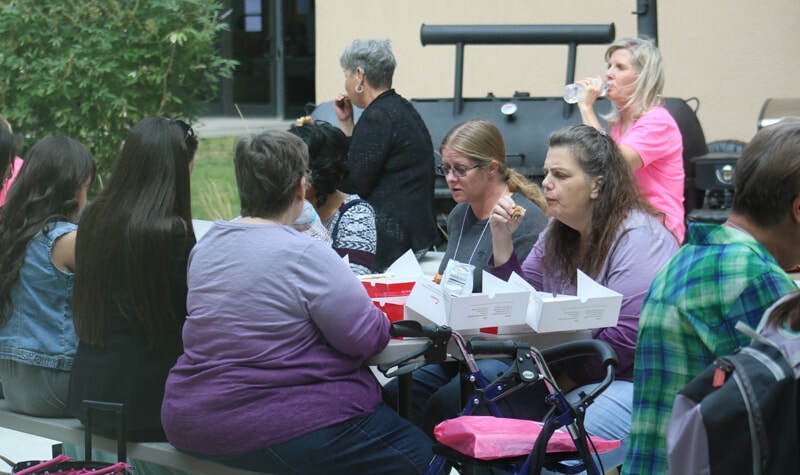 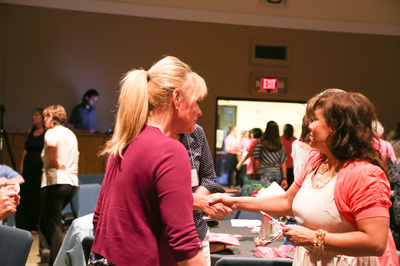 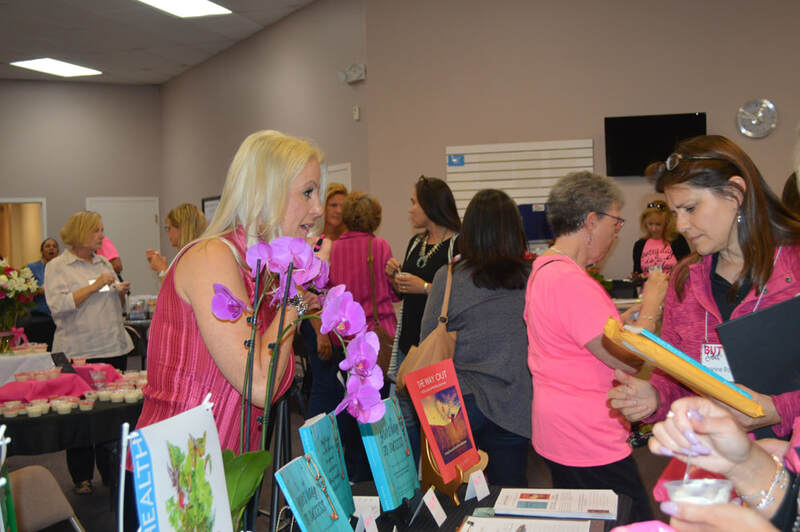 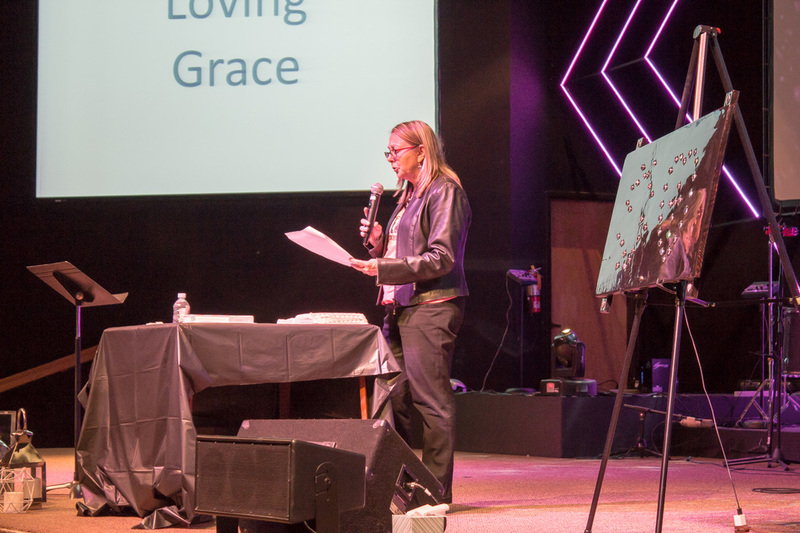 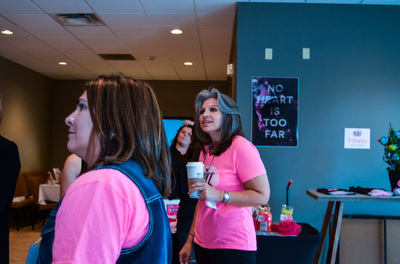 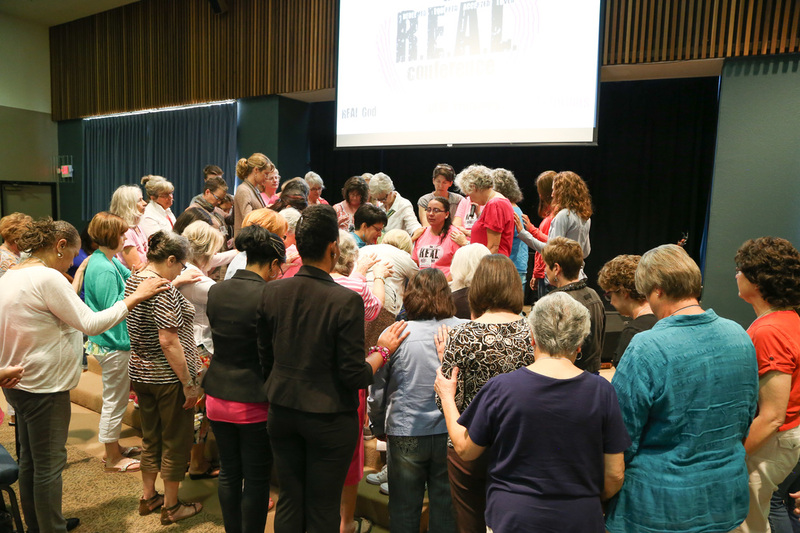 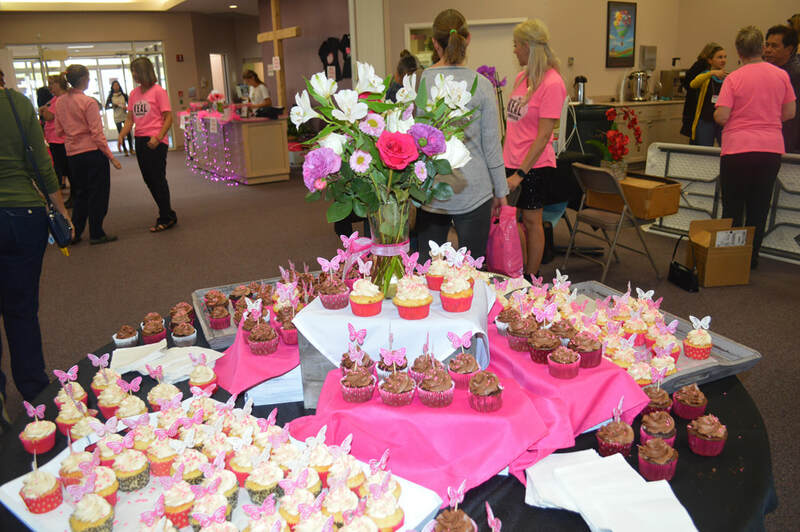 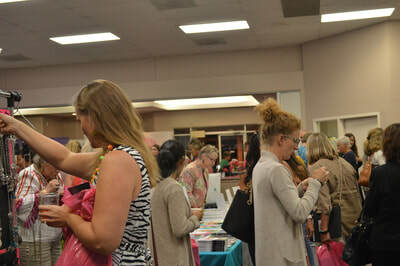 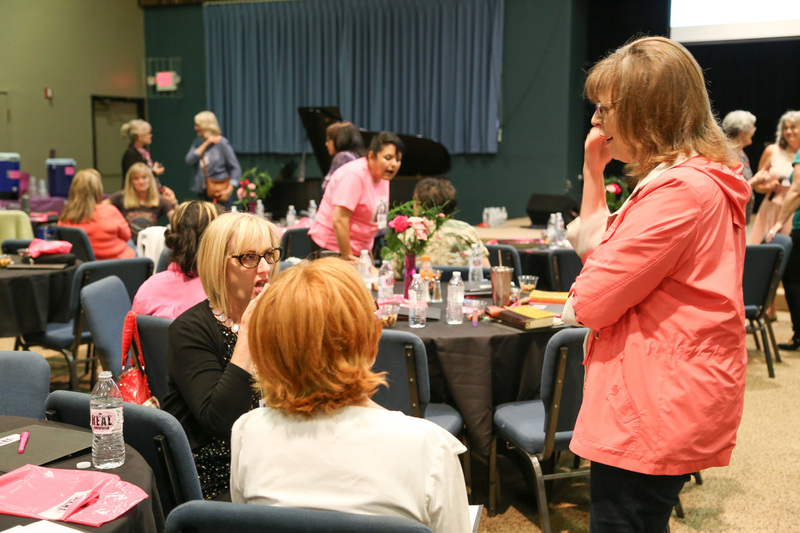 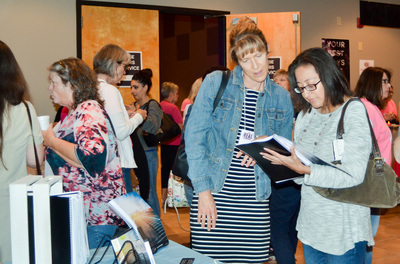 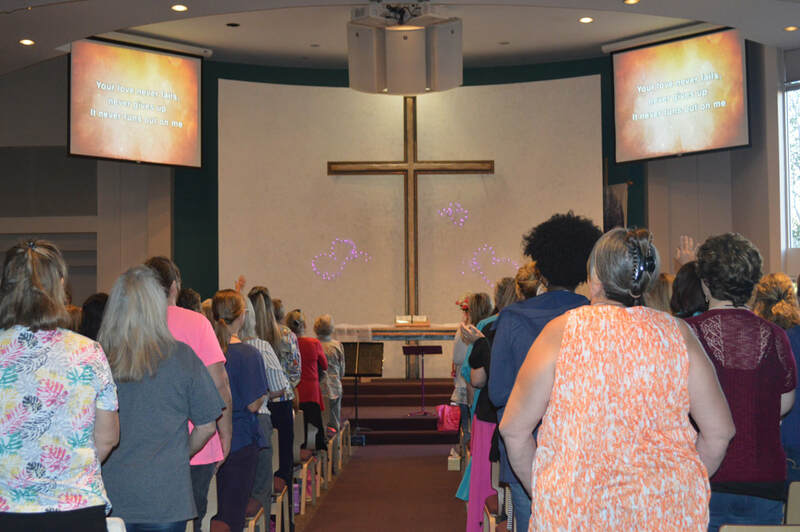 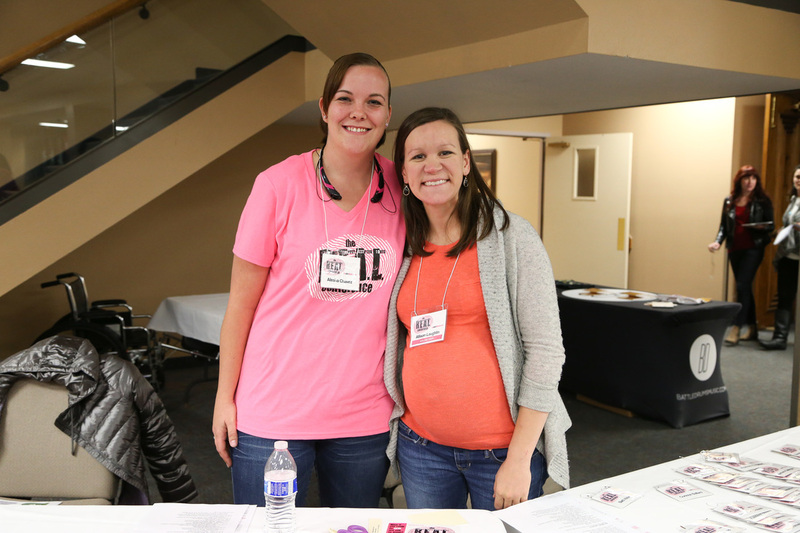 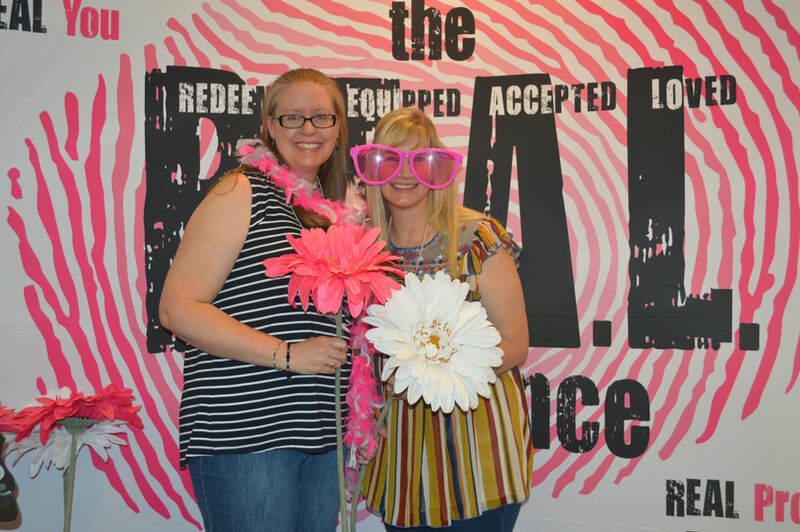 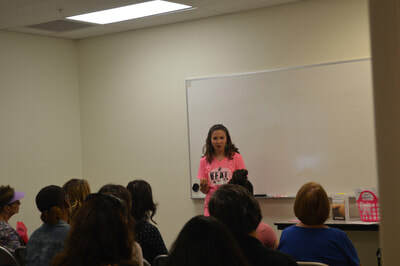 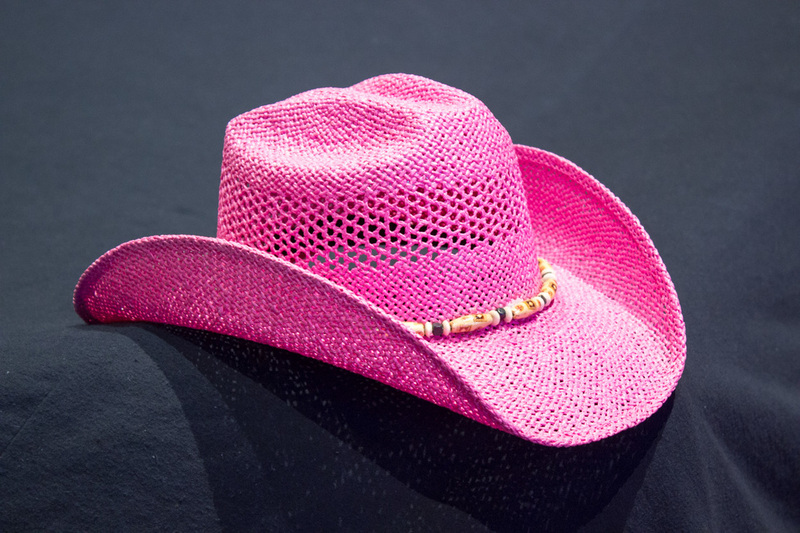 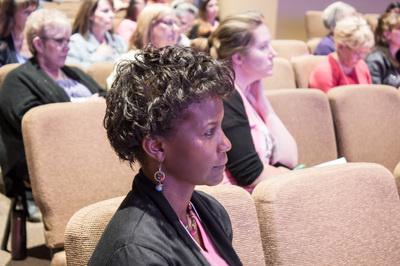 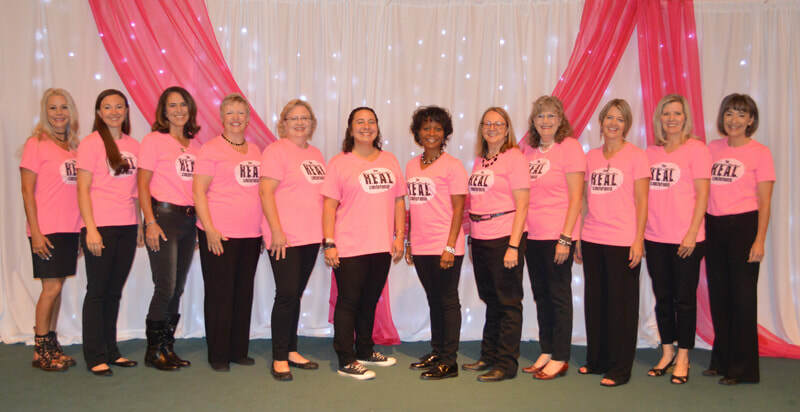 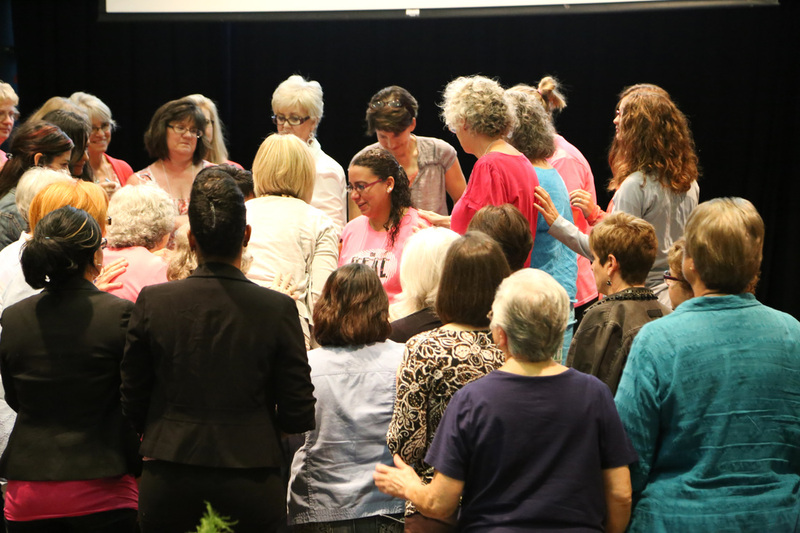 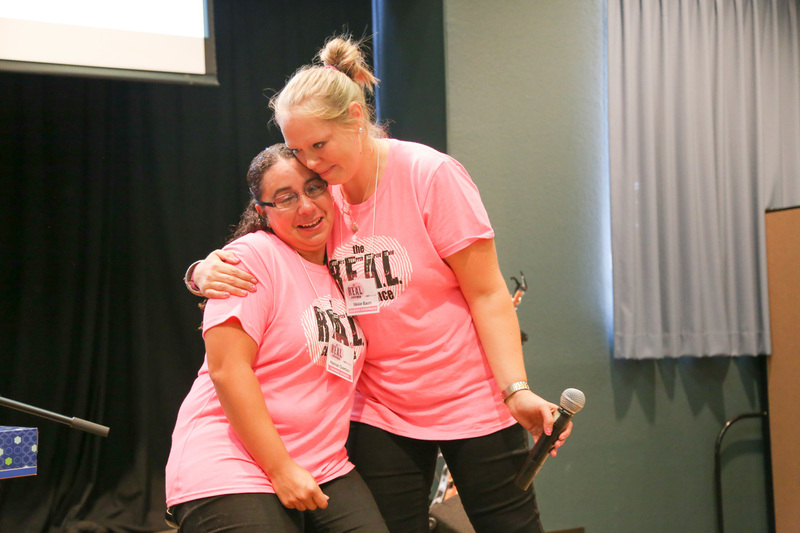 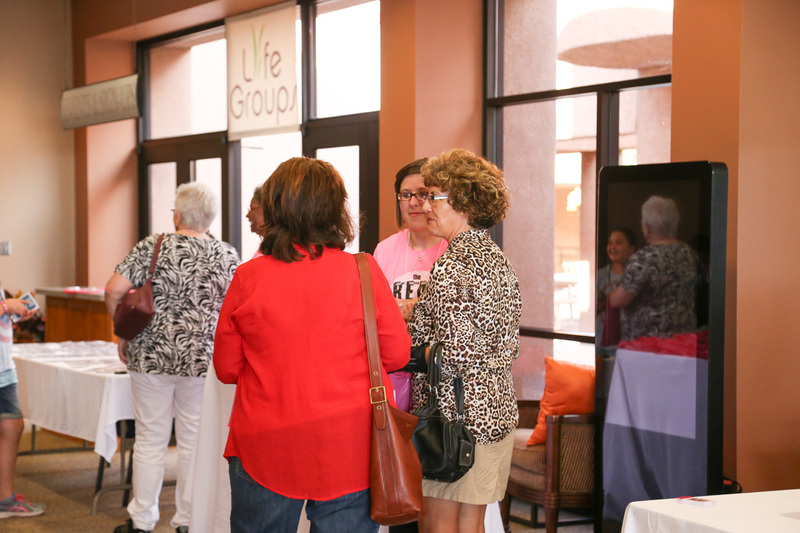 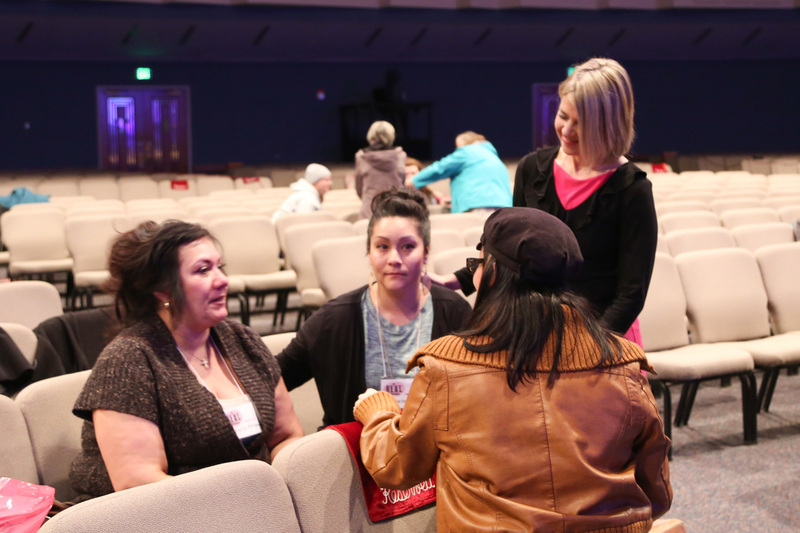 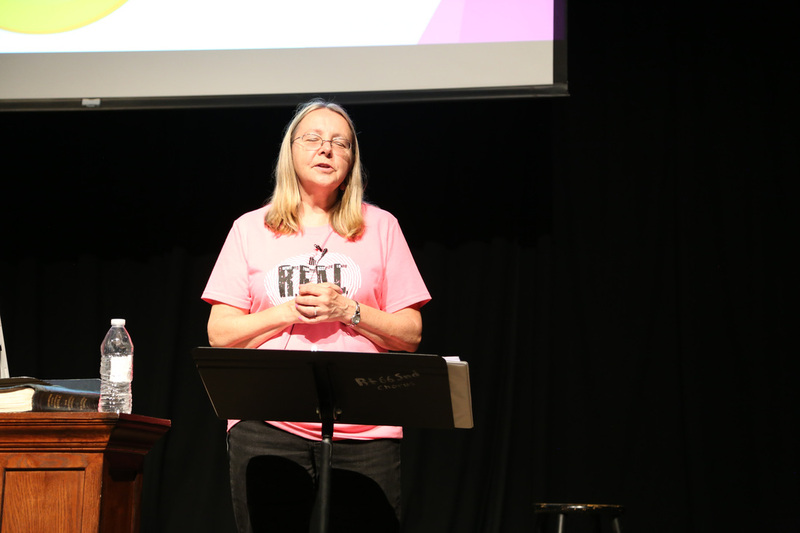 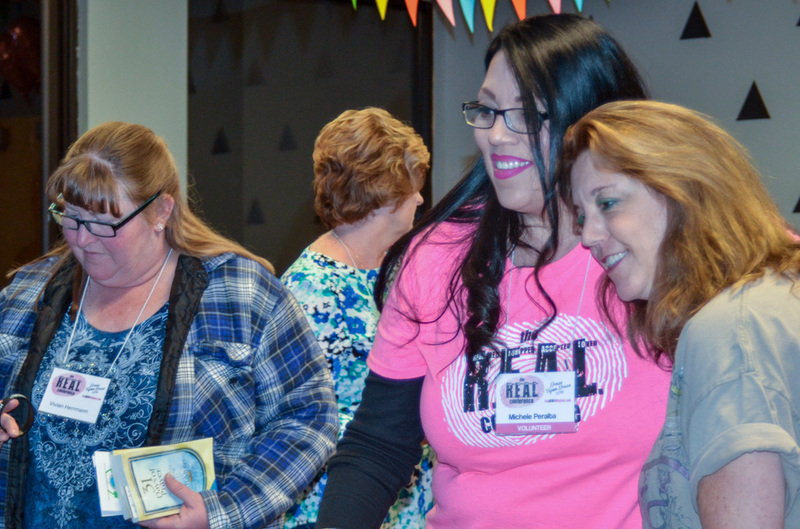 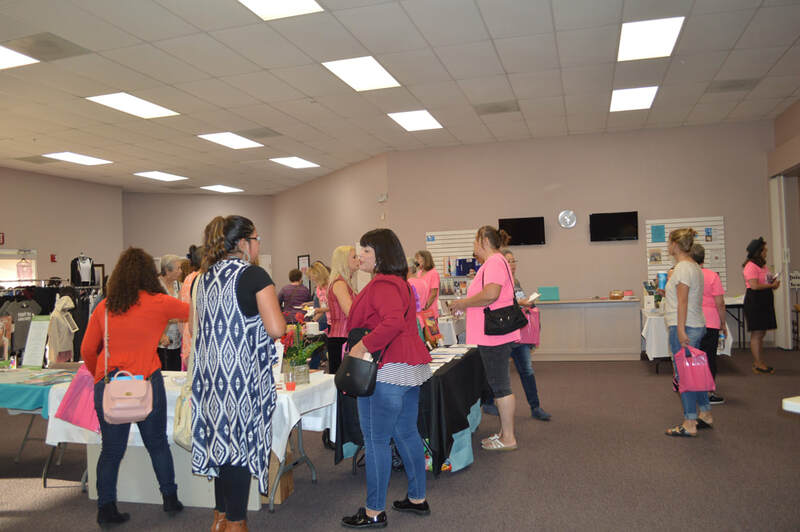 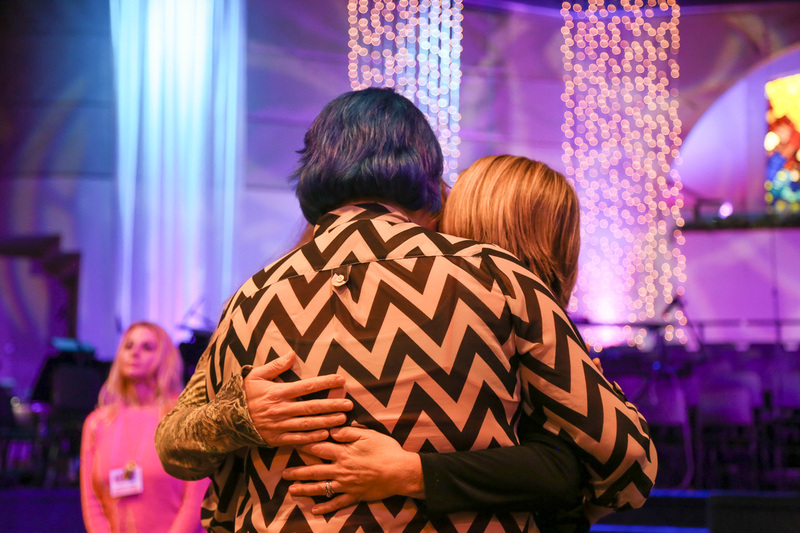 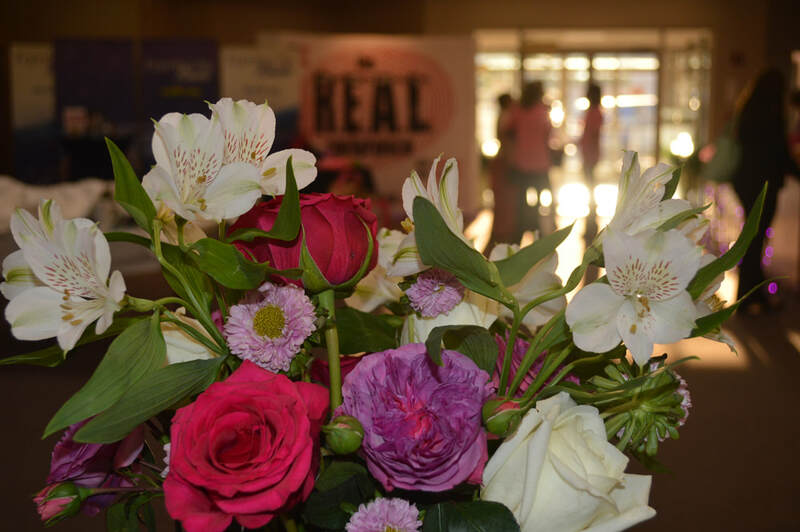 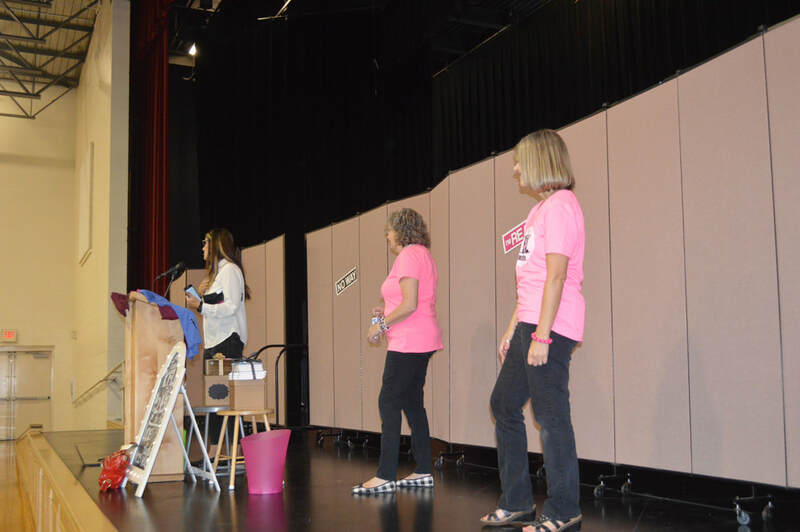 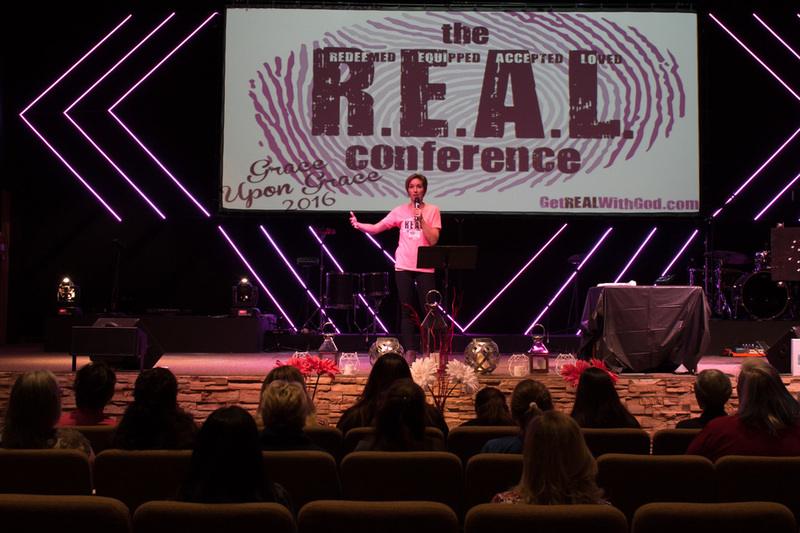 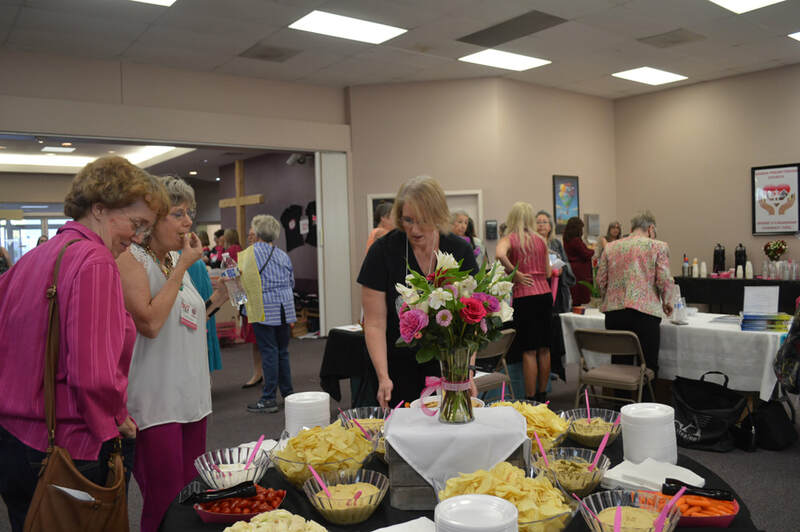 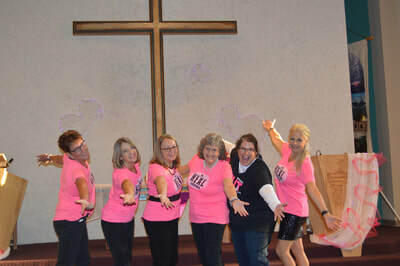 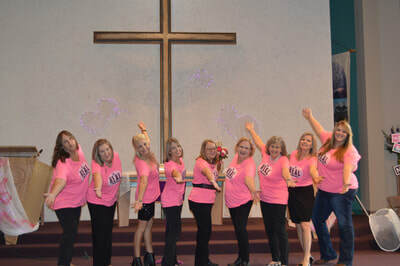 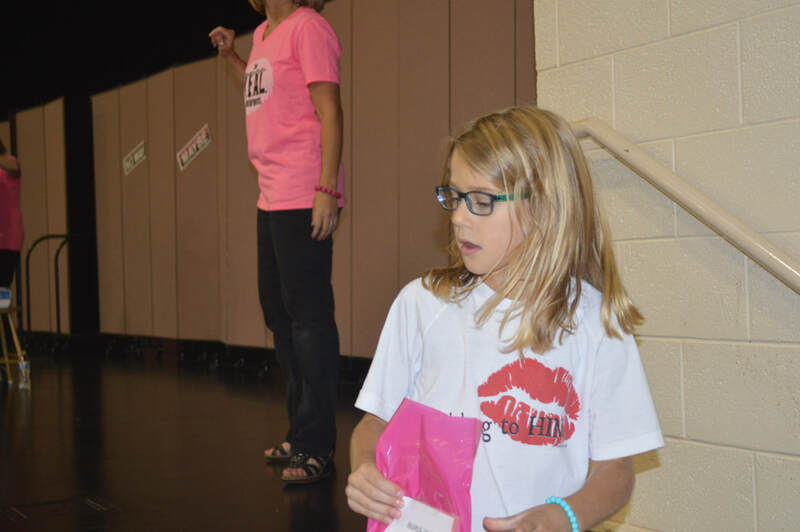 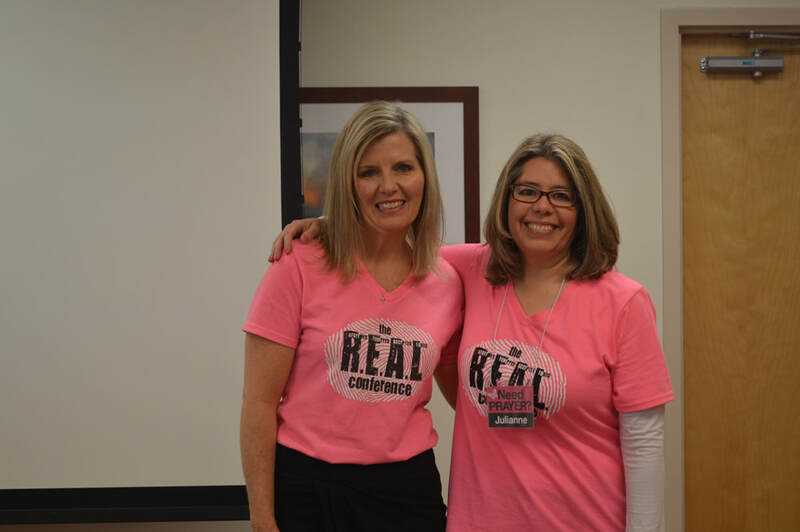 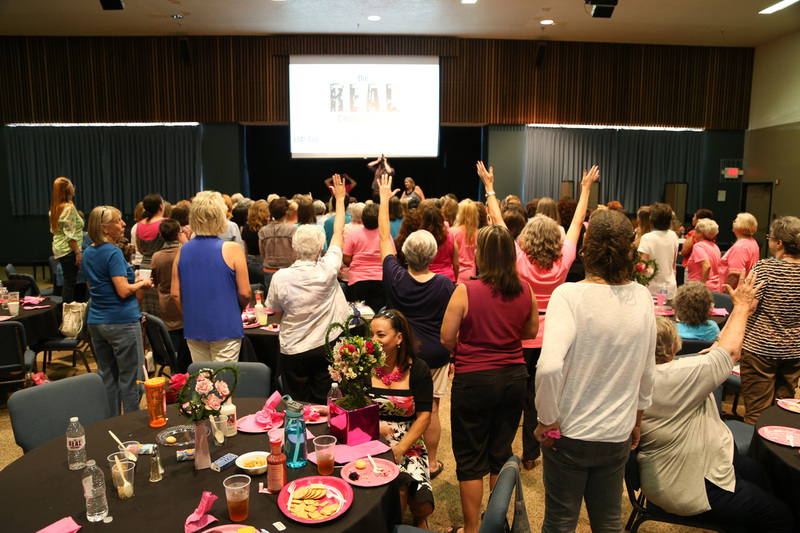 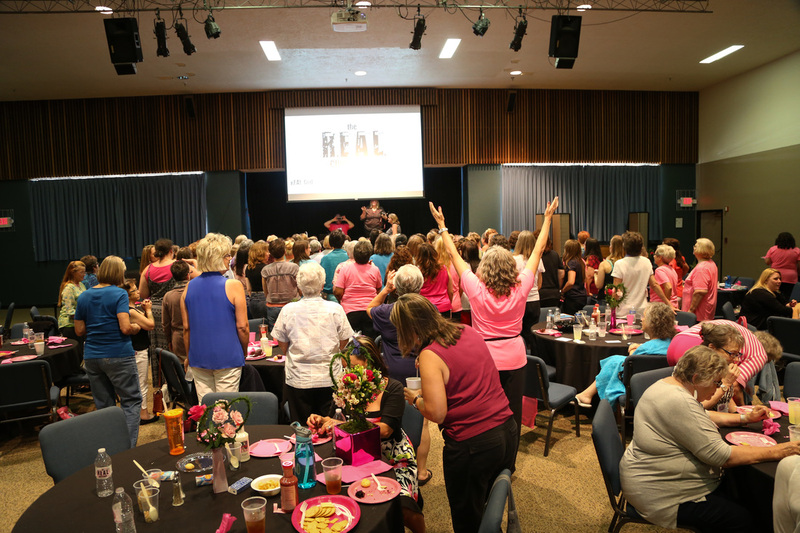 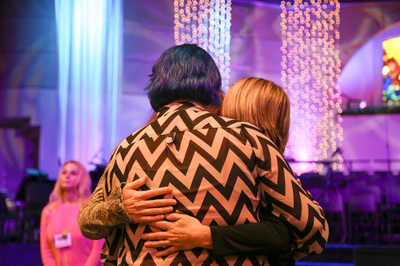 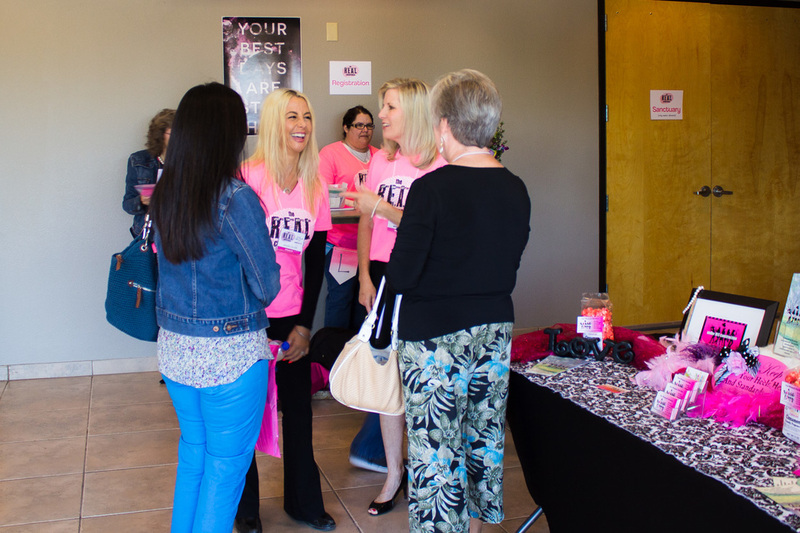 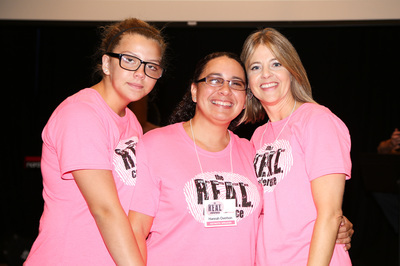 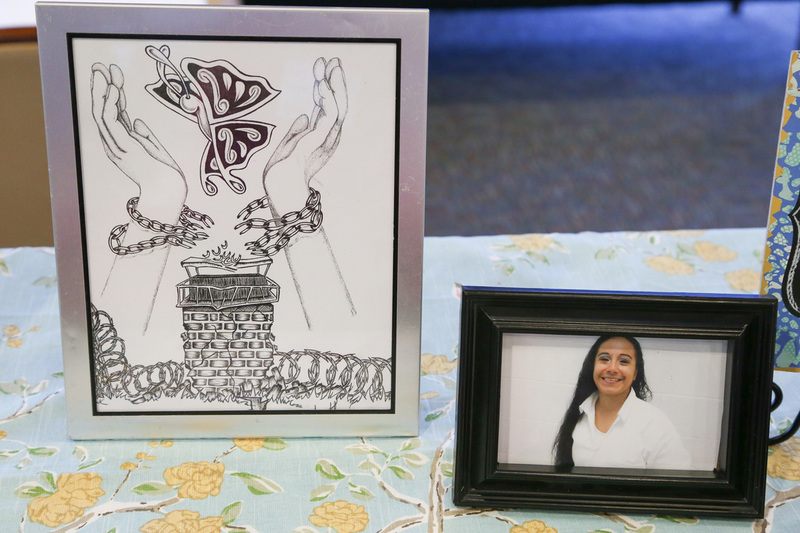 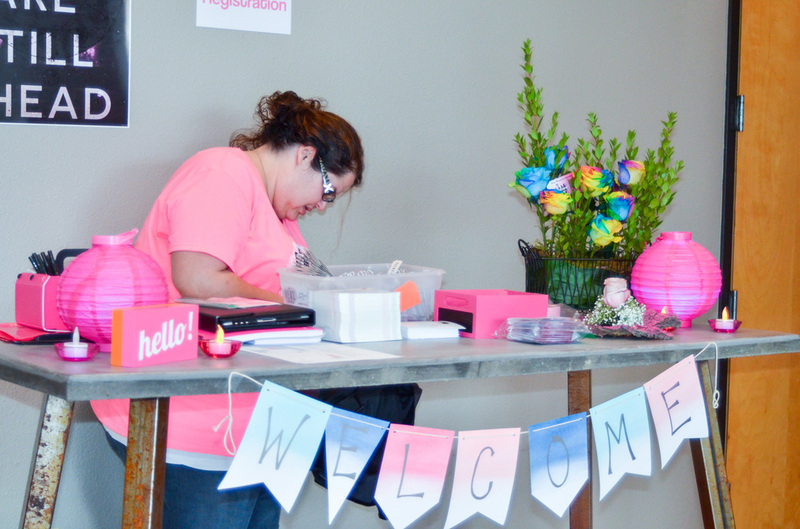 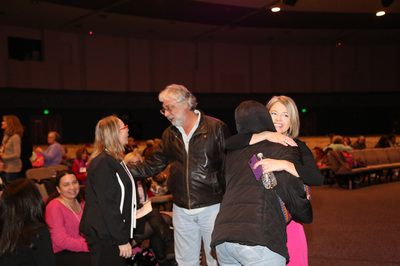 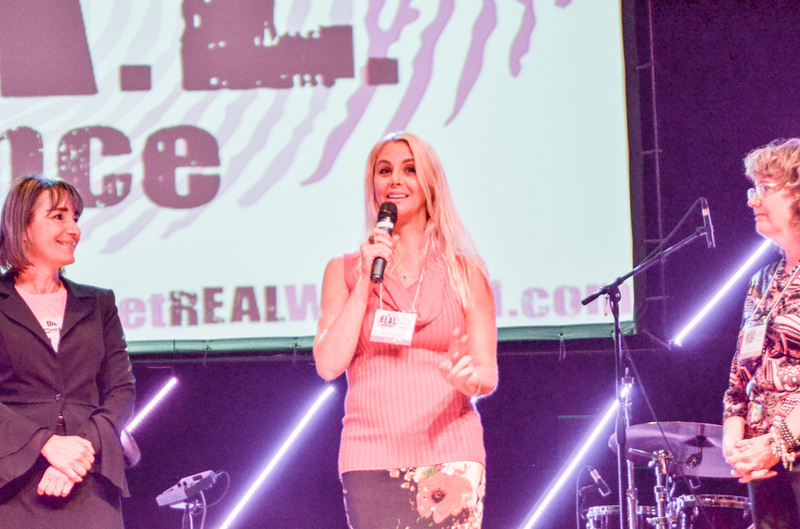 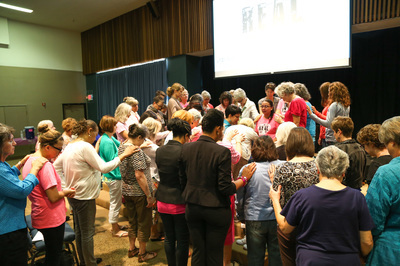 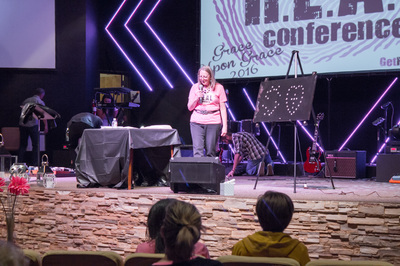 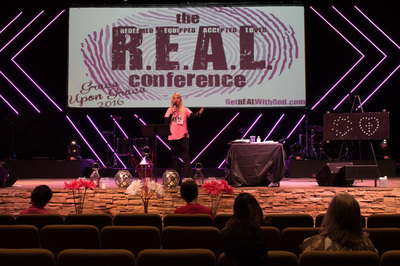 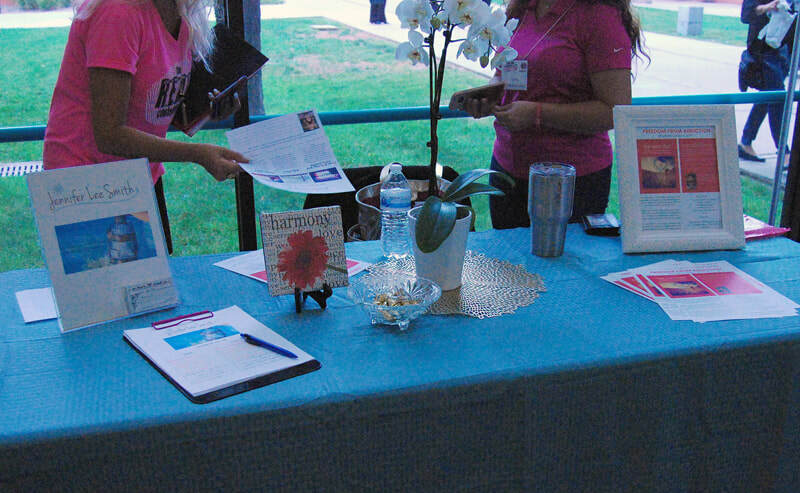 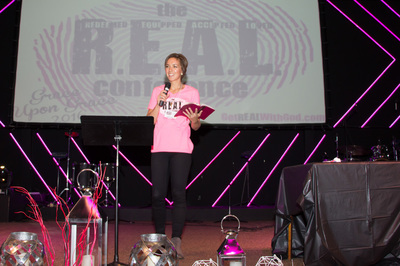 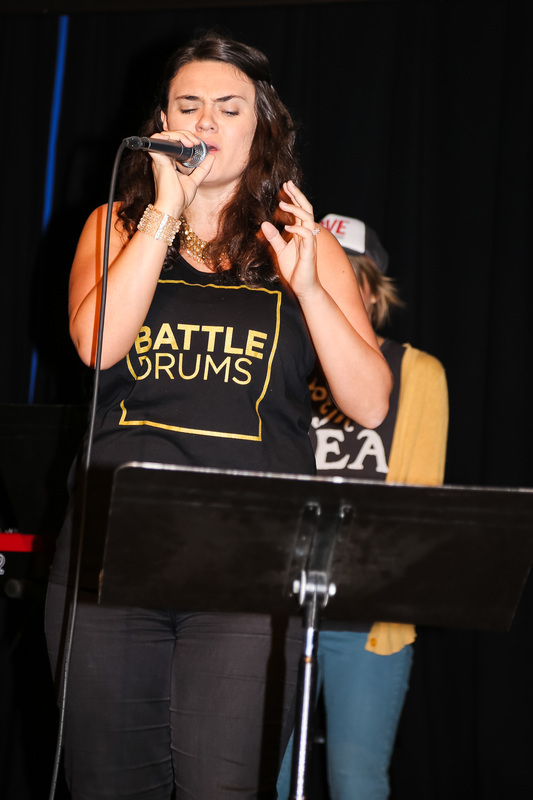 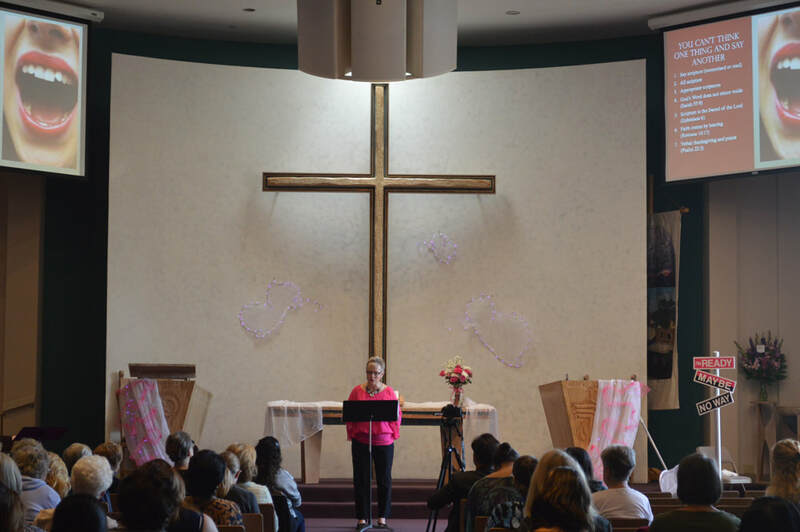 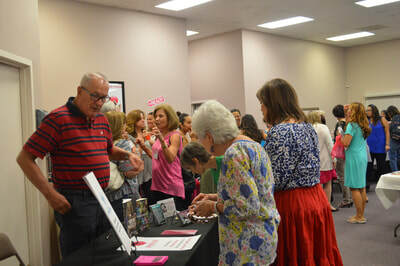 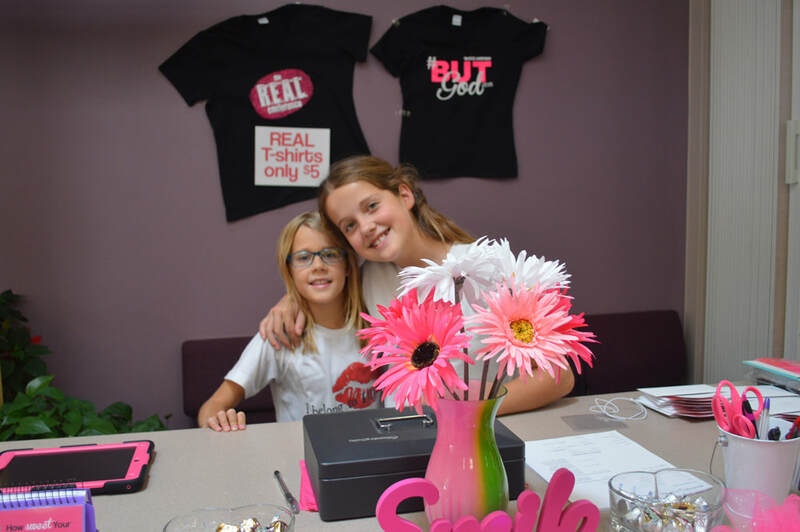 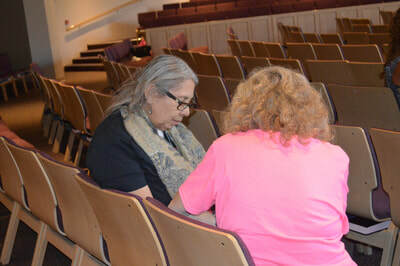 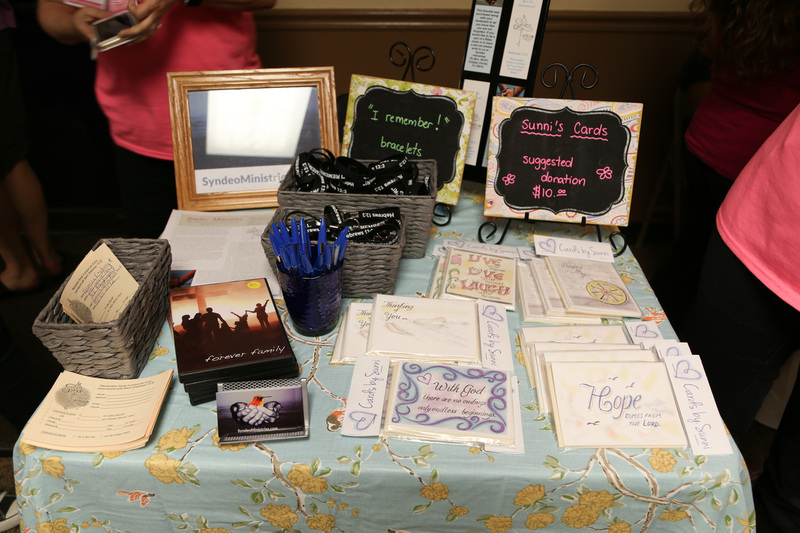 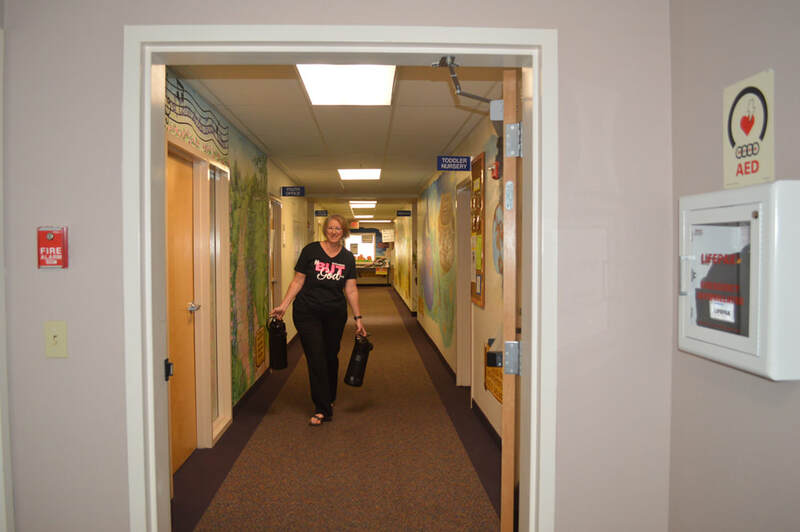 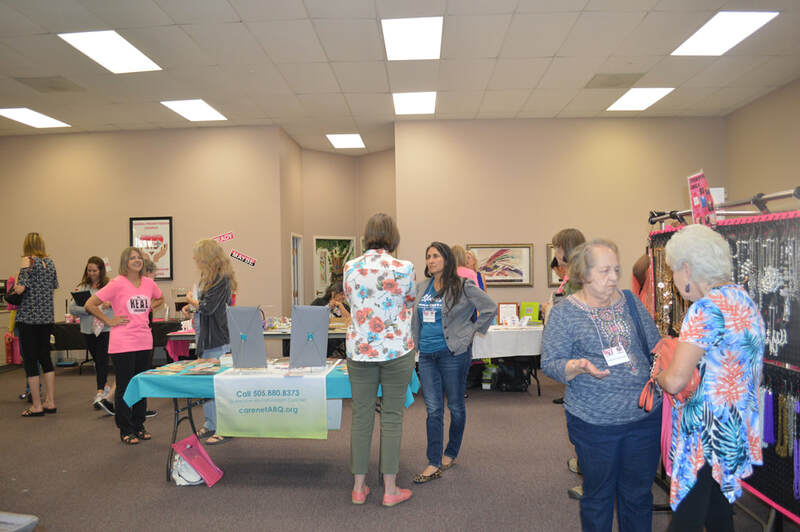 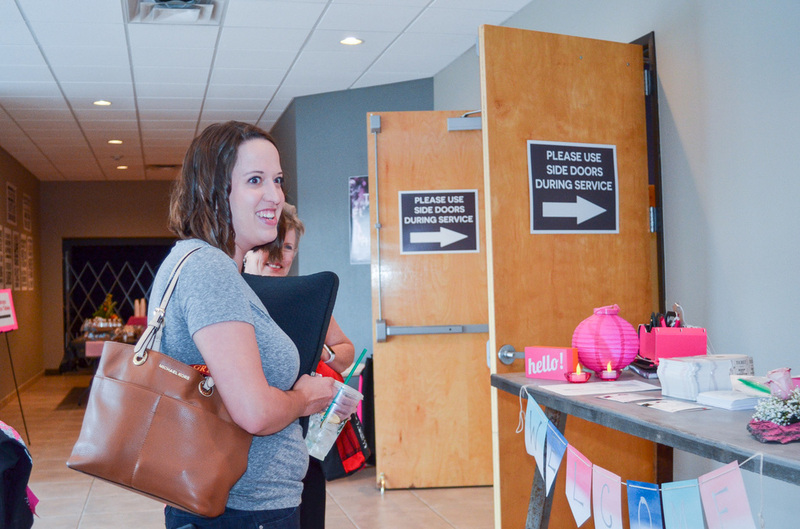 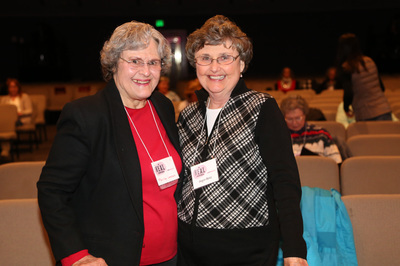 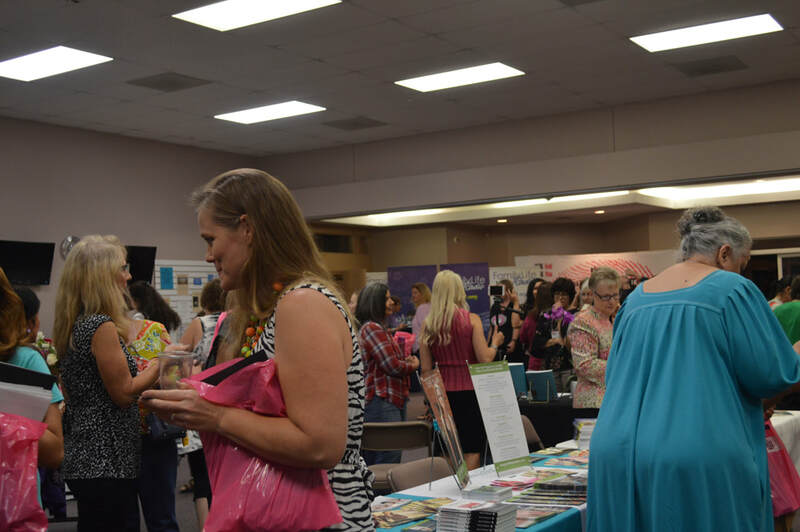 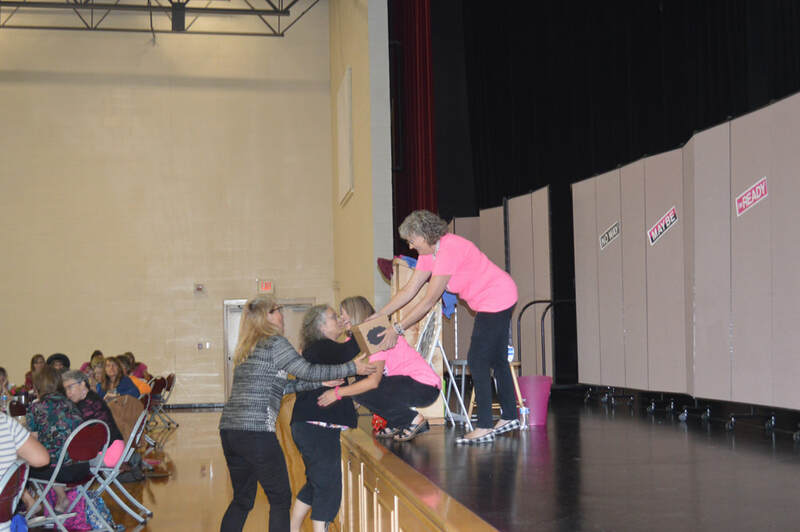 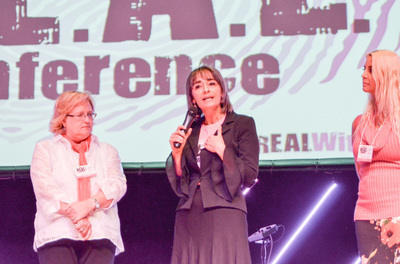 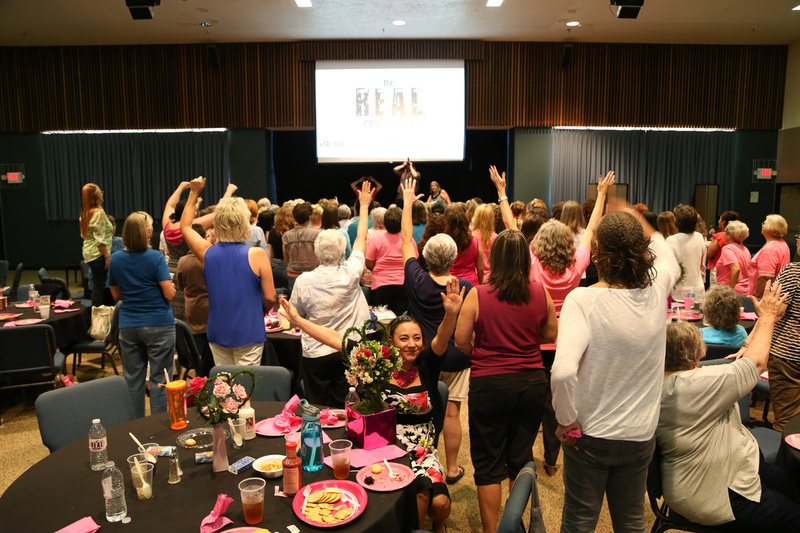 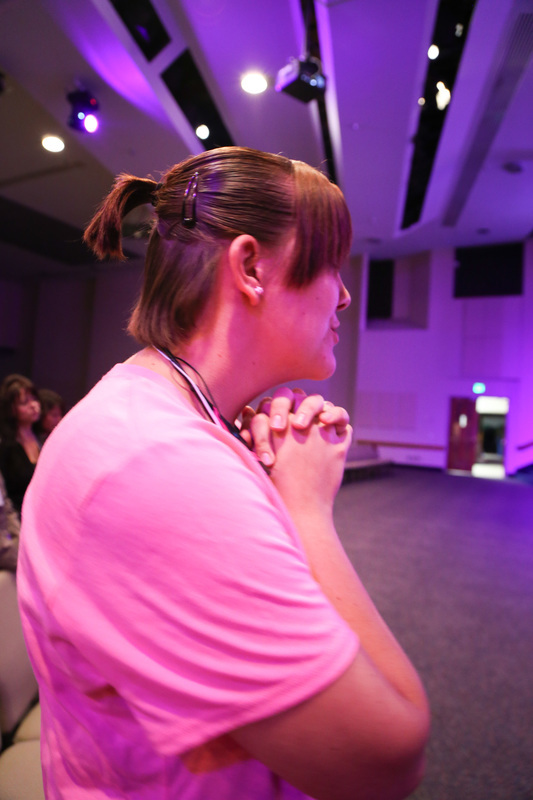 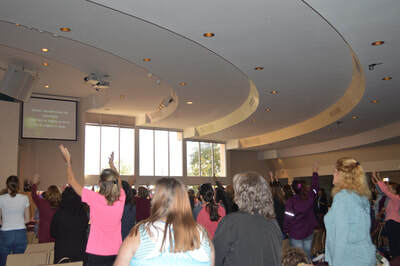 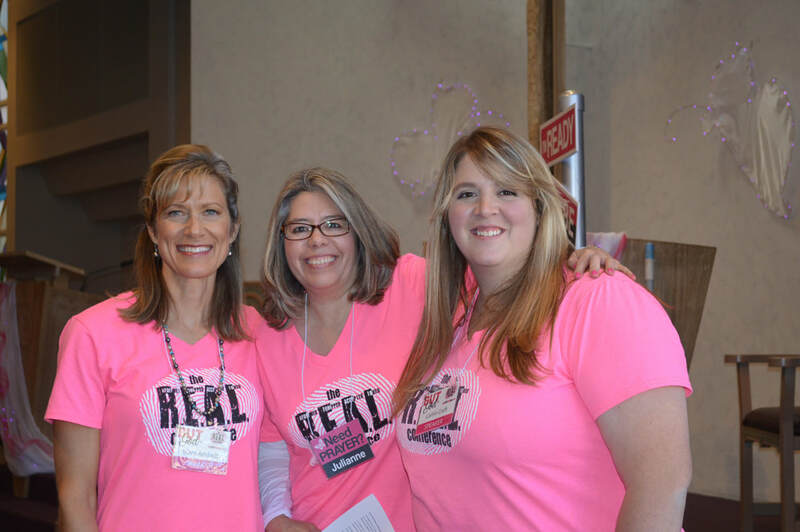 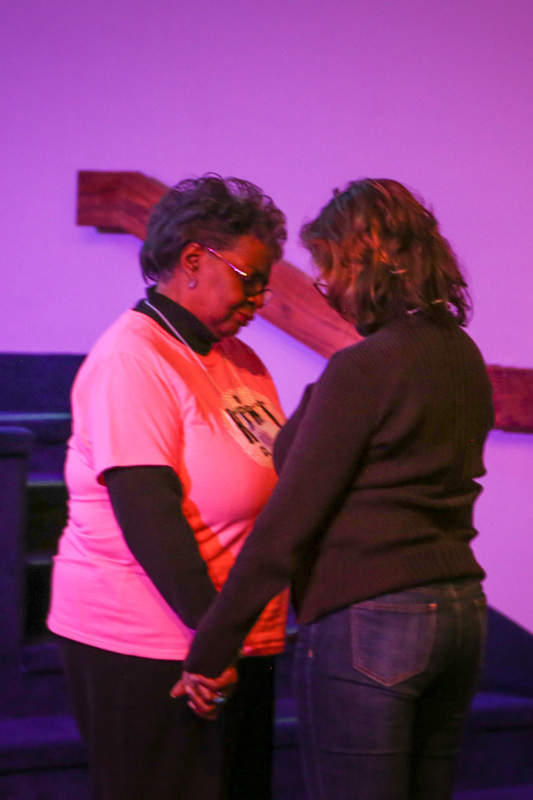 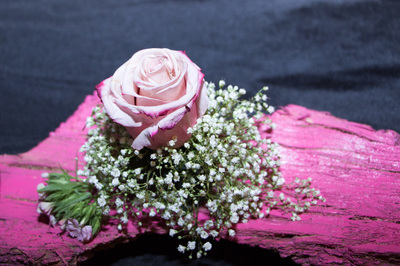 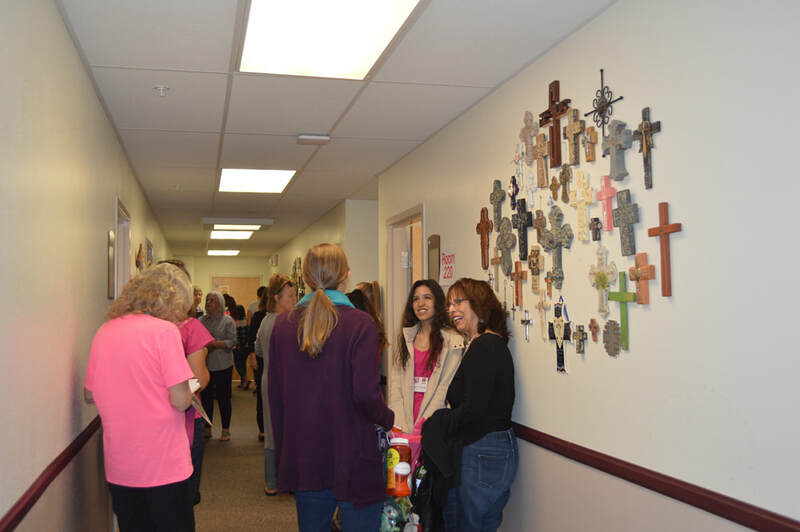 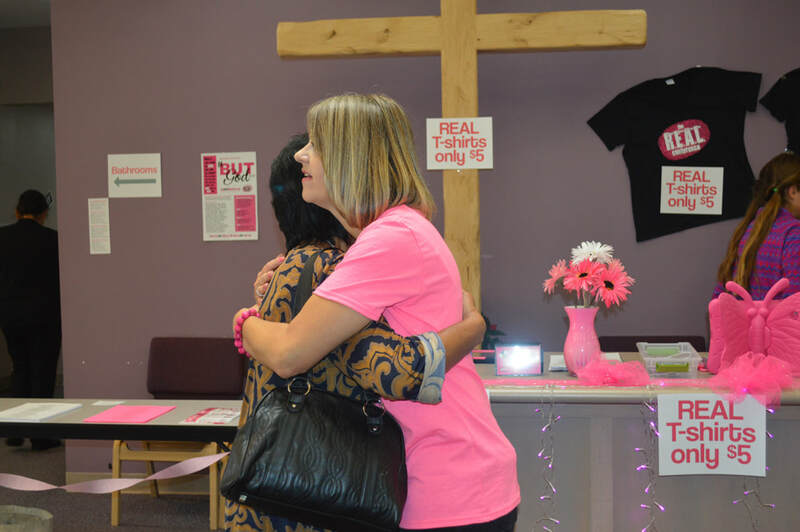 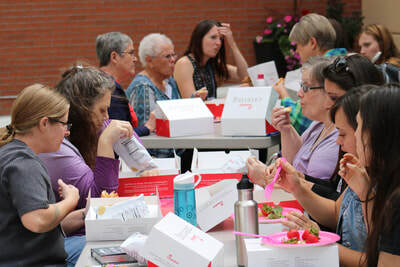 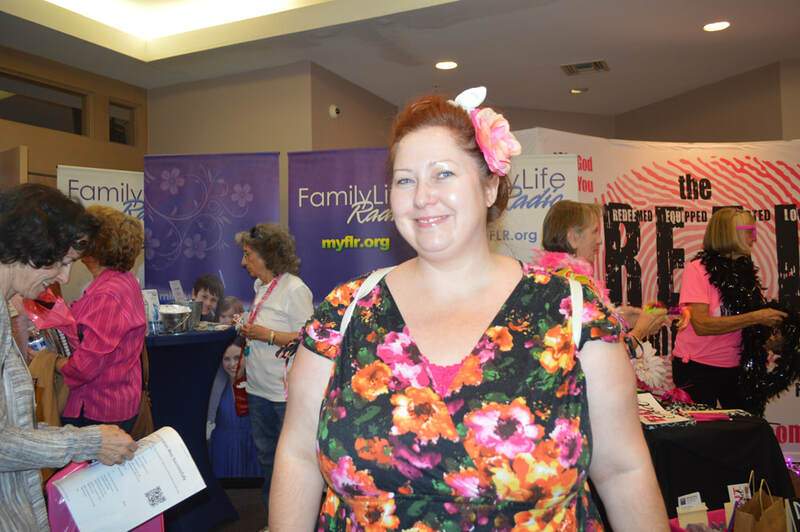 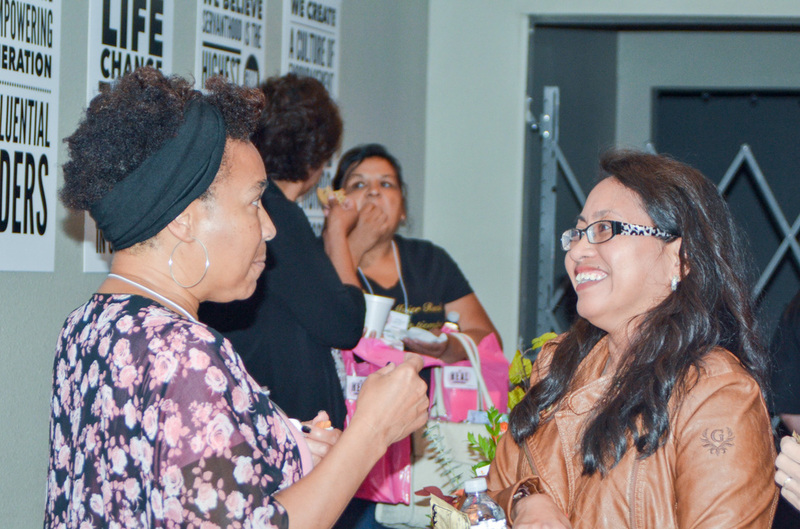 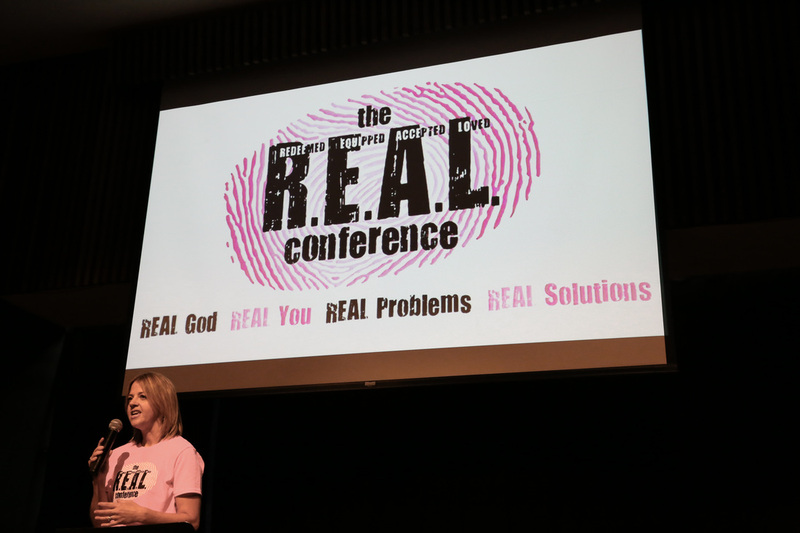 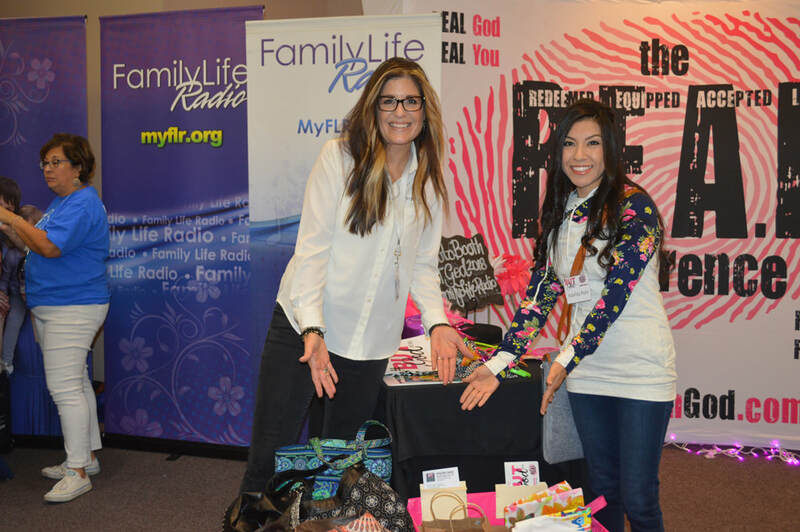 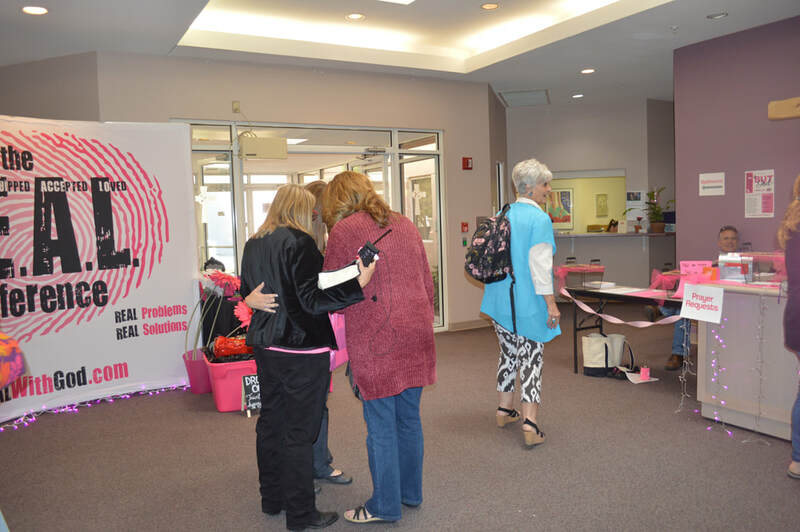 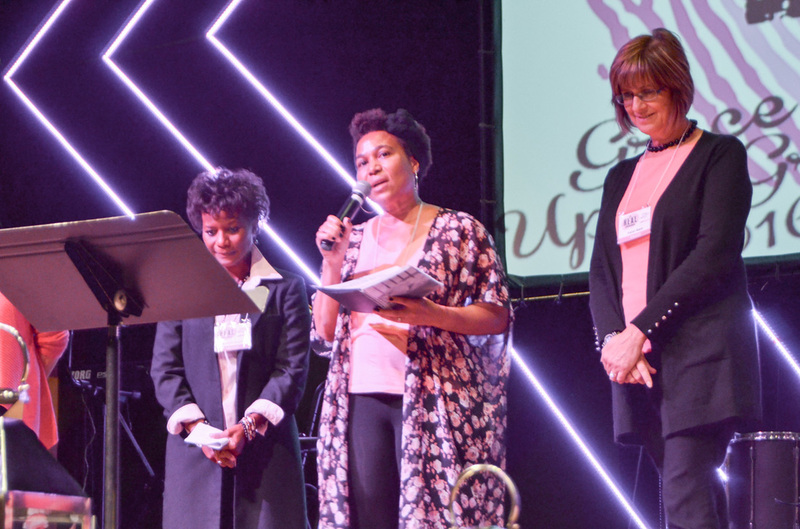 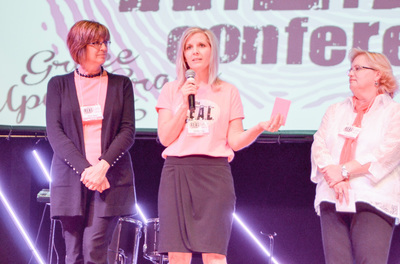 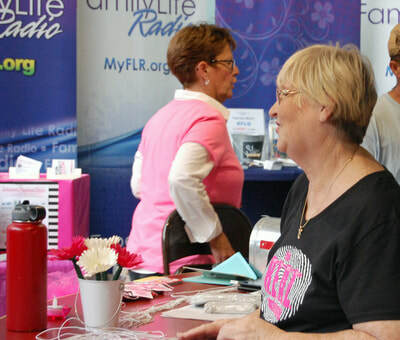 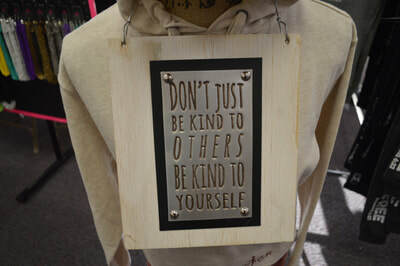 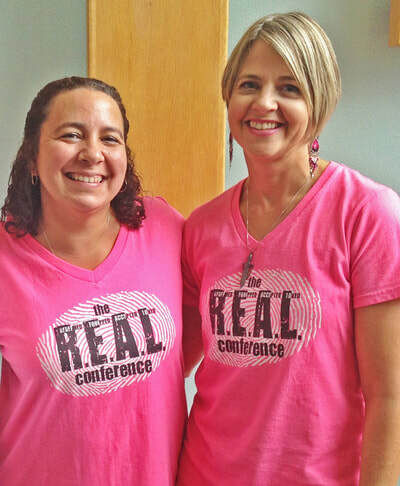 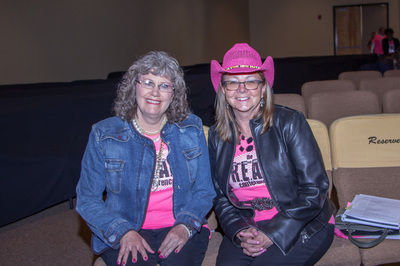 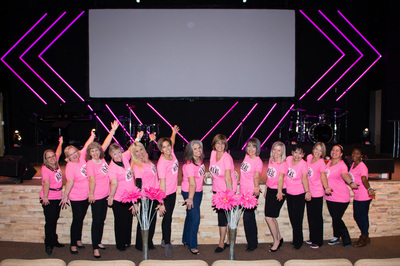 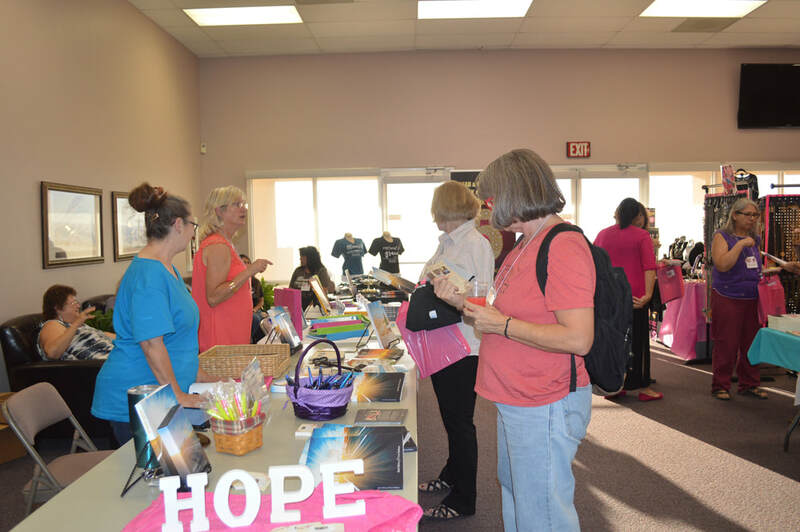 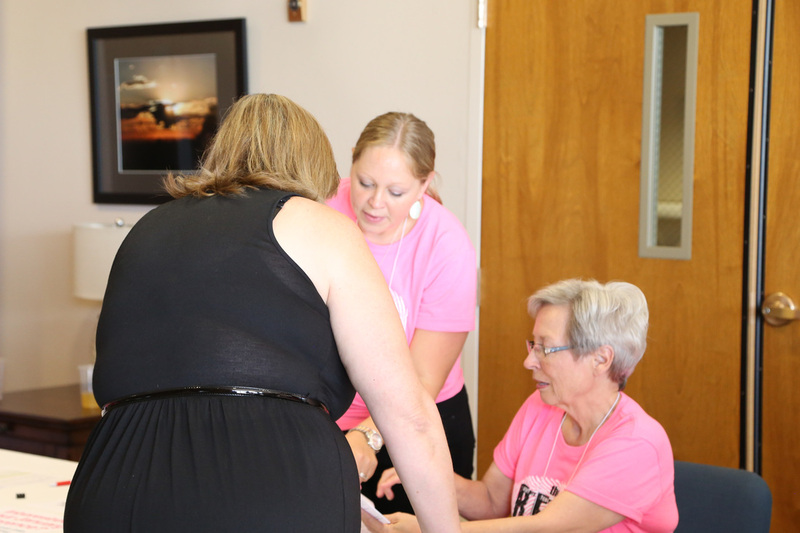 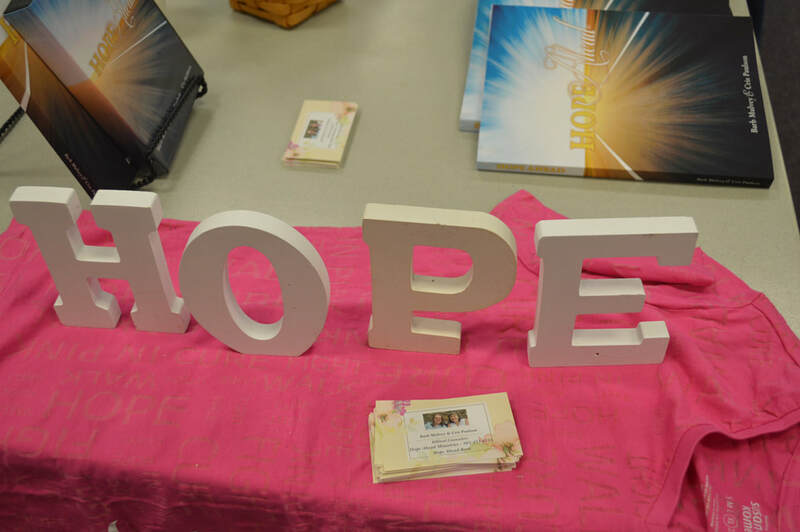 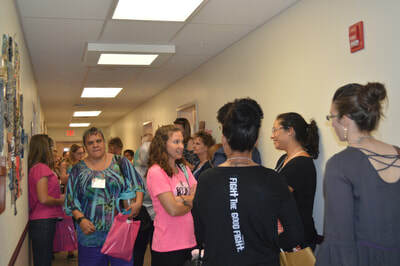 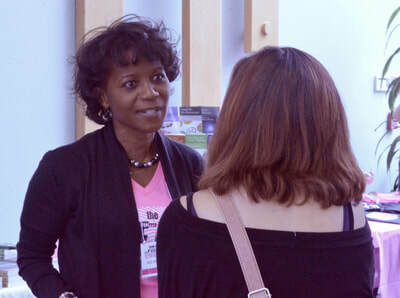 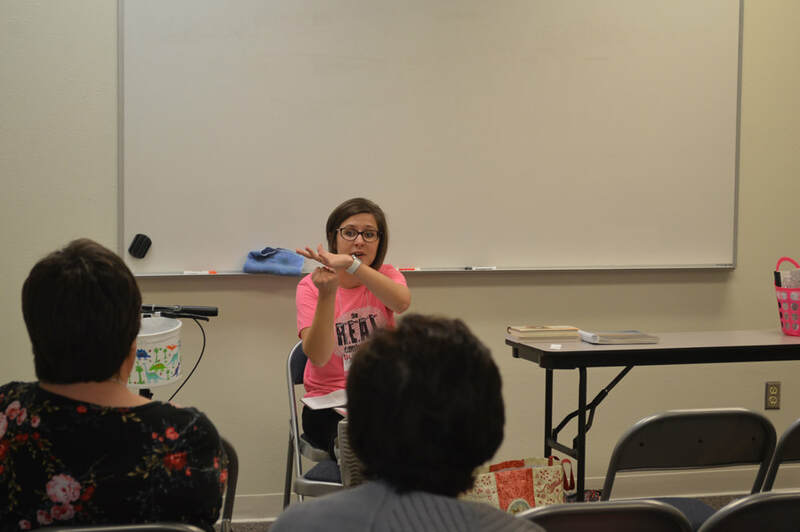 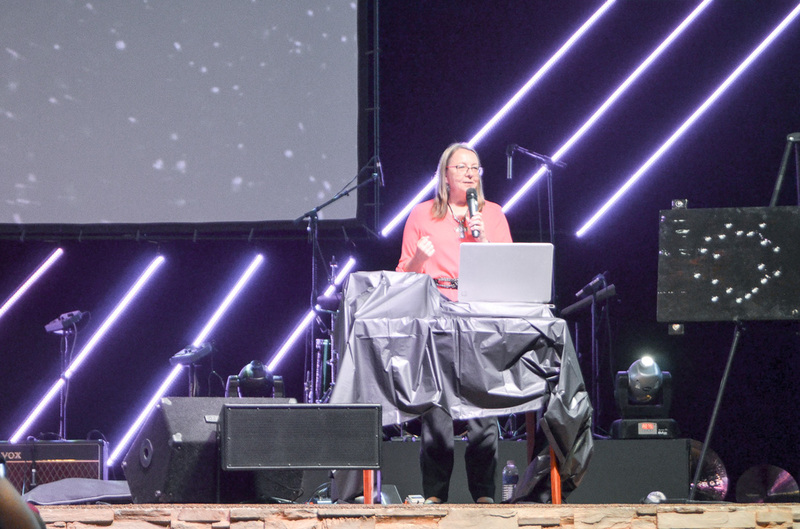 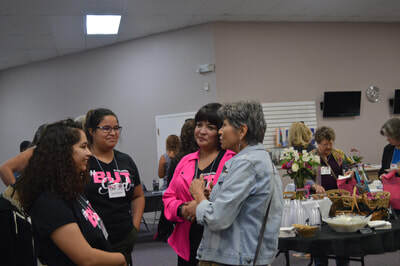 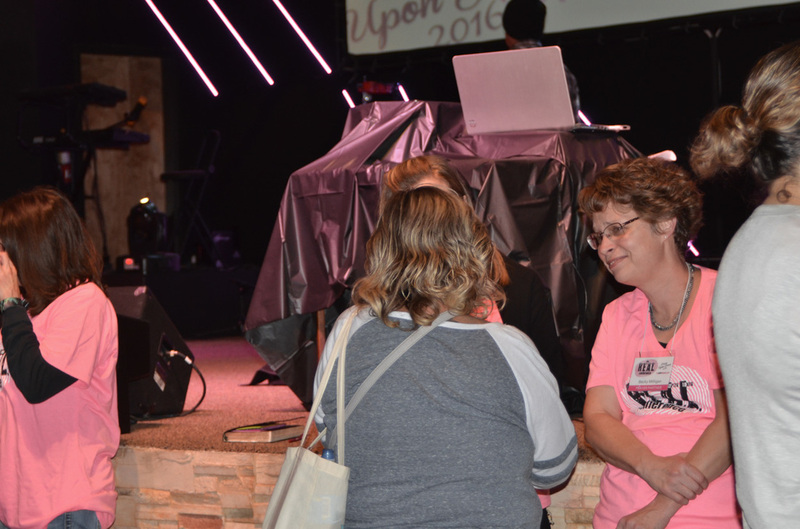 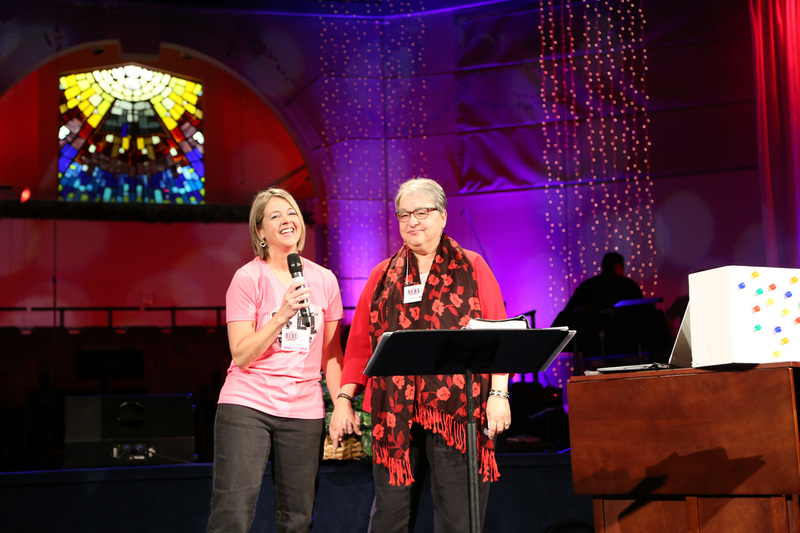 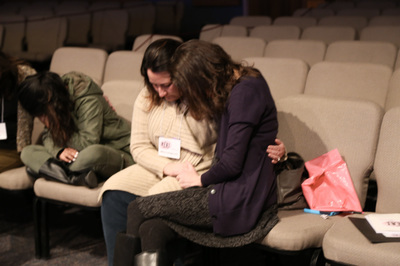 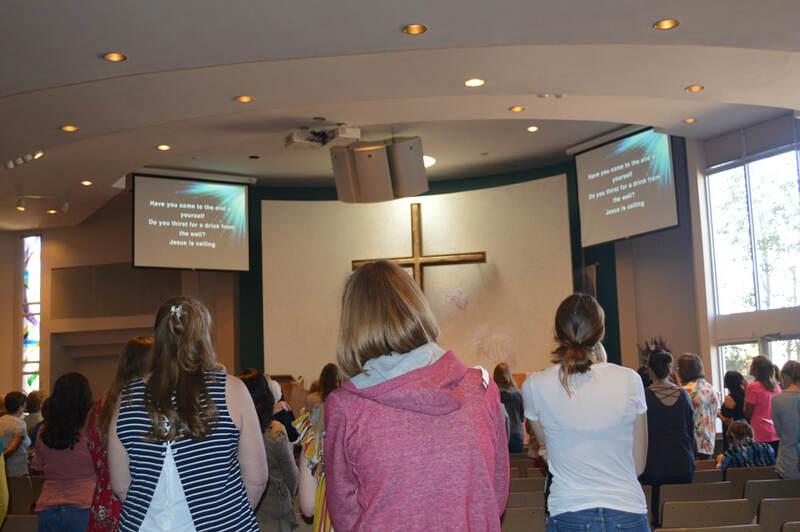 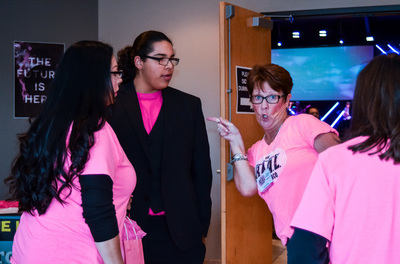 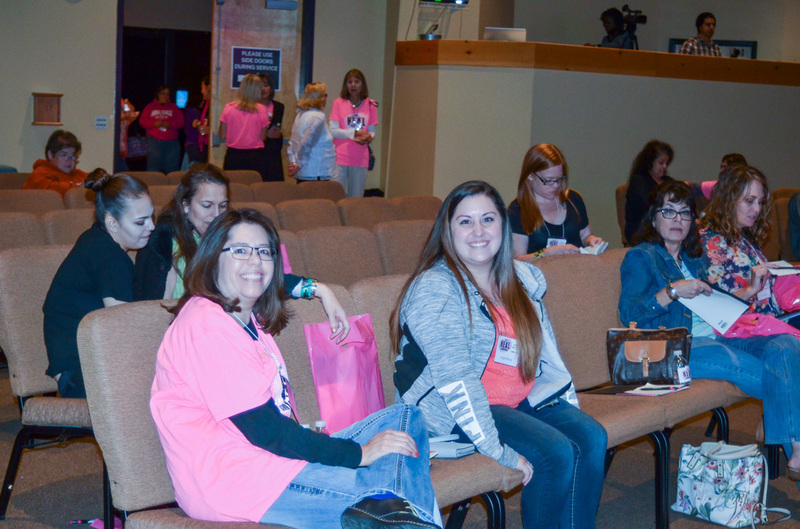 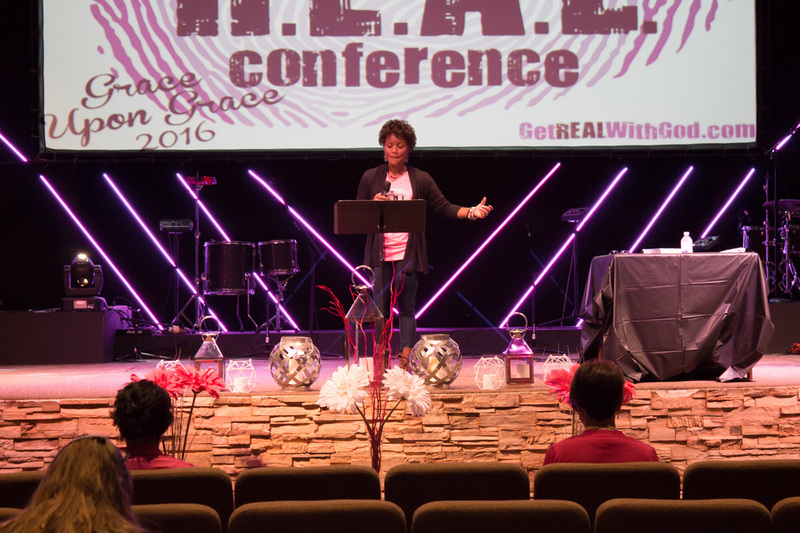 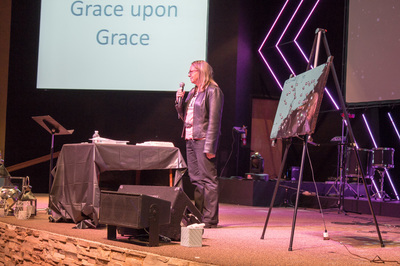 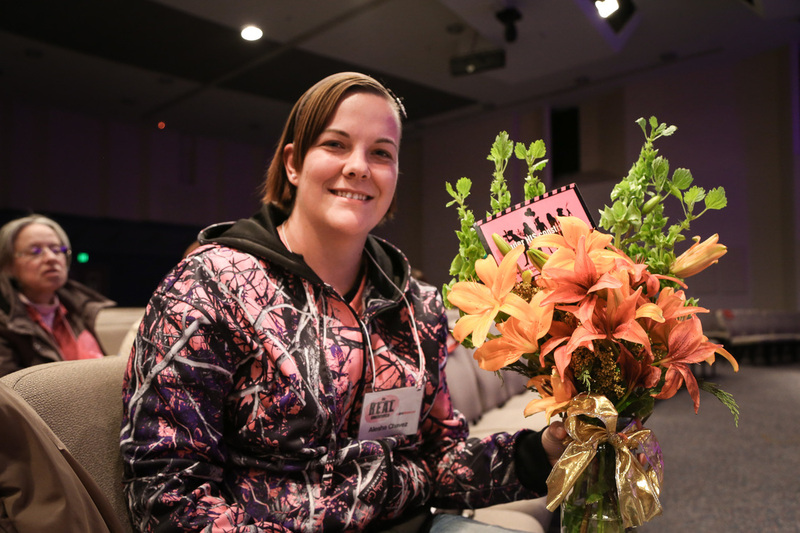 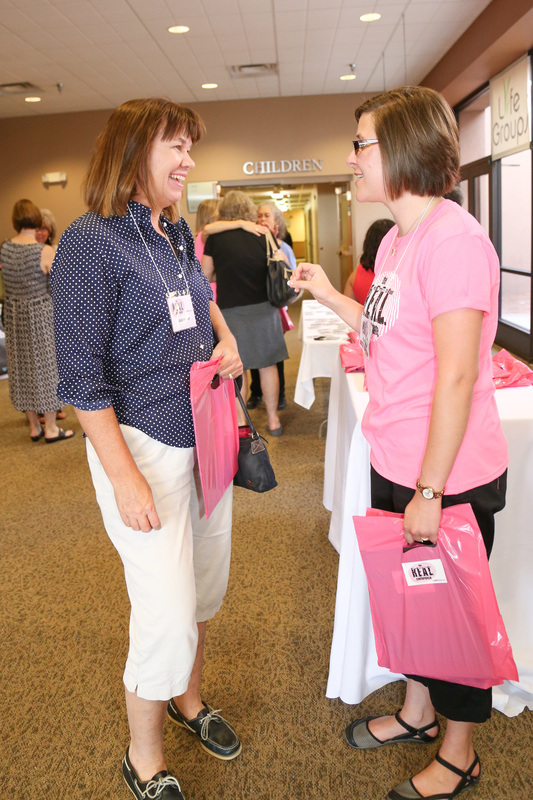 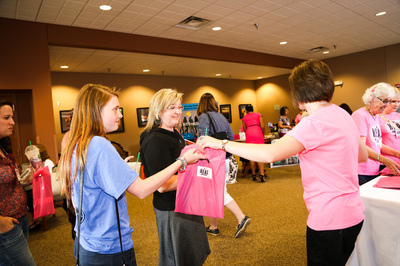 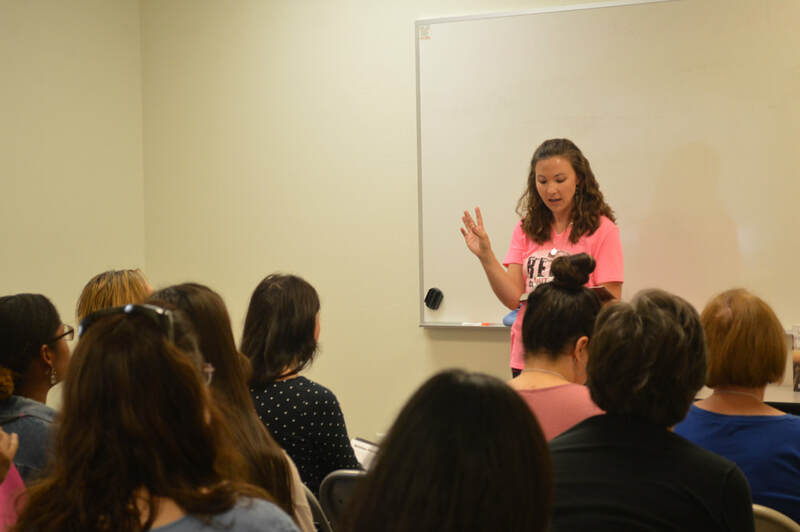 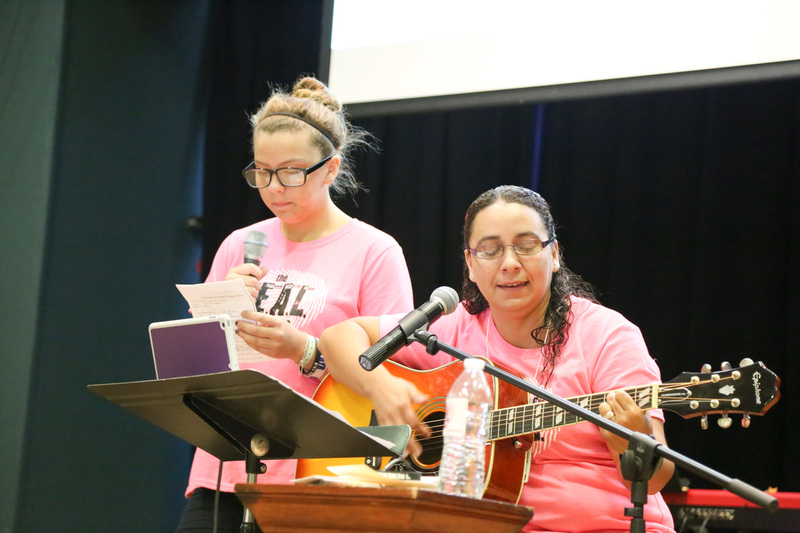 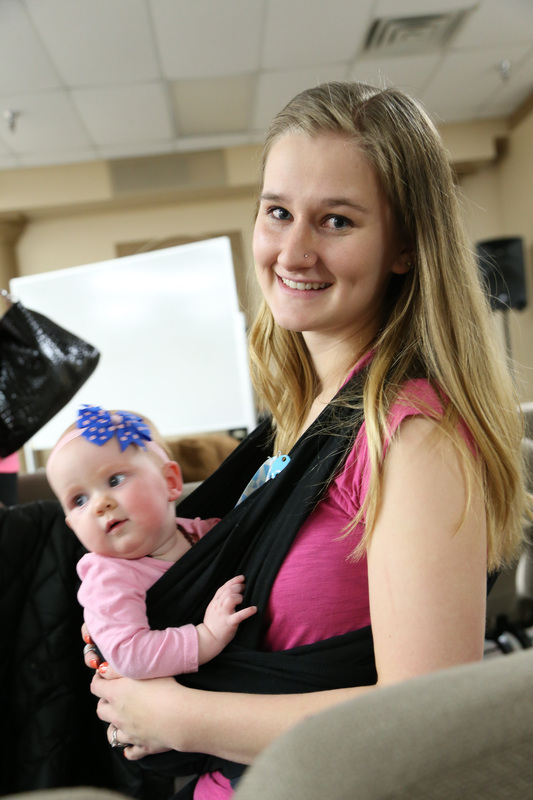 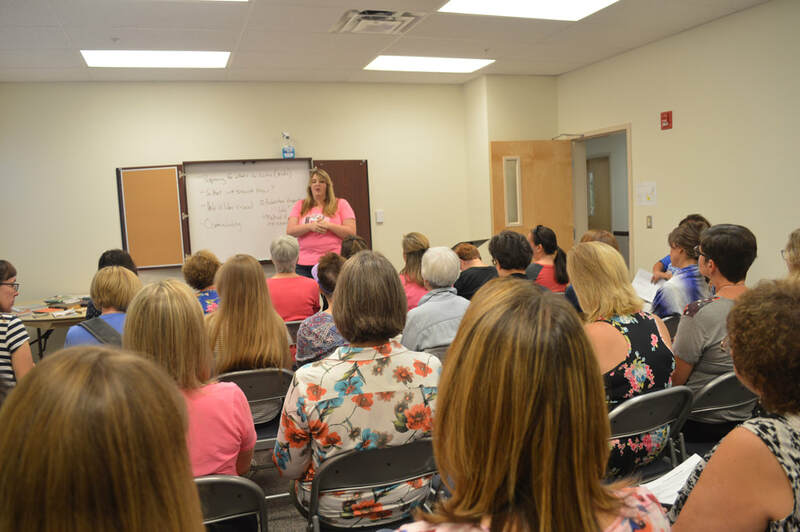 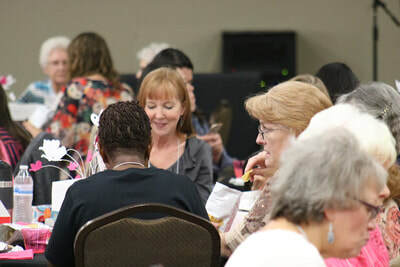 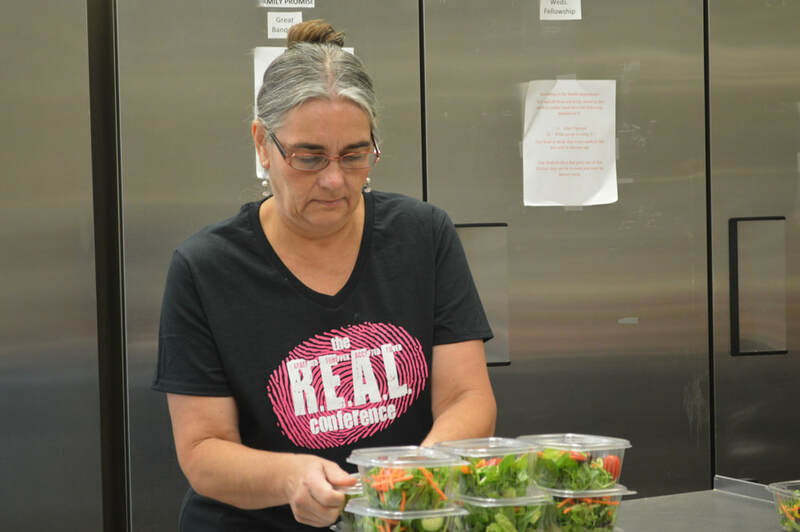 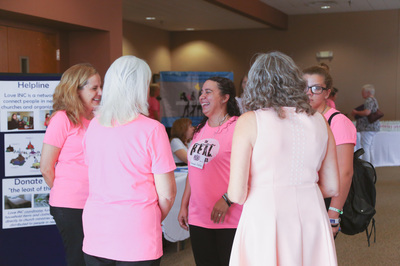 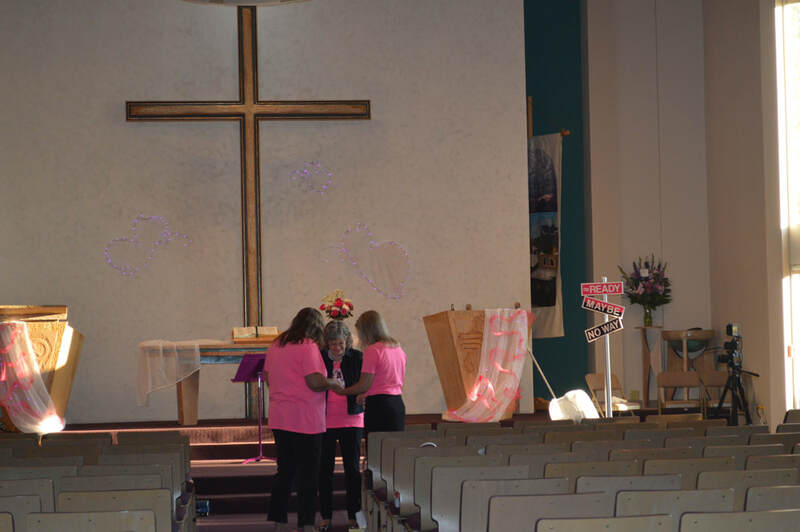 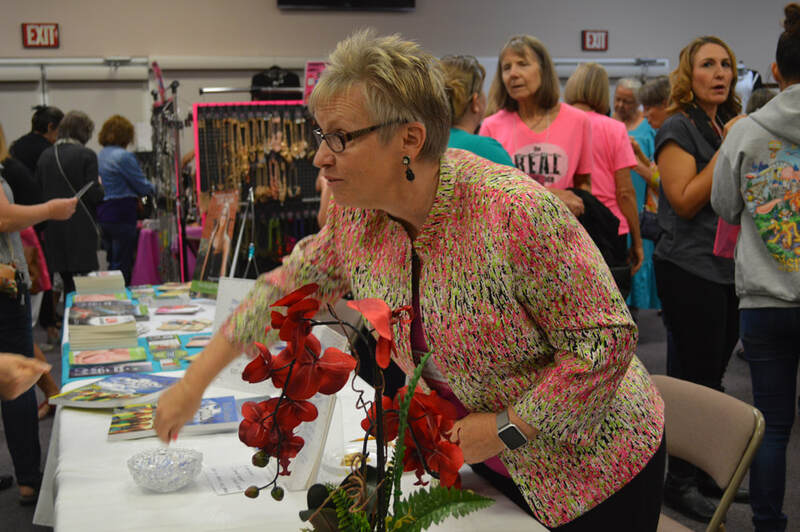 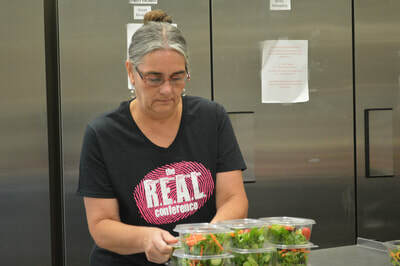 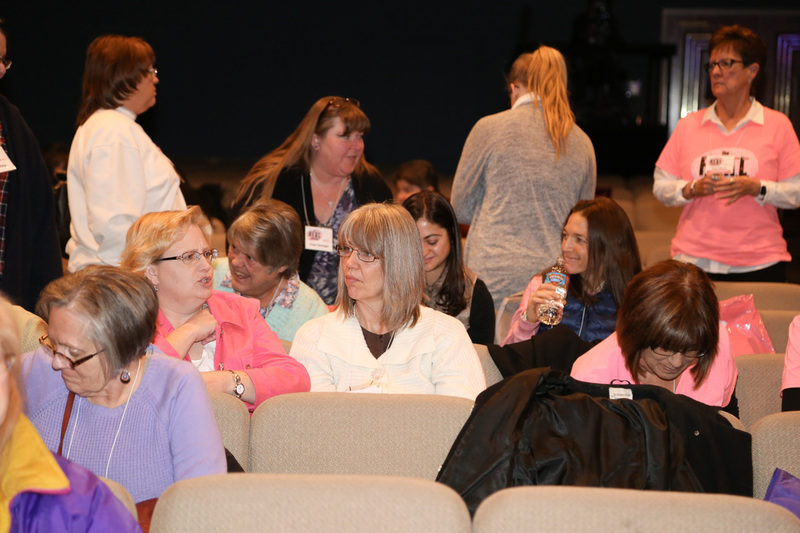 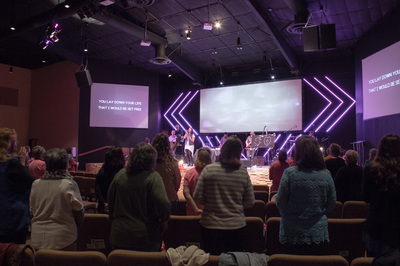 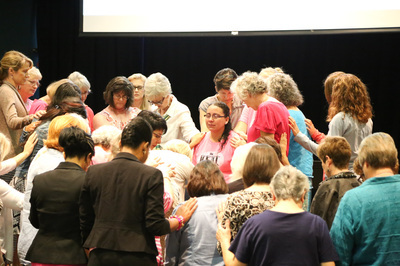 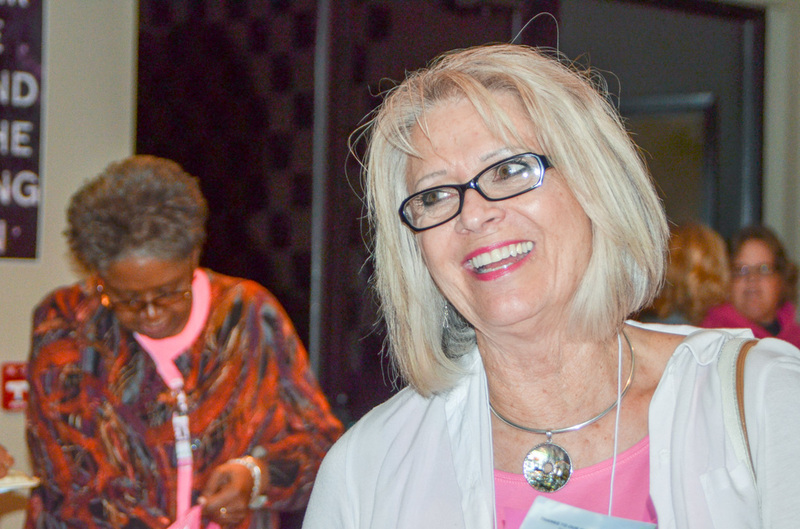 Women got REAL with God, REAL with each other and found healing through Barb Mulvey's teaching, Hannah Overton's testimony and the Word of God. 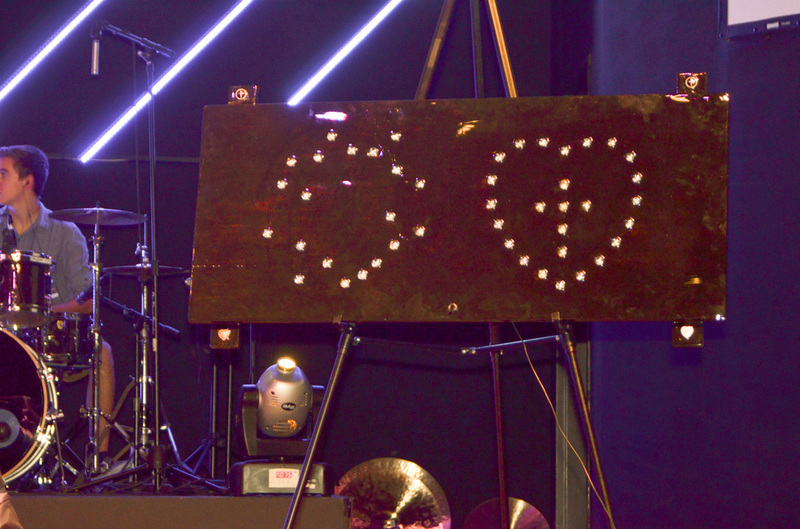 The worship brought us into God's presence and the 17 workshop choices were the most we've ever had! 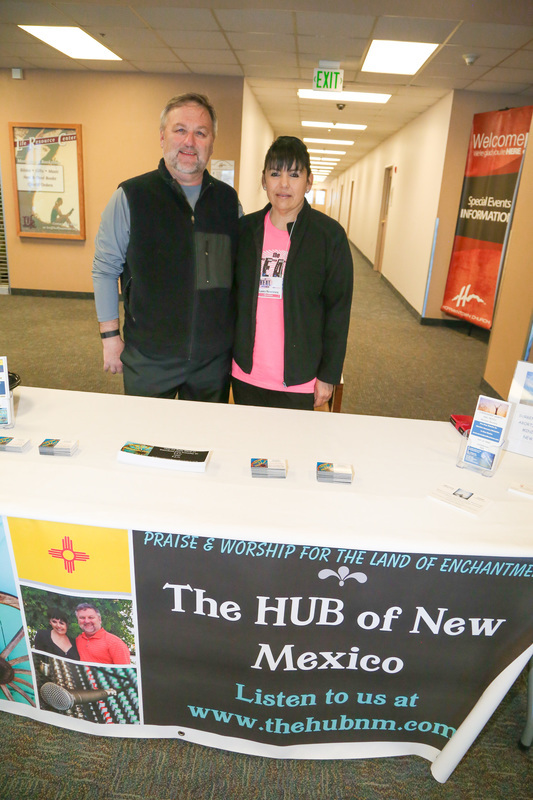 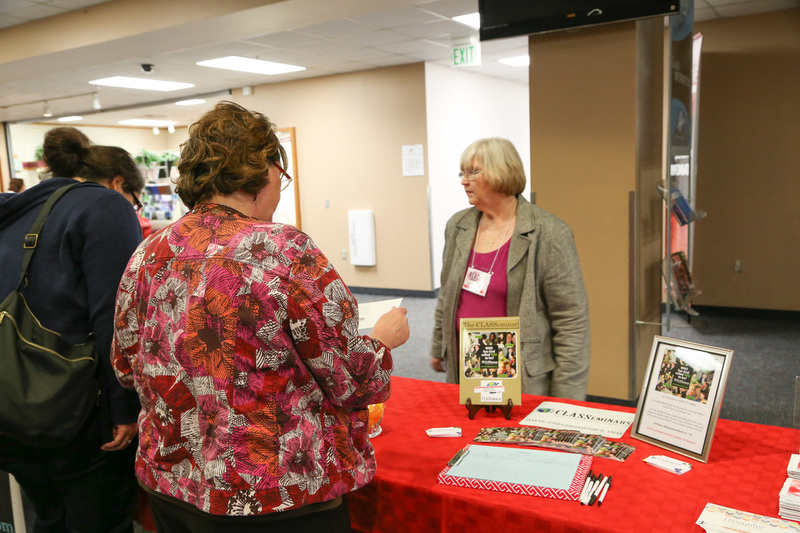 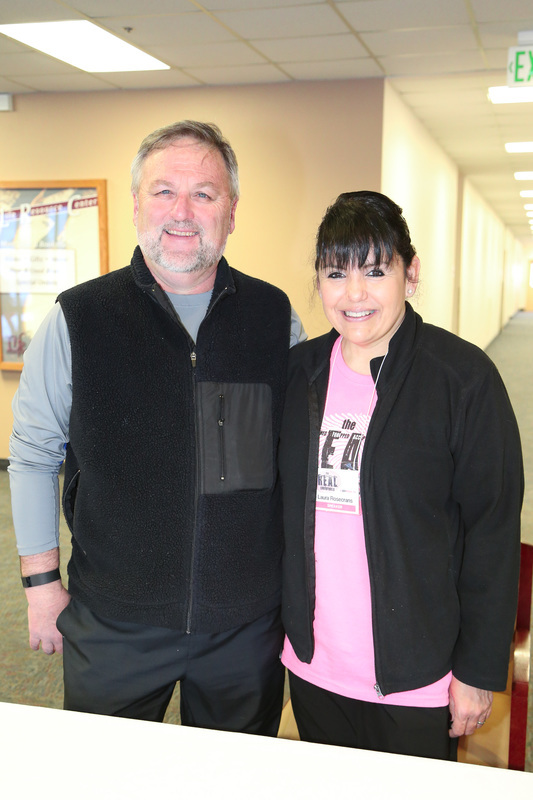 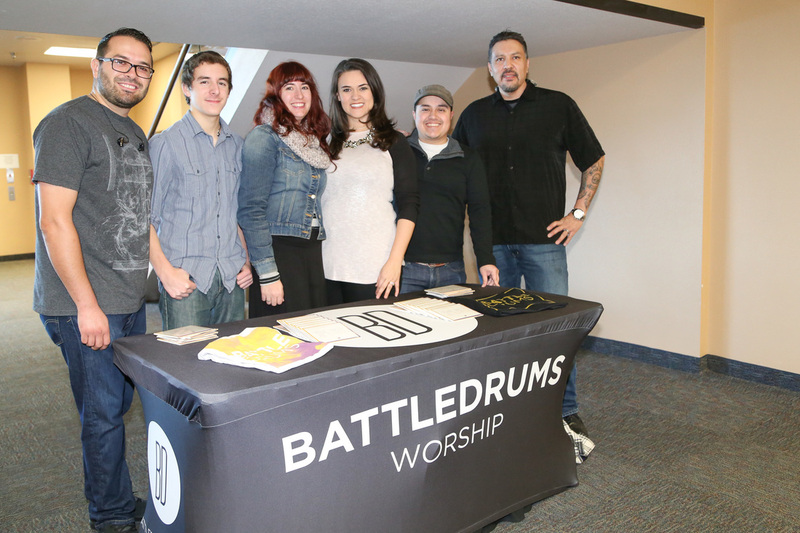 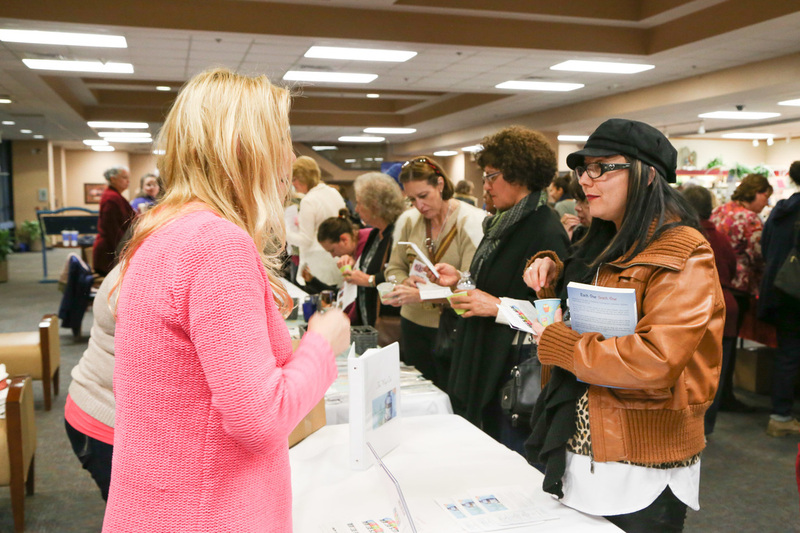 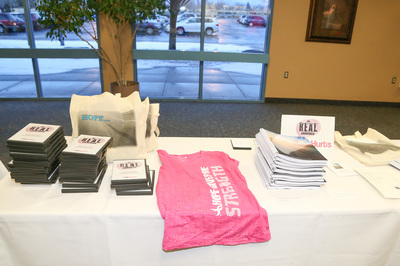 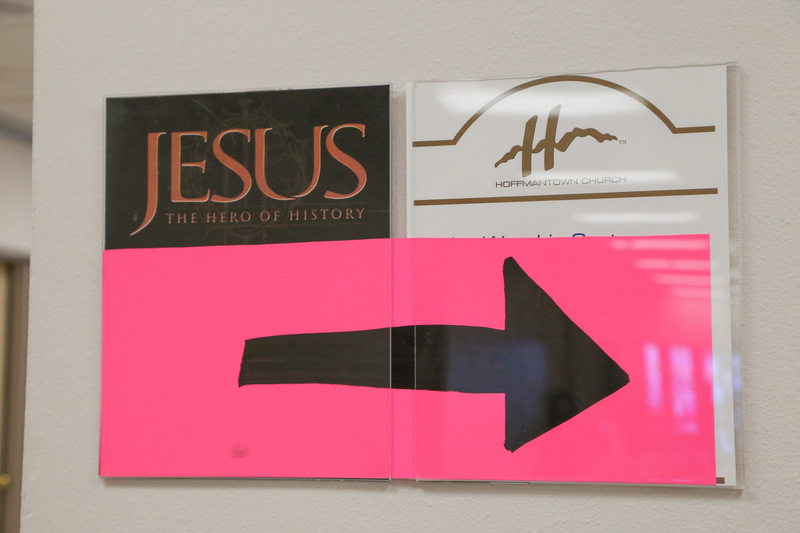 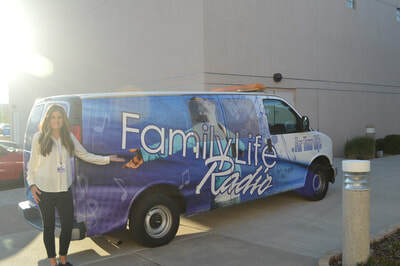 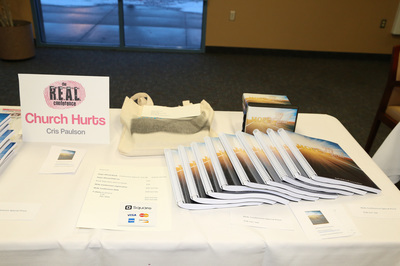 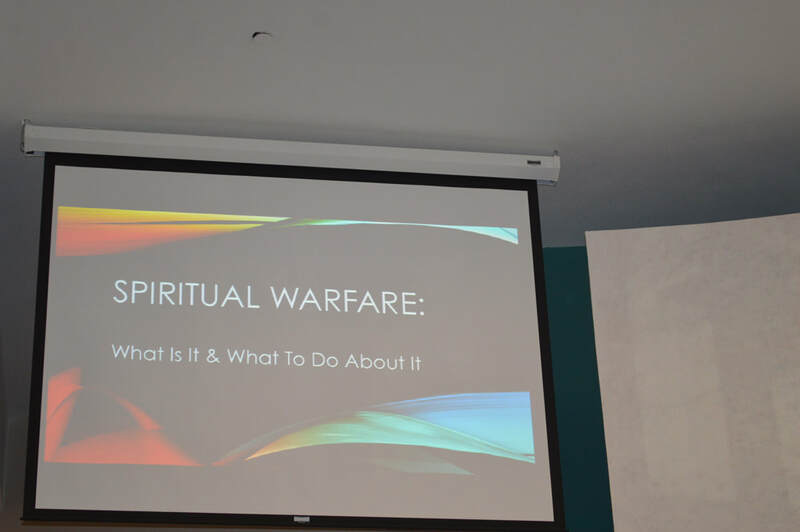 Our second conference was held at Hoffmantown Church in Albuquerque, New Mexico on January 8th and 9th and was also a great success! 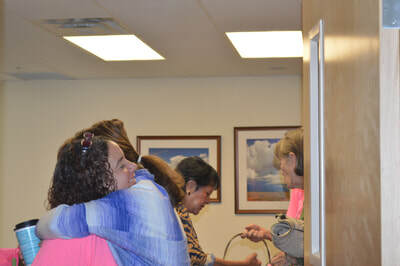 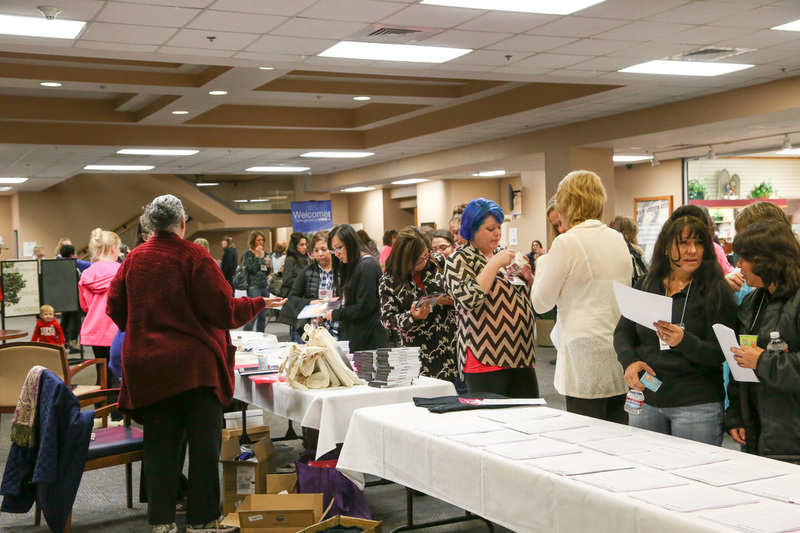 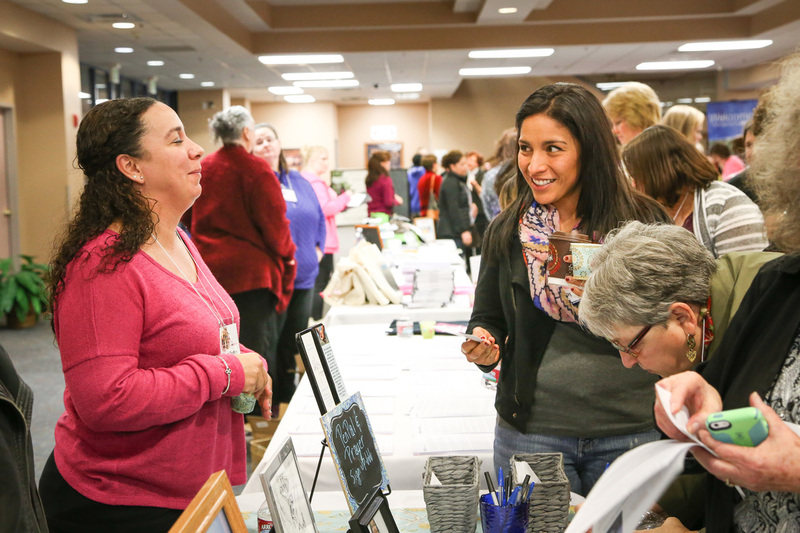 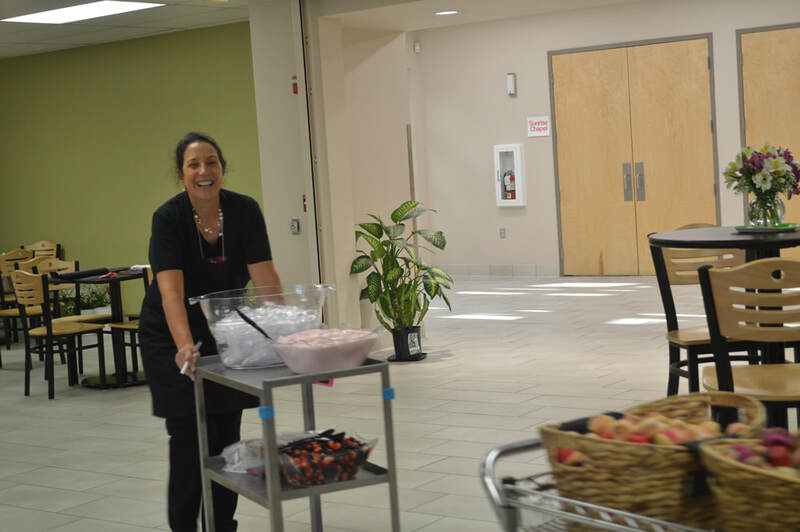 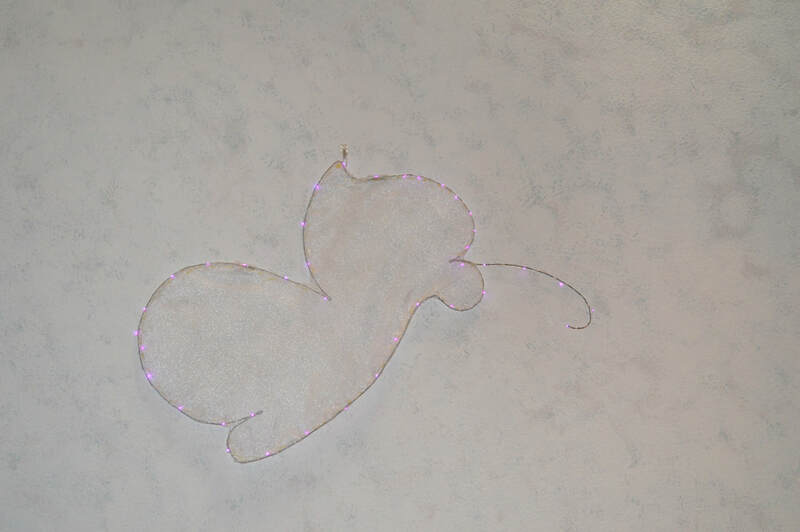 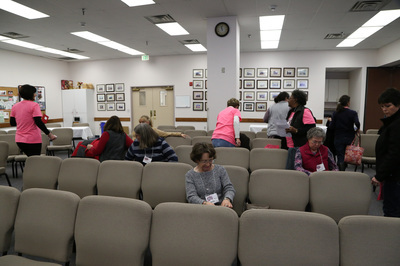 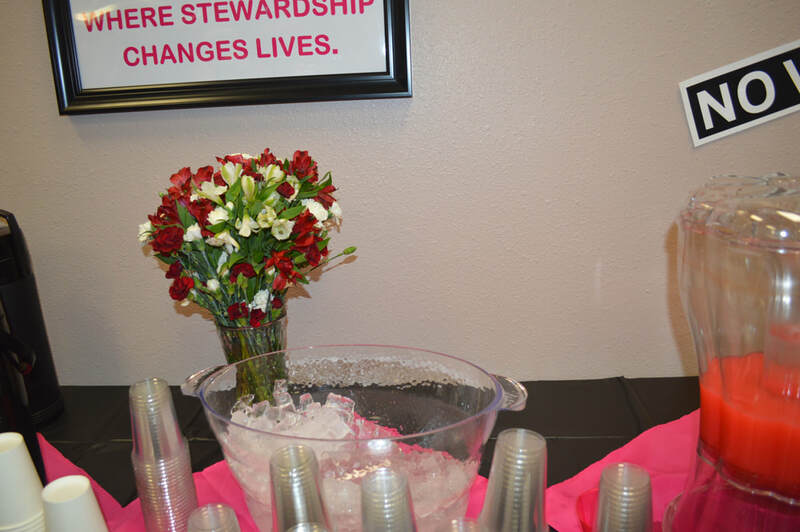 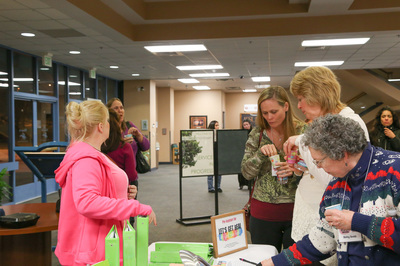 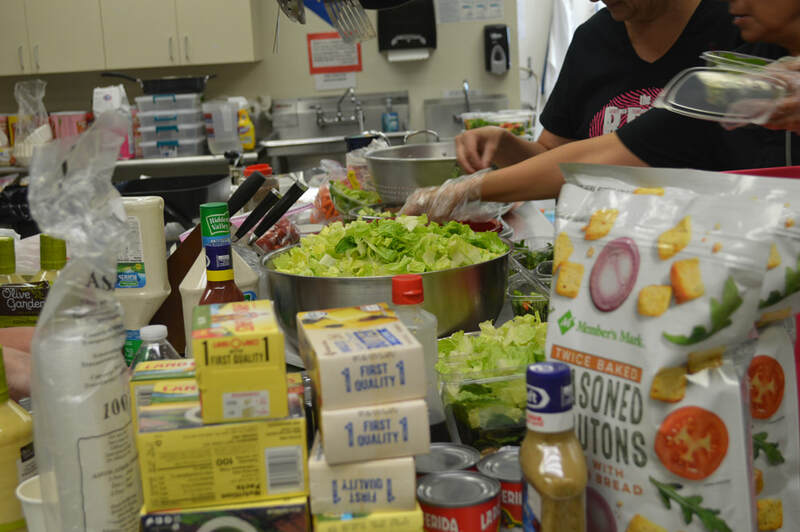 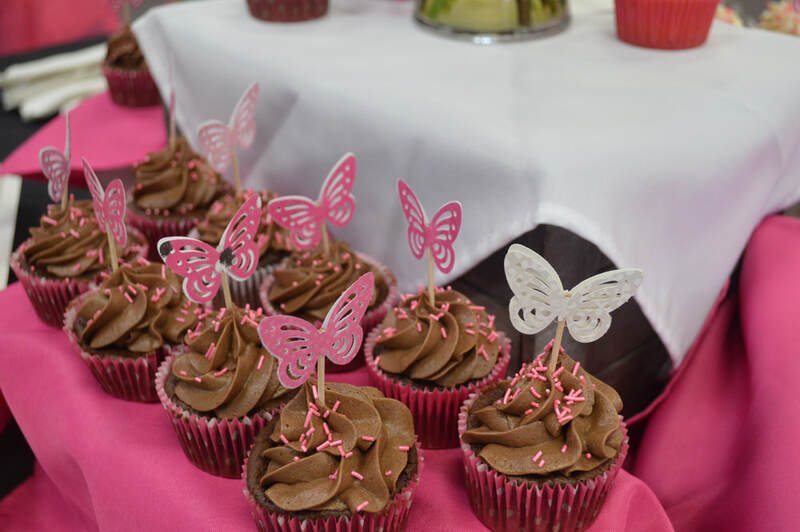 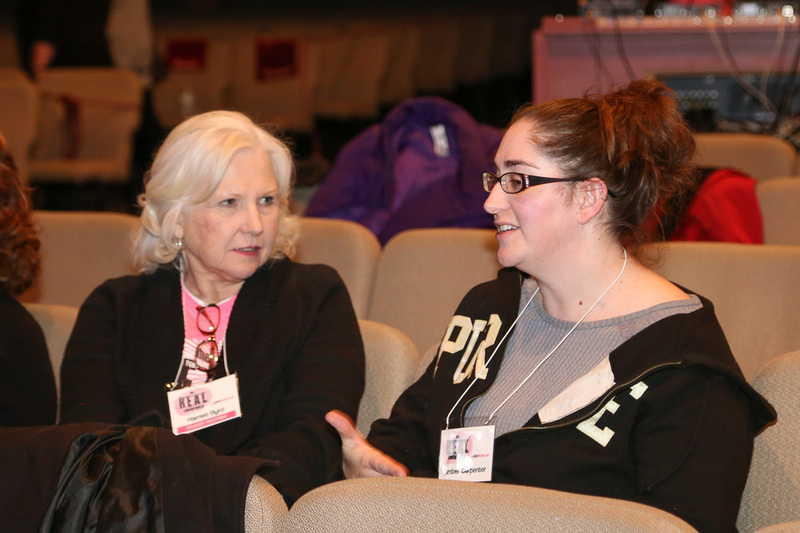 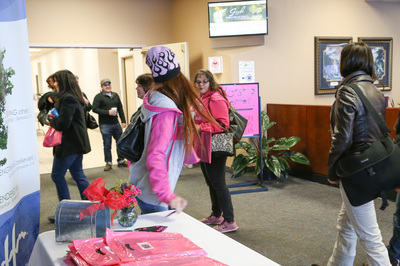 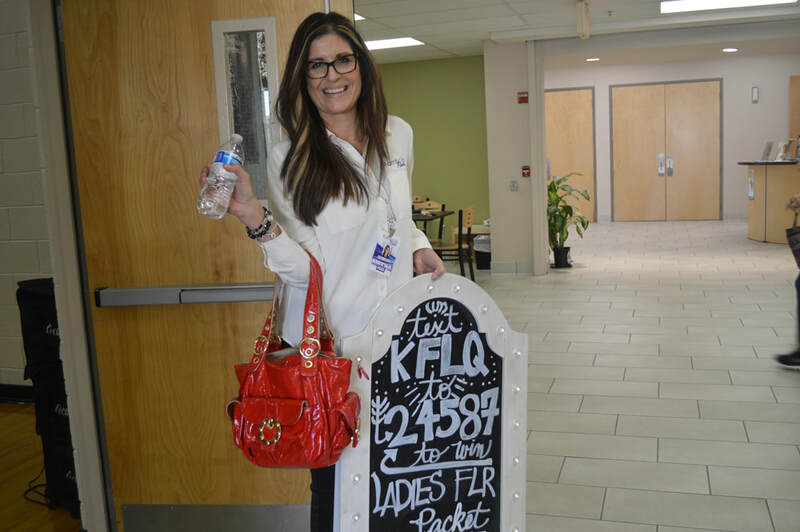 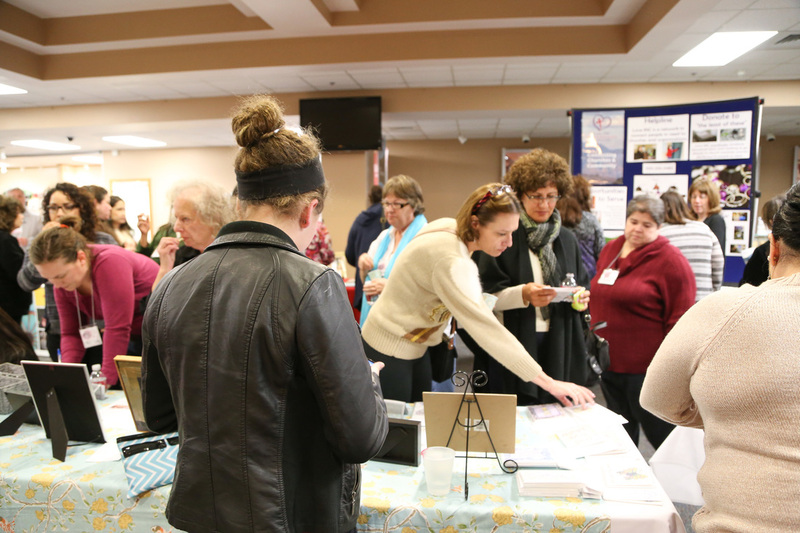 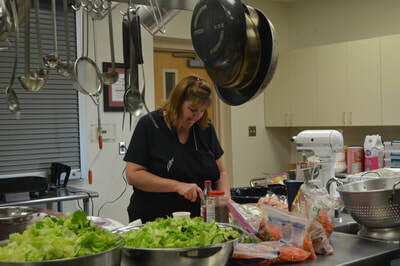 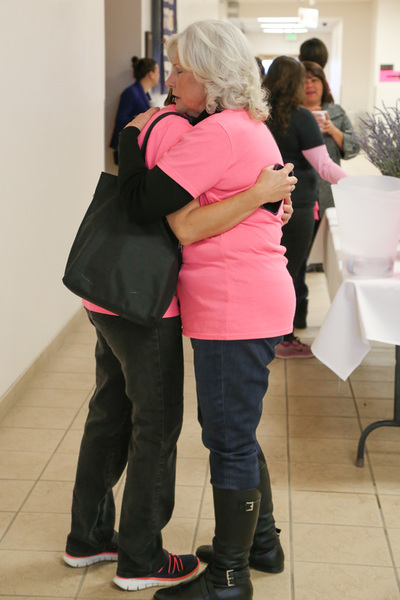 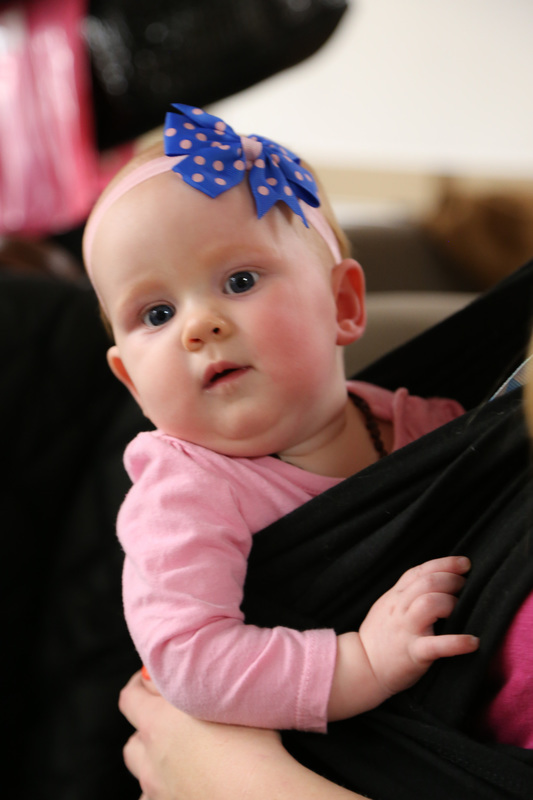 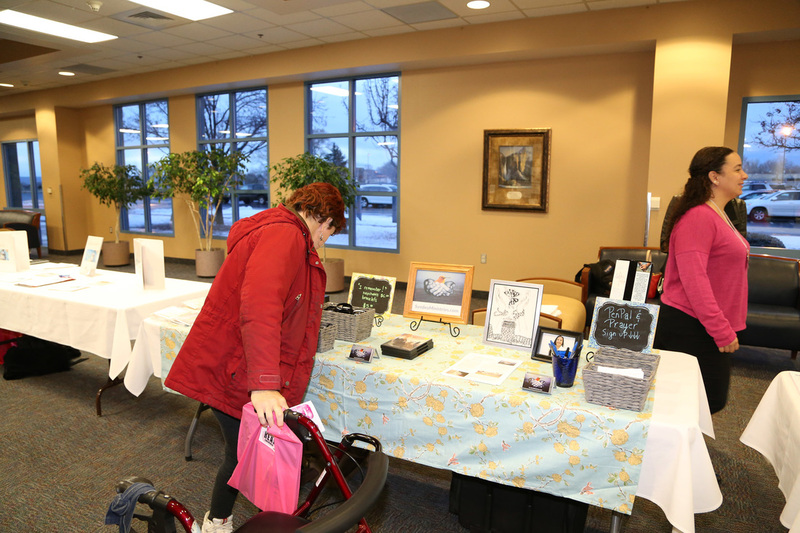 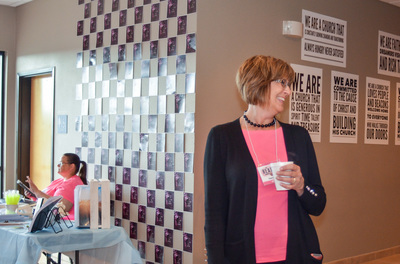 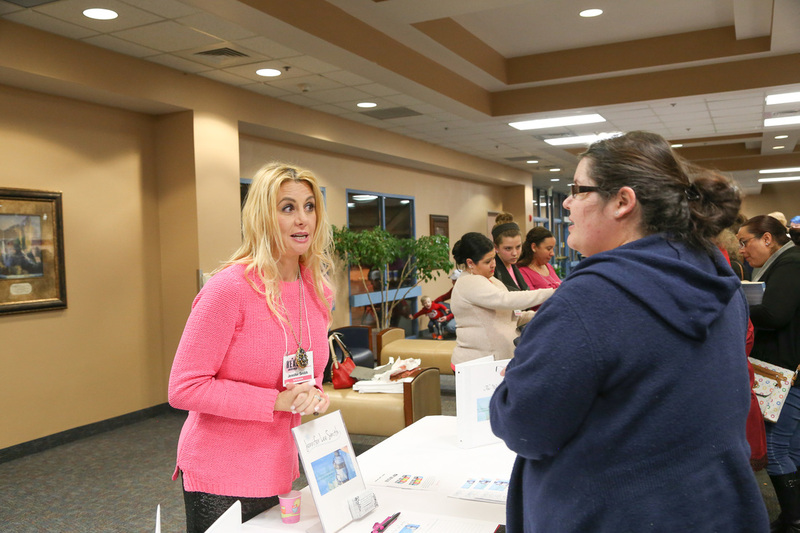 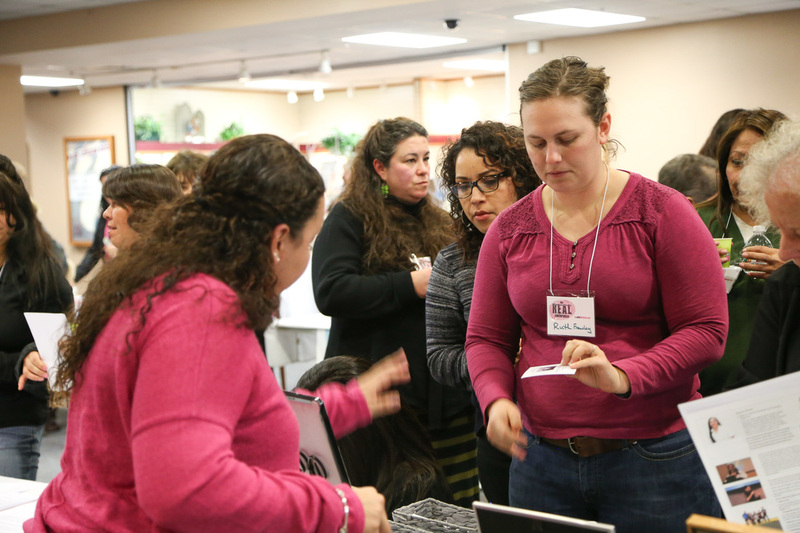 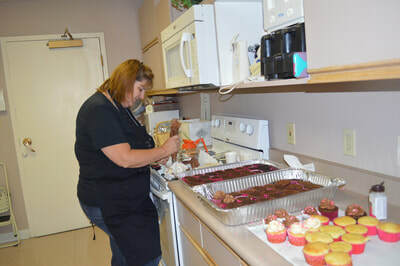 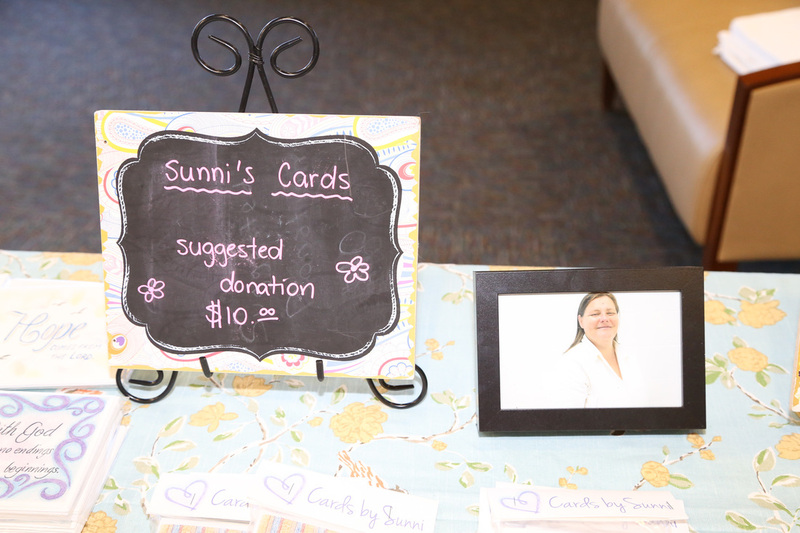 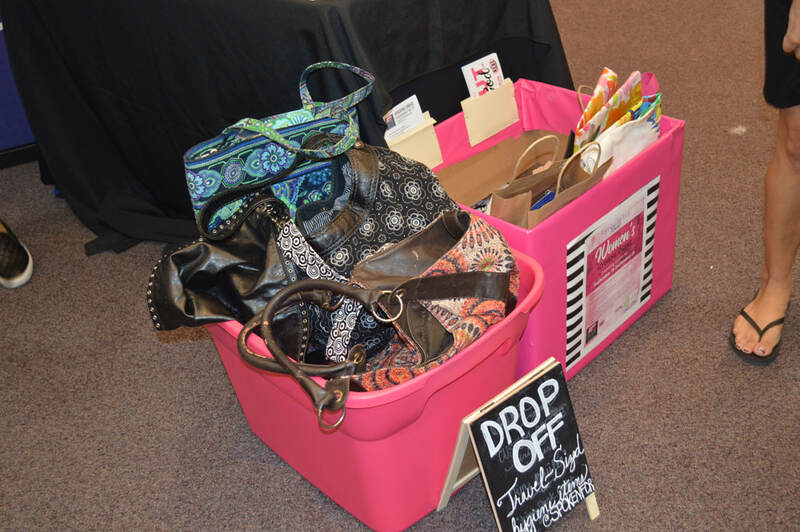 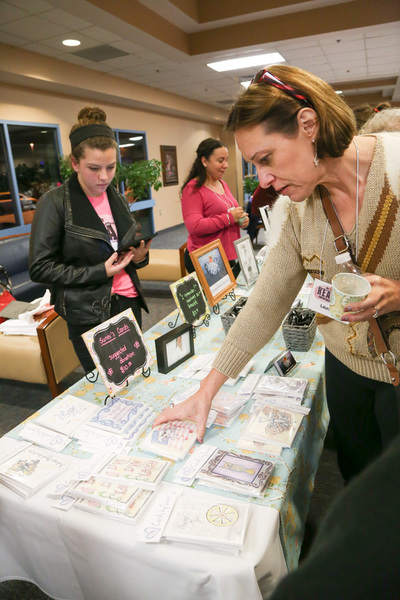 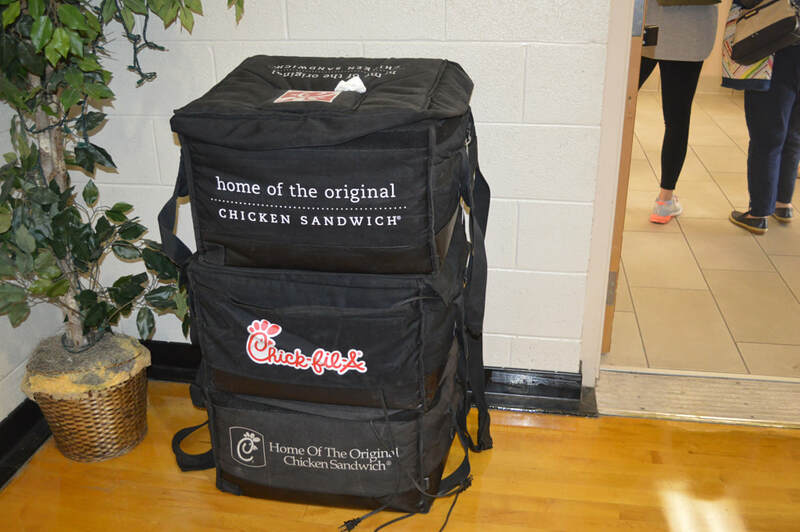 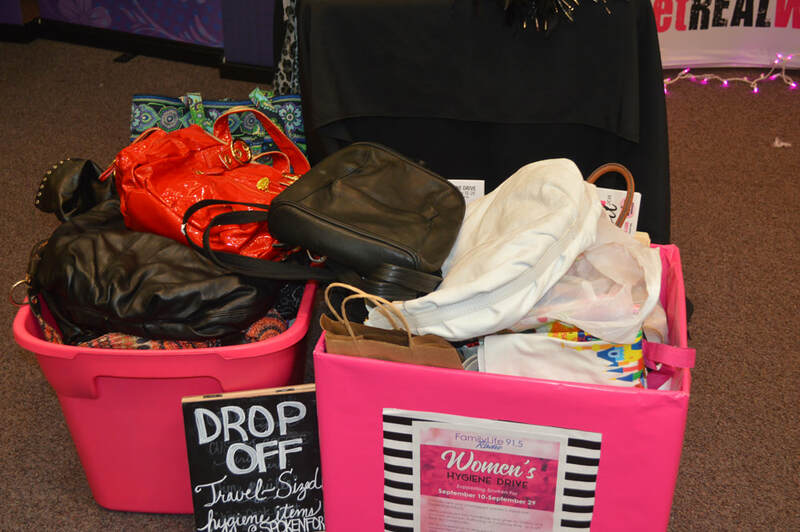 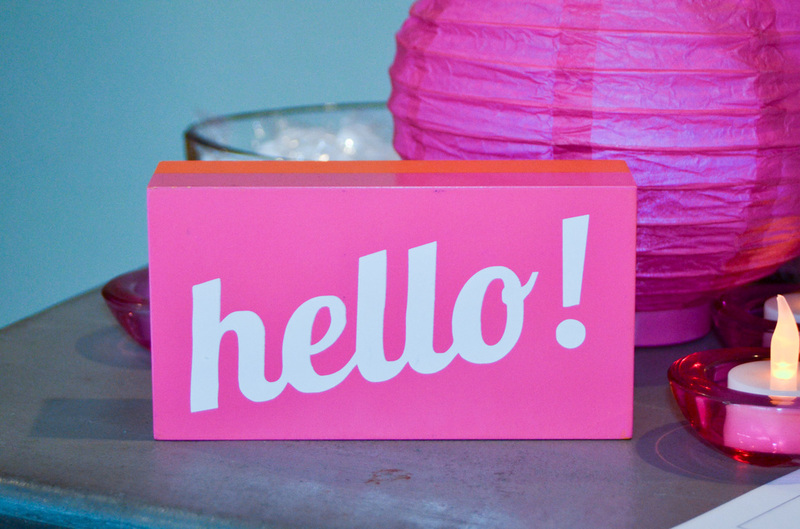 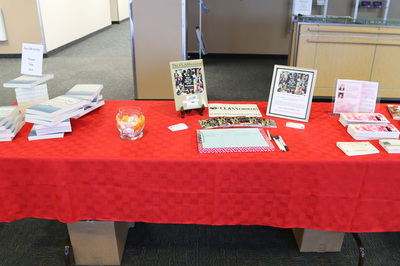 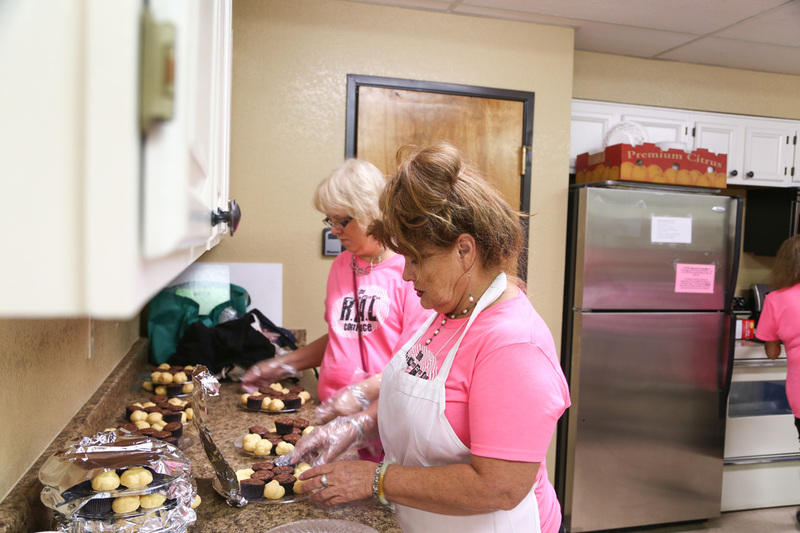 Despite the snow, over 150 women attended along with 50 incredible volunteers. Women got REAL with God, REAL with each other and found healing through Barb Mulvey's teaching, Hannah Overton's testimony and the Word of God. 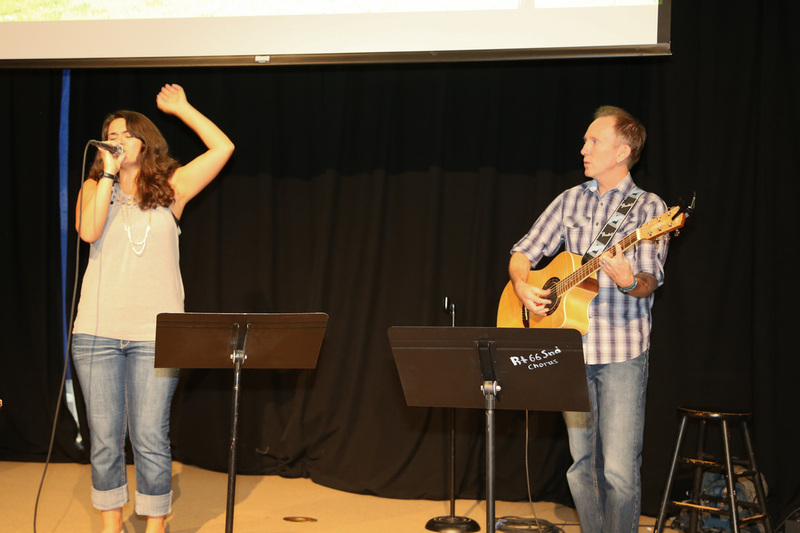 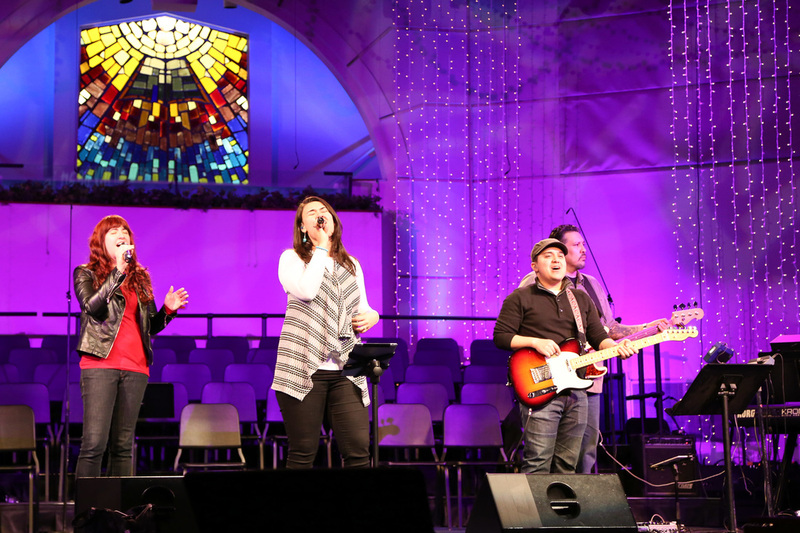 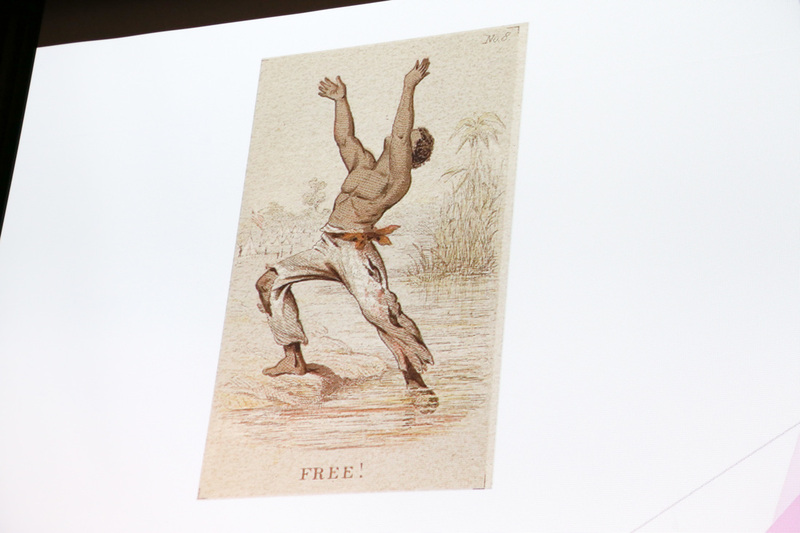 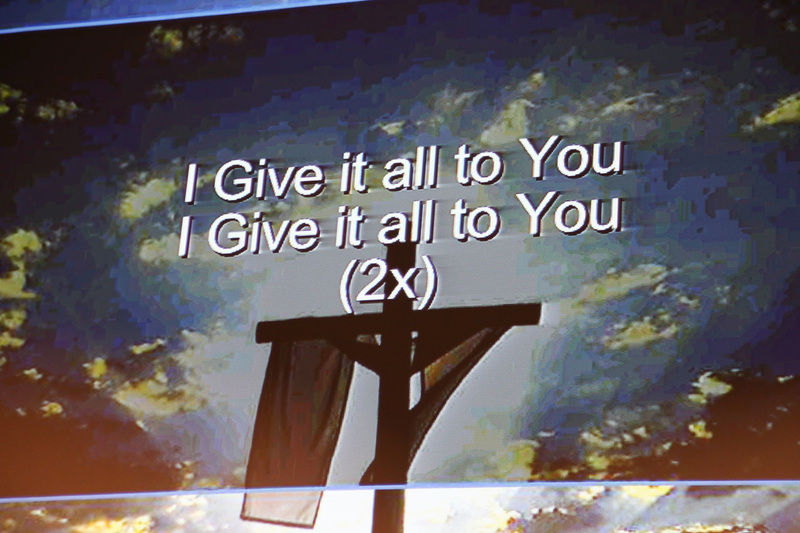 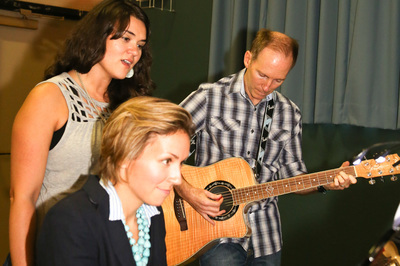 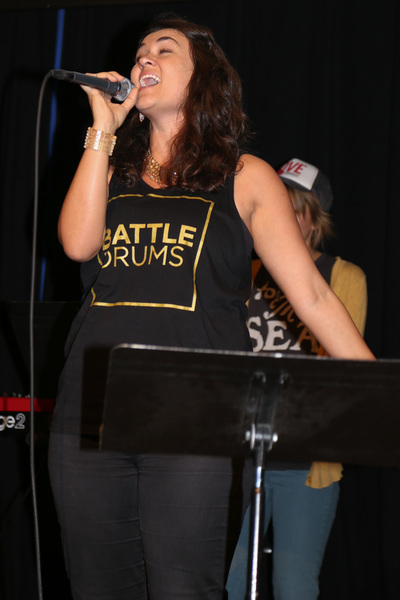 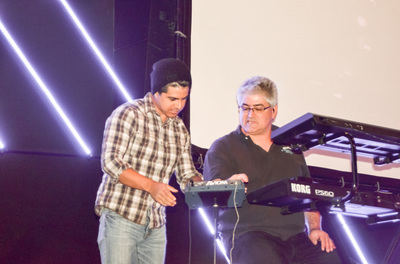 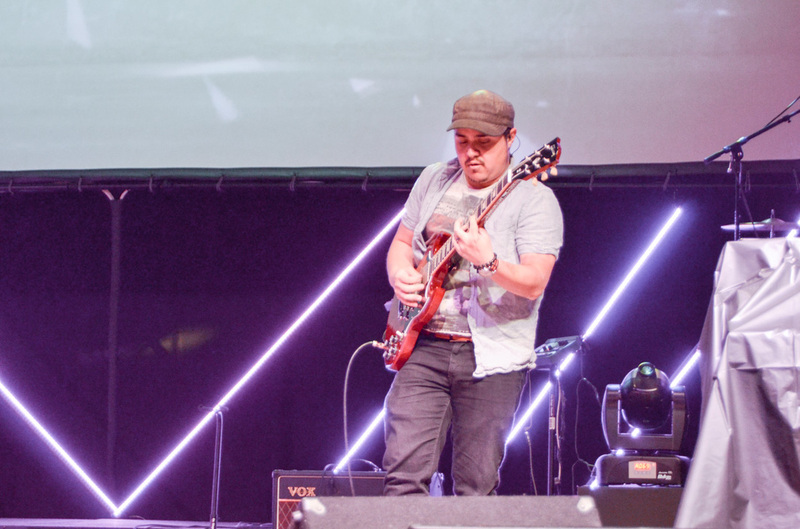 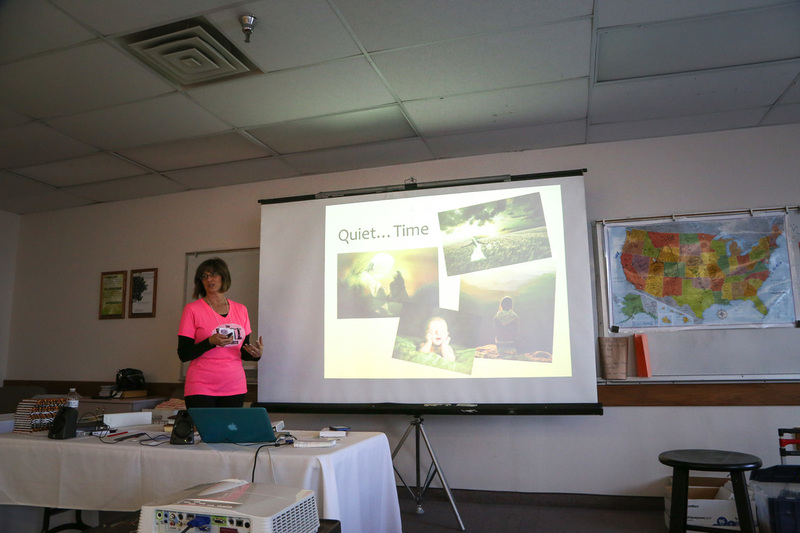 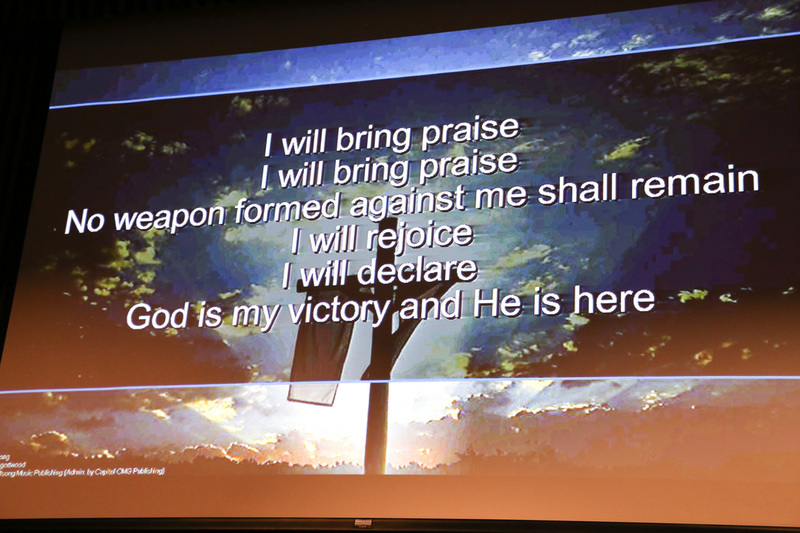 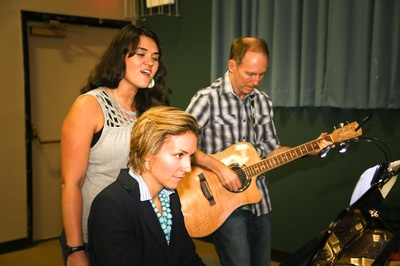 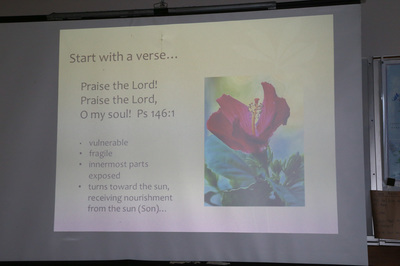 The worship brought us into God's presence and the workshops were inspirational. 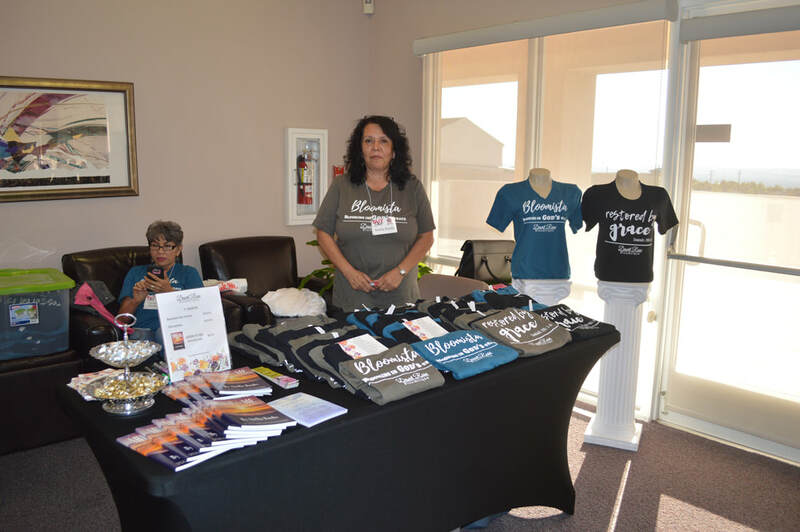 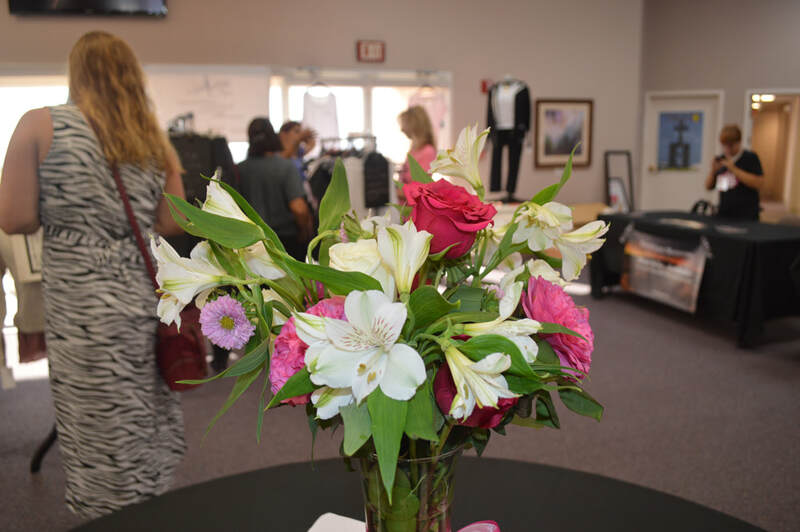 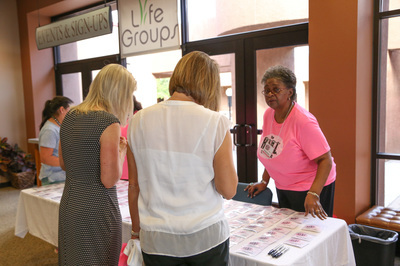 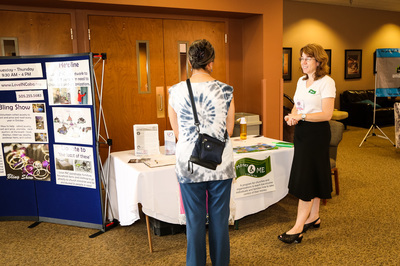 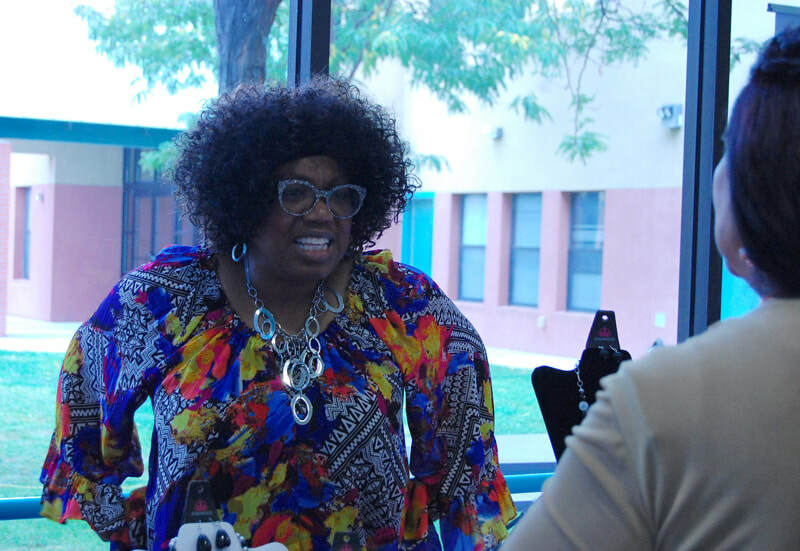 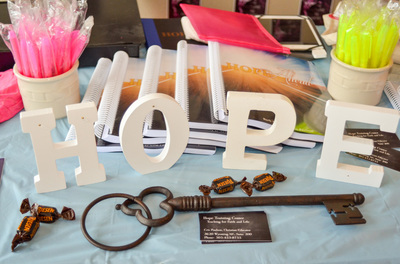 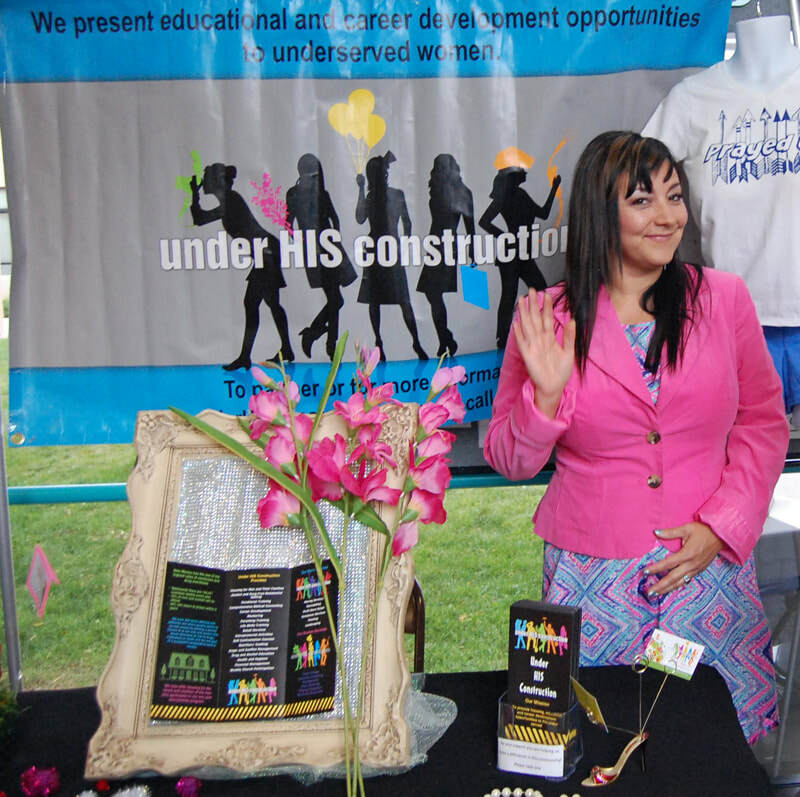 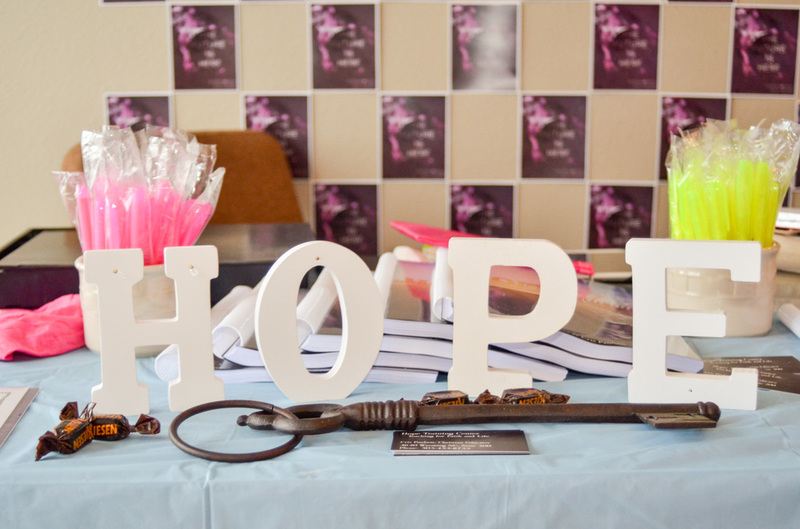 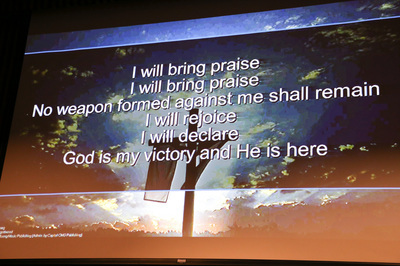 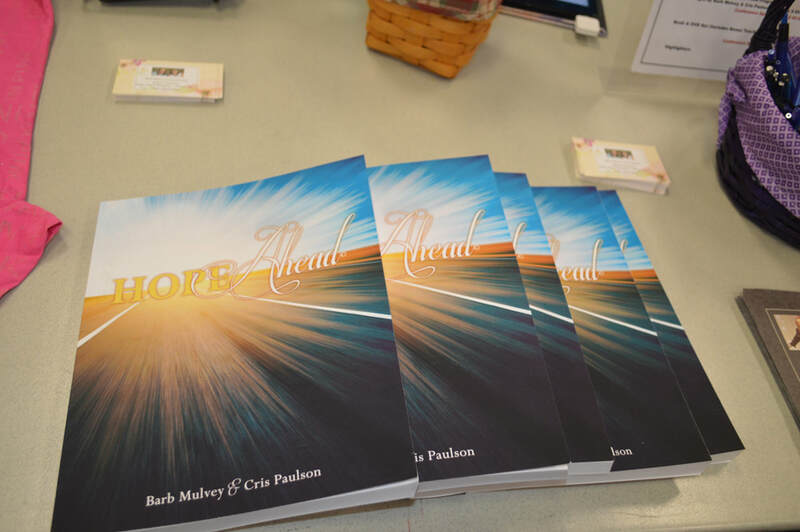 Our inaugural conference held at Hope EV Free Church in Albuquerque, New Mexico on August 28th and 29th was a great success! 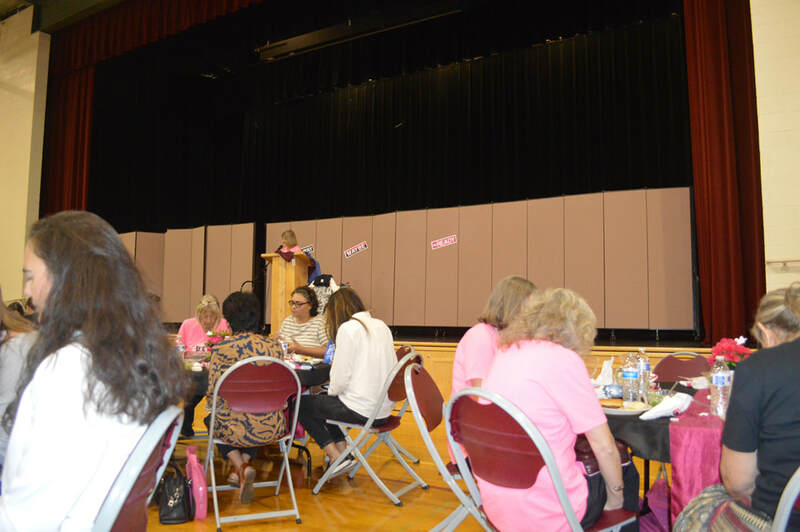 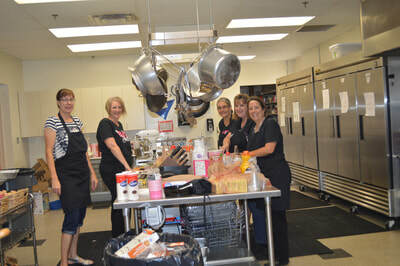 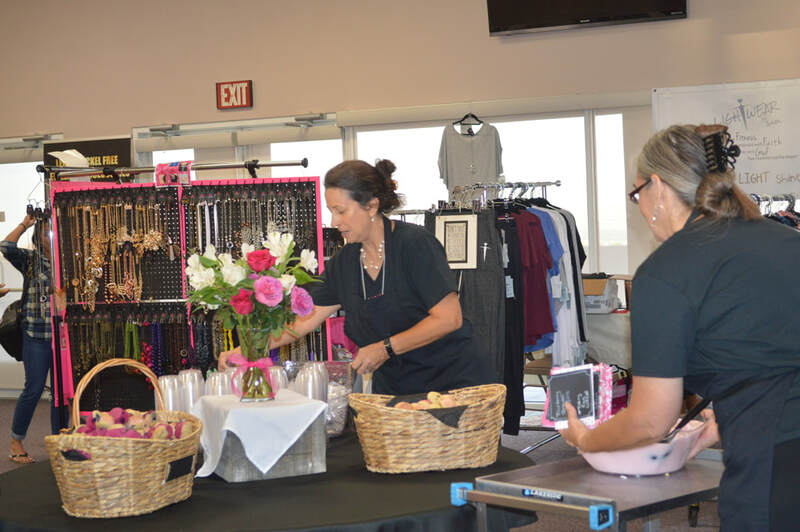 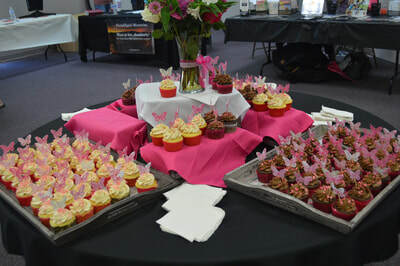 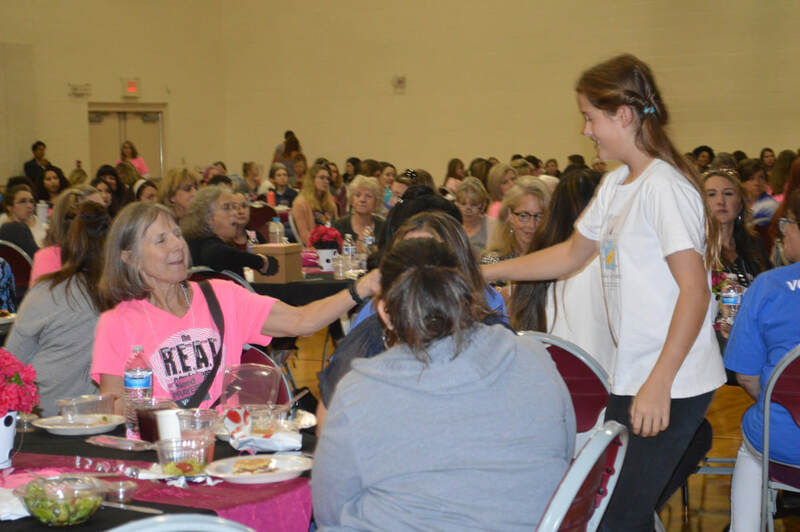 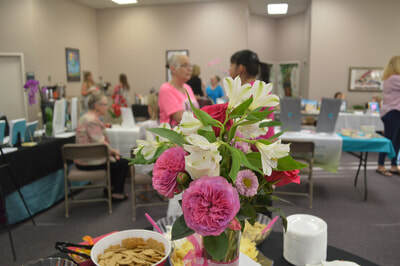 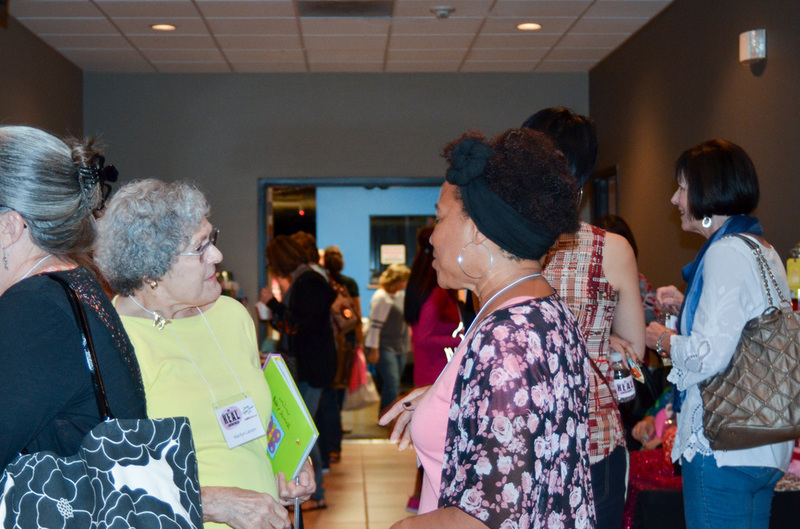 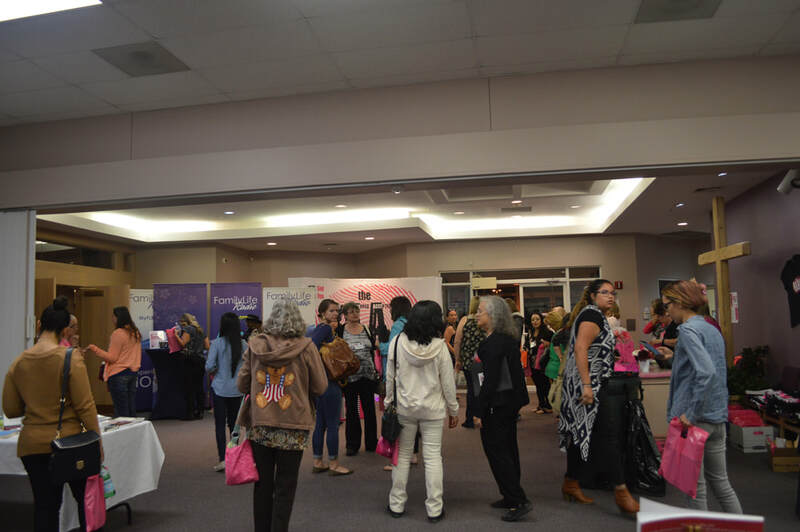 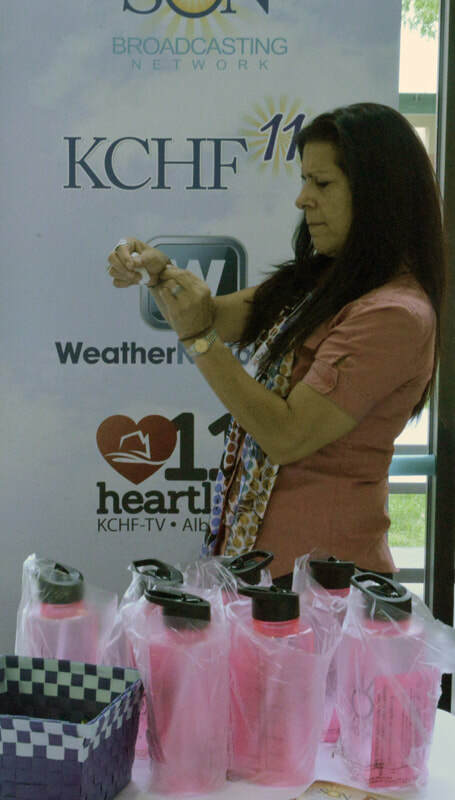 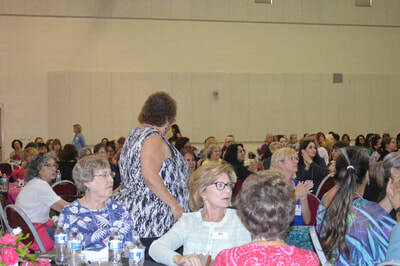 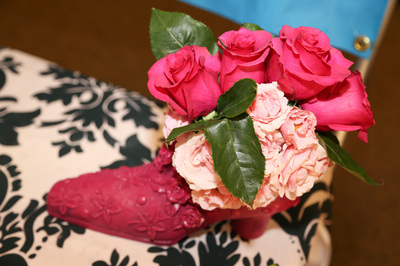 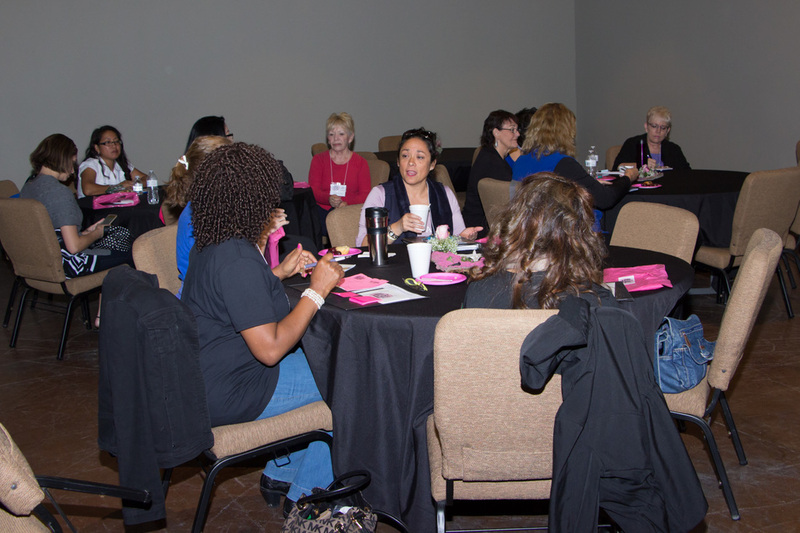 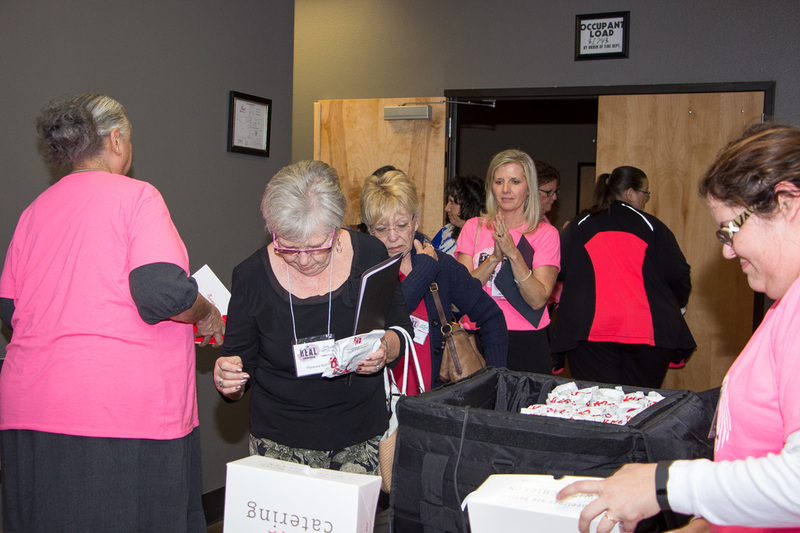 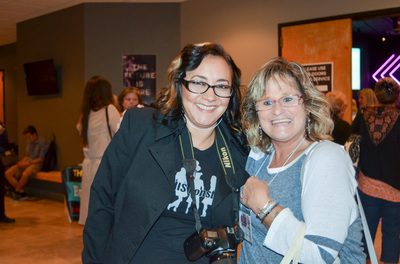 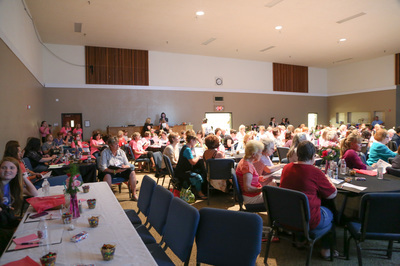 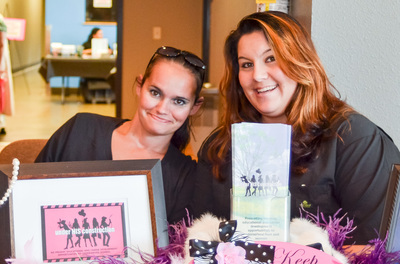 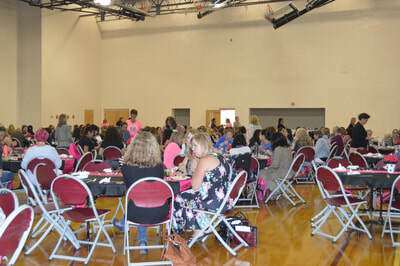 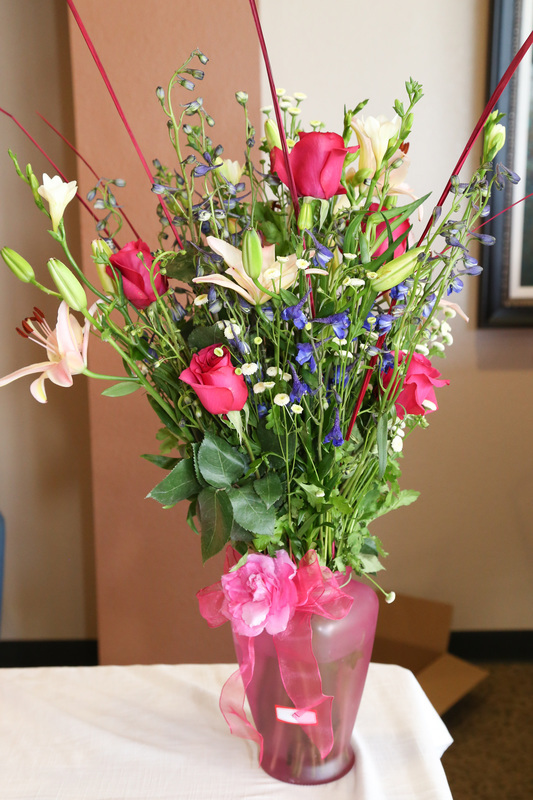 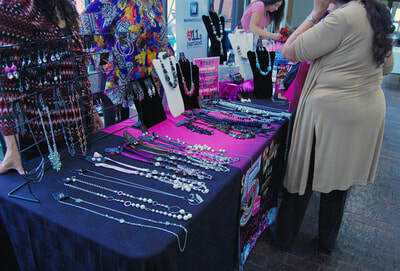 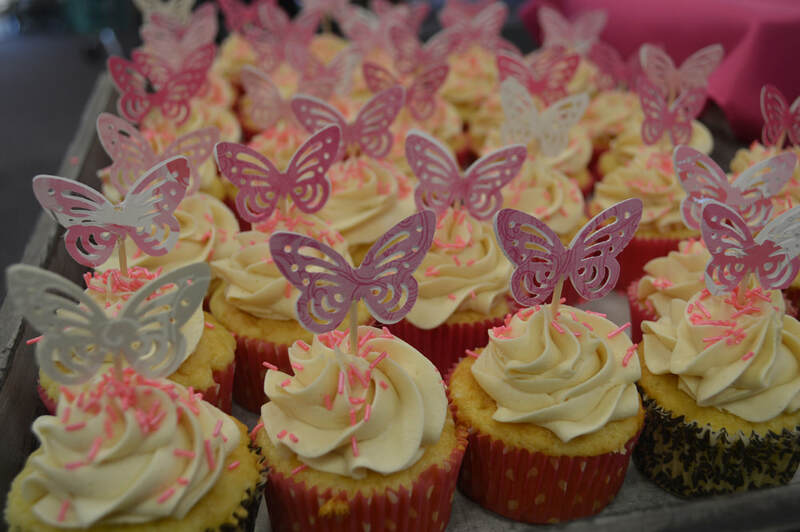 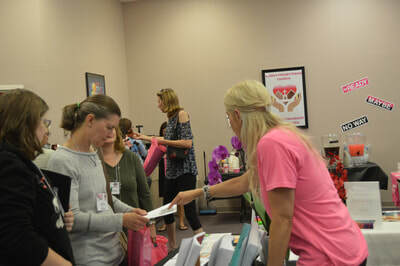 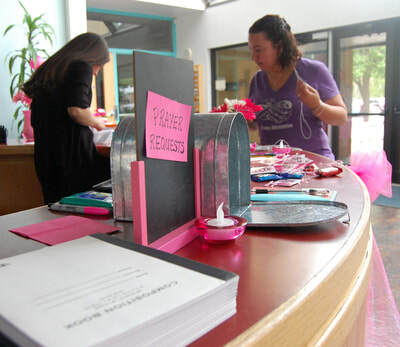 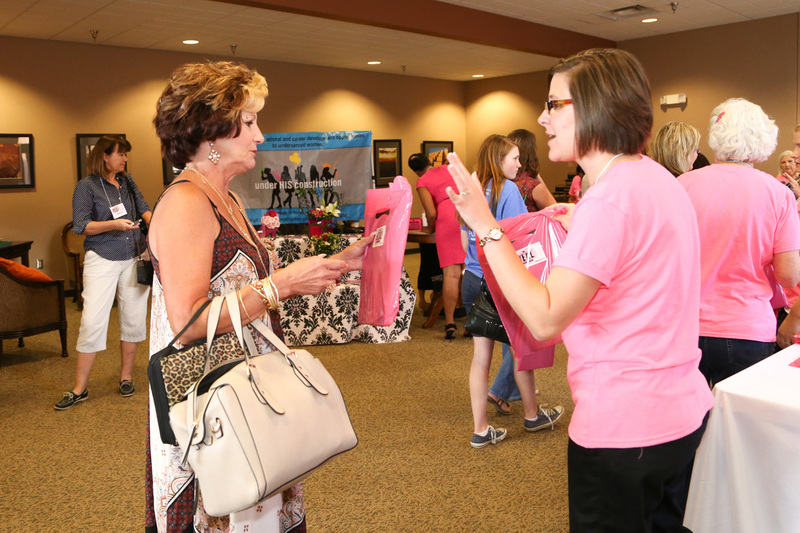 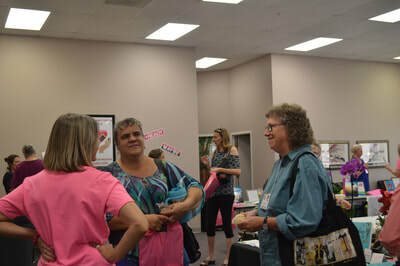 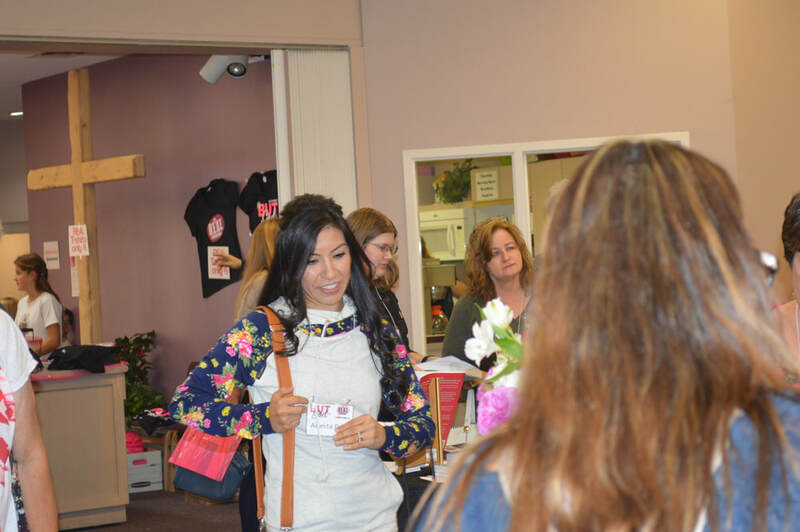 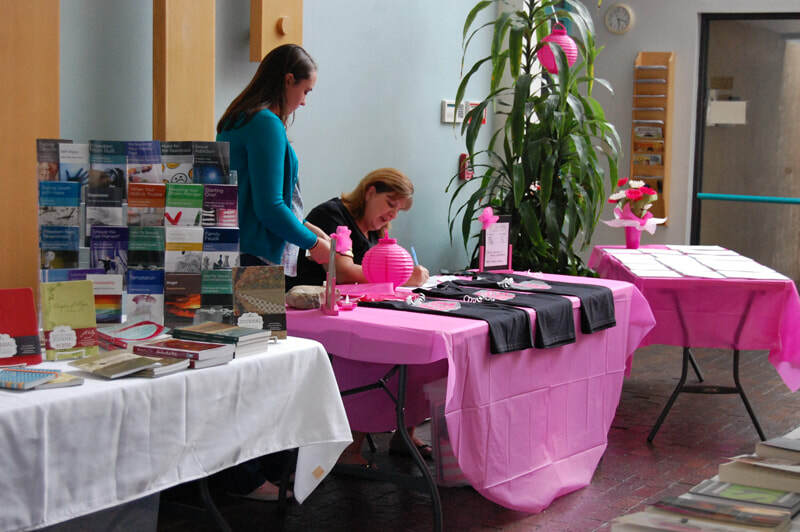 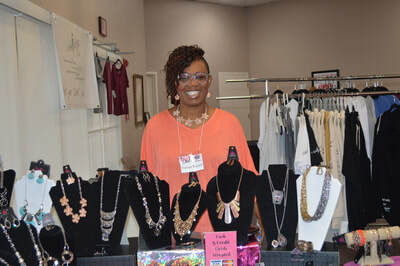 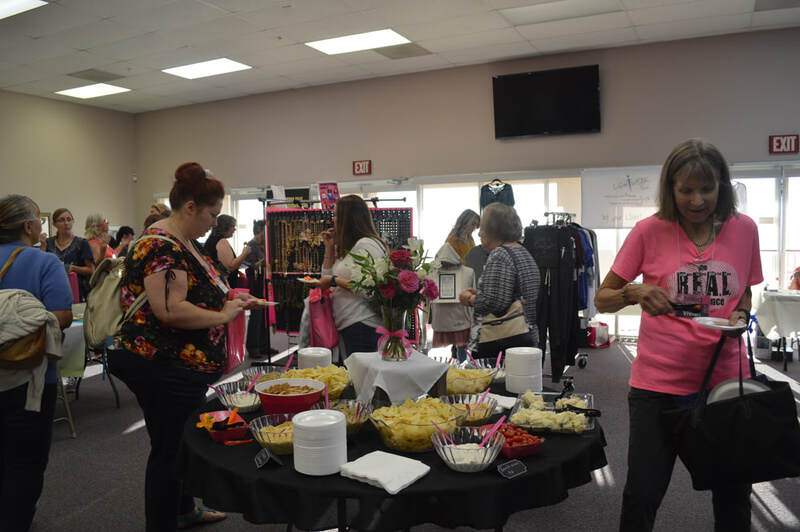 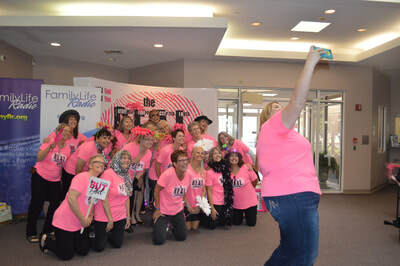 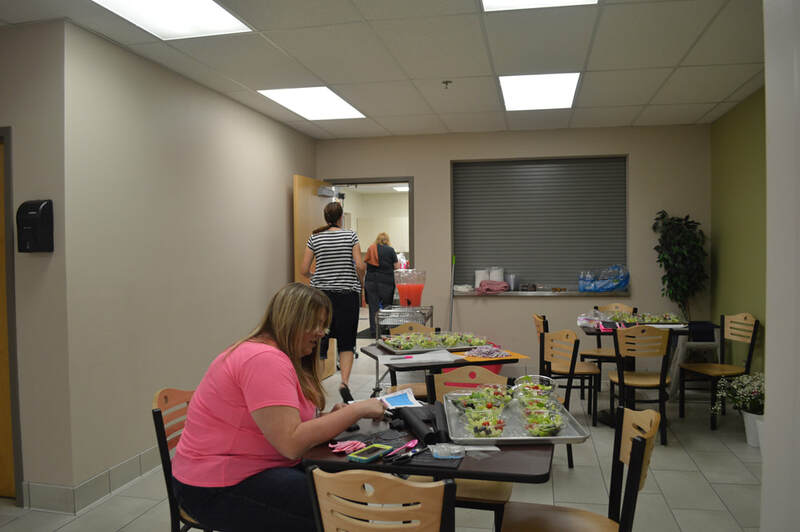 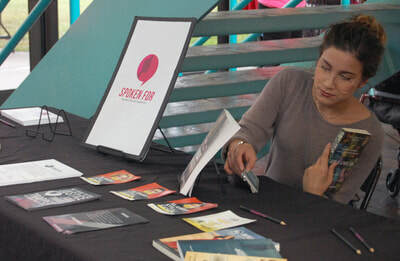 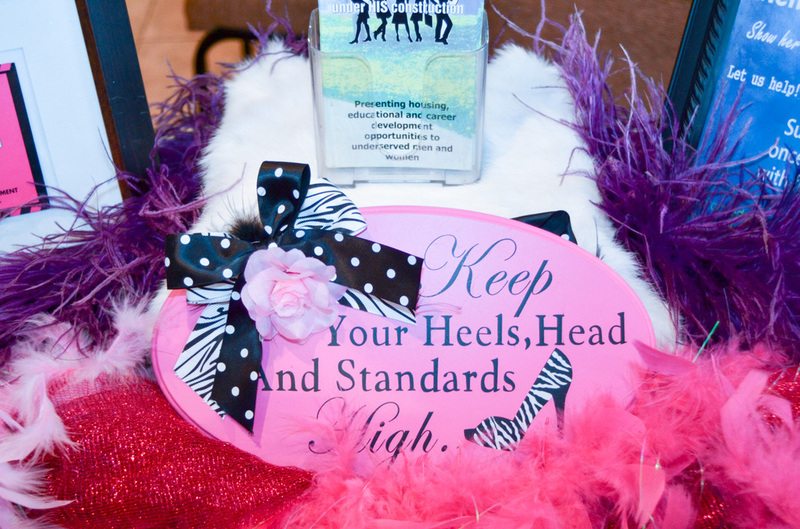 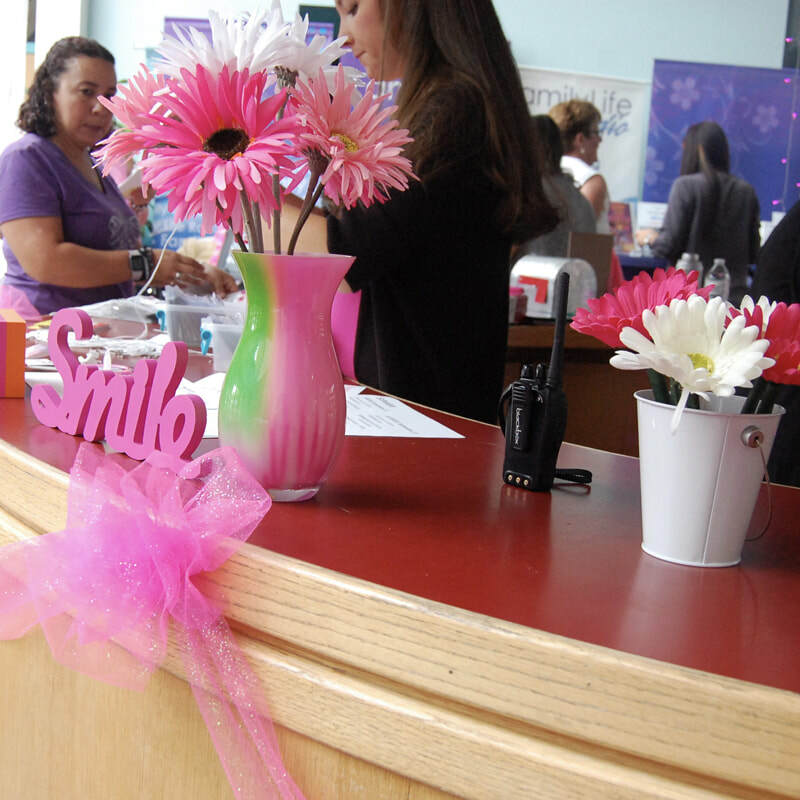 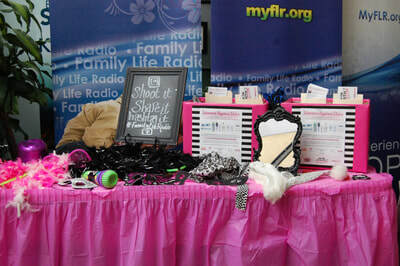 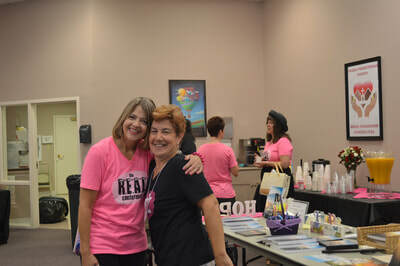 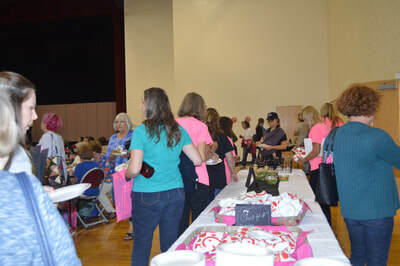 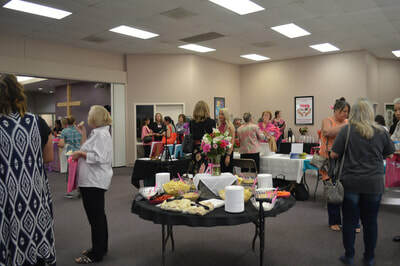 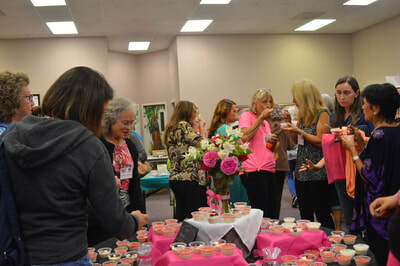 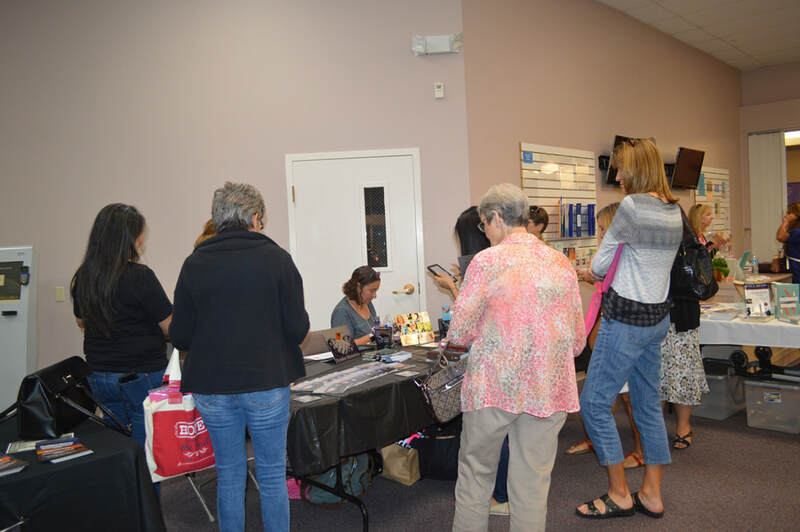 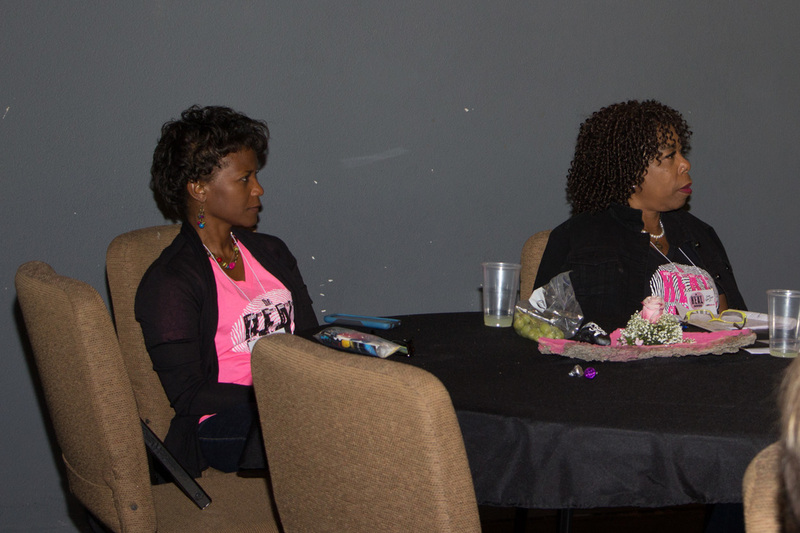 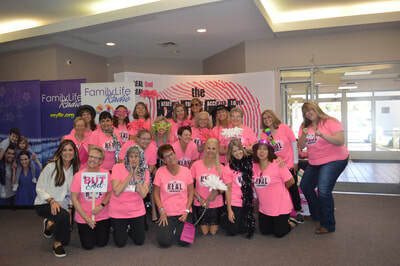 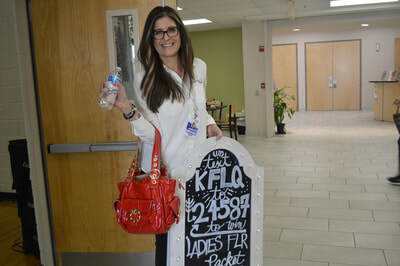 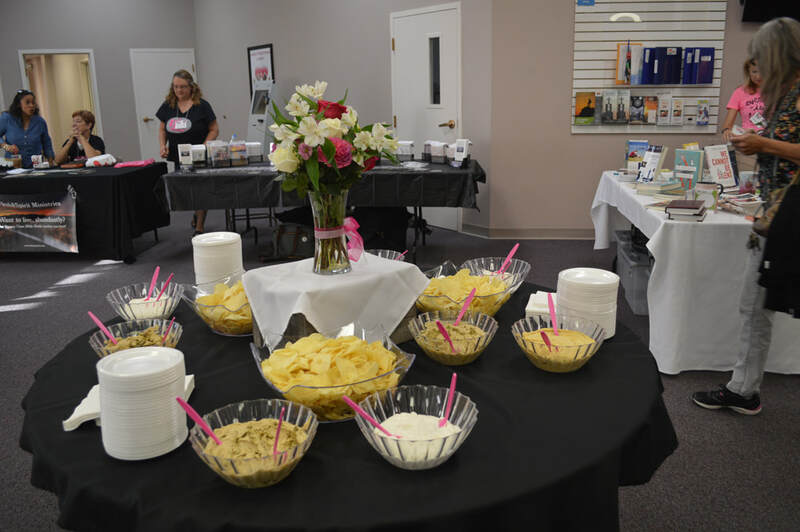 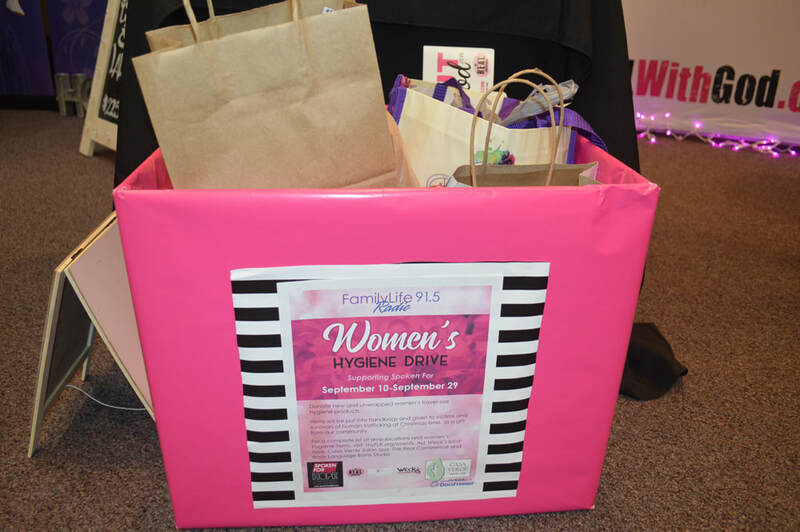 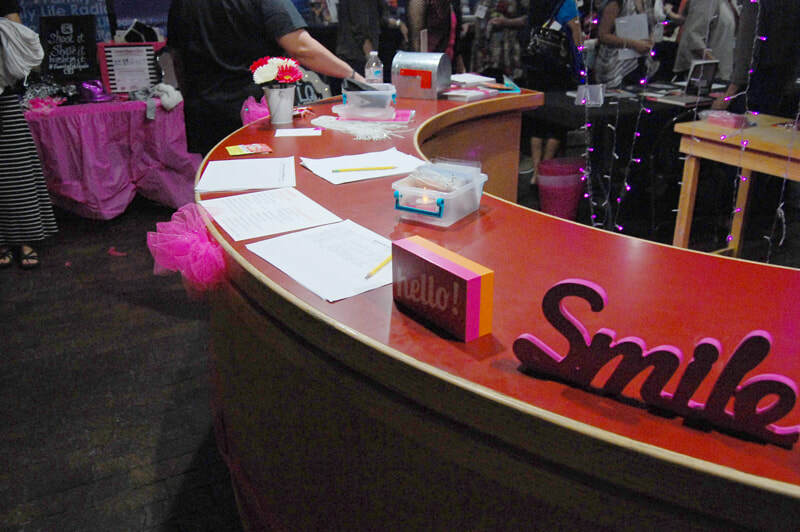 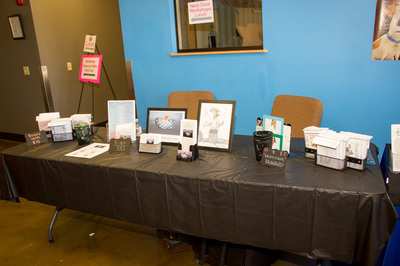 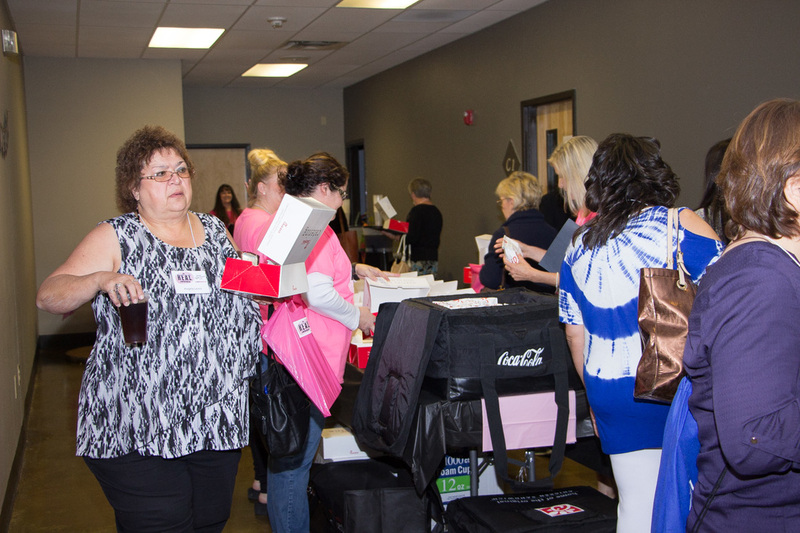 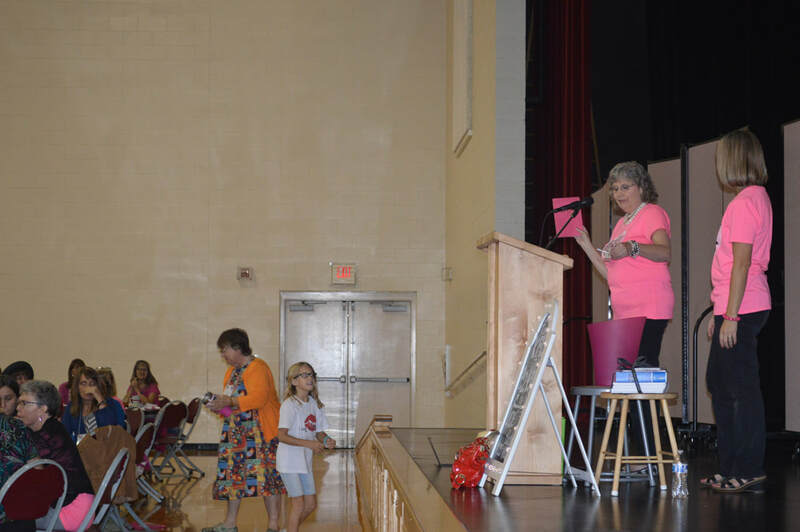 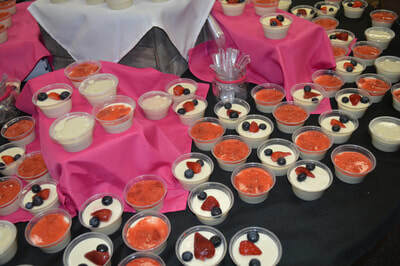 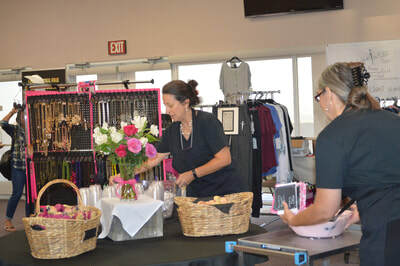 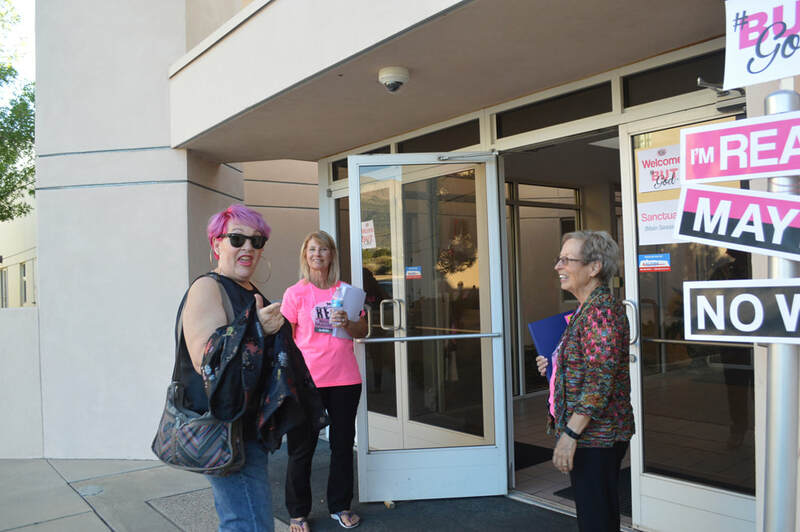 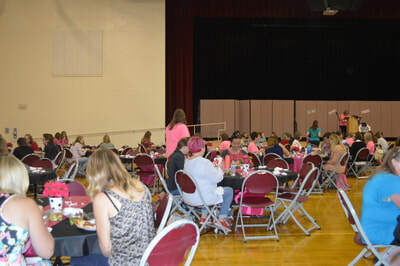 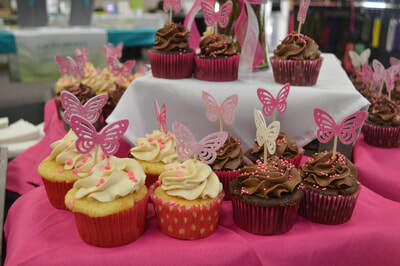 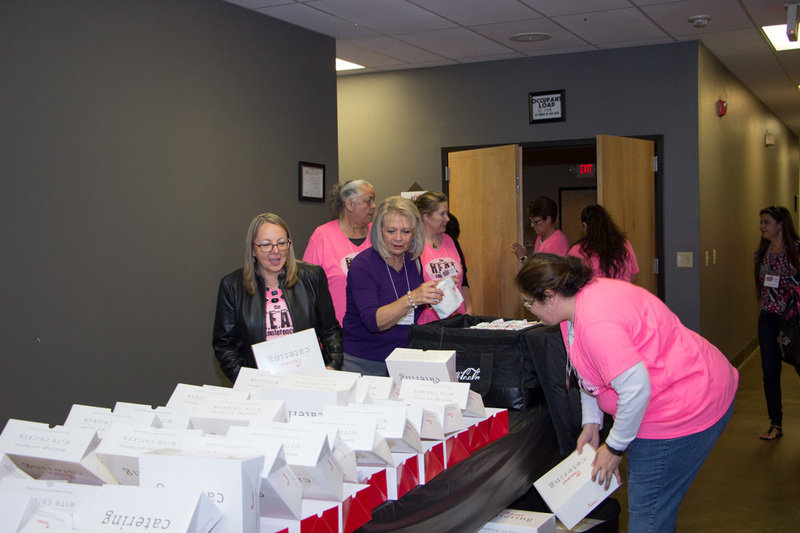 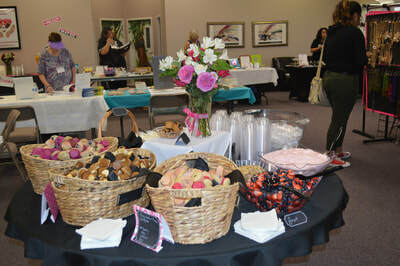 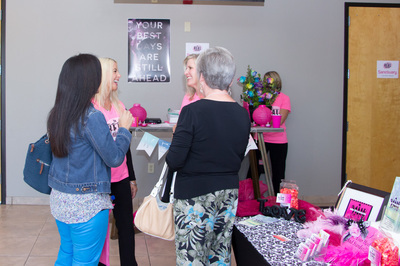 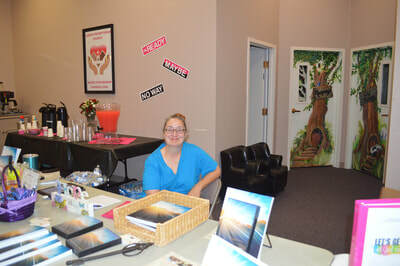 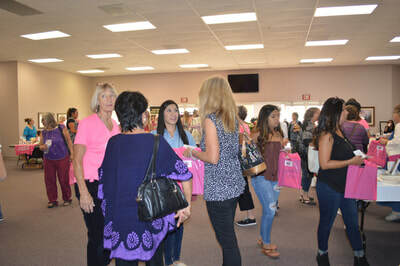 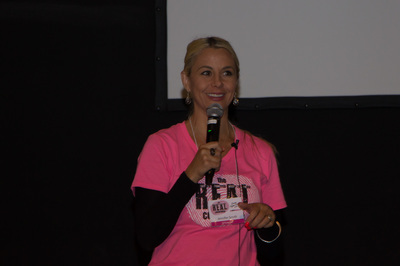 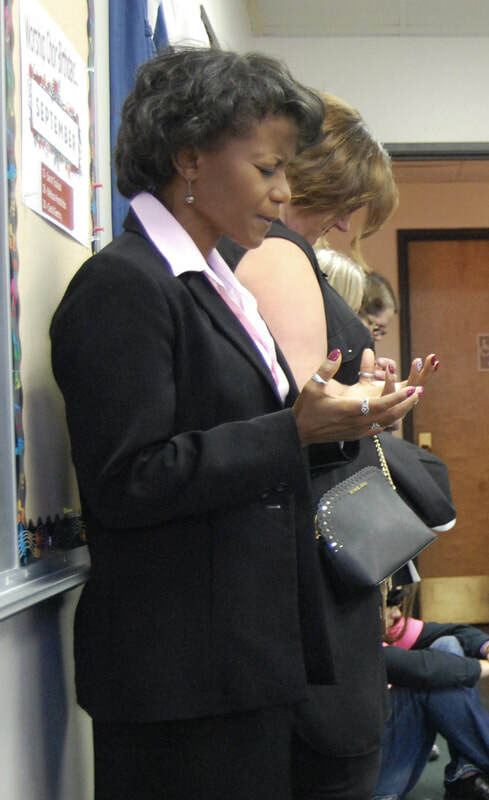 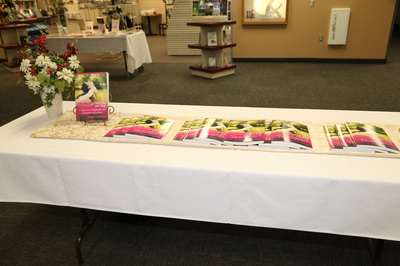 Over 130 women attended along with 50 amazing volunteers. 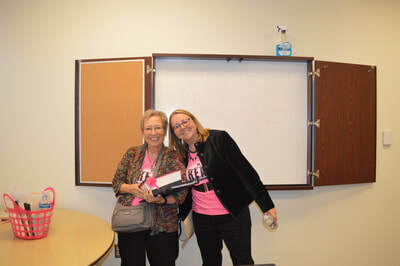 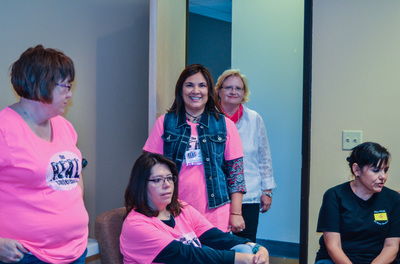 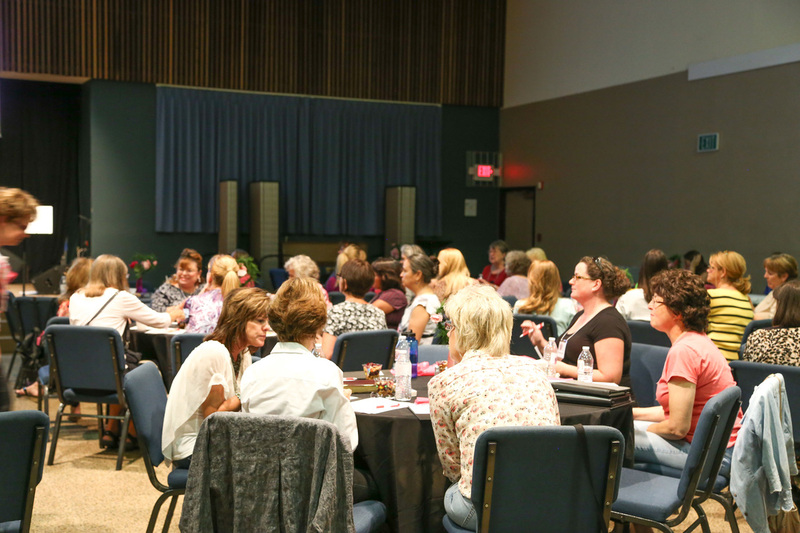 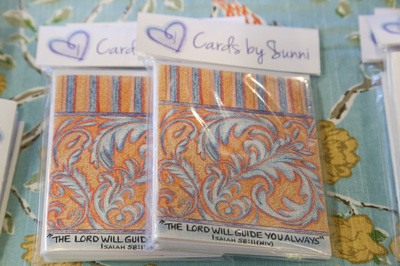 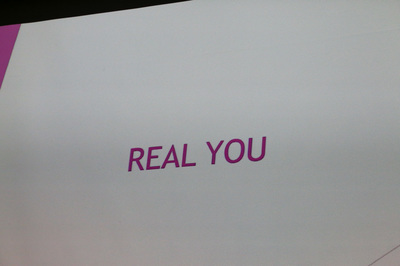 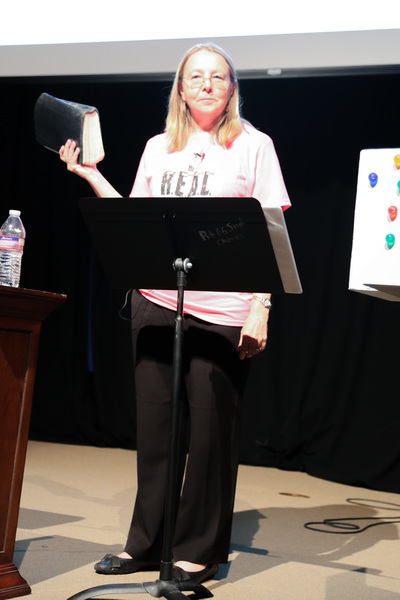 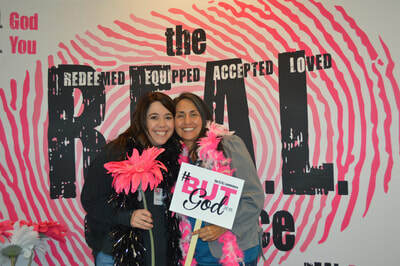 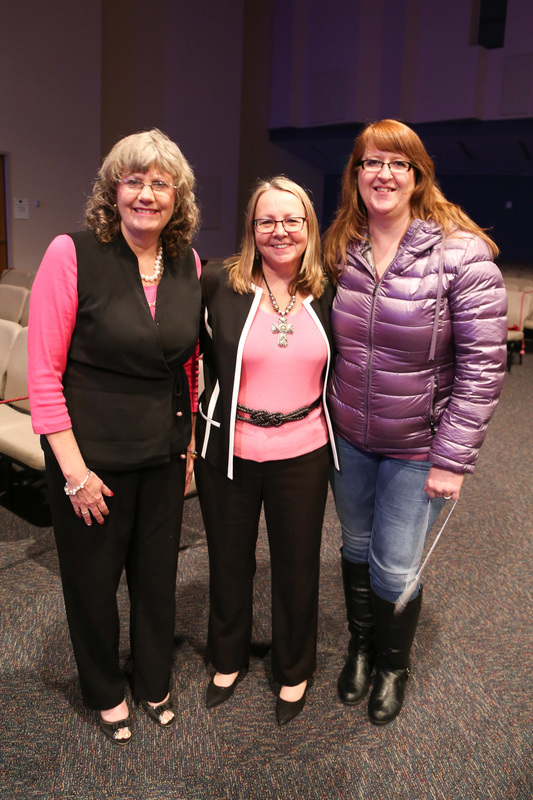 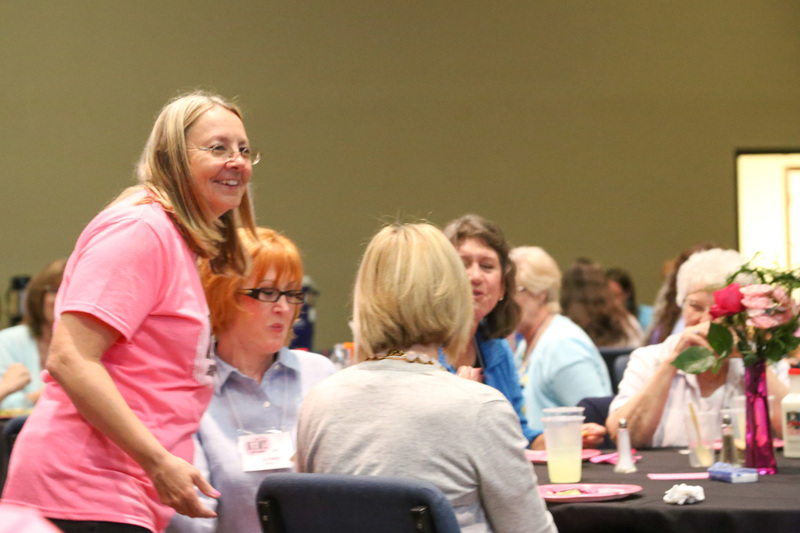 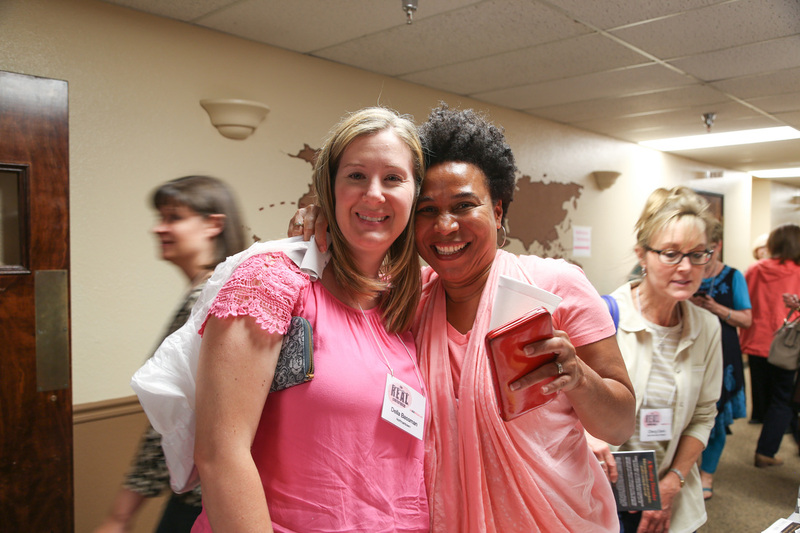 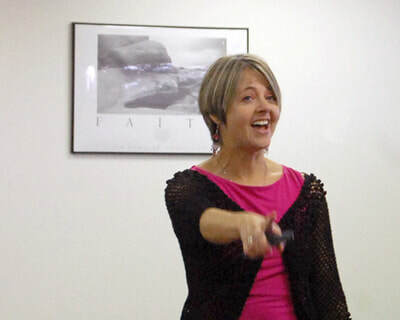 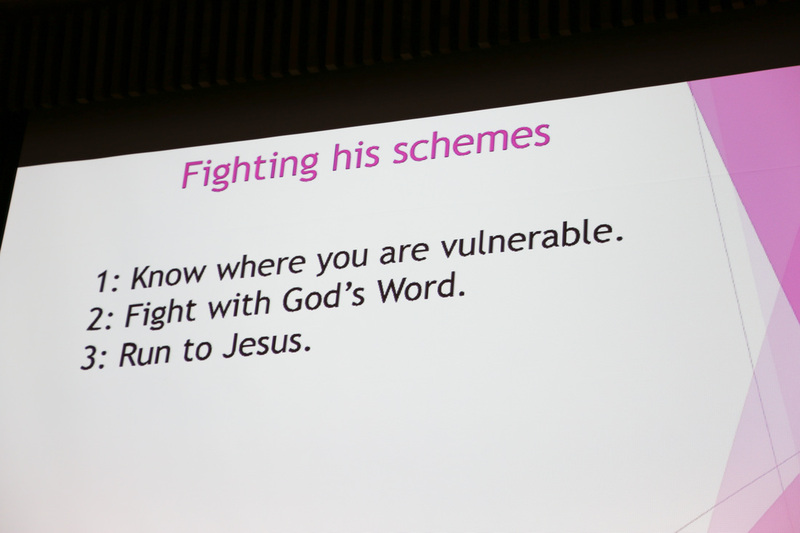 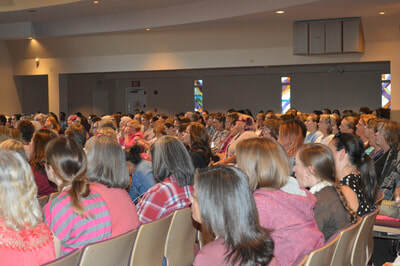 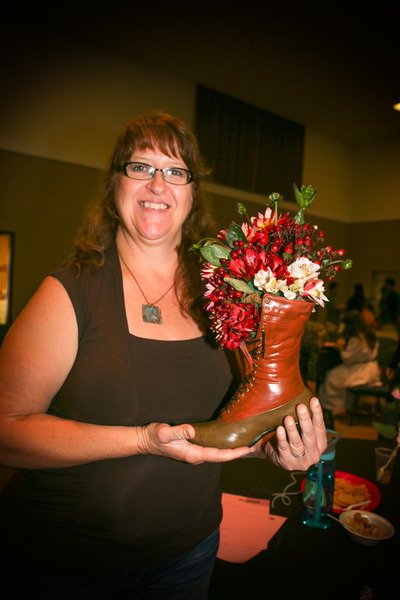 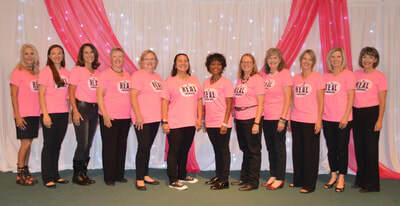 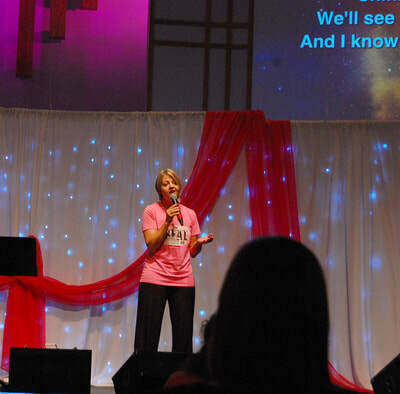 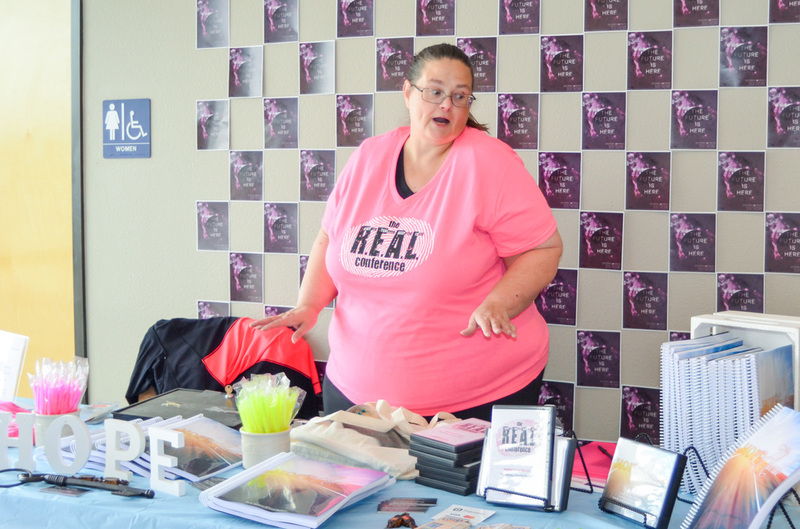 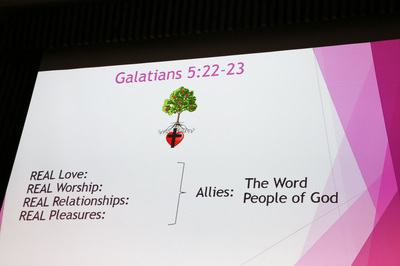 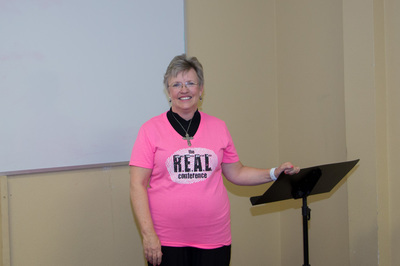 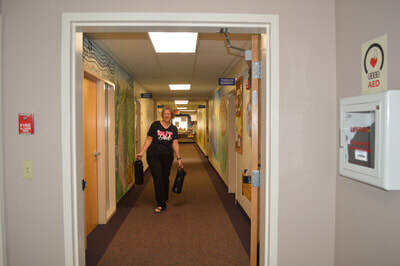 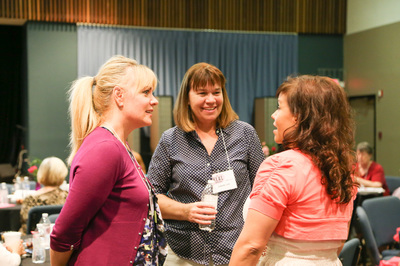 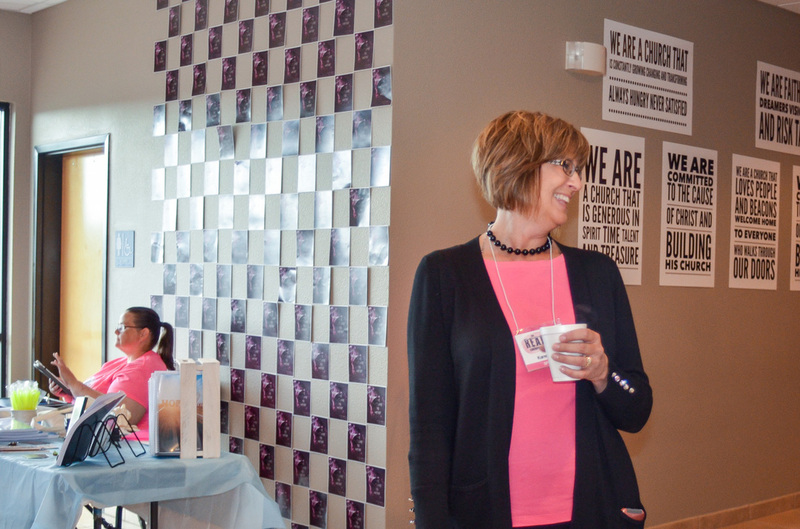 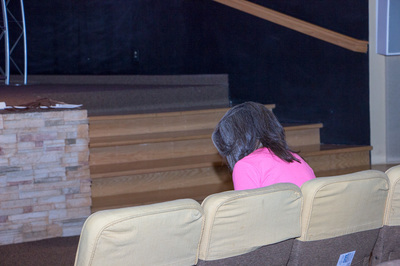 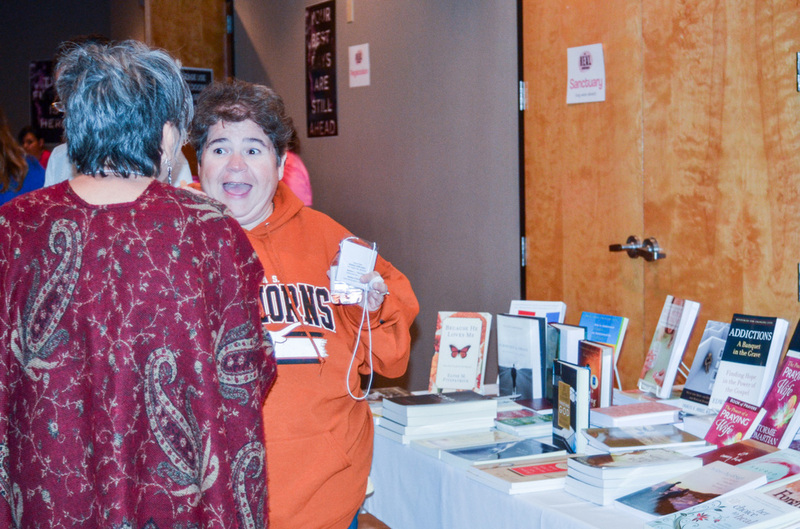 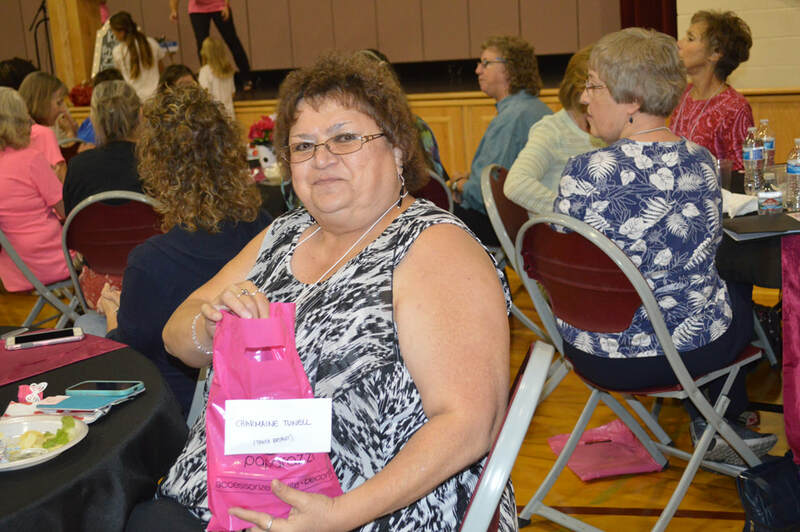 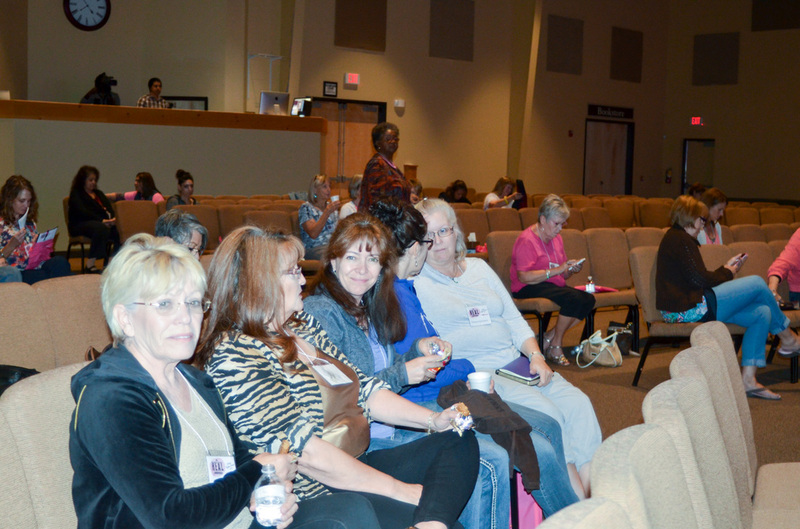 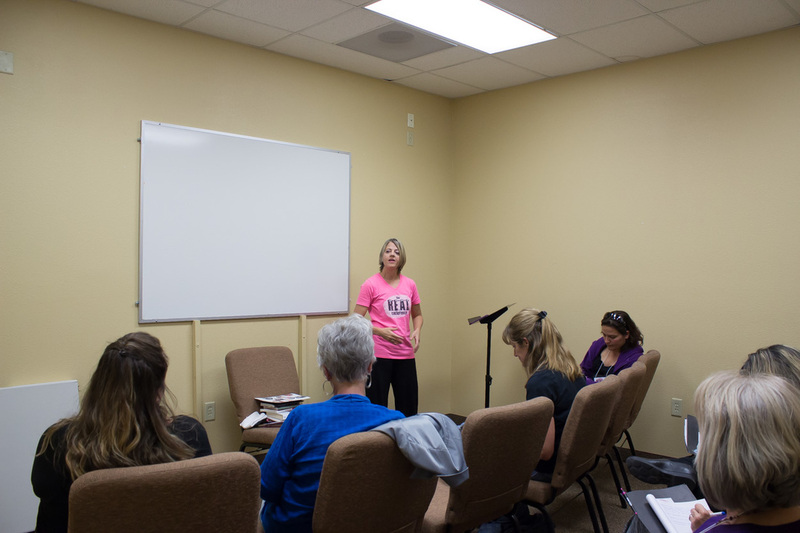 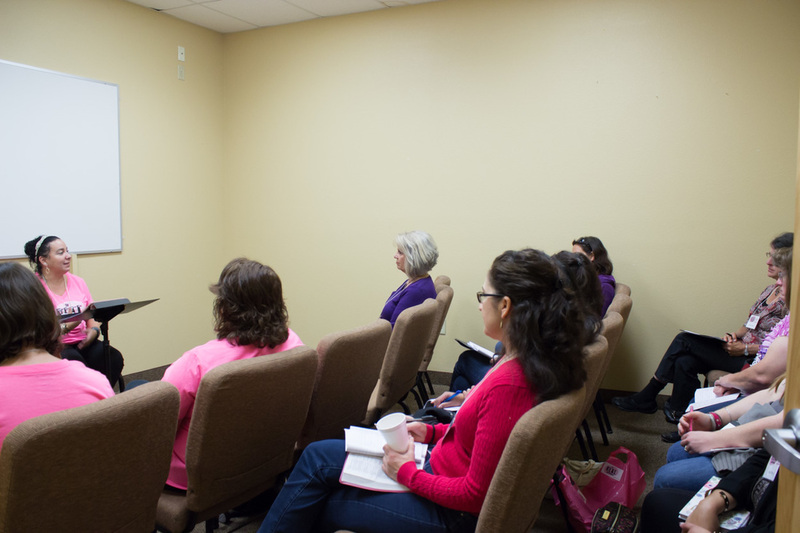 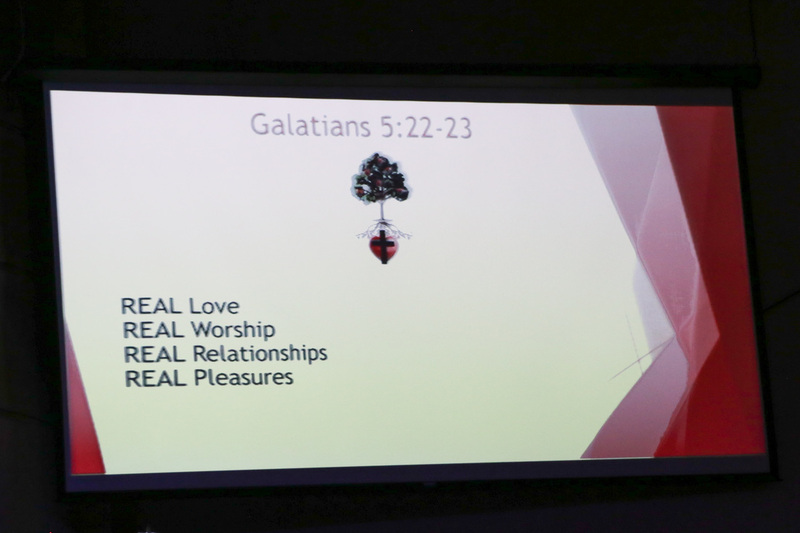 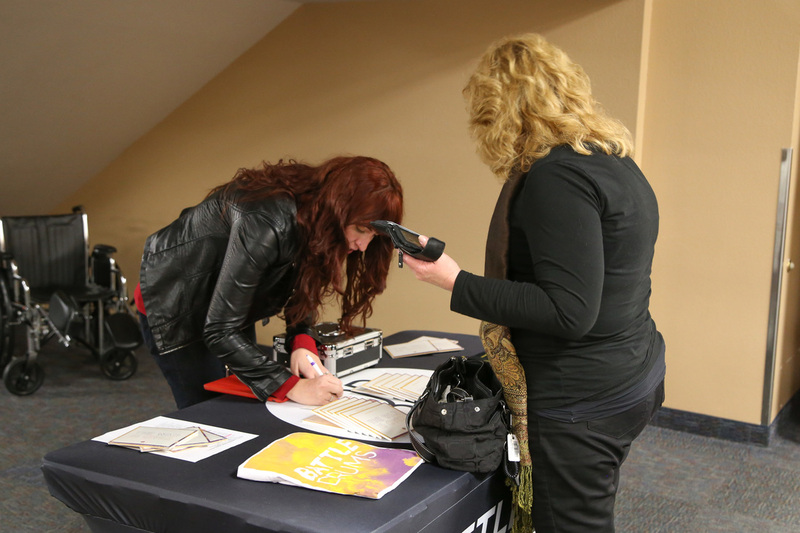 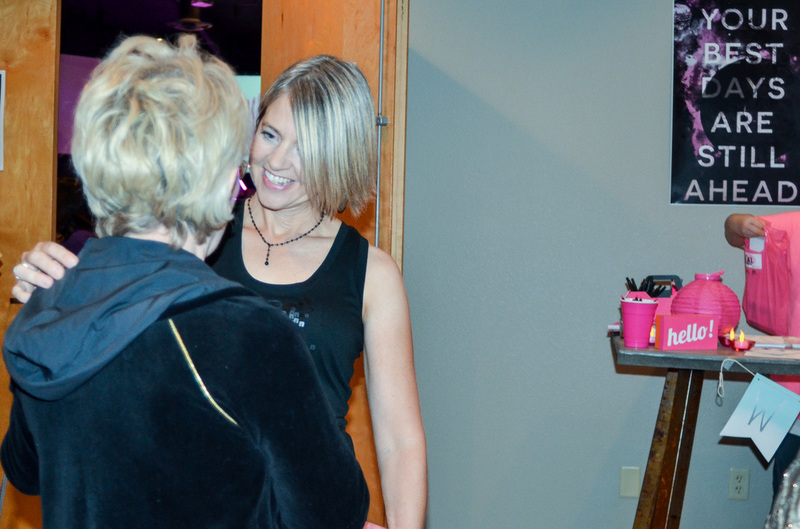 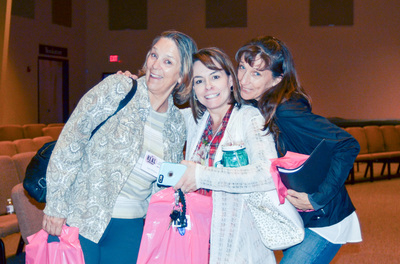 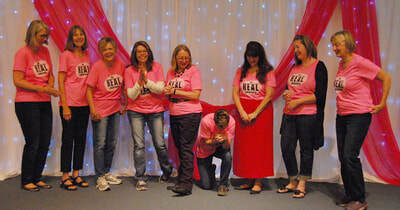 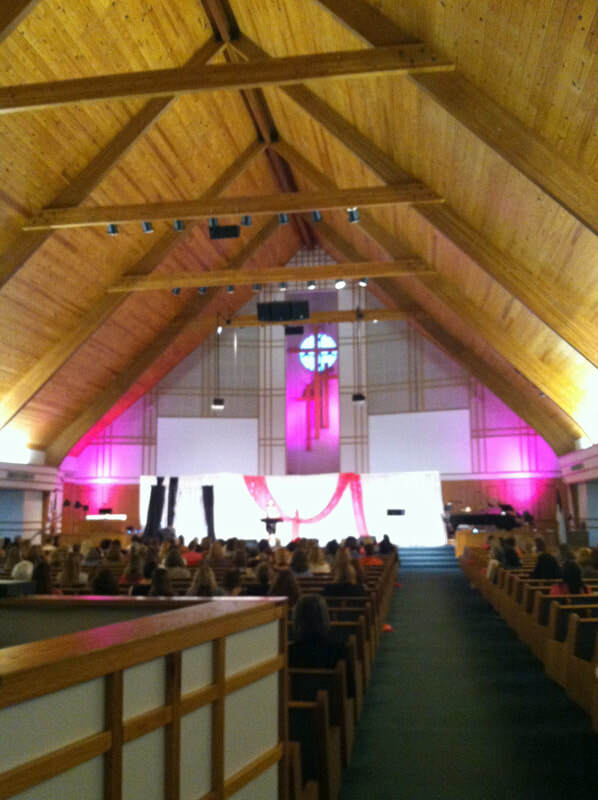 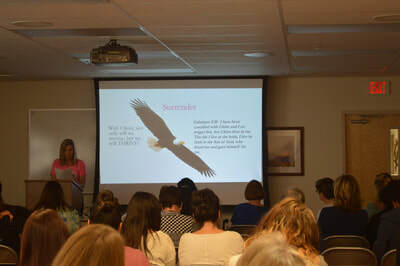 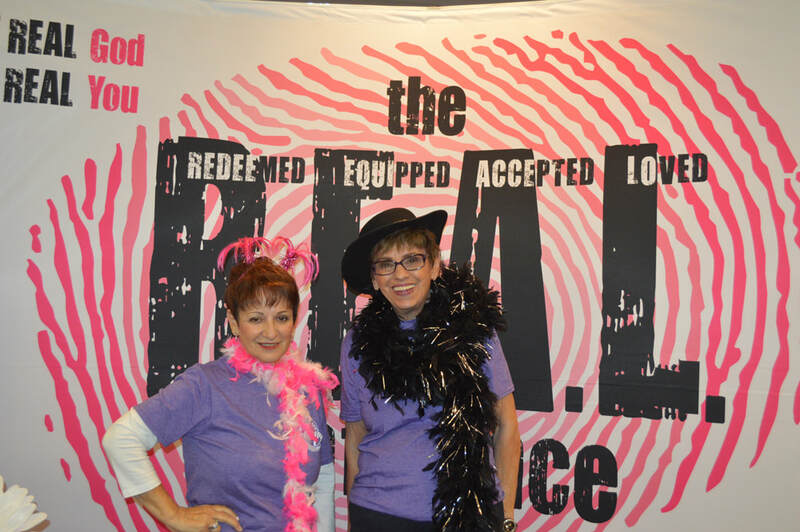 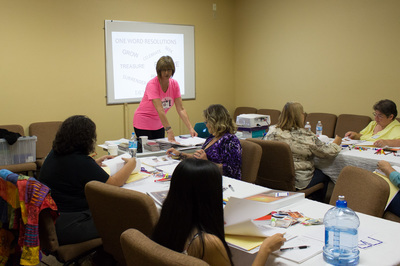 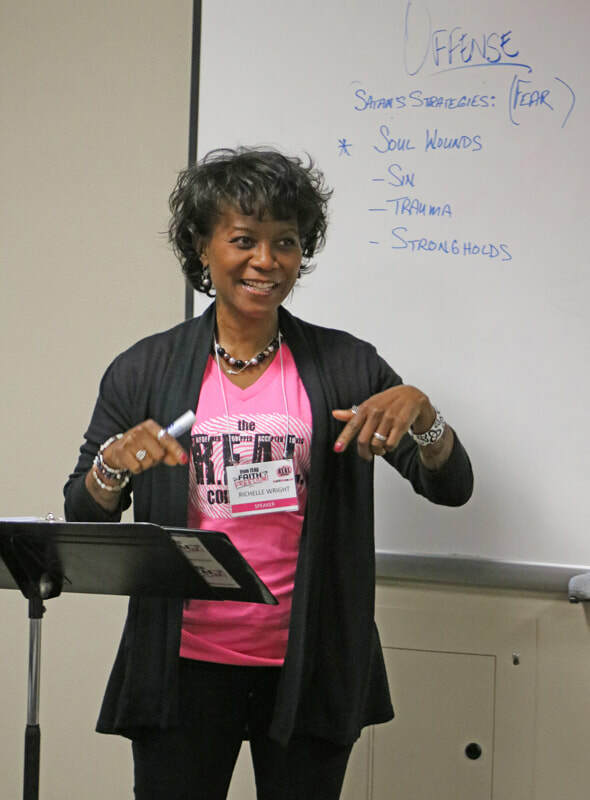 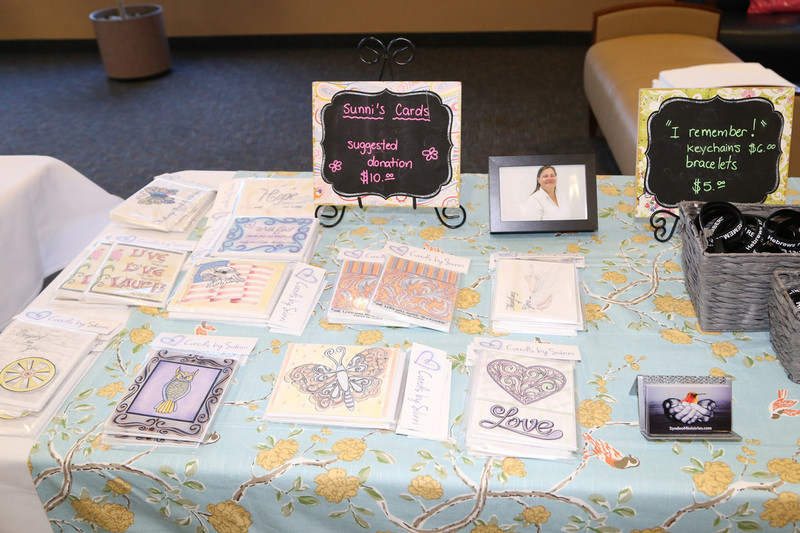 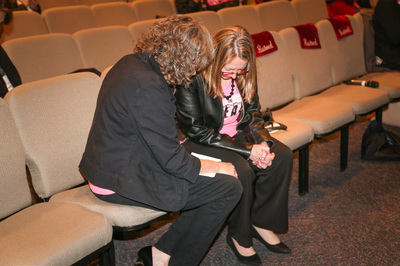 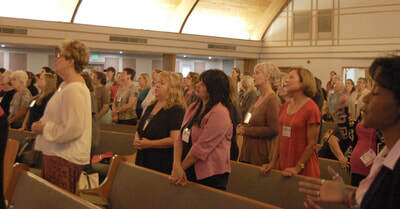 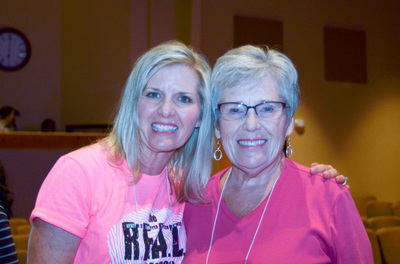 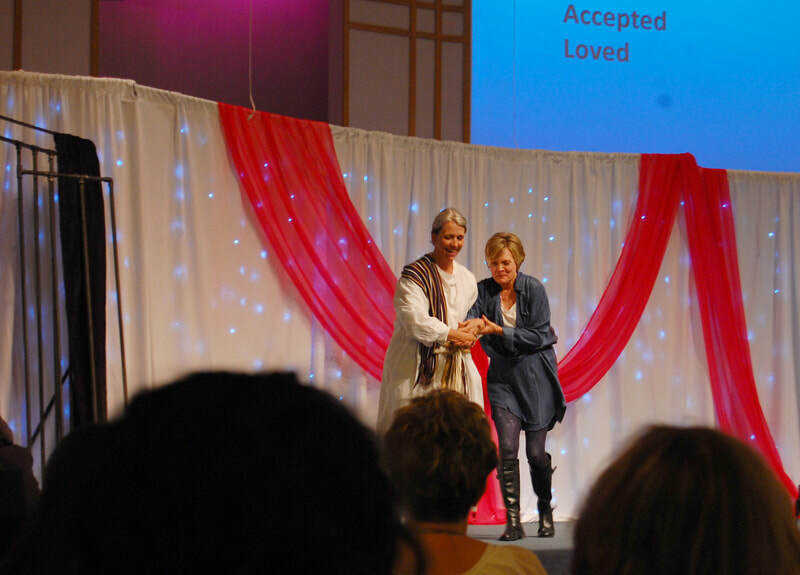 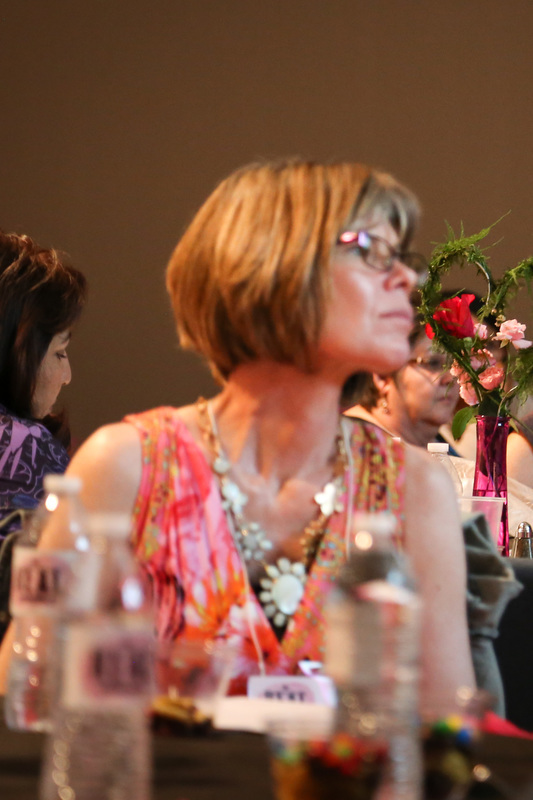 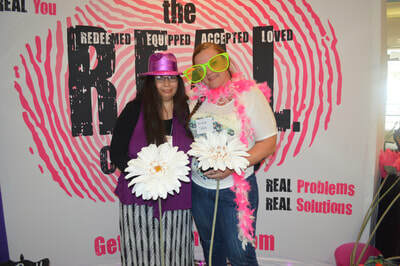 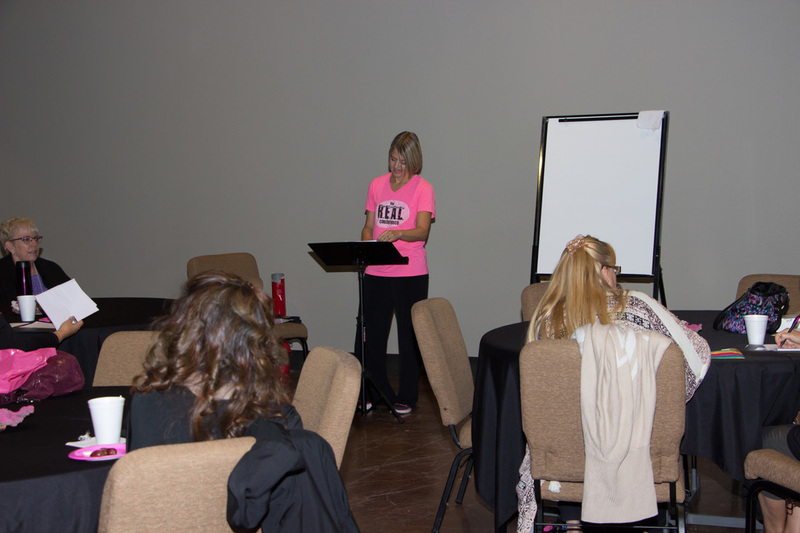 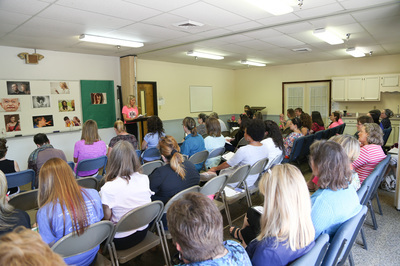 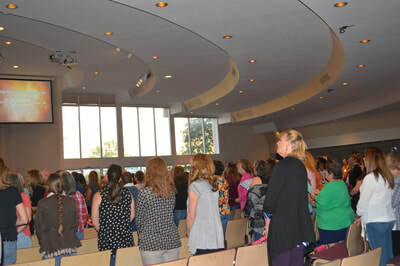 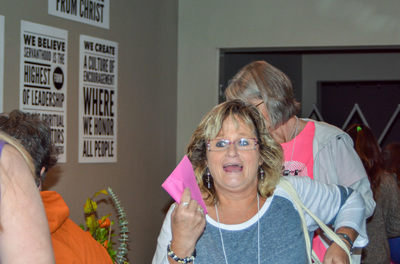 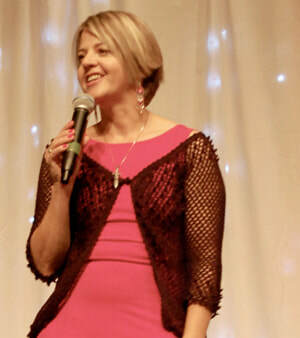 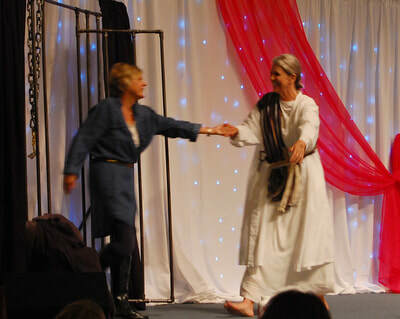 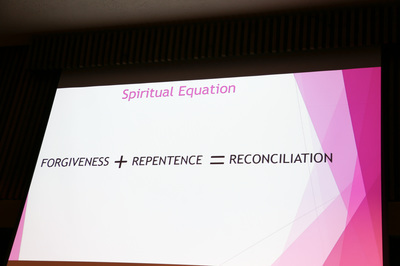 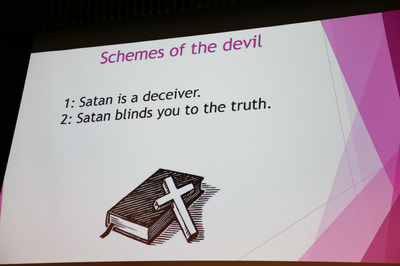 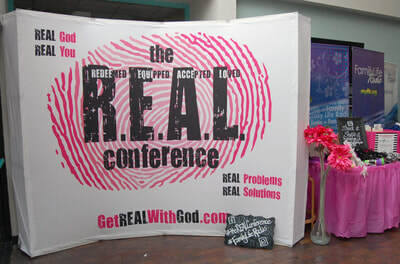 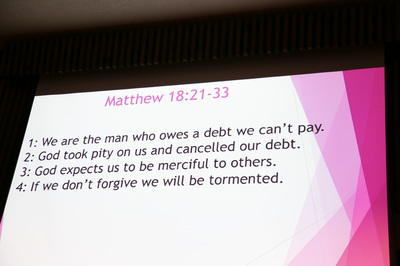 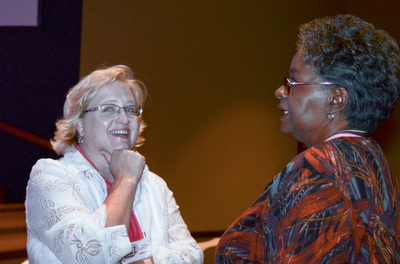 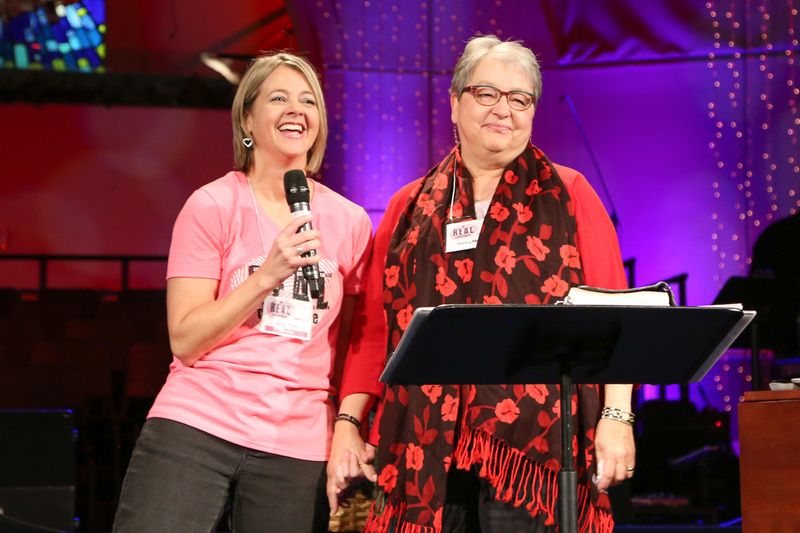 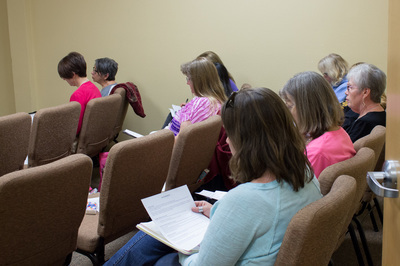 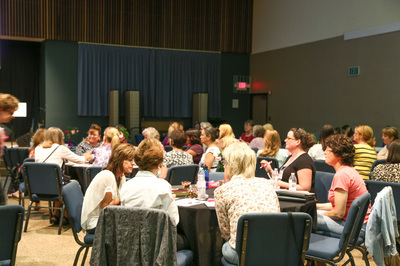 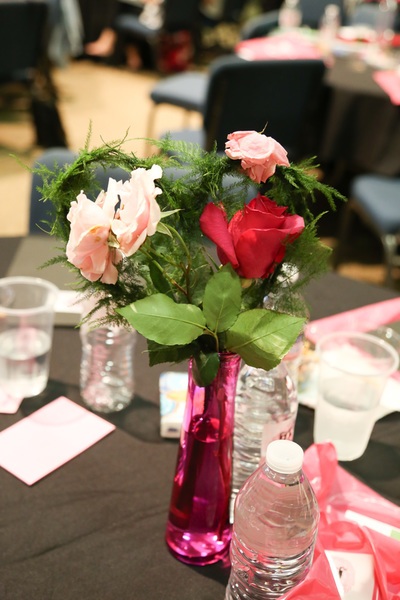 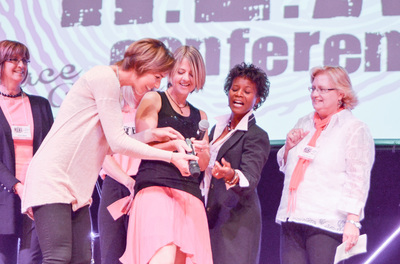 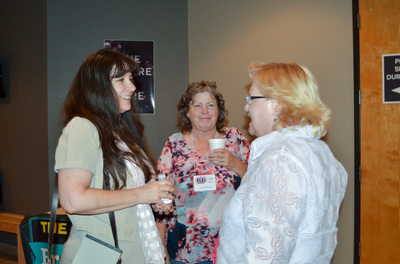 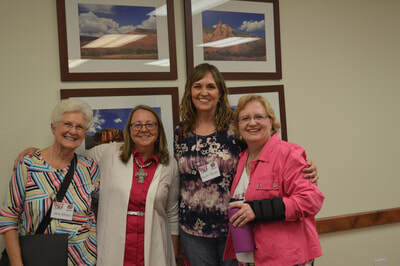 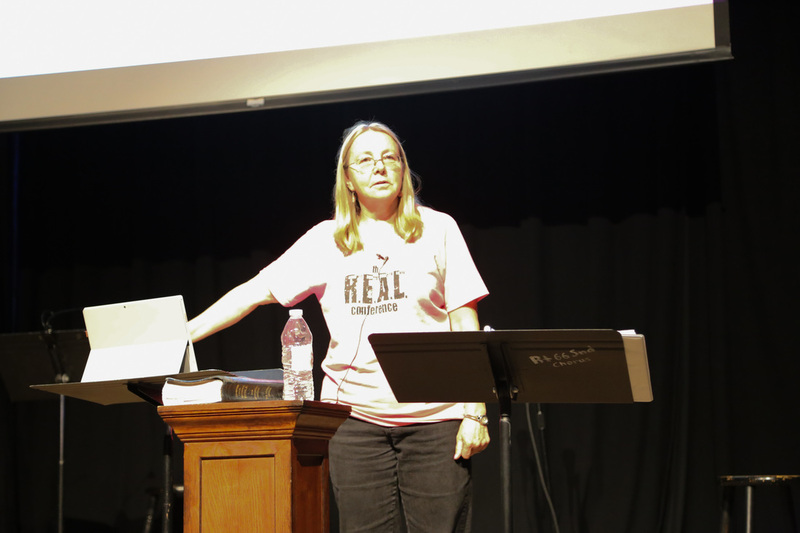 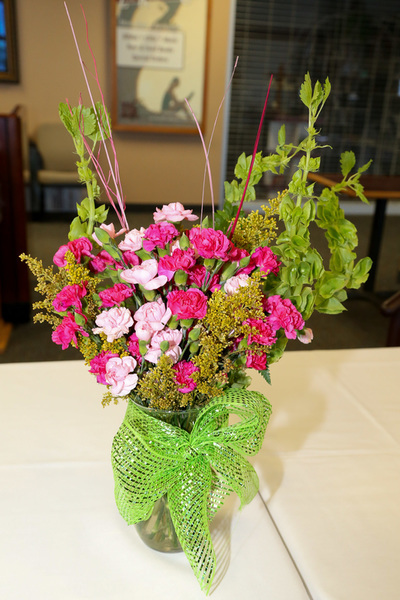 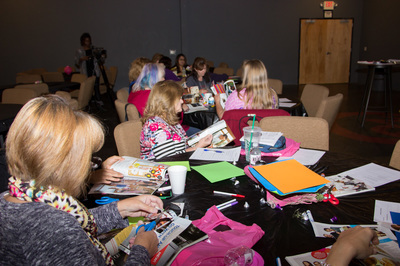 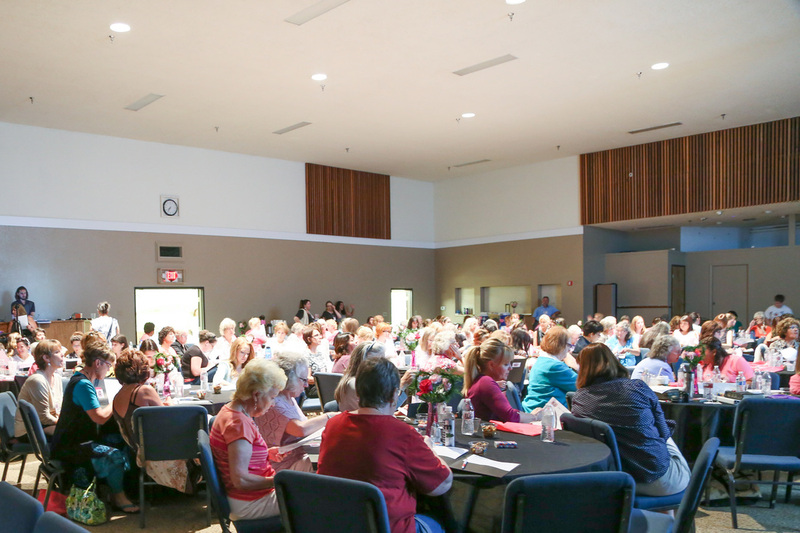 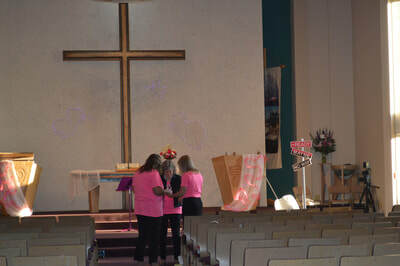 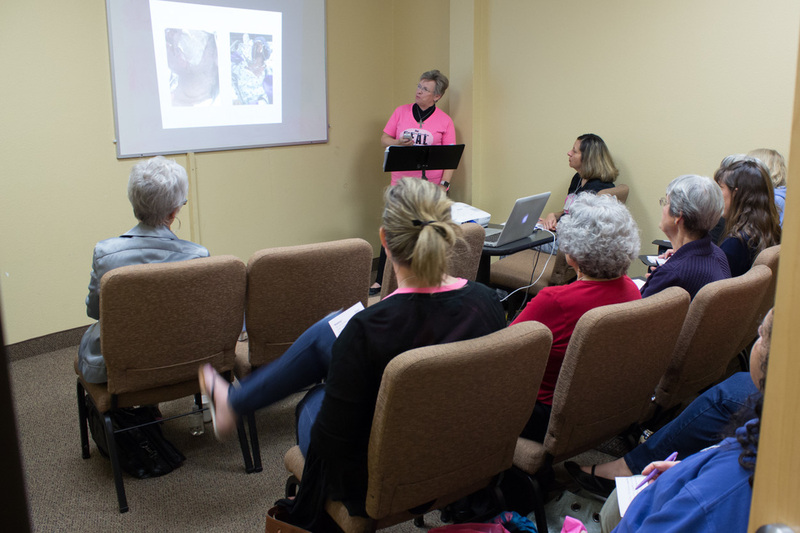 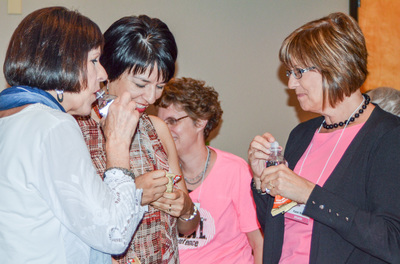 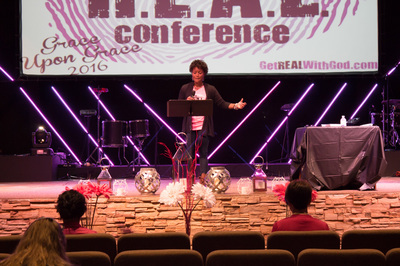 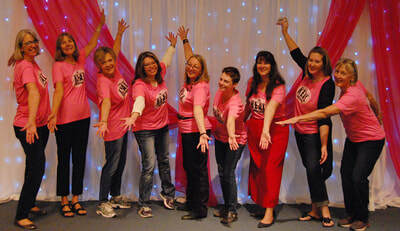 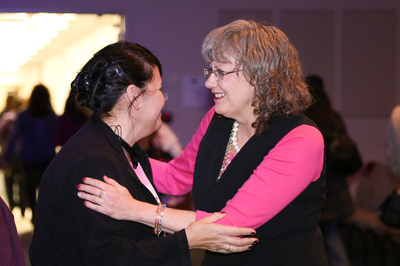 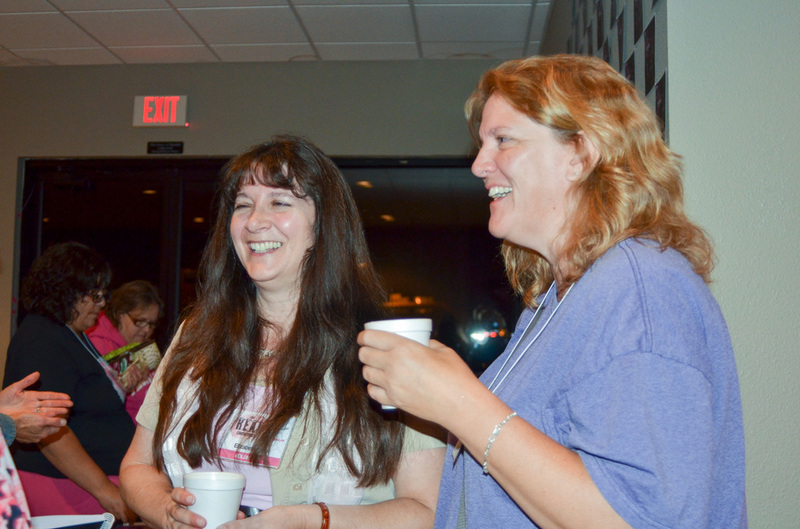 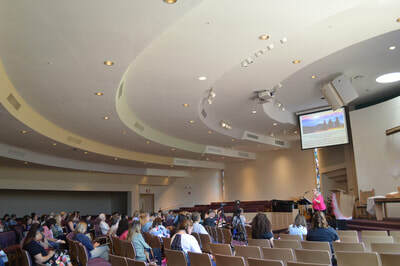 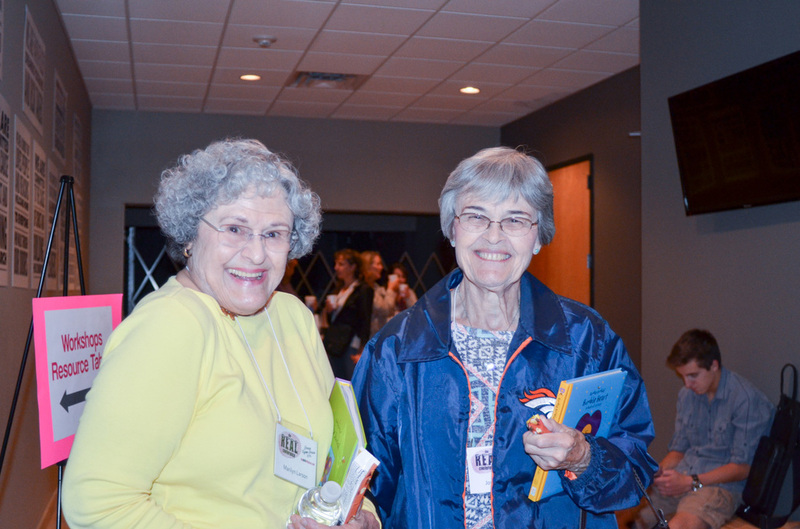 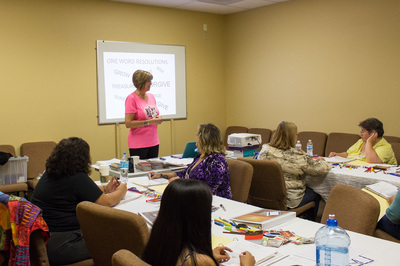 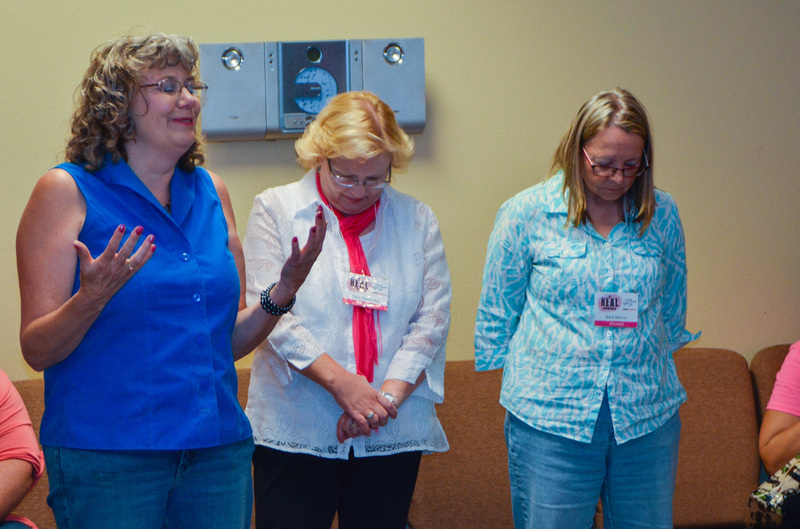 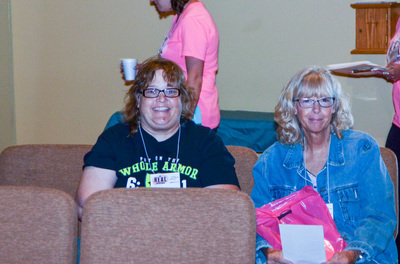 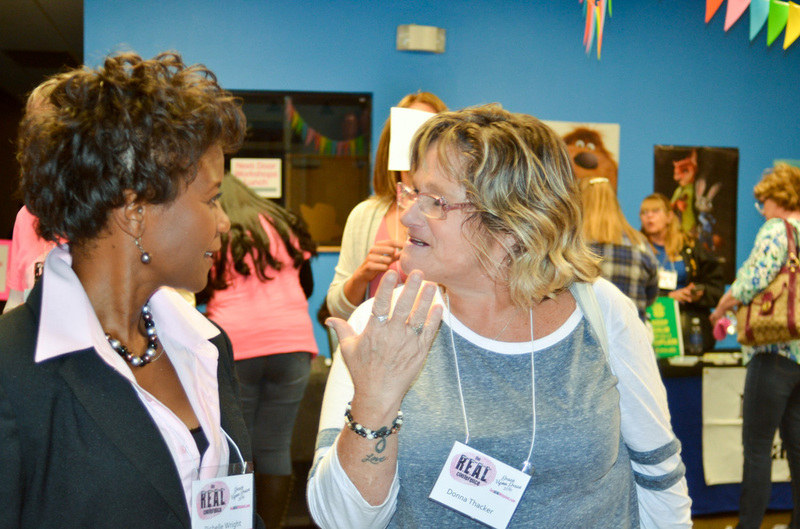 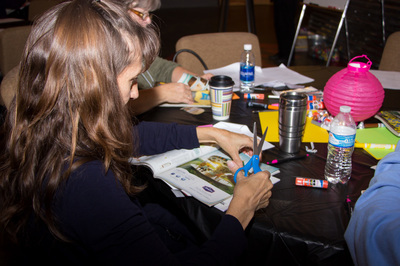 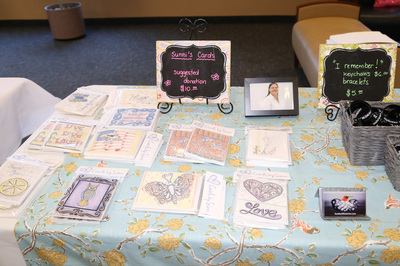 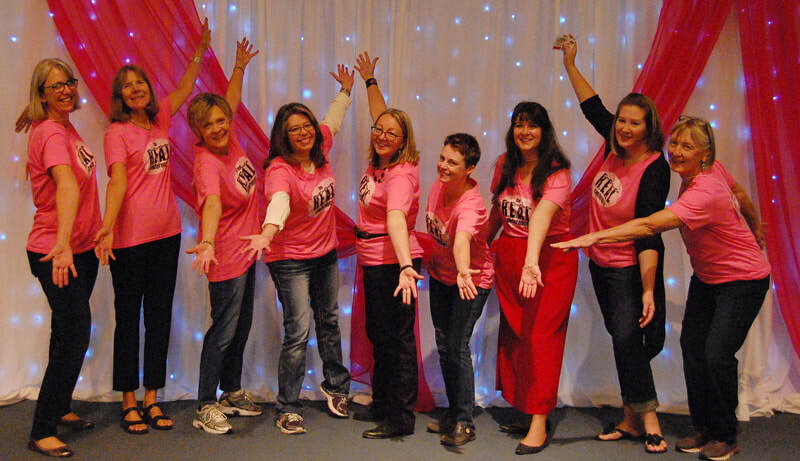 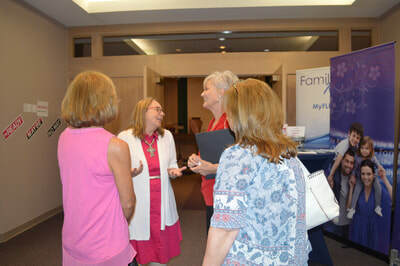 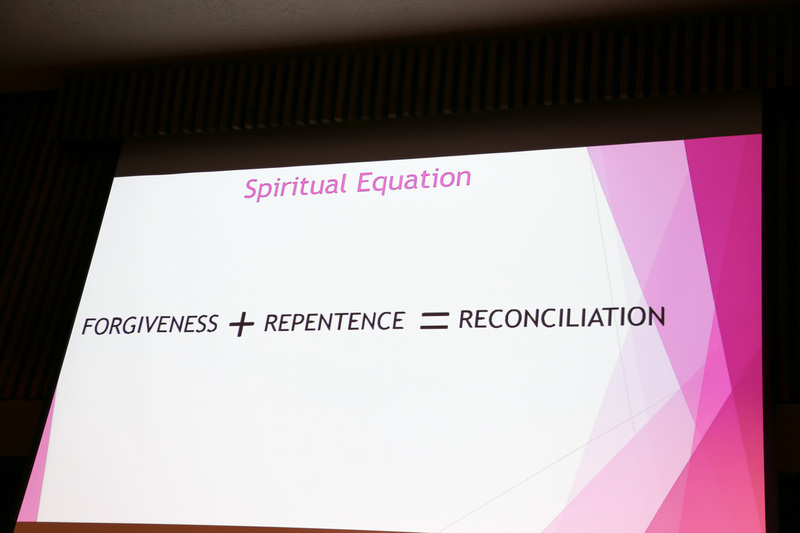 Women got REAL with God, REAL with each other and found healing through Barb Mulvey's teaching and the Word of God. 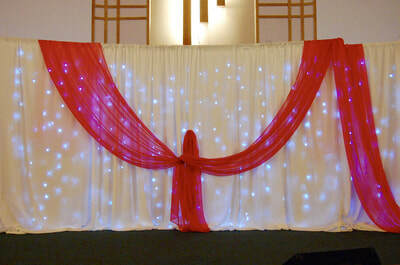 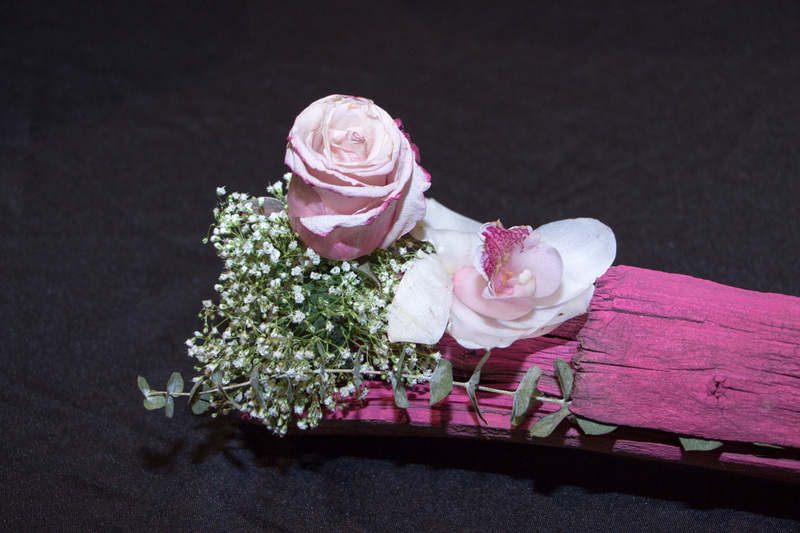 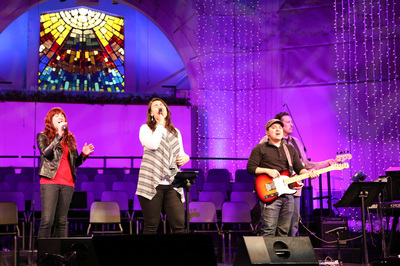 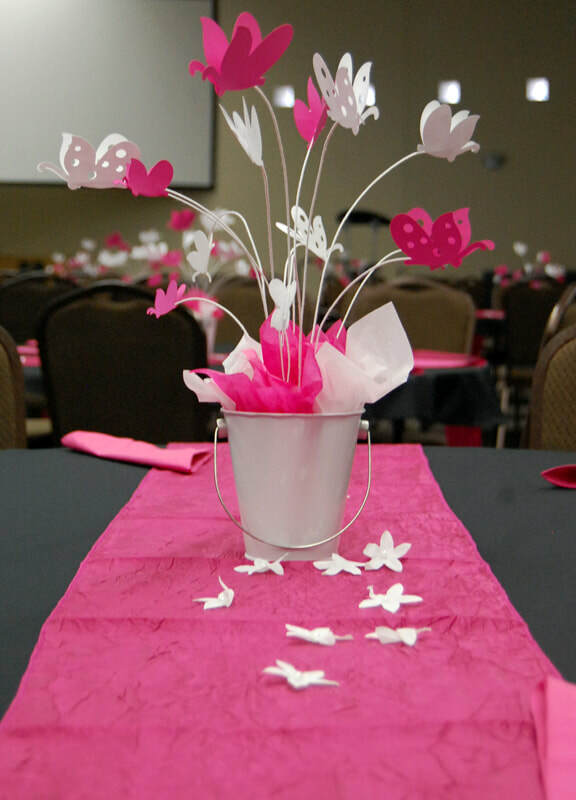 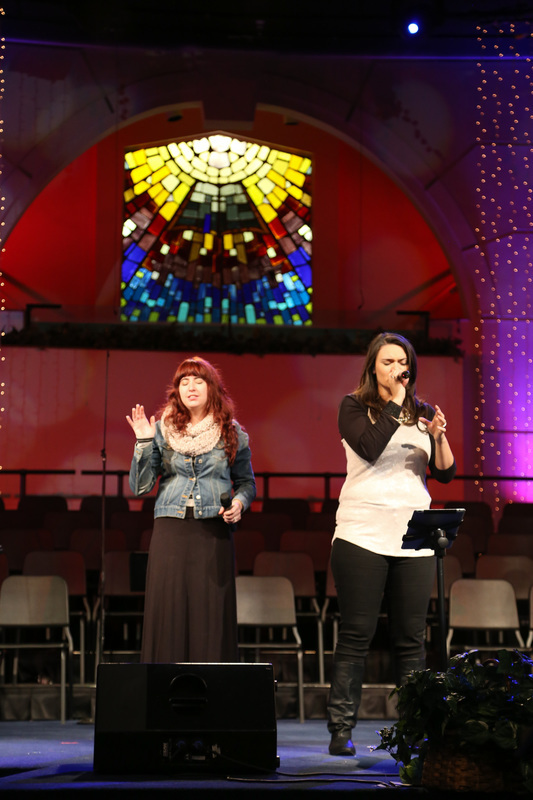 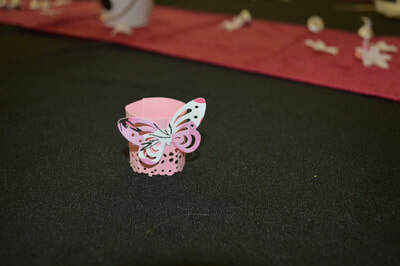 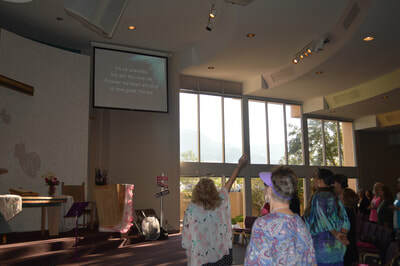 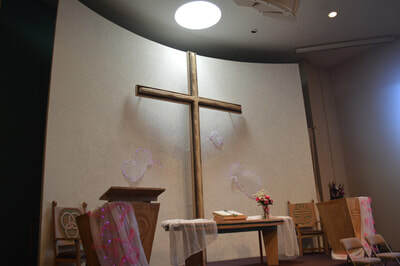 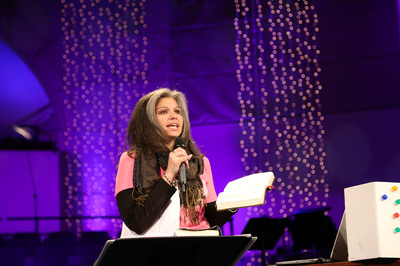 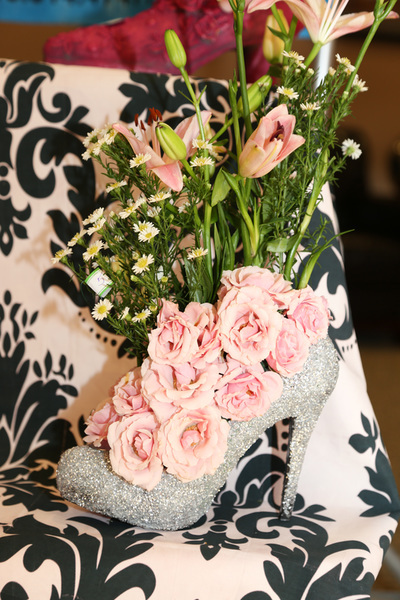 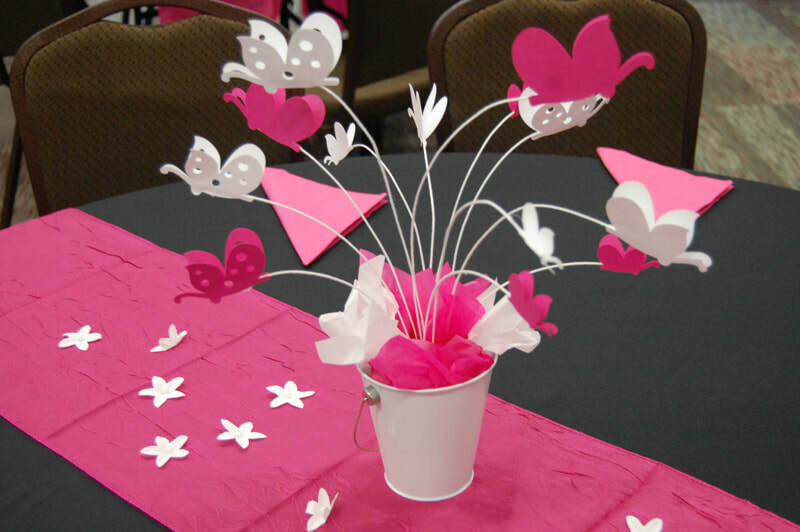 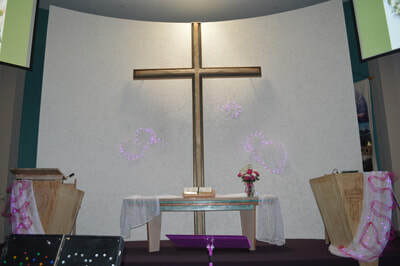 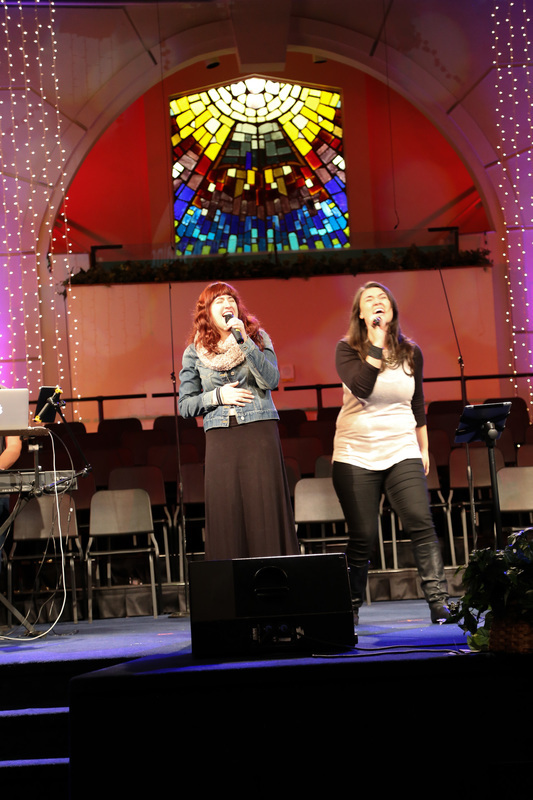 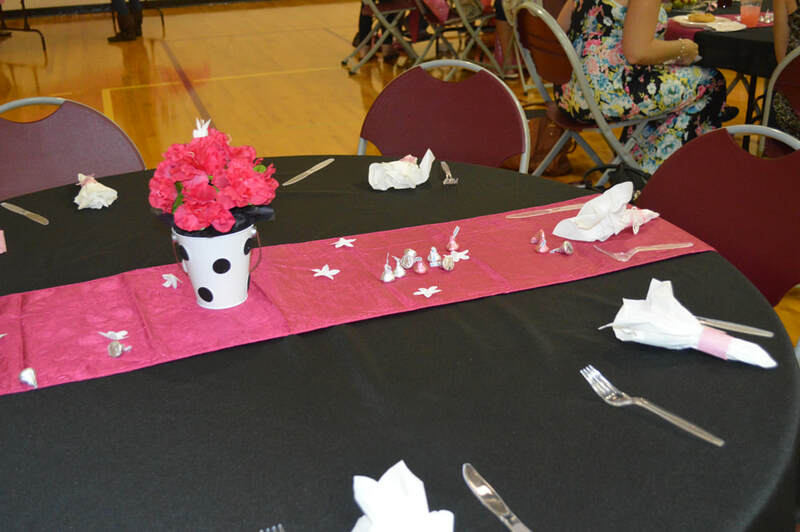 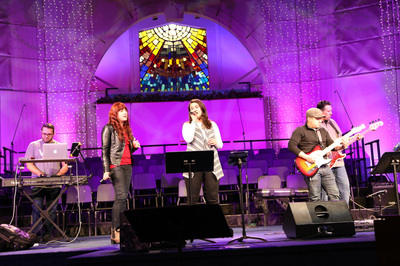 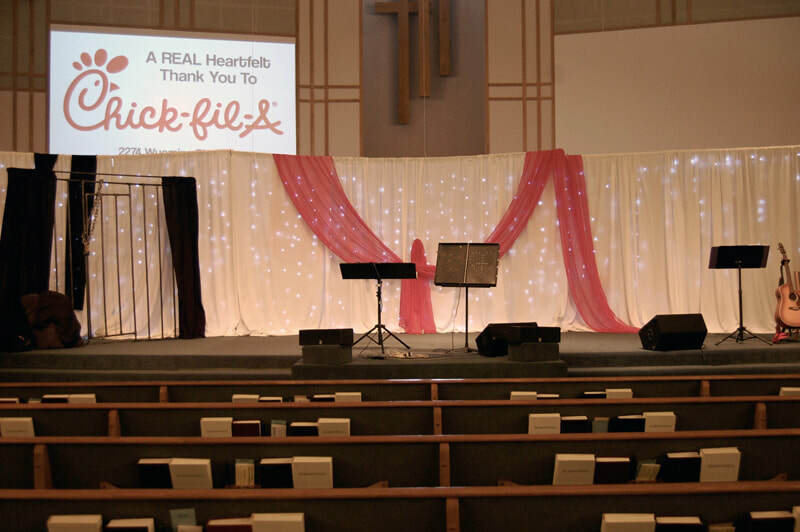 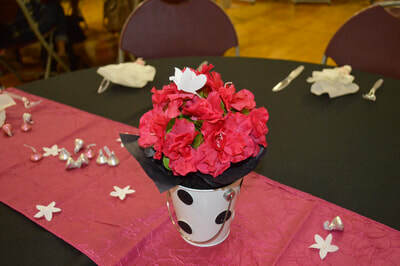 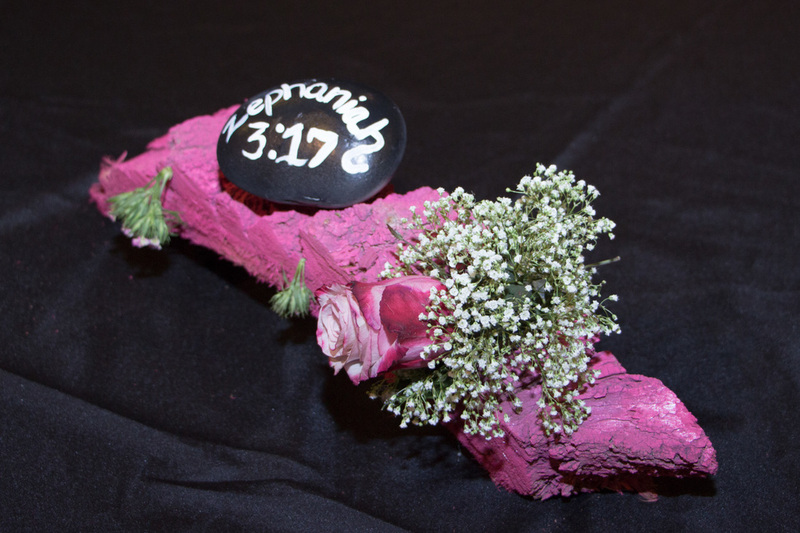 The worship brought us into God's presence, the decorations were exquisite and the breakout sessions were inspirational.